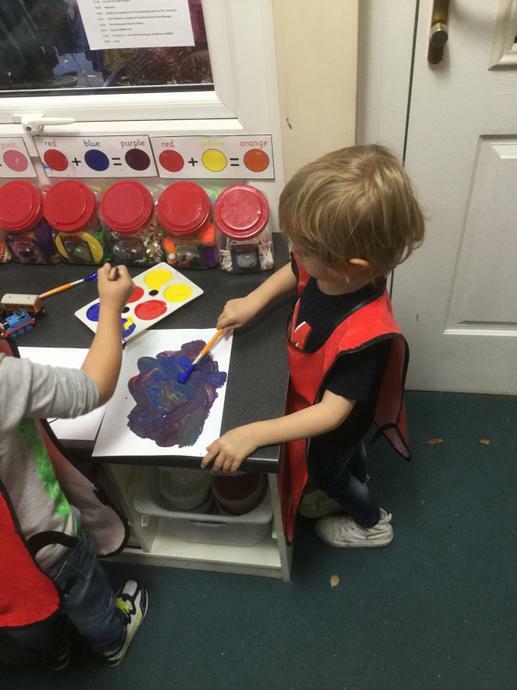 Welcome to the First Steps Pre-school page. 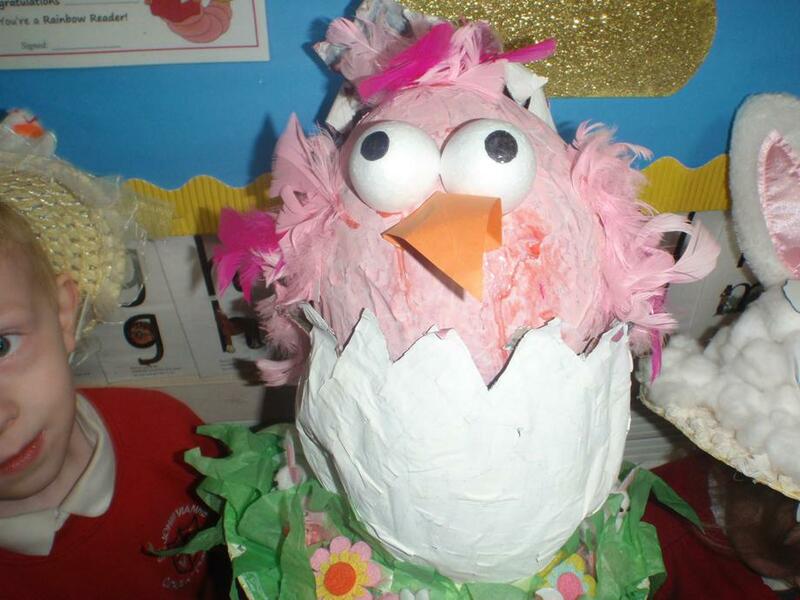 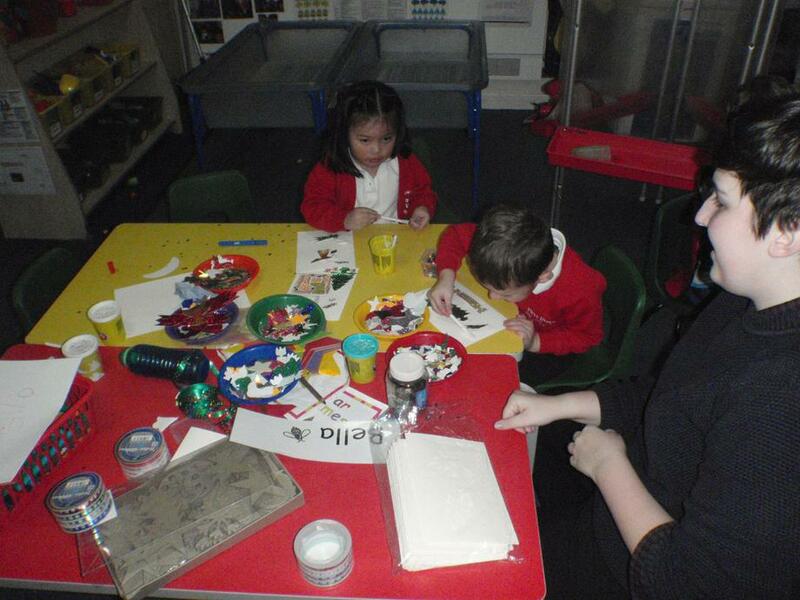 The lead practitioner is Mrs Milner. 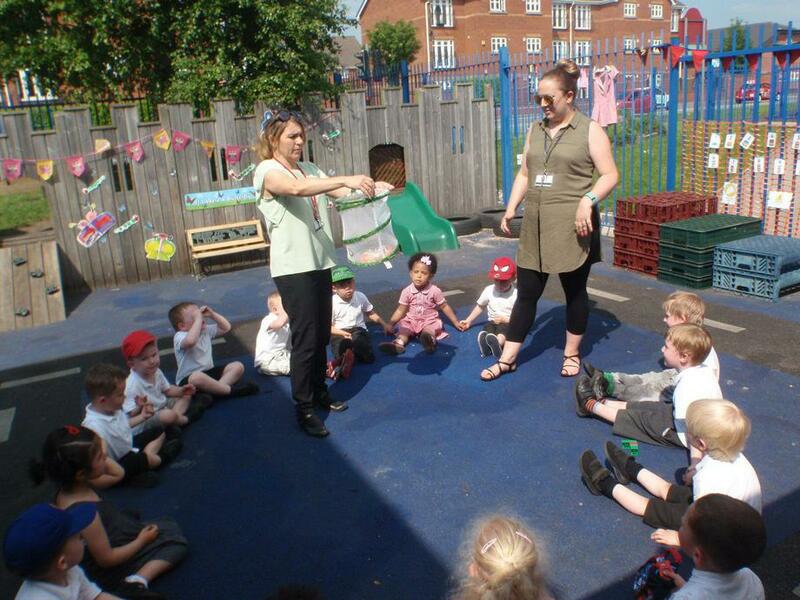 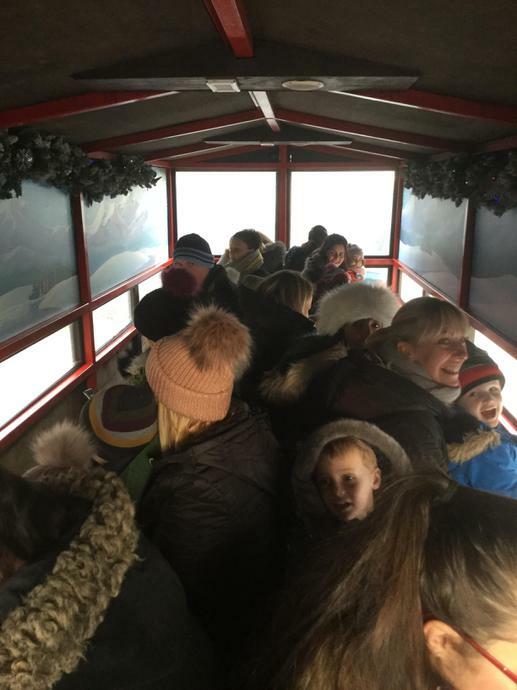 The support practitioners are Mrs Hockenhull and Mrs Walker. 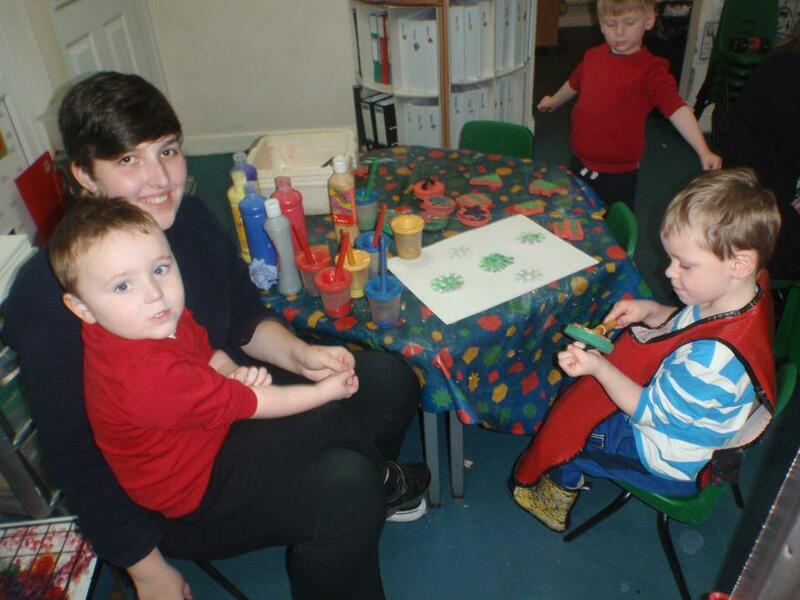 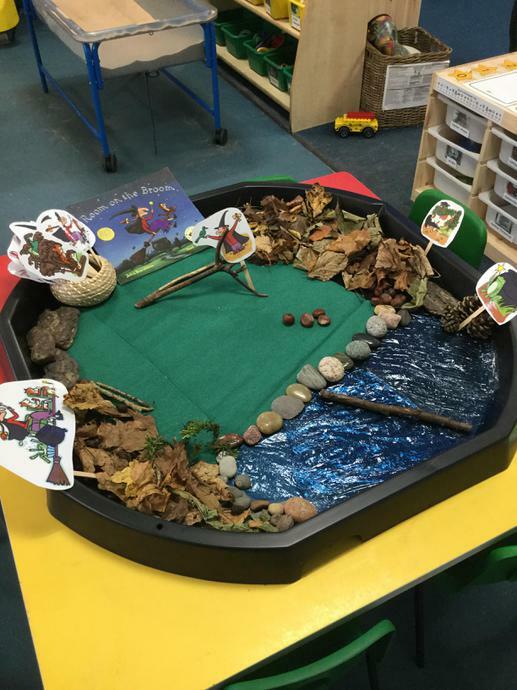 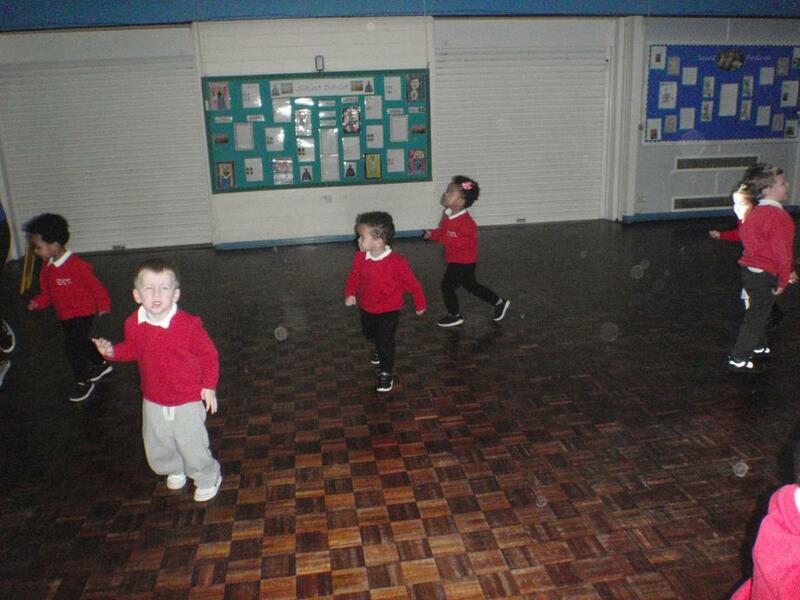 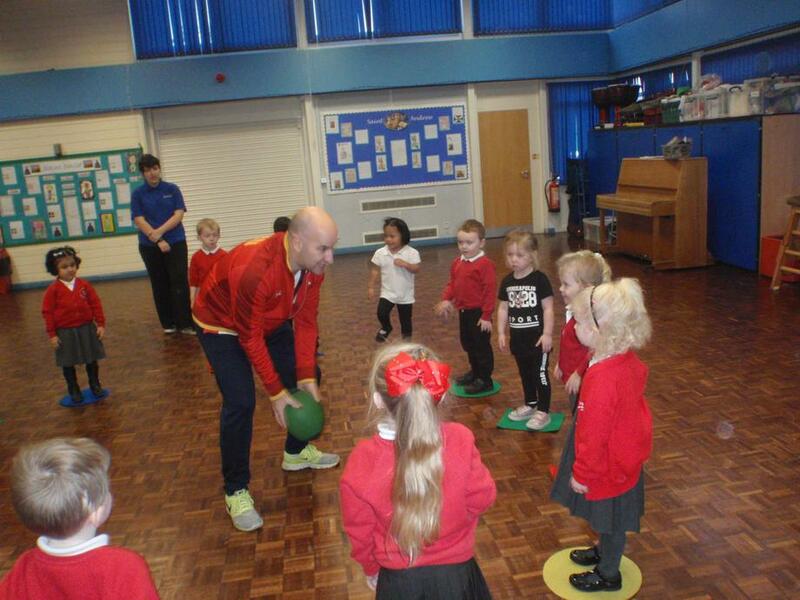 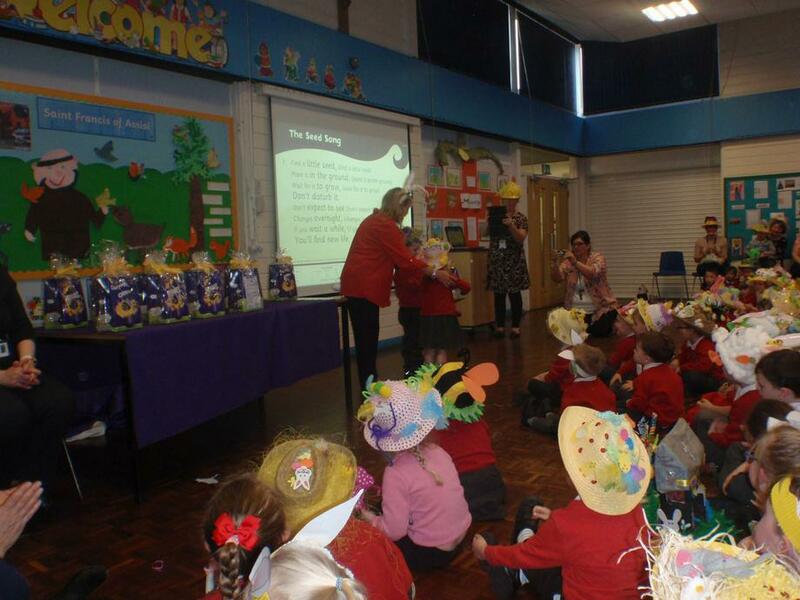 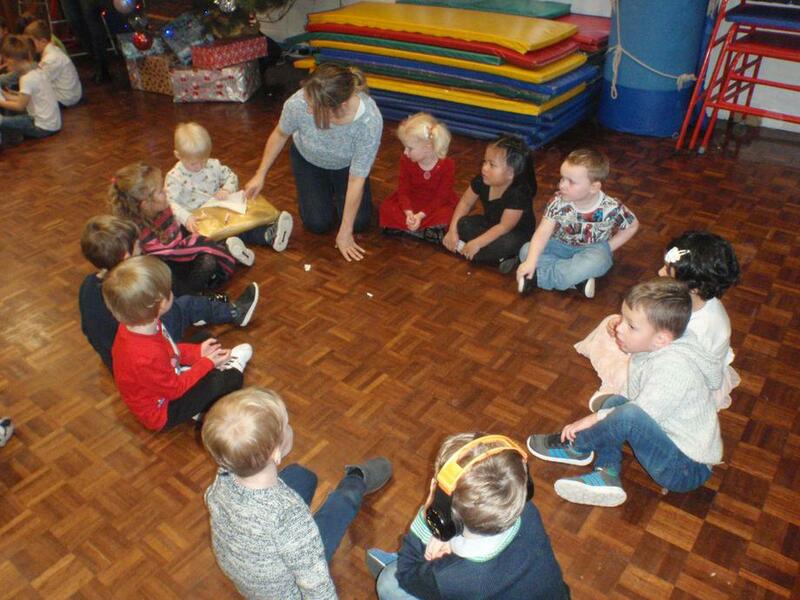 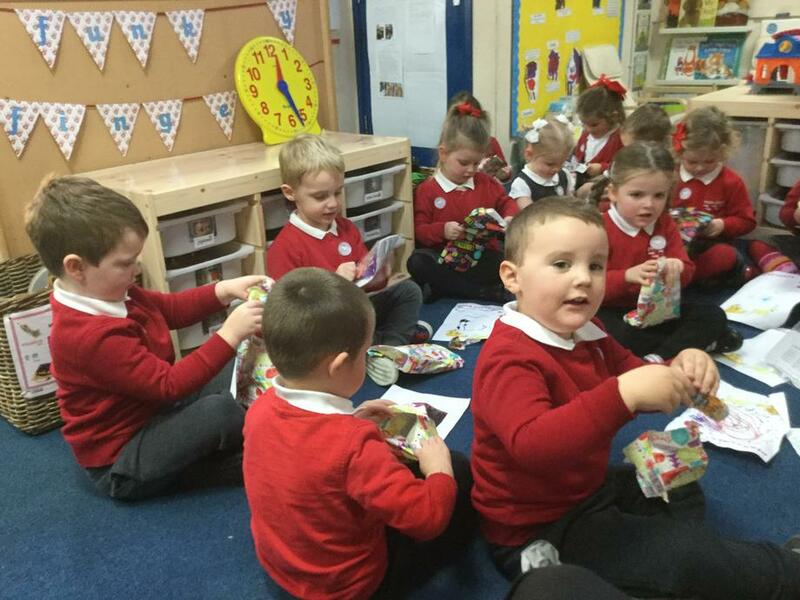 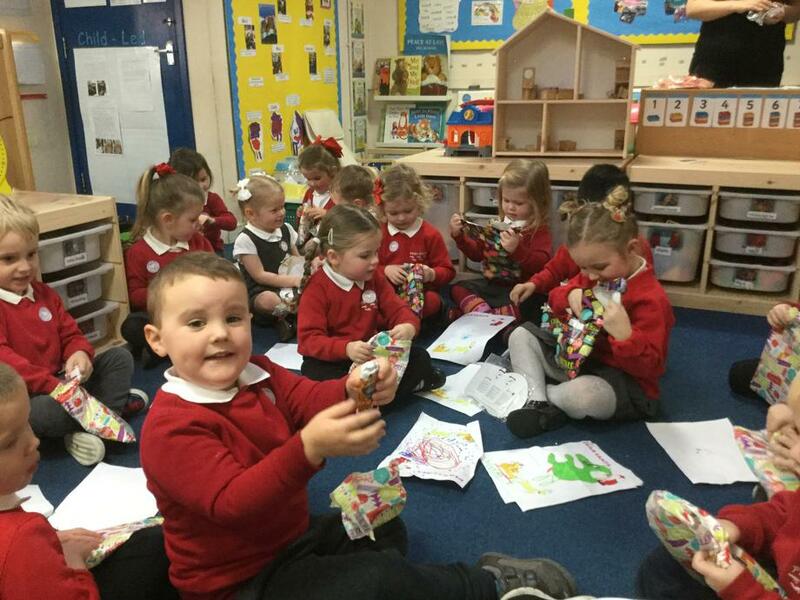 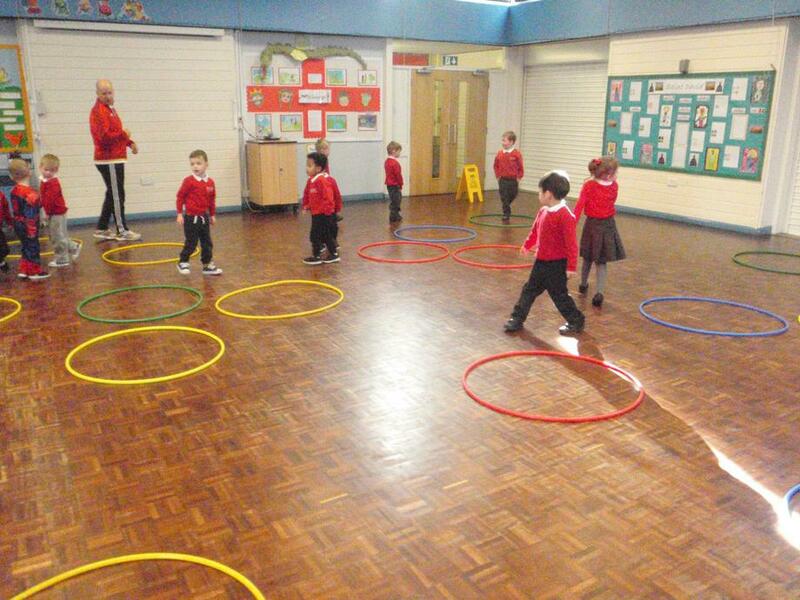 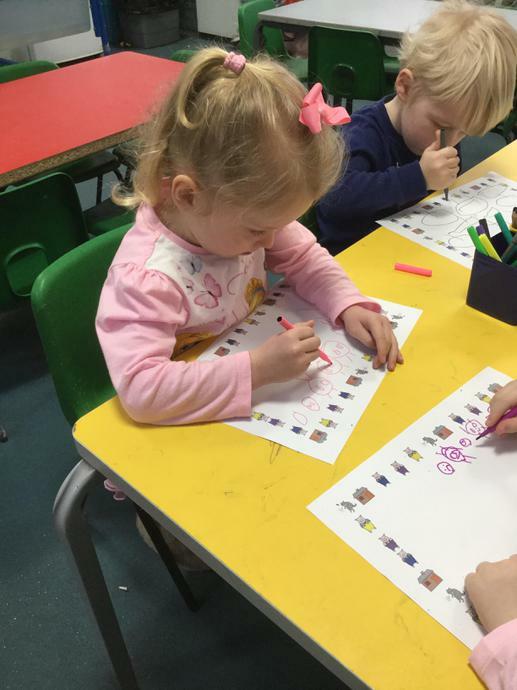 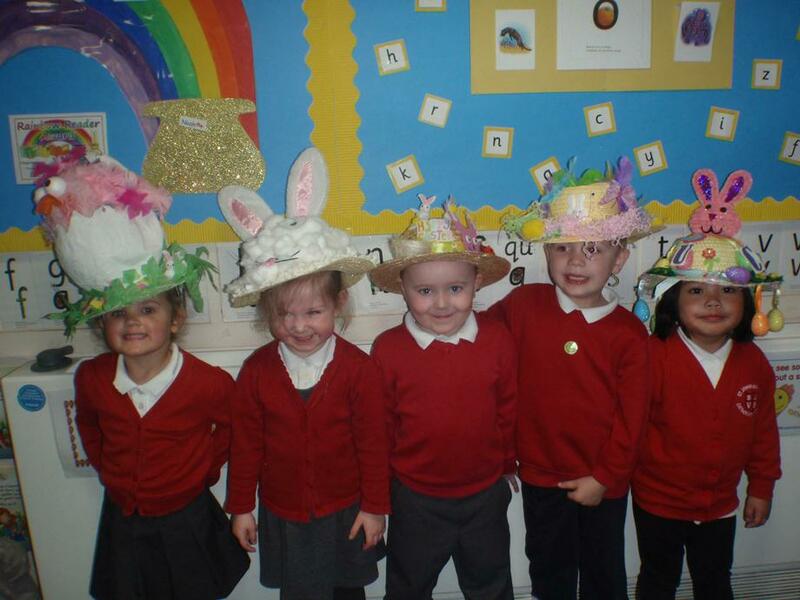 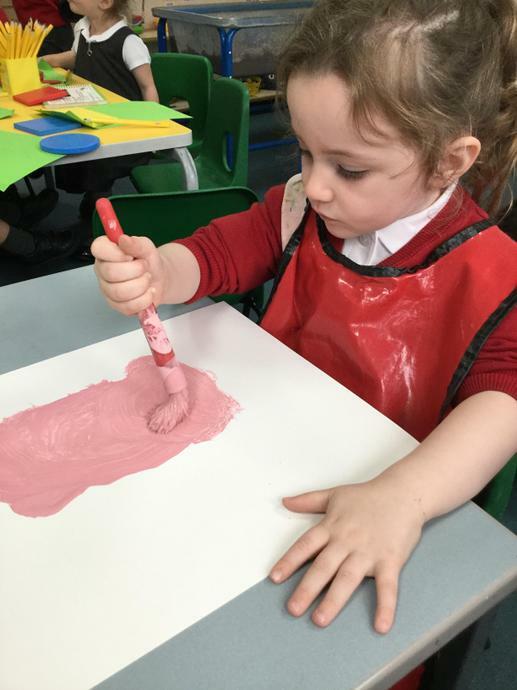 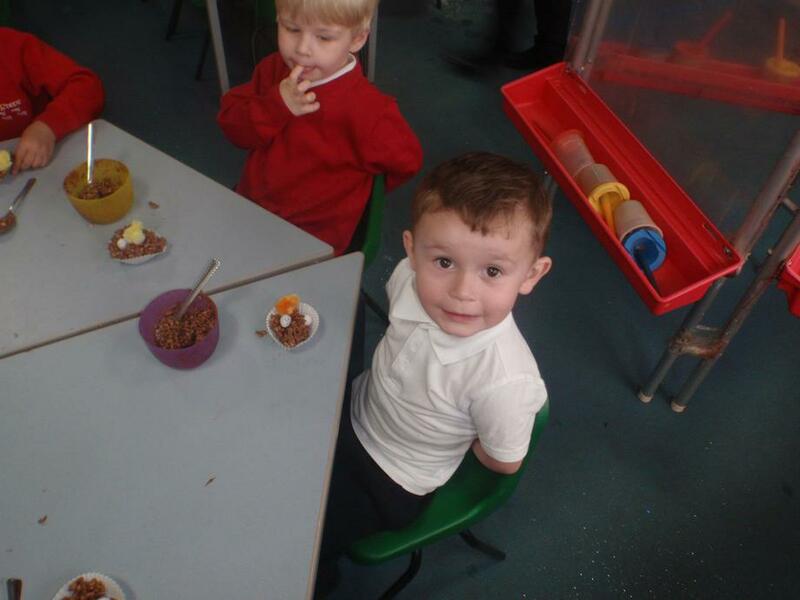 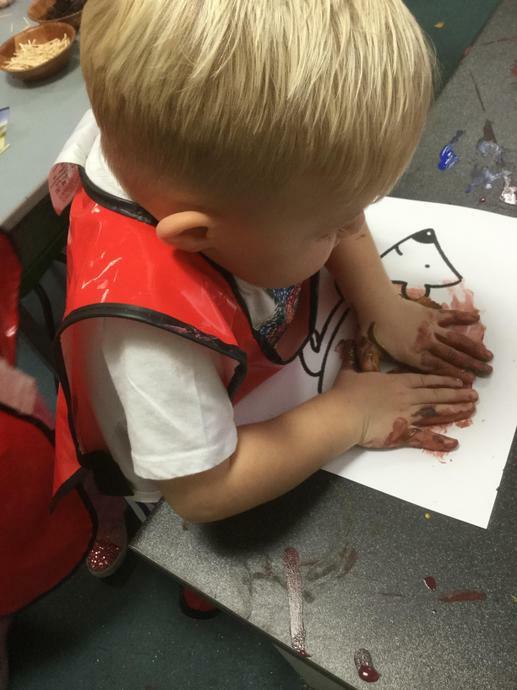 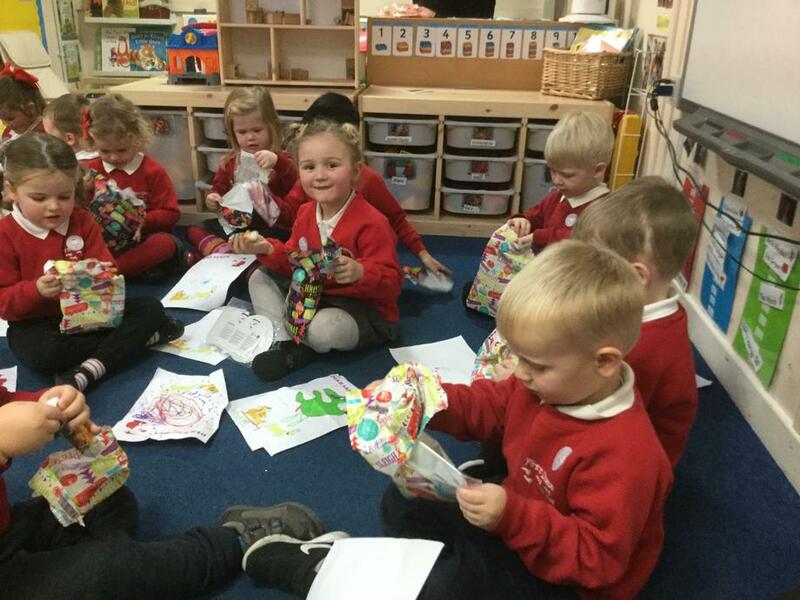 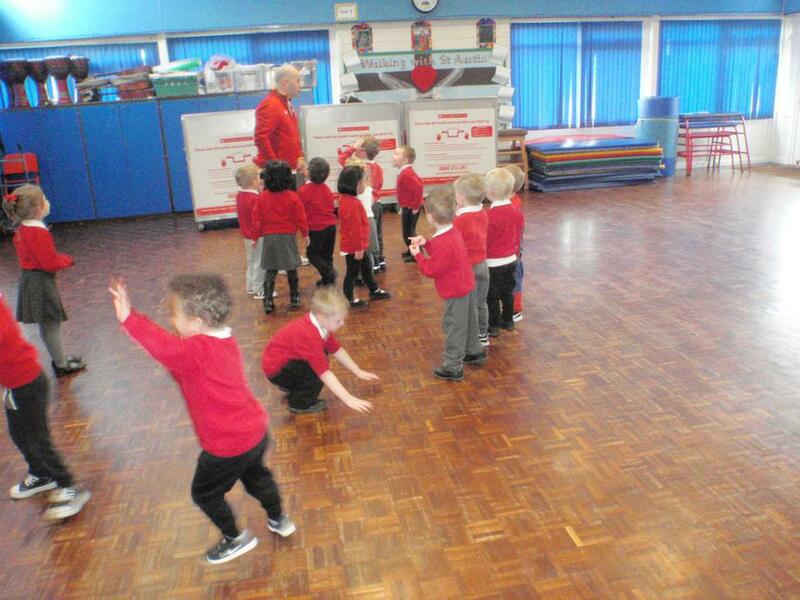 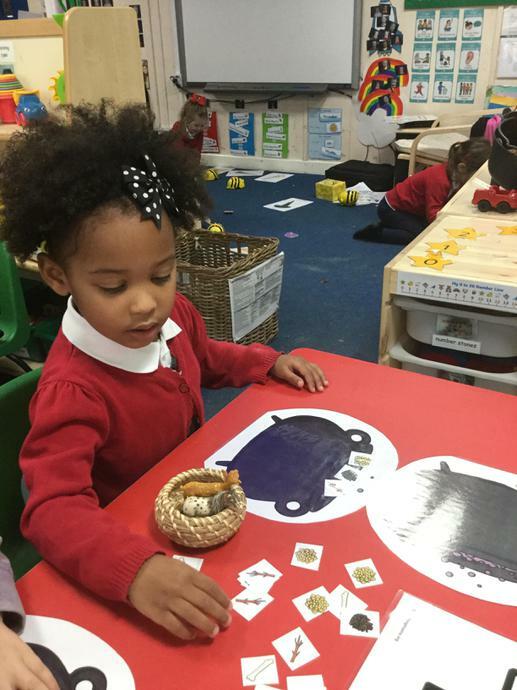 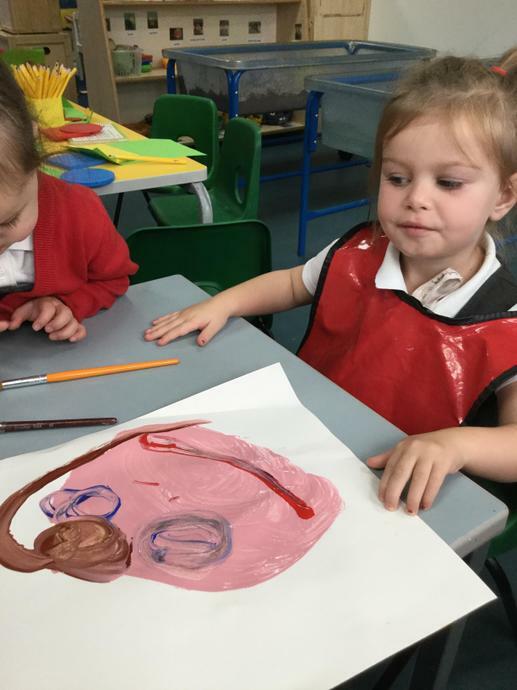 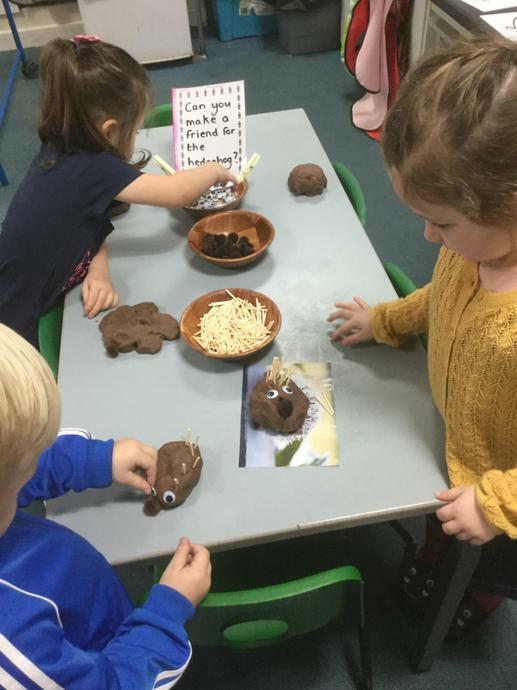 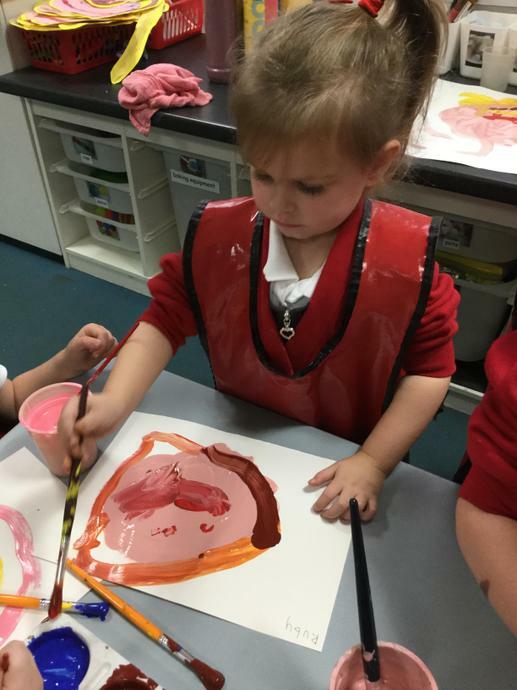 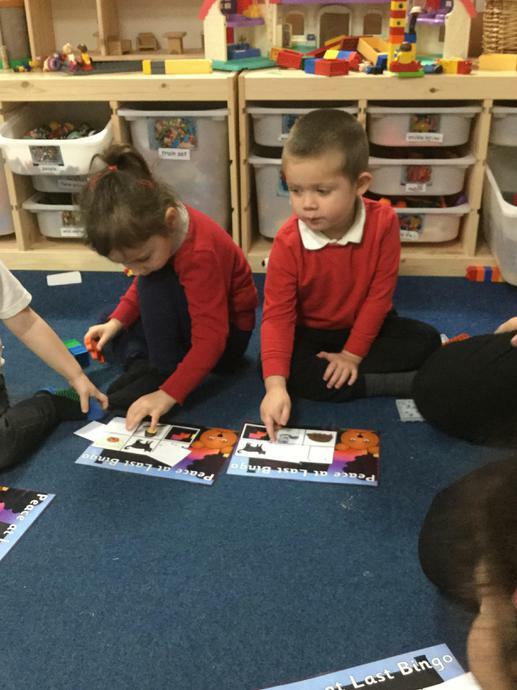 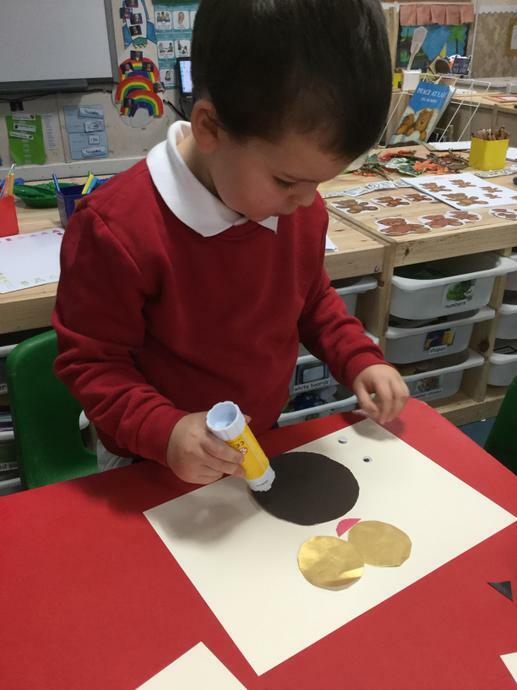 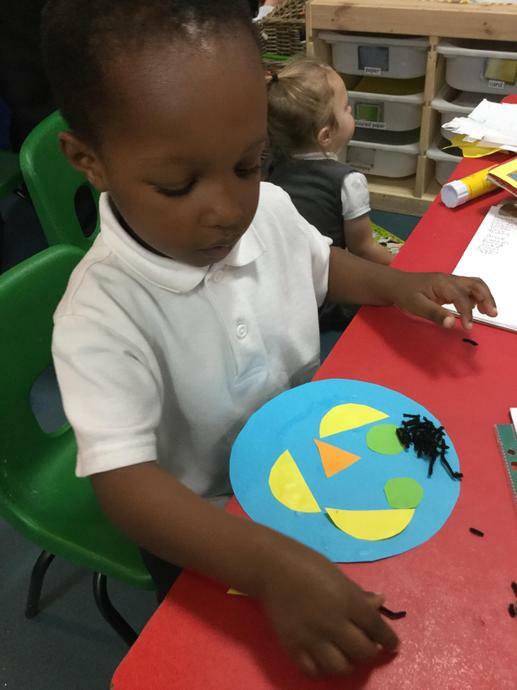 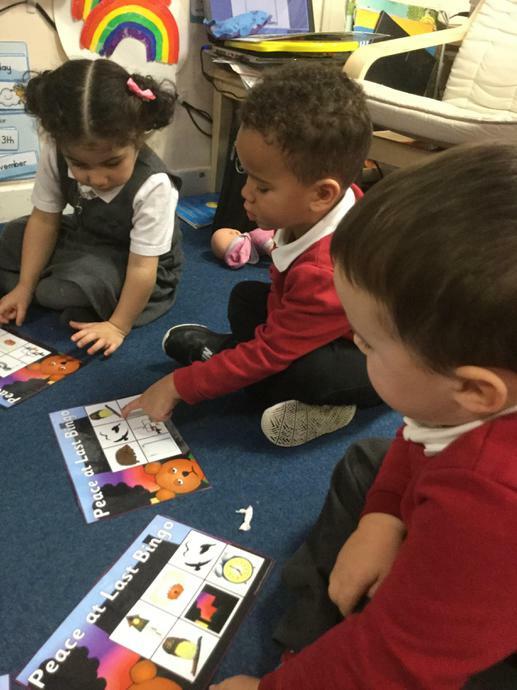 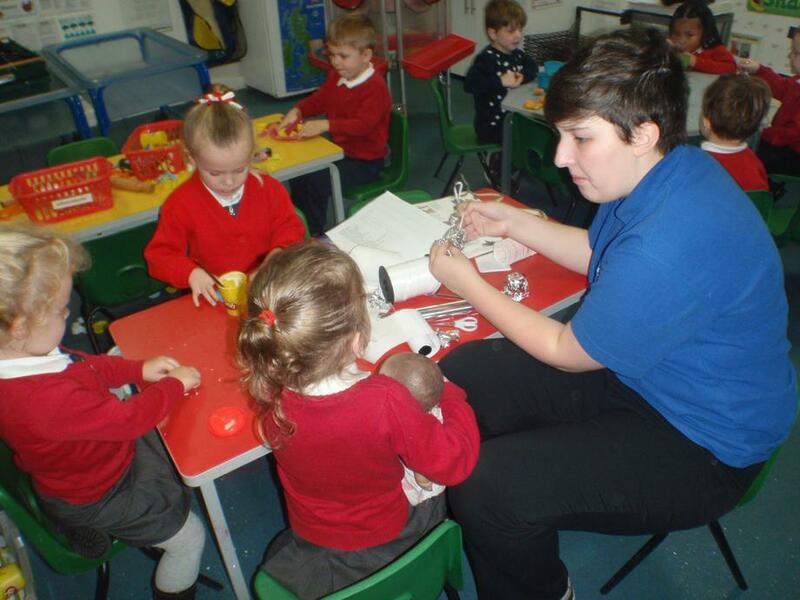 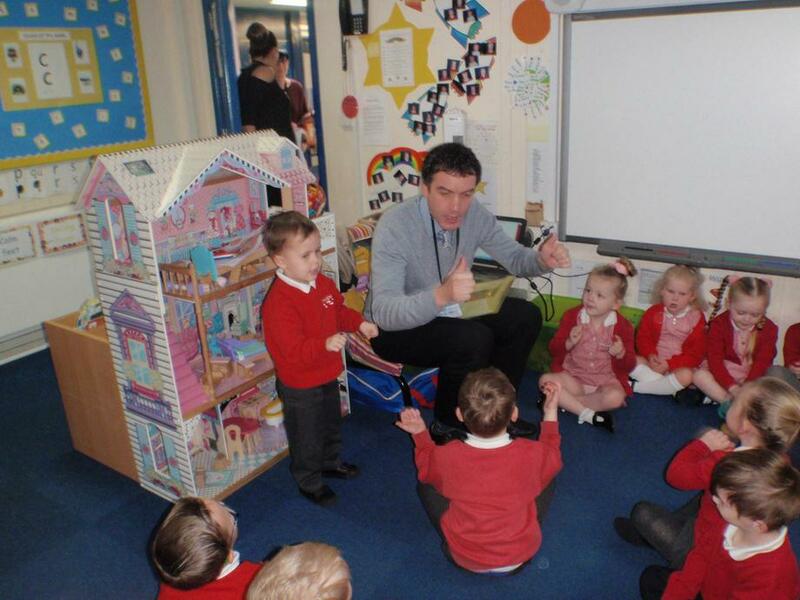 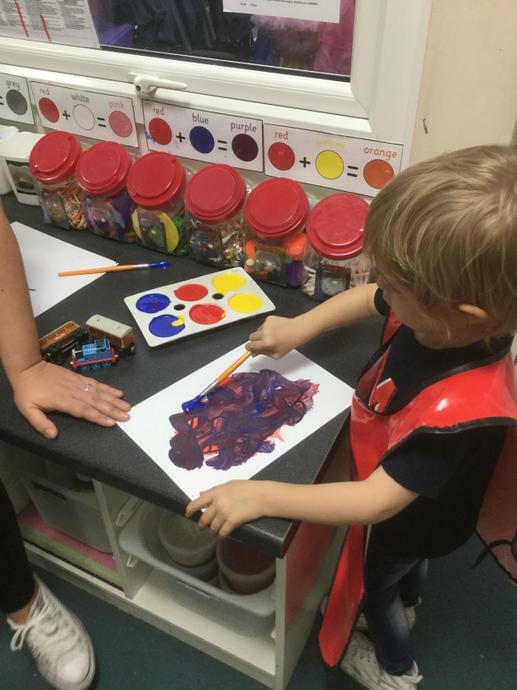 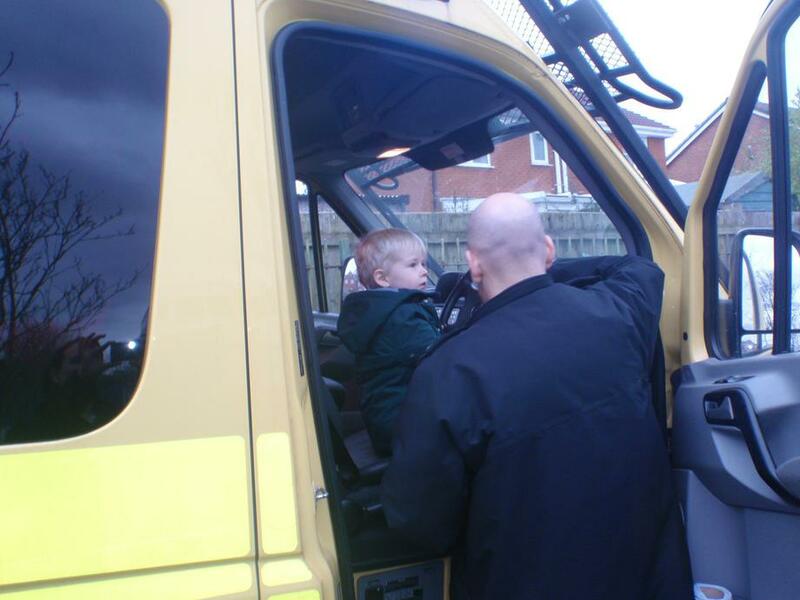 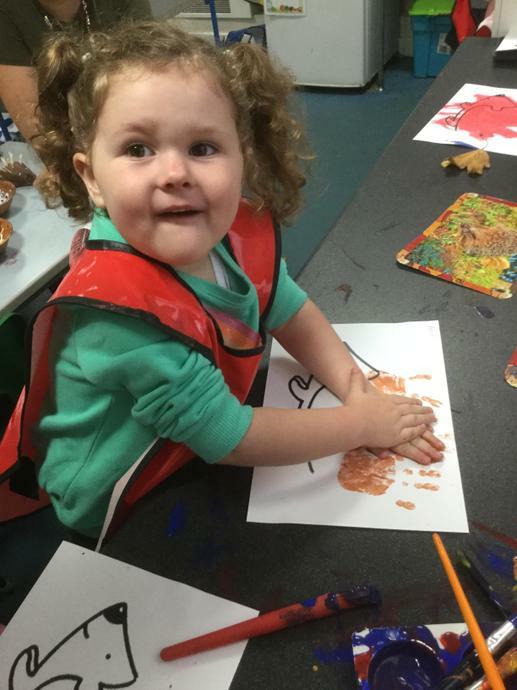 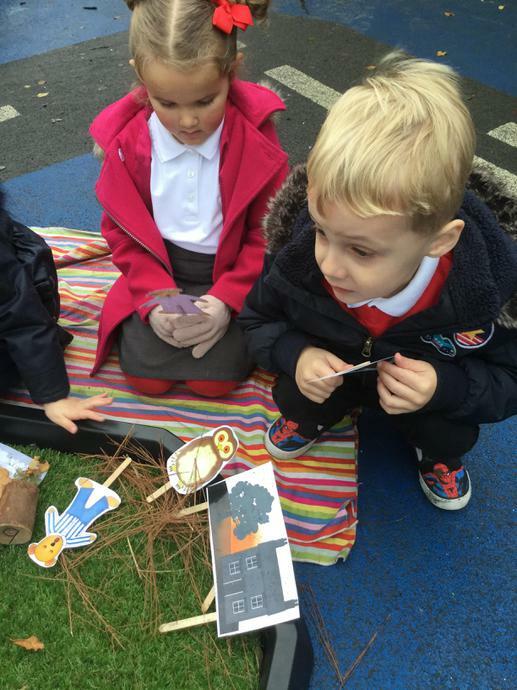 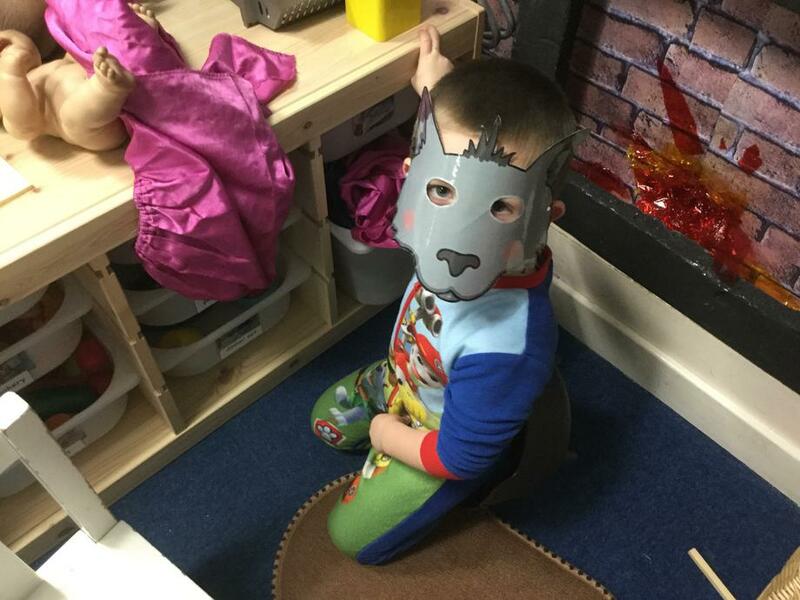 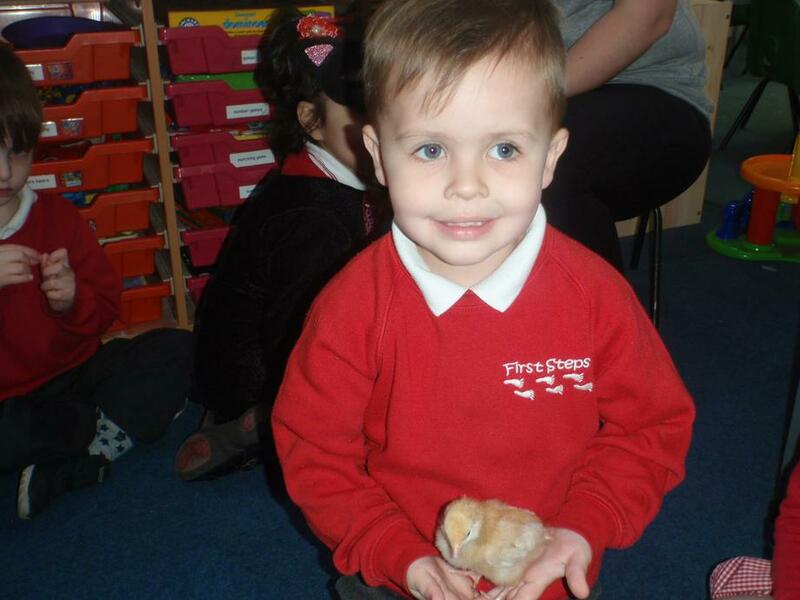 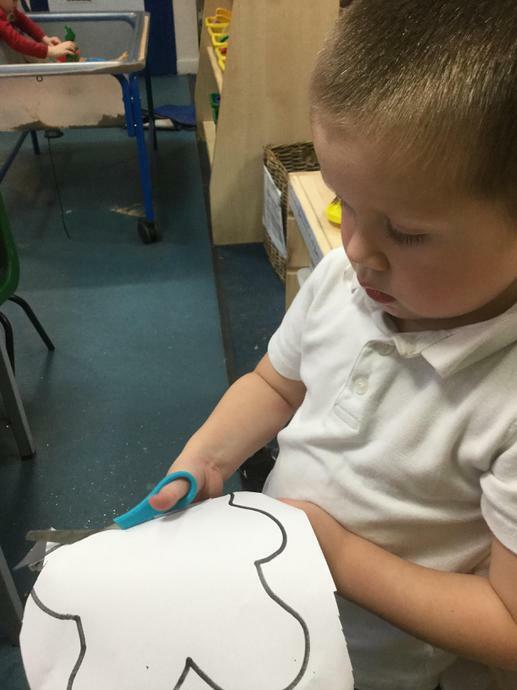 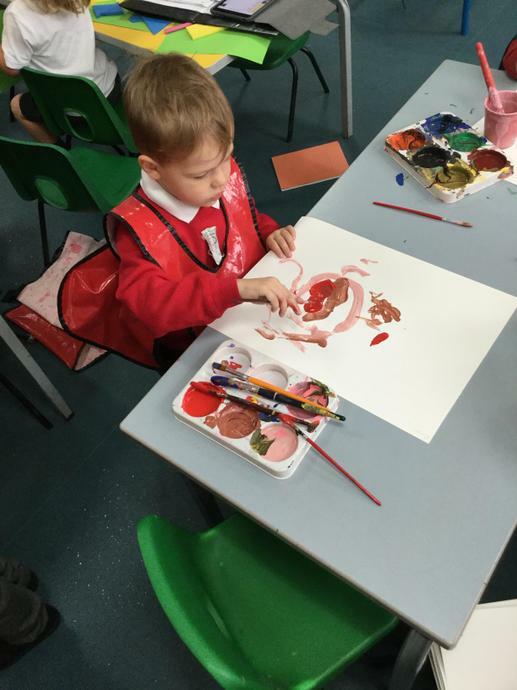 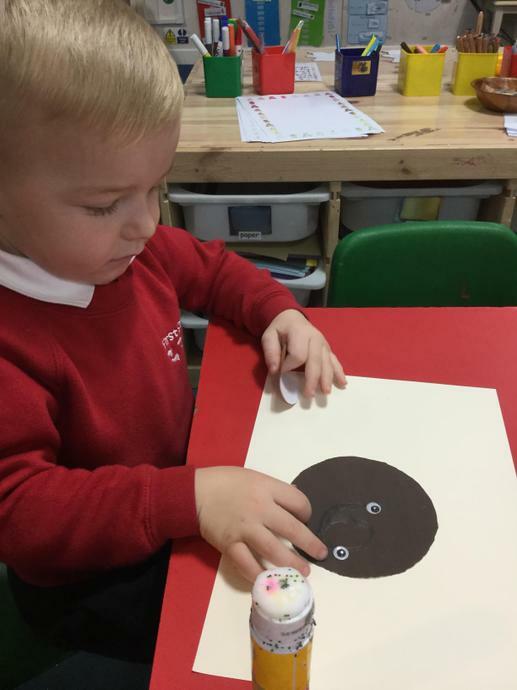 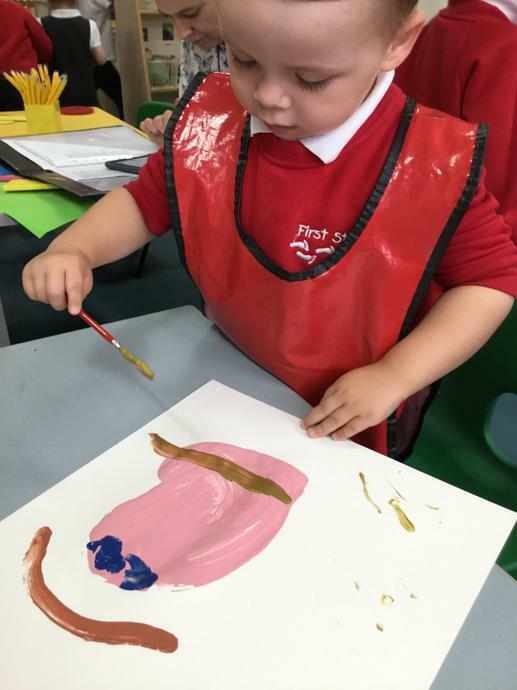 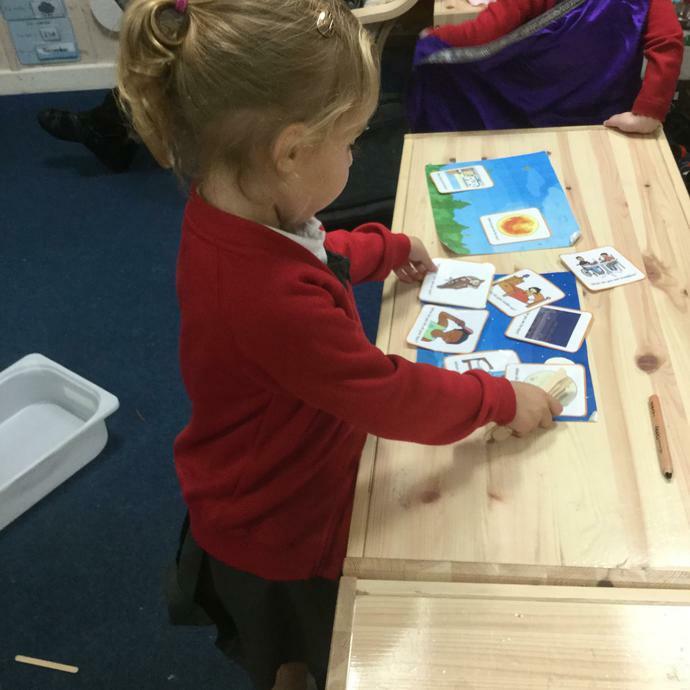 First Steps Pre-School follows the Foundation Stage curriculum. 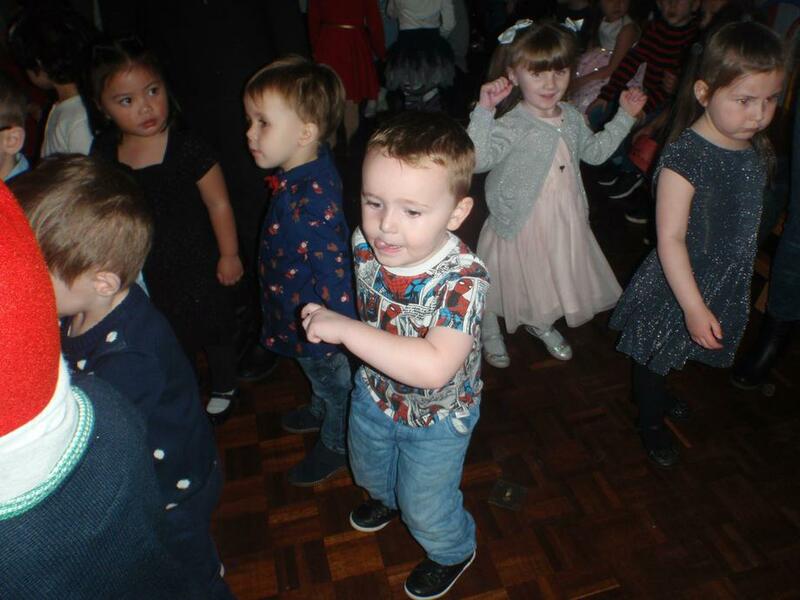 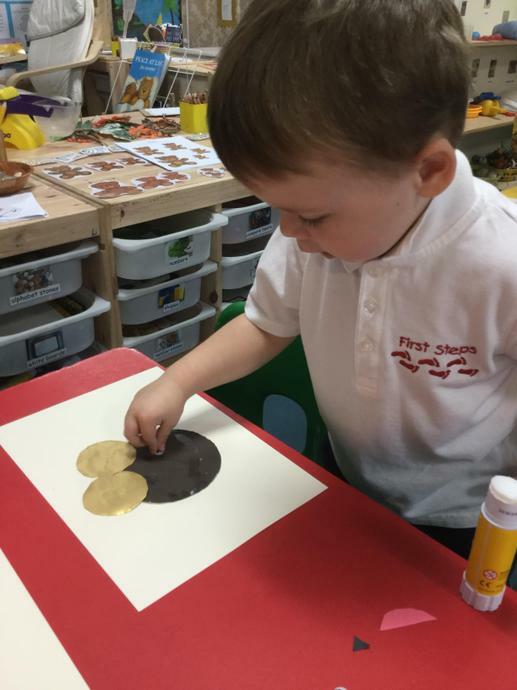 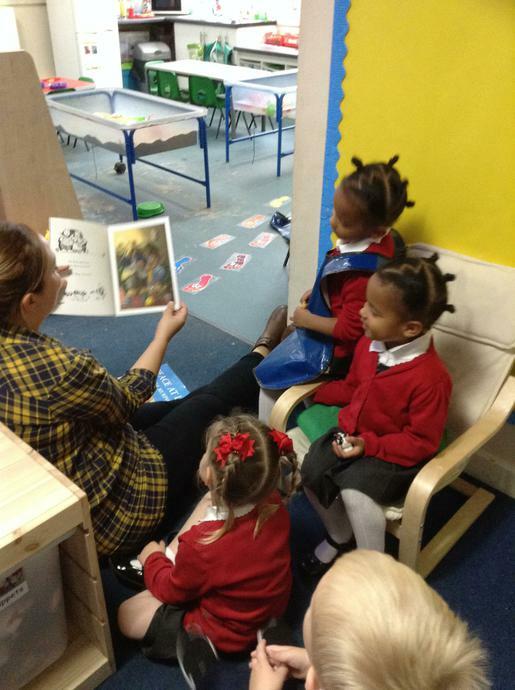 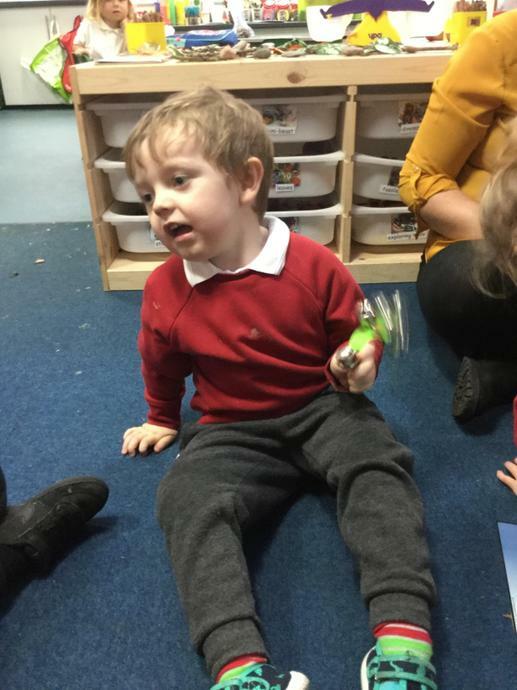 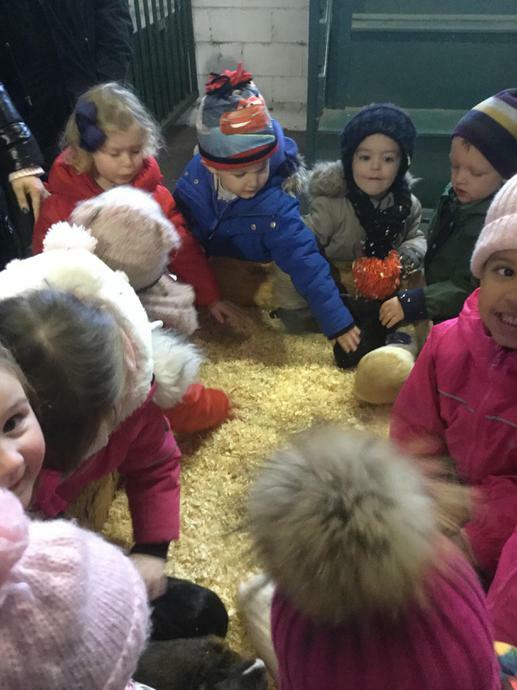 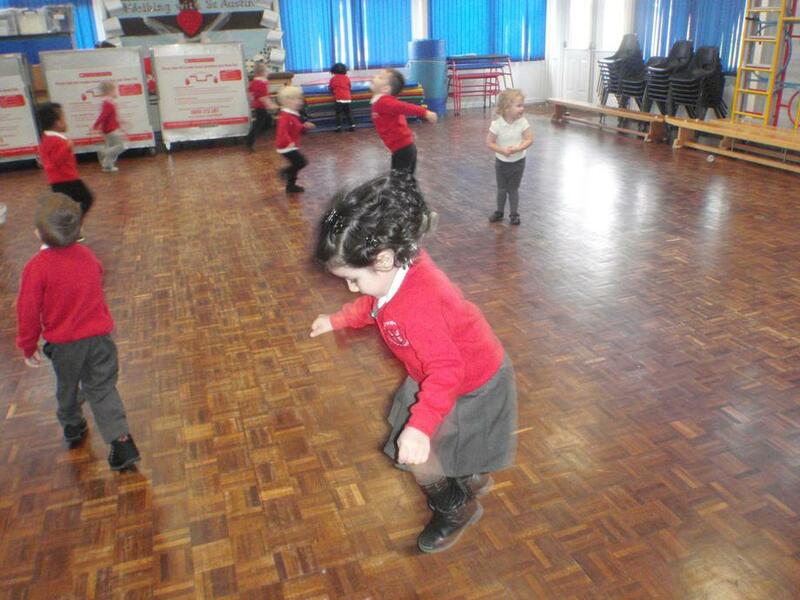 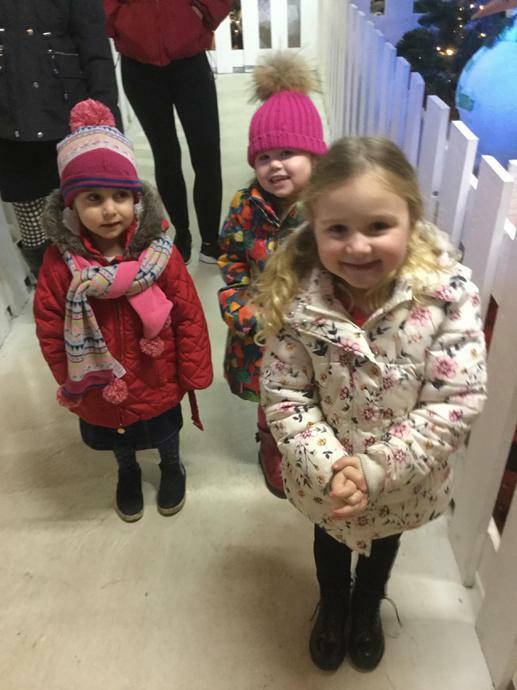 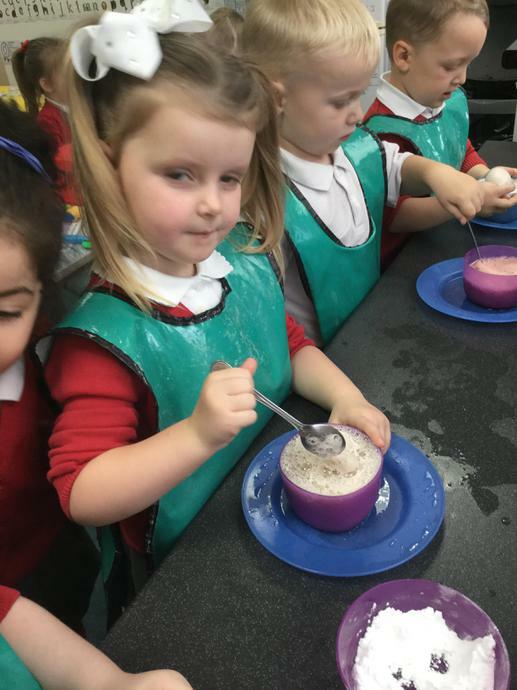 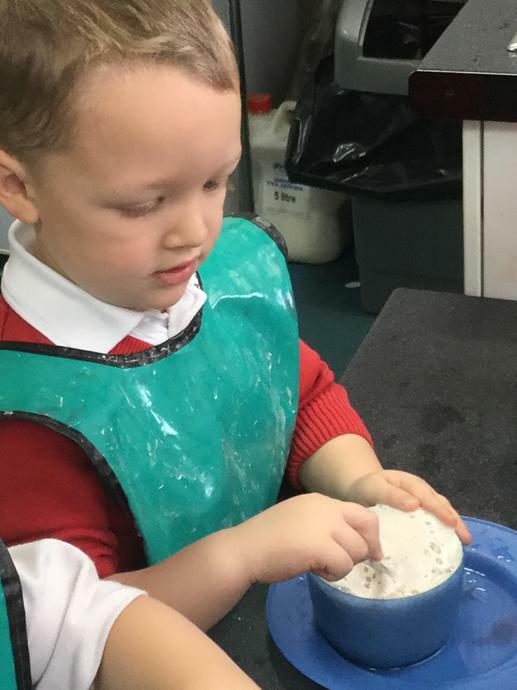 The Foundation Stage at St John Vianney Primary School begins as your child enters First Steps and continues to the end of the Reception year. 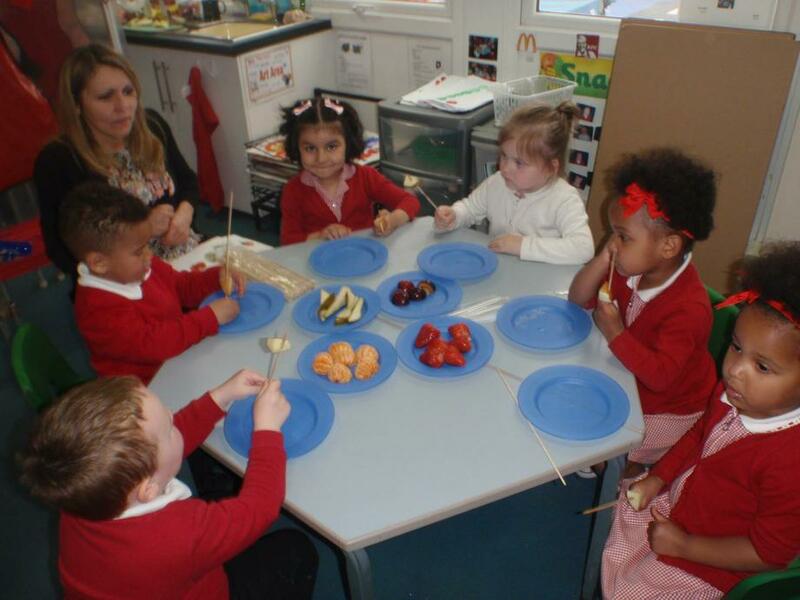 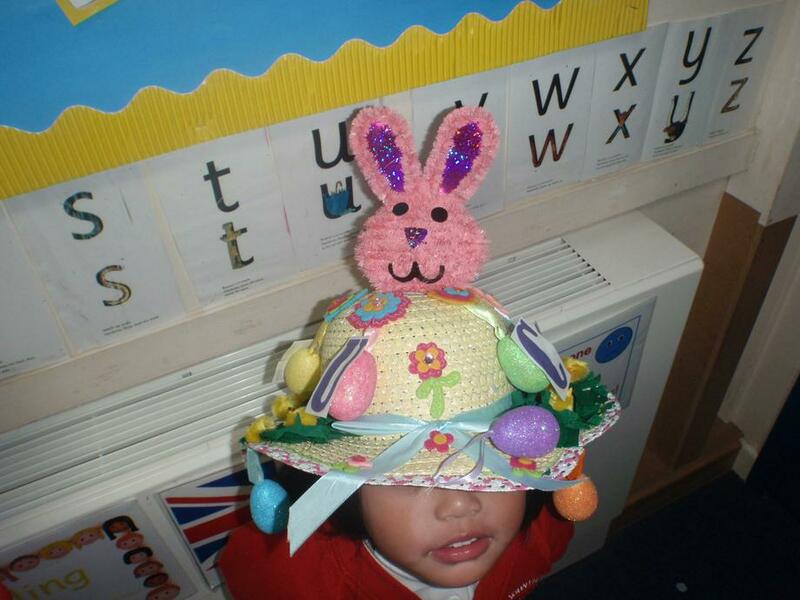 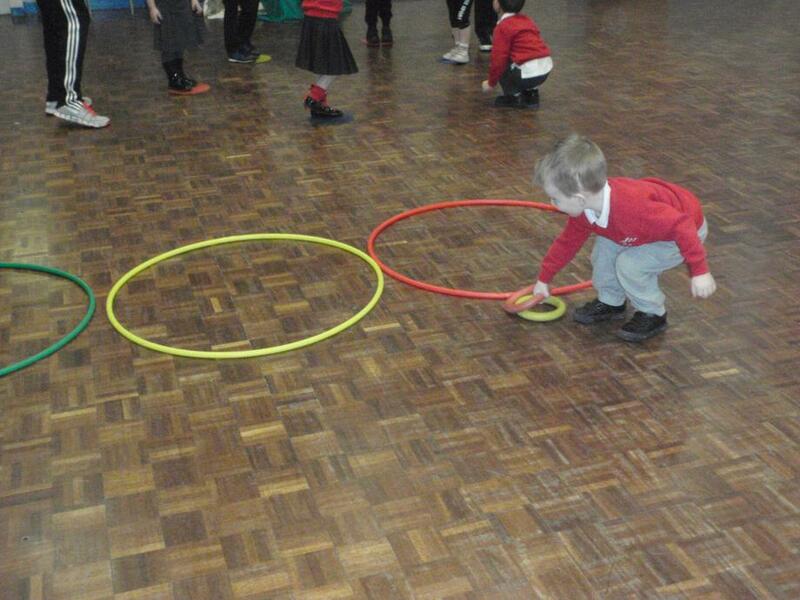 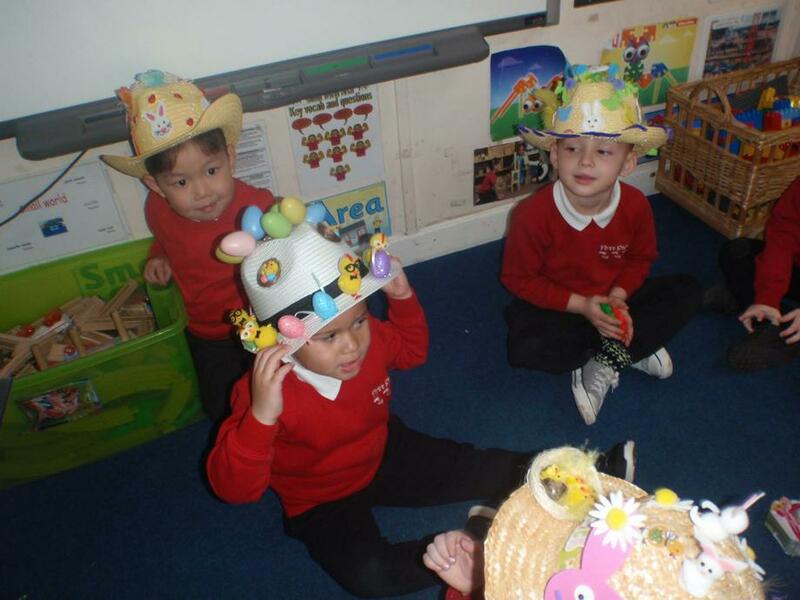 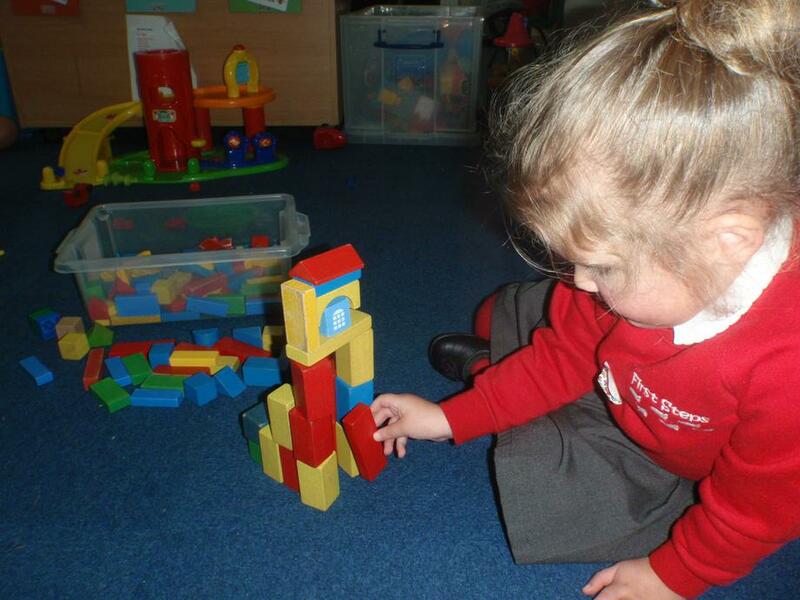 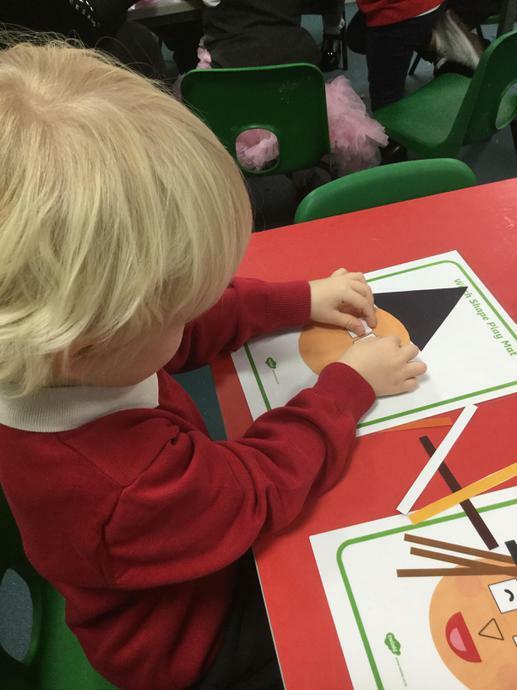 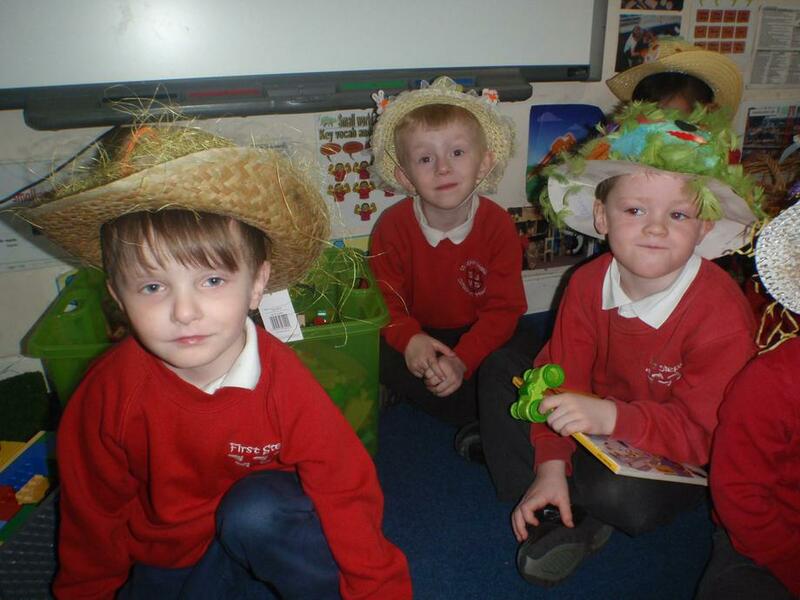 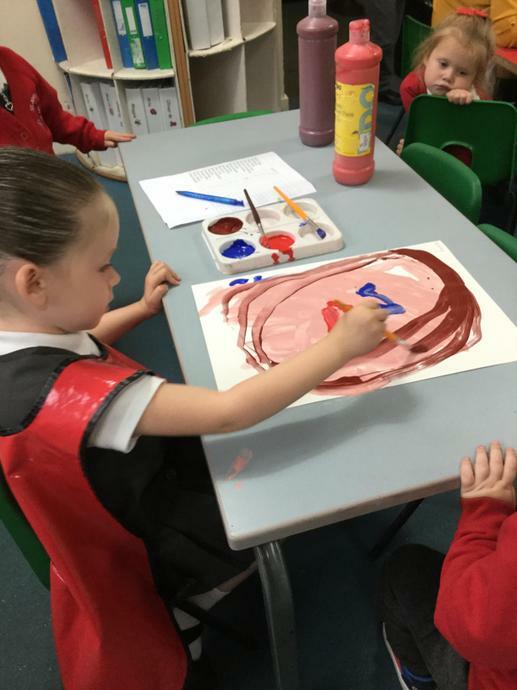 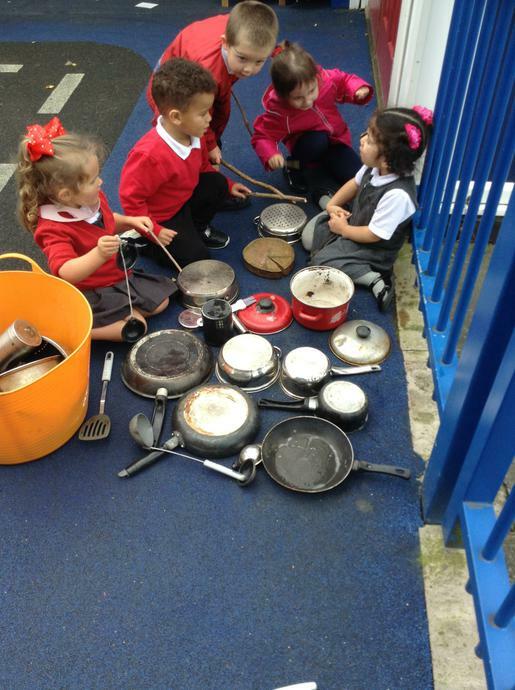 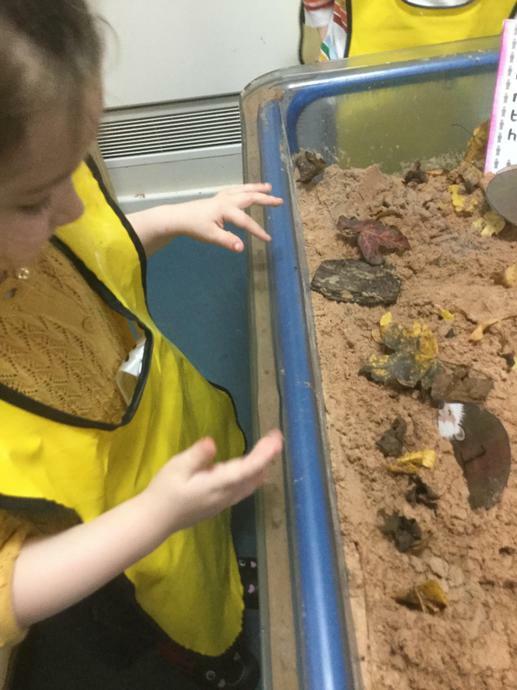 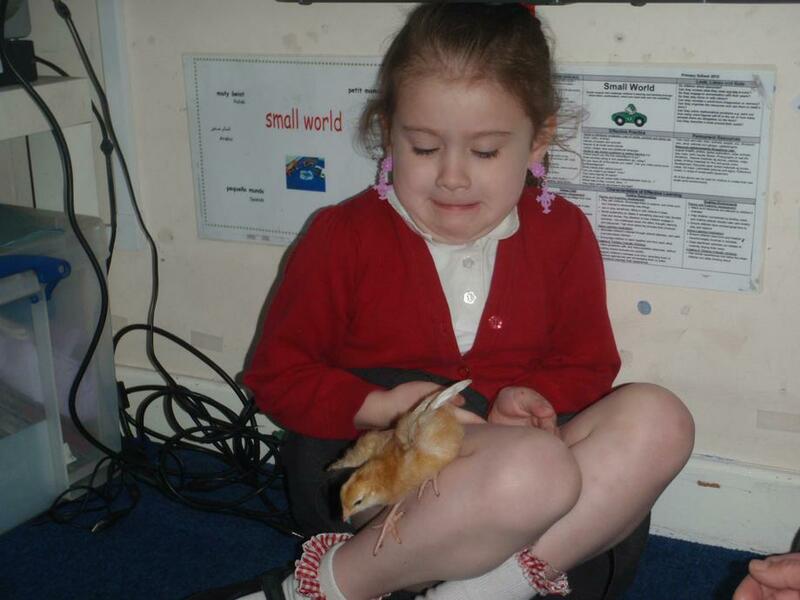 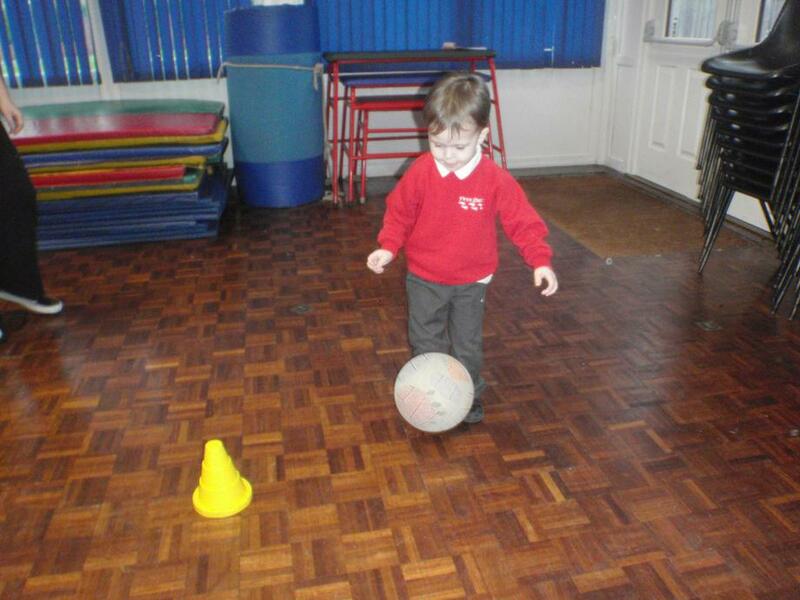 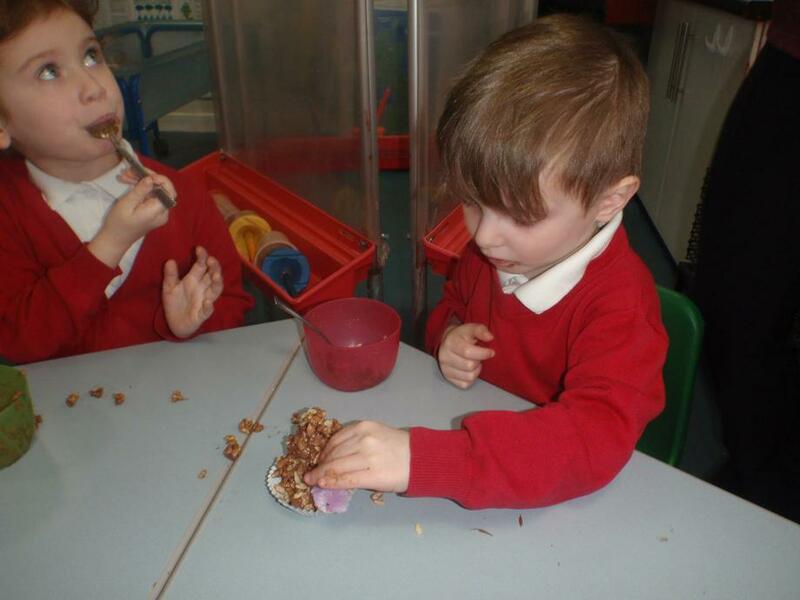 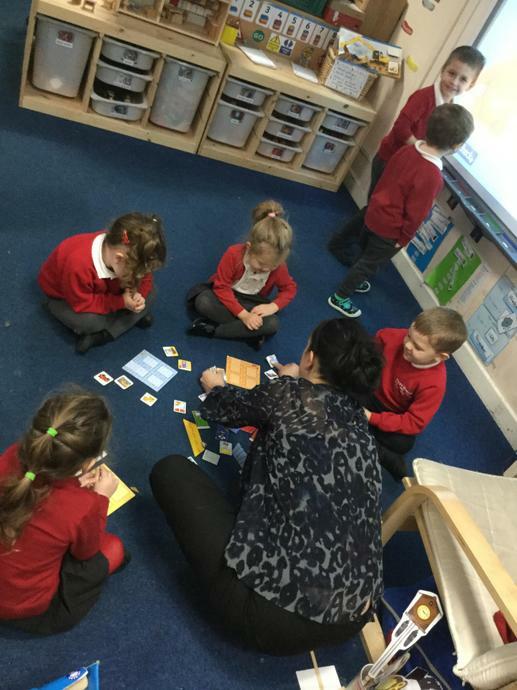 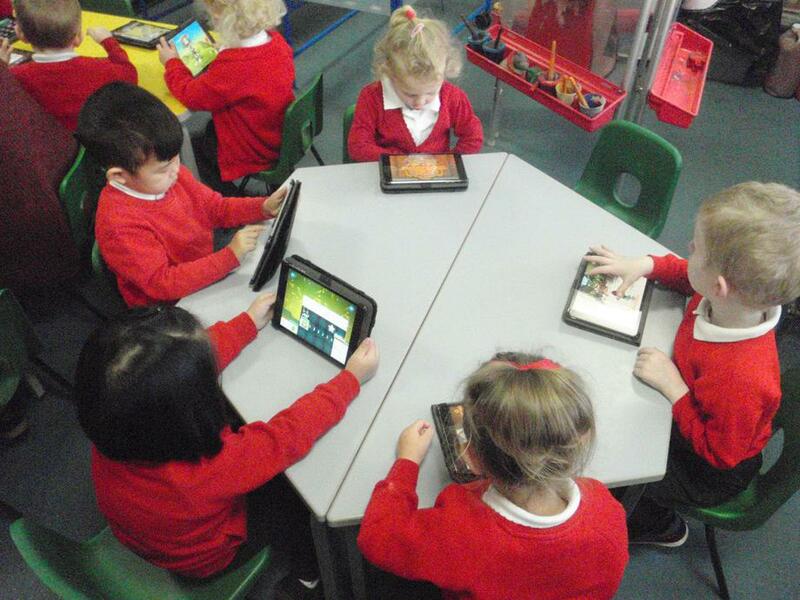 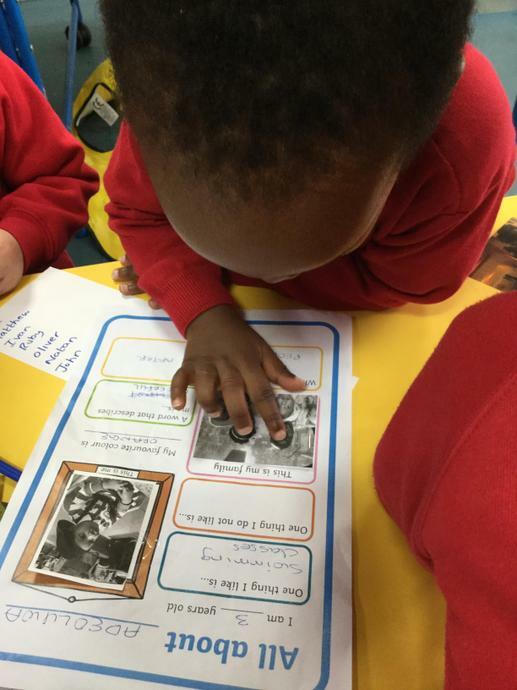 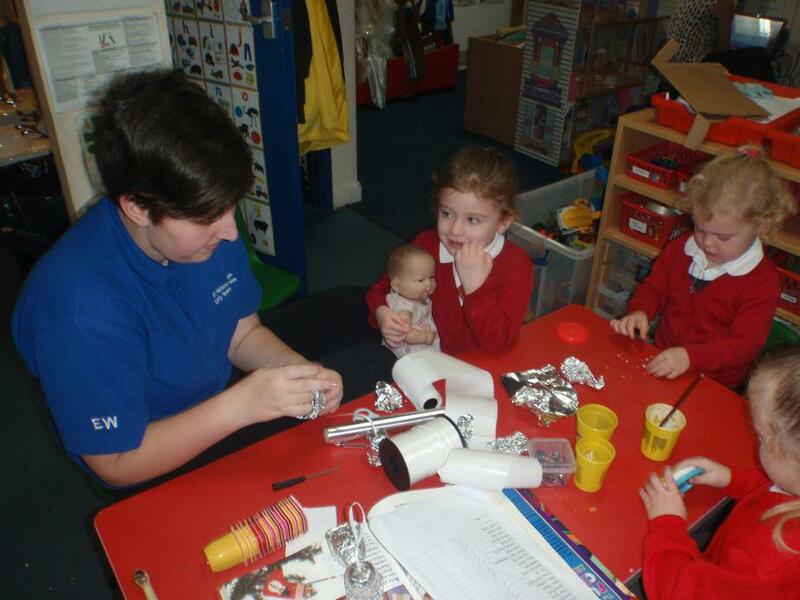 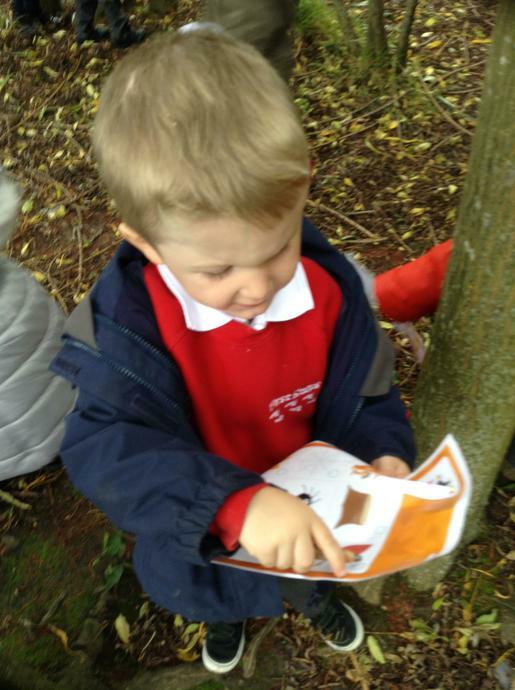 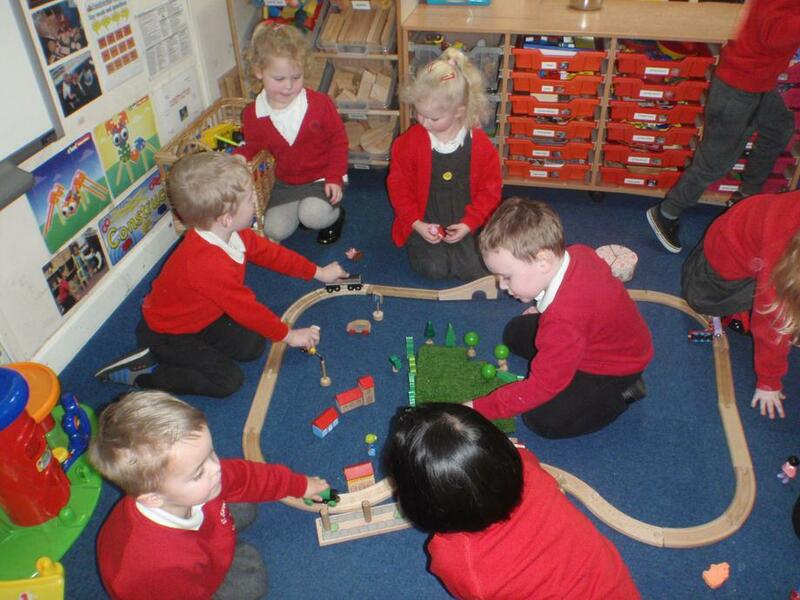 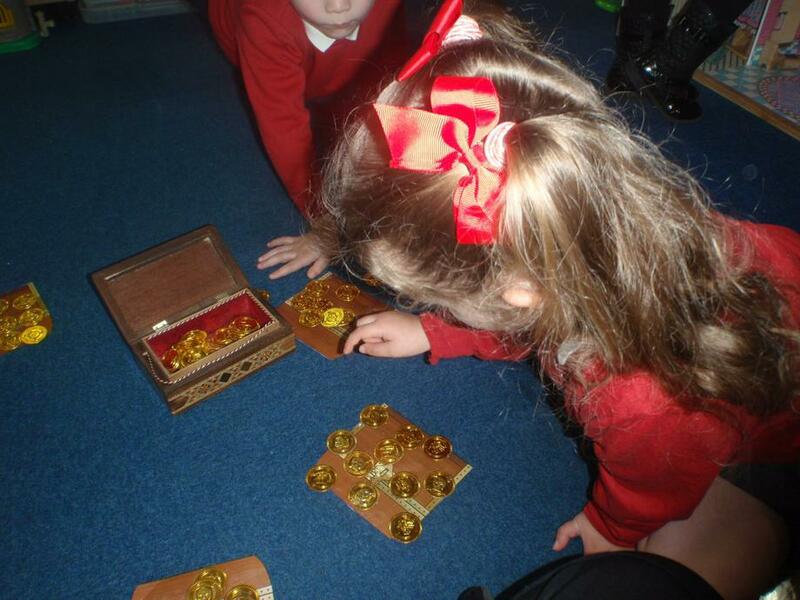 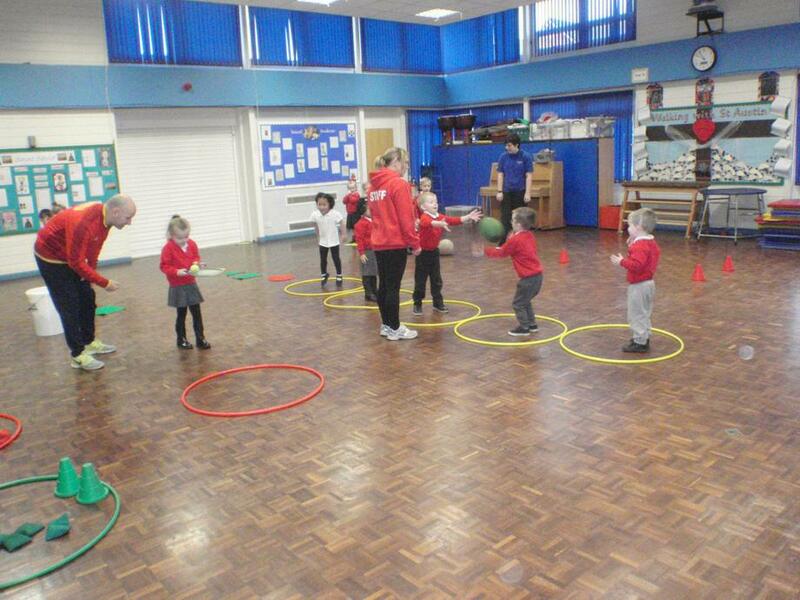 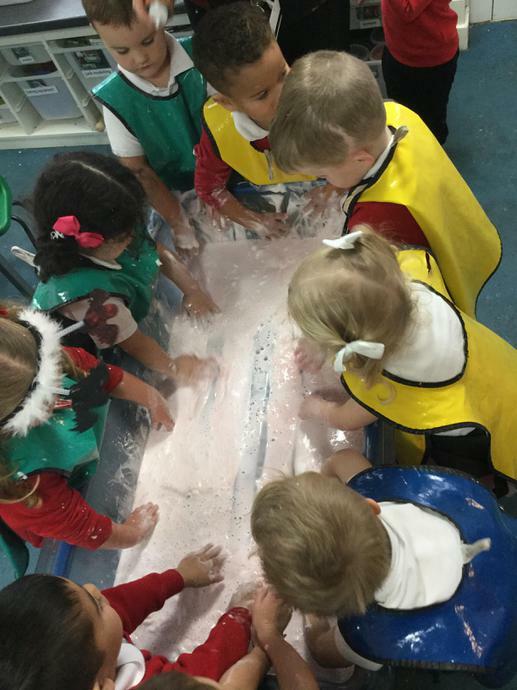 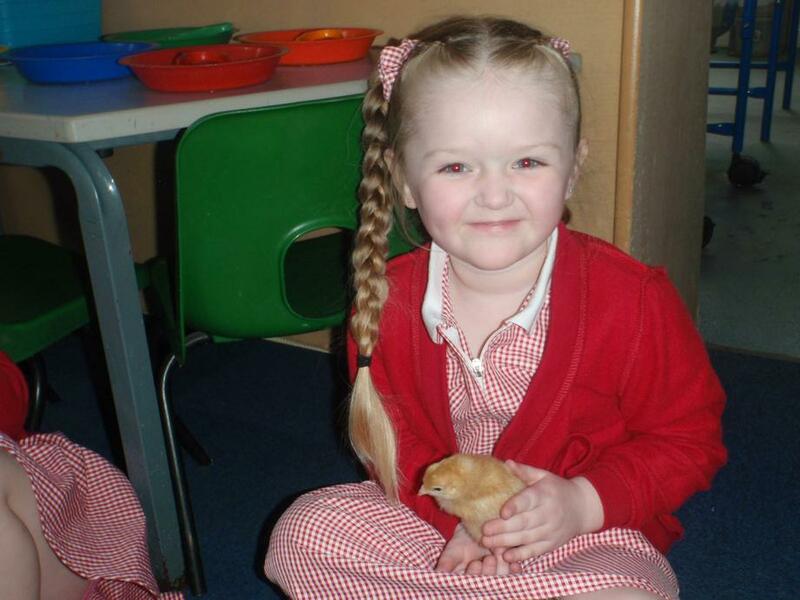 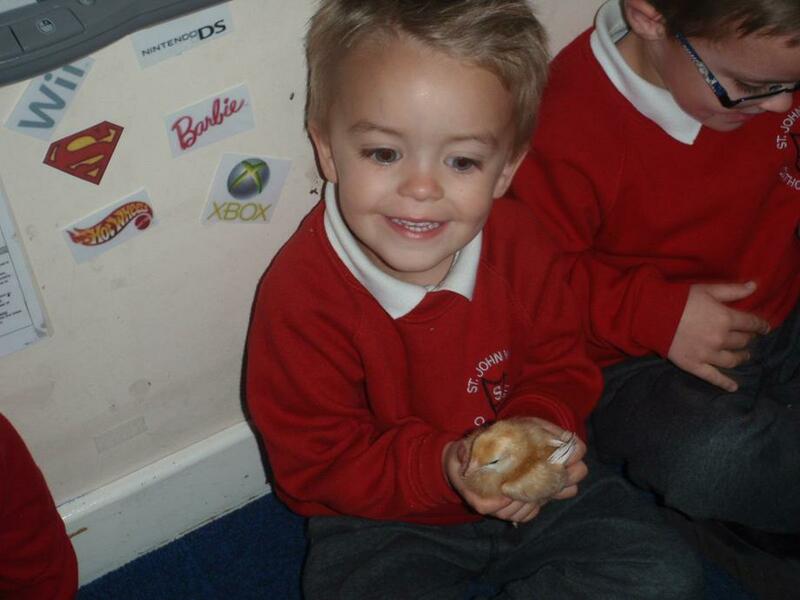 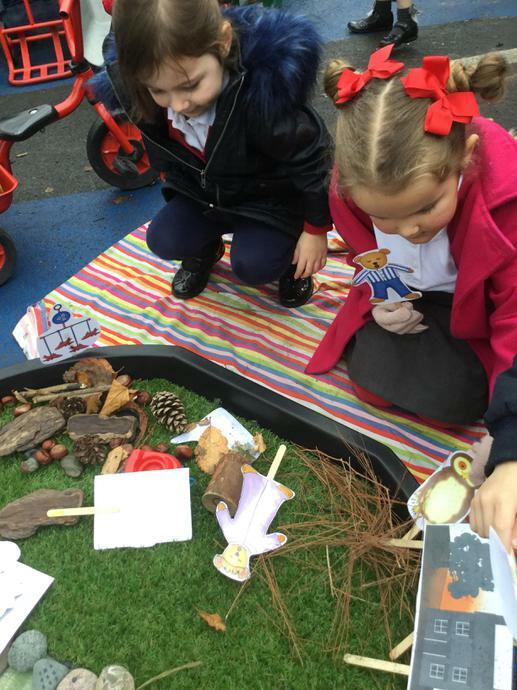 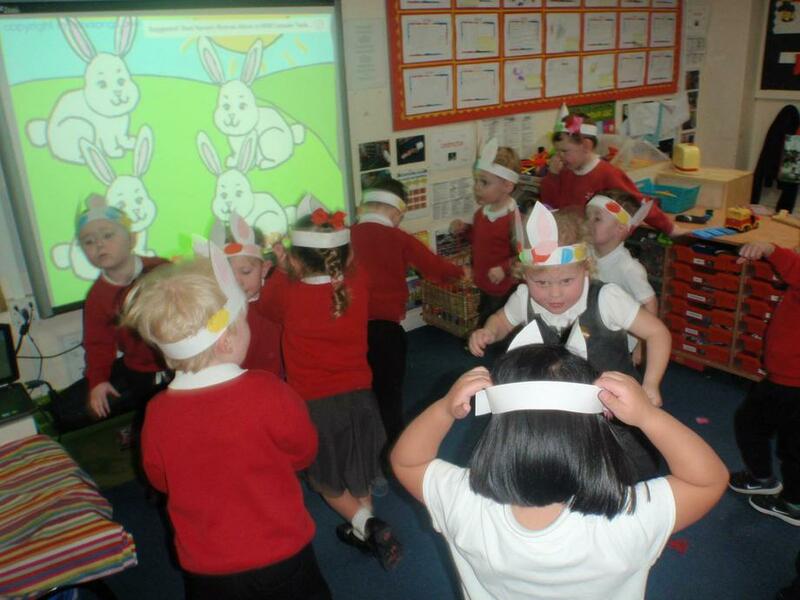 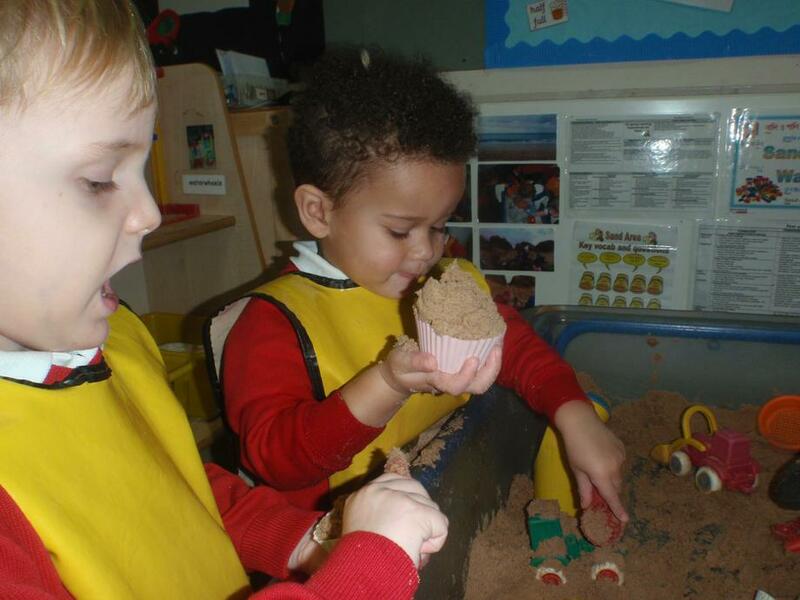 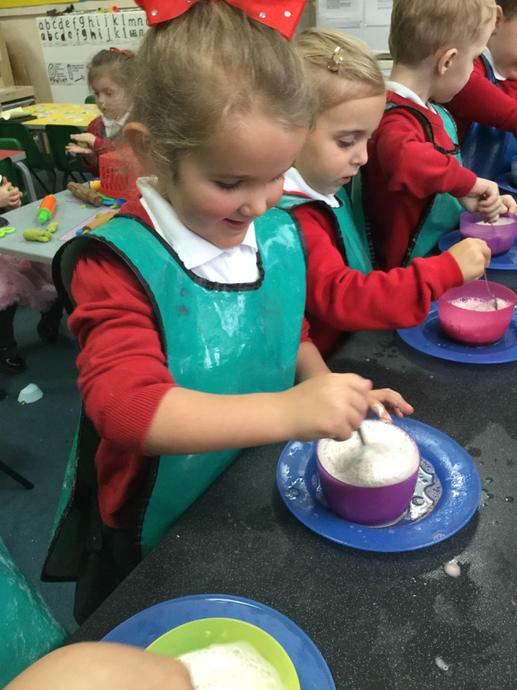 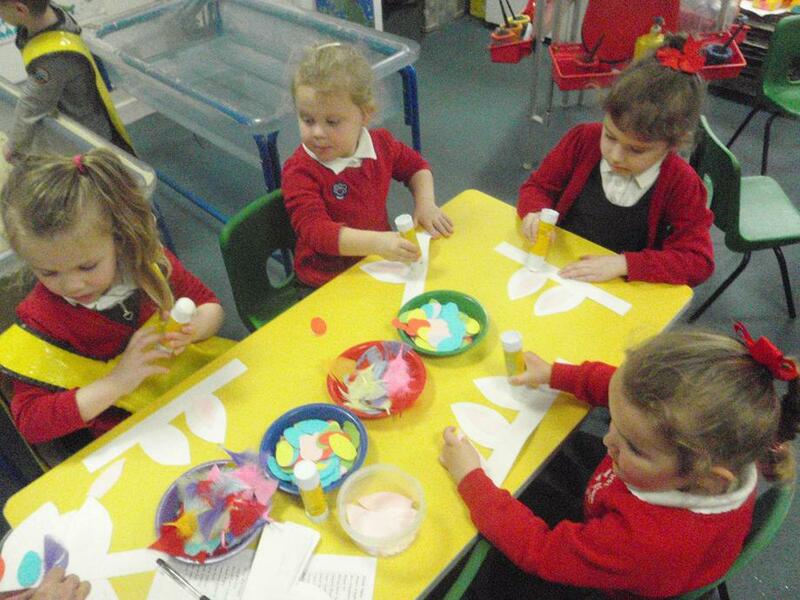 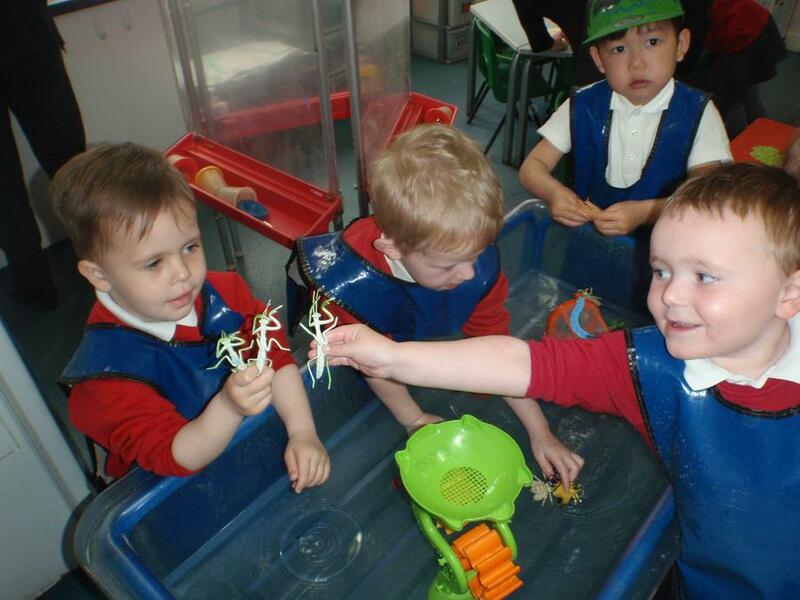 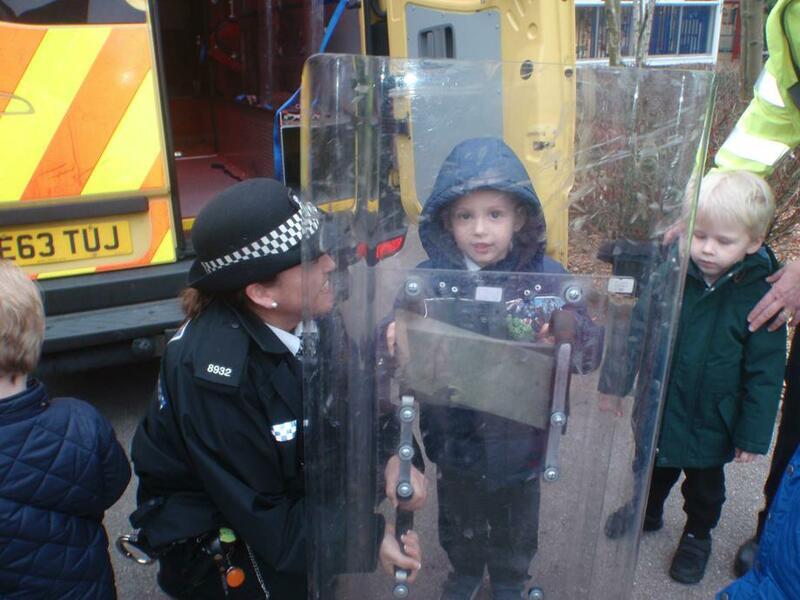 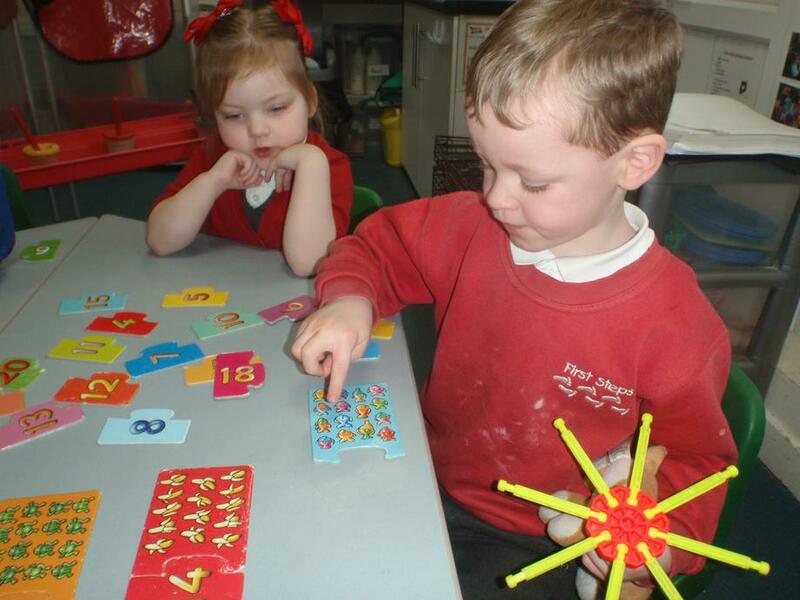 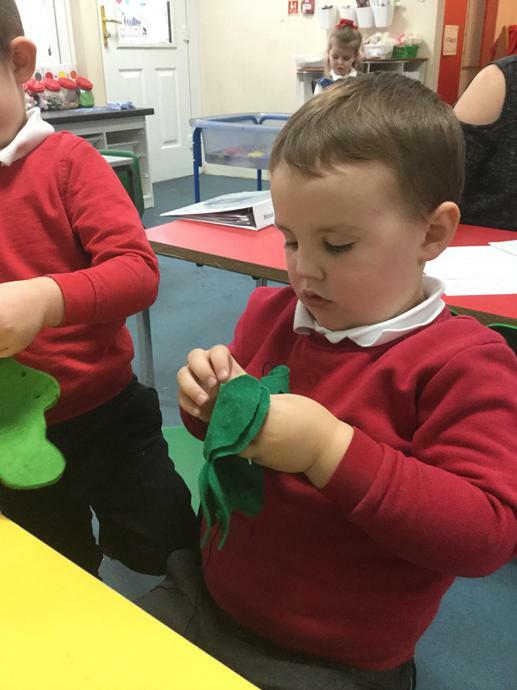 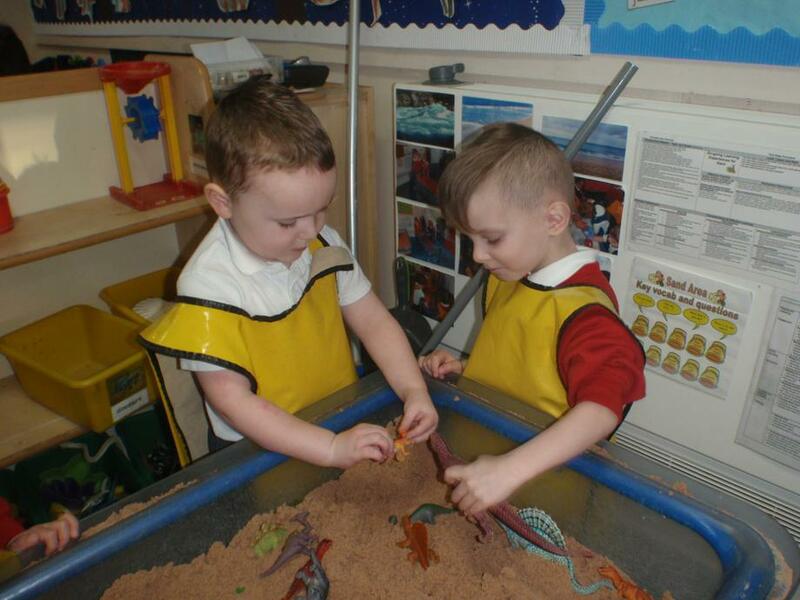 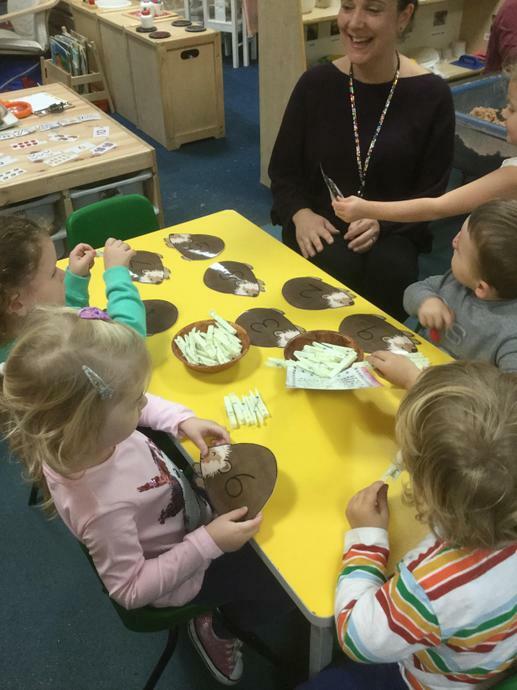 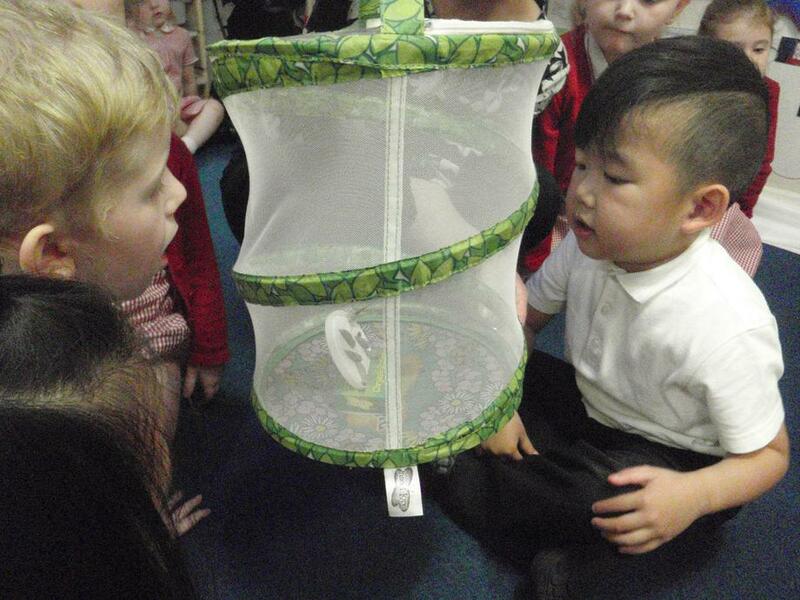 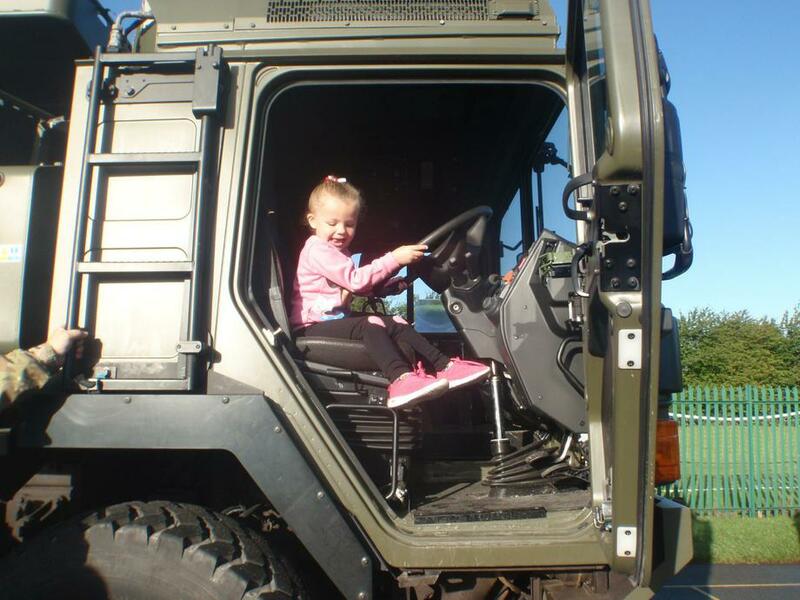 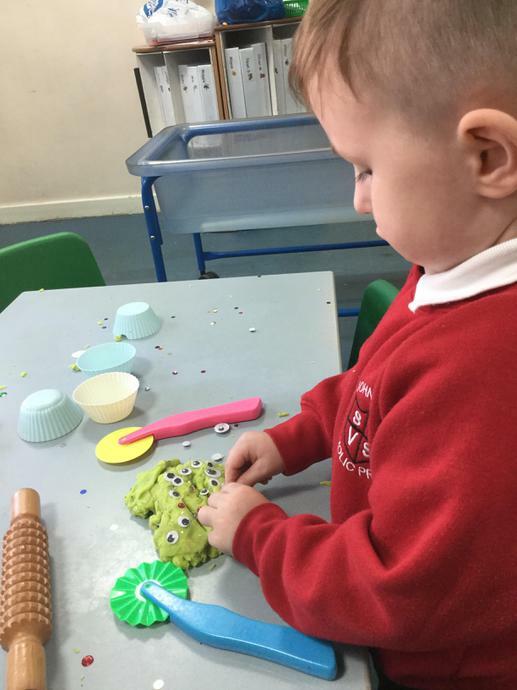 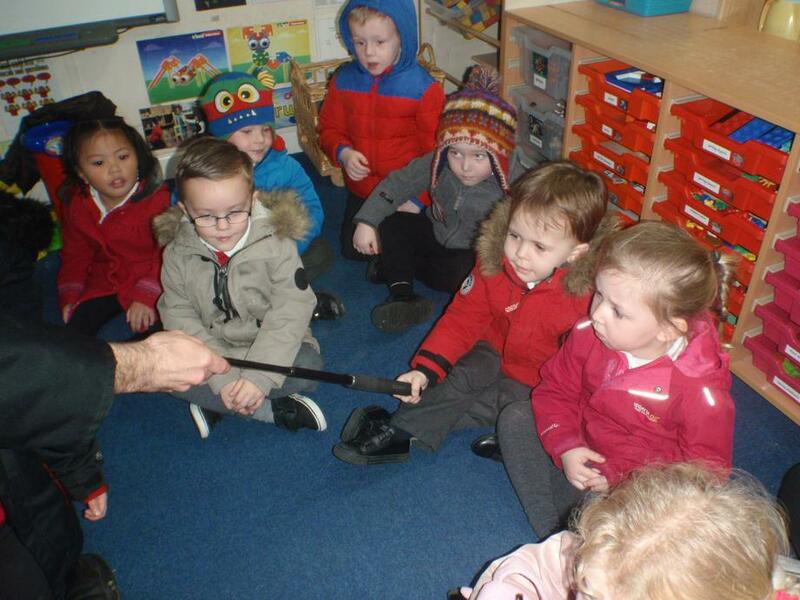 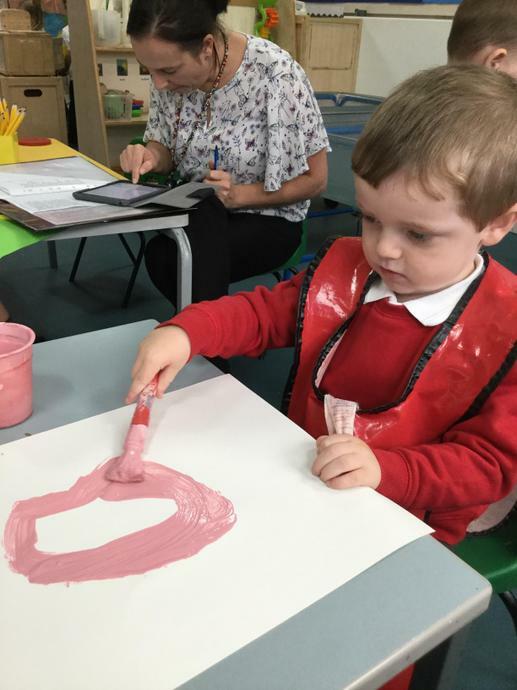 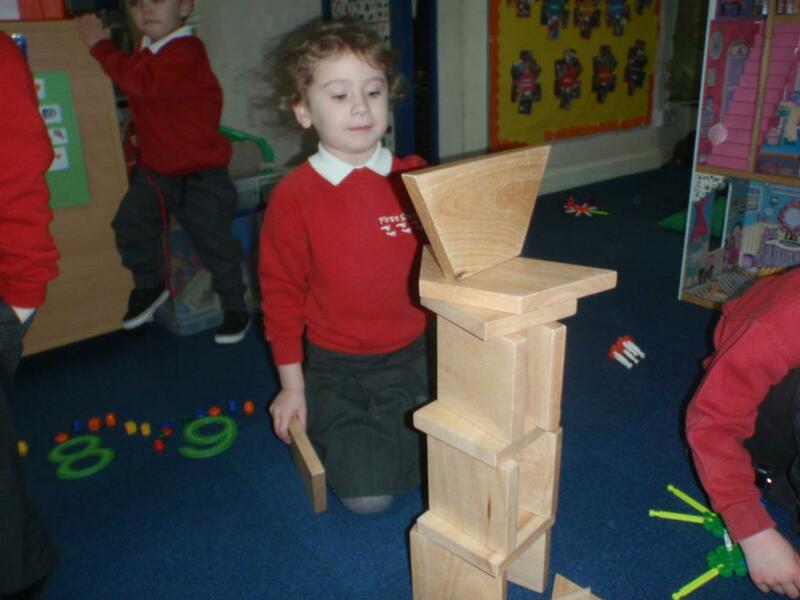 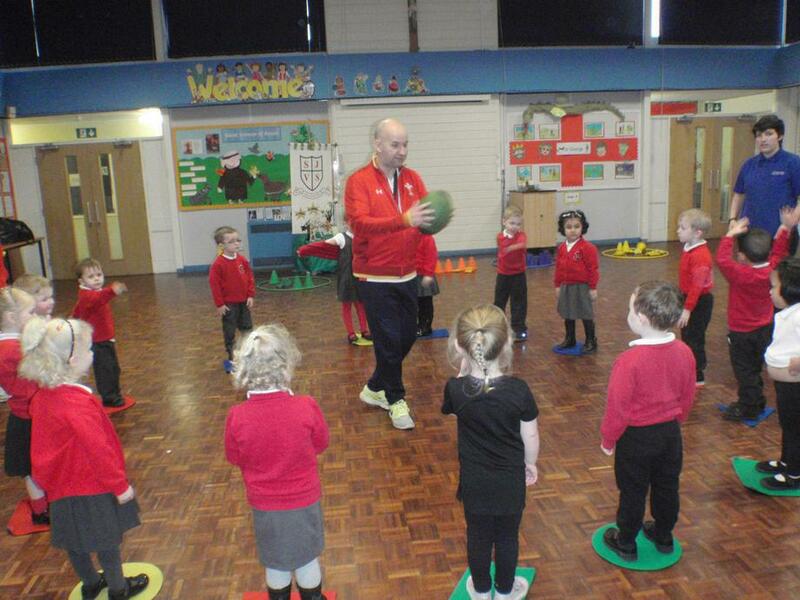 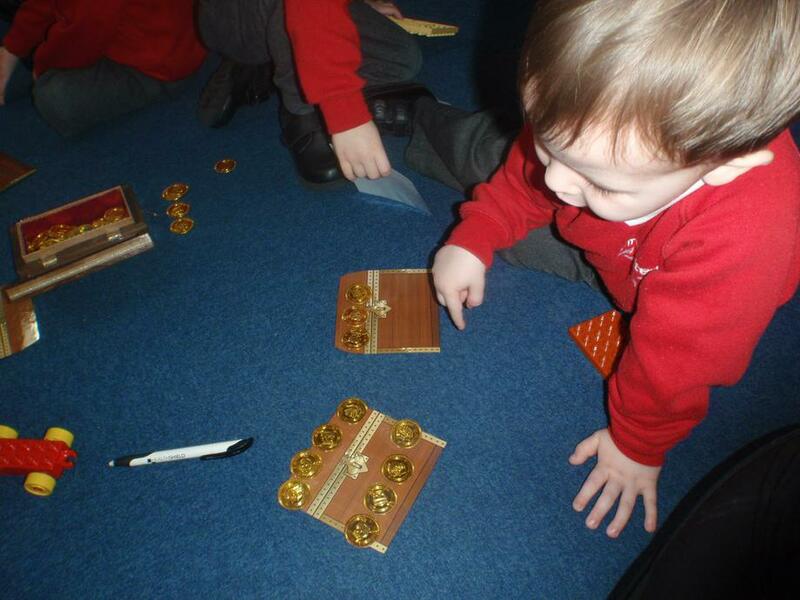 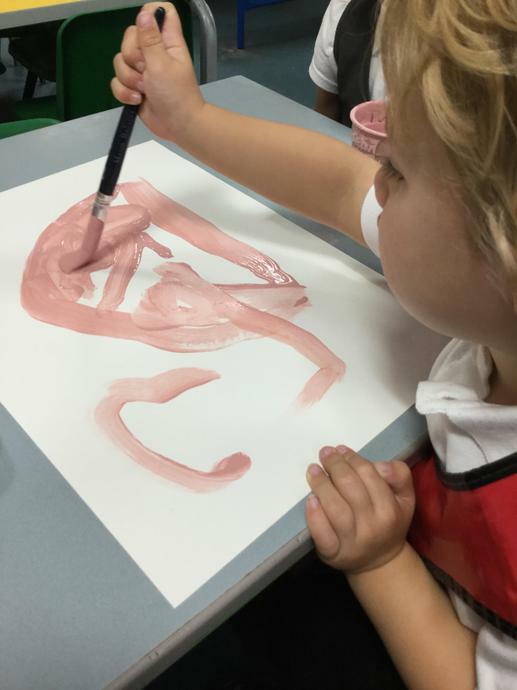 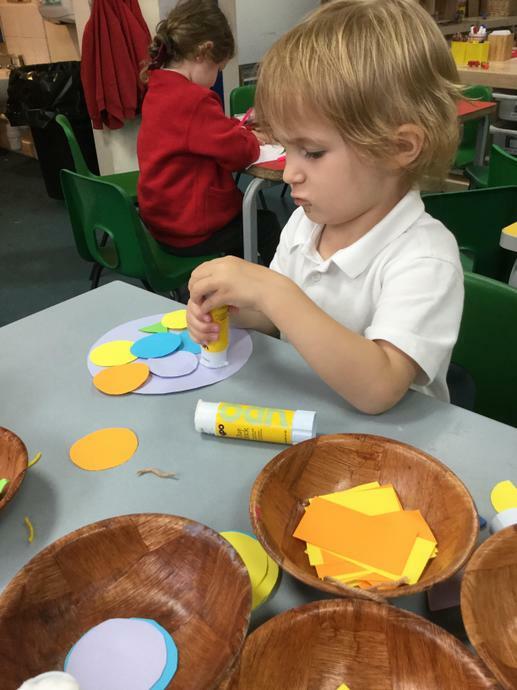 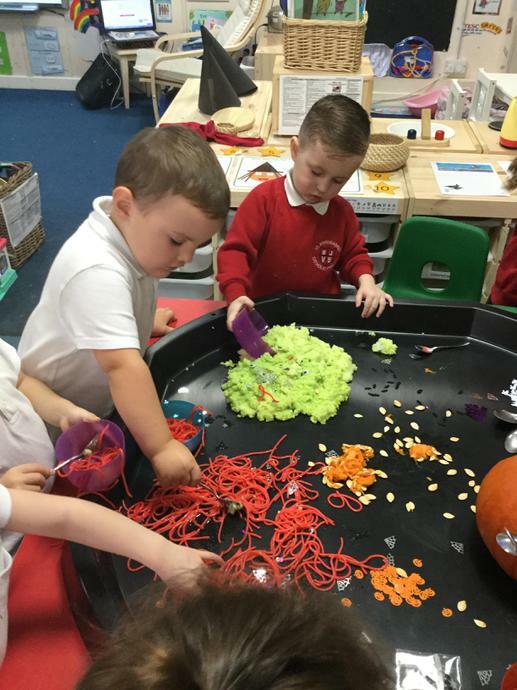 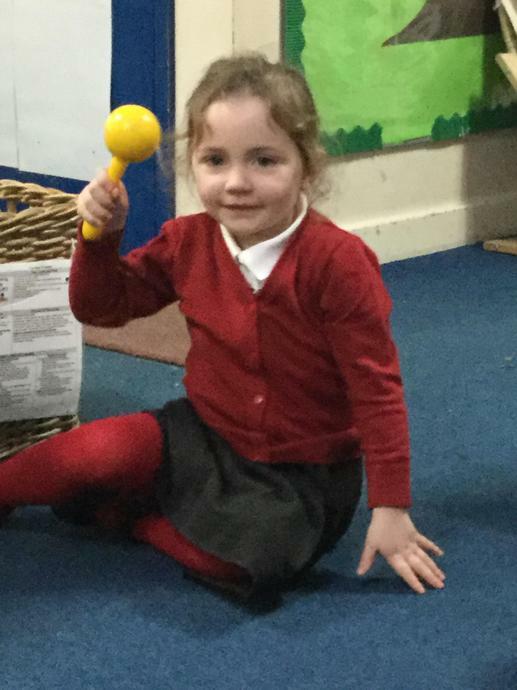 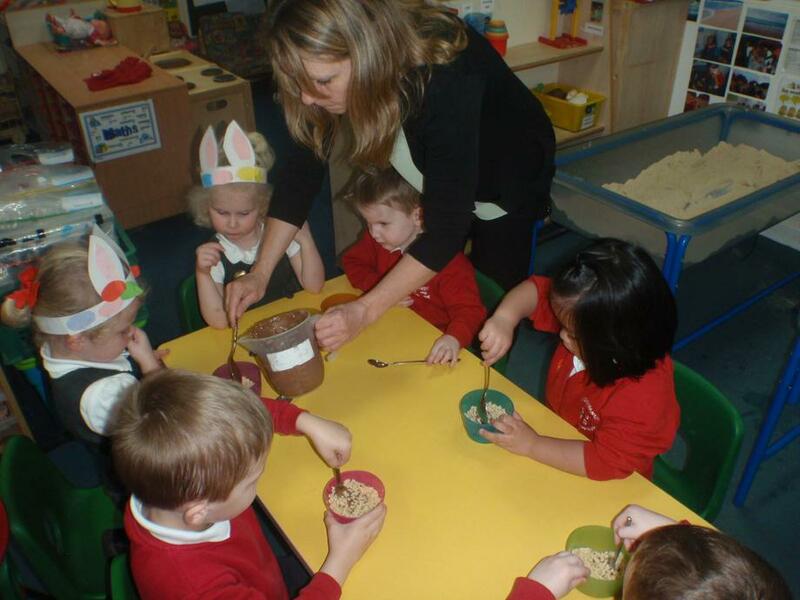 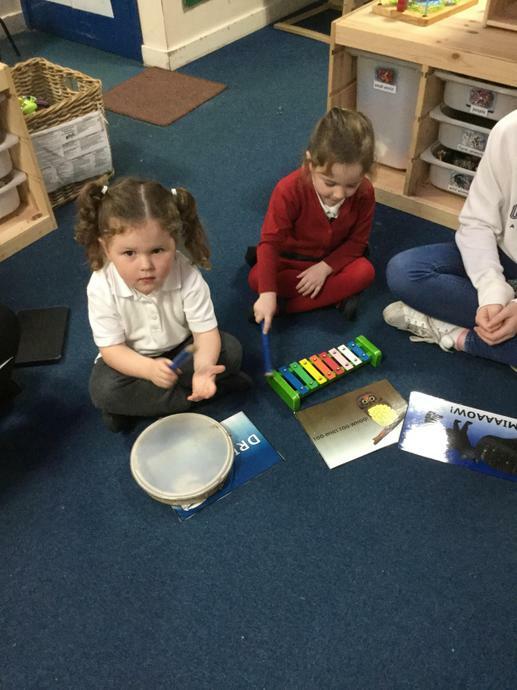 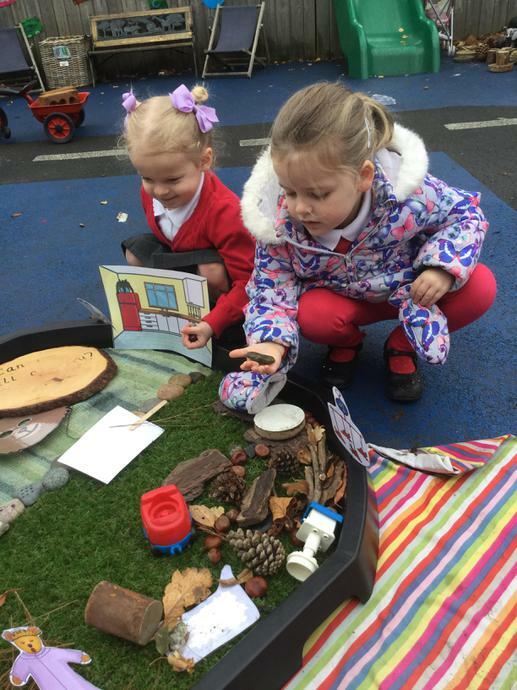 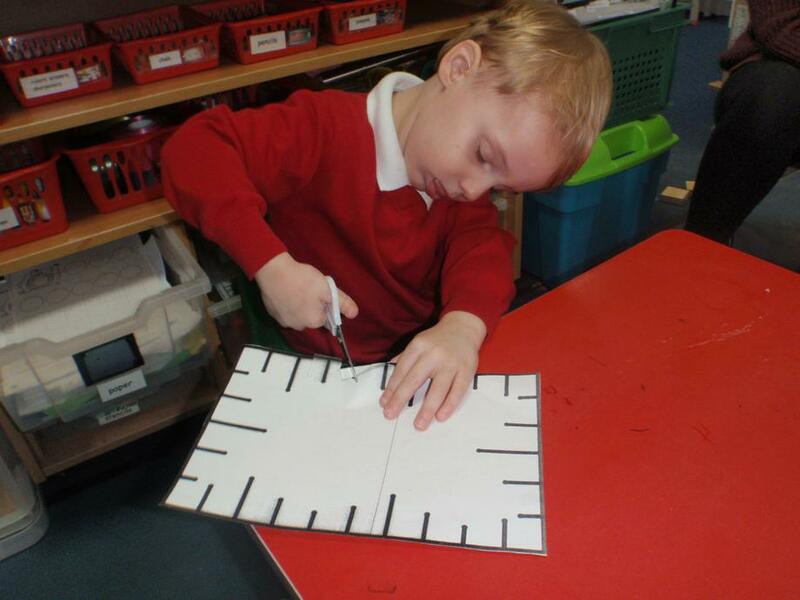 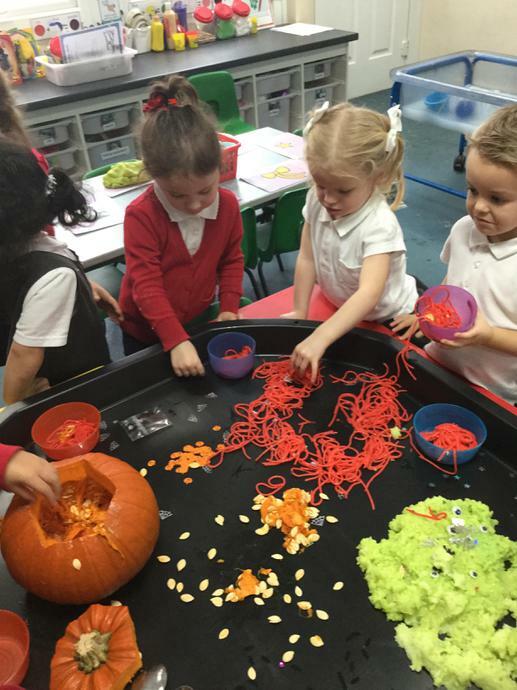 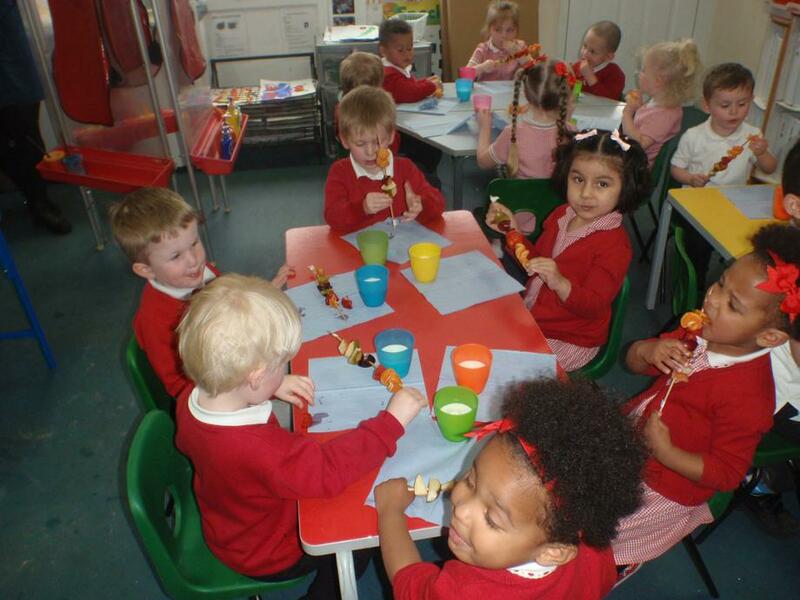 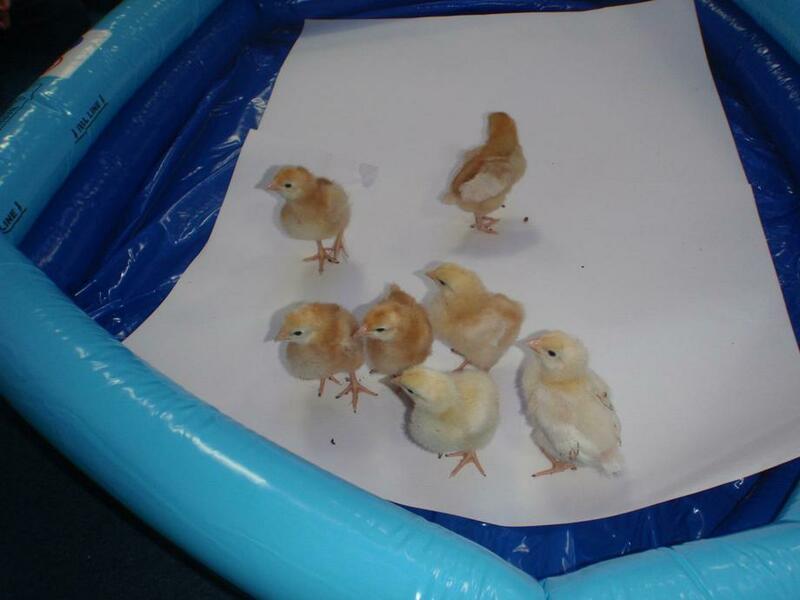 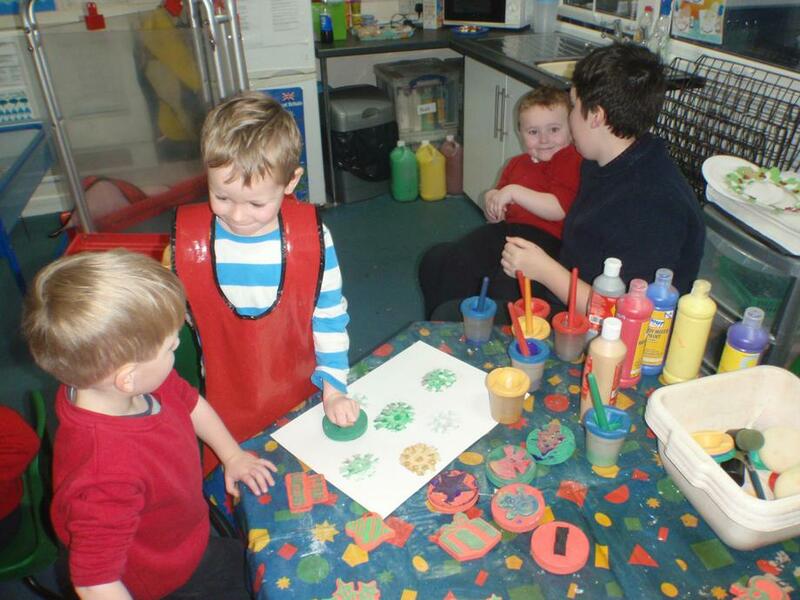 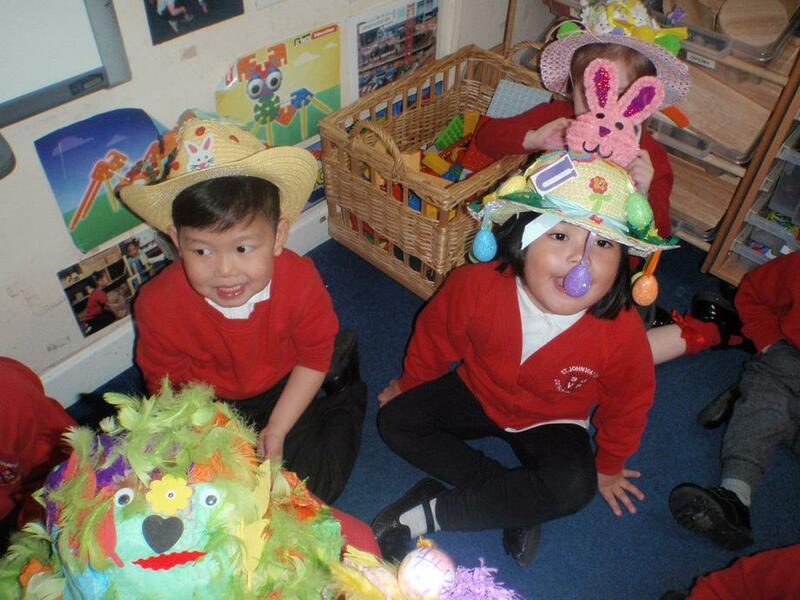 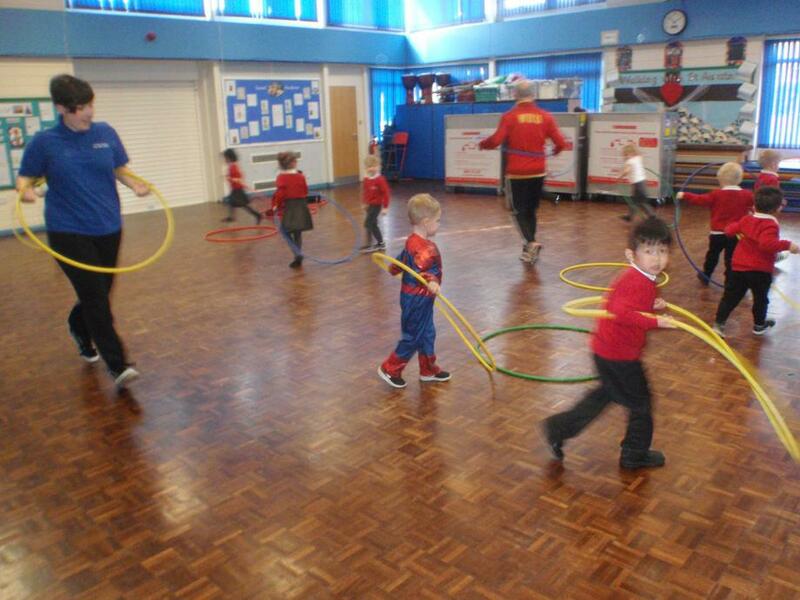 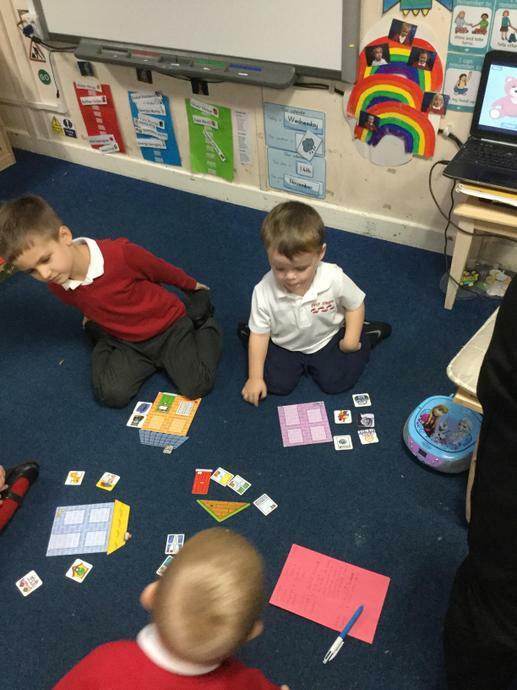 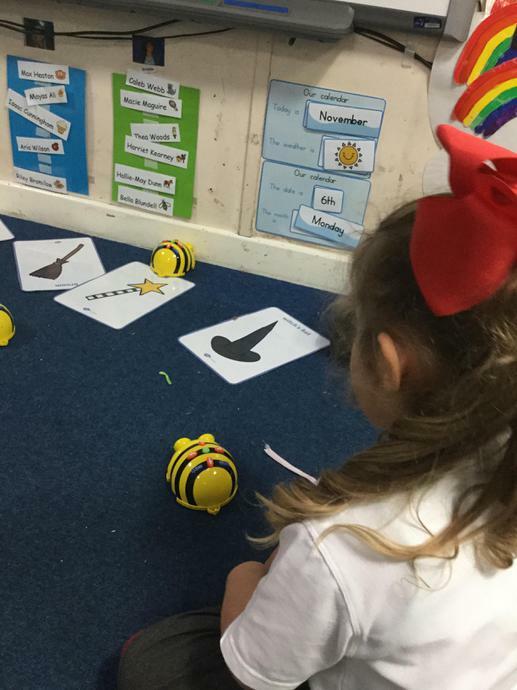 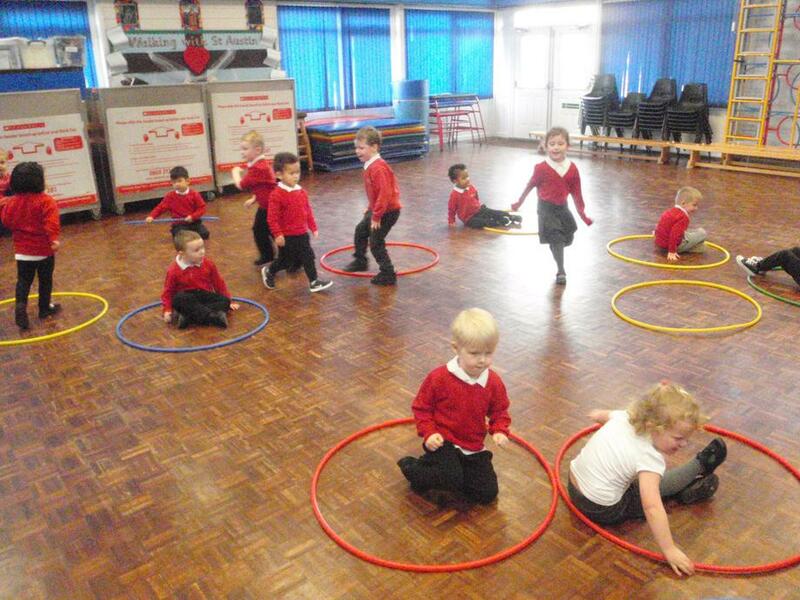 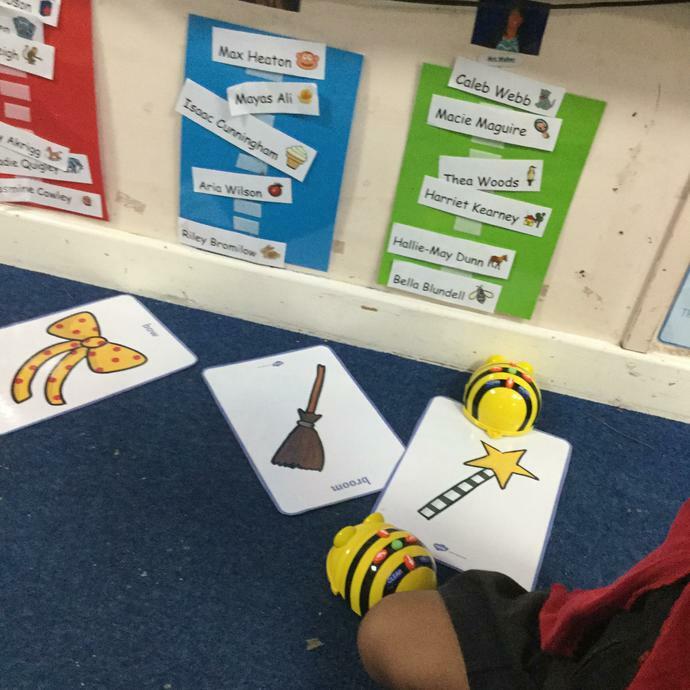 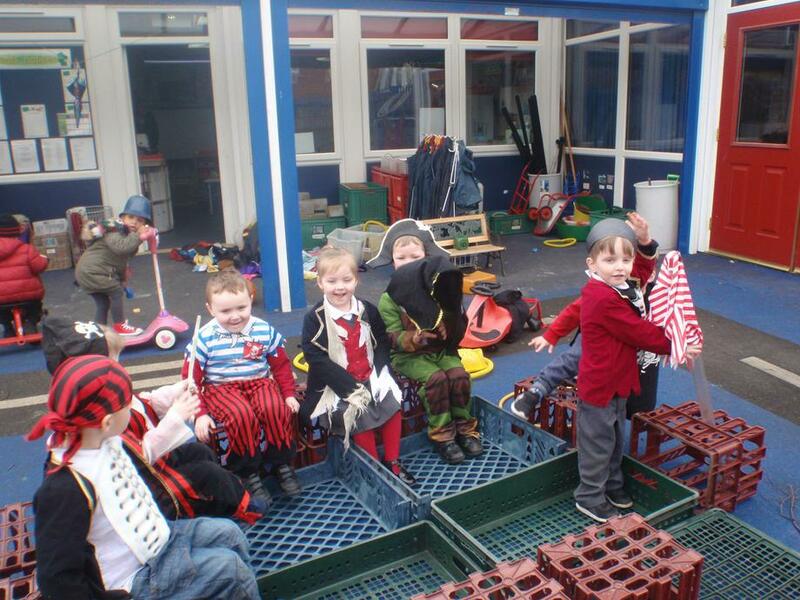 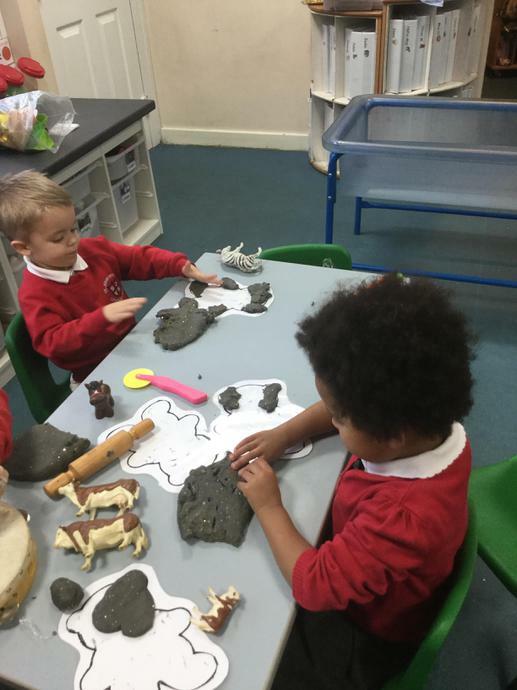 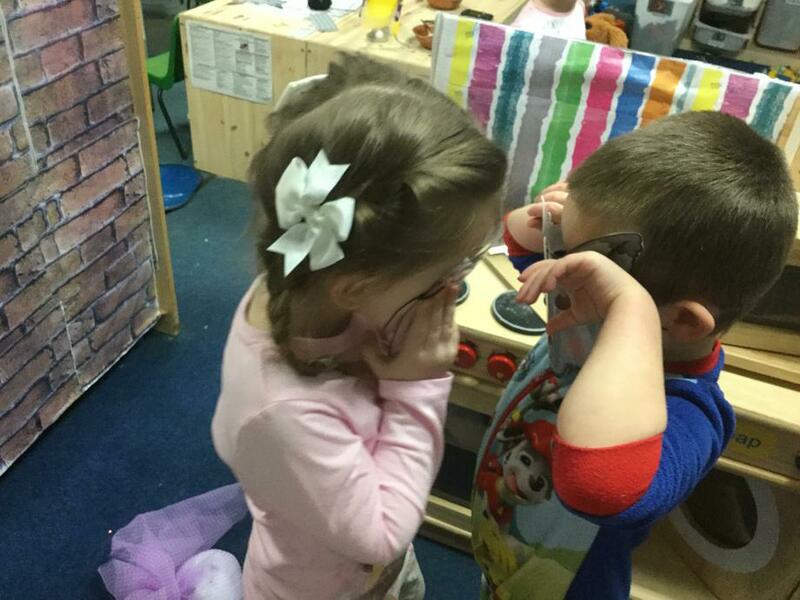 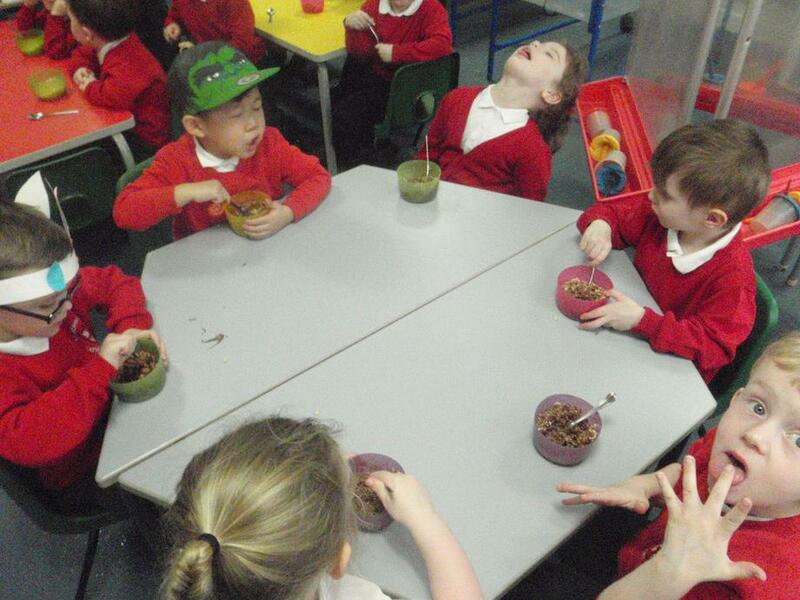 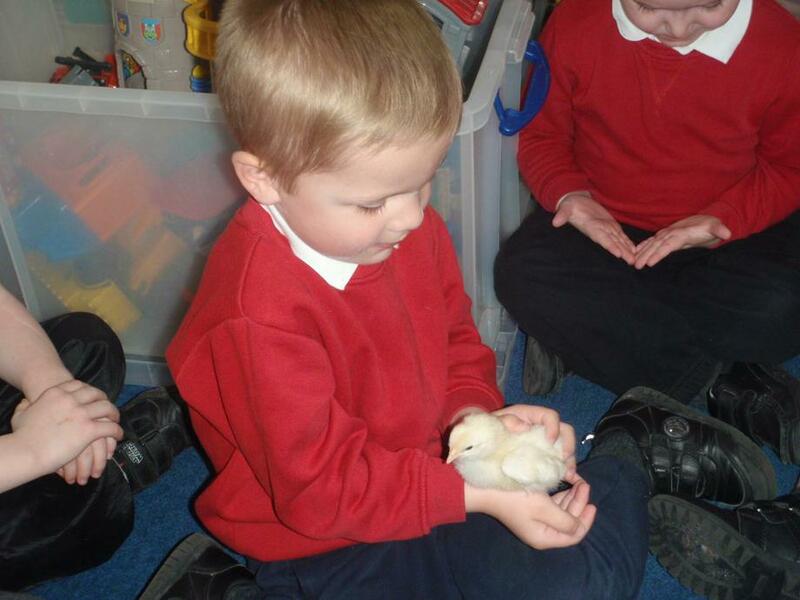 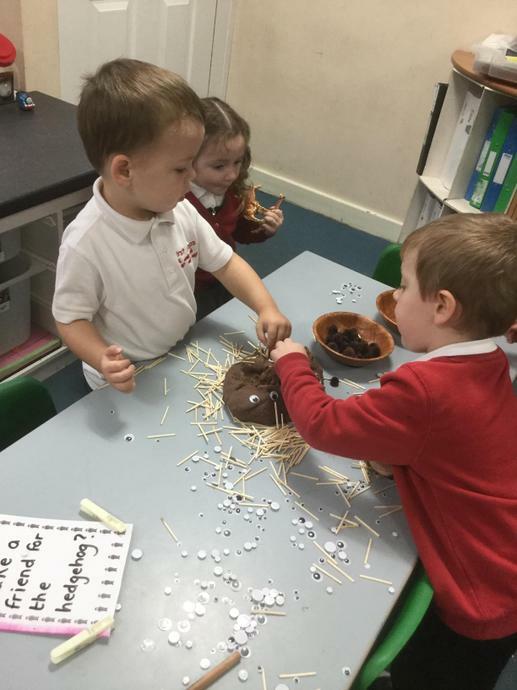 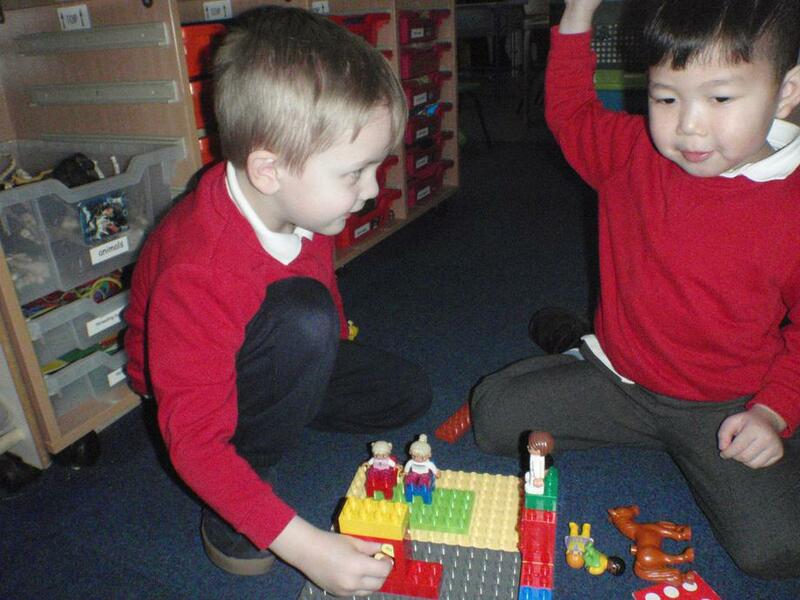 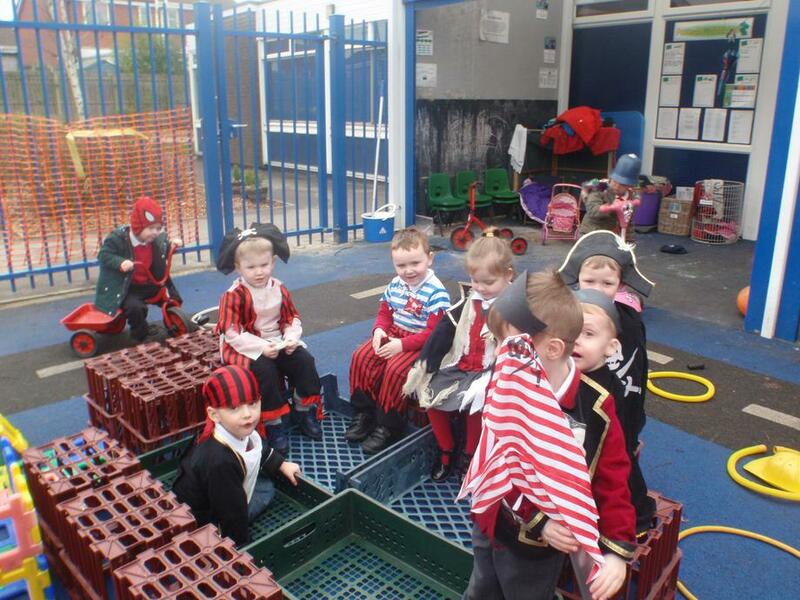 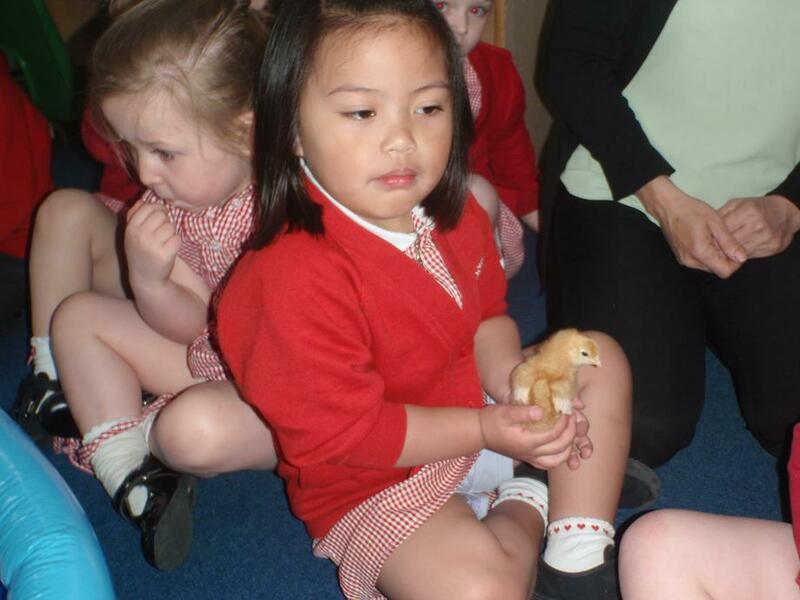 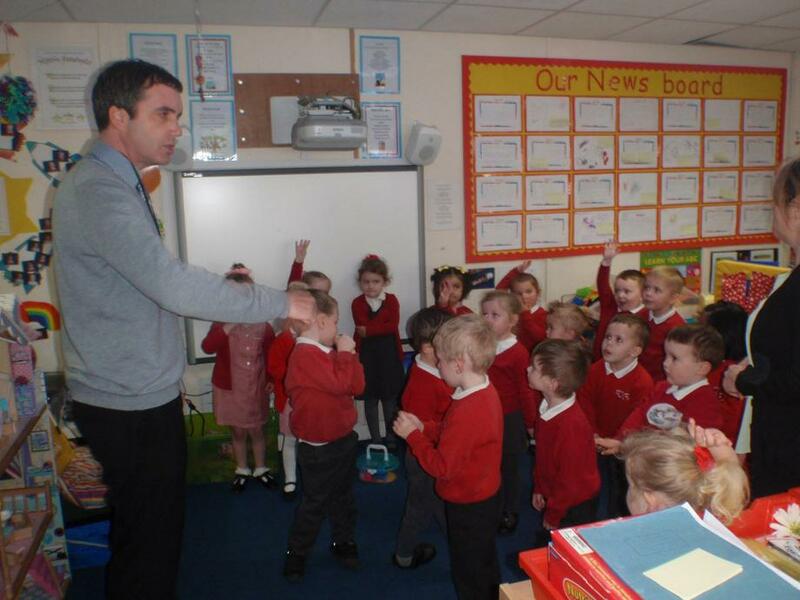 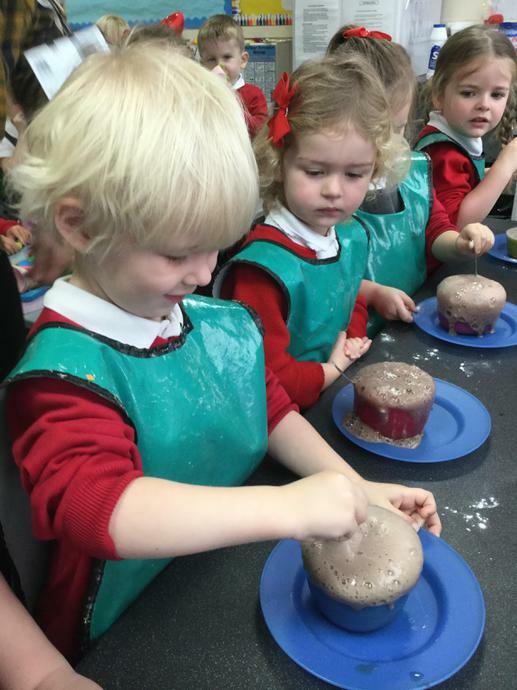 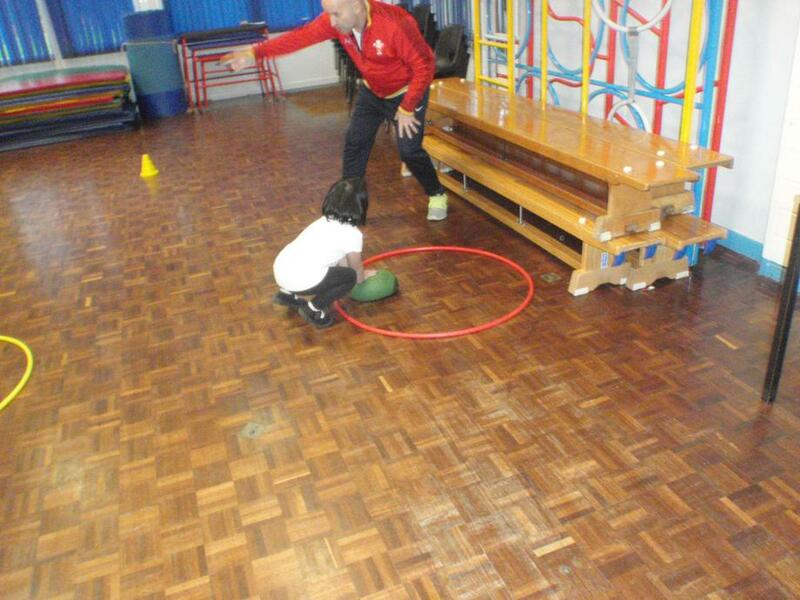 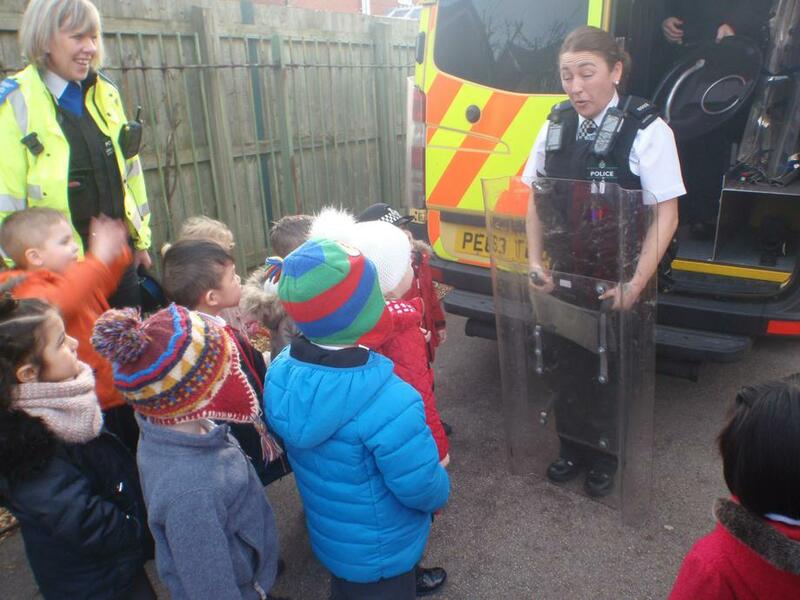 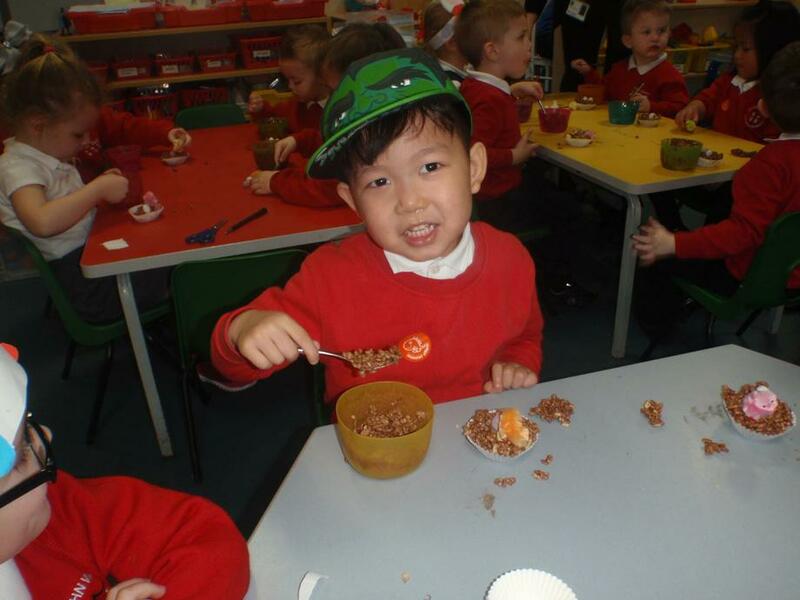 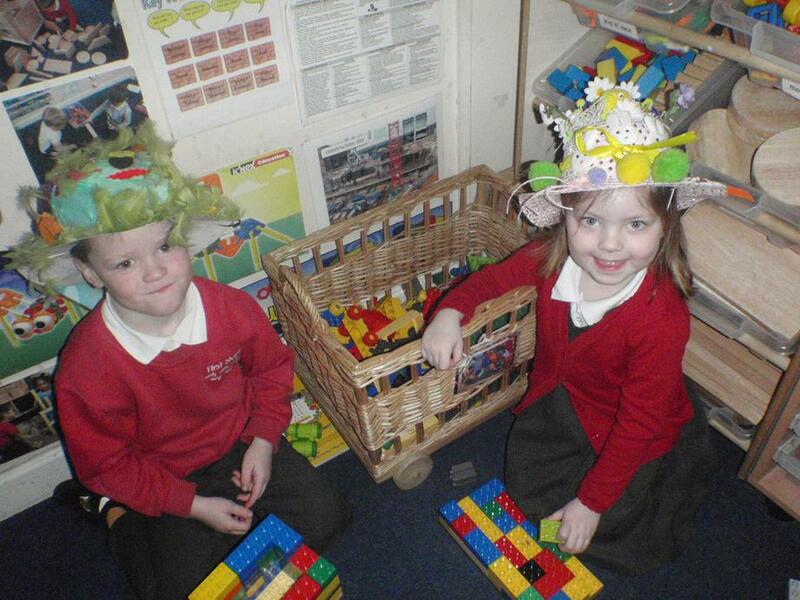 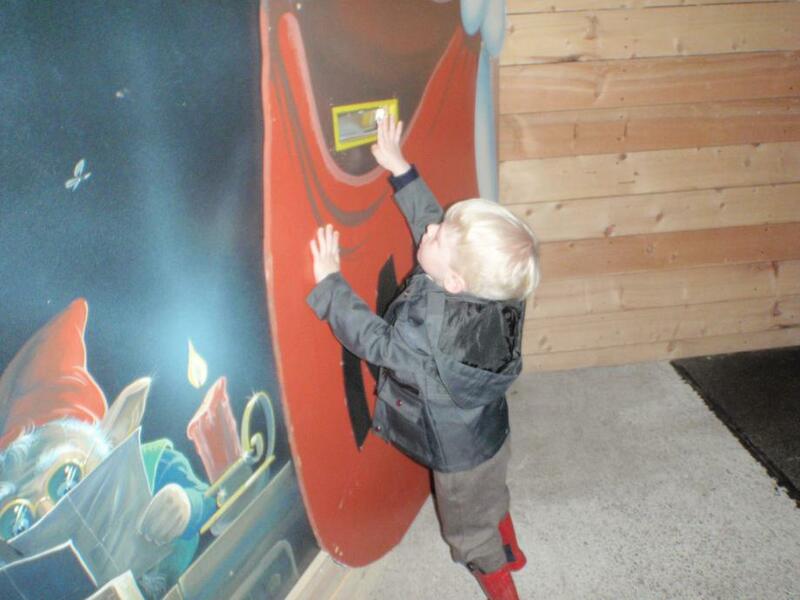 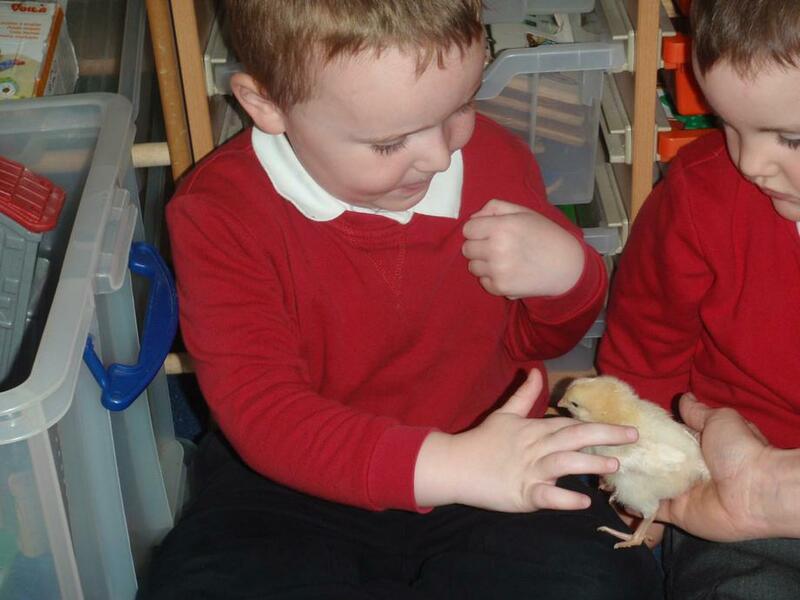 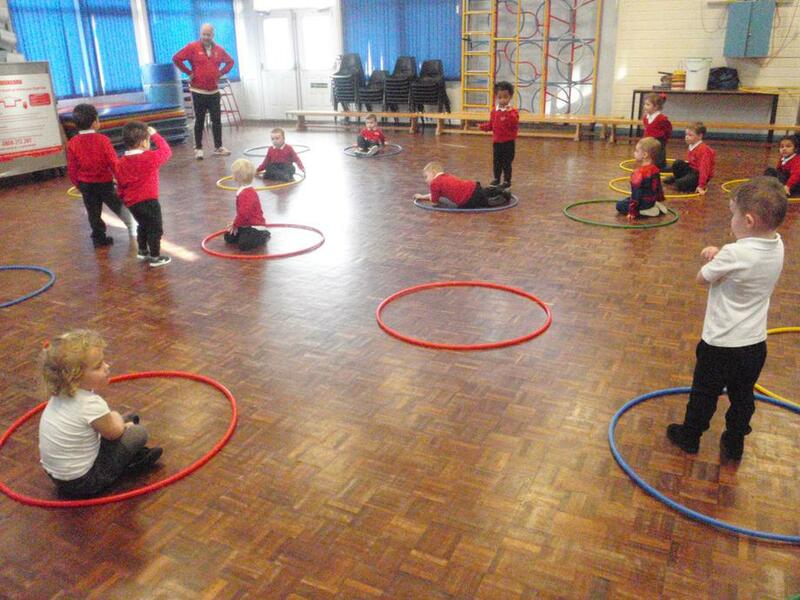 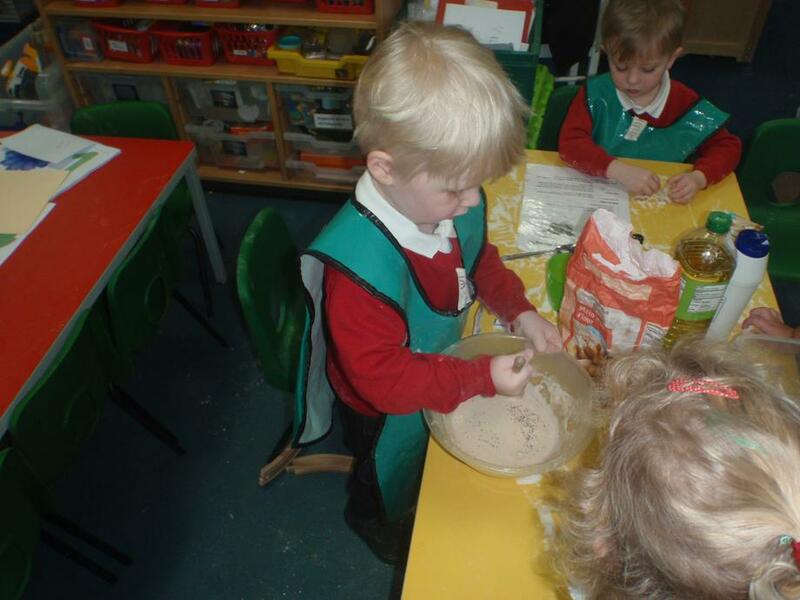 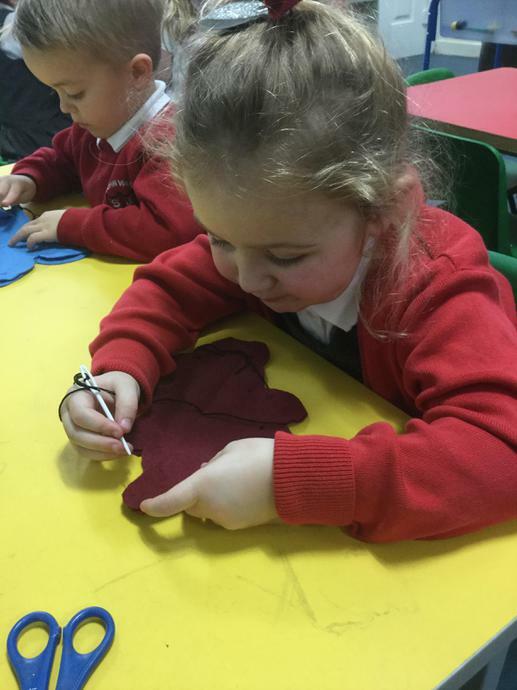 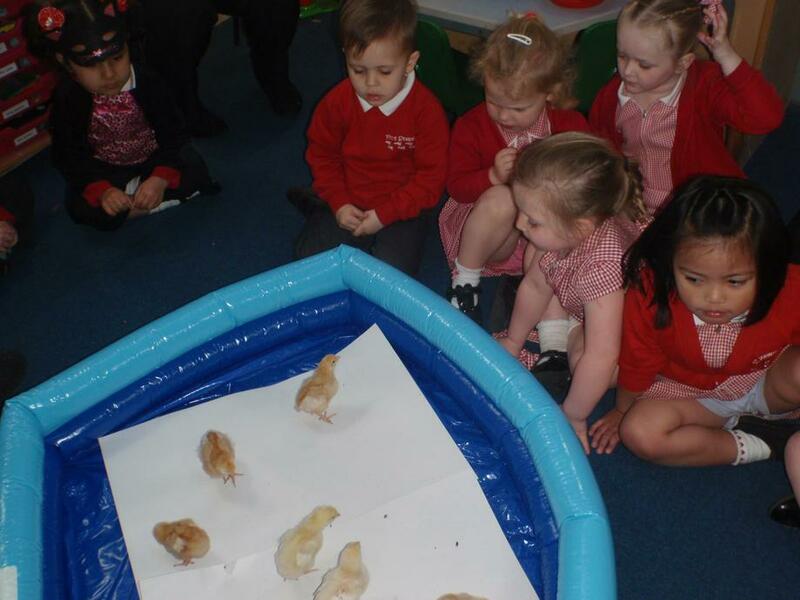 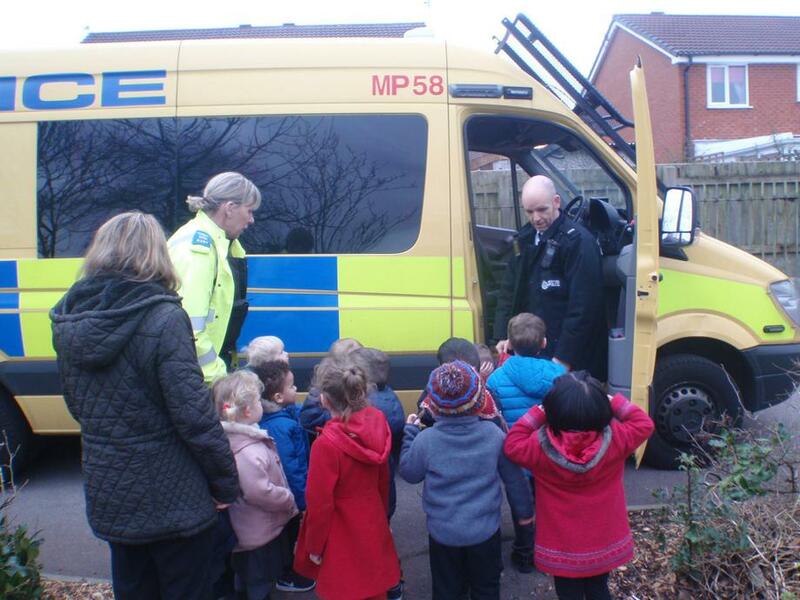 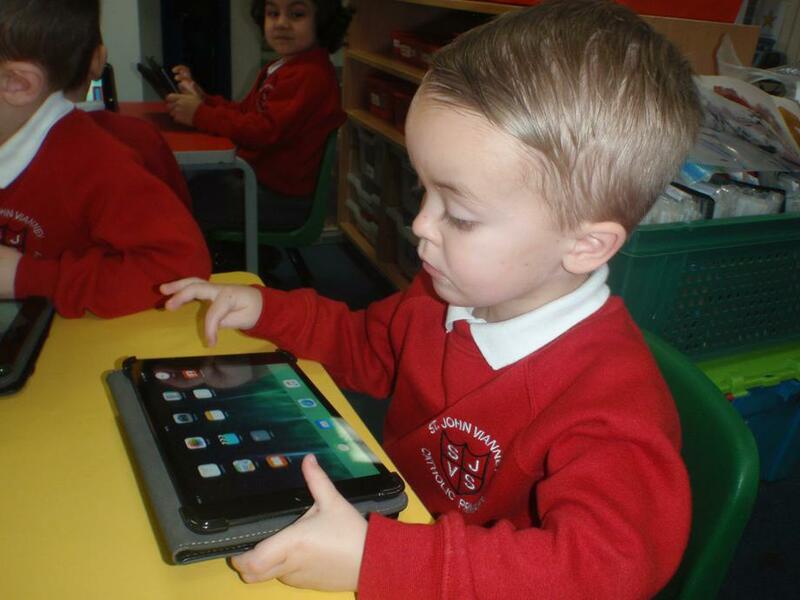 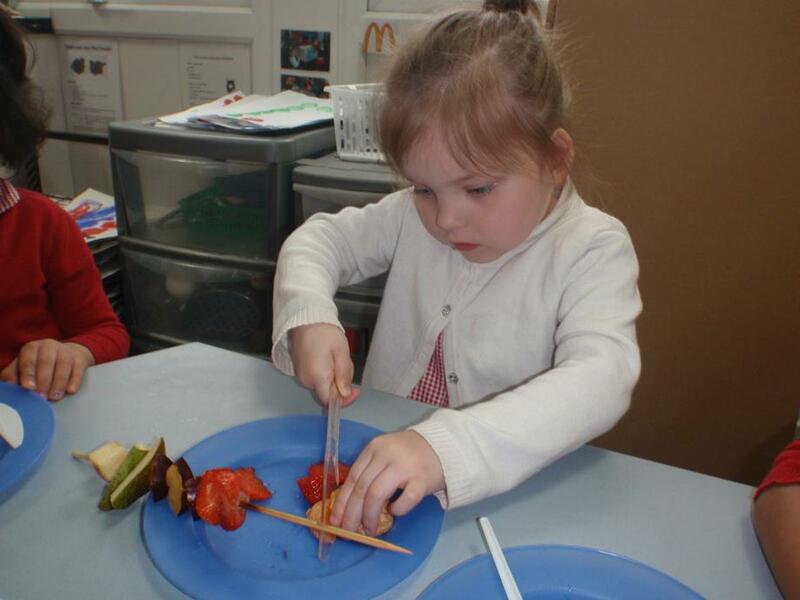 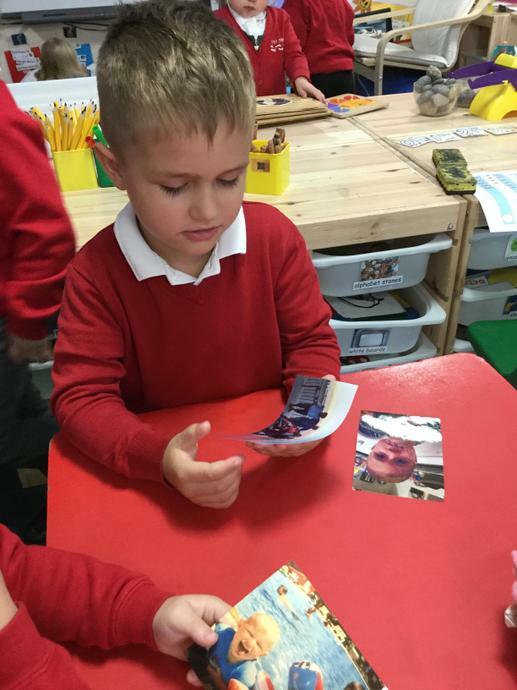 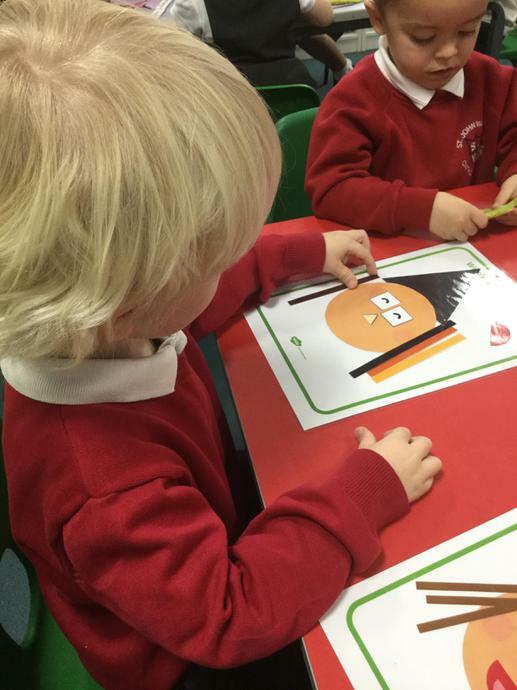 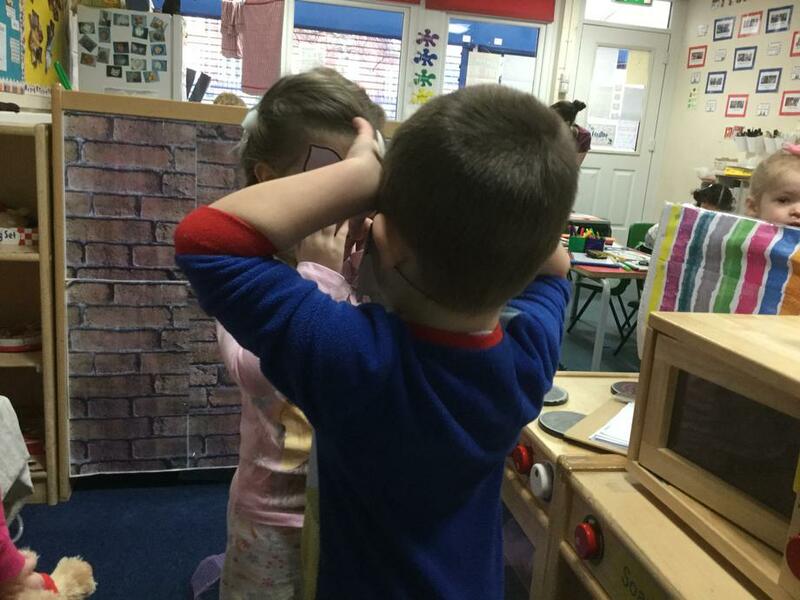 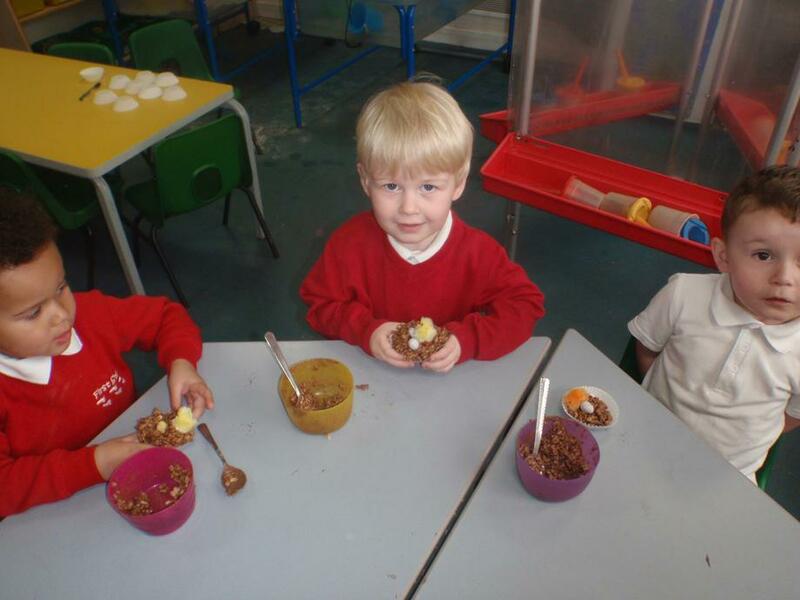 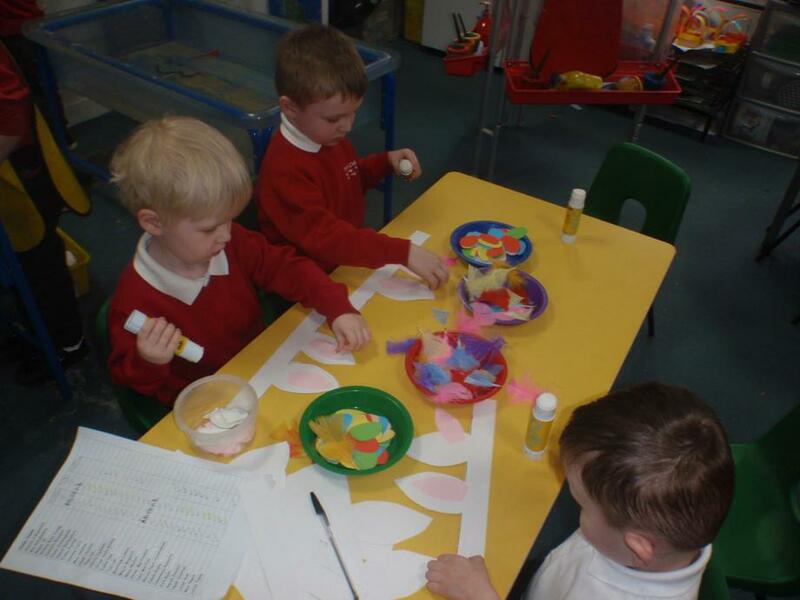 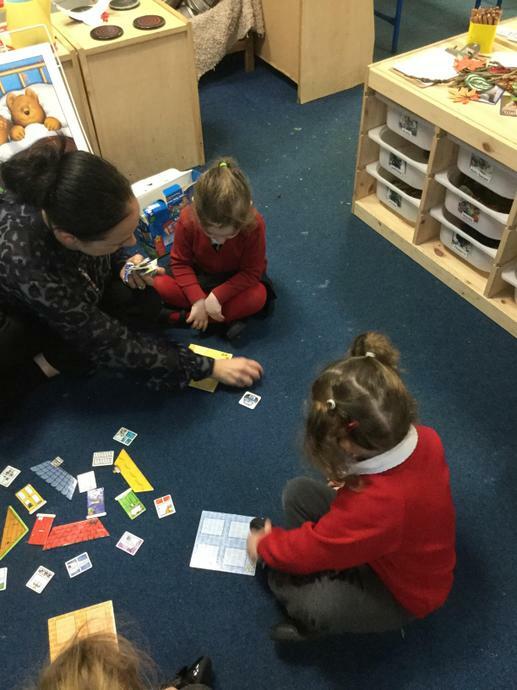 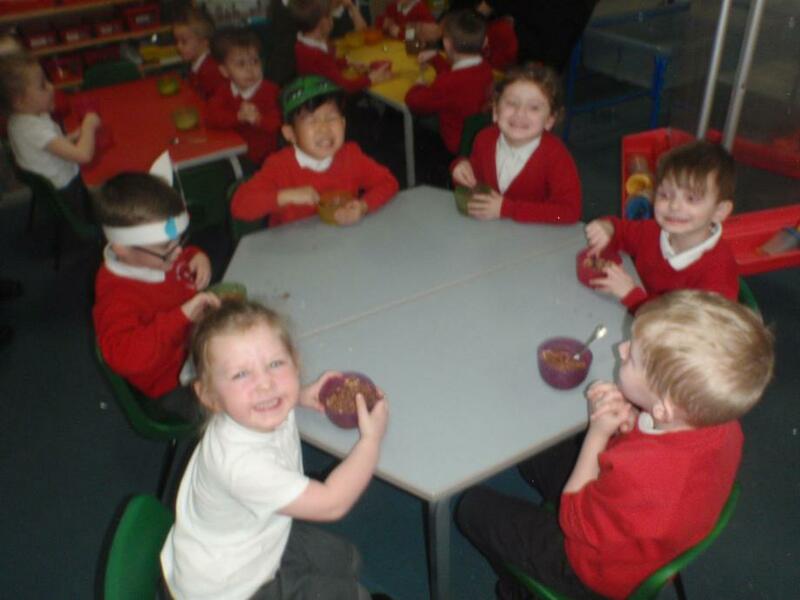 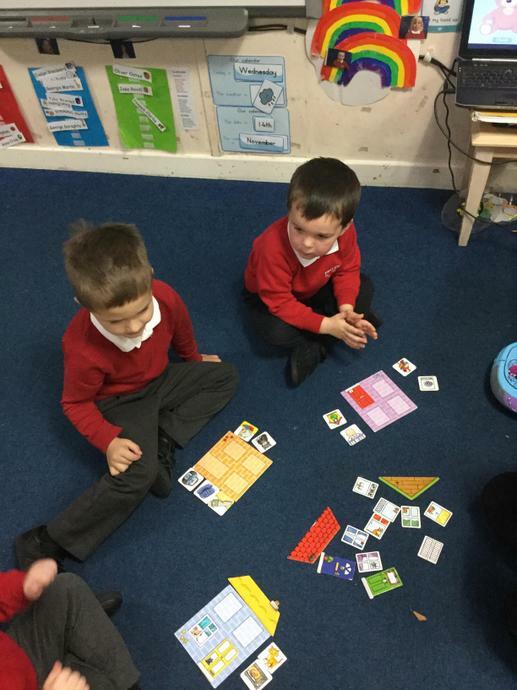 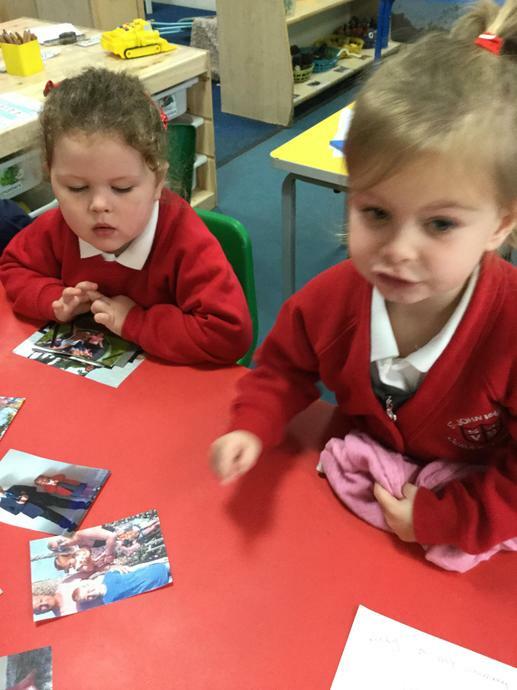 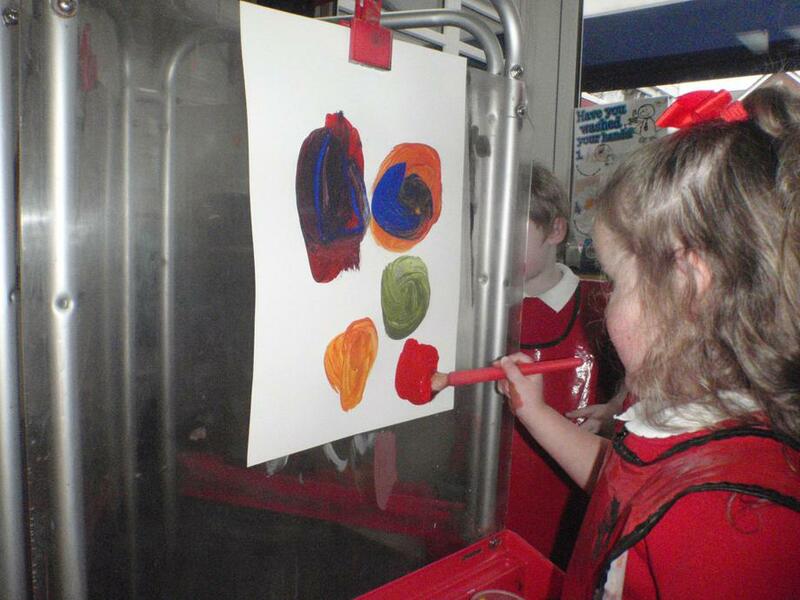 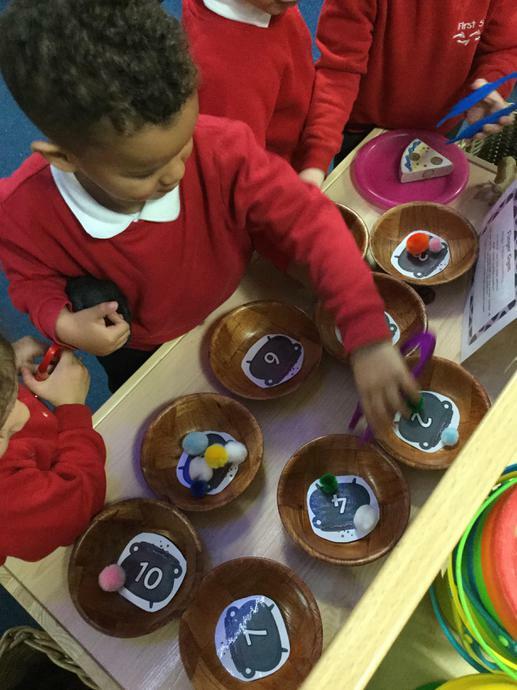 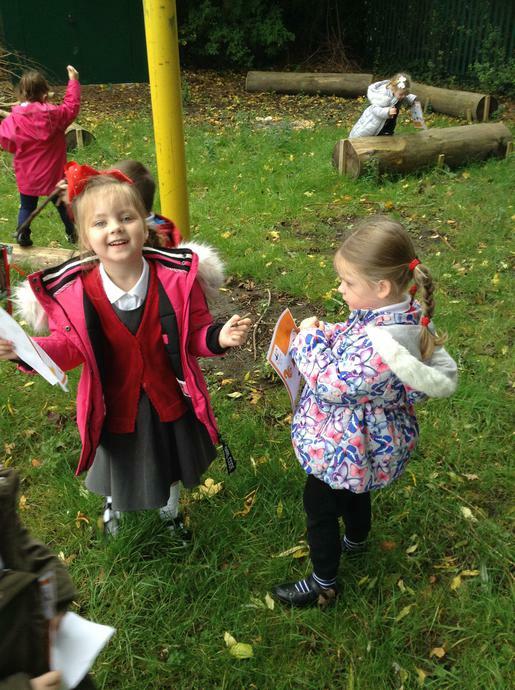 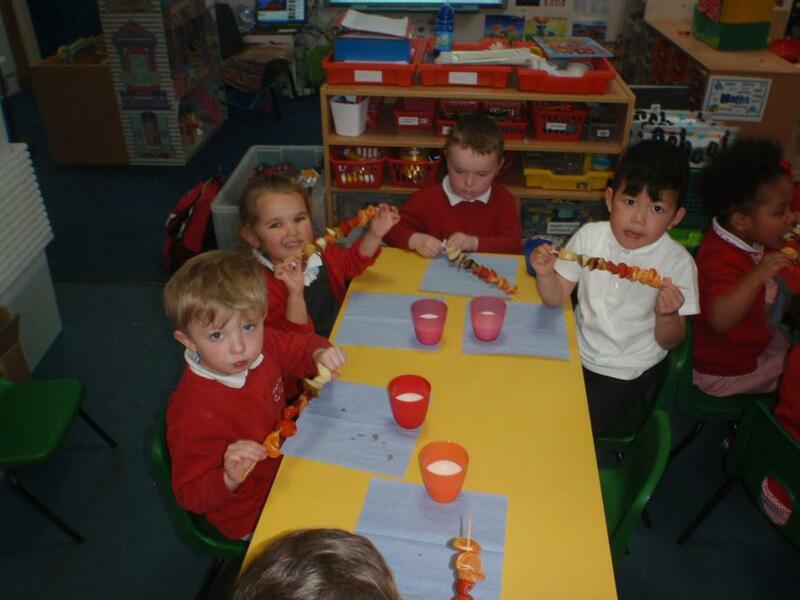 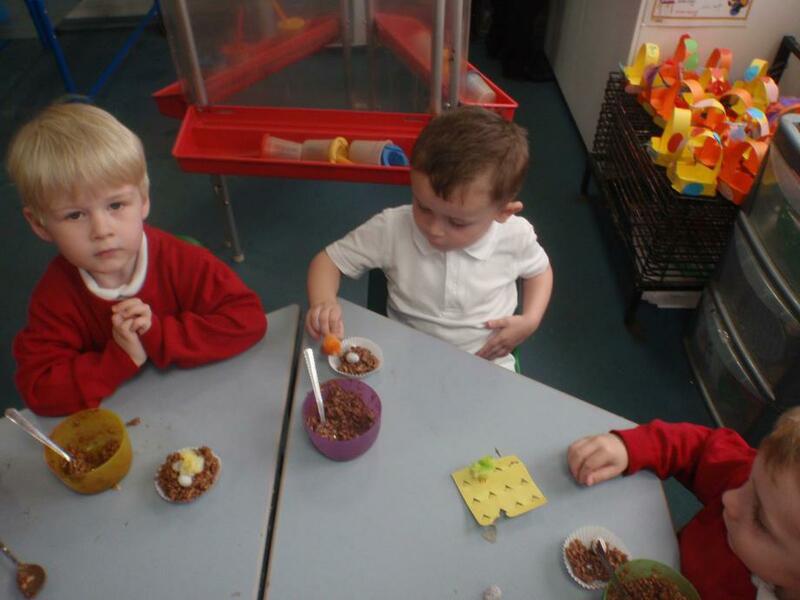 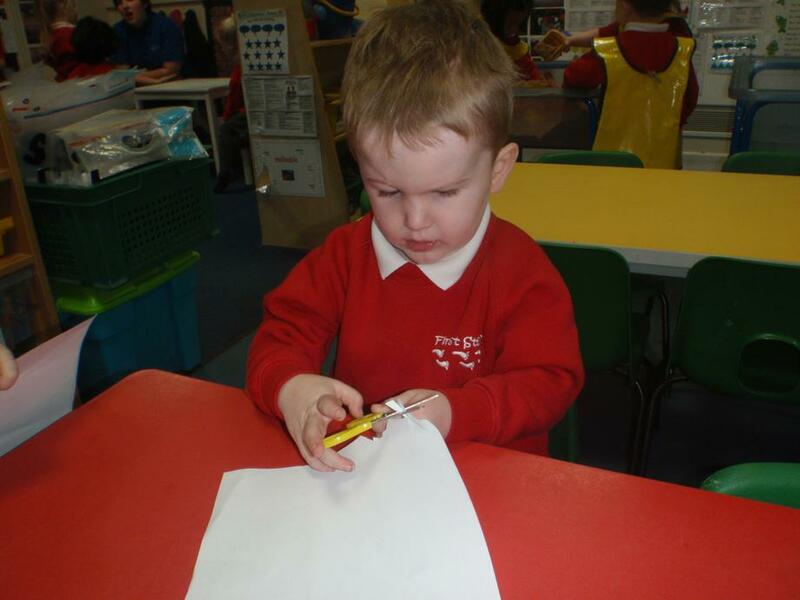 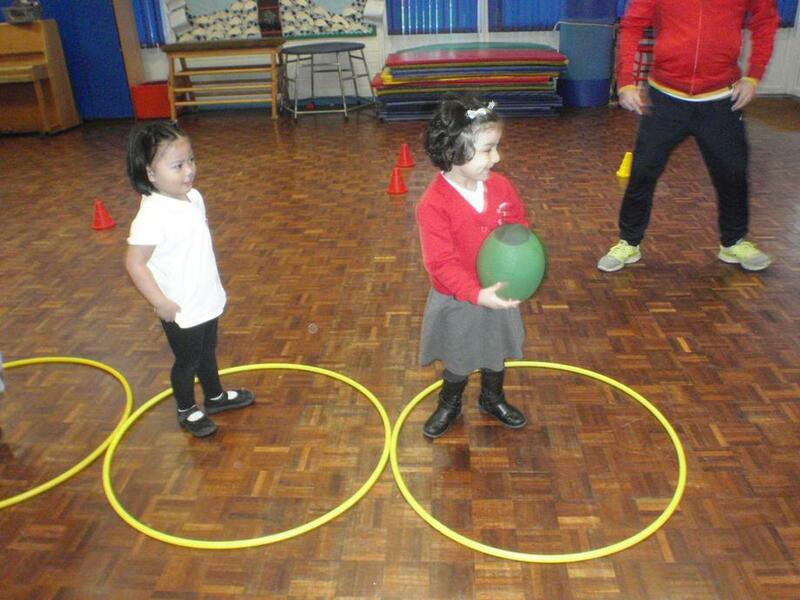 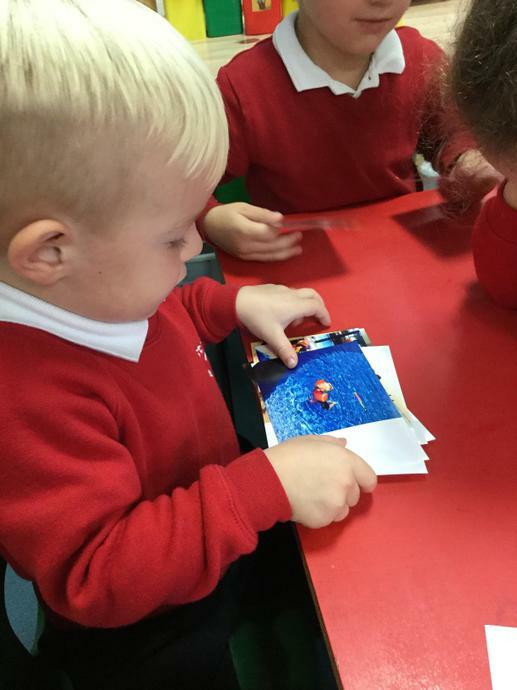 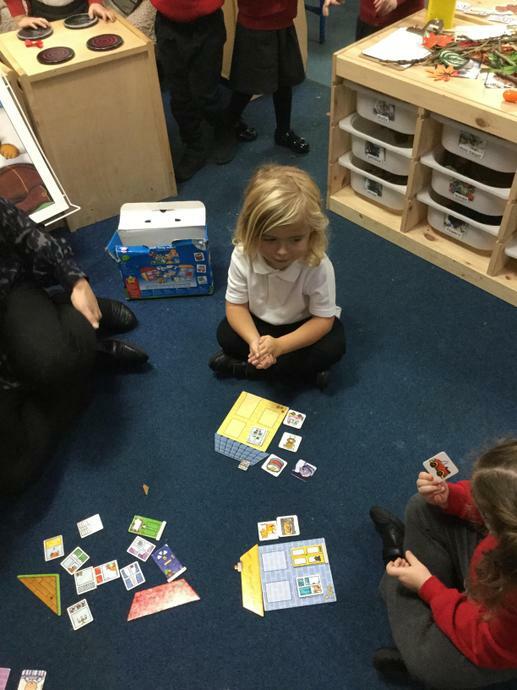 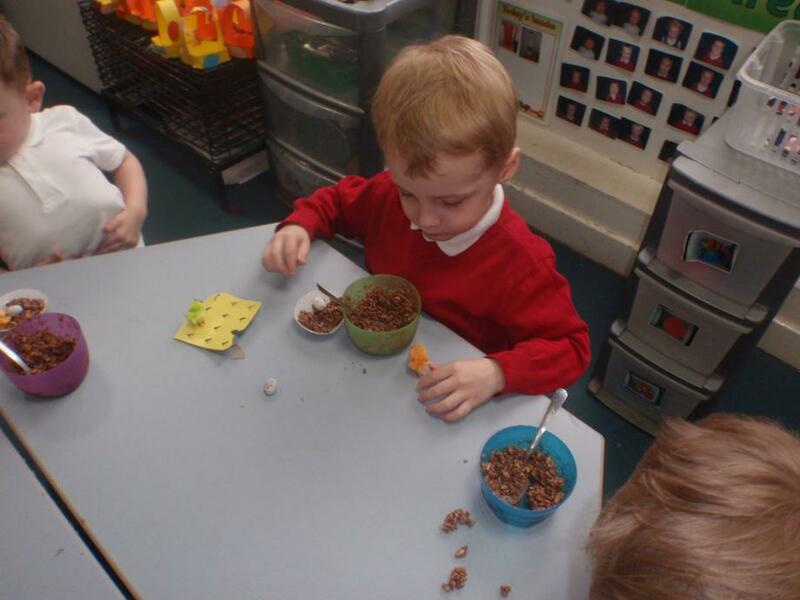 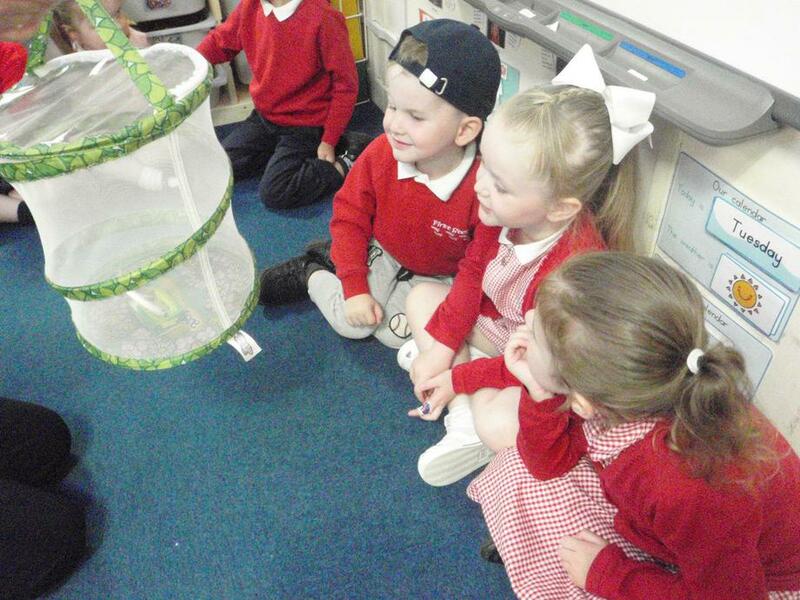 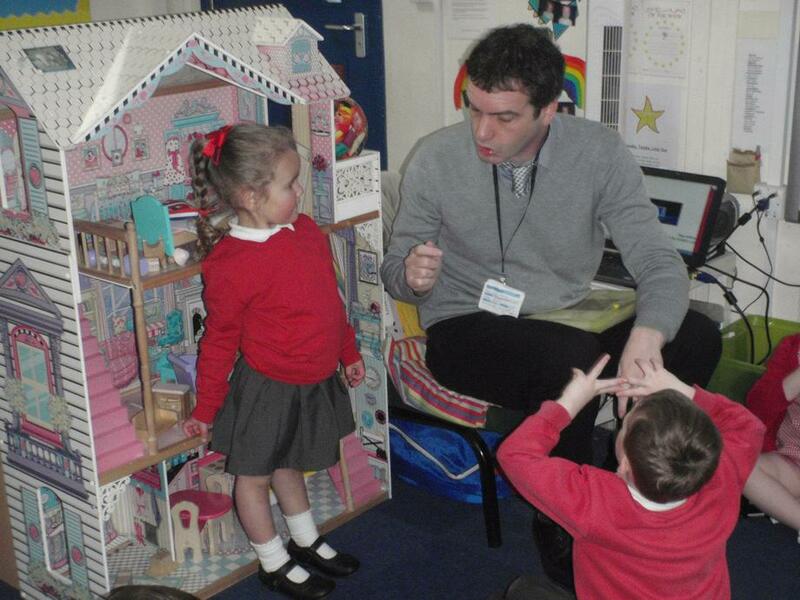 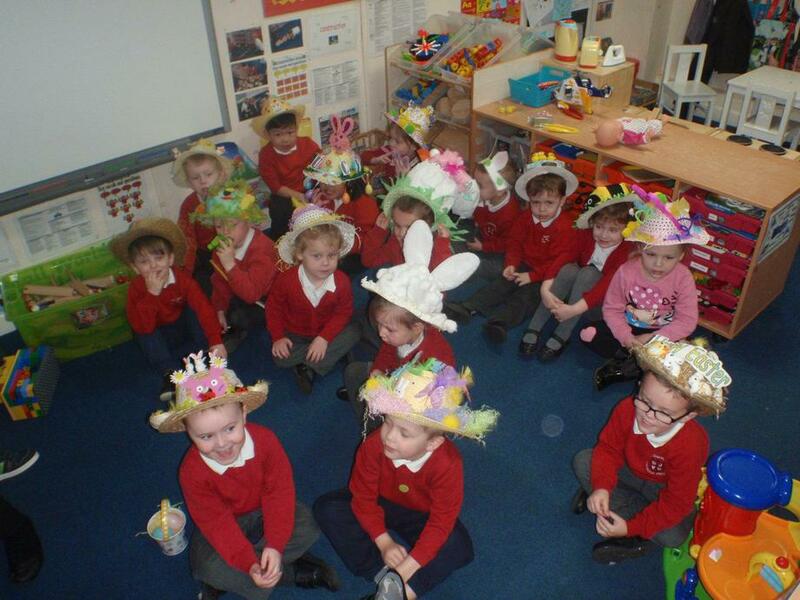 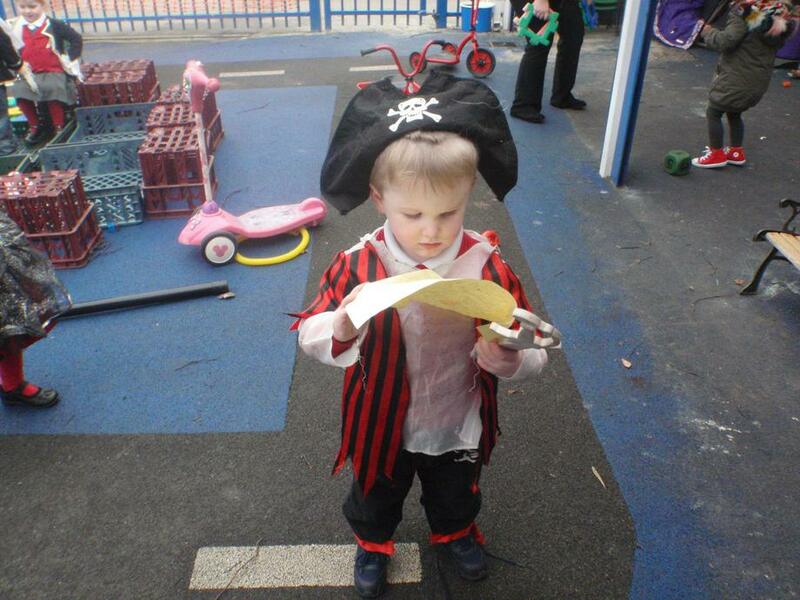 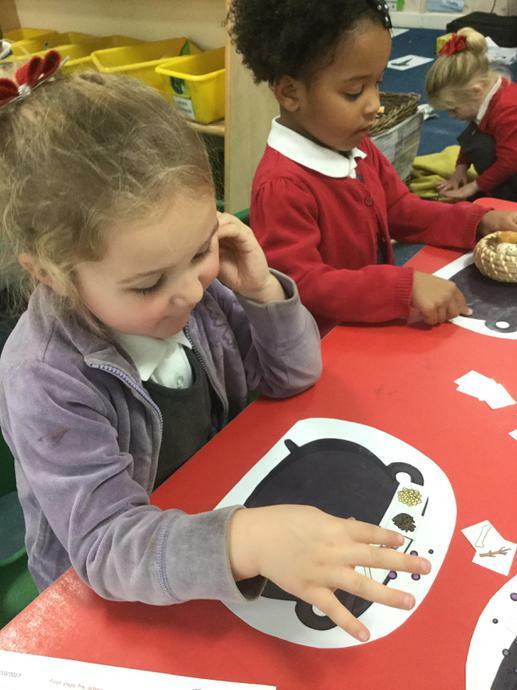 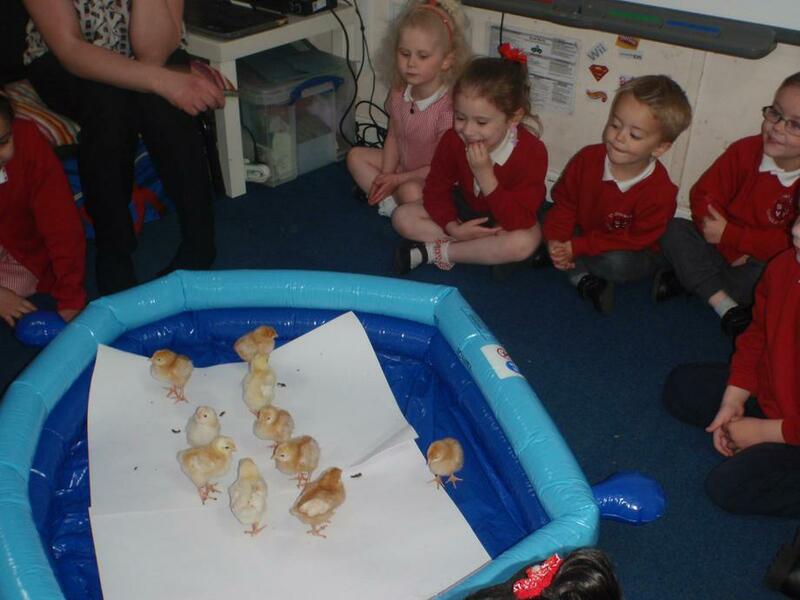 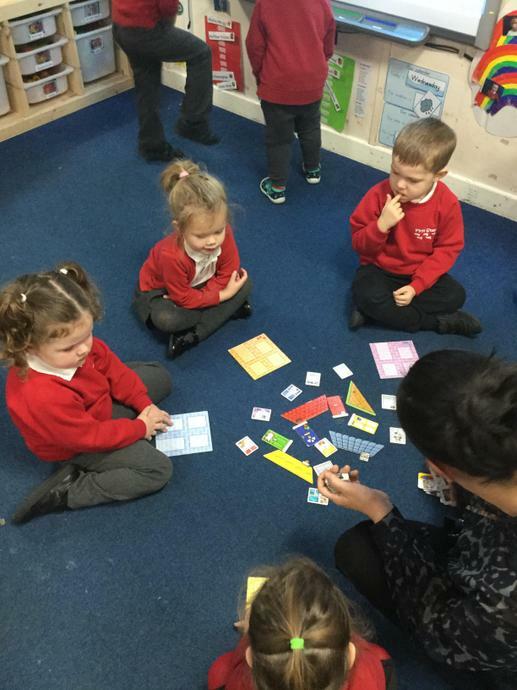 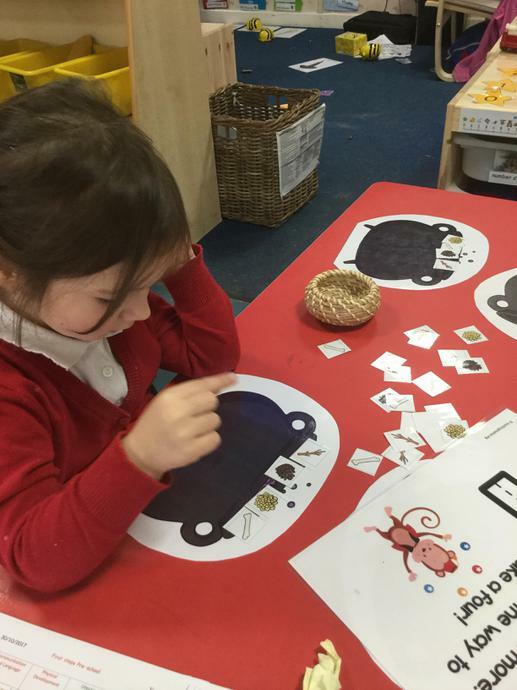 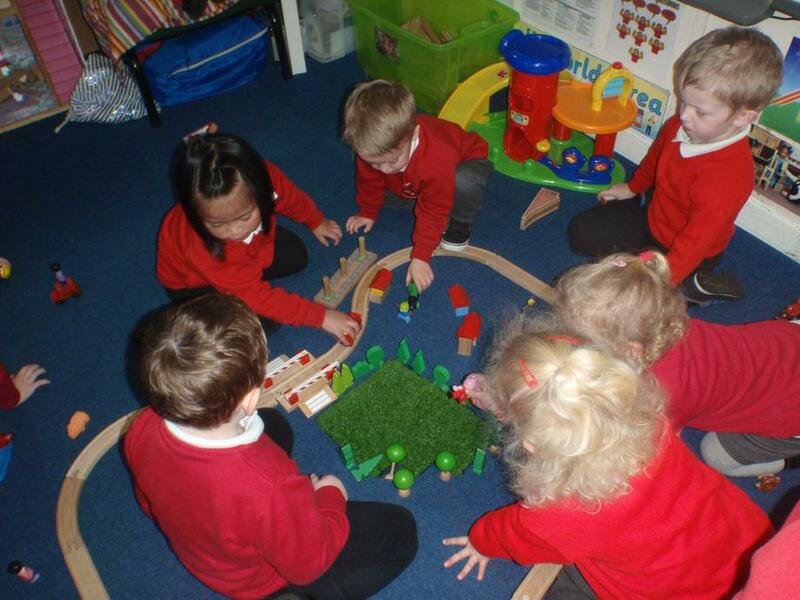 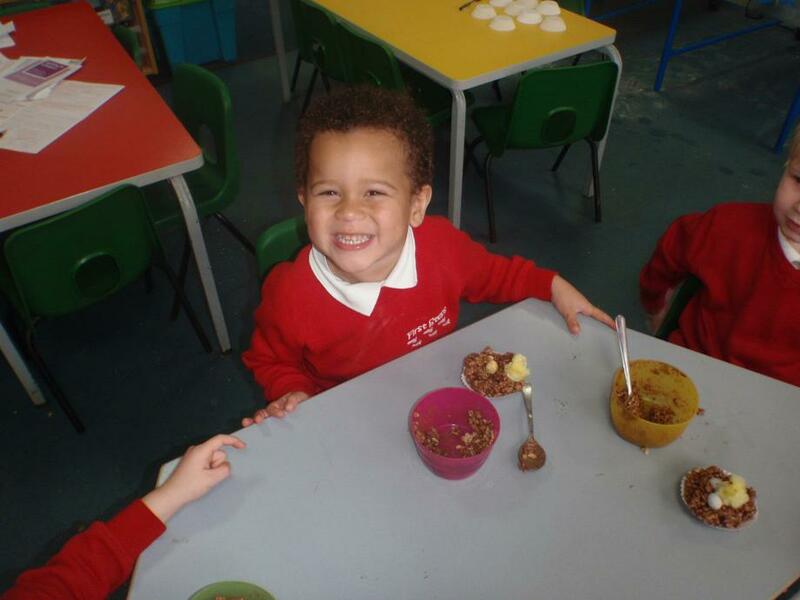 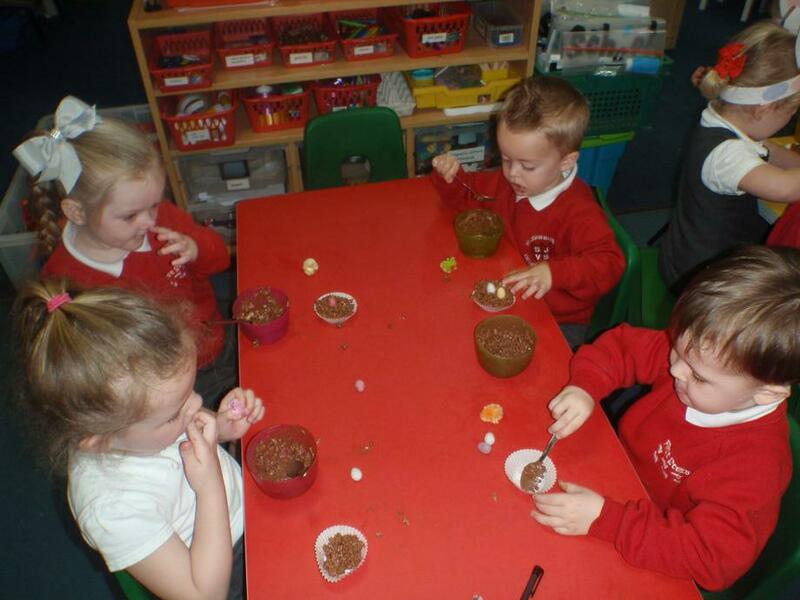 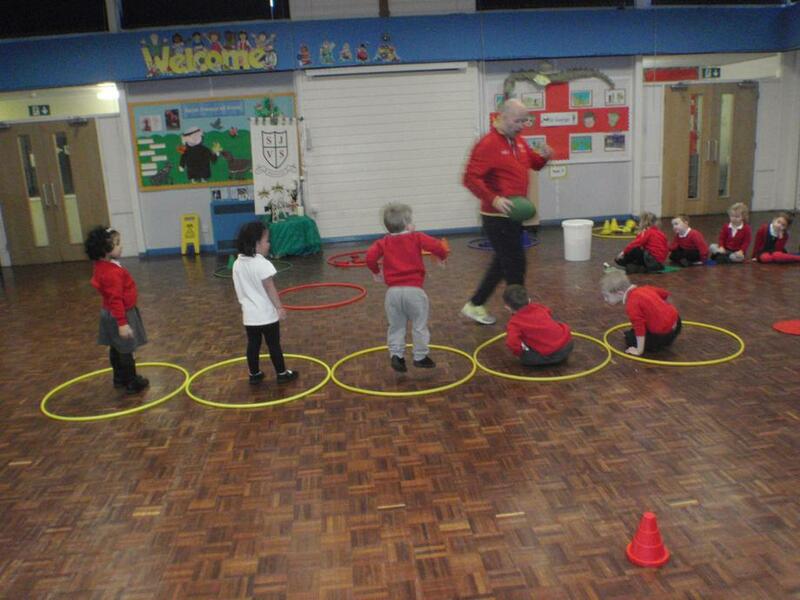 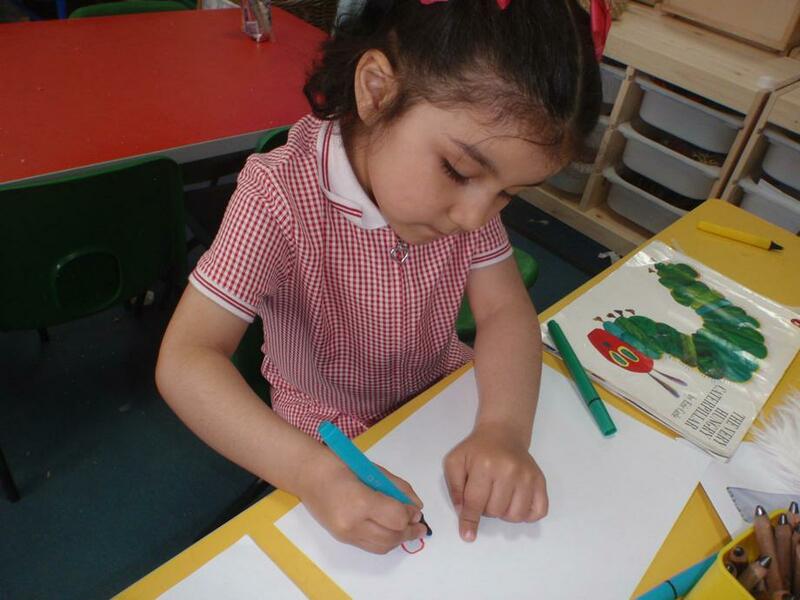 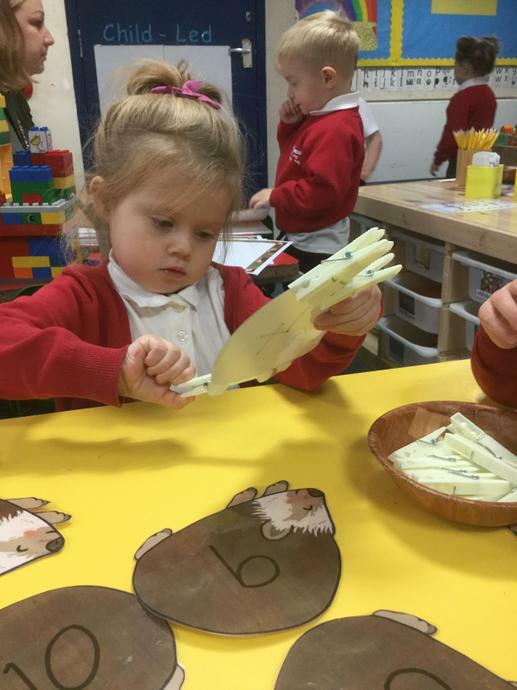 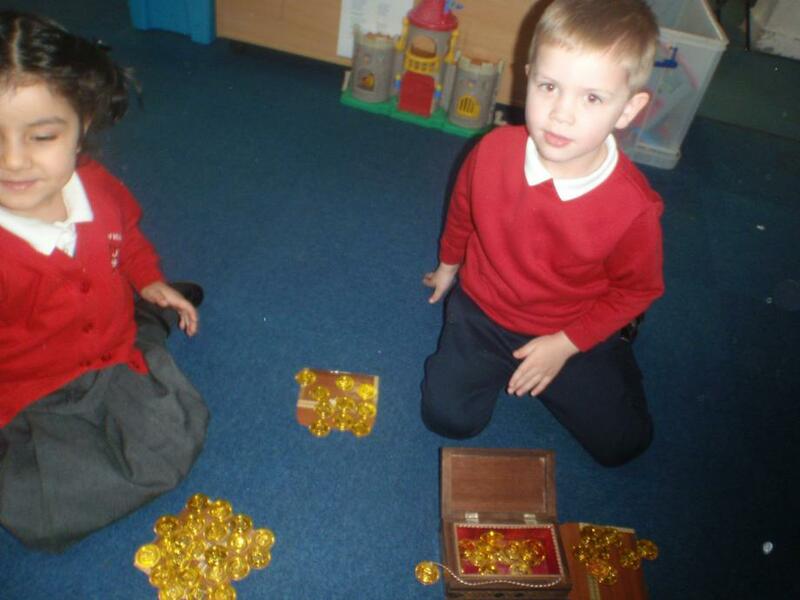 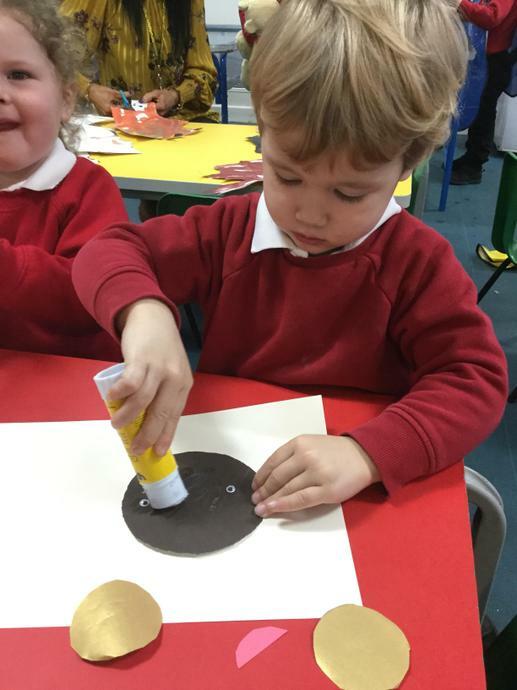 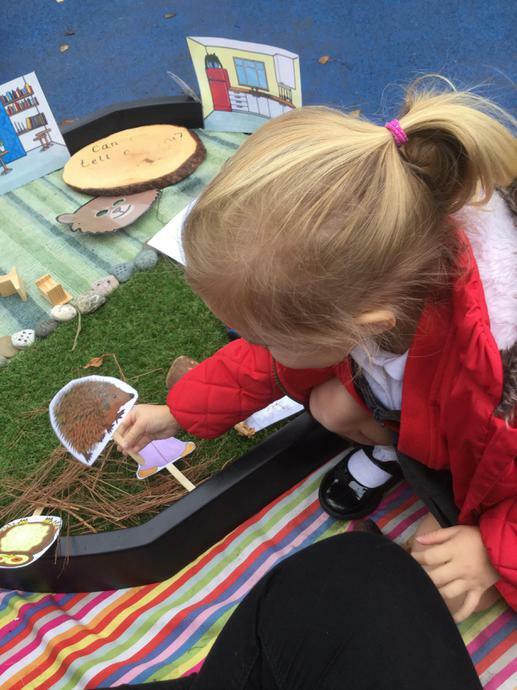 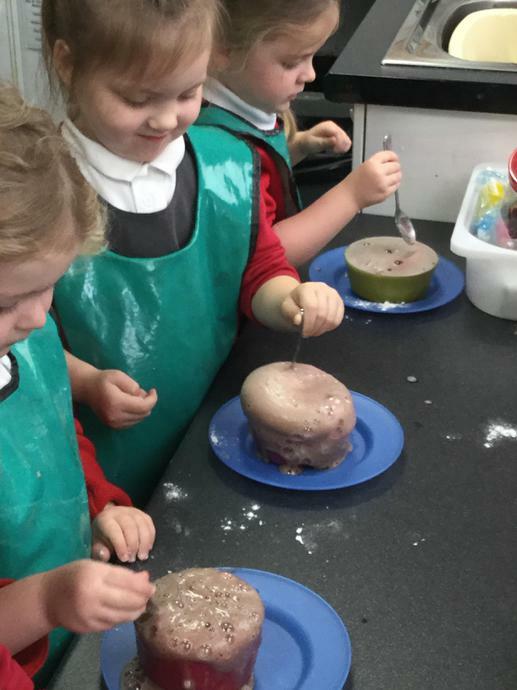 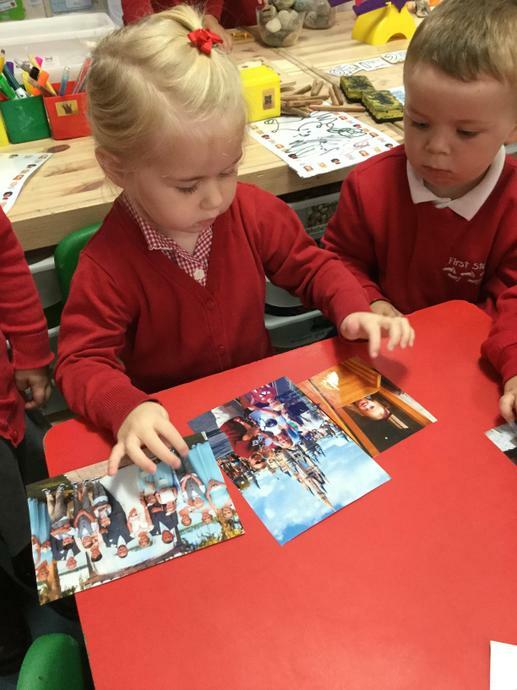 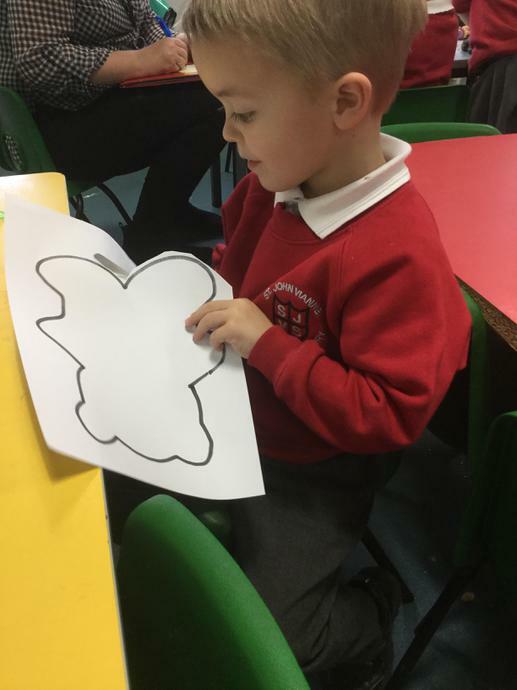 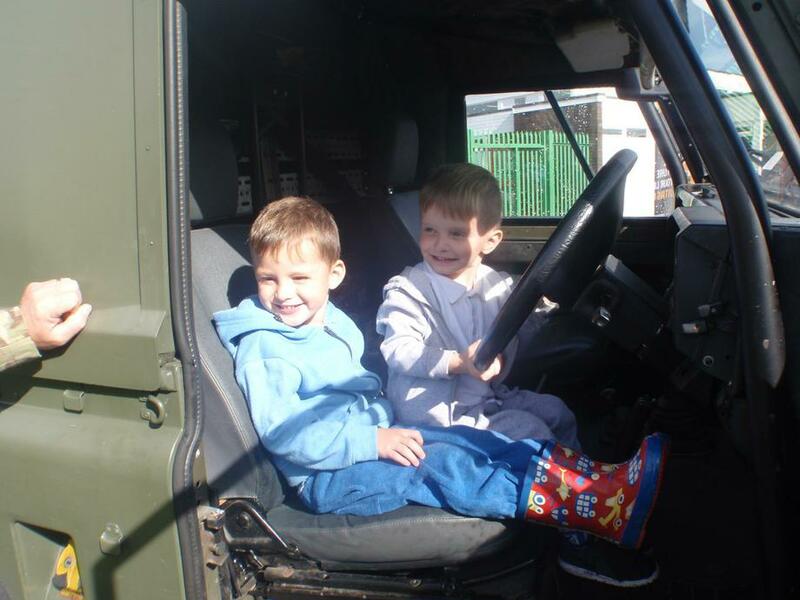 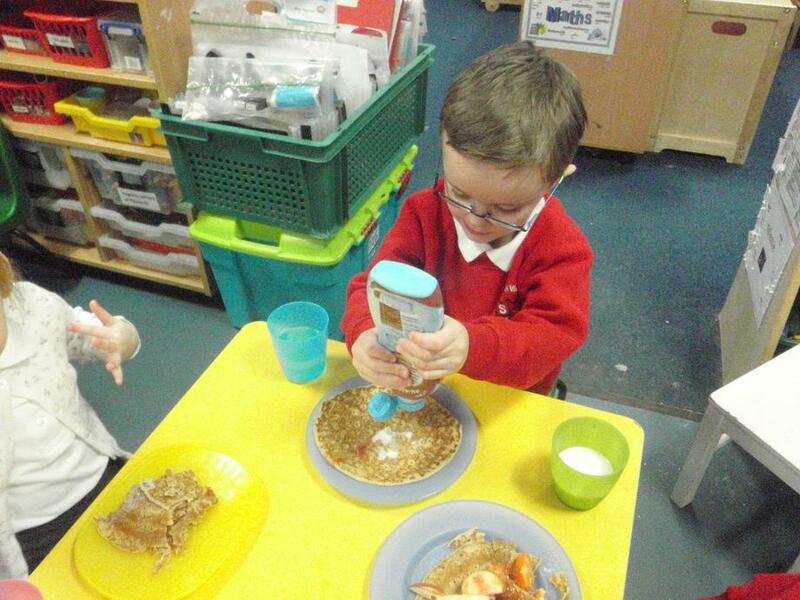 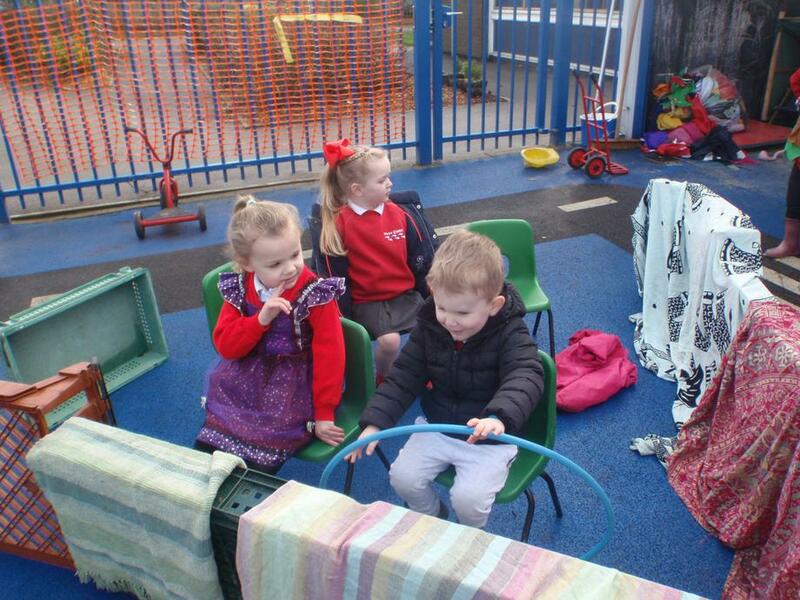 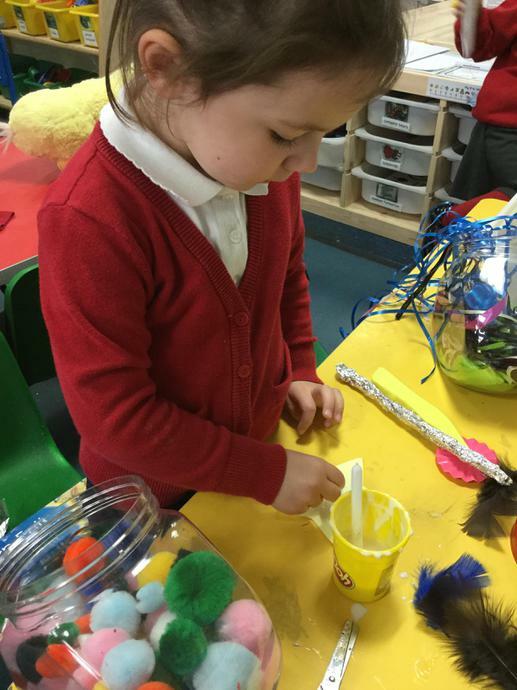 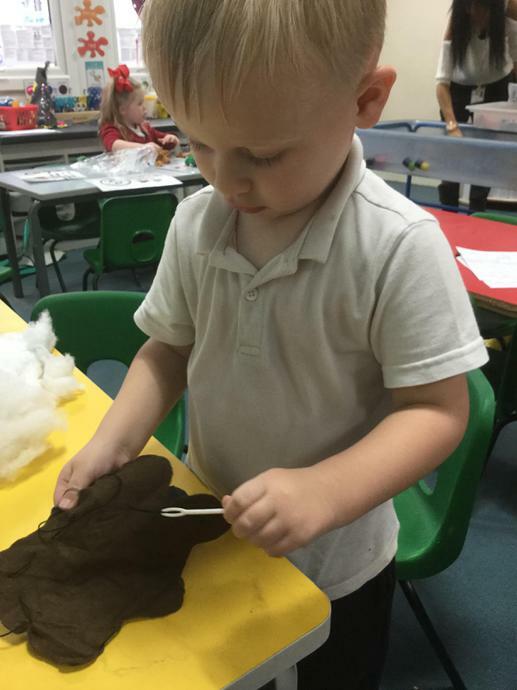 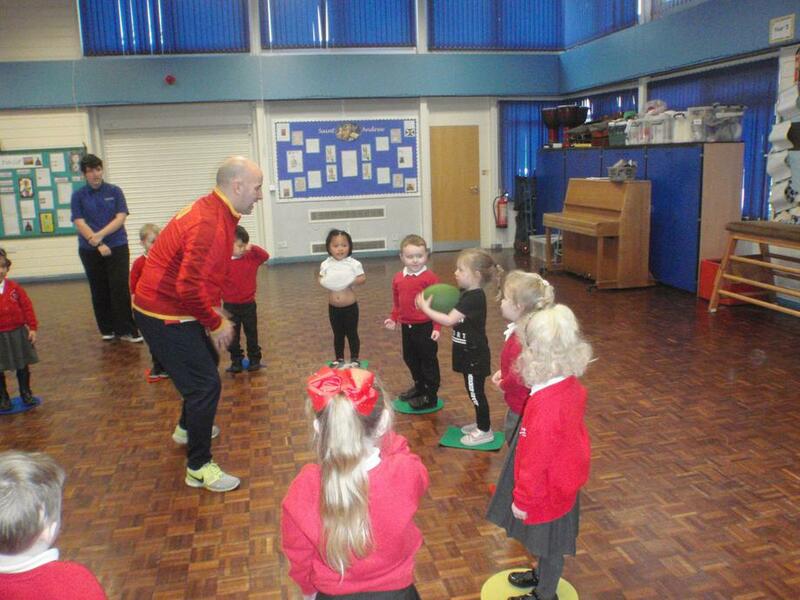 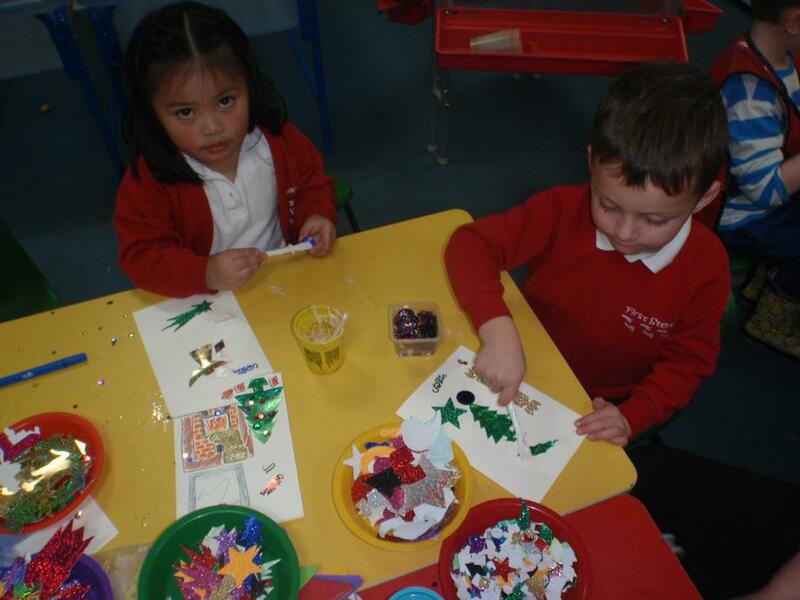 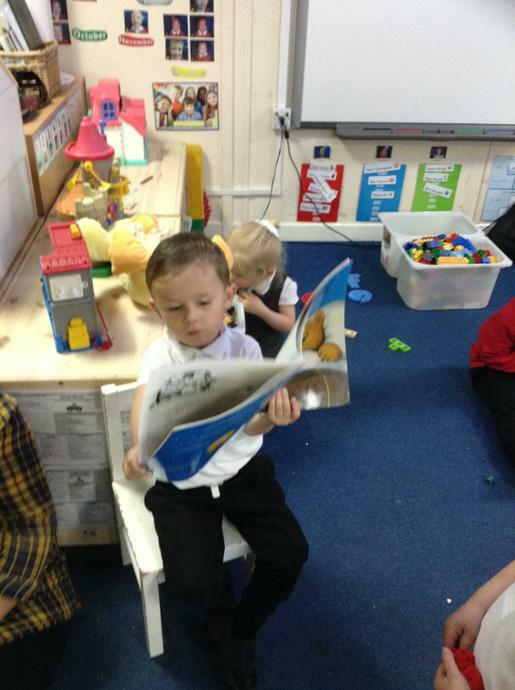 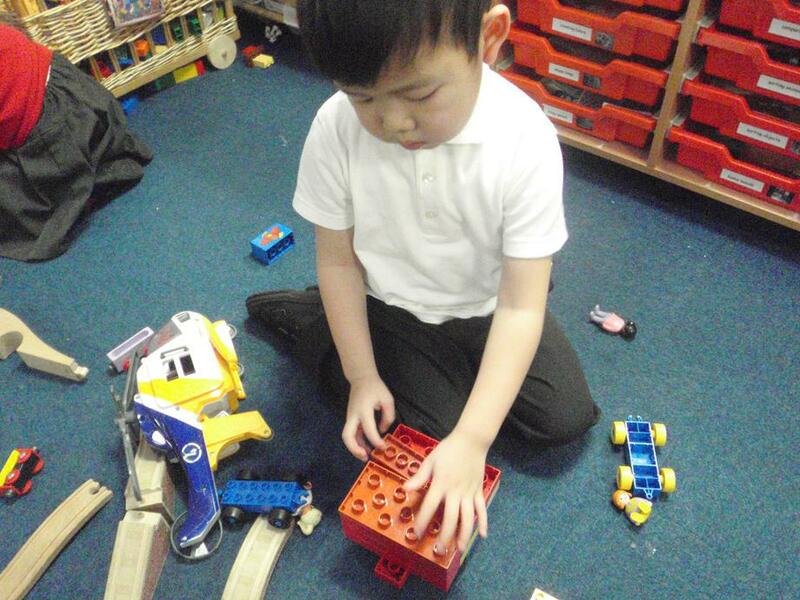 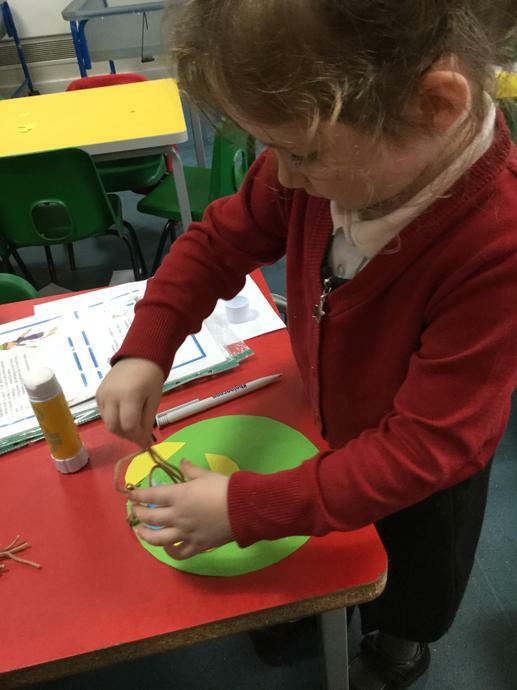 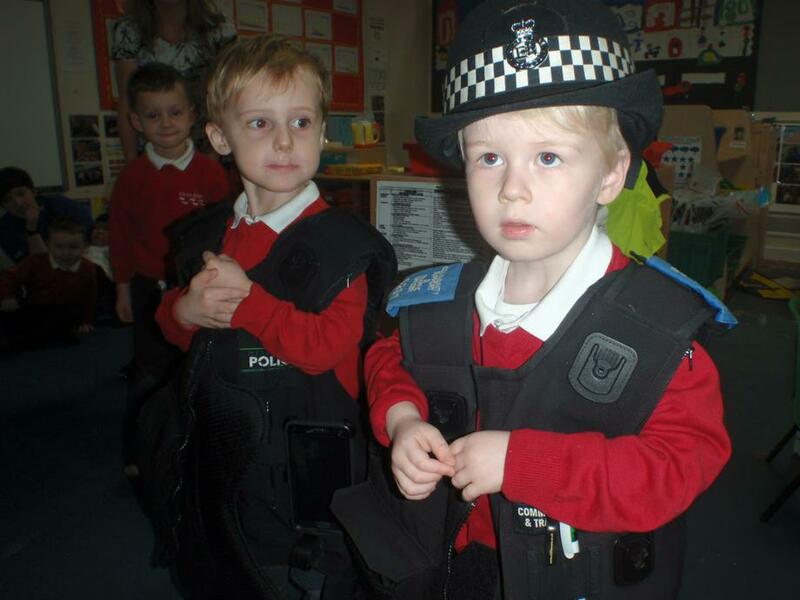 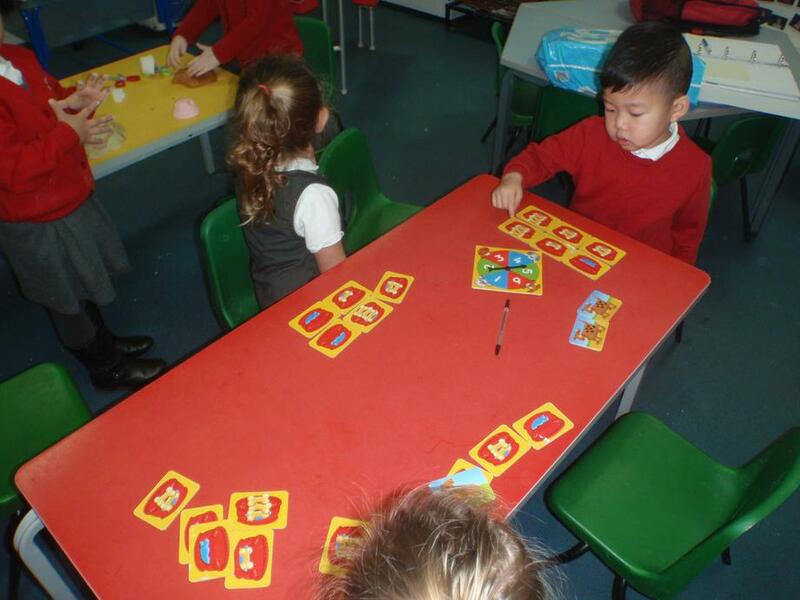 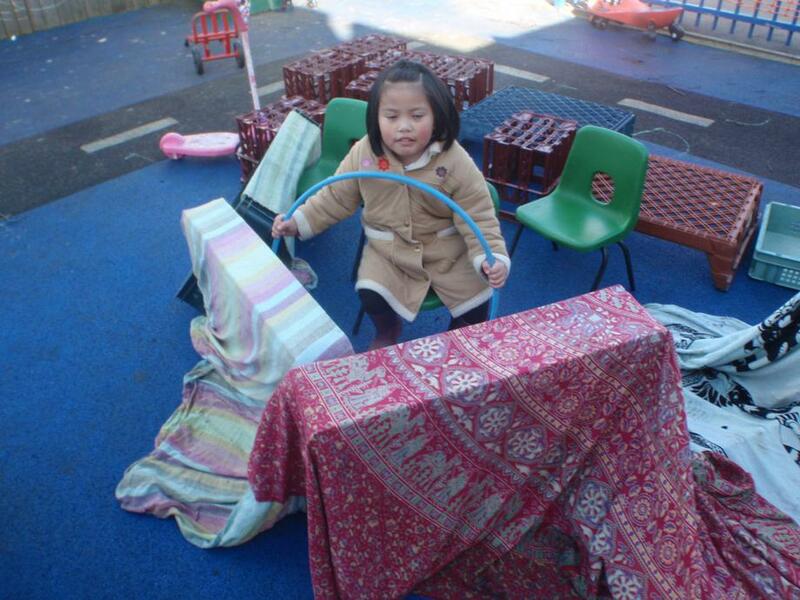 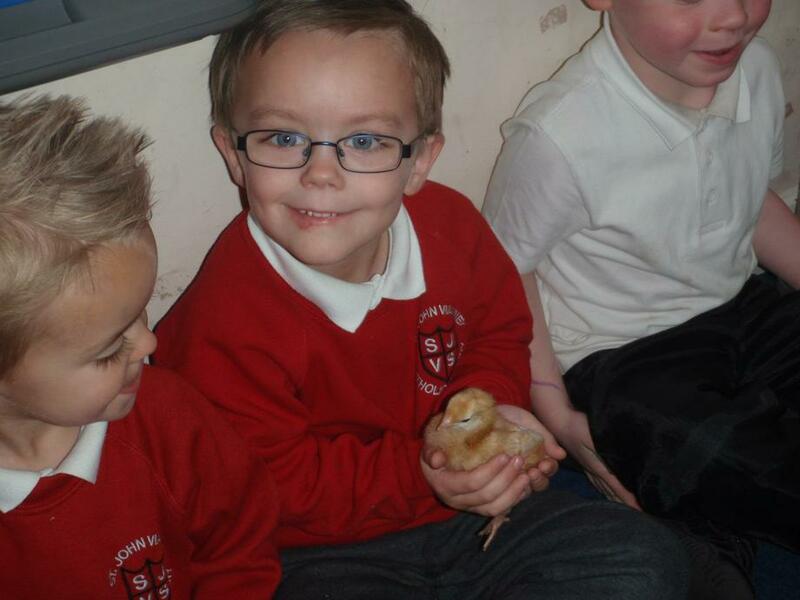 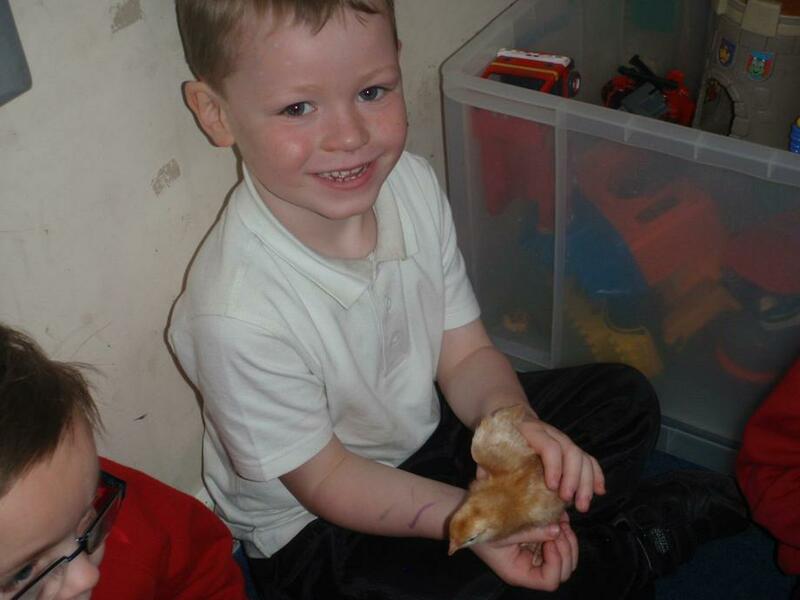 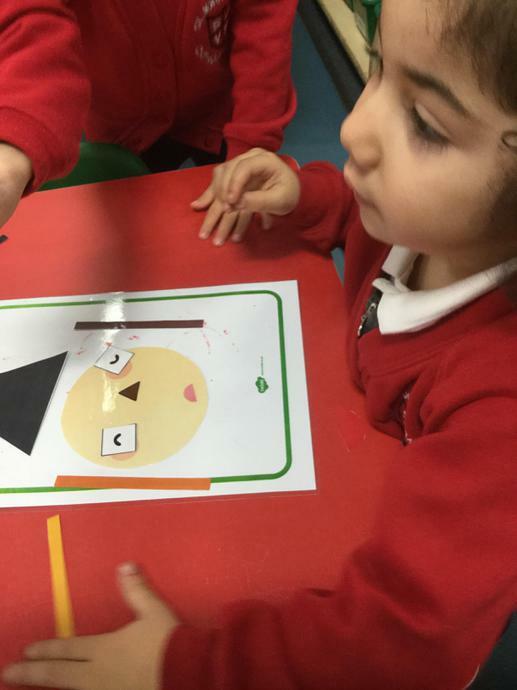 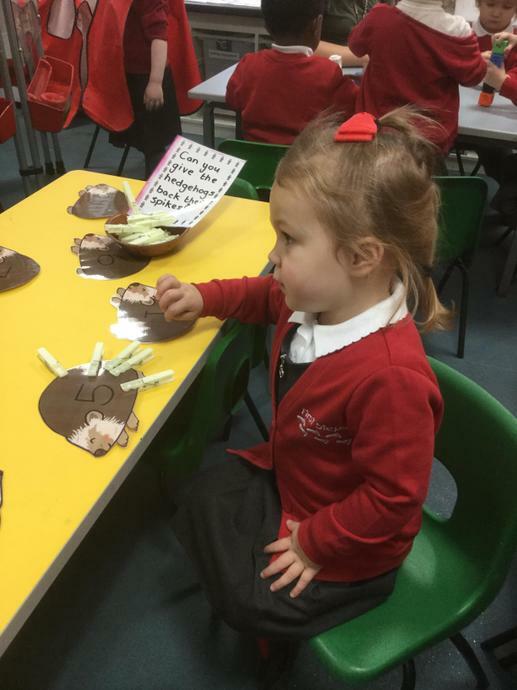 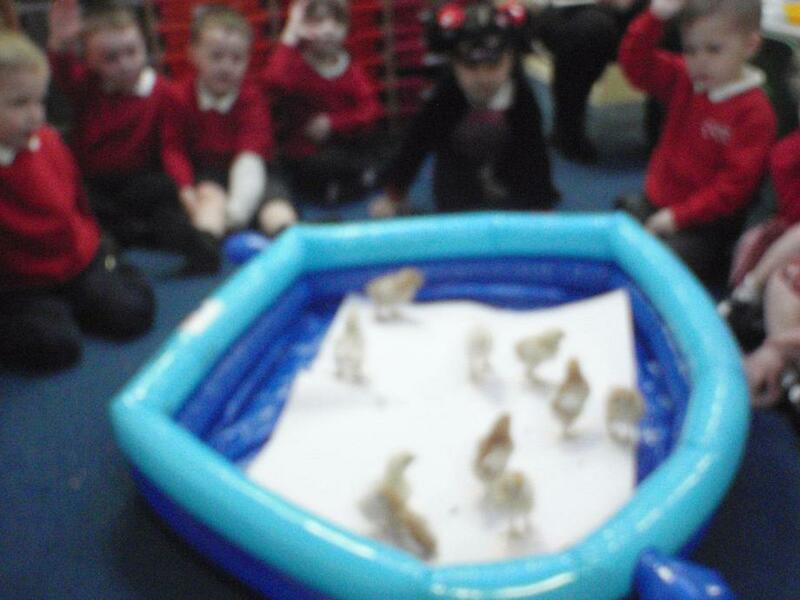 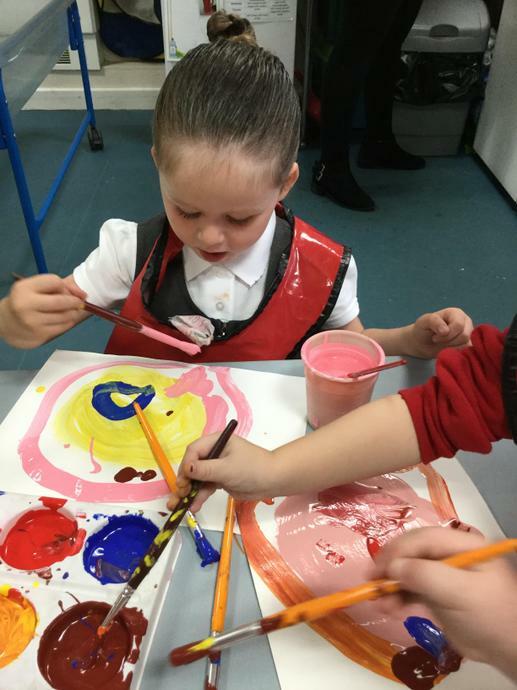 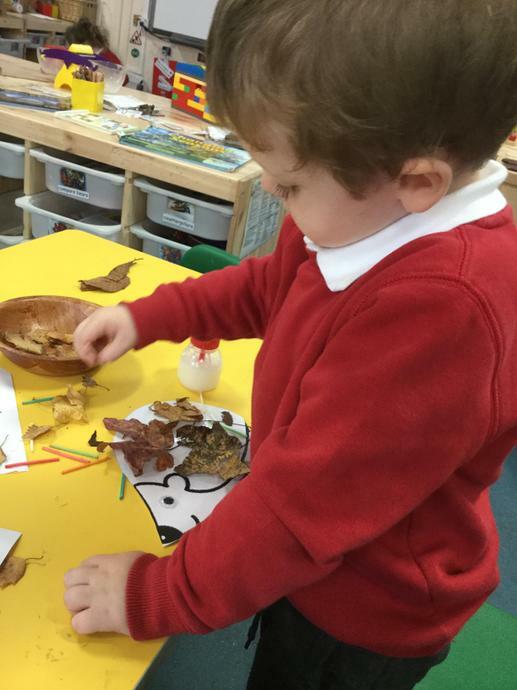 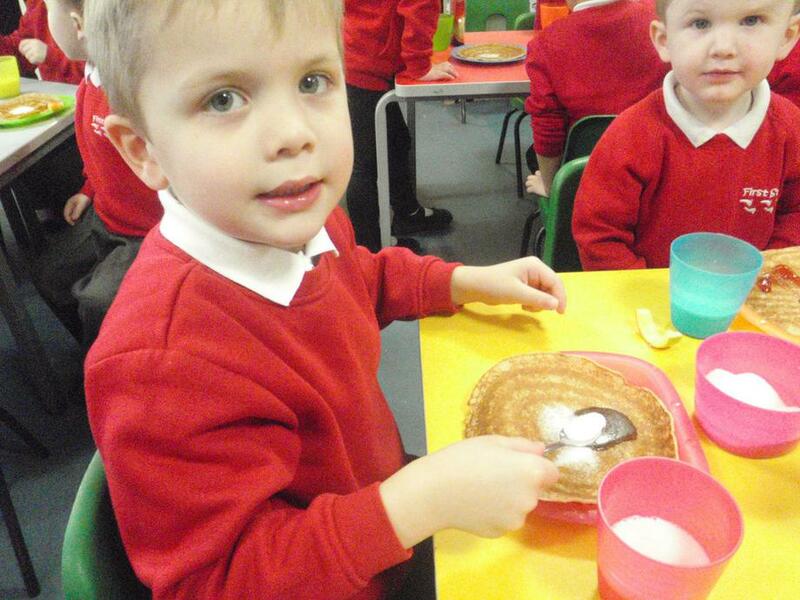 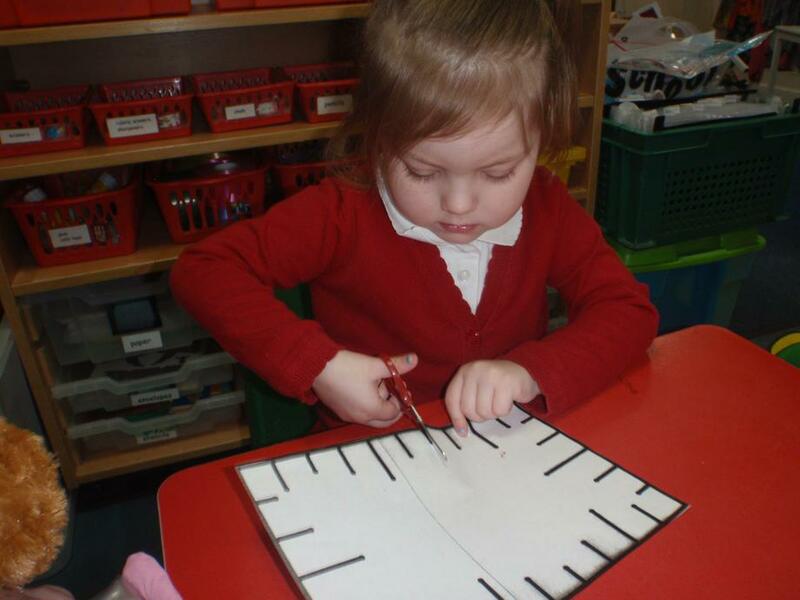 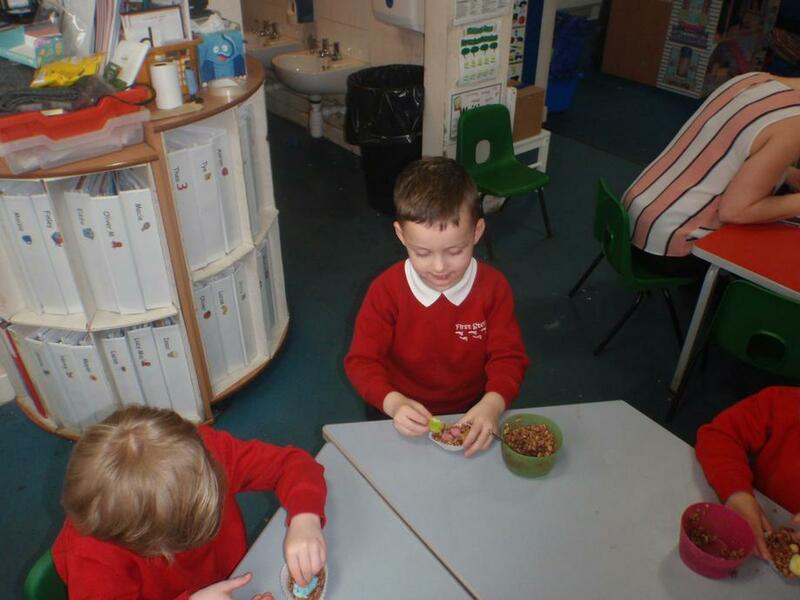 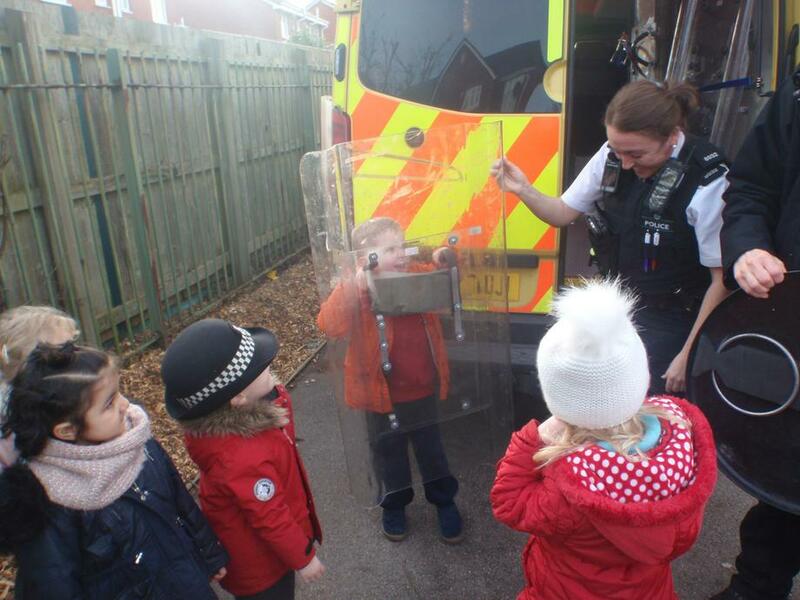 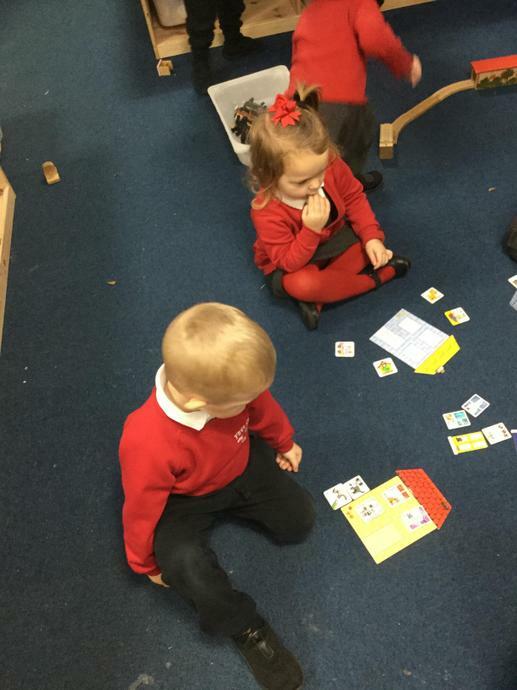 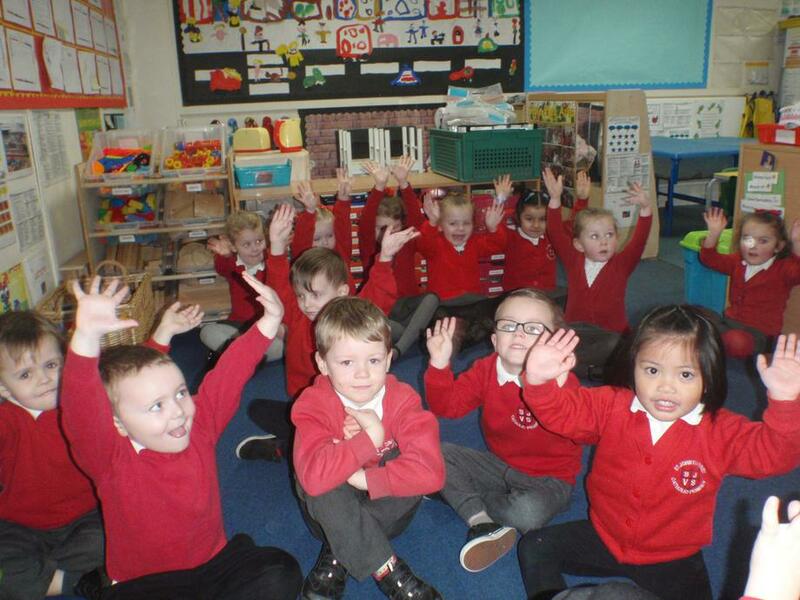 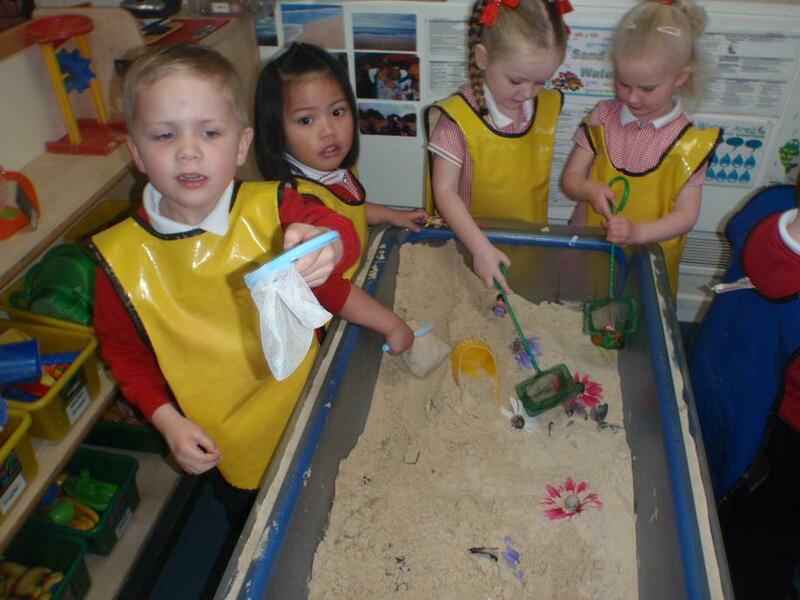 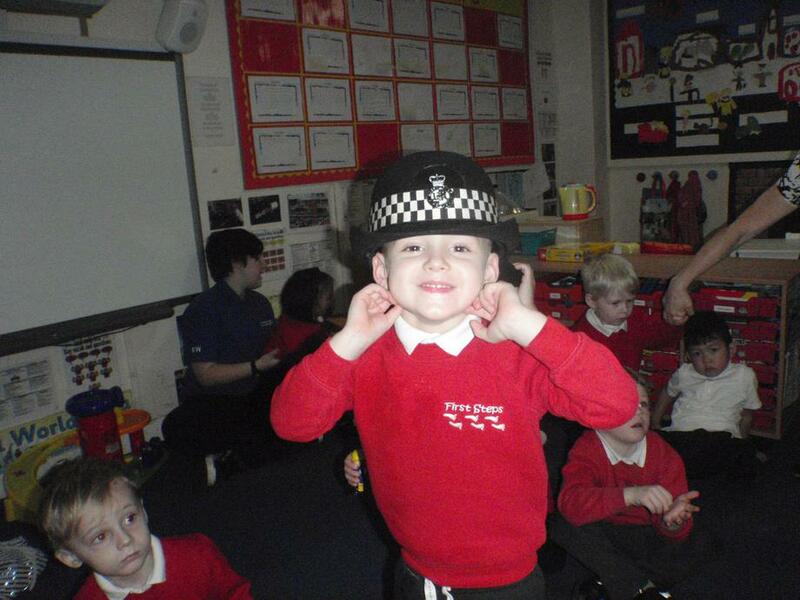 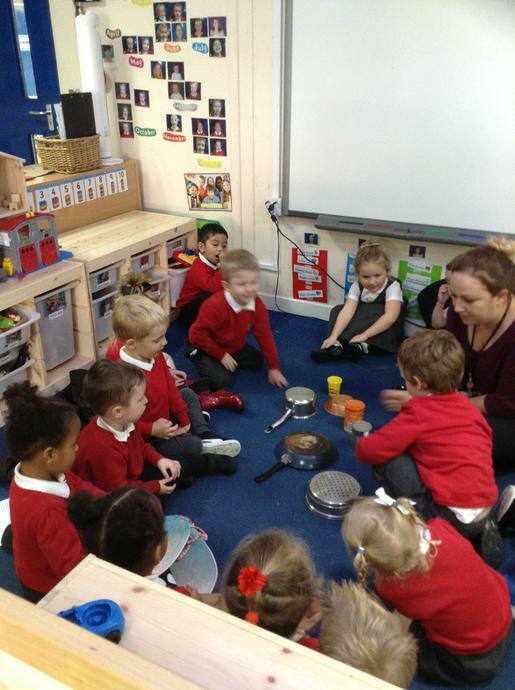 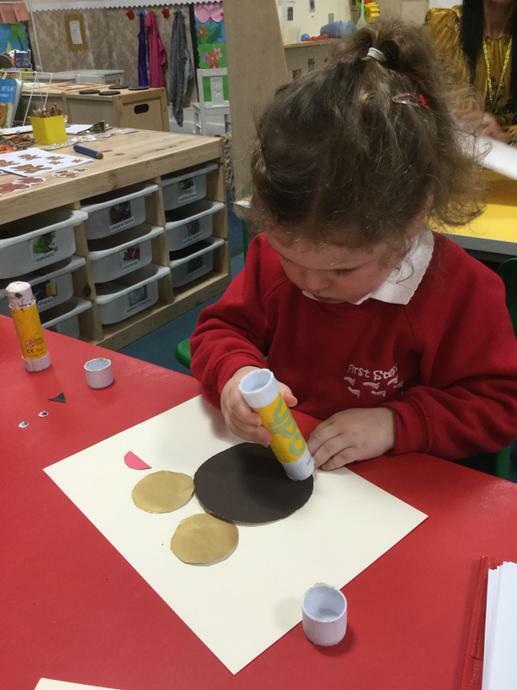 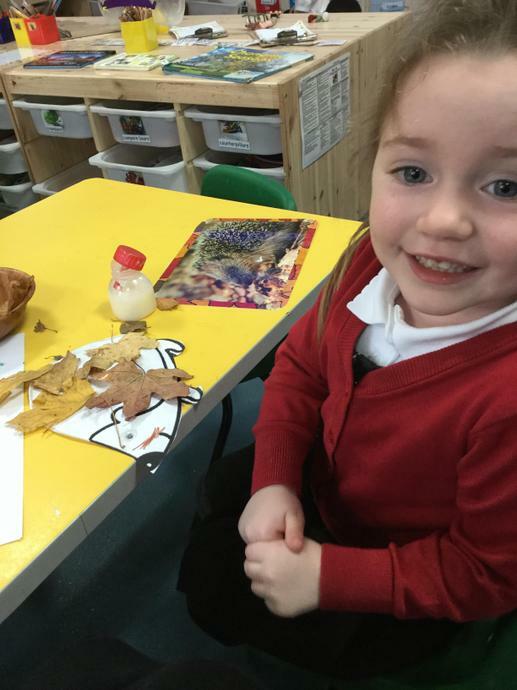 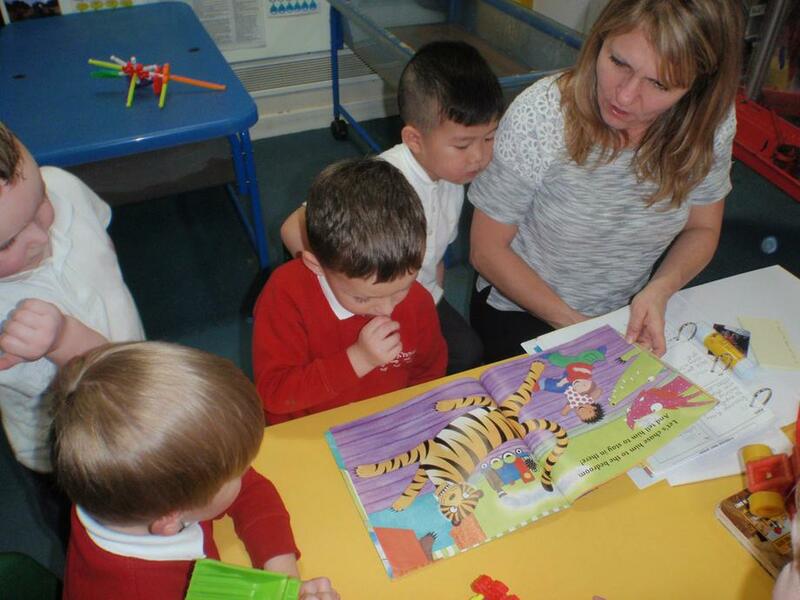 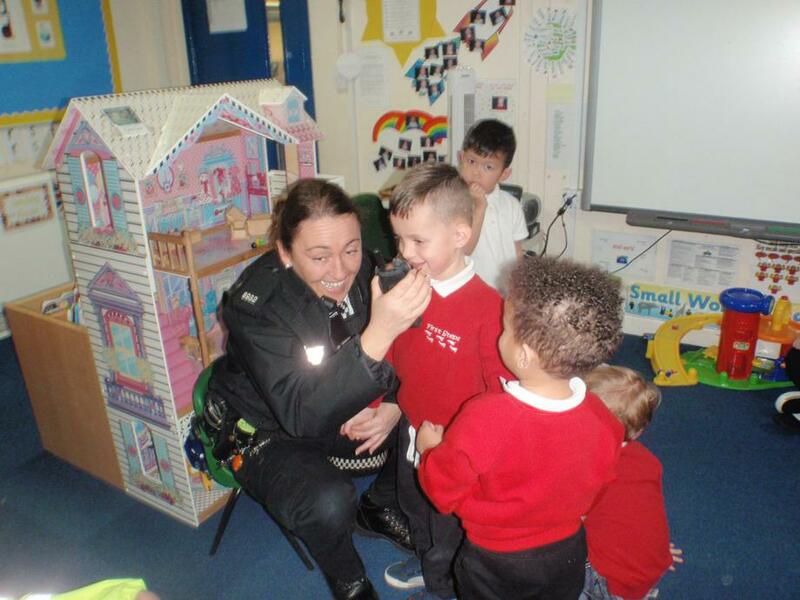 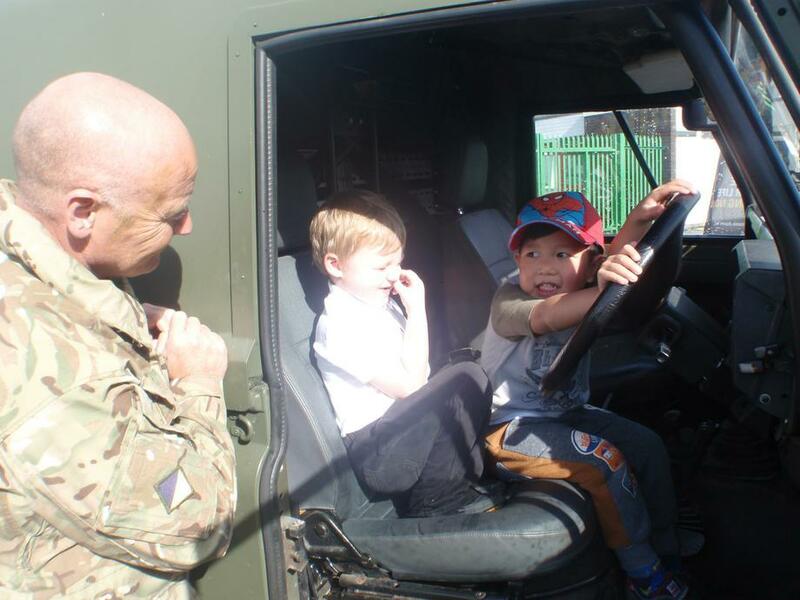 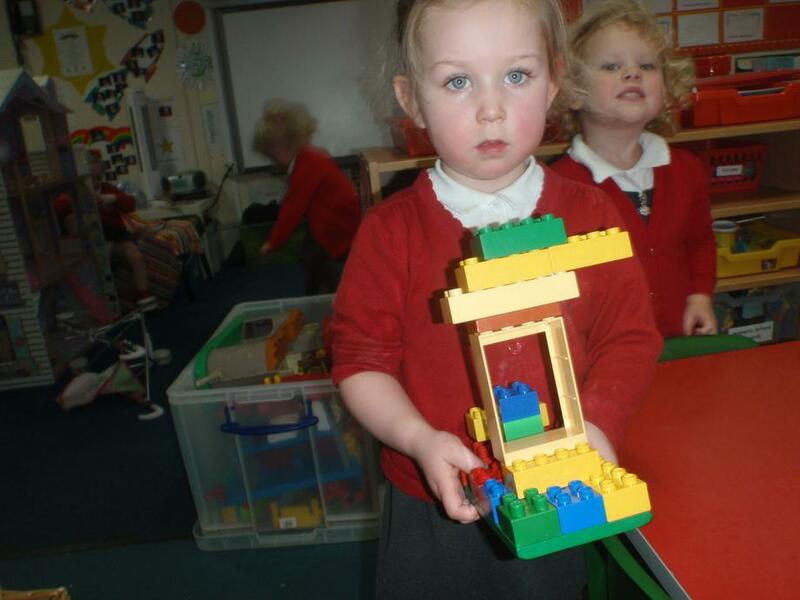 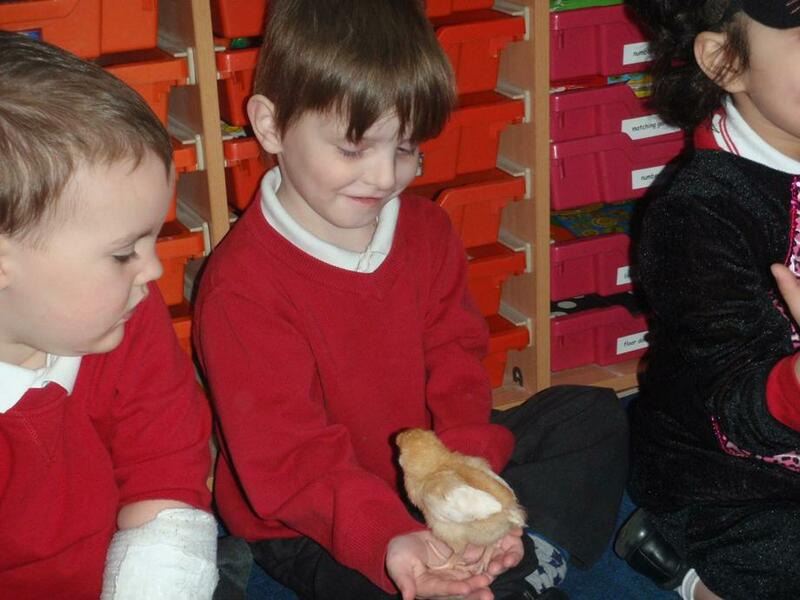 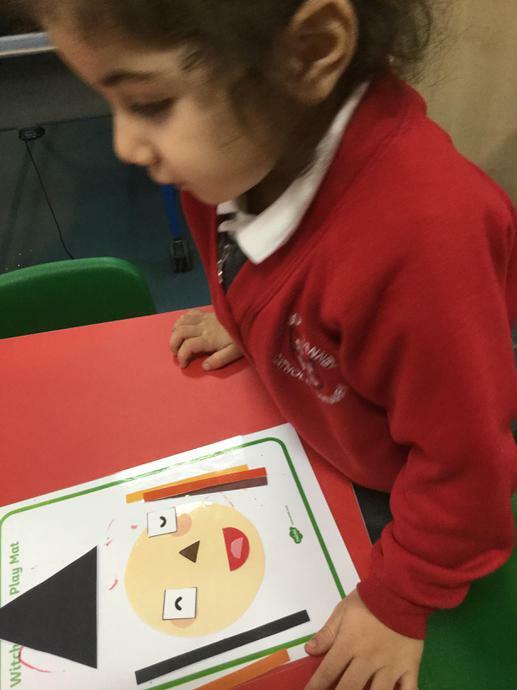 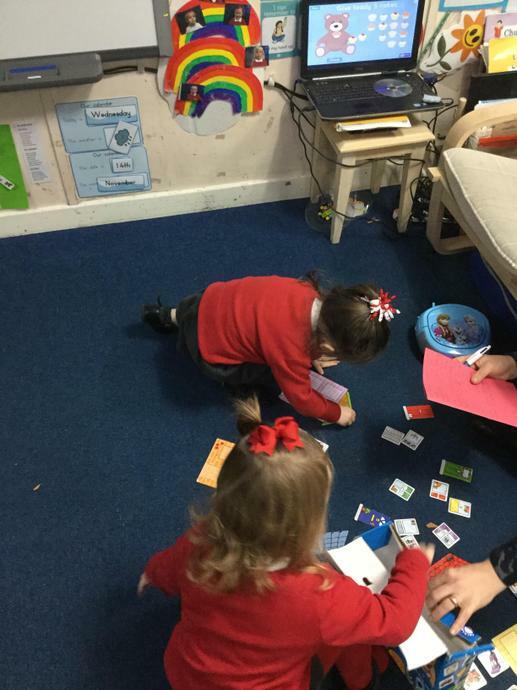 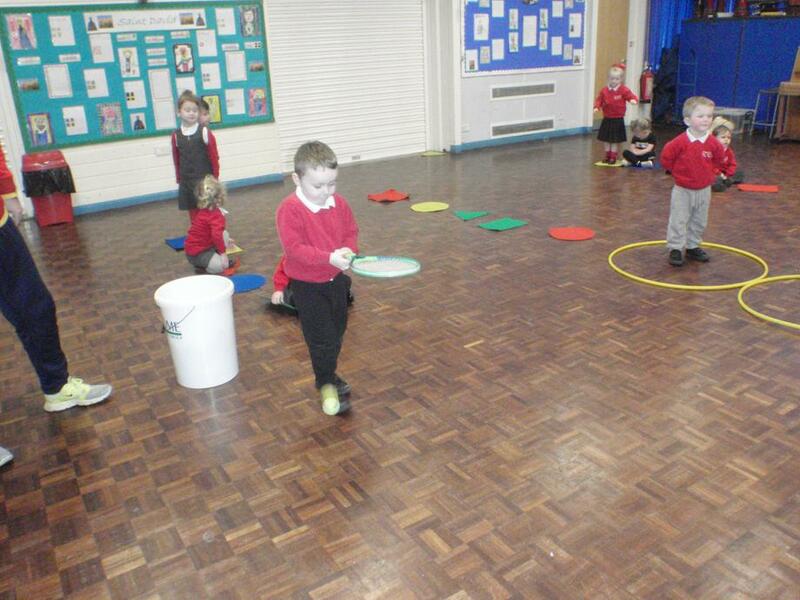 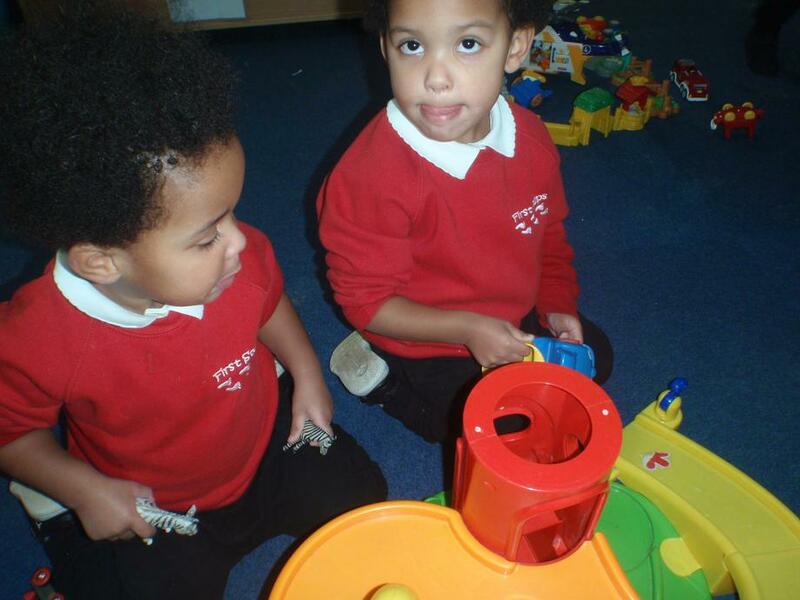 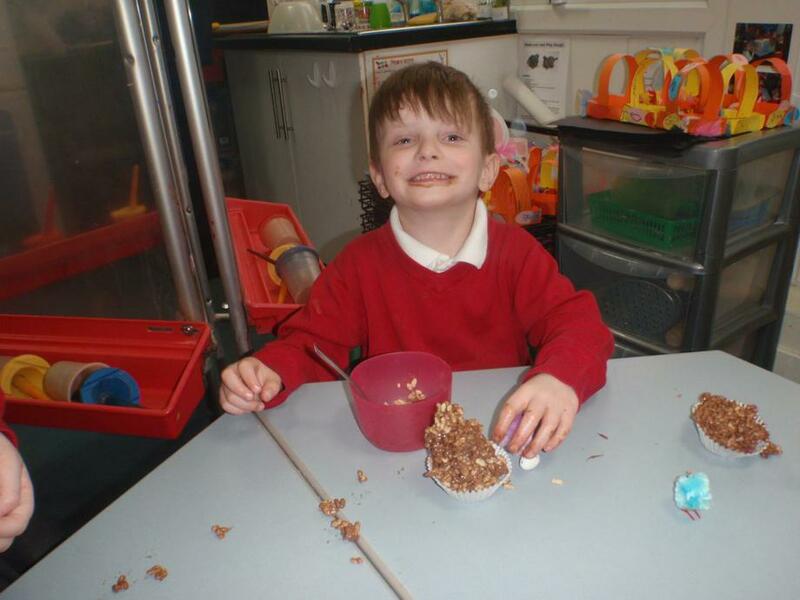 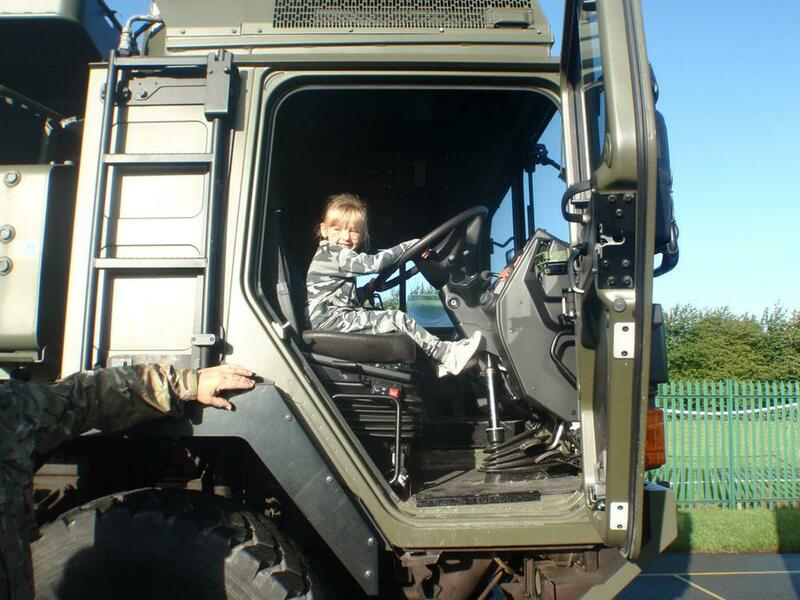 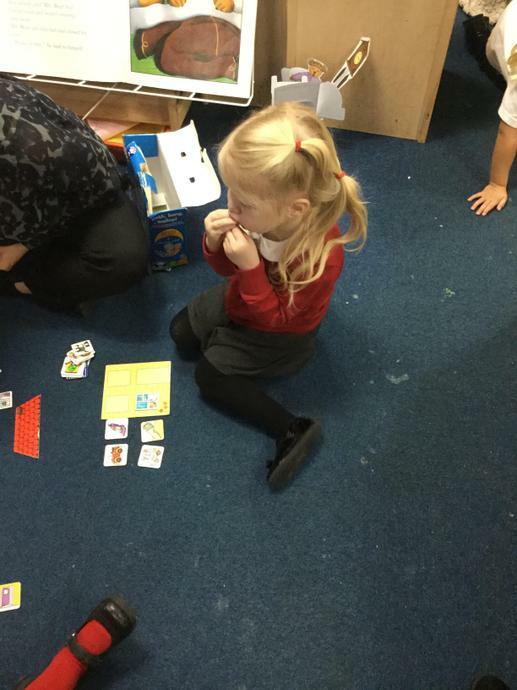 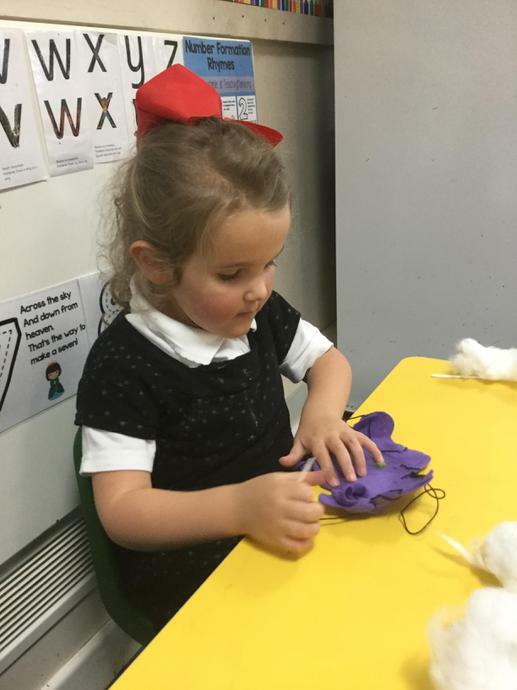 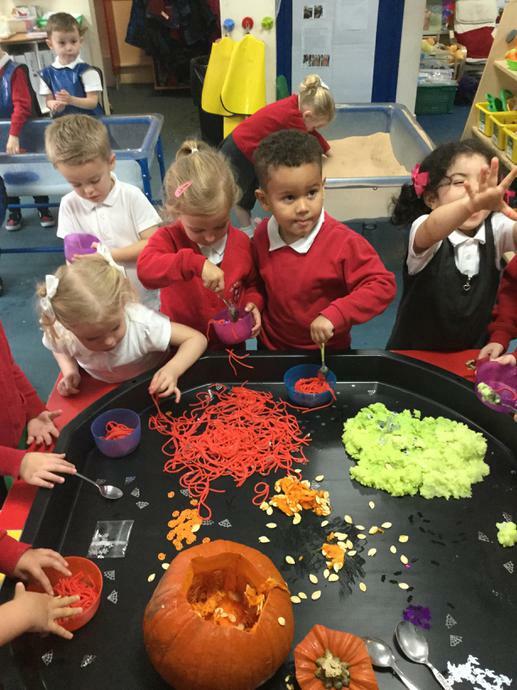 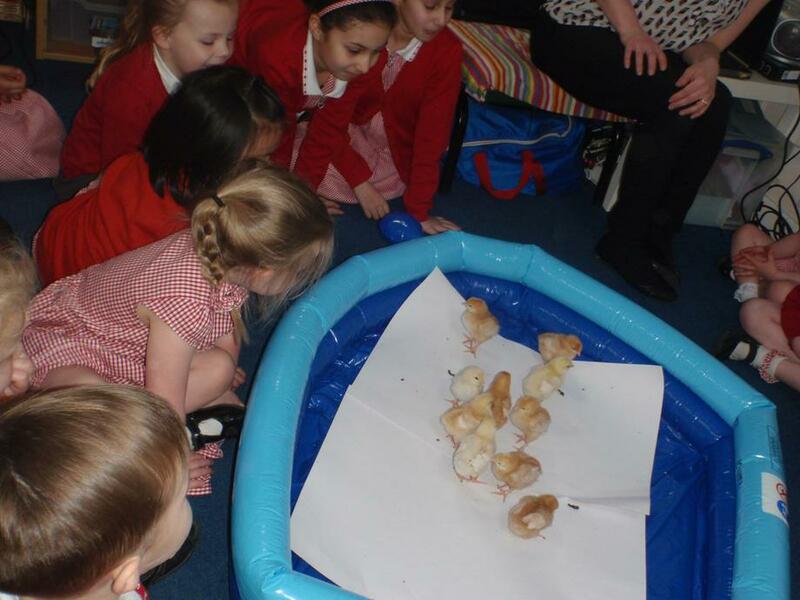 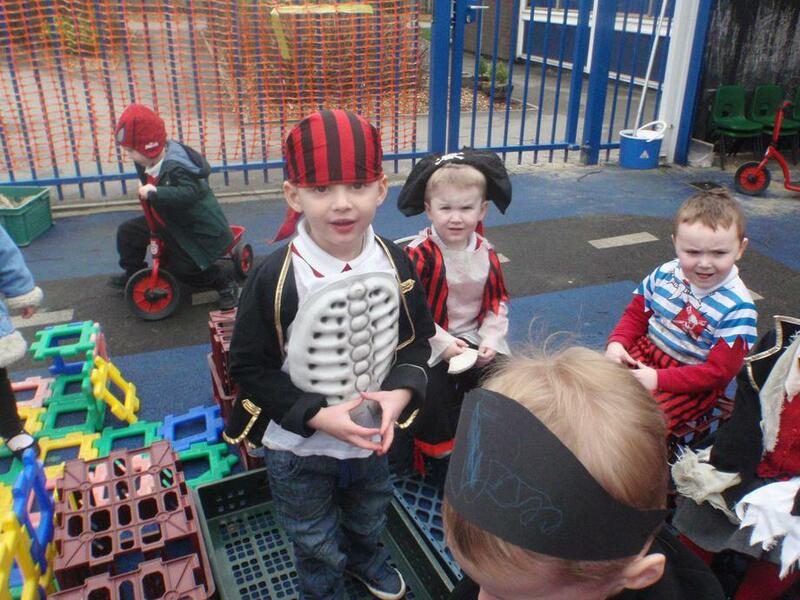 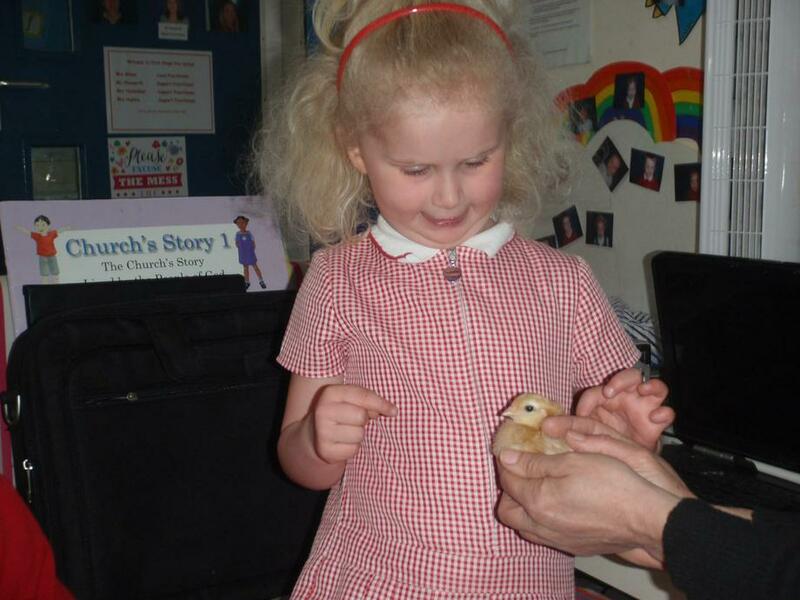 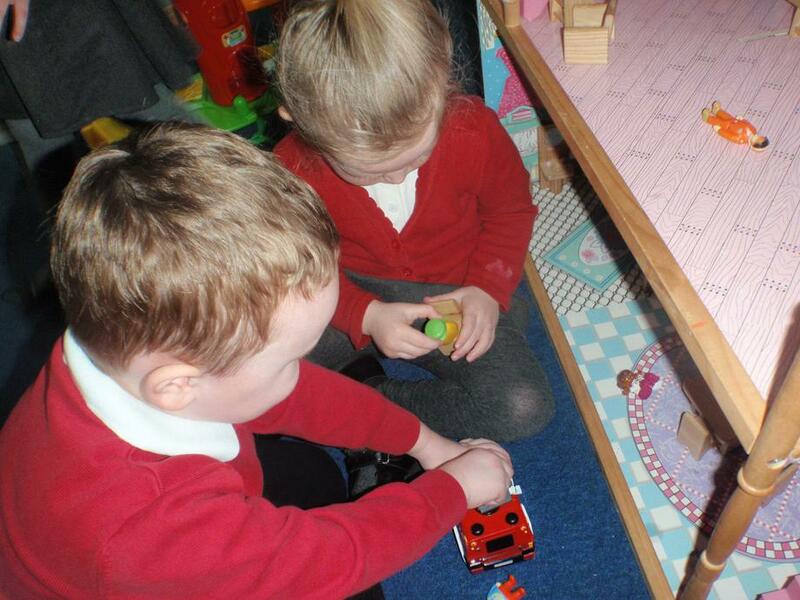 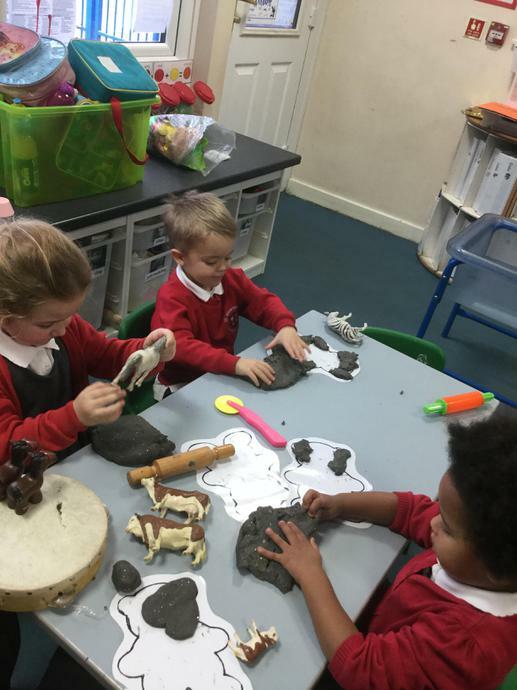 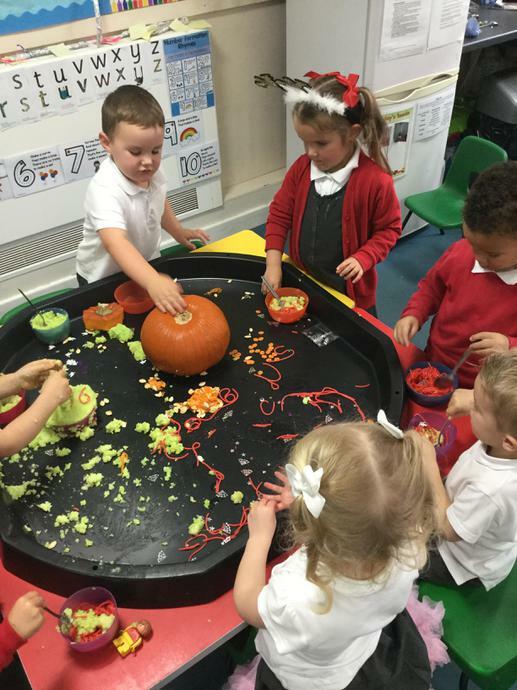 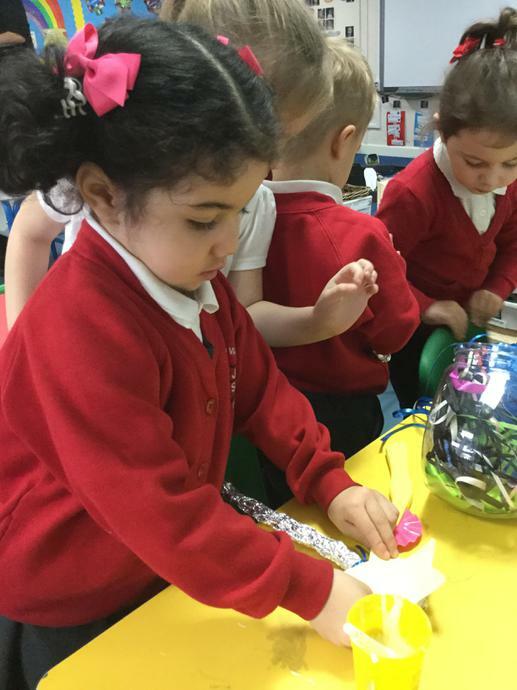 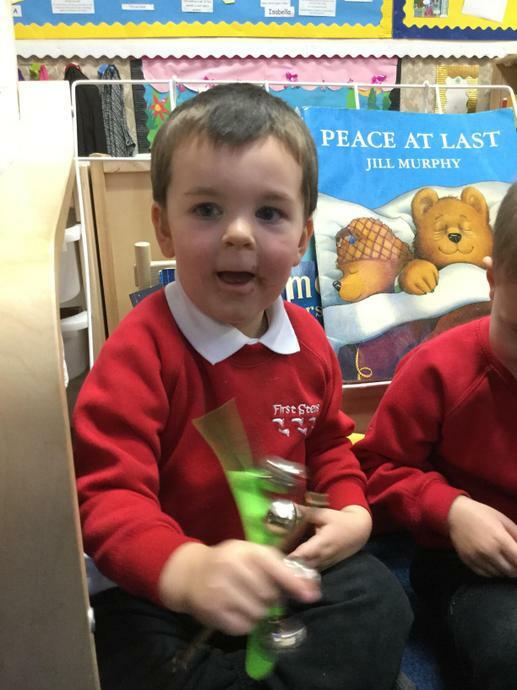 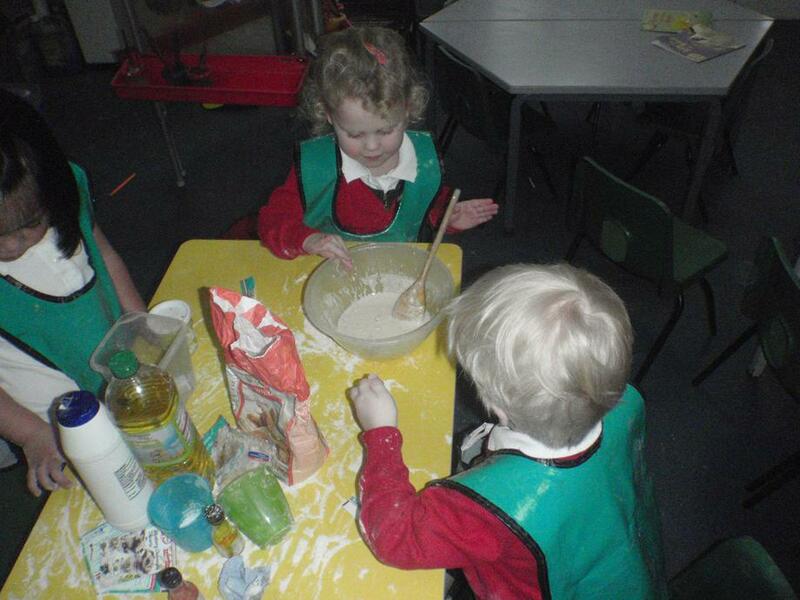 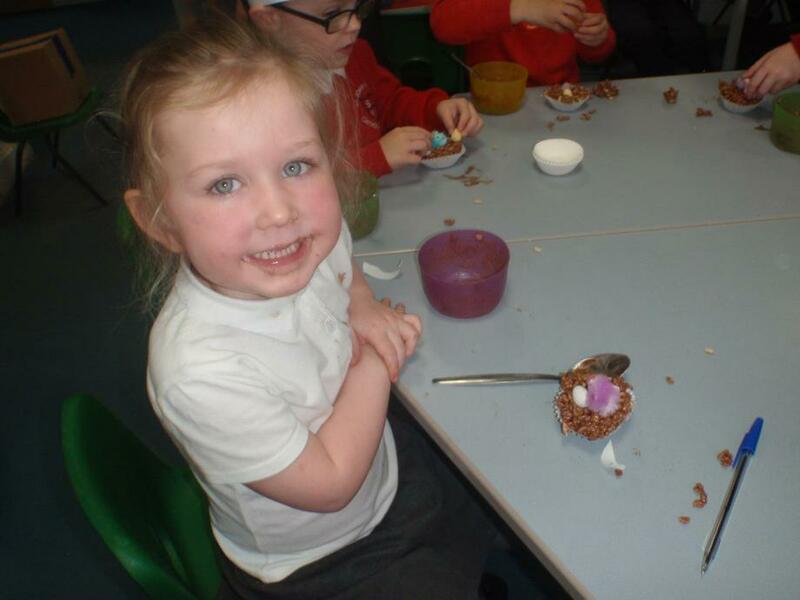 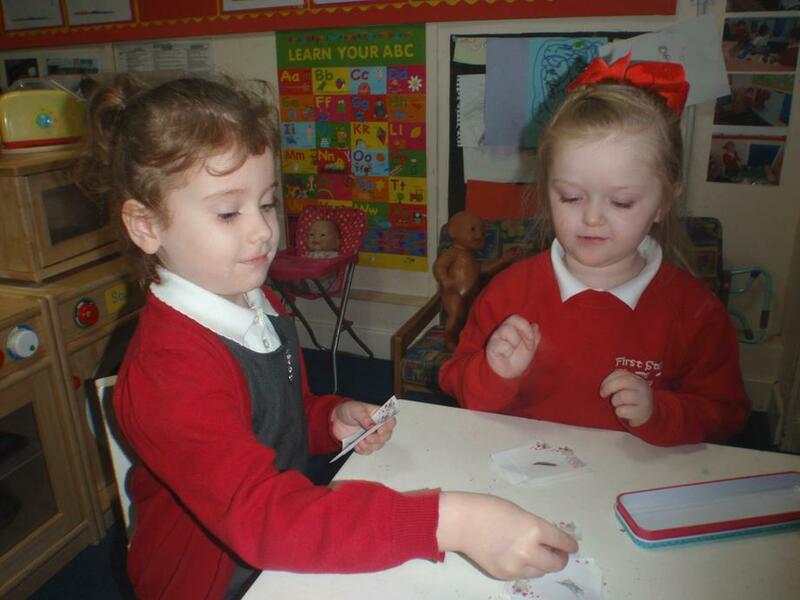 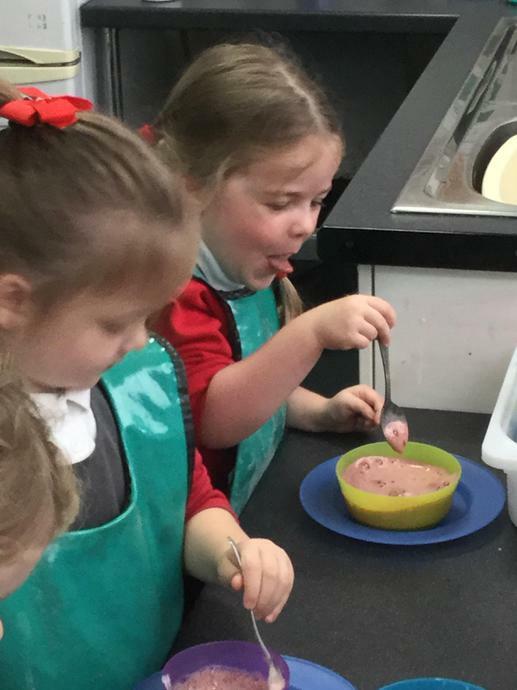 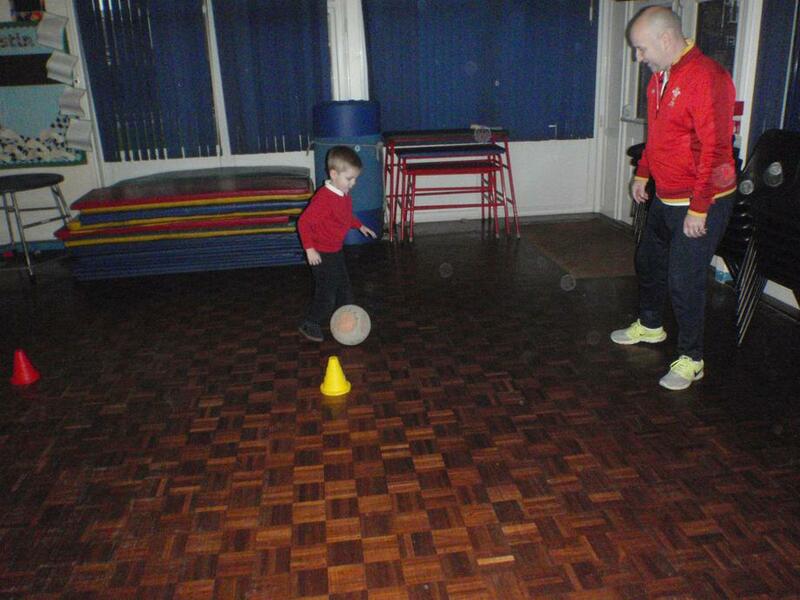 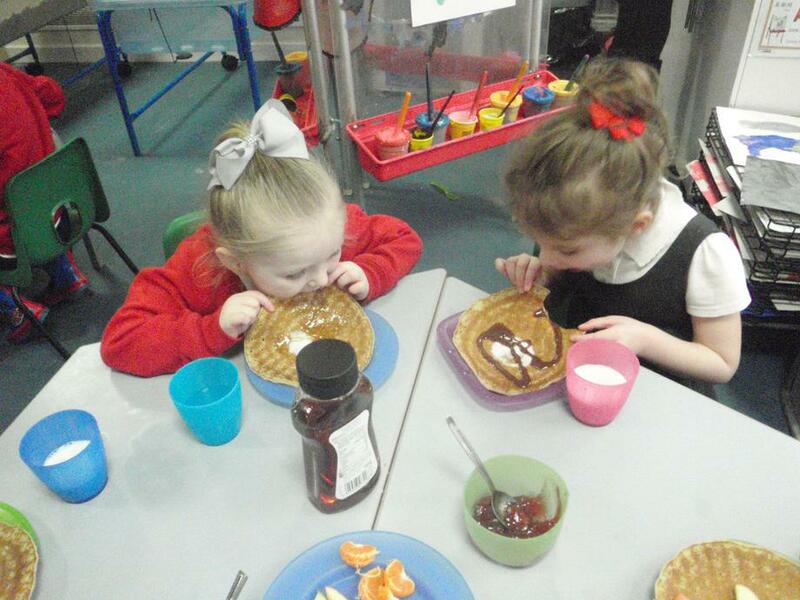 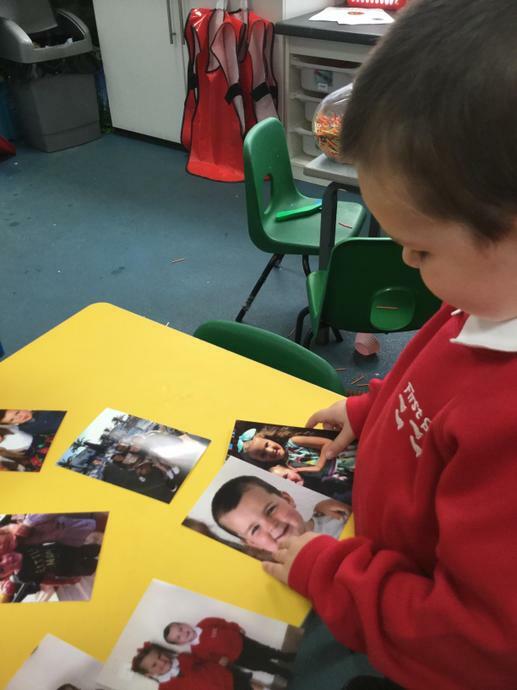 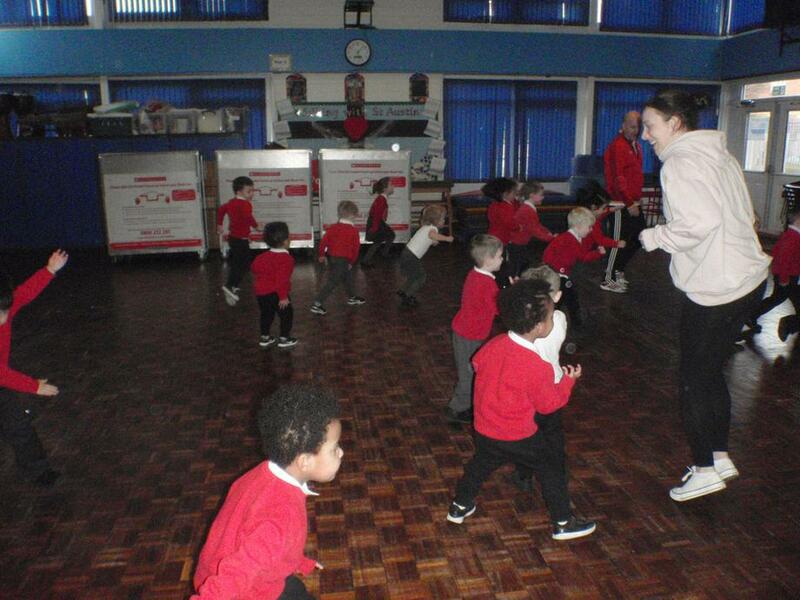 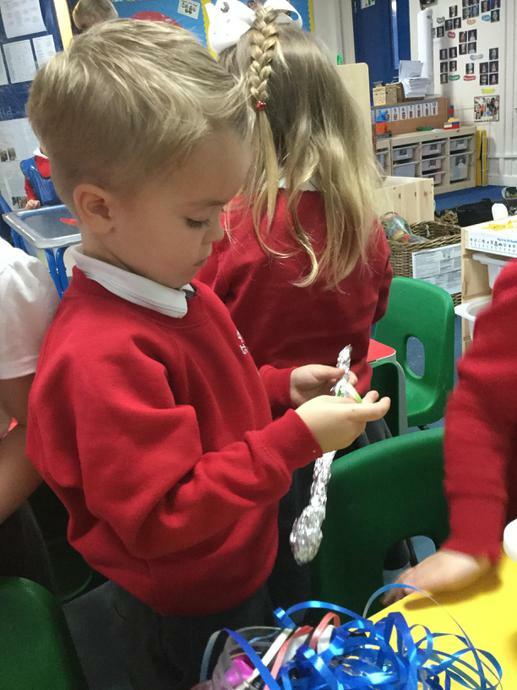 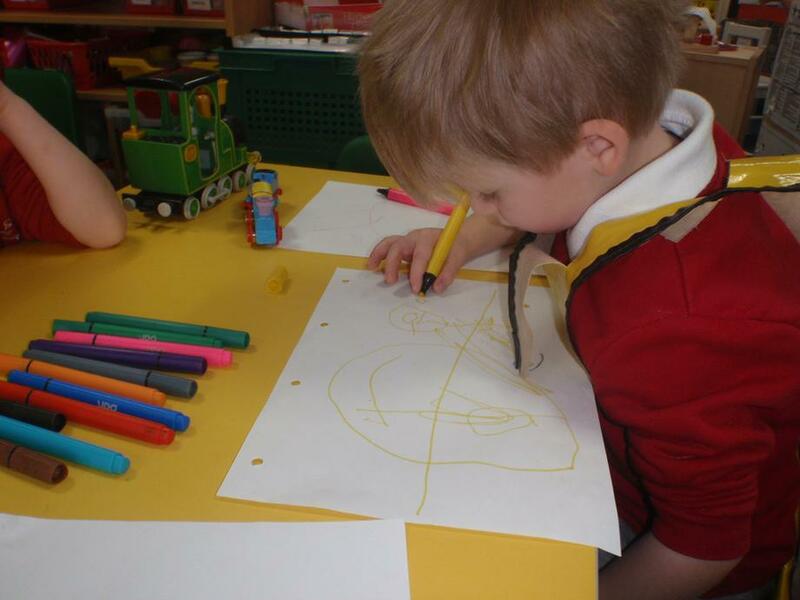 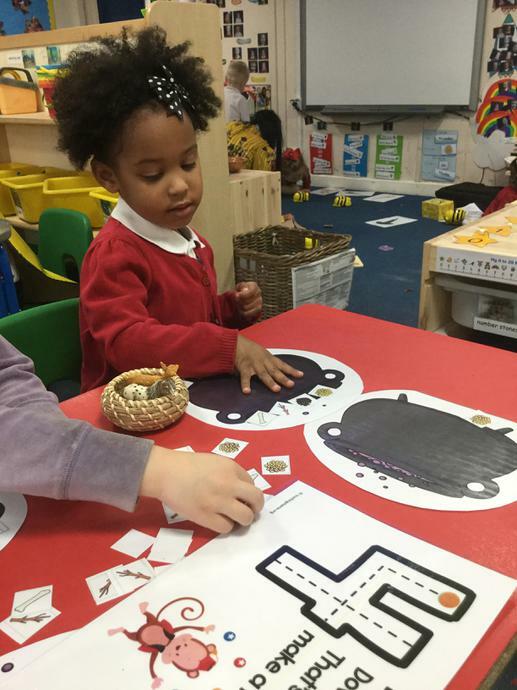 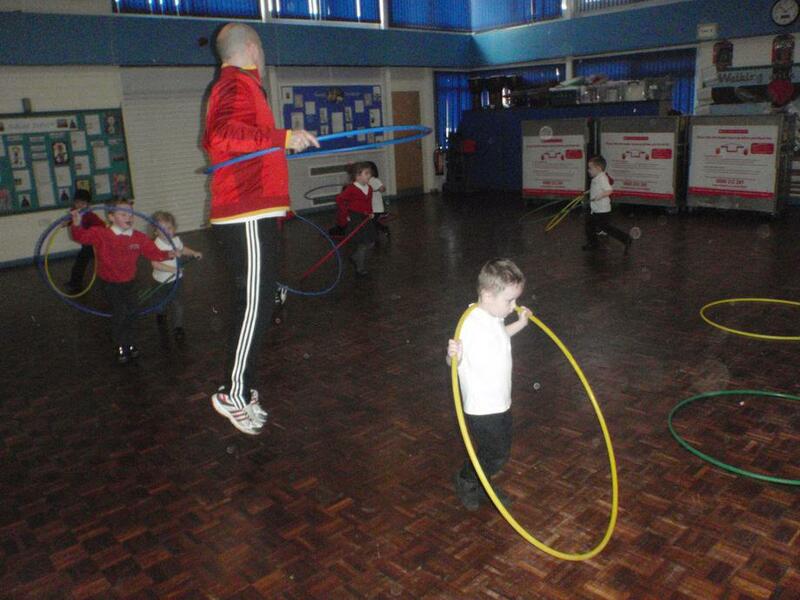 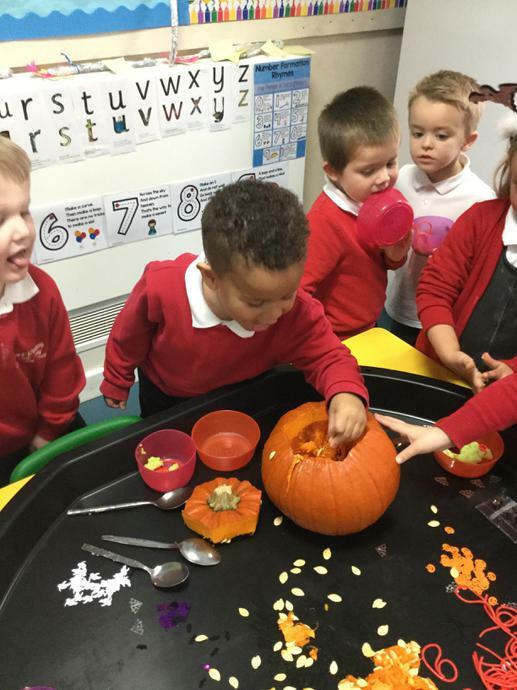 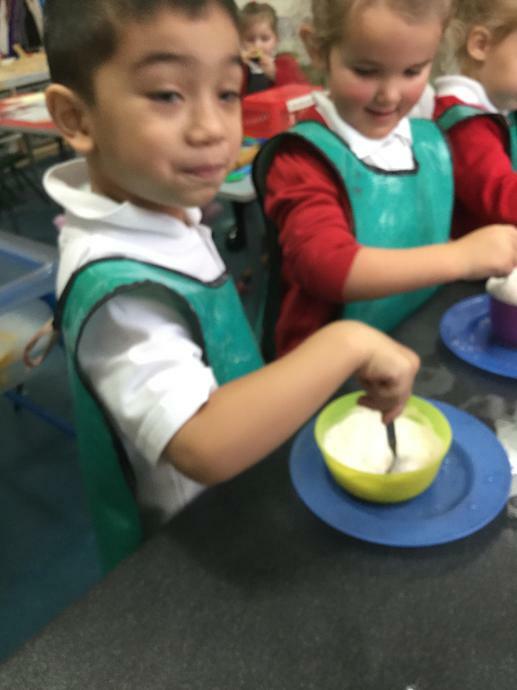 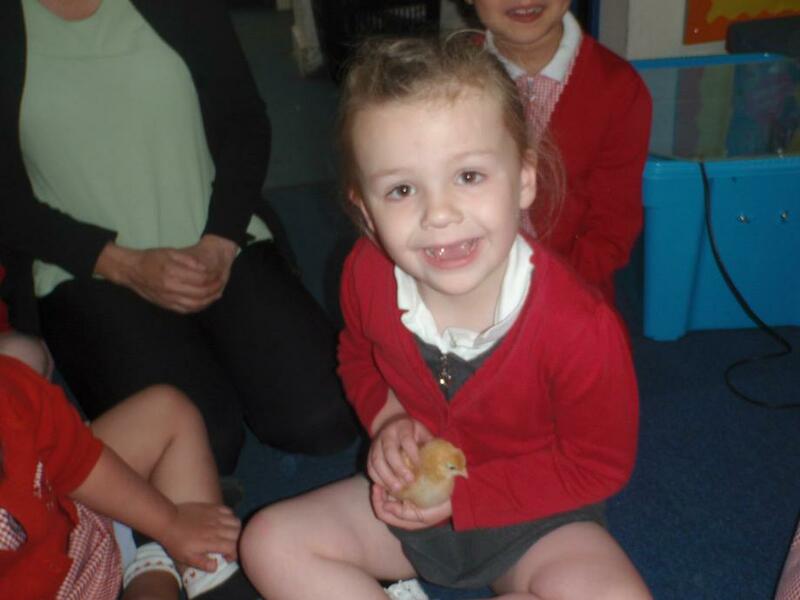 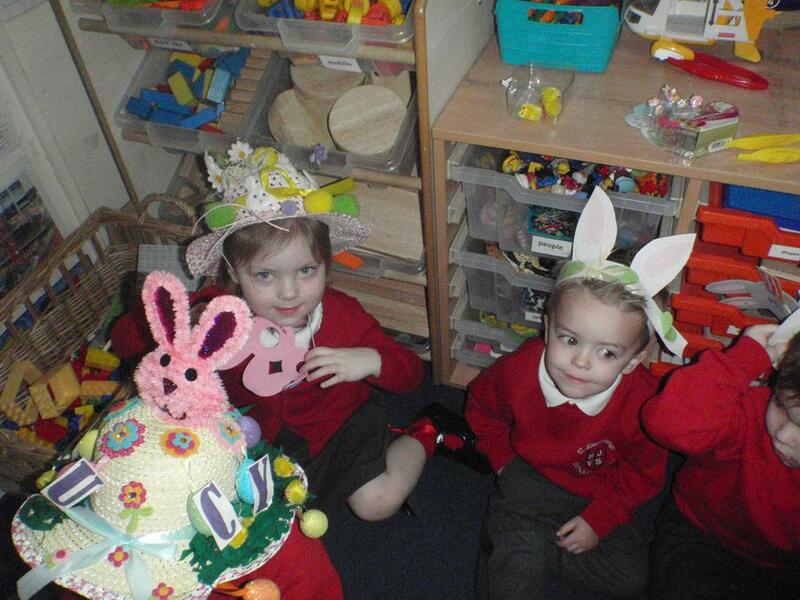 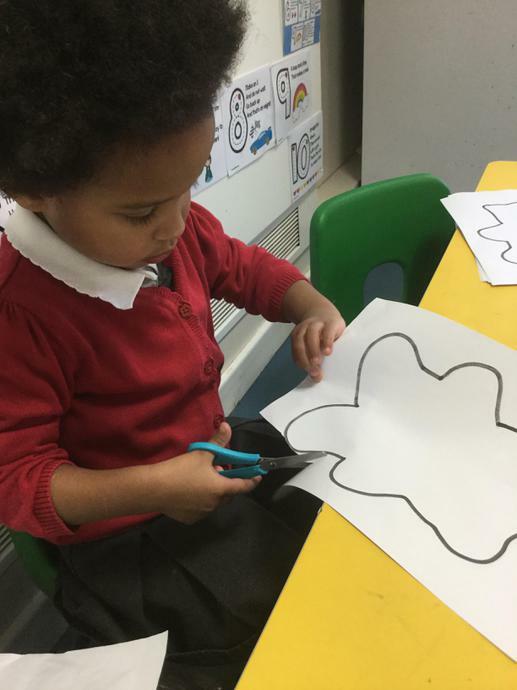 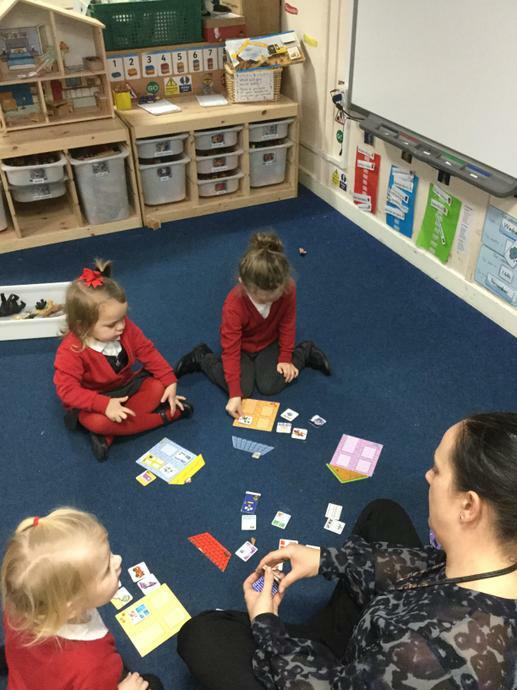 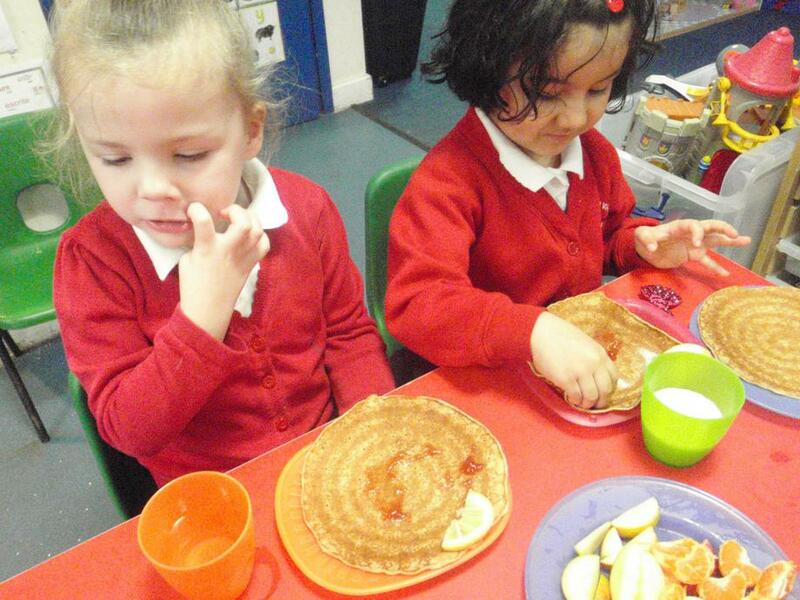 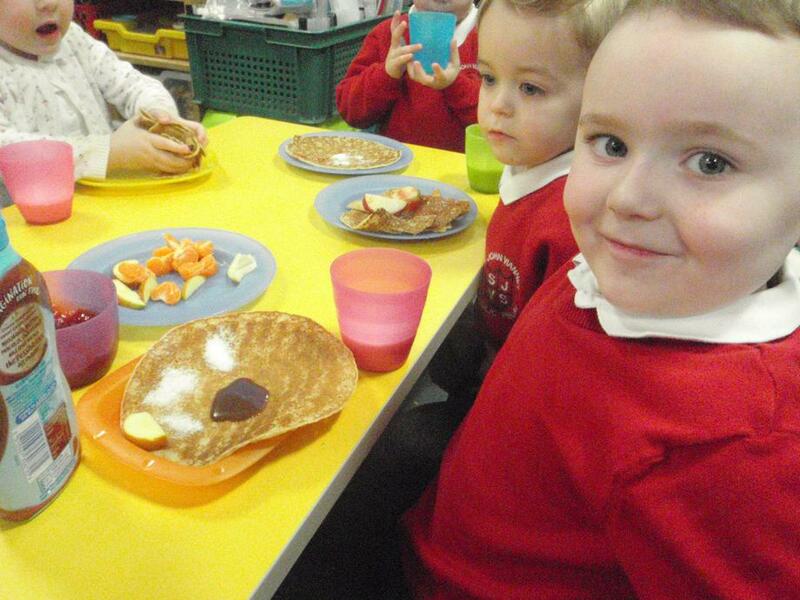 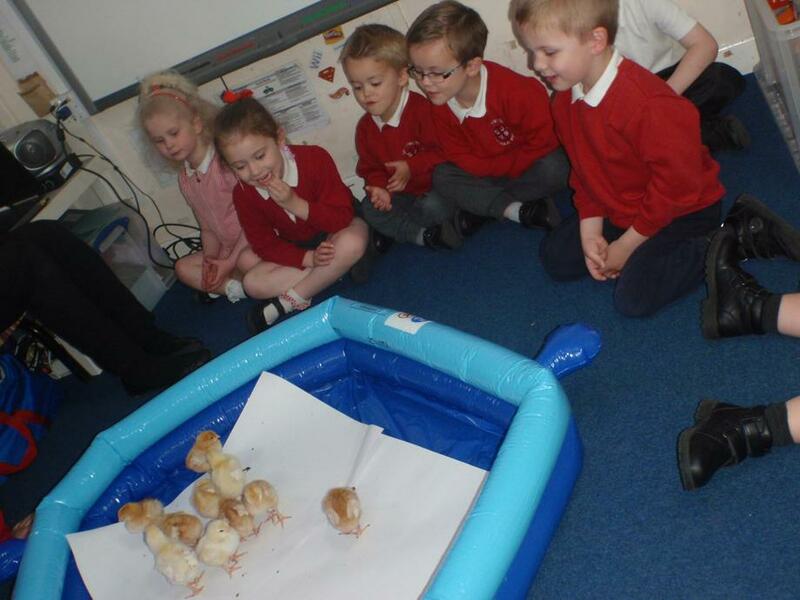 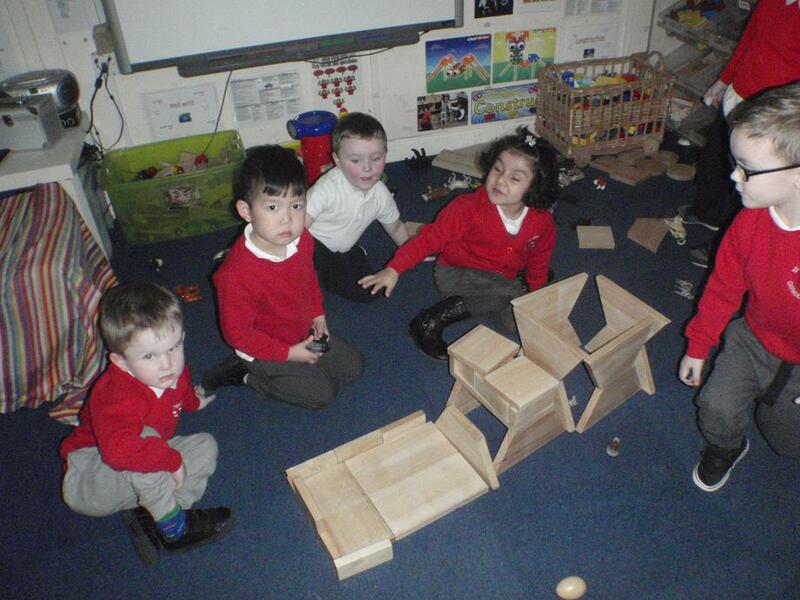 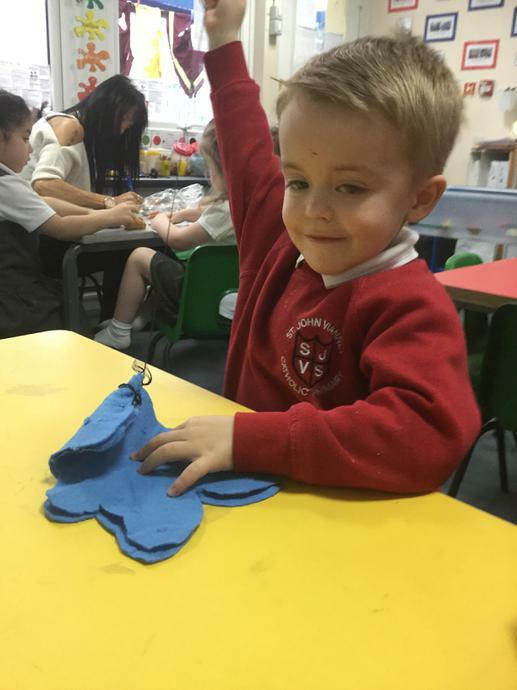 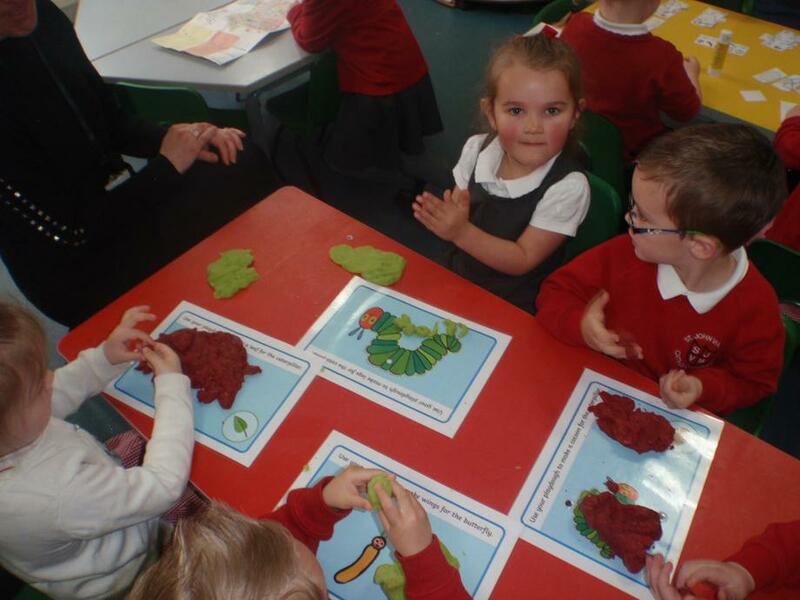 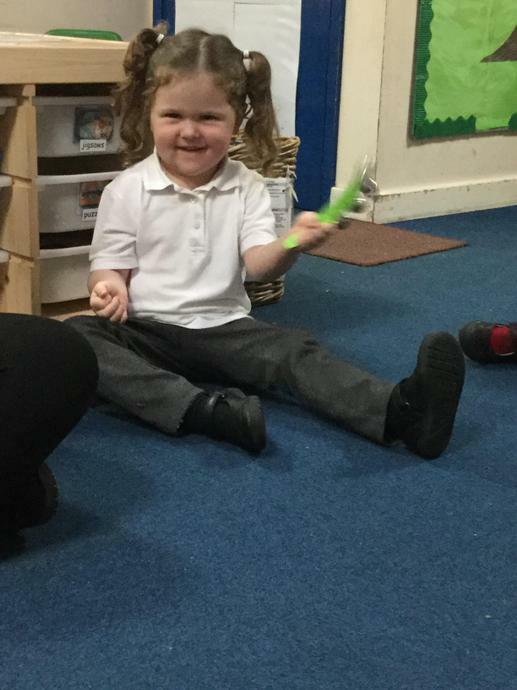 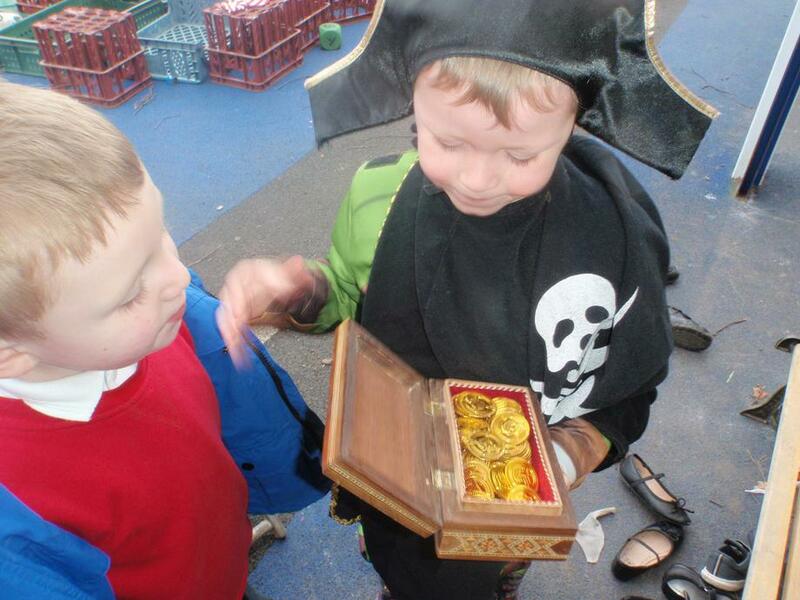 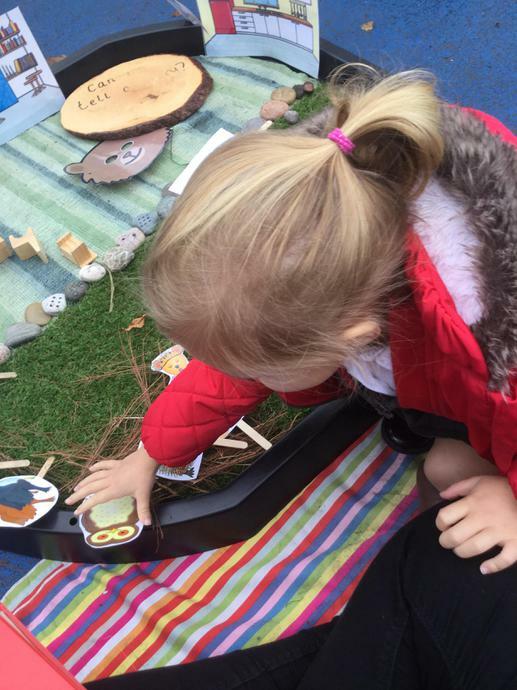 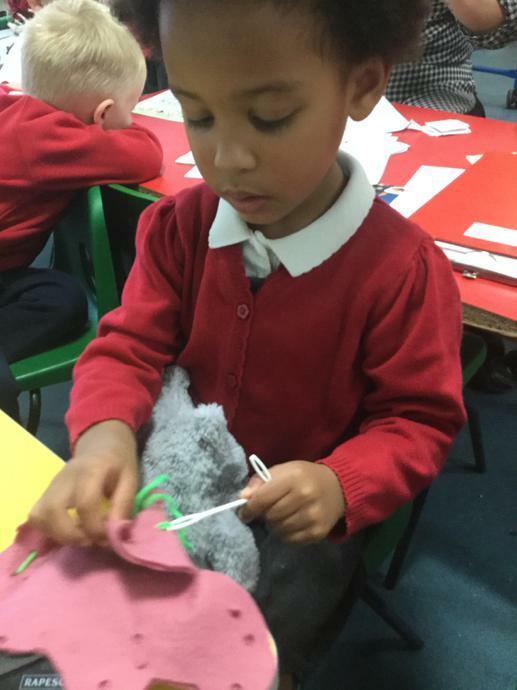 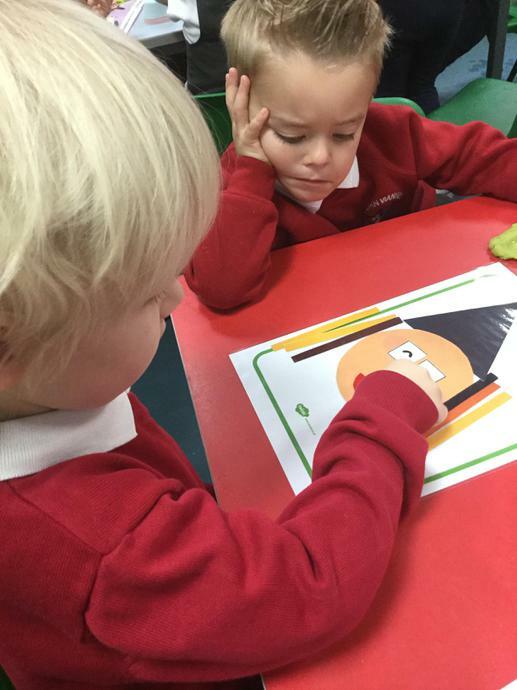 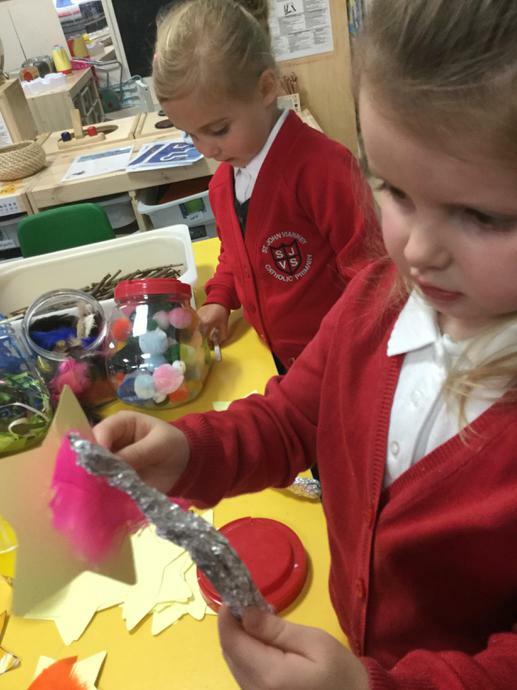 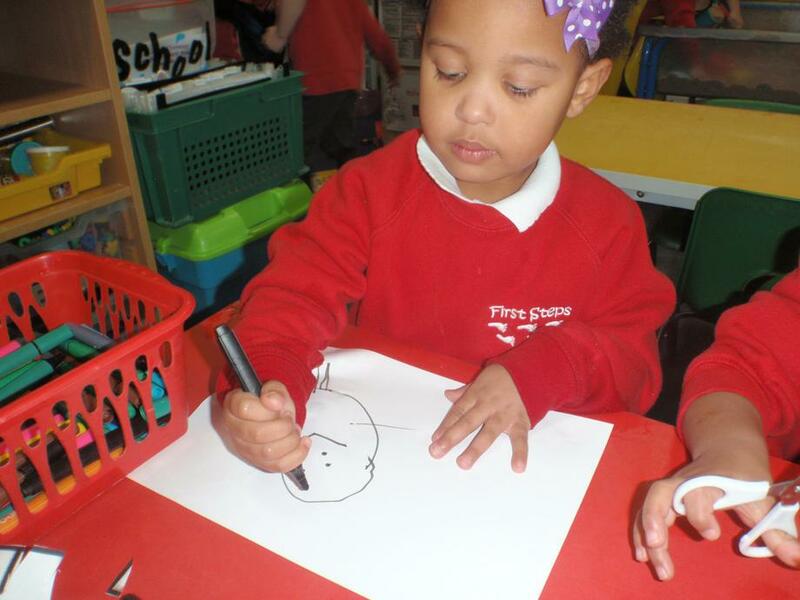 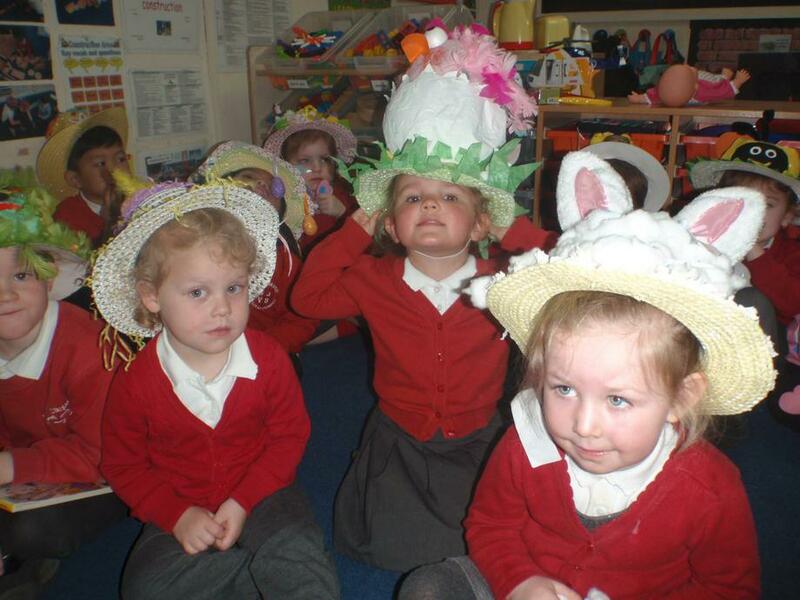 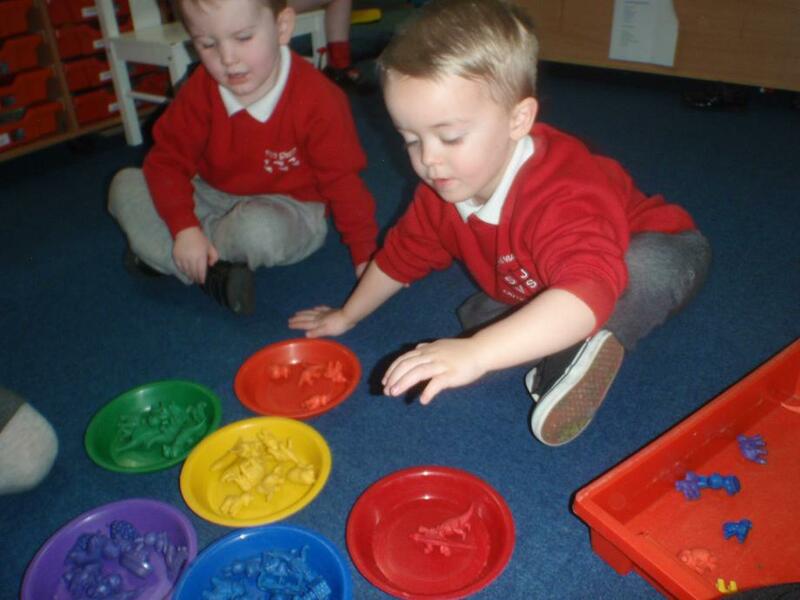 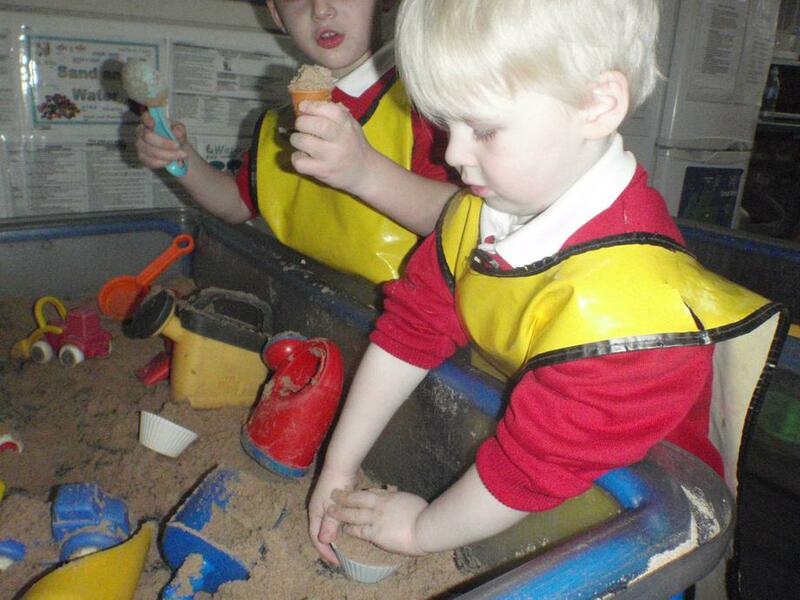 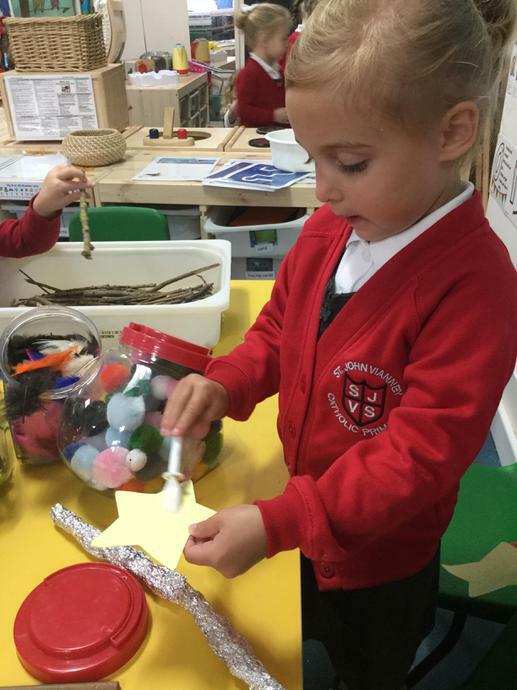 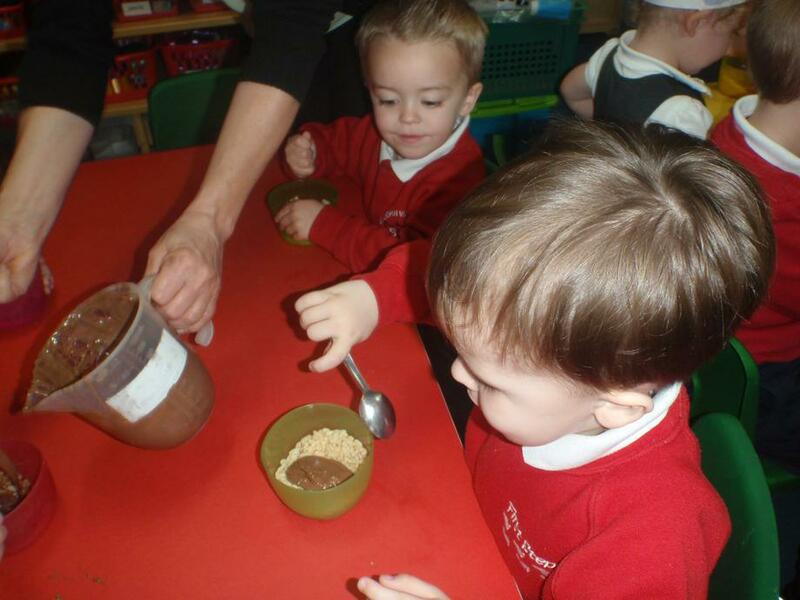 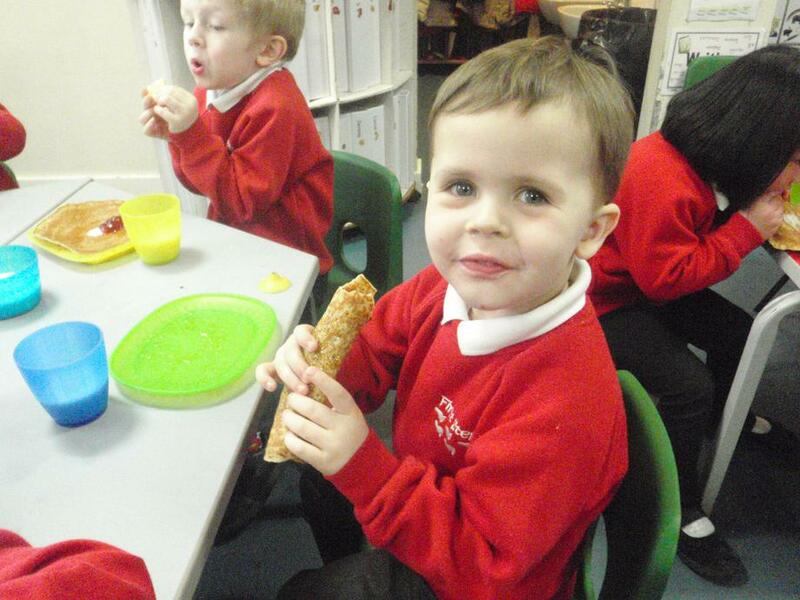 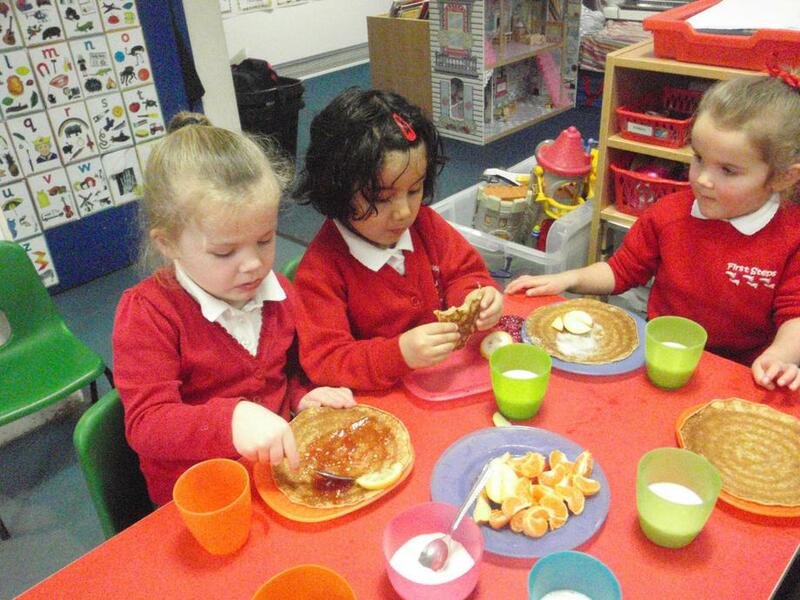 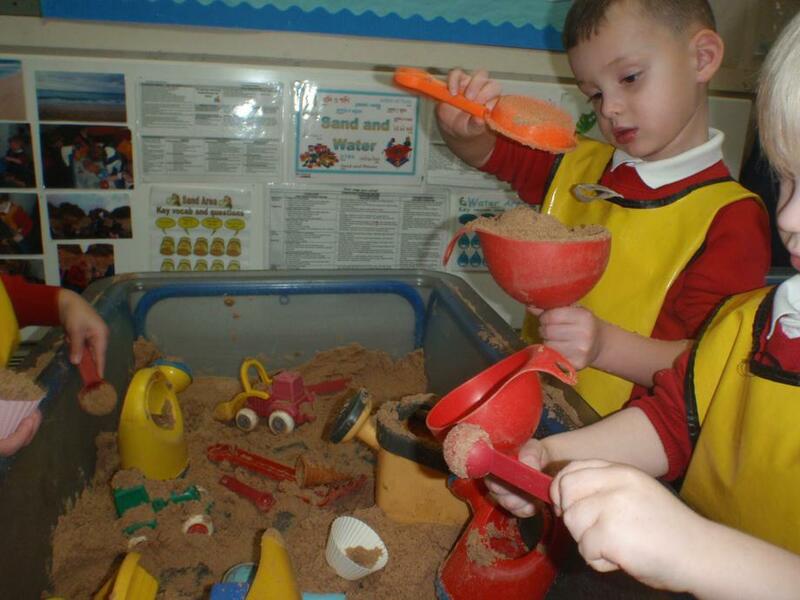 During the Foundation Stage children learn lots of new and exciting things. 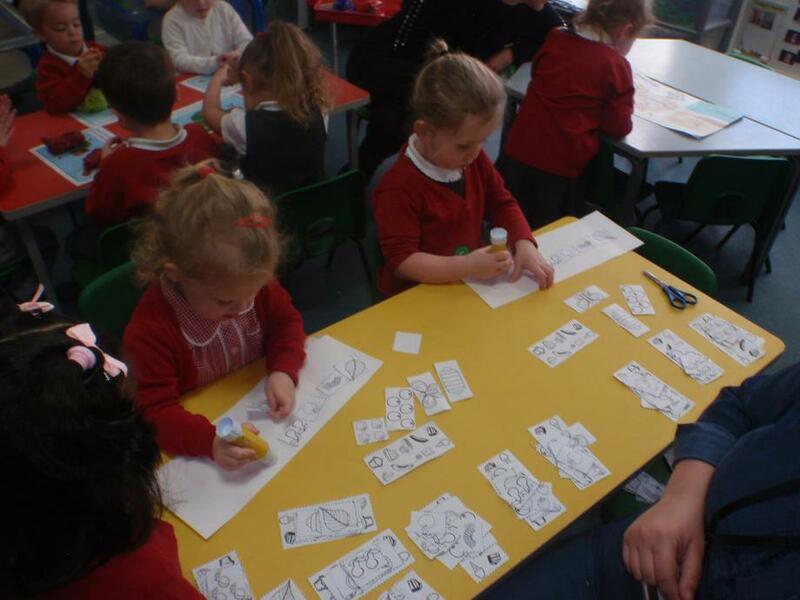 Here you will be able to keep up to date with all the projects and activities we have been working on. 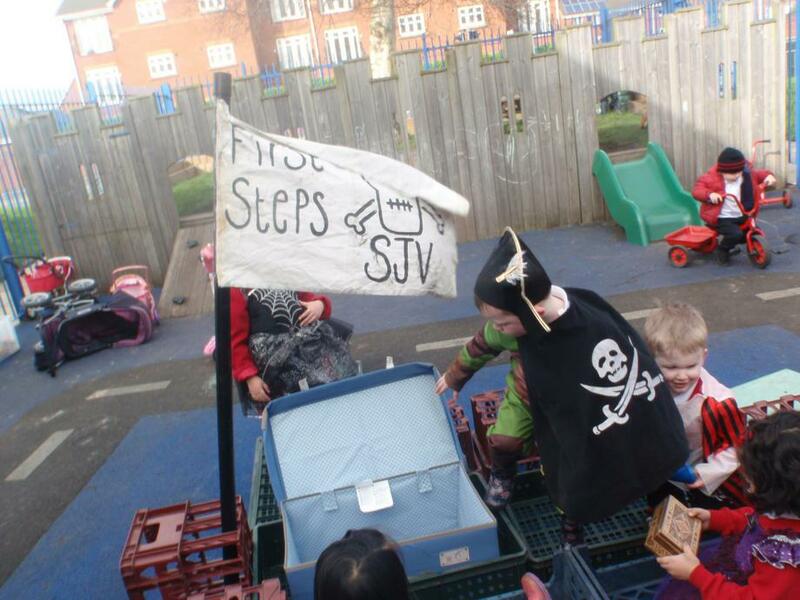 Look out for First Steps News here too! 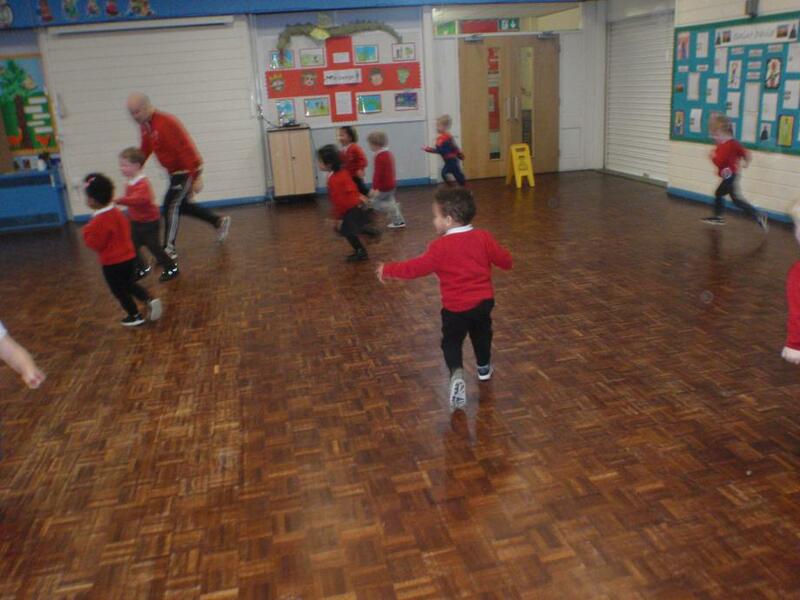 PE days are on a Friday morning and a Thursday afternoon. 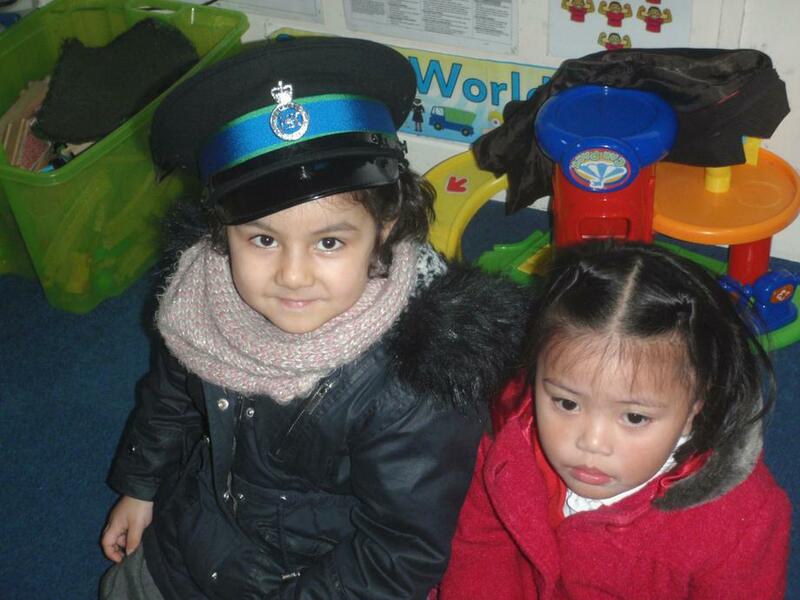 Please send your child to school wearing comfortable clothes and suitable footwear on these days. 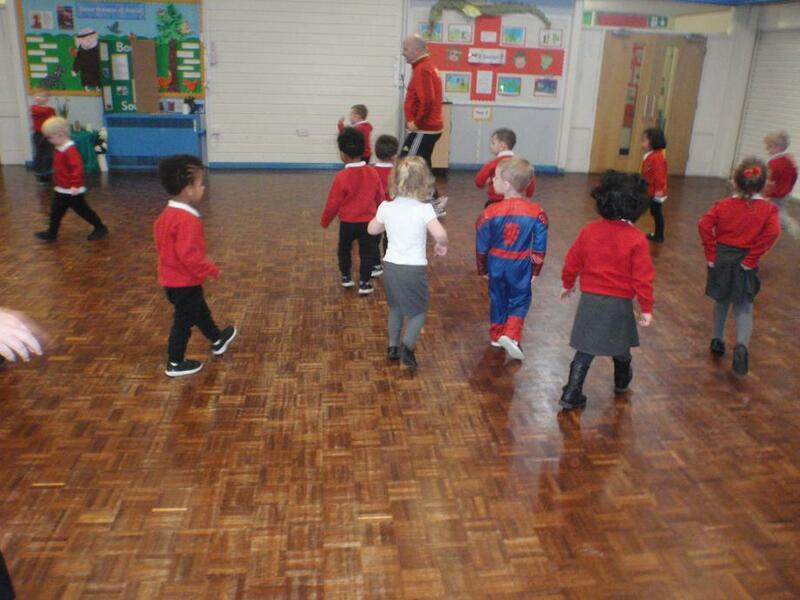 Leggings, tracksuit pants and t-shirts are ideal. 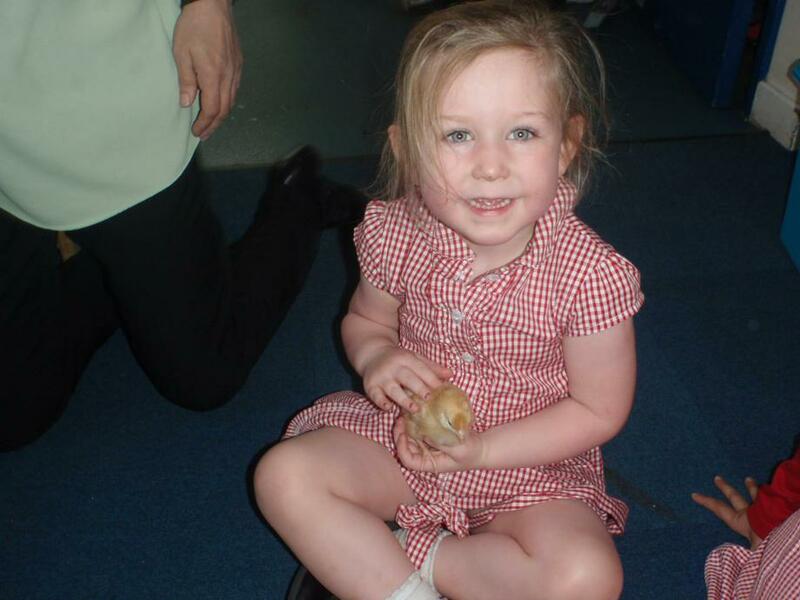 Skirts are not suitable for PE sessions. 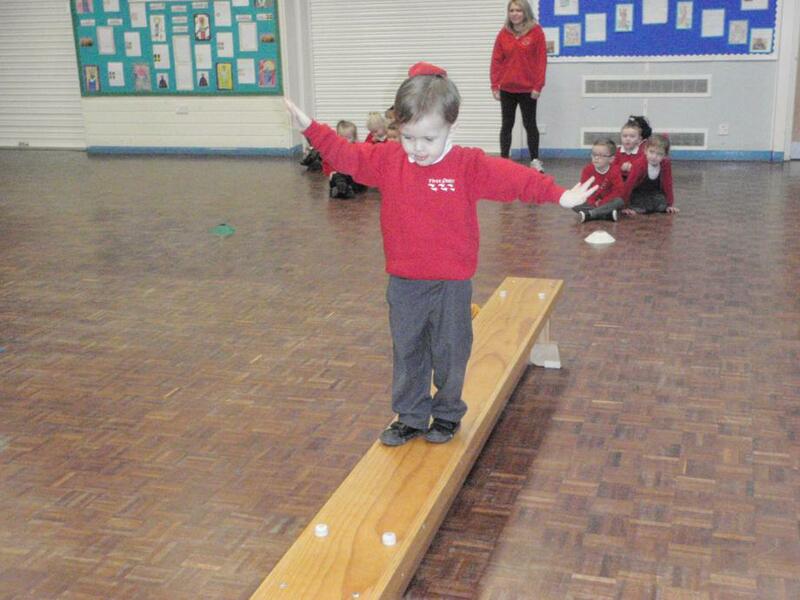 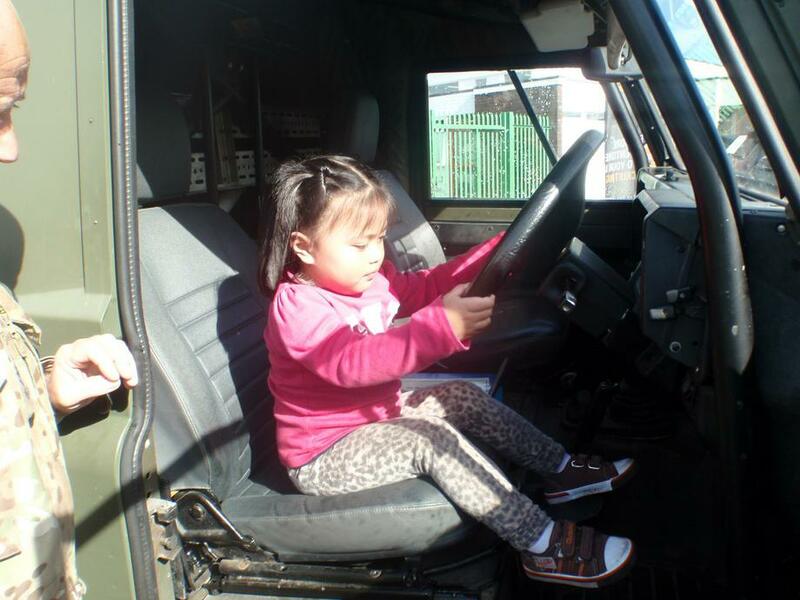 Children will participate in a variety of physical activities including using different apparatus and climbing. 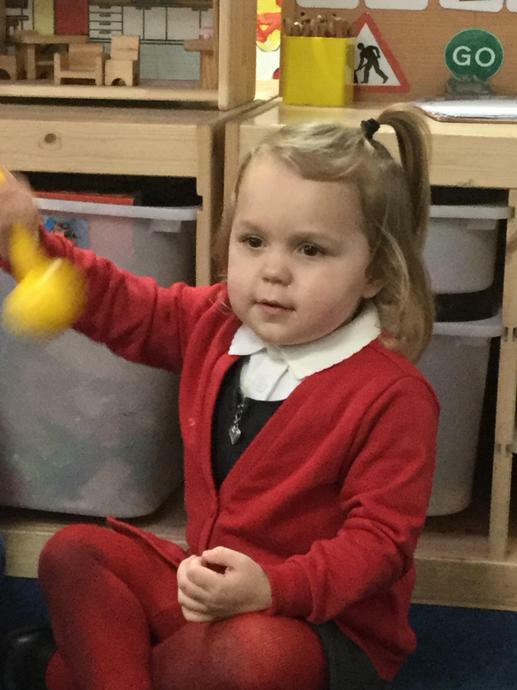 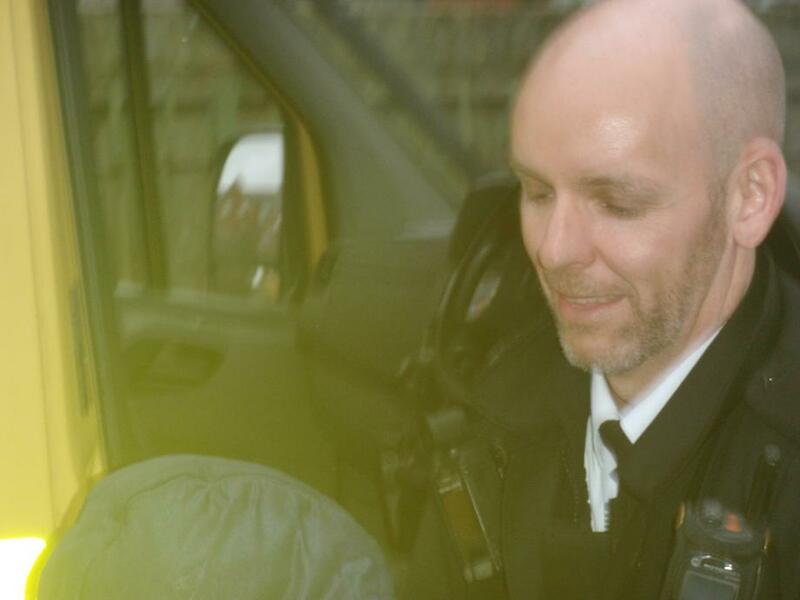 First steps uniform consists of a white polo shirt and red jumper/cardigan. 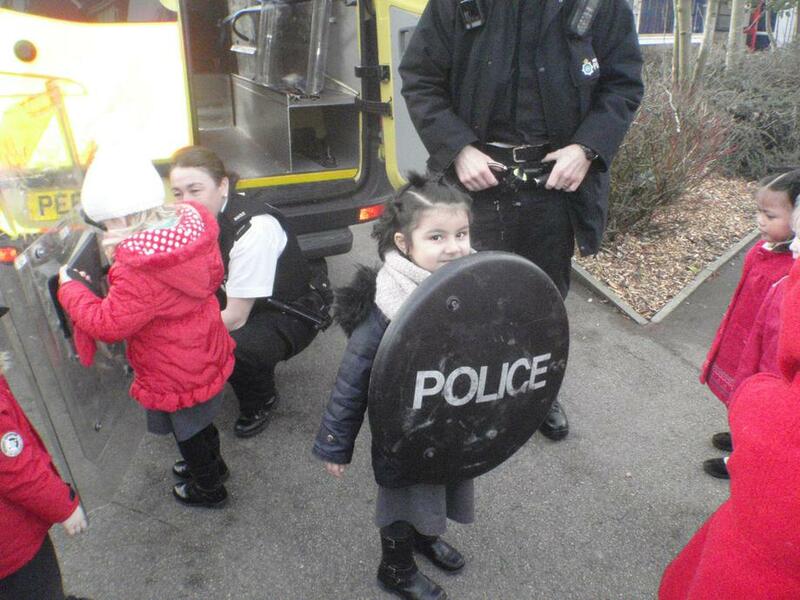 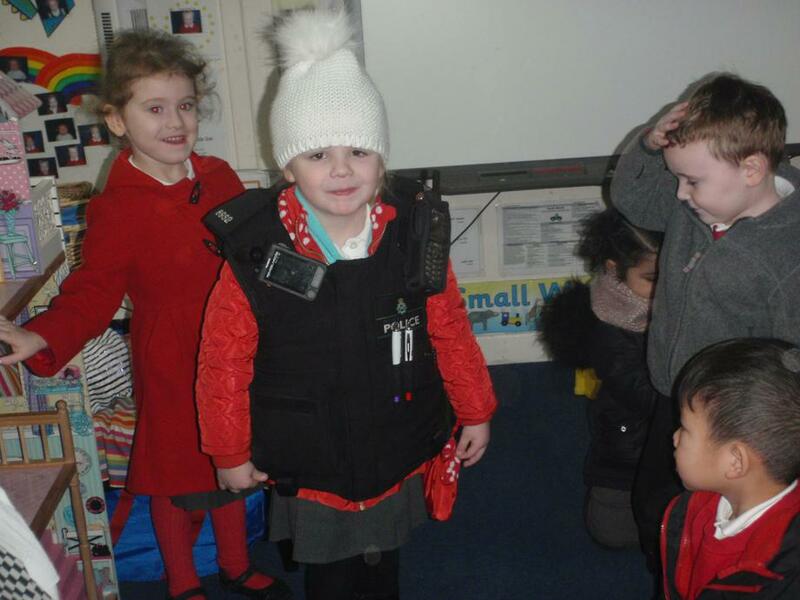 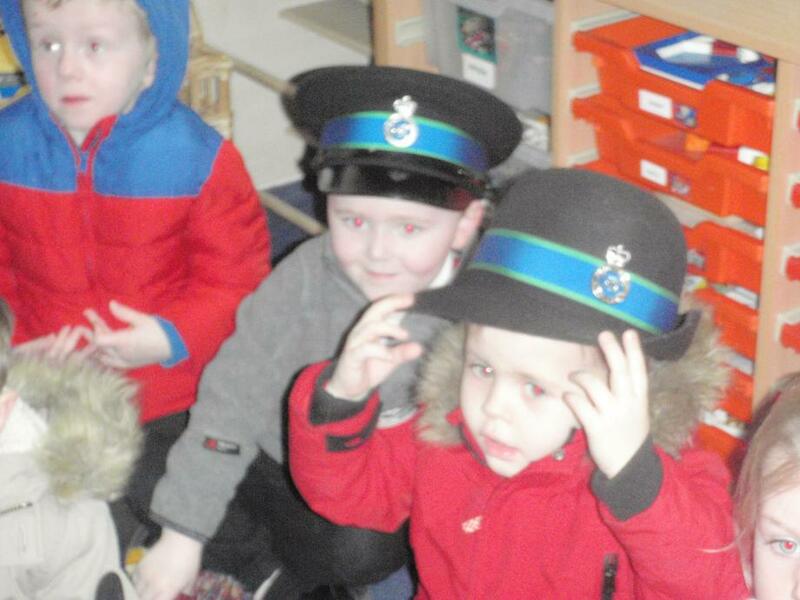 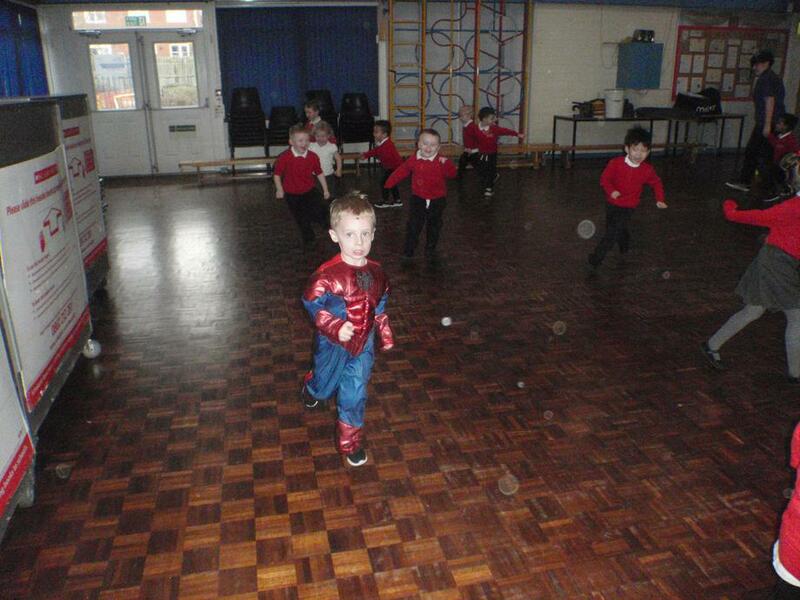 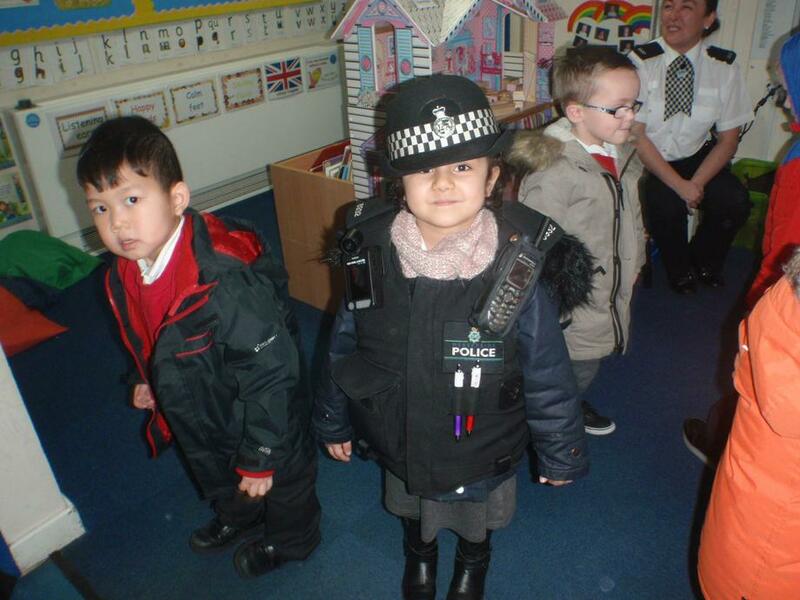 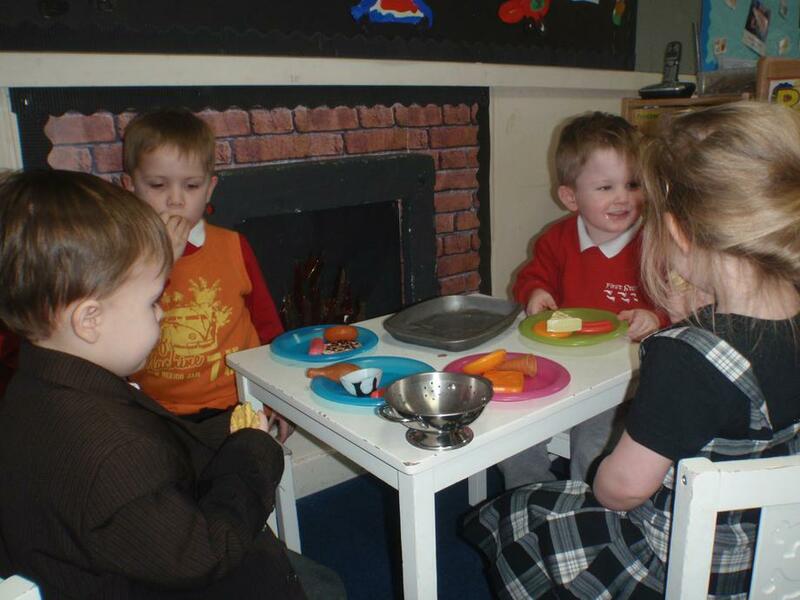 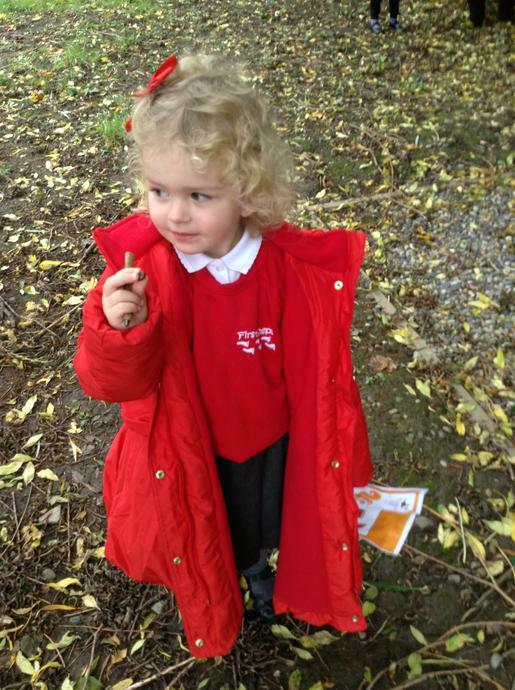 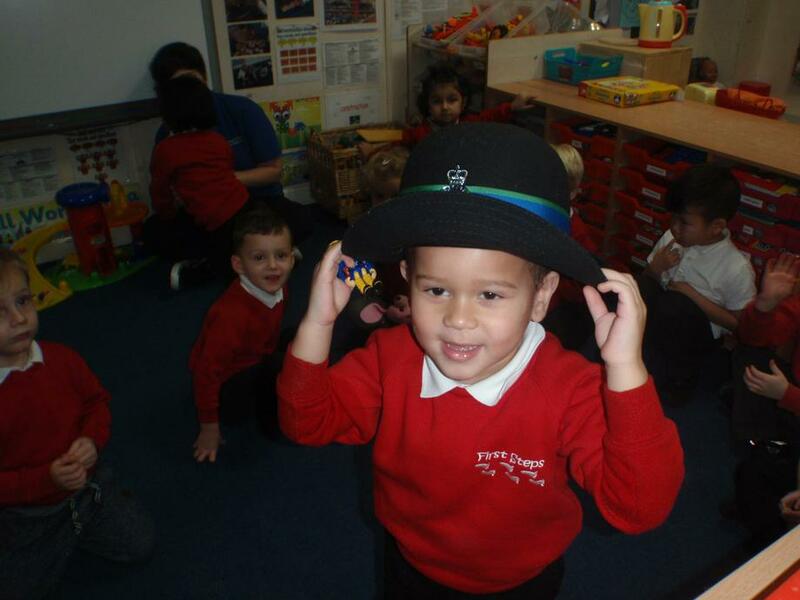 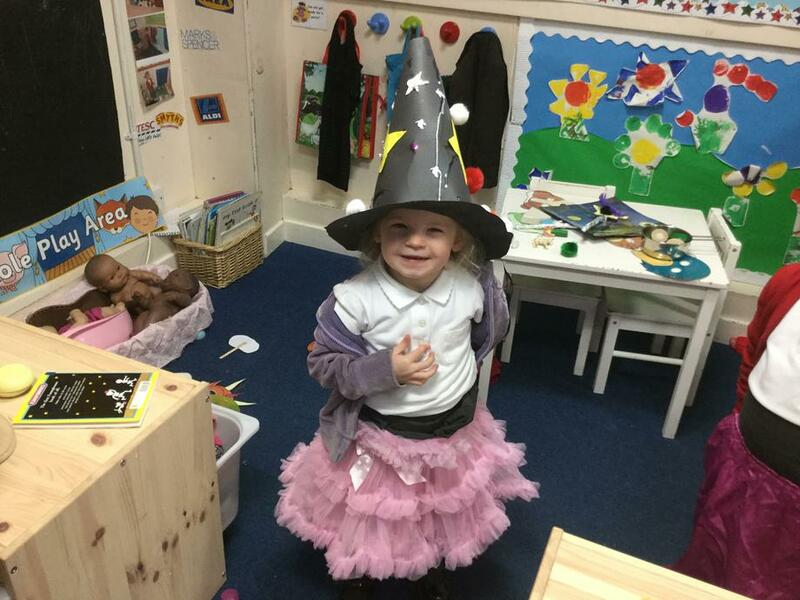 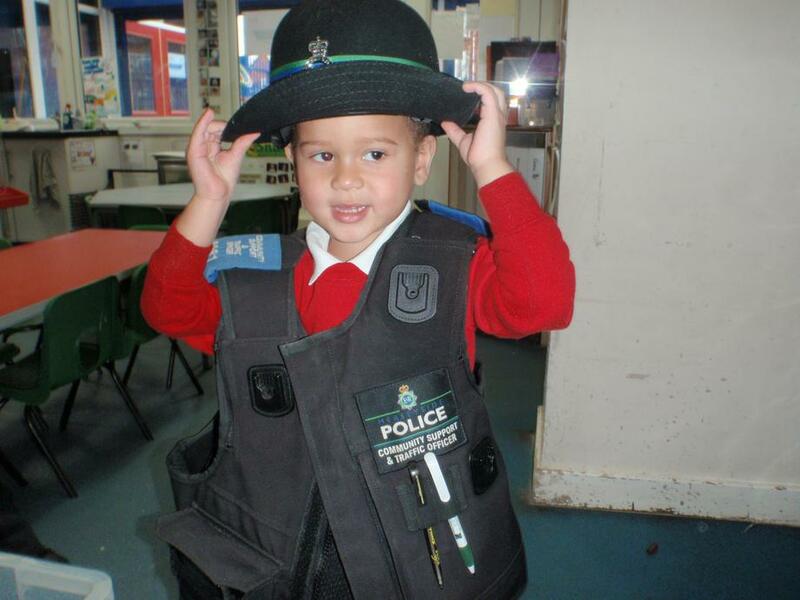 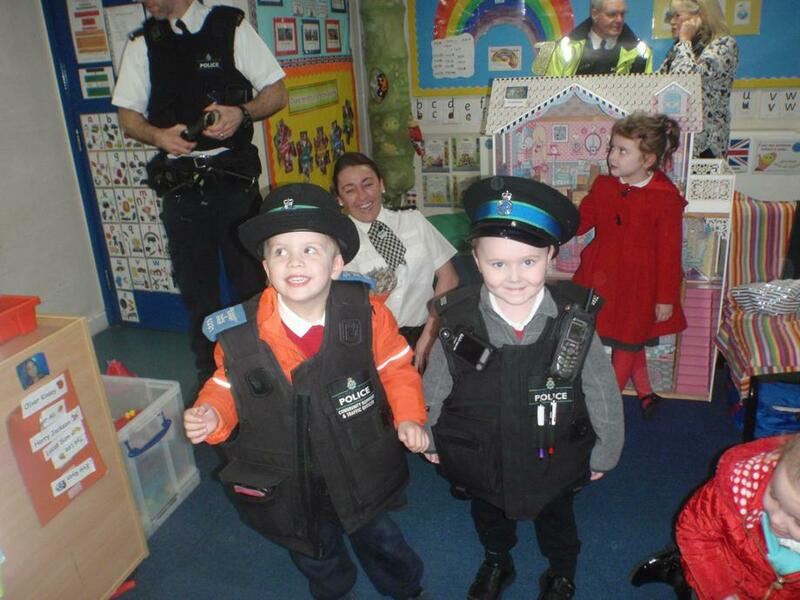 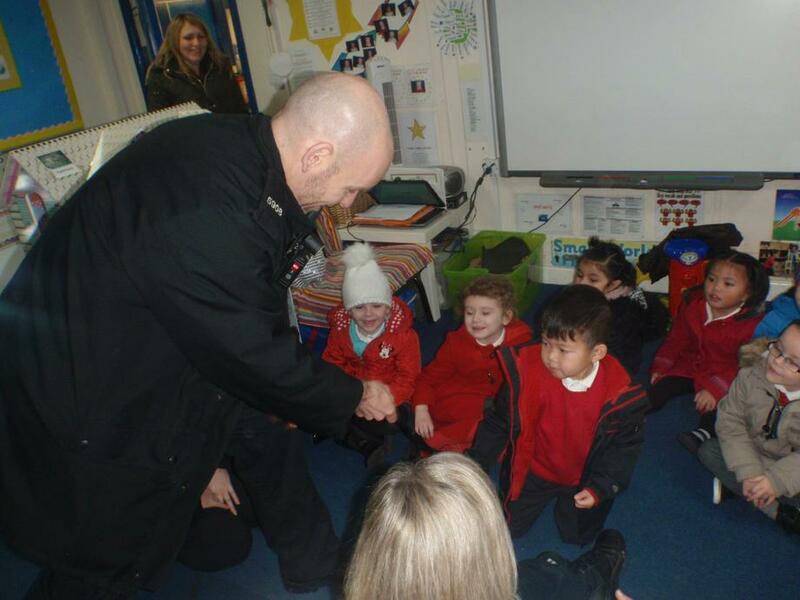 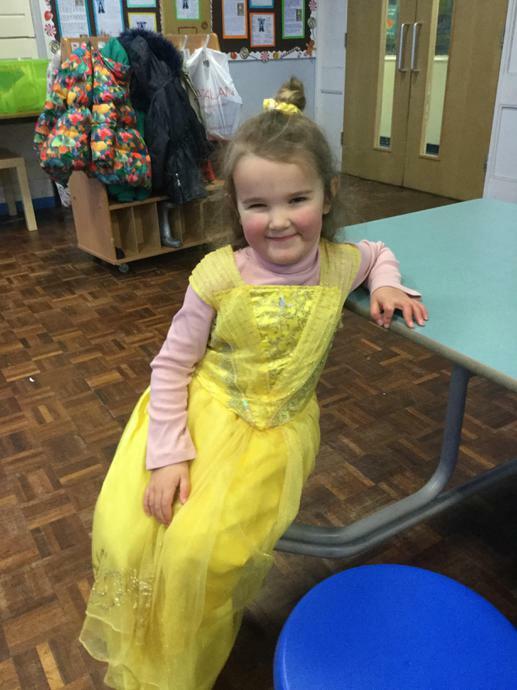 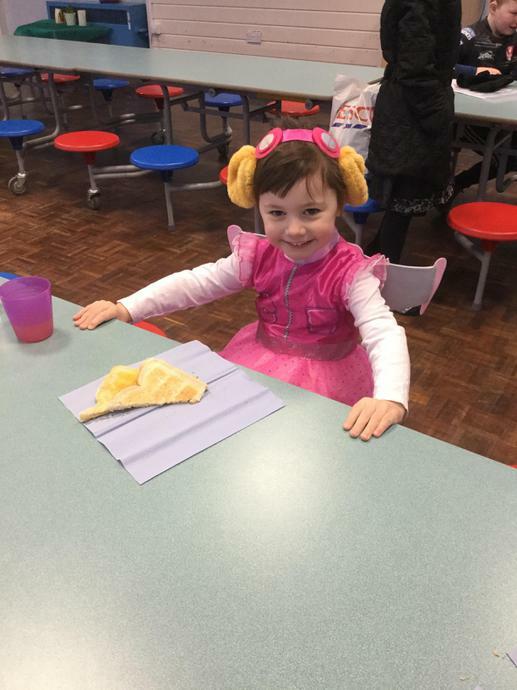 Uniform is not compulsory in First Steps but we do recommend children come to school suitably dressed. 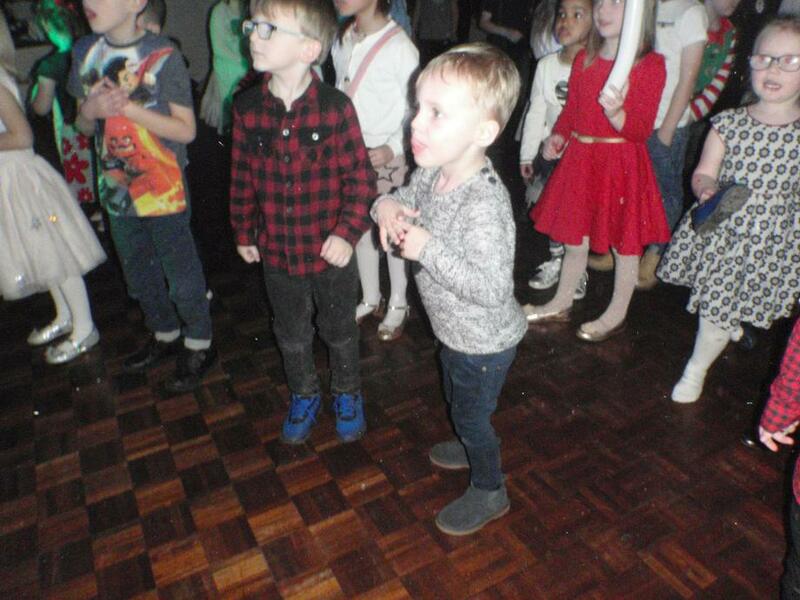 Lace up shoes and hard to fasten pants are not ideal. 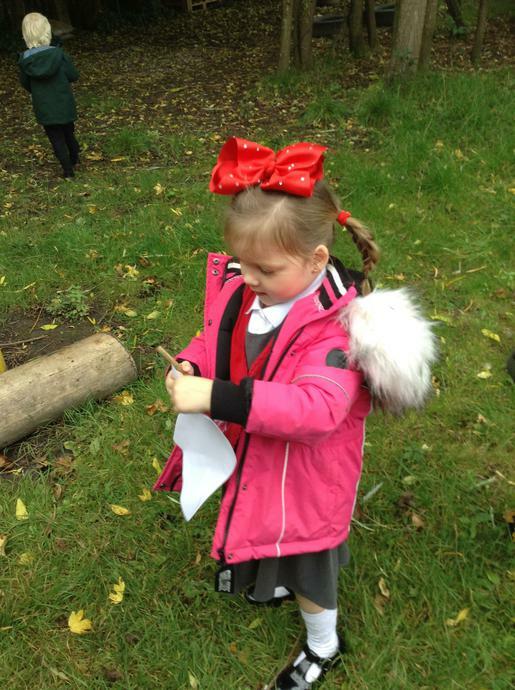 Please ensure all items of clothing and footwear are labelled with your child's name especially jumpers, cardigans and coats. 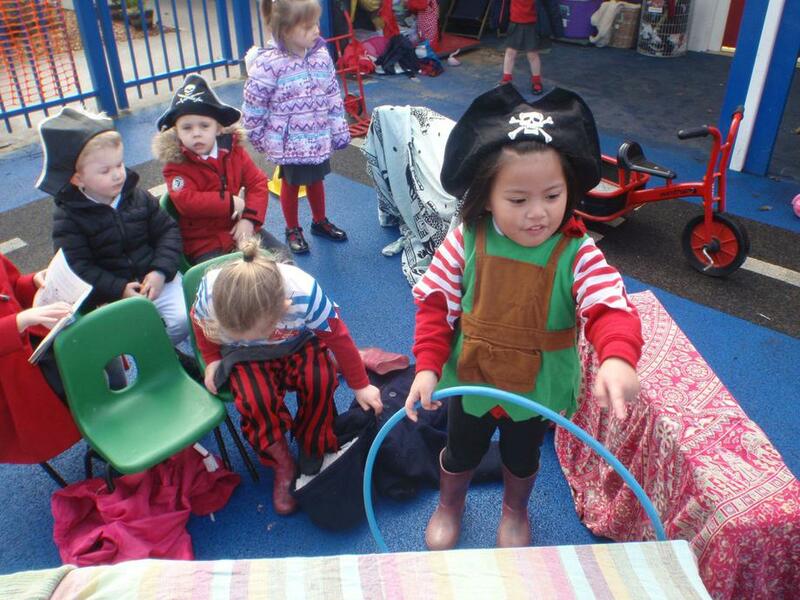 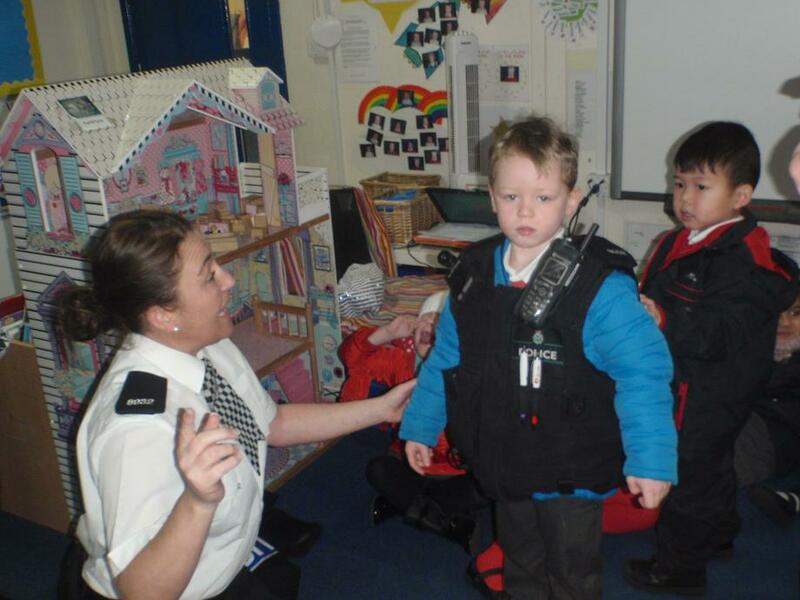 Please ensure your child has a full set of spare clothes in First Steps at all times. 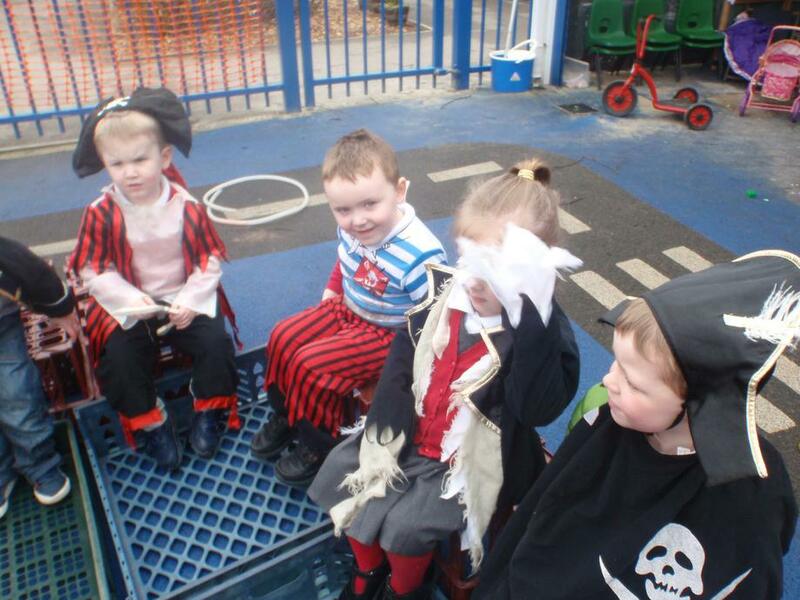 Accidents do happen including spilling drinks, getting wet during water play and soiling clothes during daily activities. 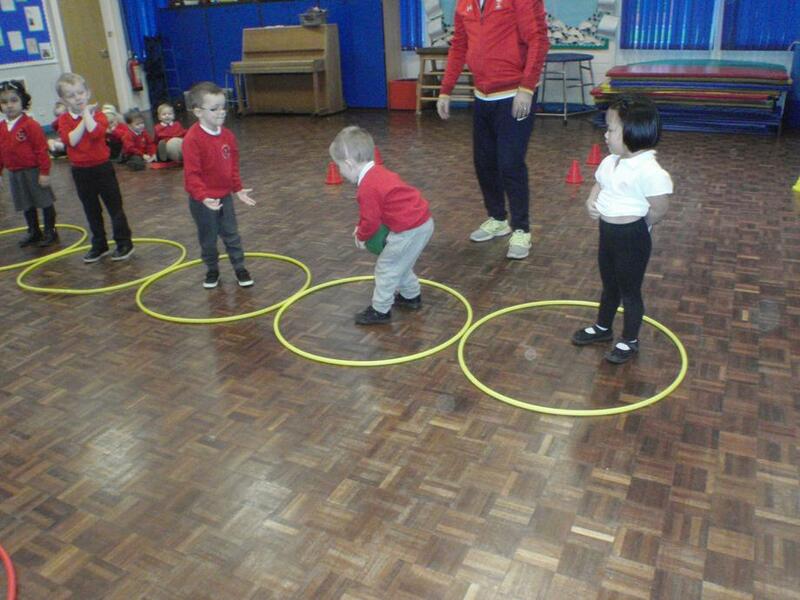 These can be left in First Steps. 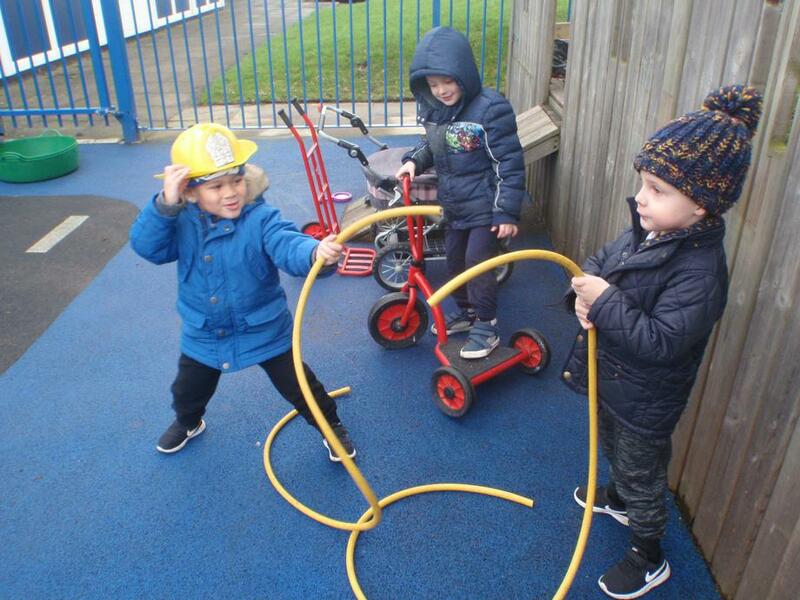 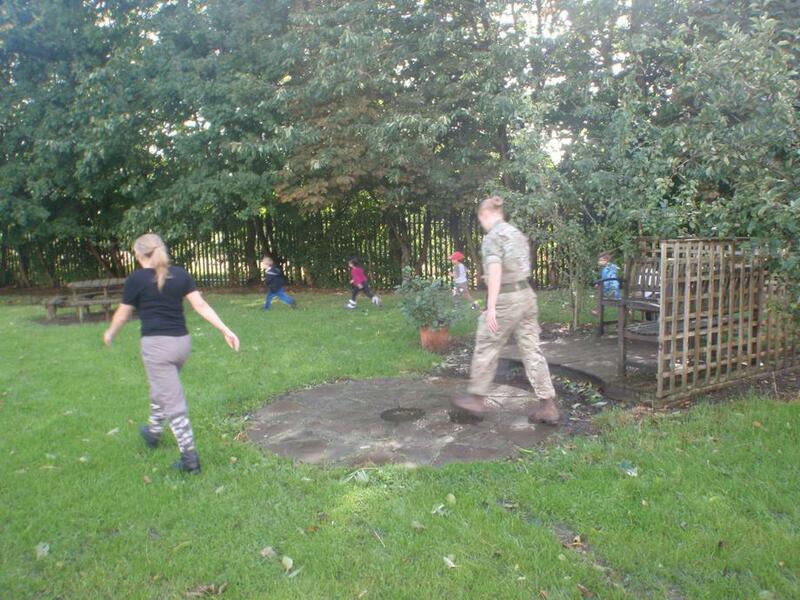 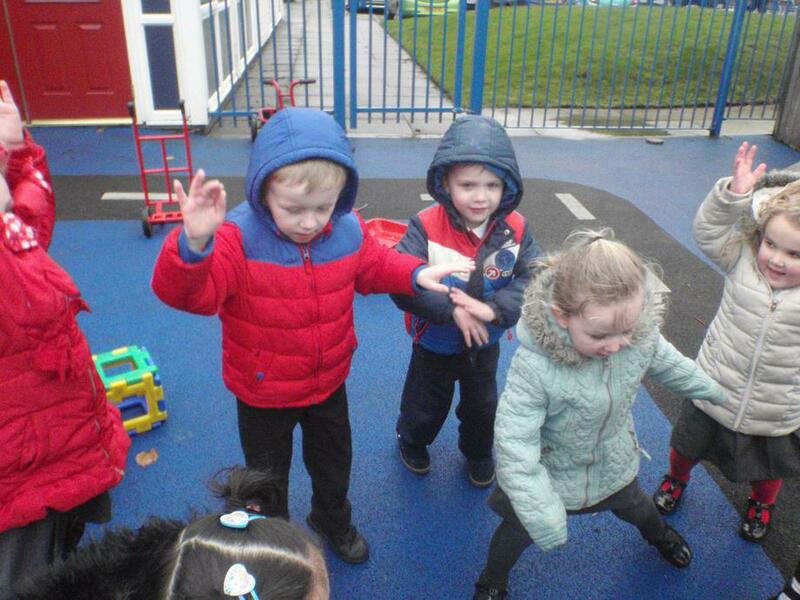 Please provide waterproof jackets and wellies for use during outdoor play. 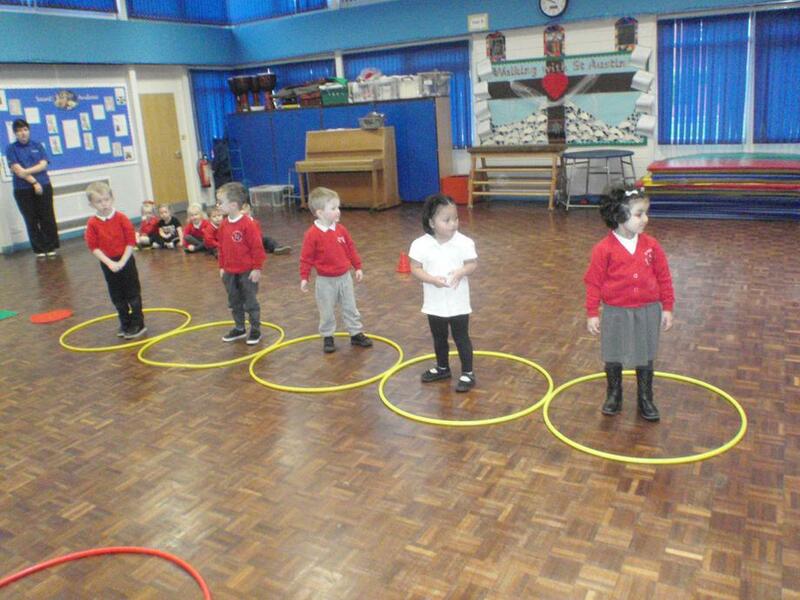 These can be left in First Steps. 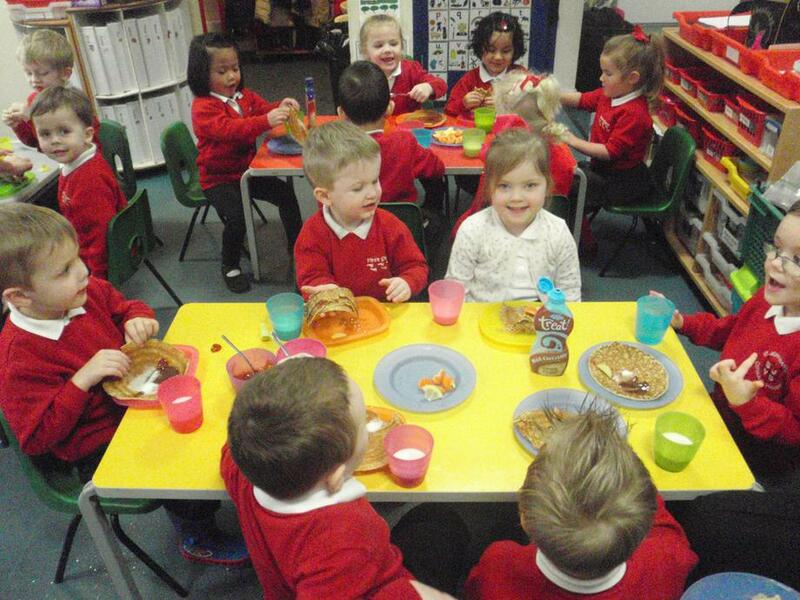 Snack is charged at 50p per 3 hour session, up to a maximum of £2.50 a week. 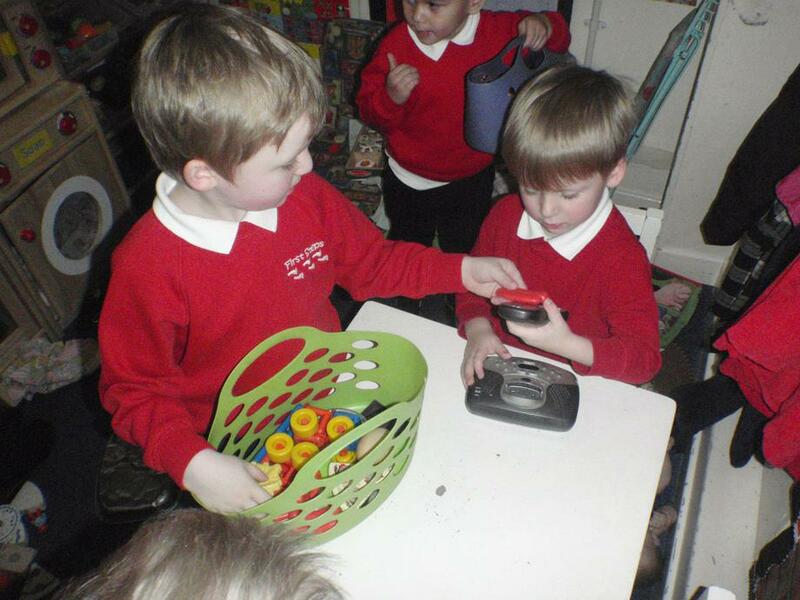 Please ensure that snack money is paid on the first day of the week your child attends. 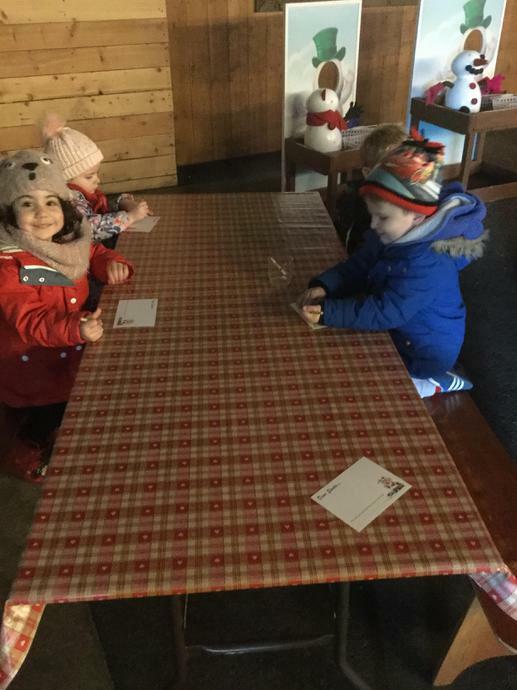 It should be placed in a sealed envelope with your childs name clearly written on the front and handed to a member of staff. 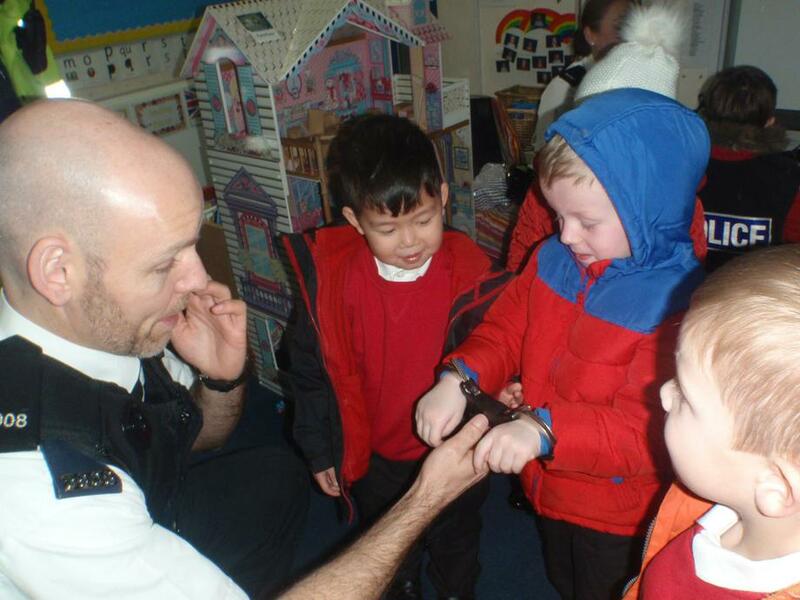 Due to health and safety reasons jewellery should not be worn for First Steps. 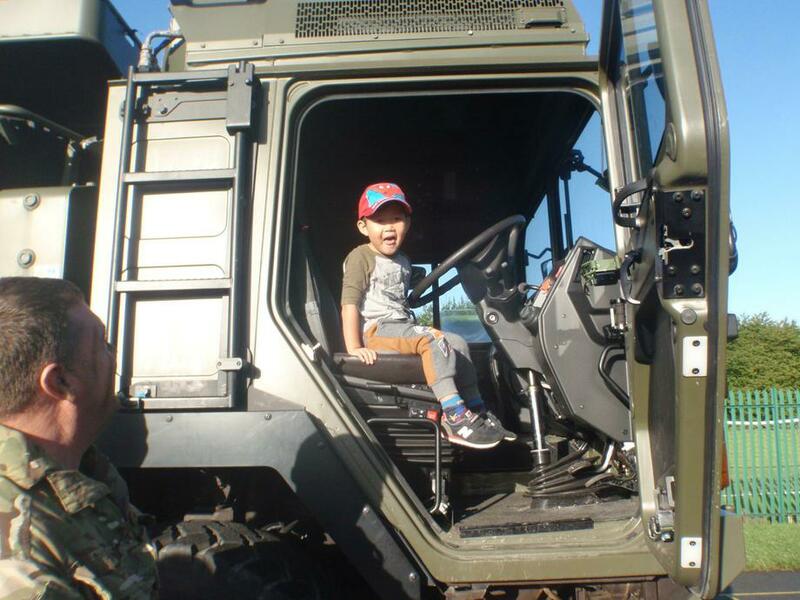 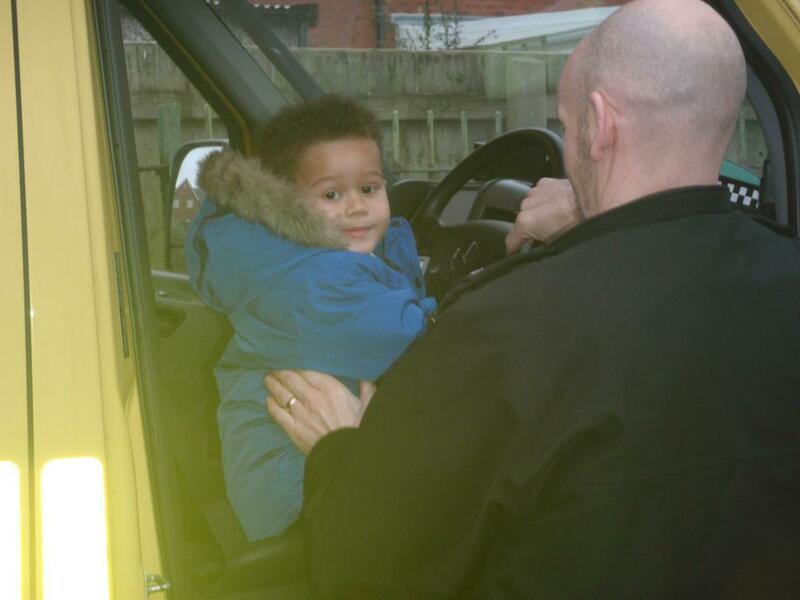 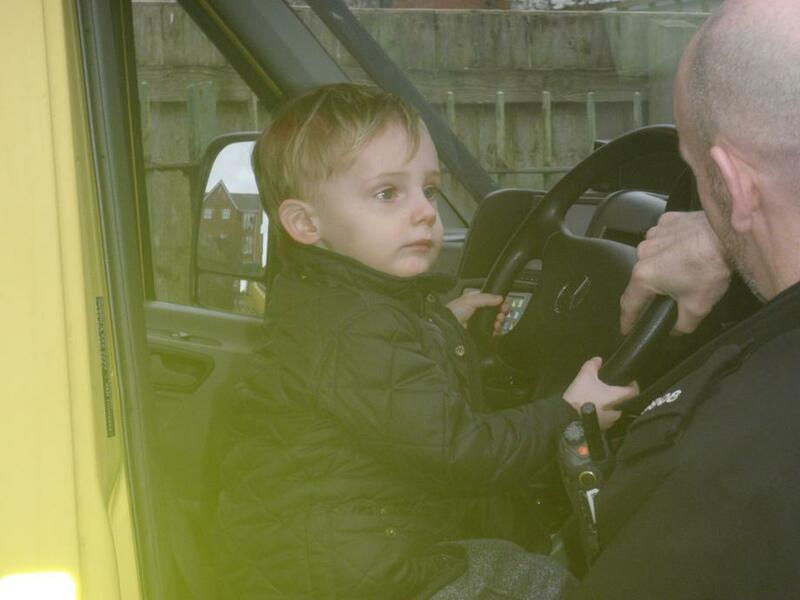 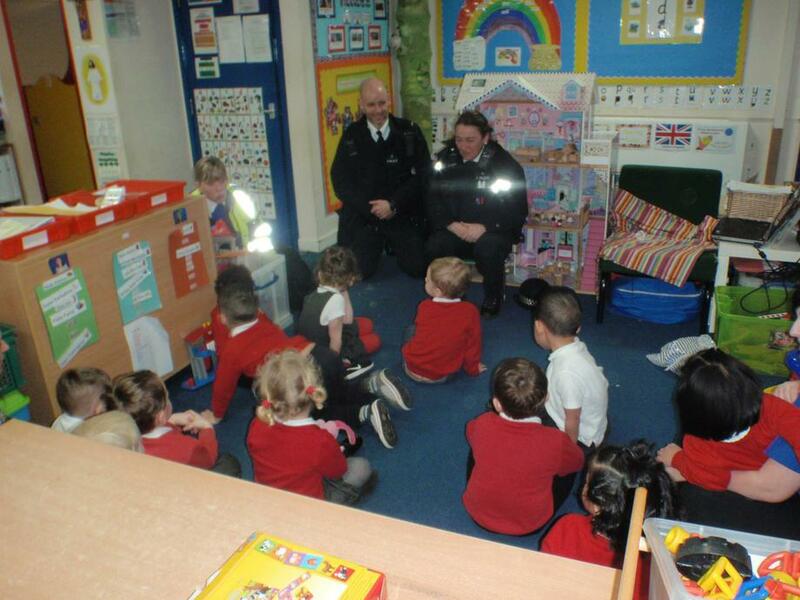 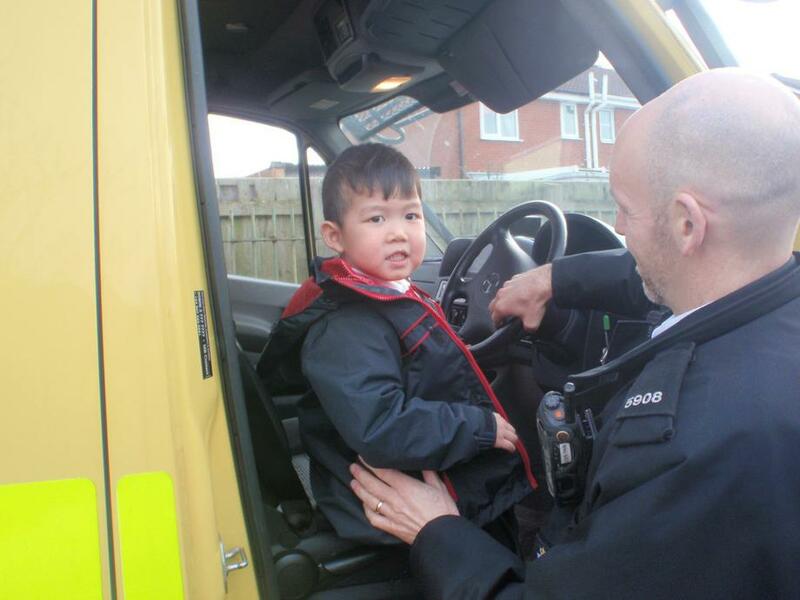 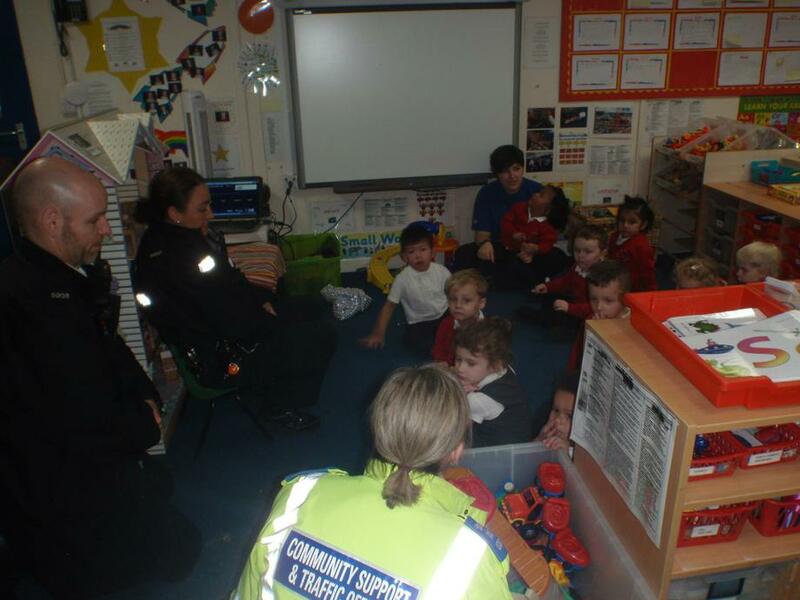 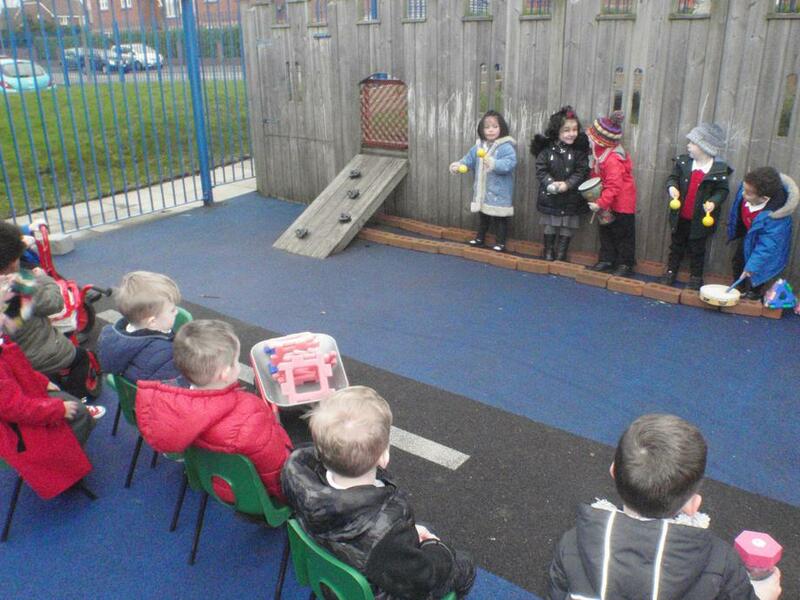 Please ensure that children DO NOT bring any of their own toys into First Steps. 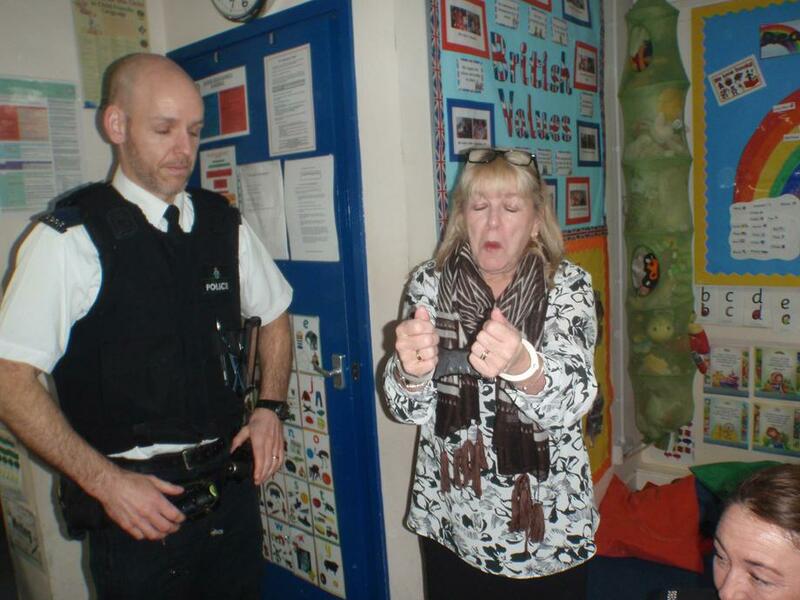 It can cause unnecessary upset if they get broken or go missing. 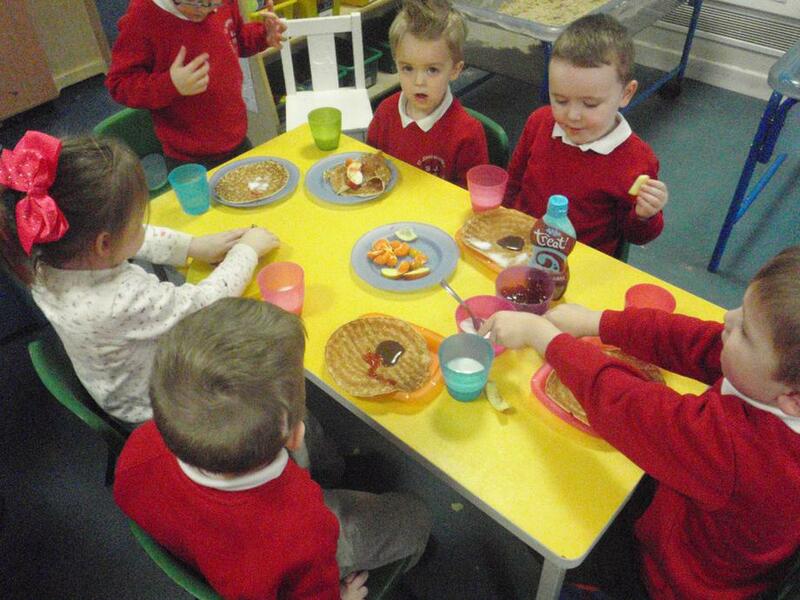 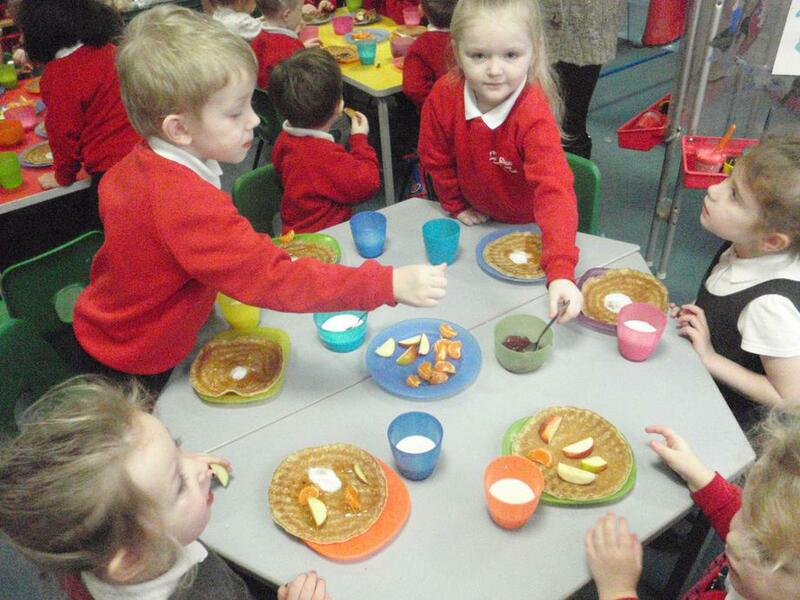 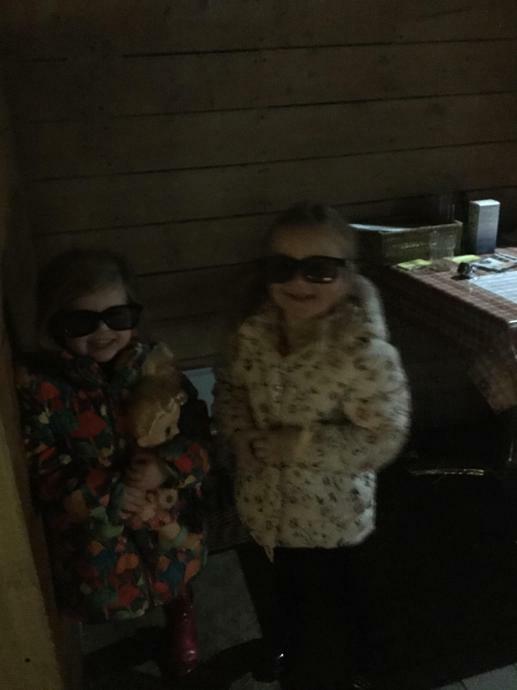 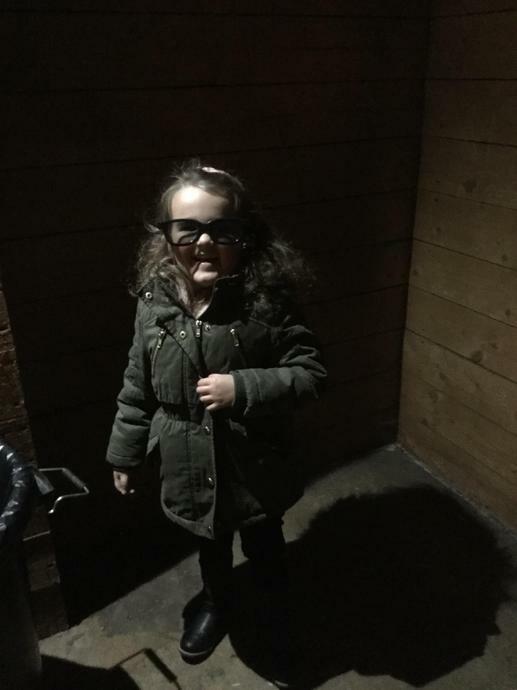 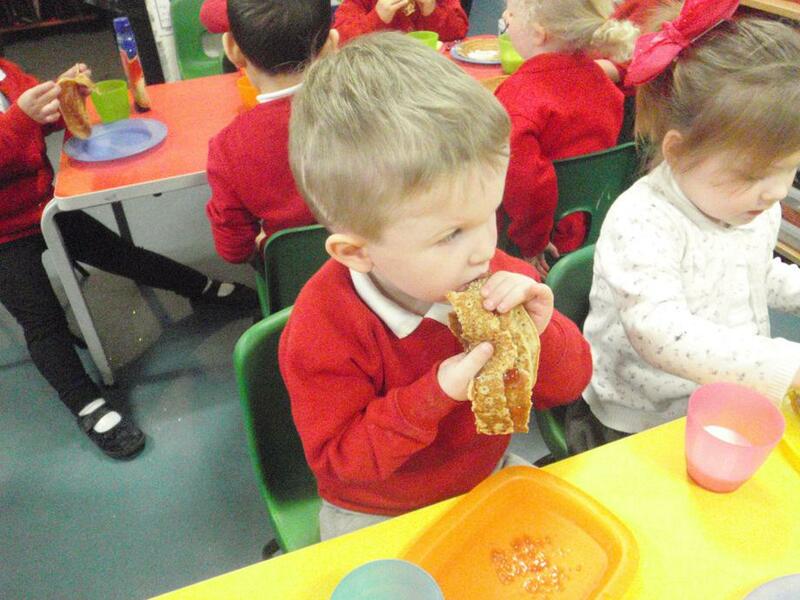 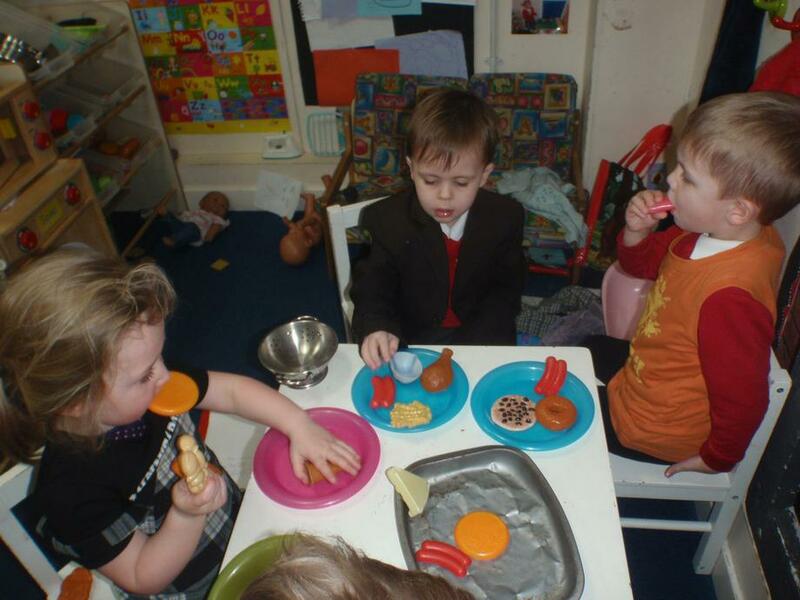 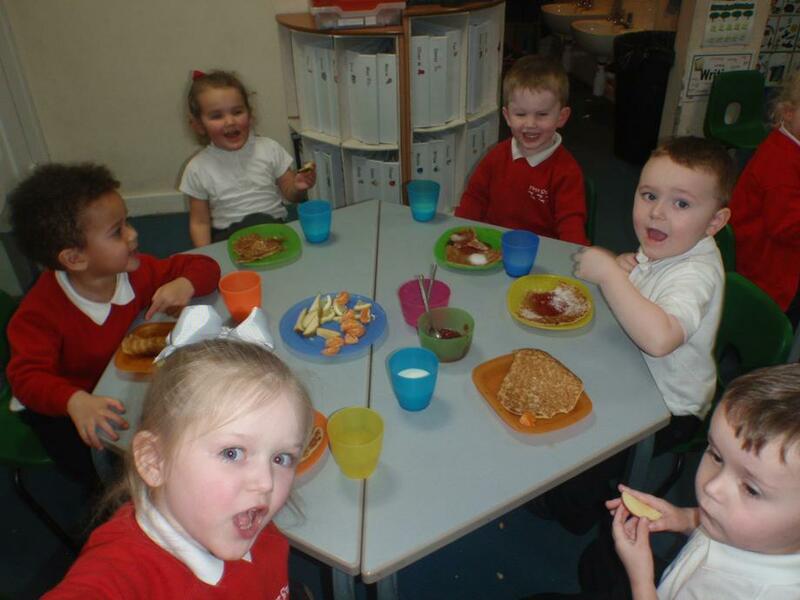 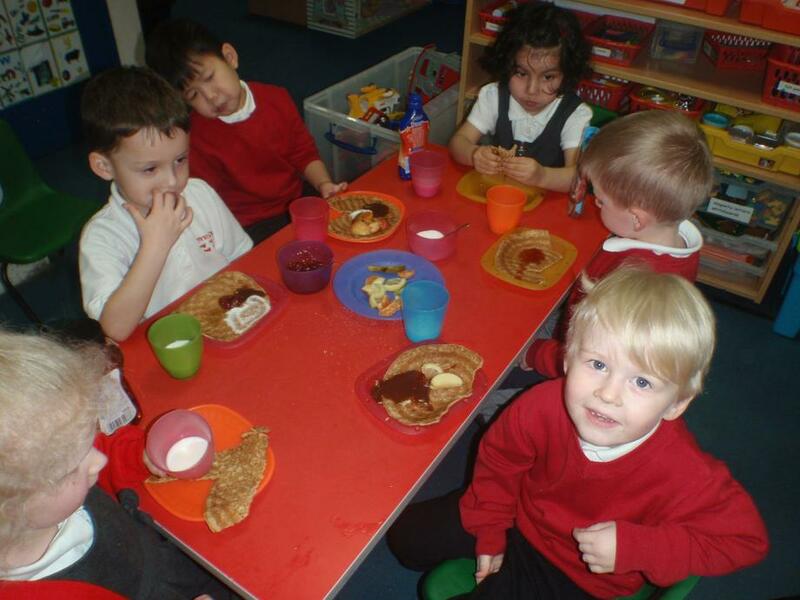 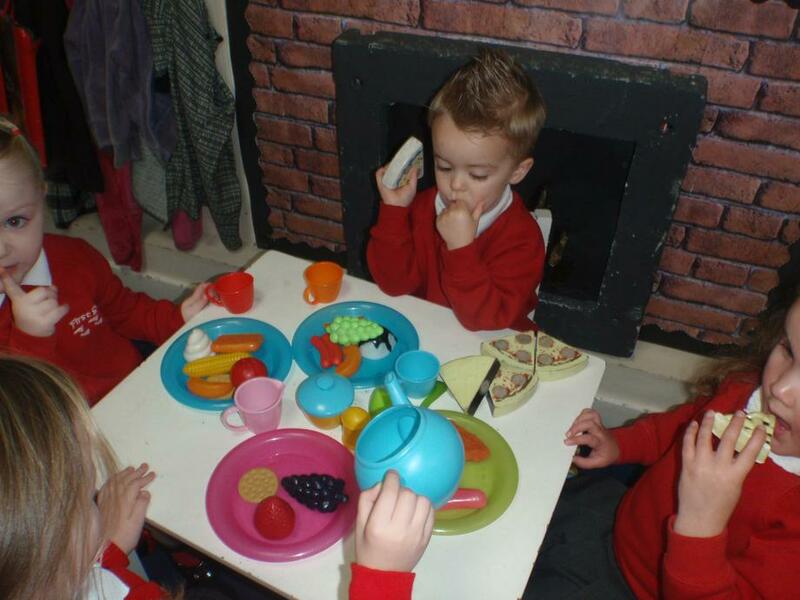 Could we please ask that you do not send in any food or drinks into First Steps unless agreed by a member of staff or if your child uses our wraparound service and requires a packed lunch. 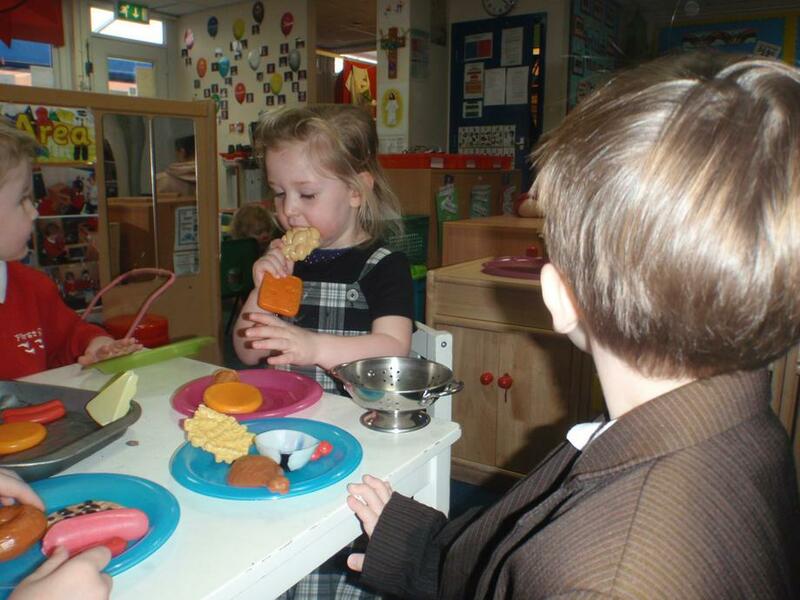 We do have children from time to time who suffer from allergies and we need to make sure no allergens are present in our setting. 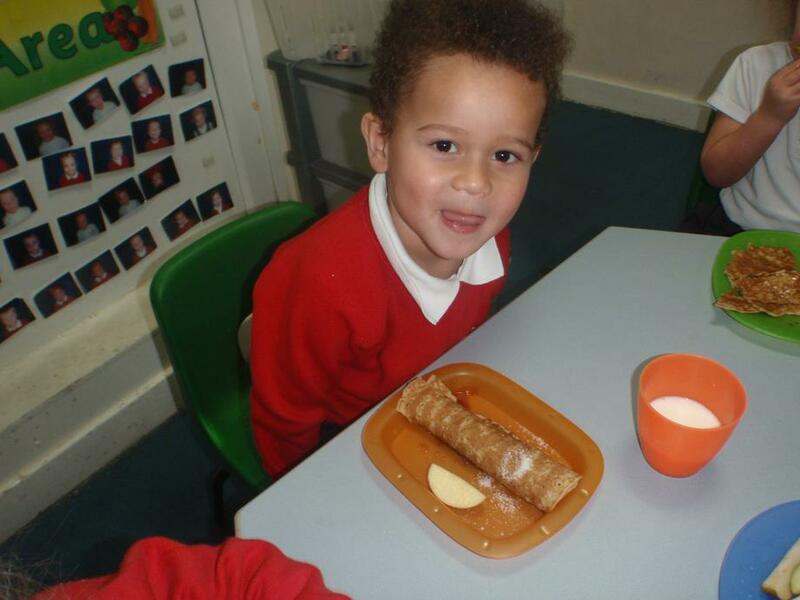 Your child is provided with a healthy snack each day and milk and water are available at all times. 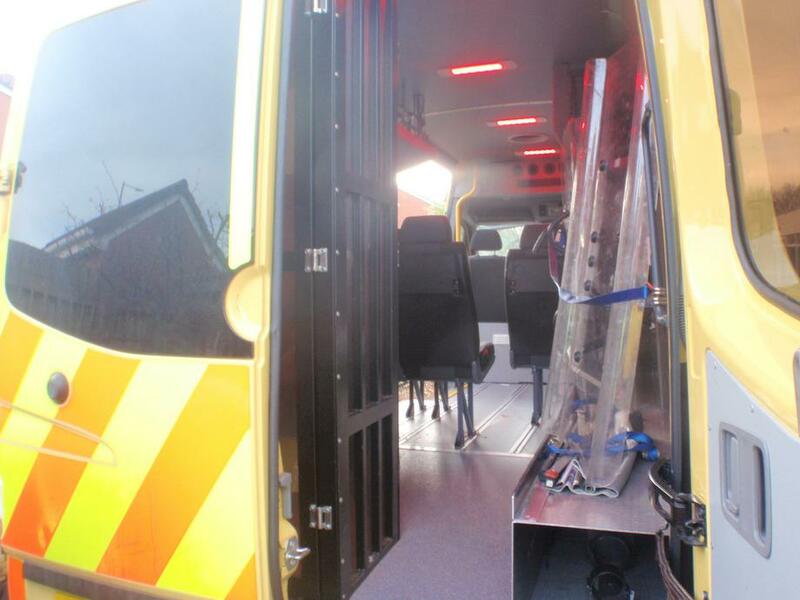 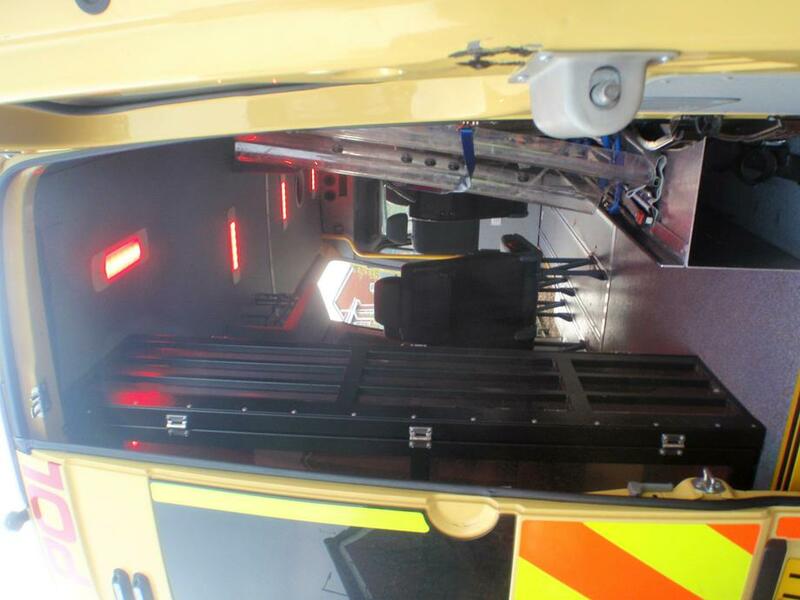 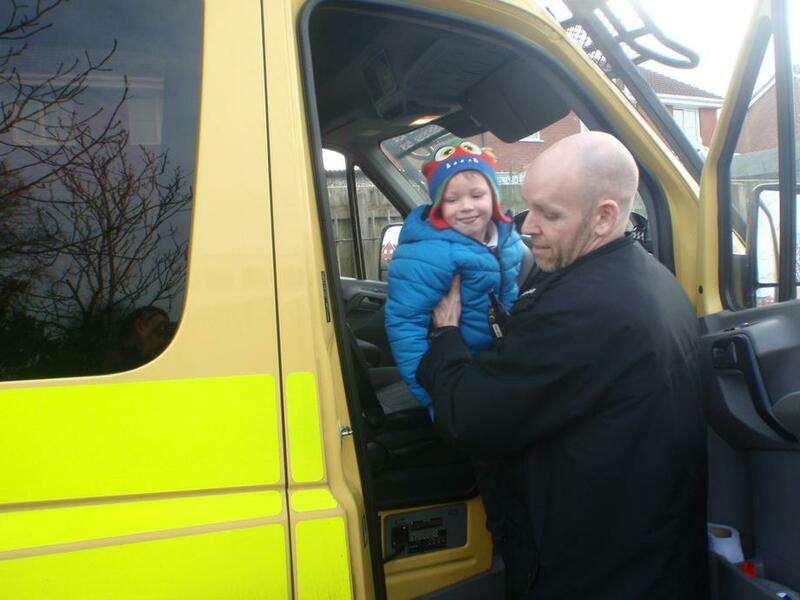 Please make sure we have two up to date contact details in case of an emergency. 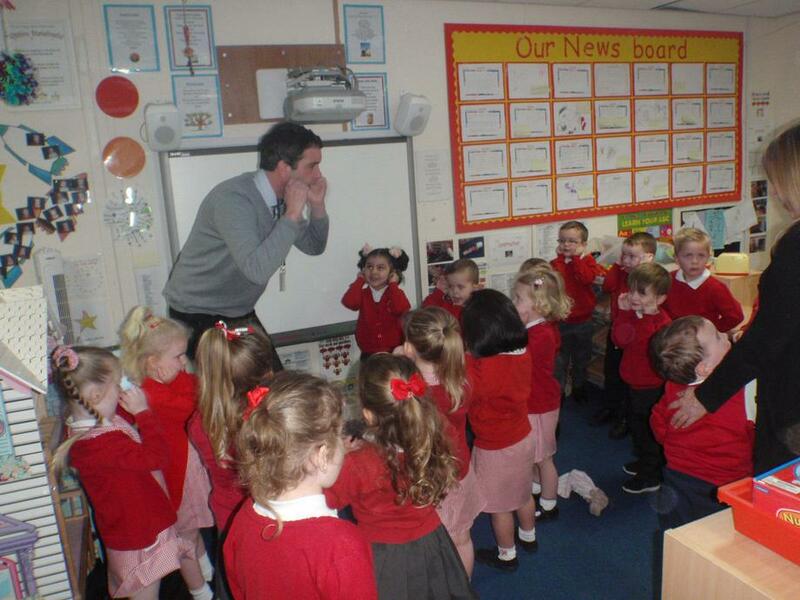 Always try to be prompt dropping off and picking up children as this prevents any unnecessary upsets. 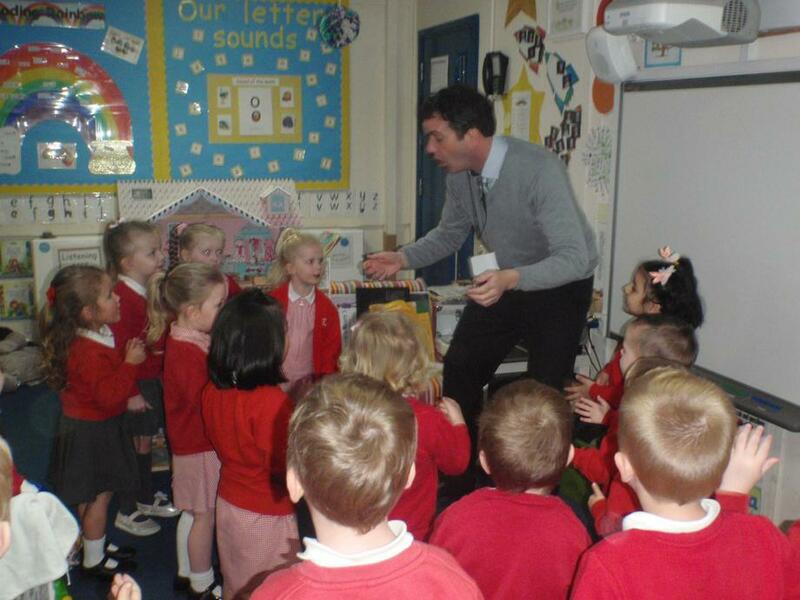 You must always tell staff in person or by telephone if someone else is collecting your child. 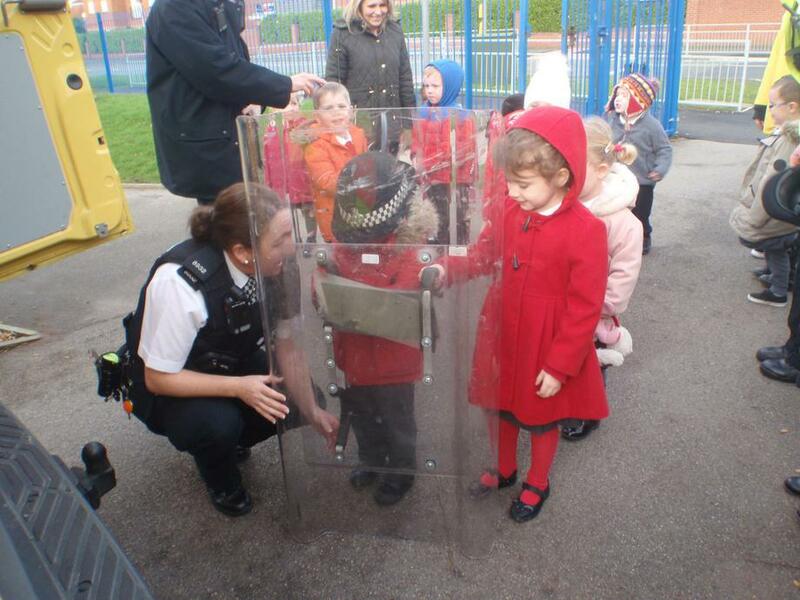 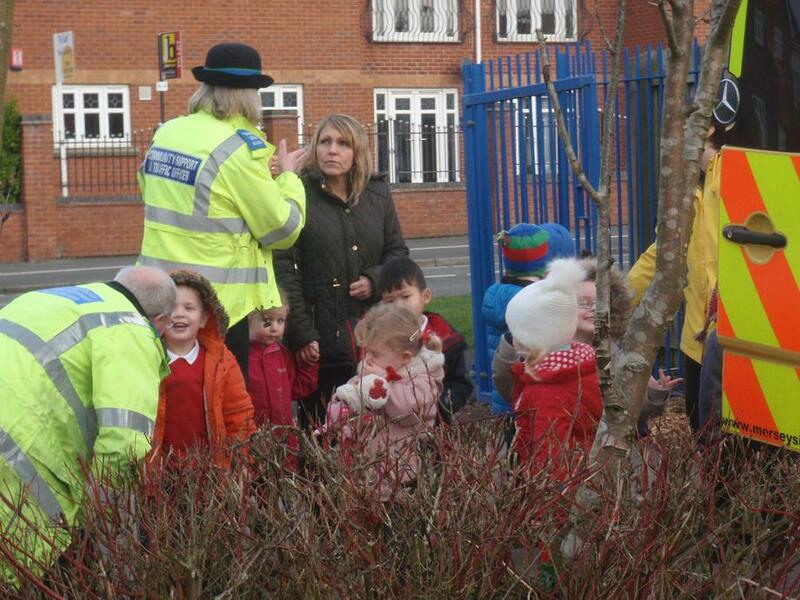 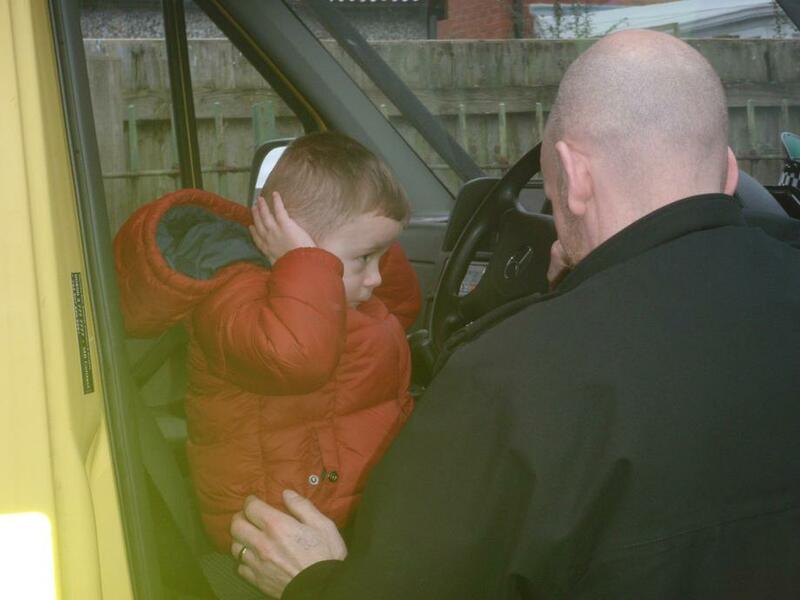 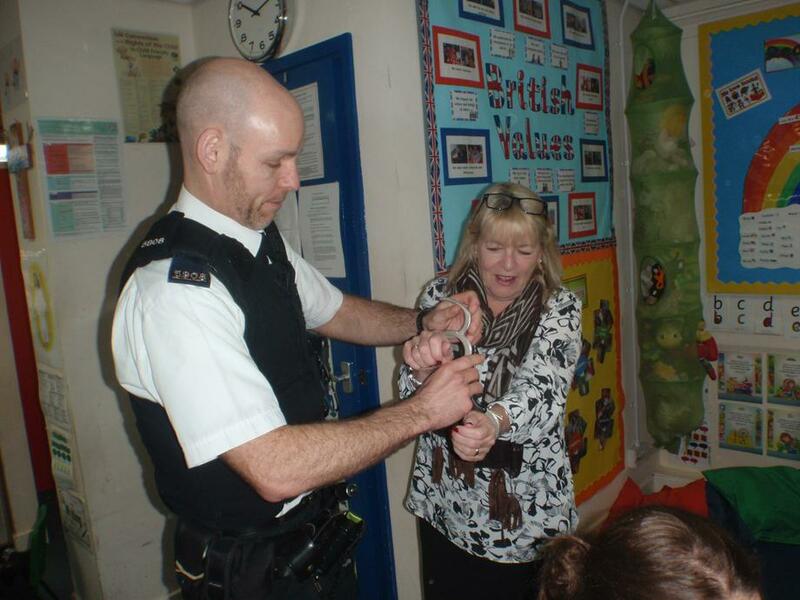 A password is required if your child is to be collected by anyone unknown to First Steps staff. 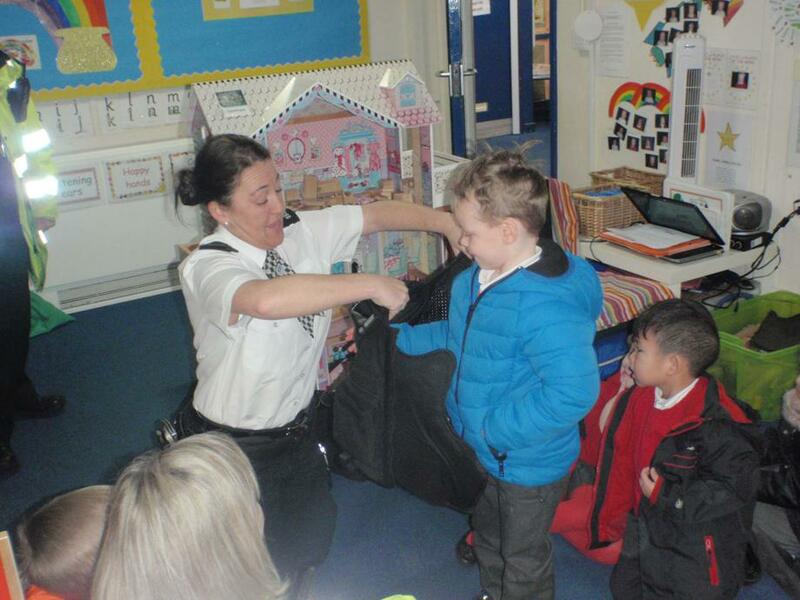 Book bags will be sent home on a weekly basis. 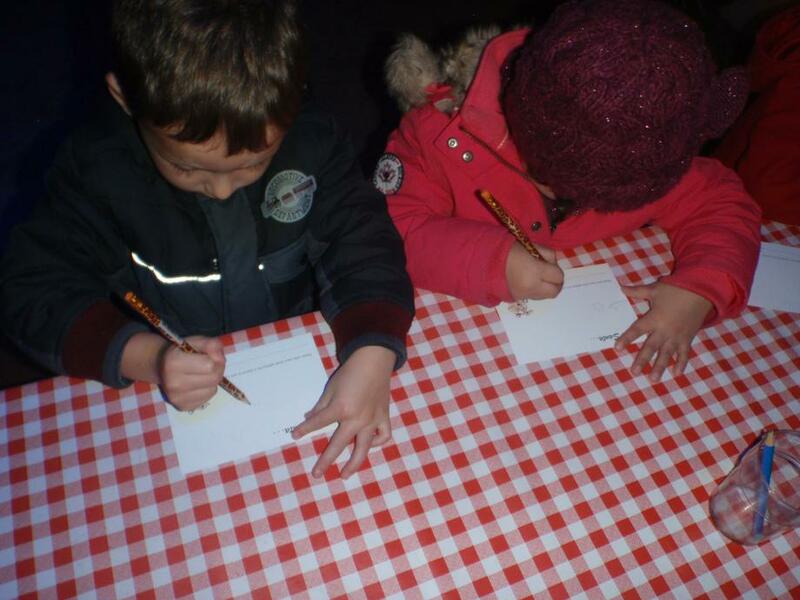 These include a story book to share with your child and a reading record book for you to comment in. 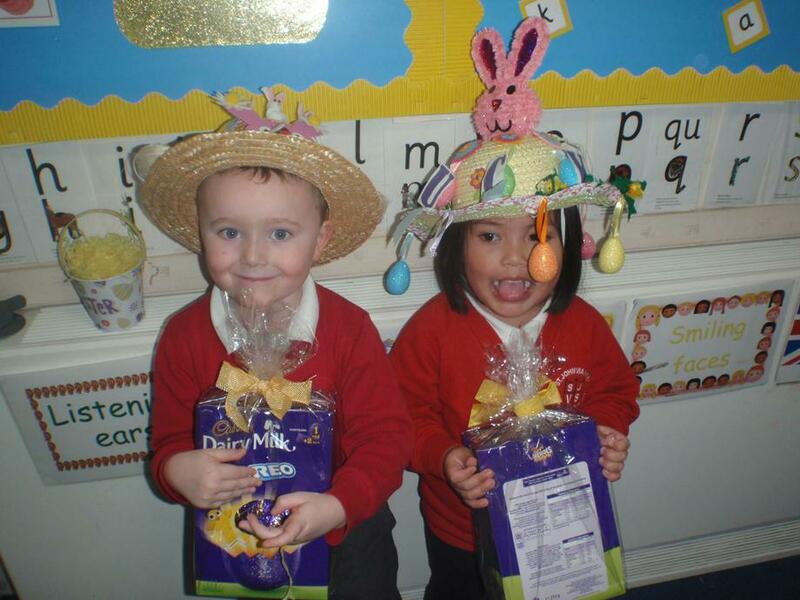 Please make sure these are returned each week for exchange. 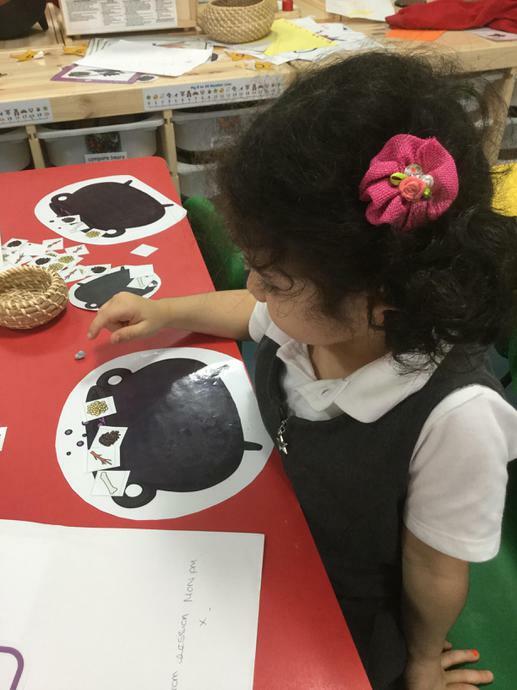 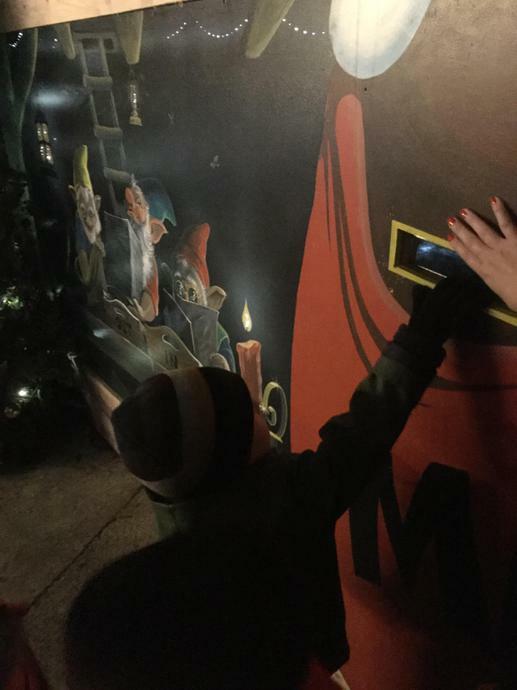 Children may also receive an activity to complete at home. 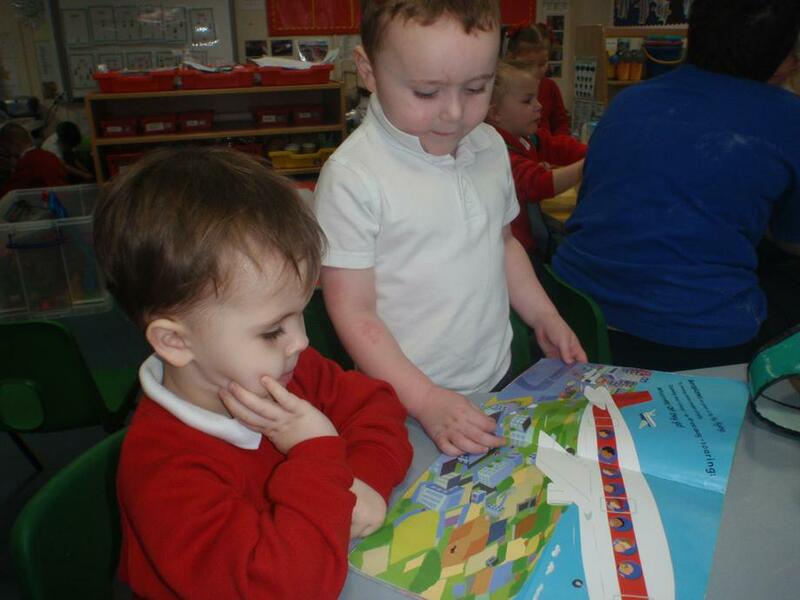 Children are also involved in the reading rainbow challenge. 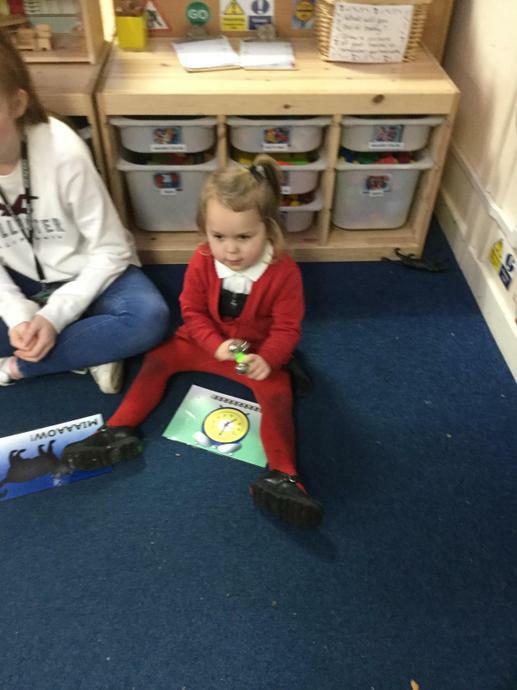 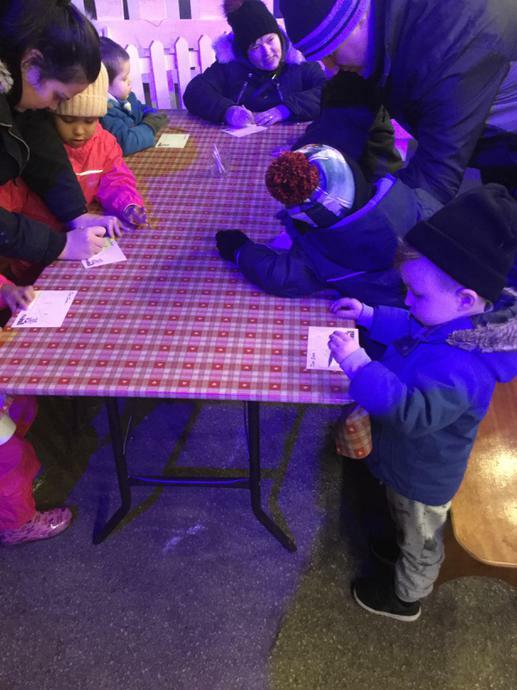 Your child will receive a sticker for each book they read with you at home and certificates will be awarded when your child hits specific targets. 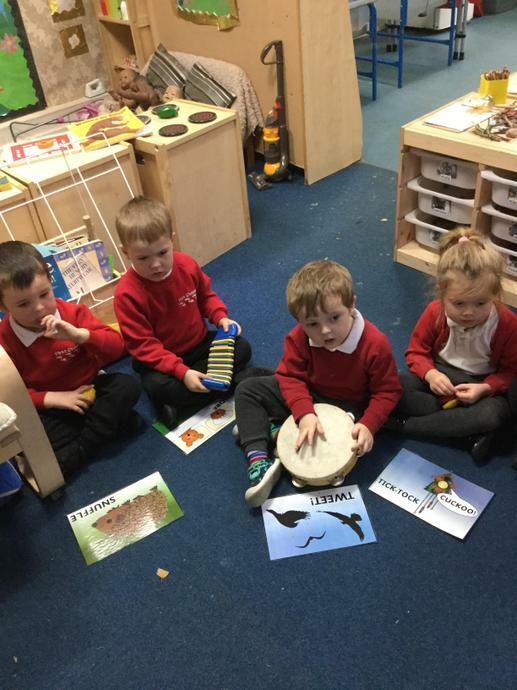 Please read the information below to find out more. 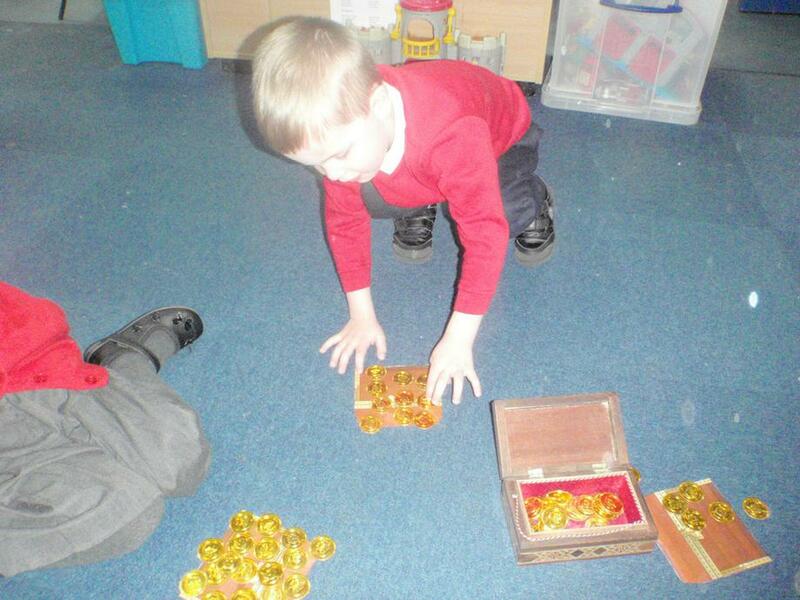 80 or more books-Gold coin certificate and prize. 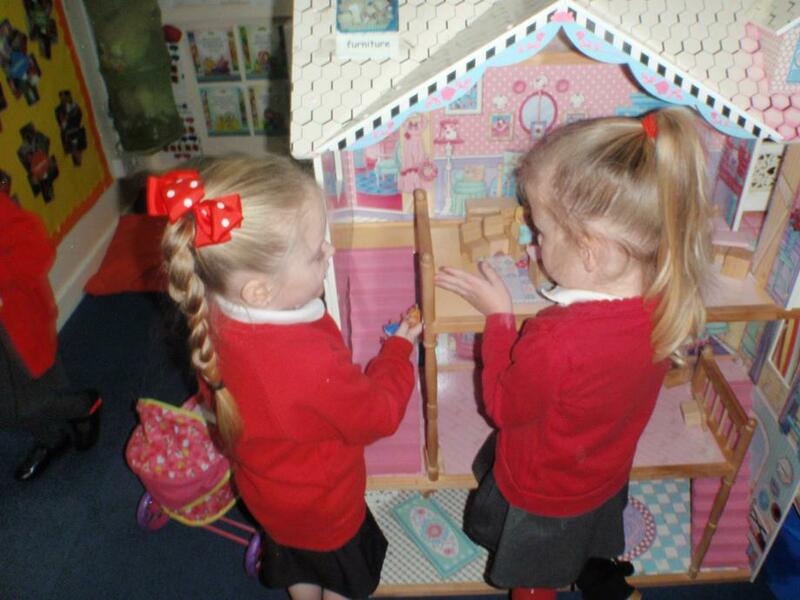 We would very much appreciate your support at home in encouraging your child to share books every day. 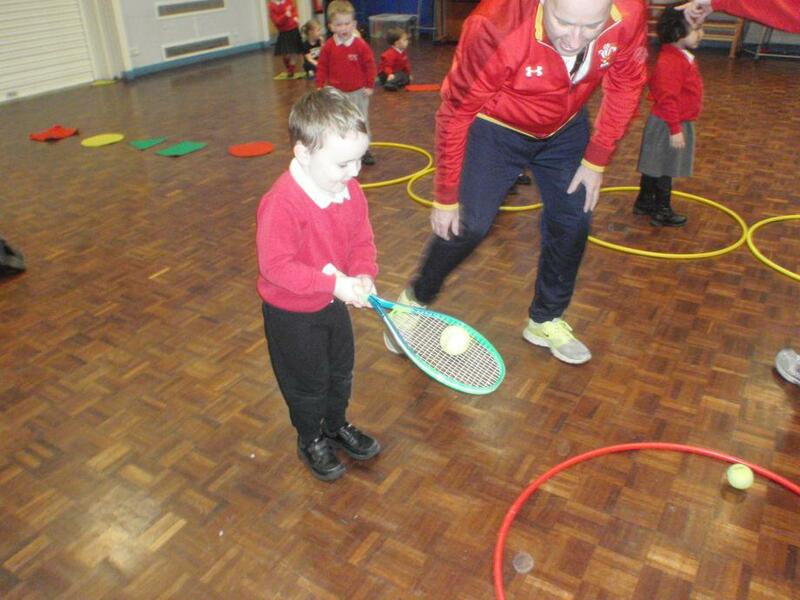 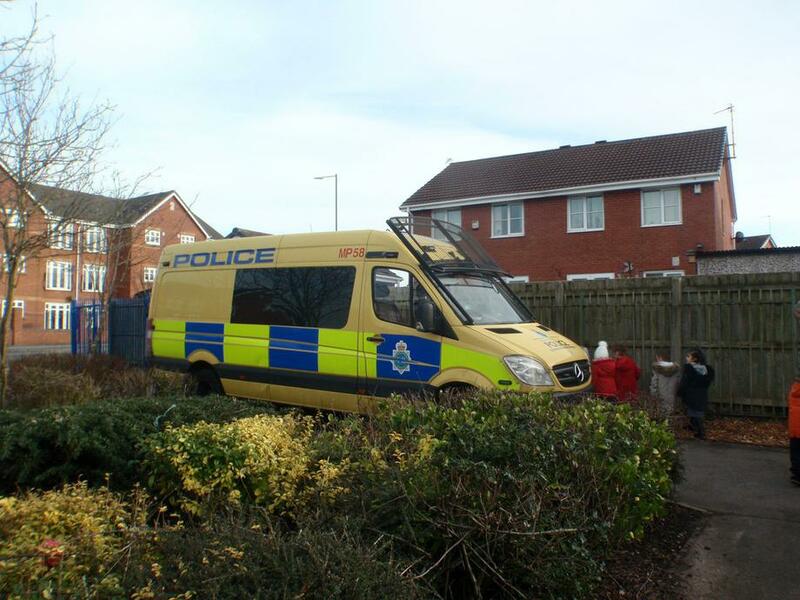 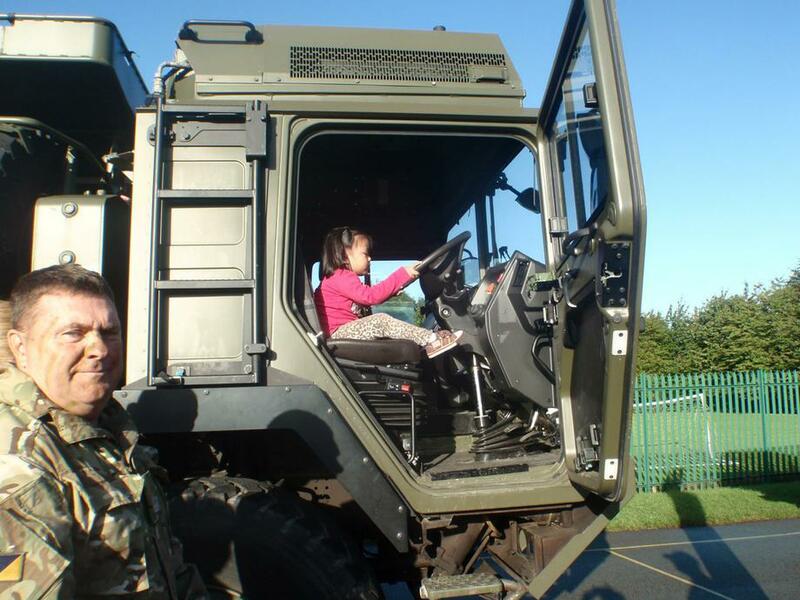 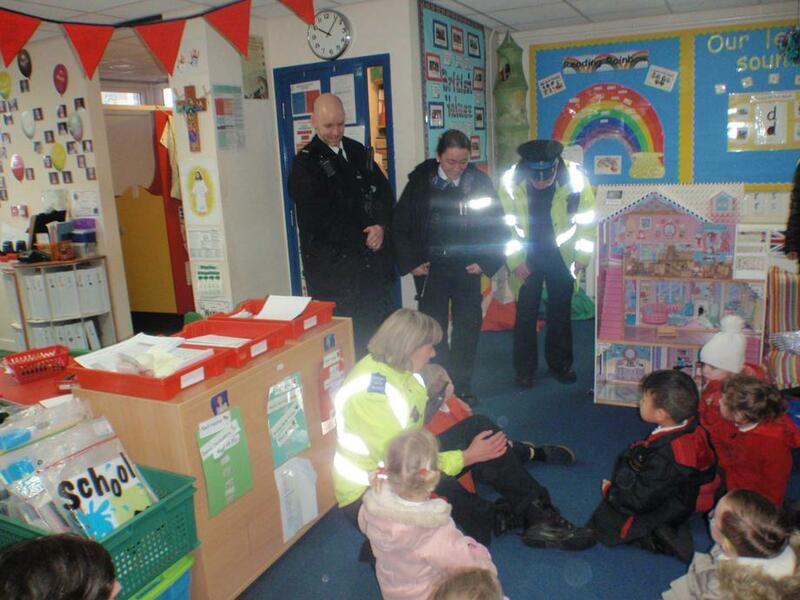 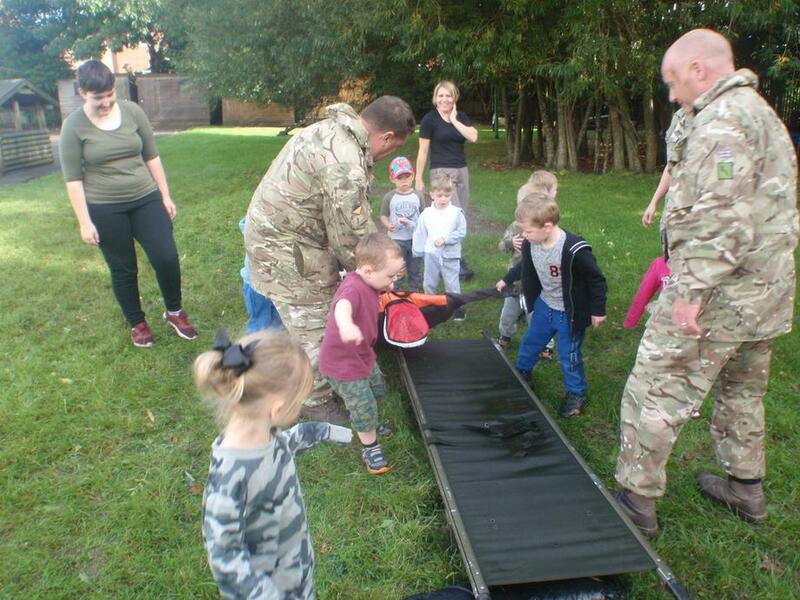 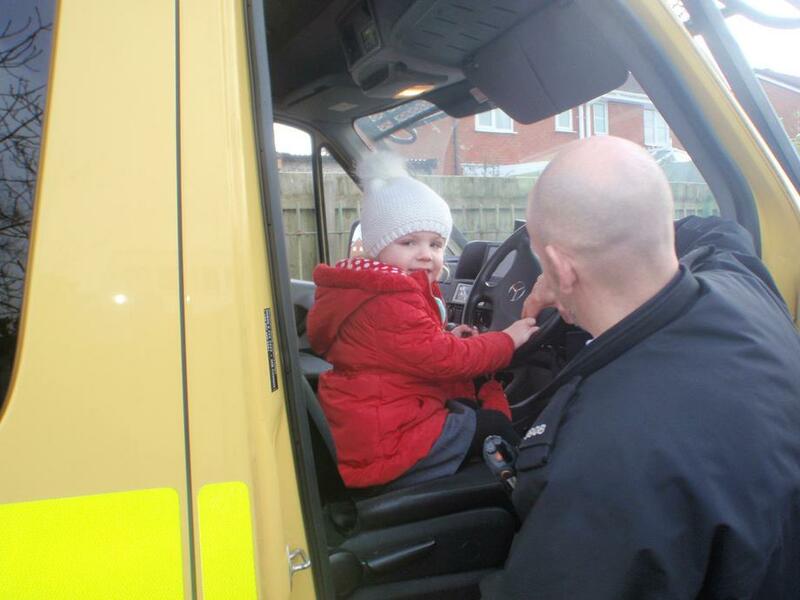 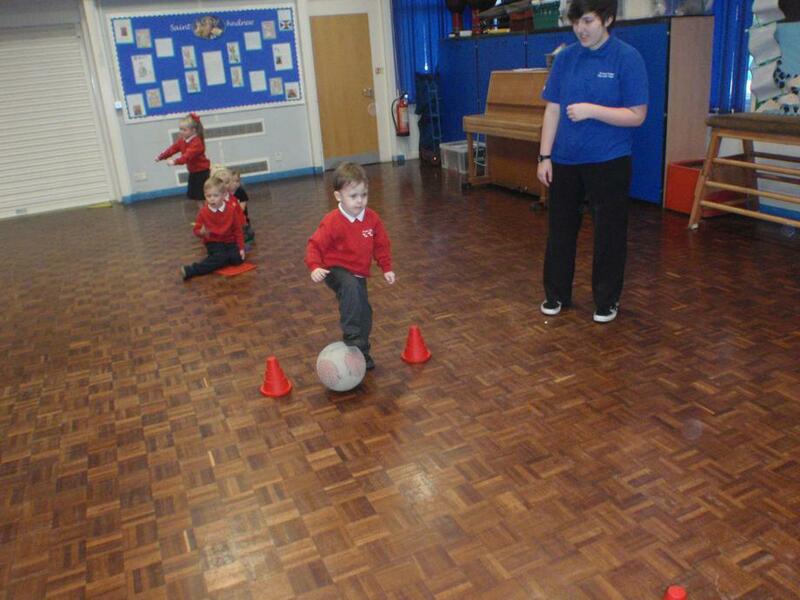 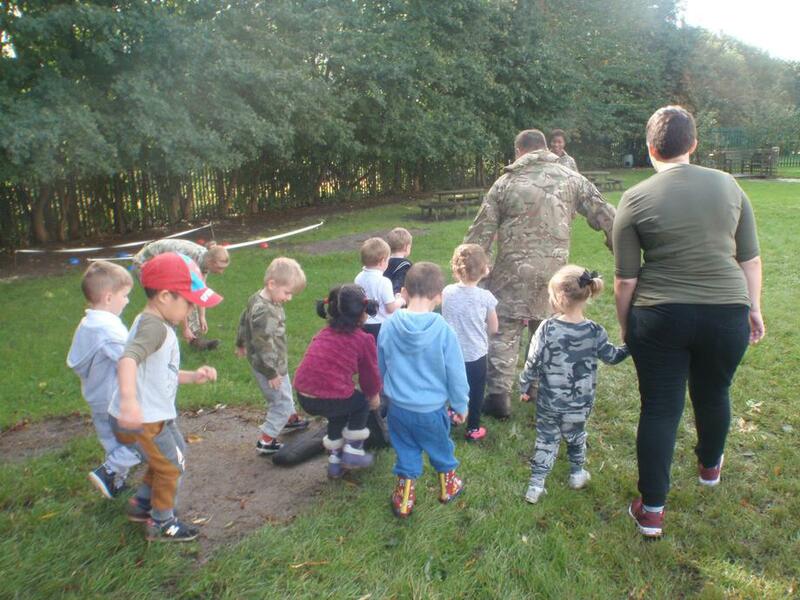 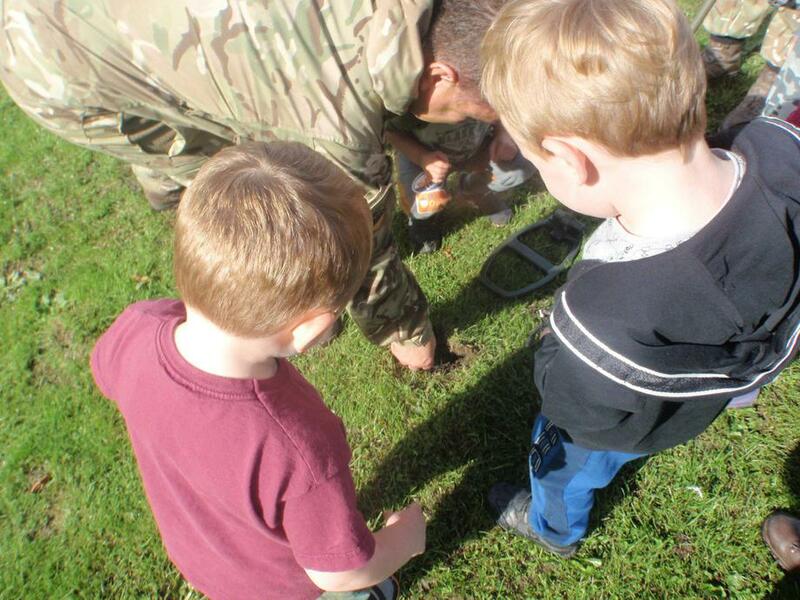 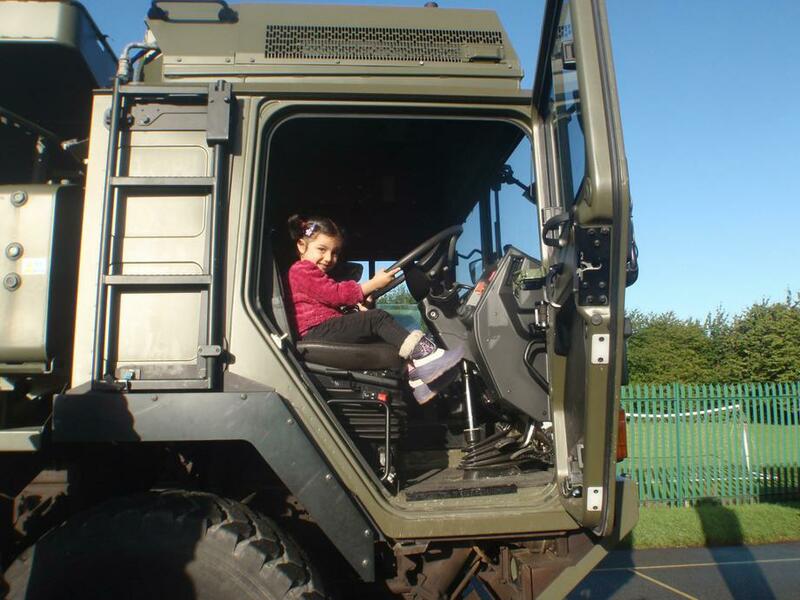 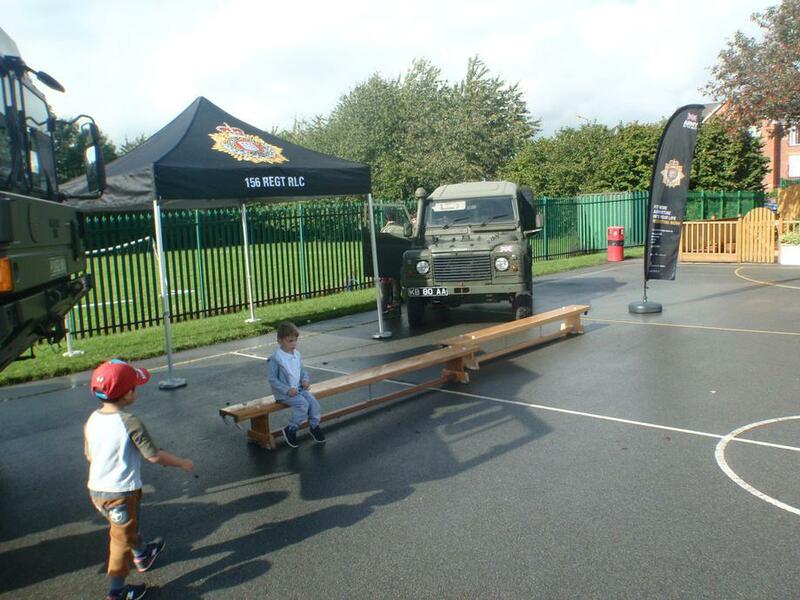 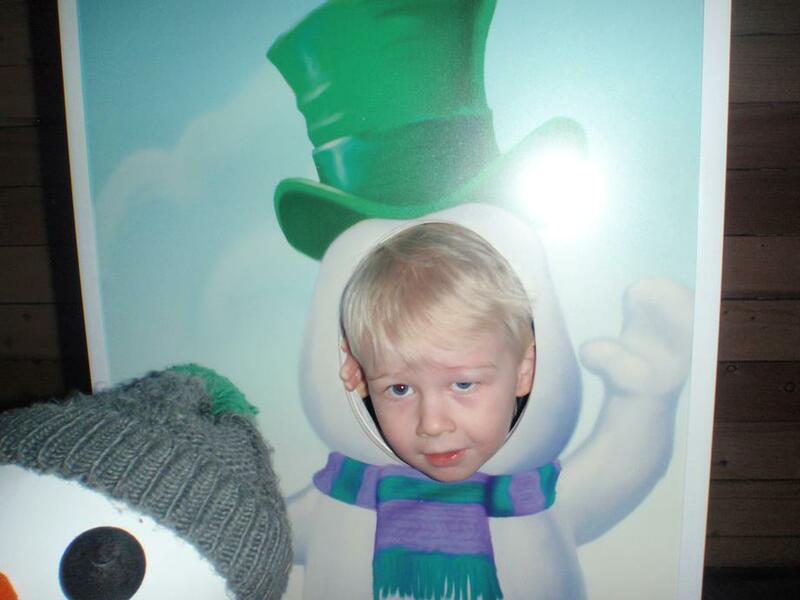 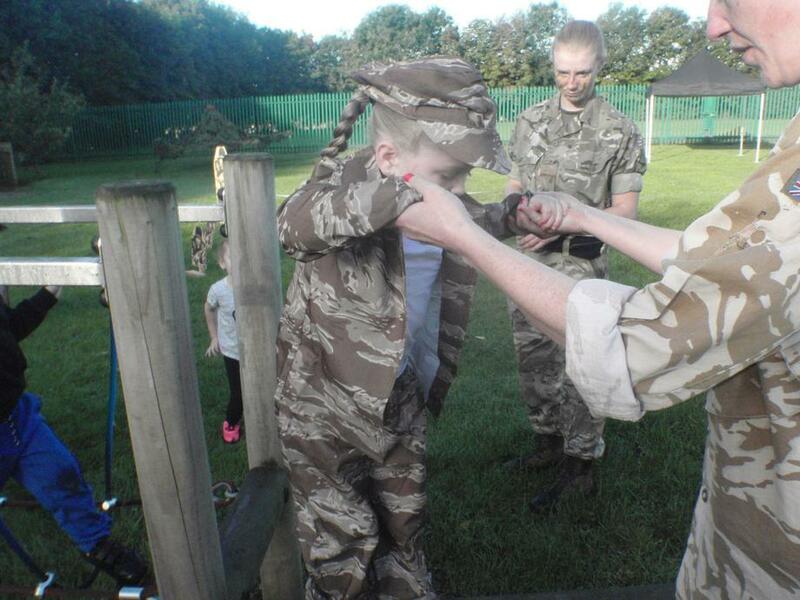 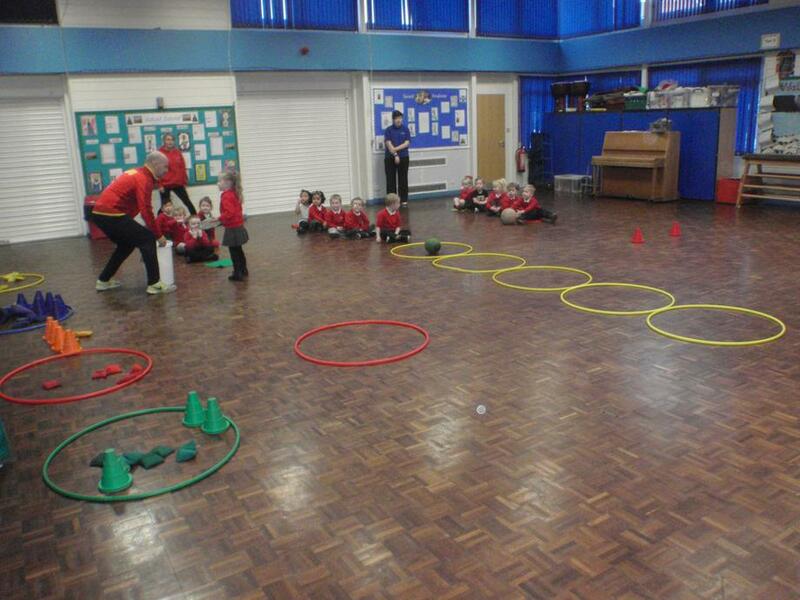 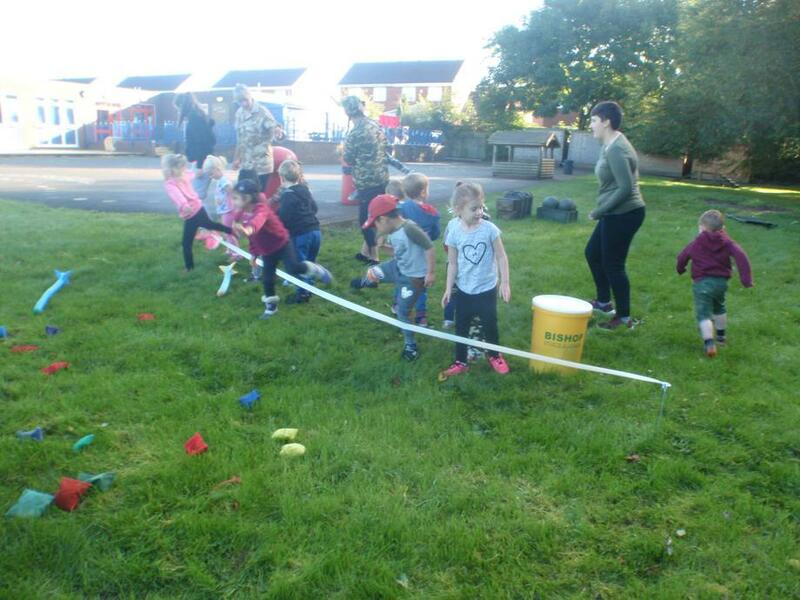 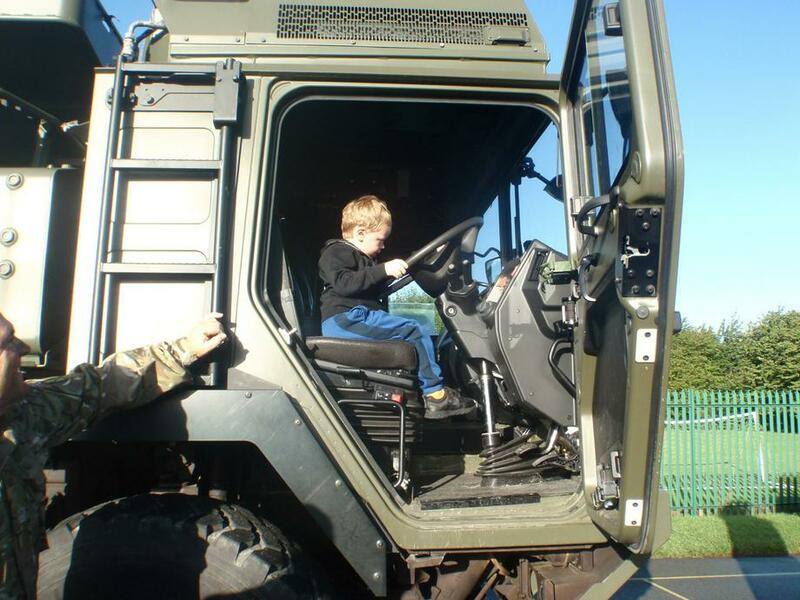 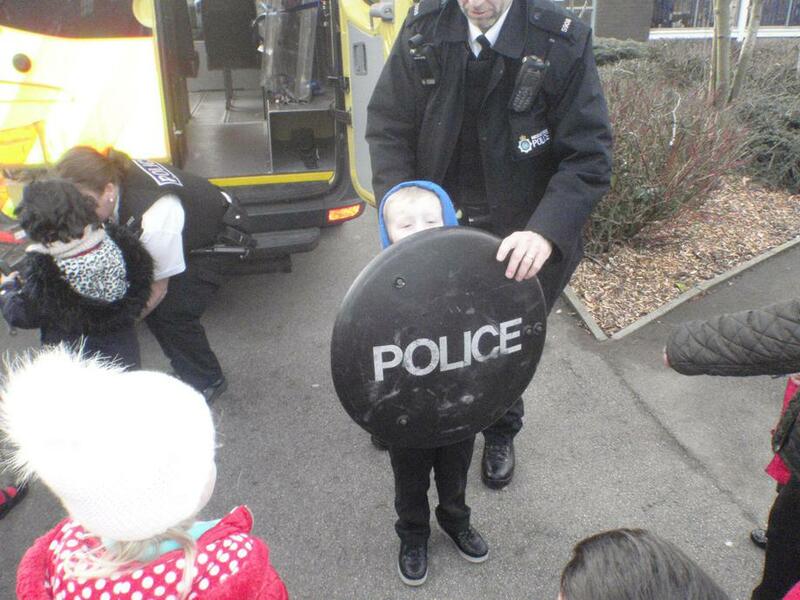 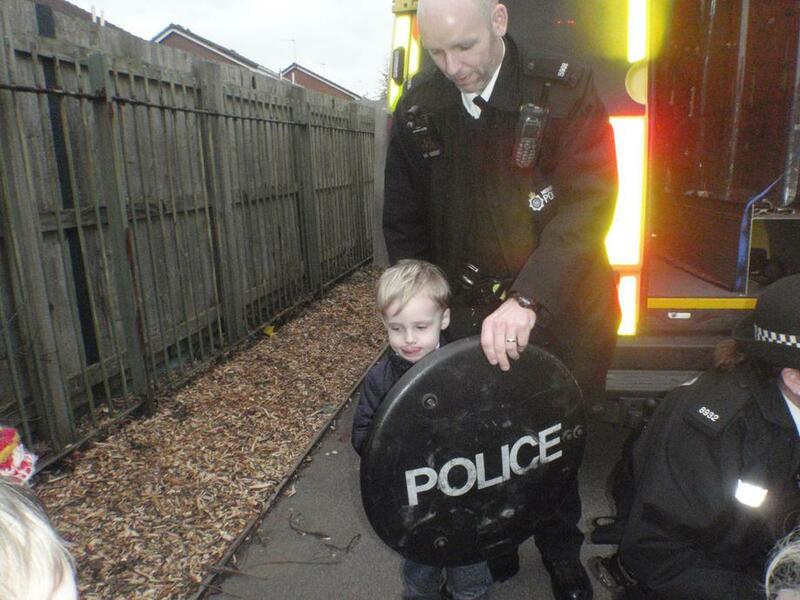 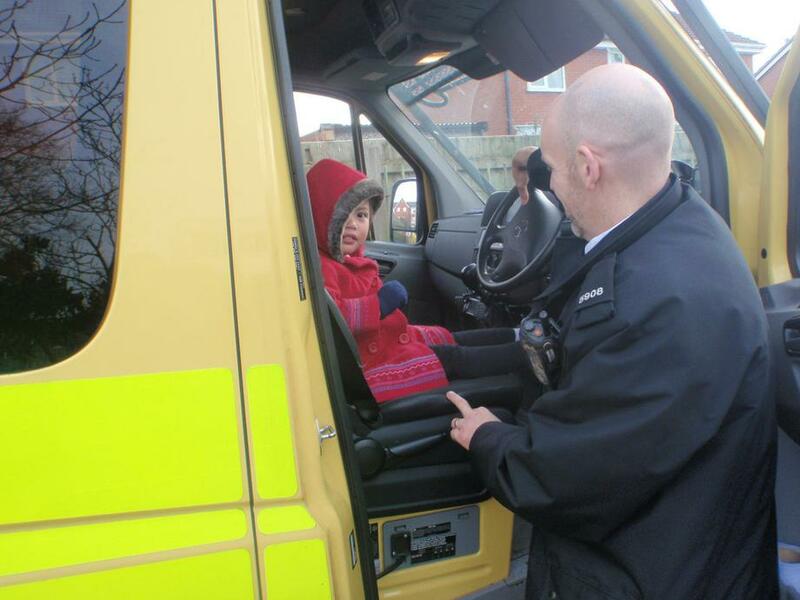 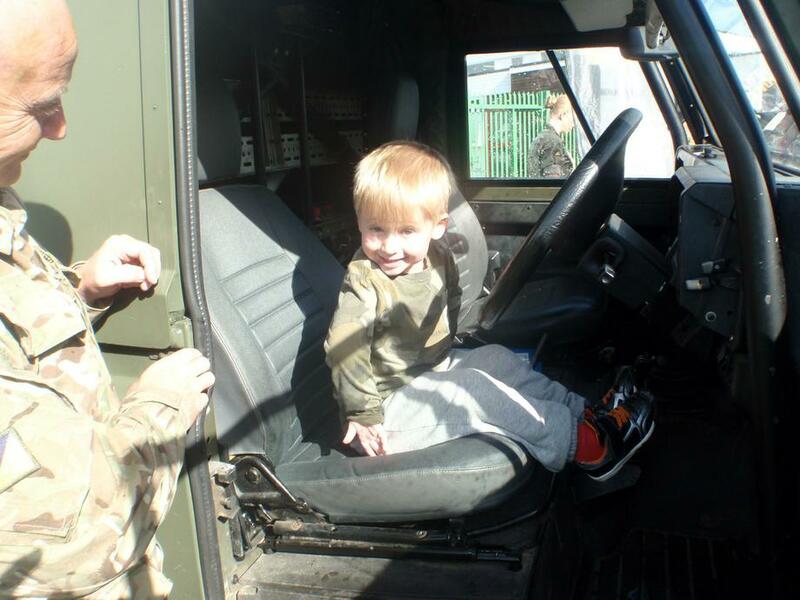 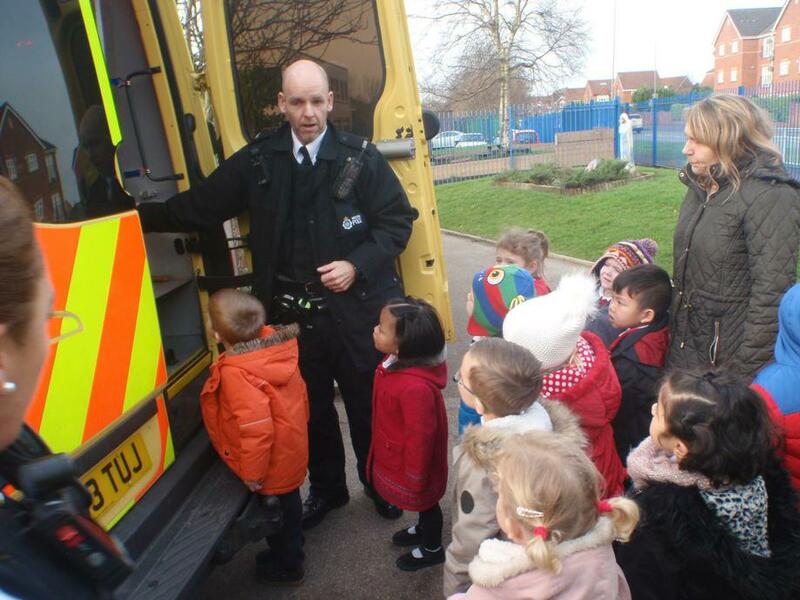 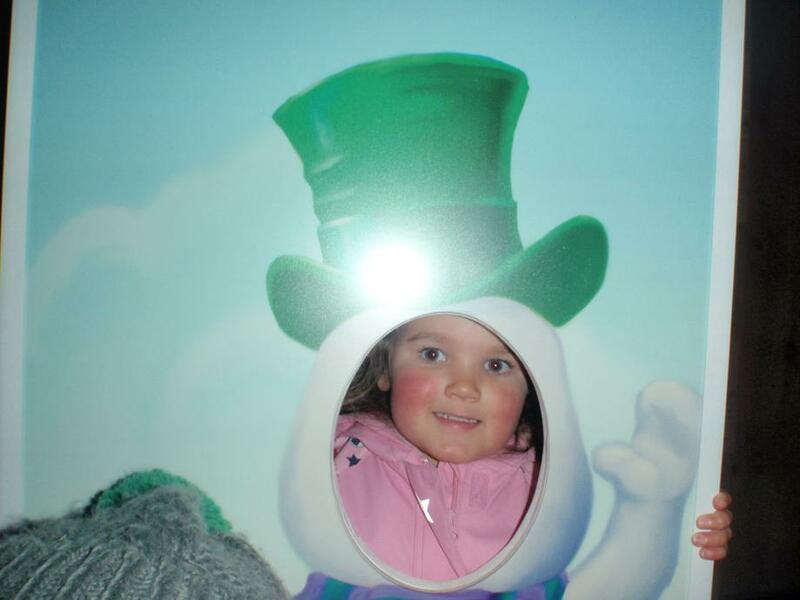 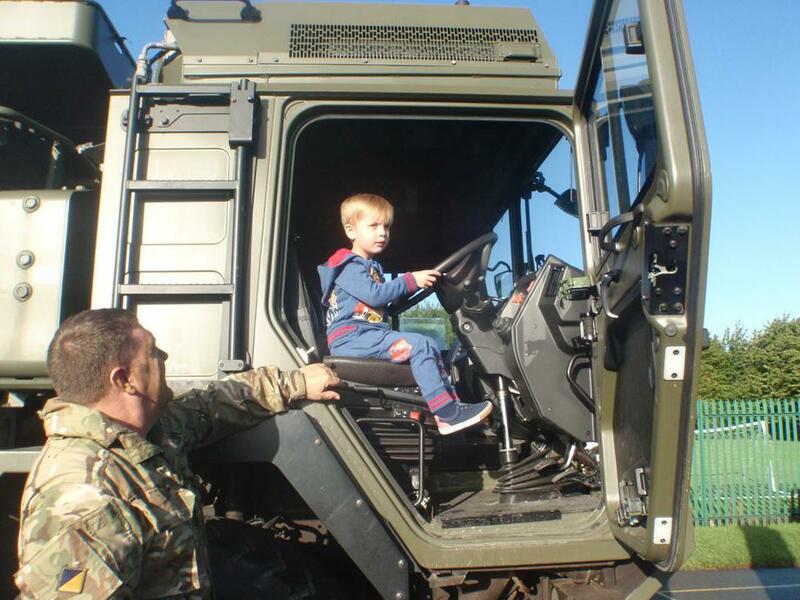 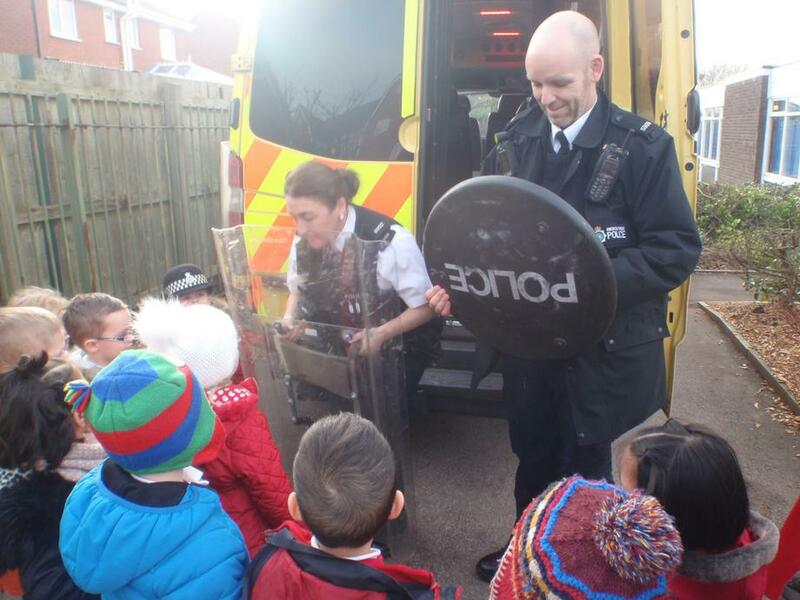 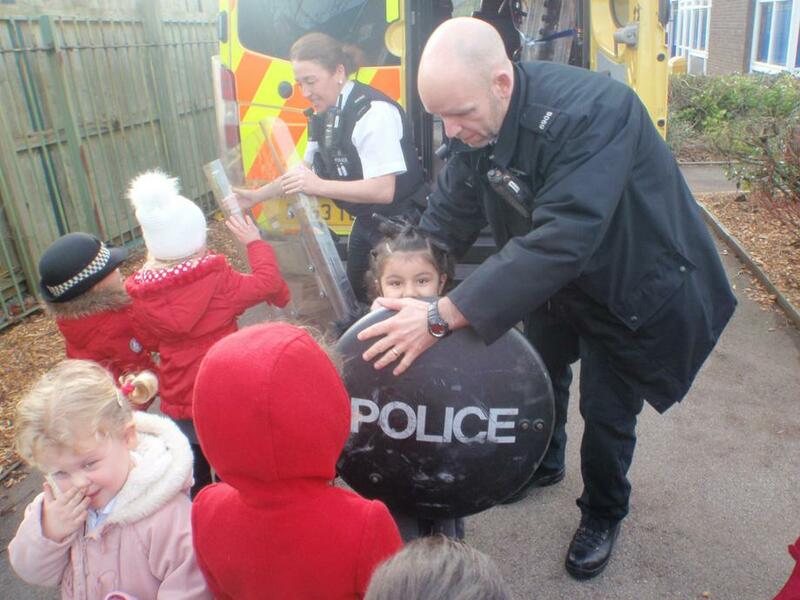 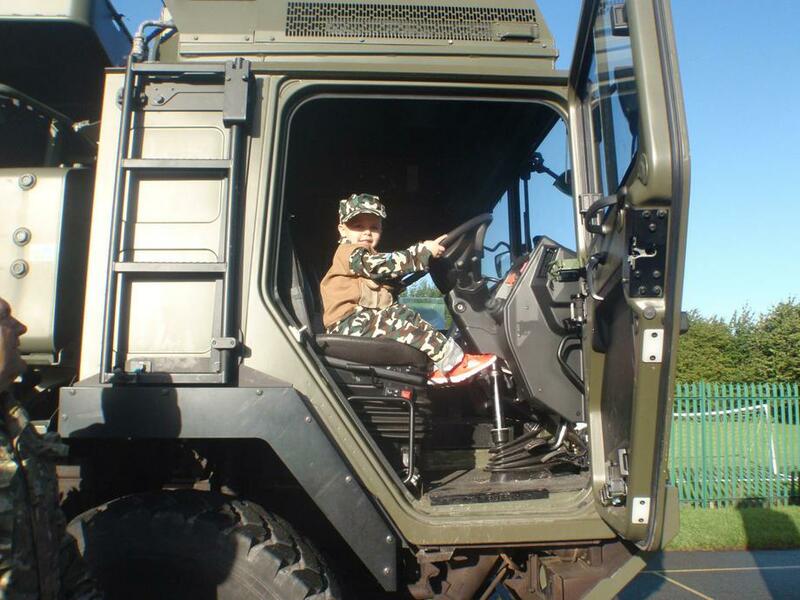 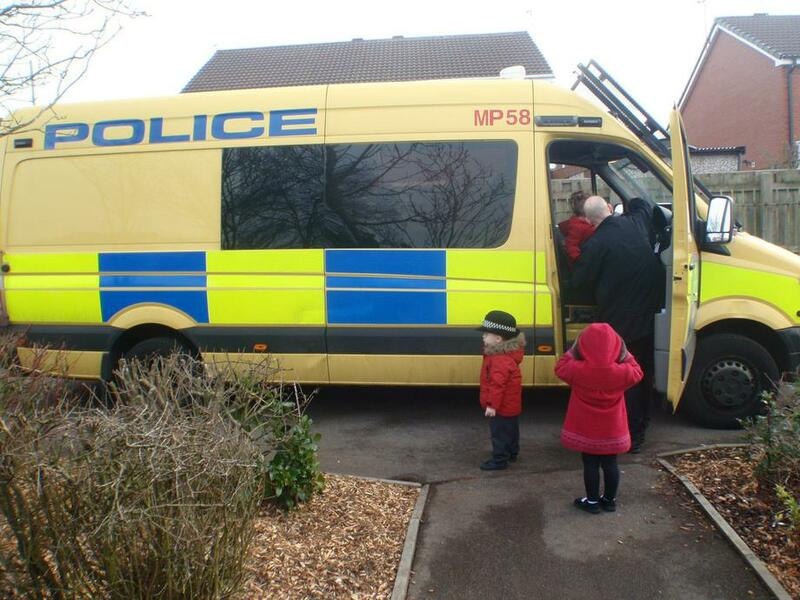 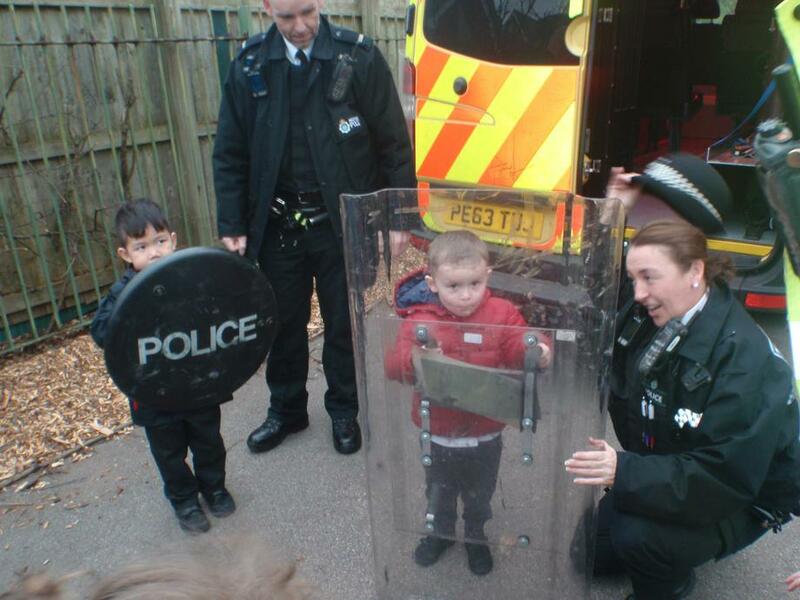 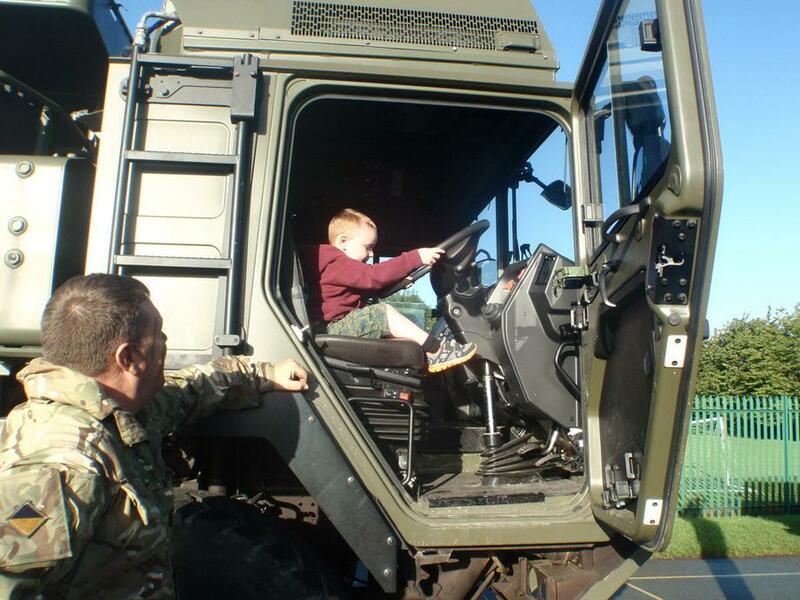 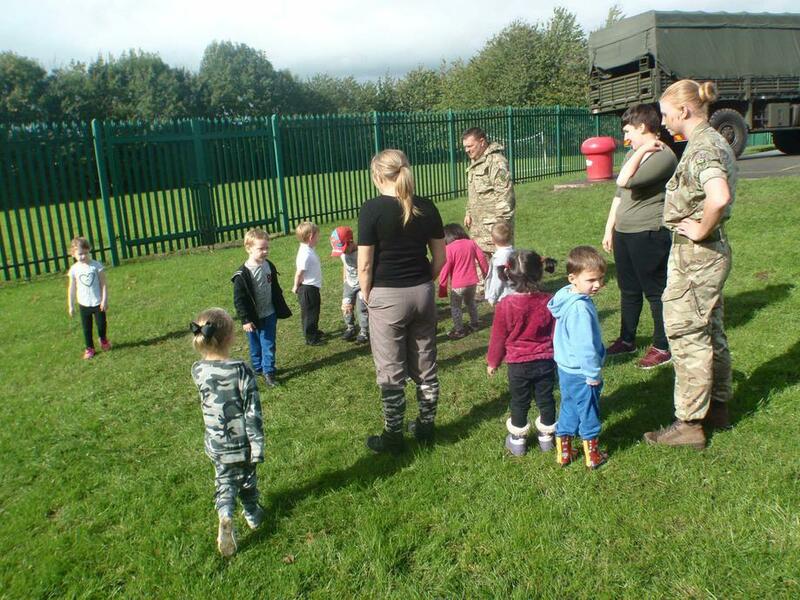 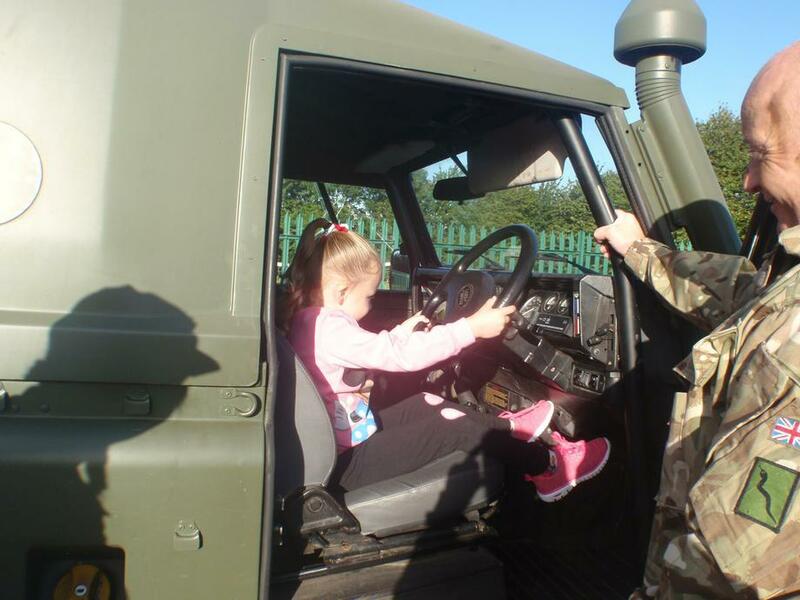 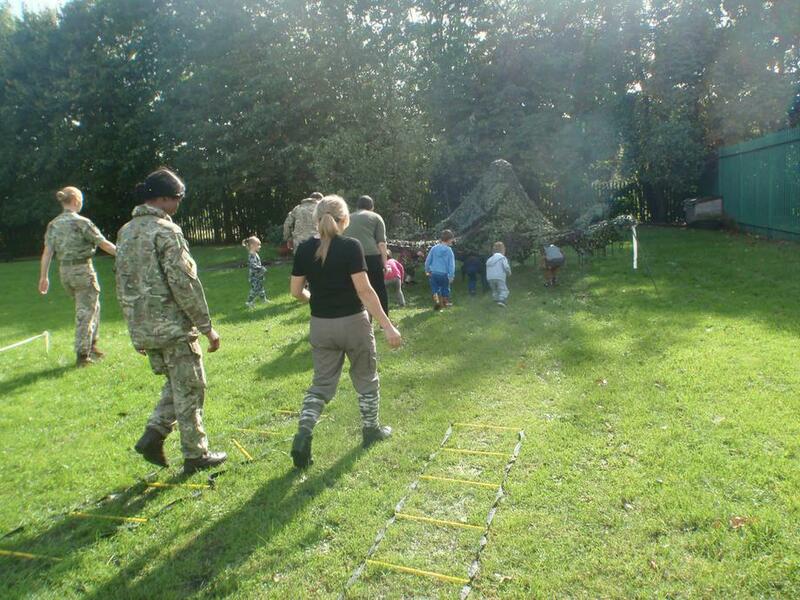 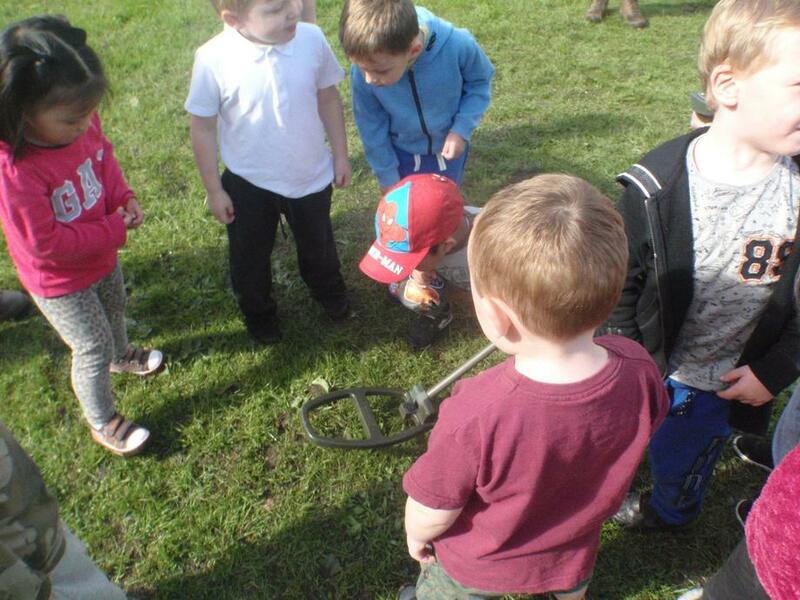 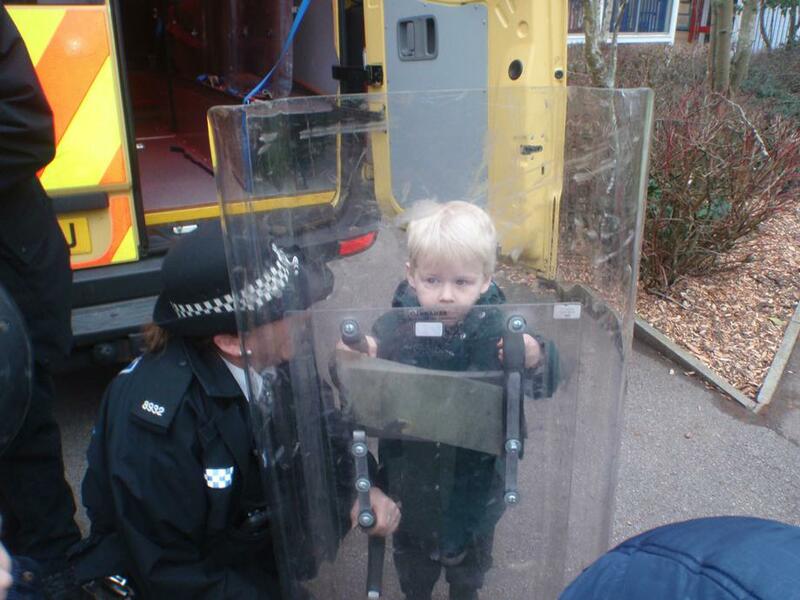 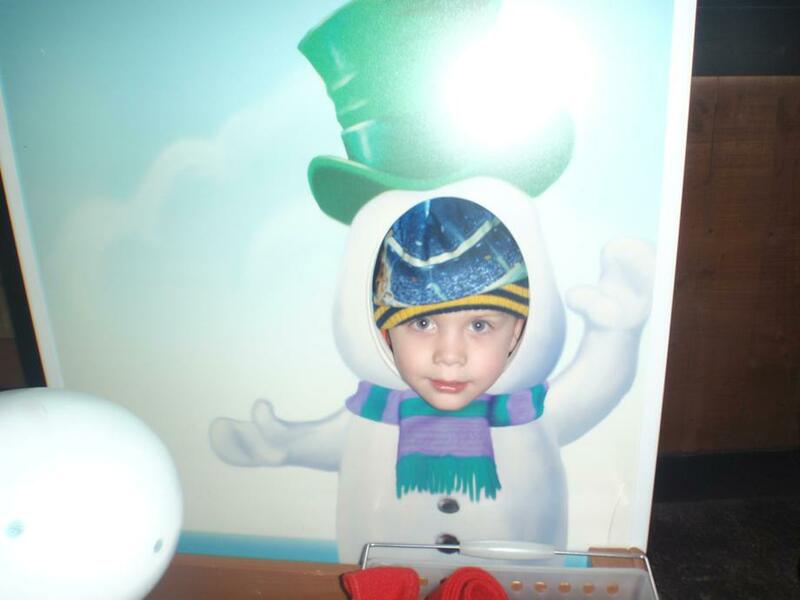 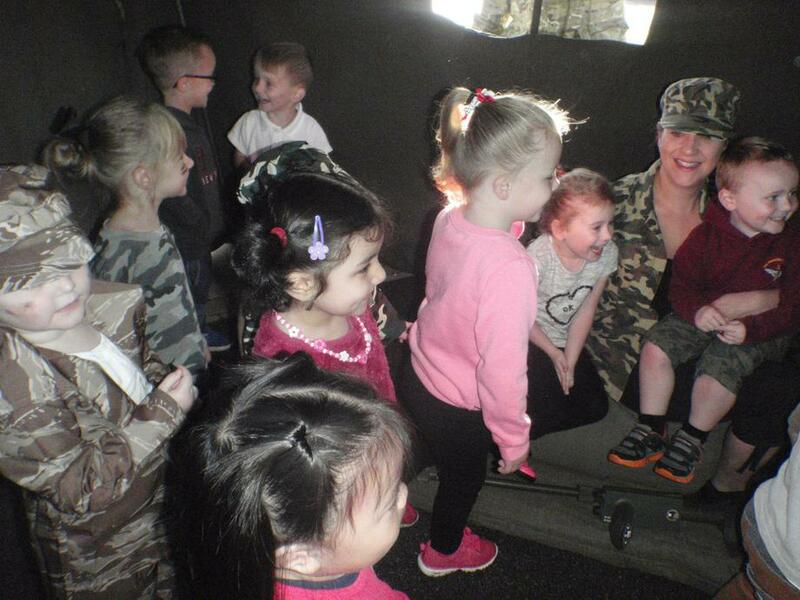 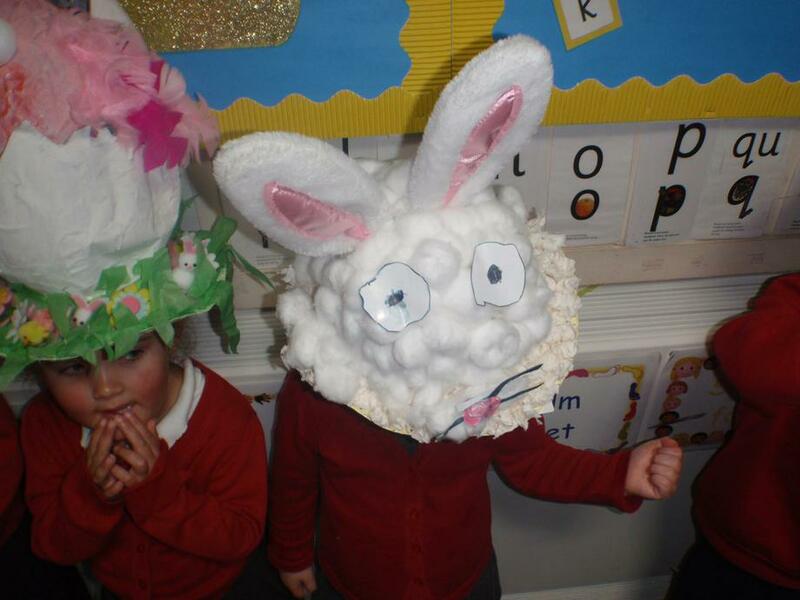 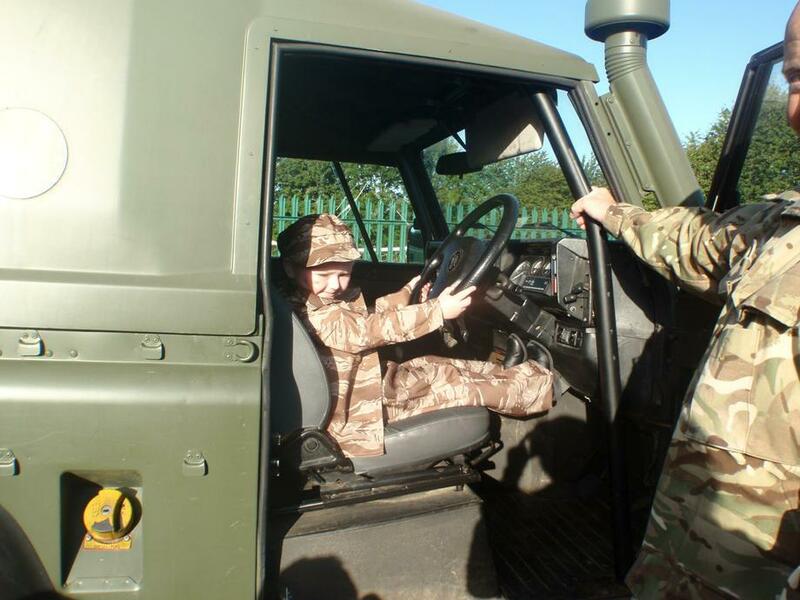 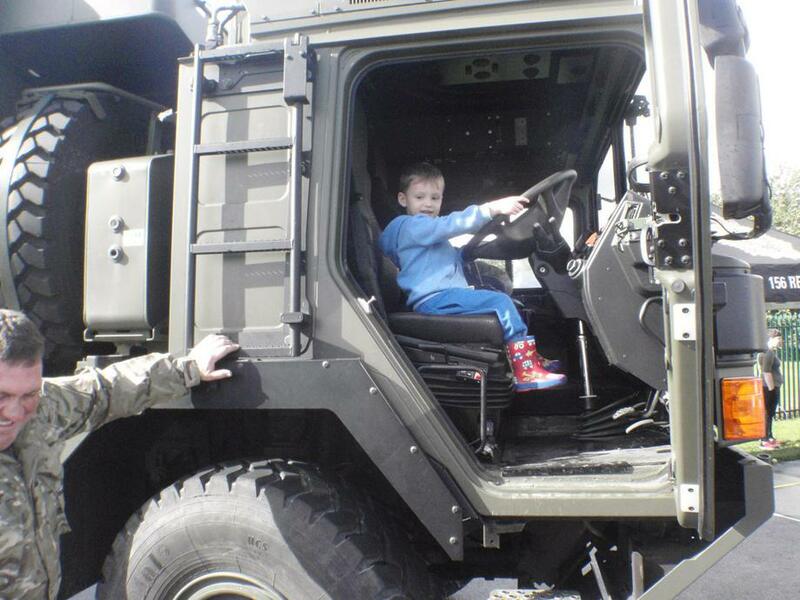 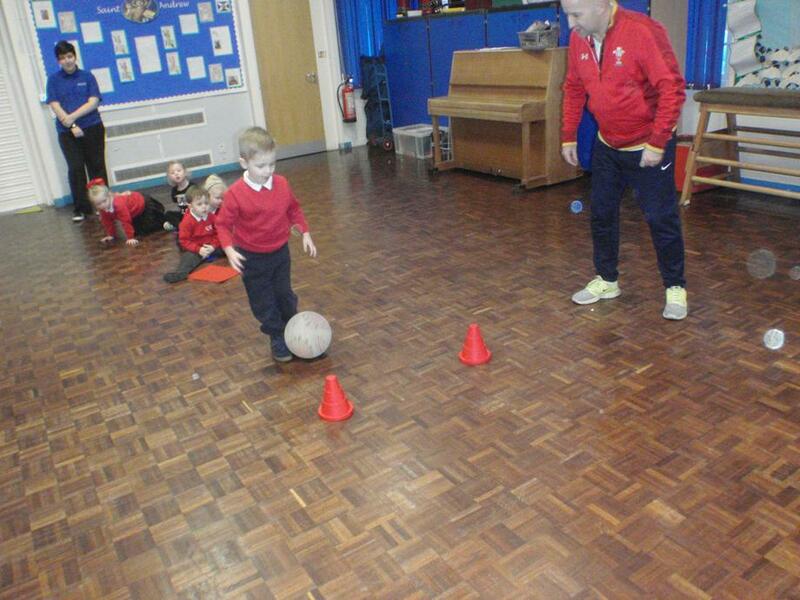 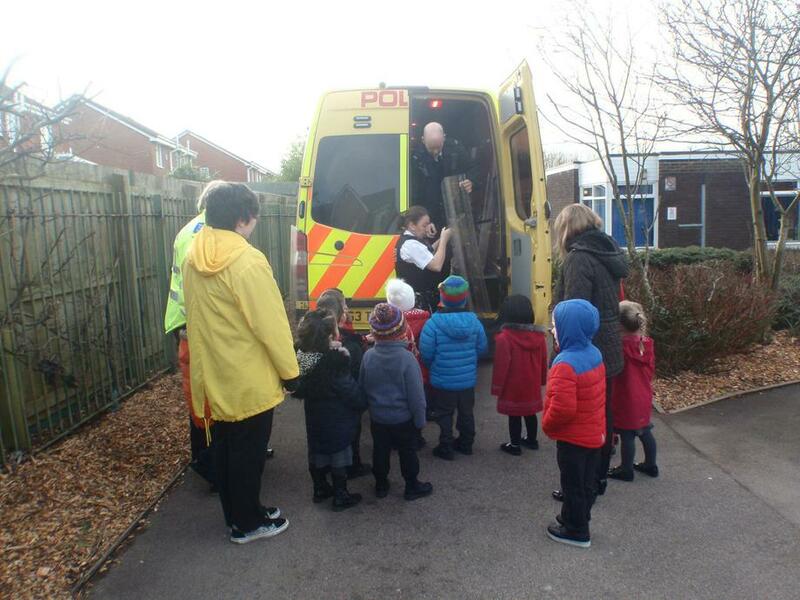 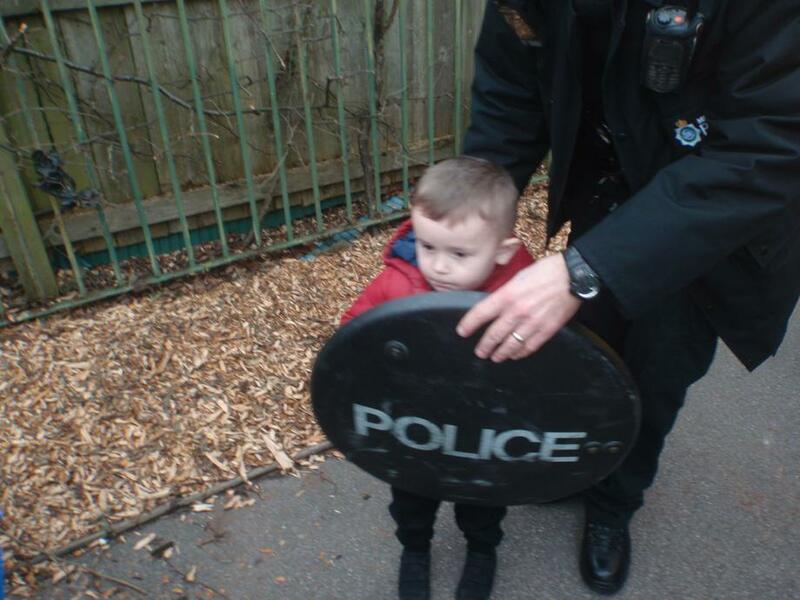 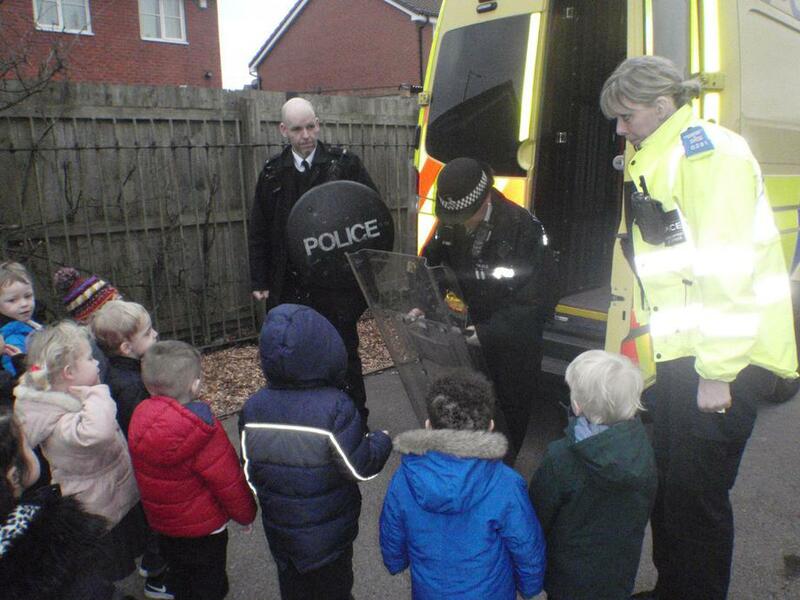 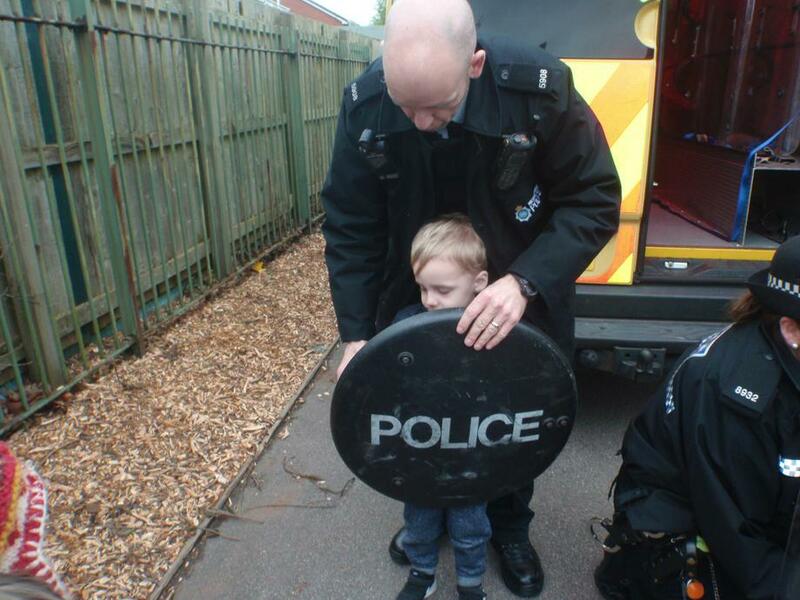 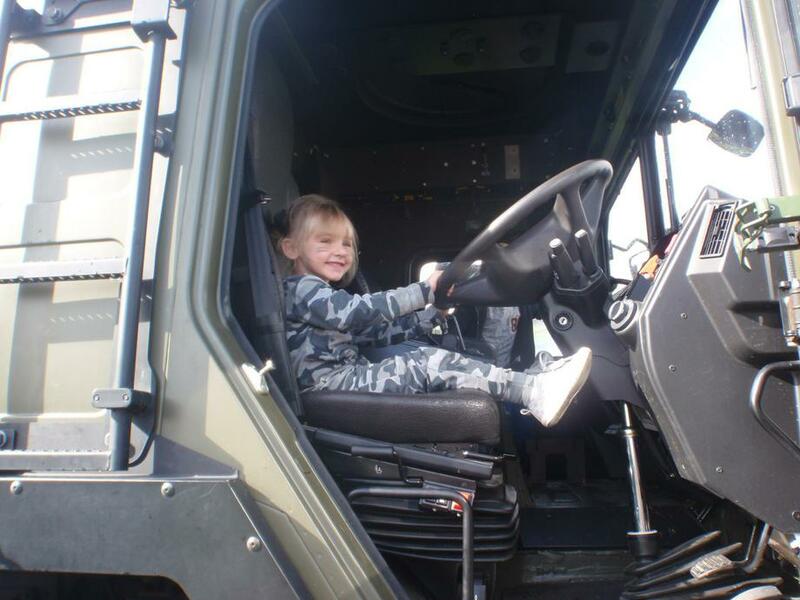 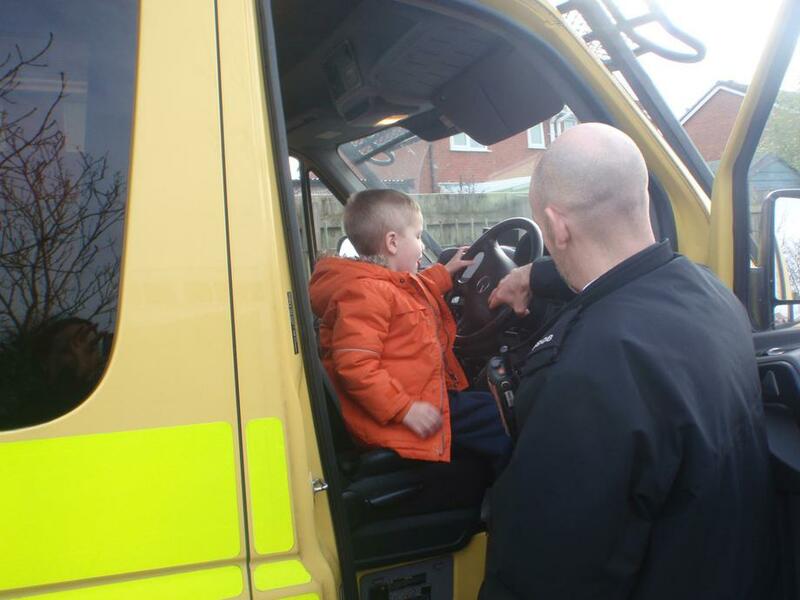 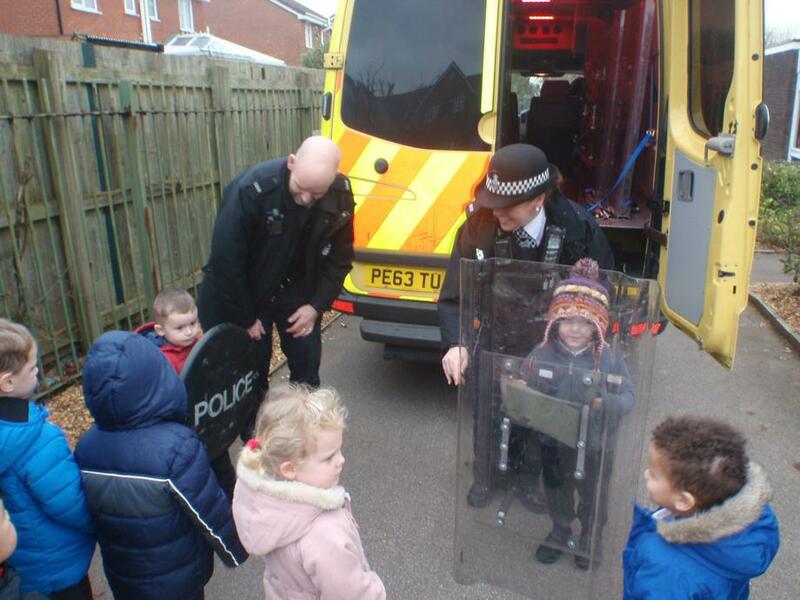 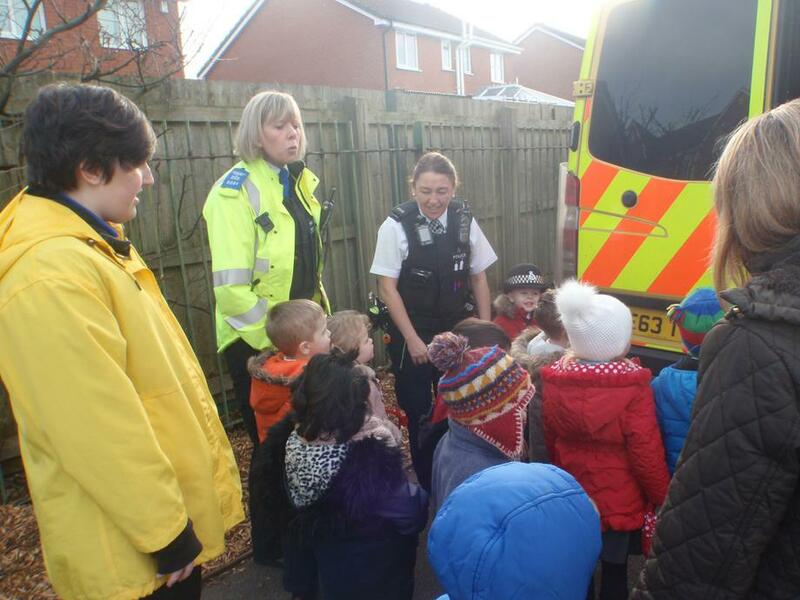 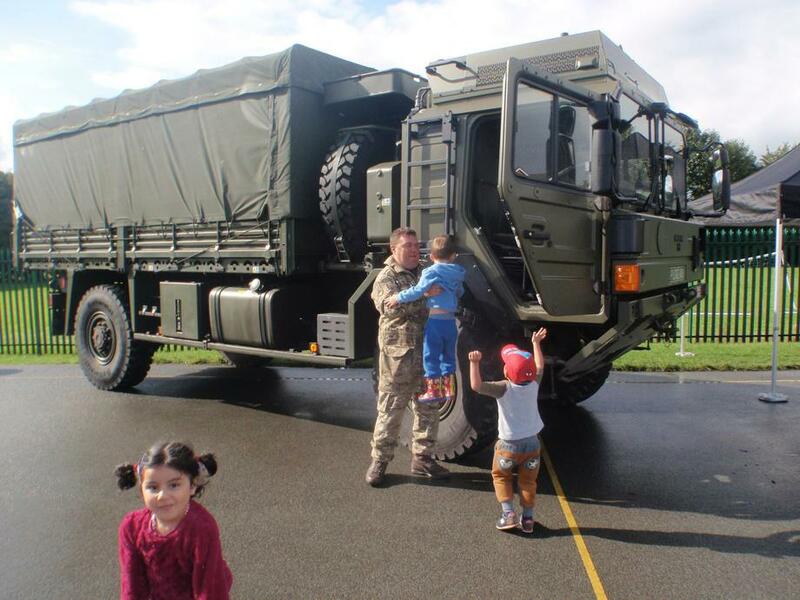 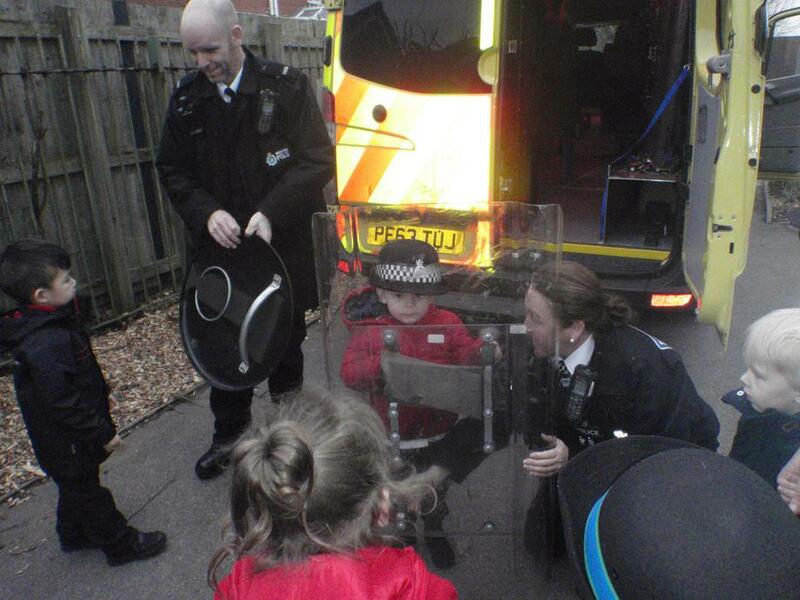 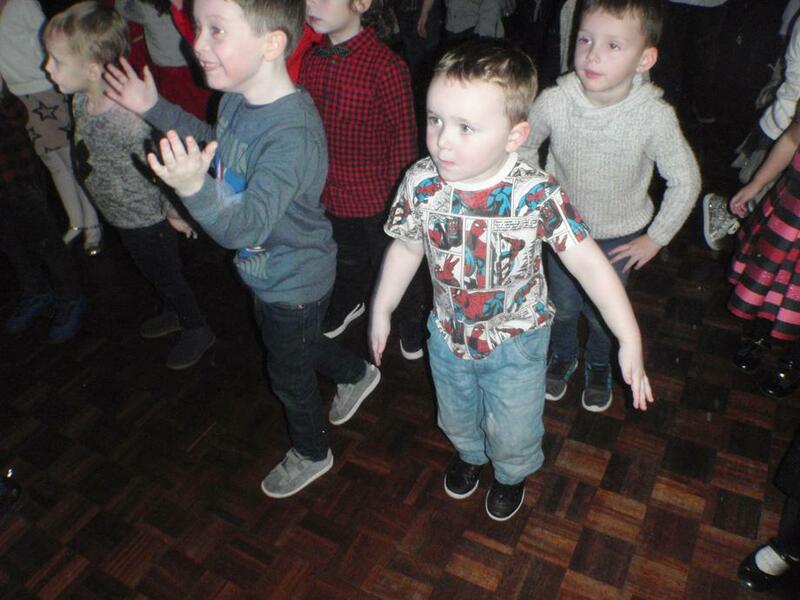 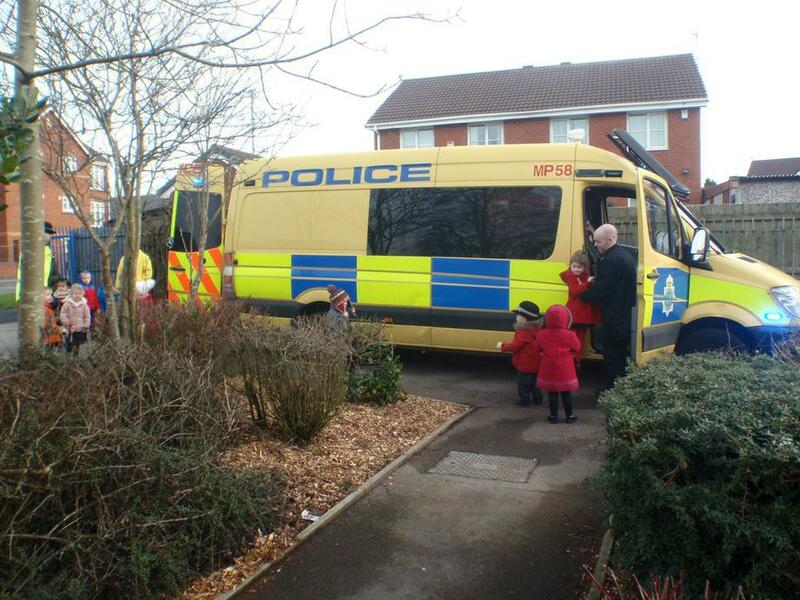 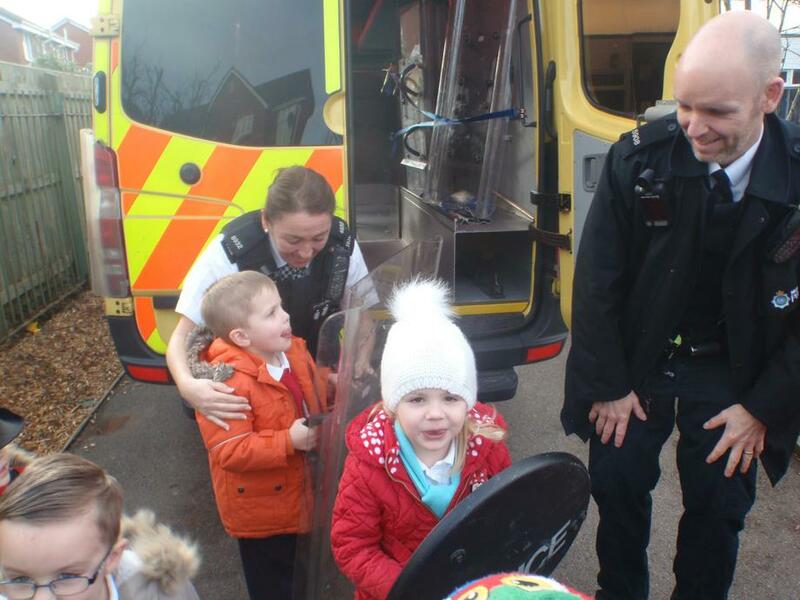 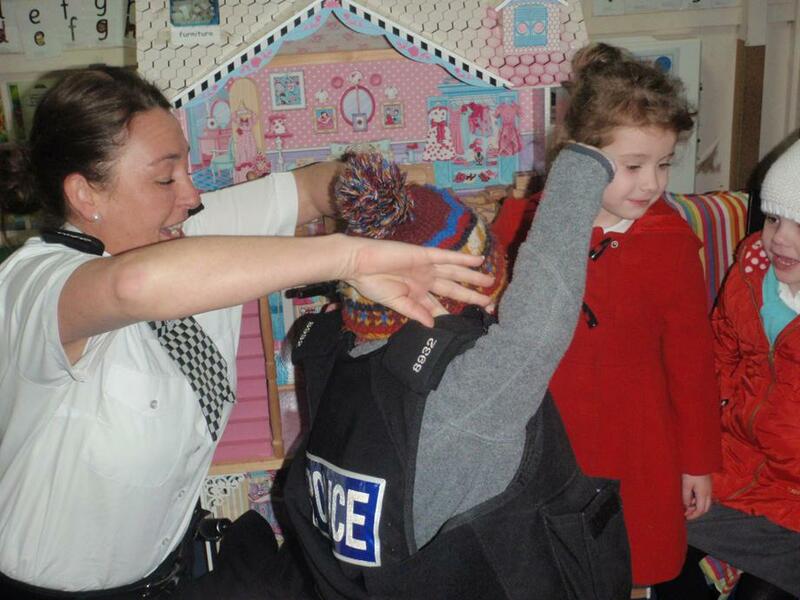 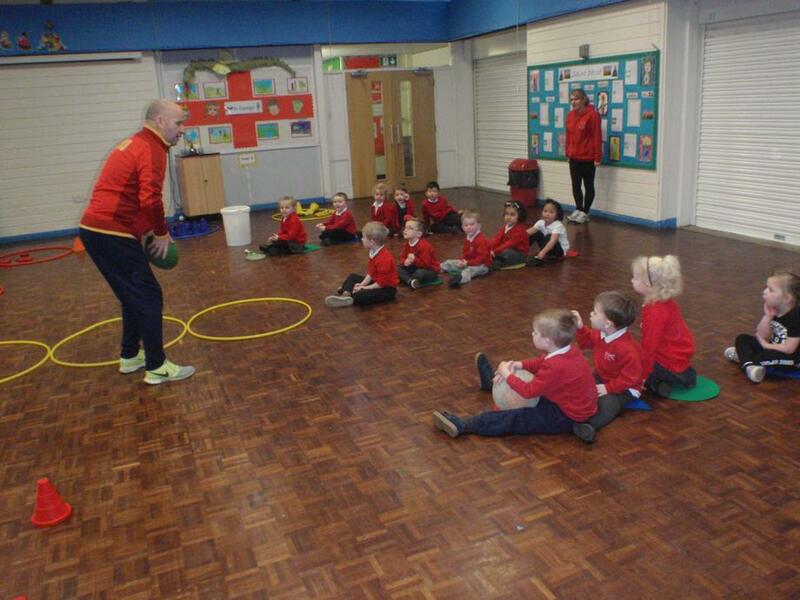 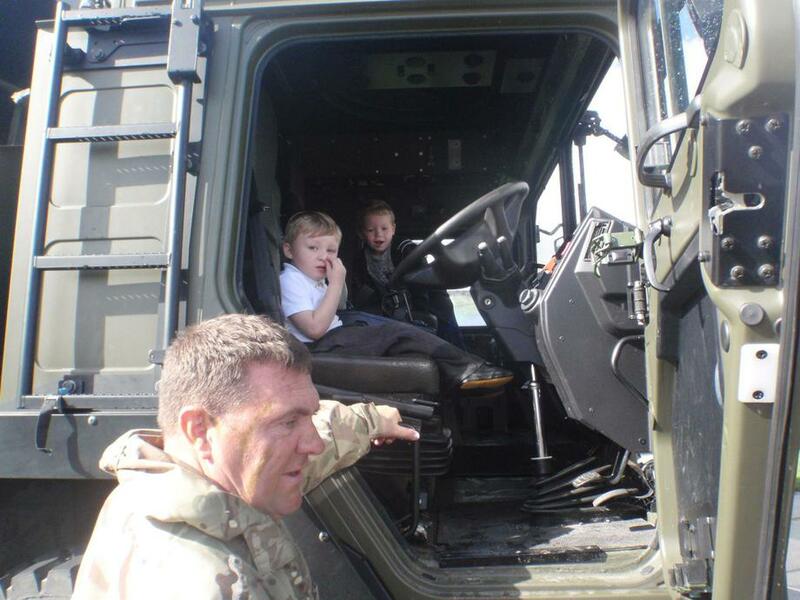 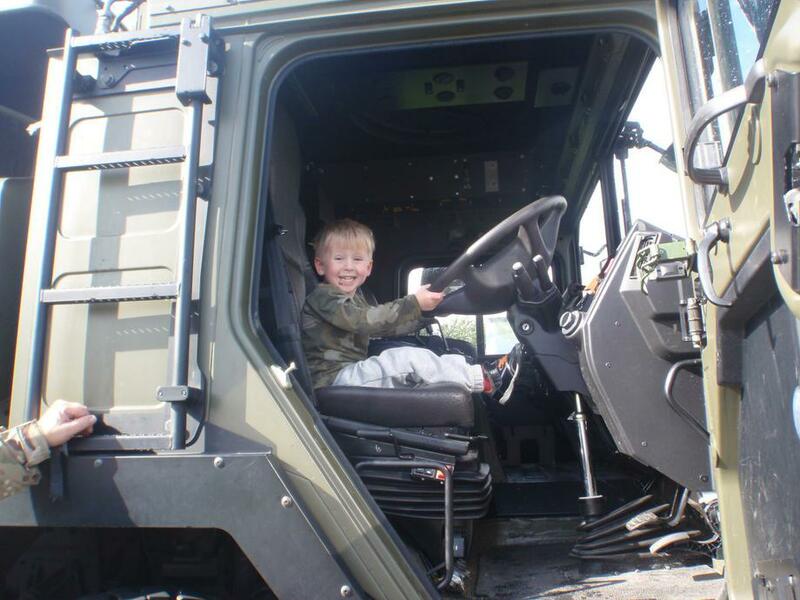 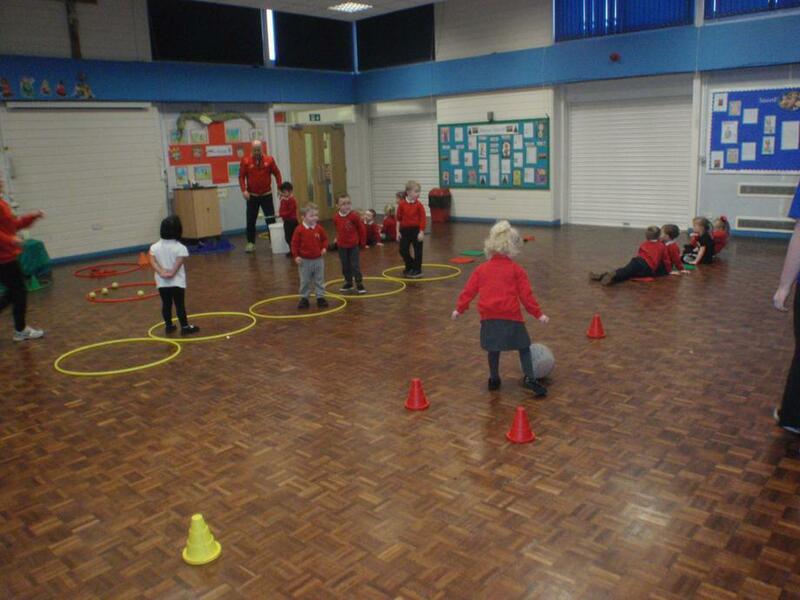 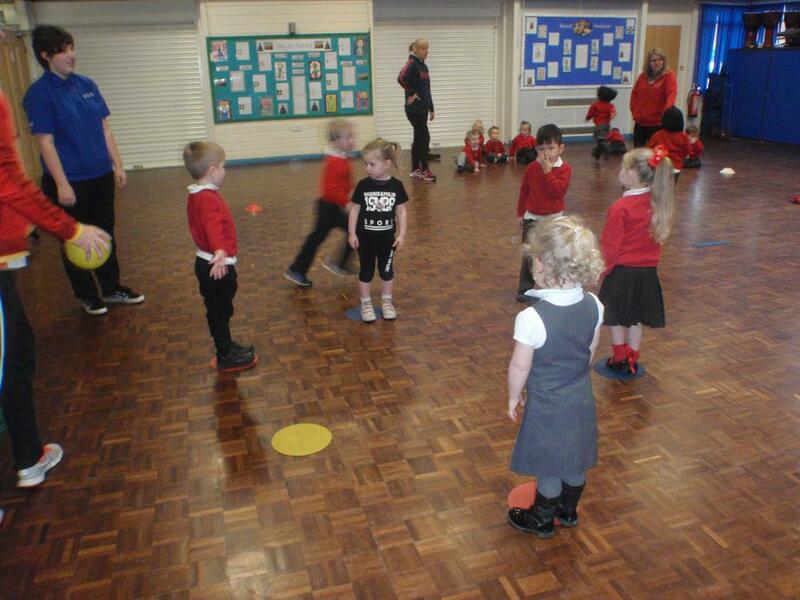 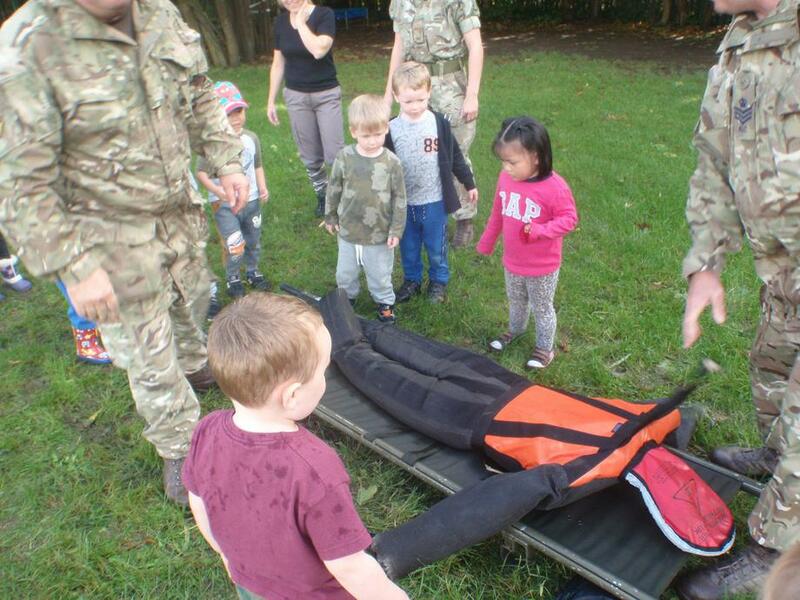 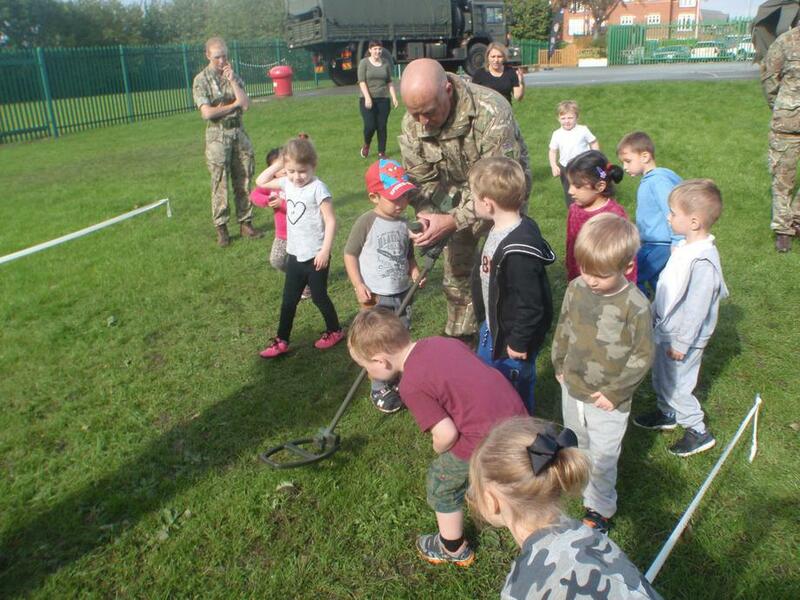 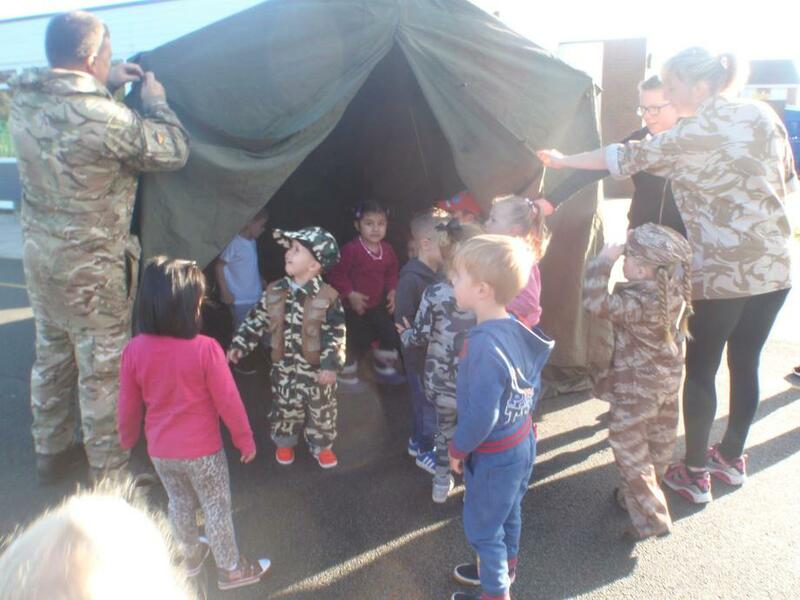 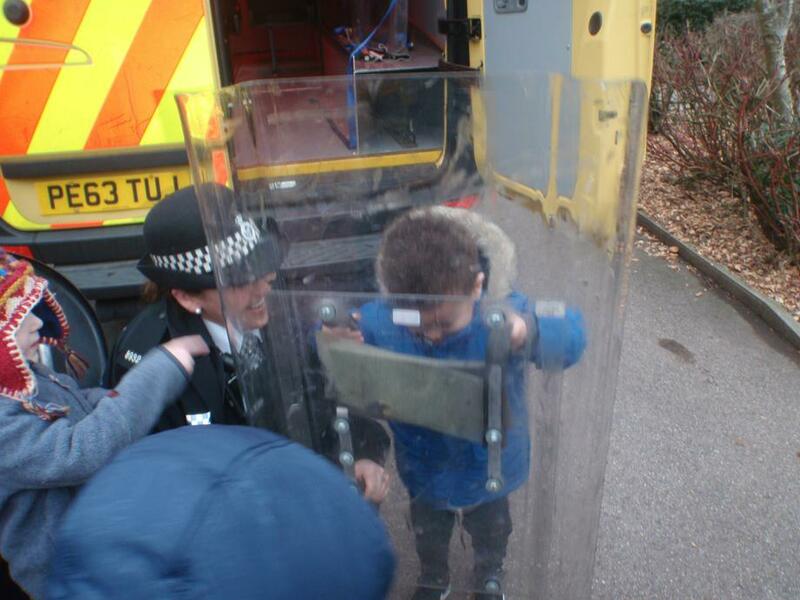 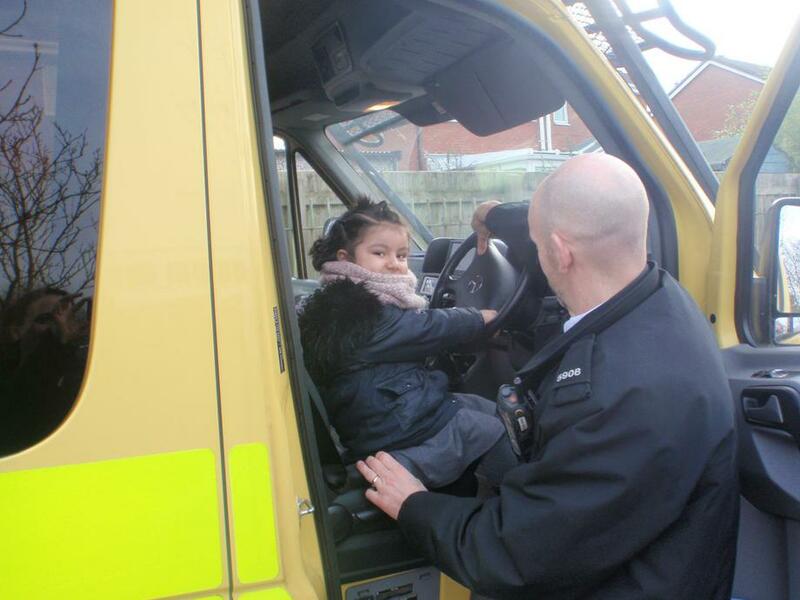 Have a look here for photos of the children participating in our recent activities. 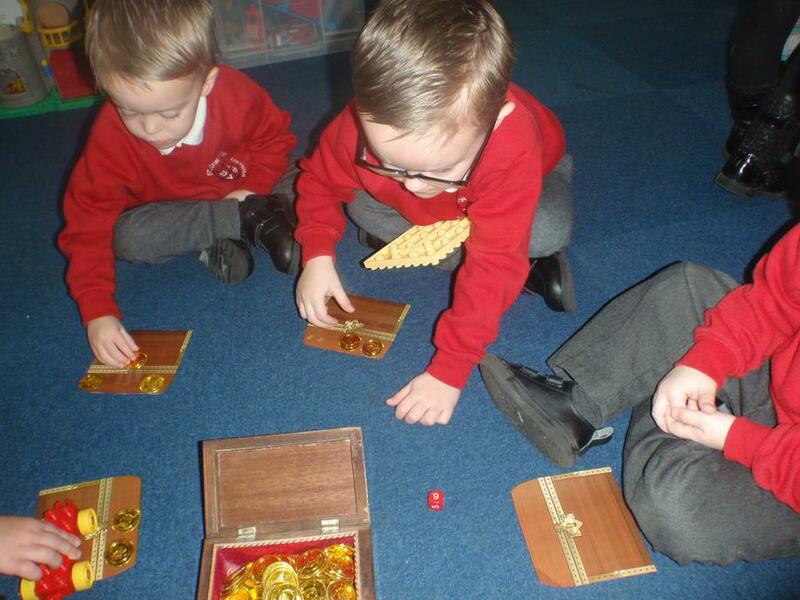 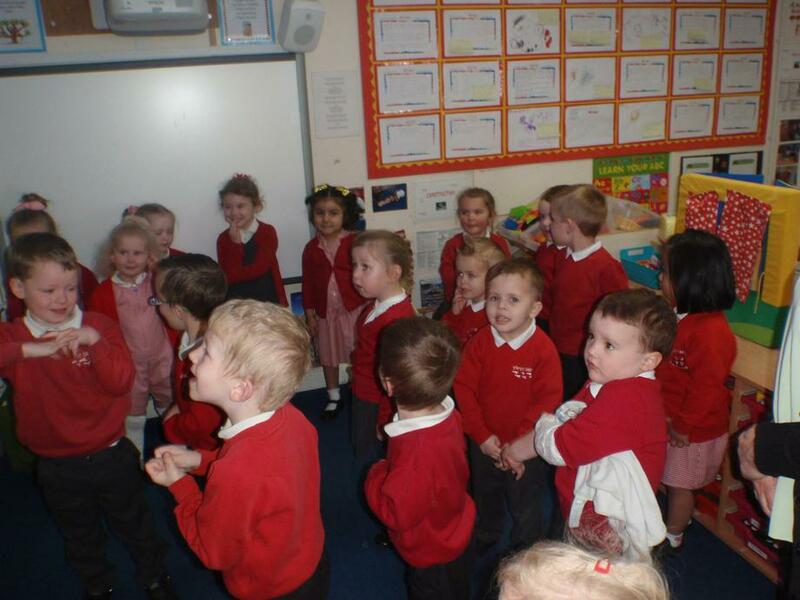 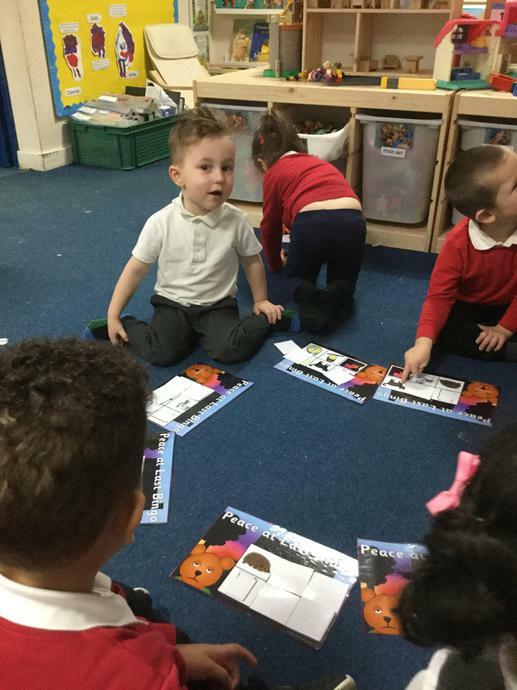 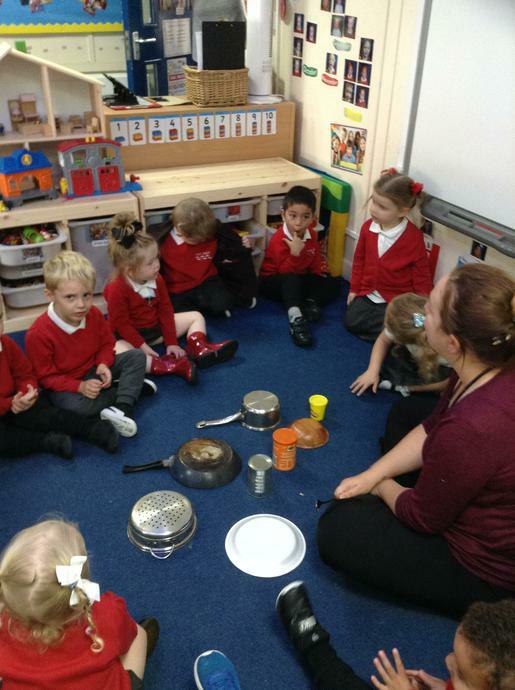 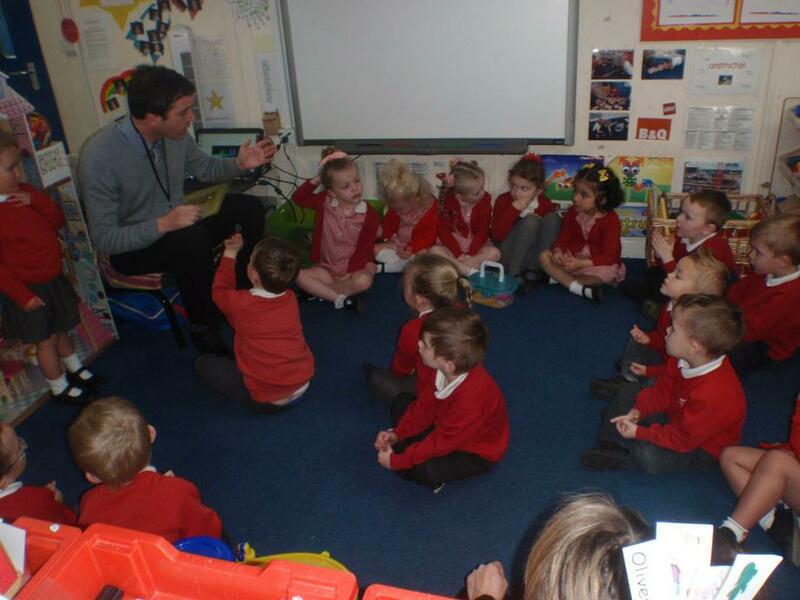 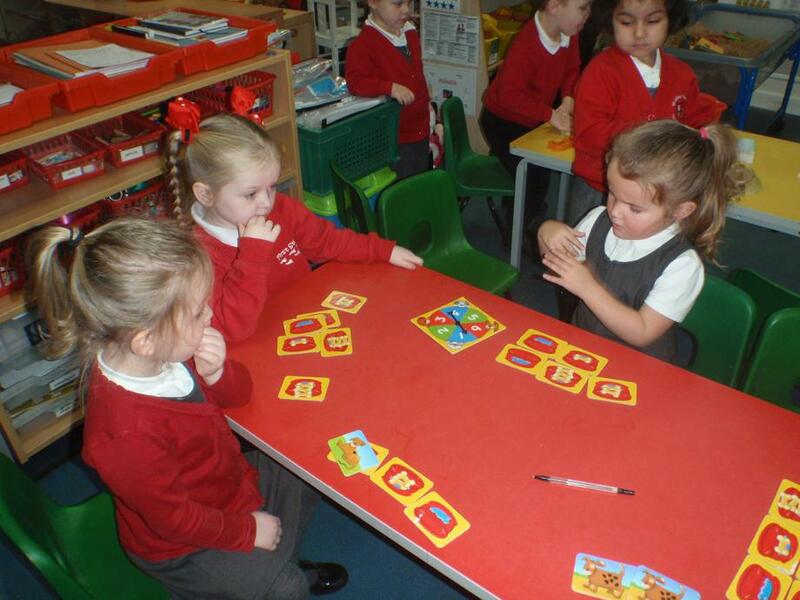 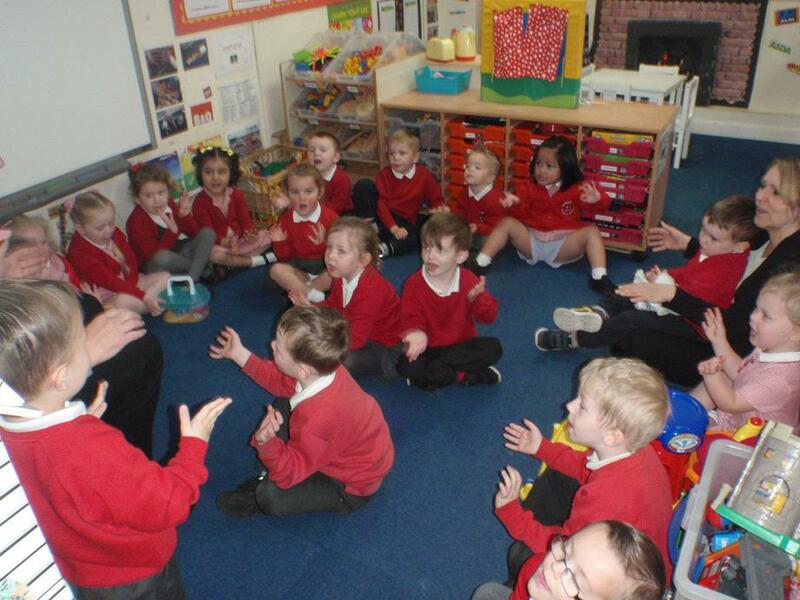 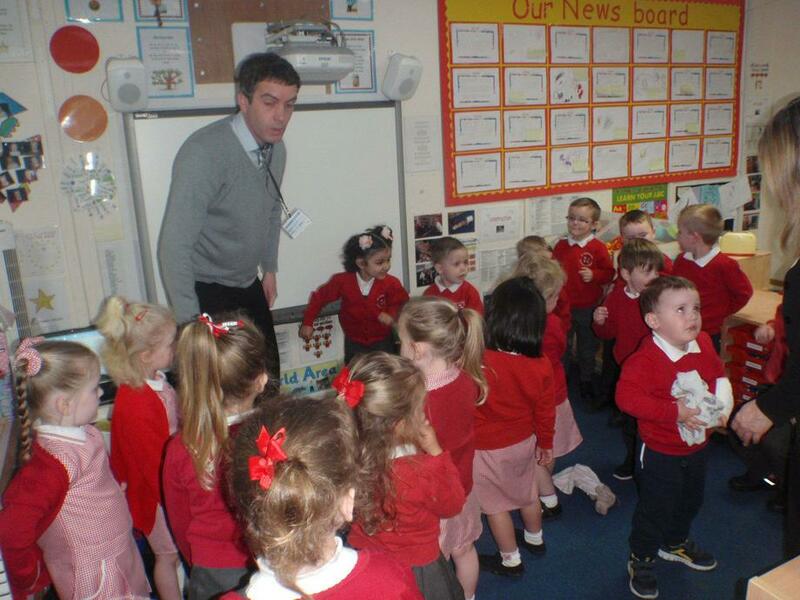 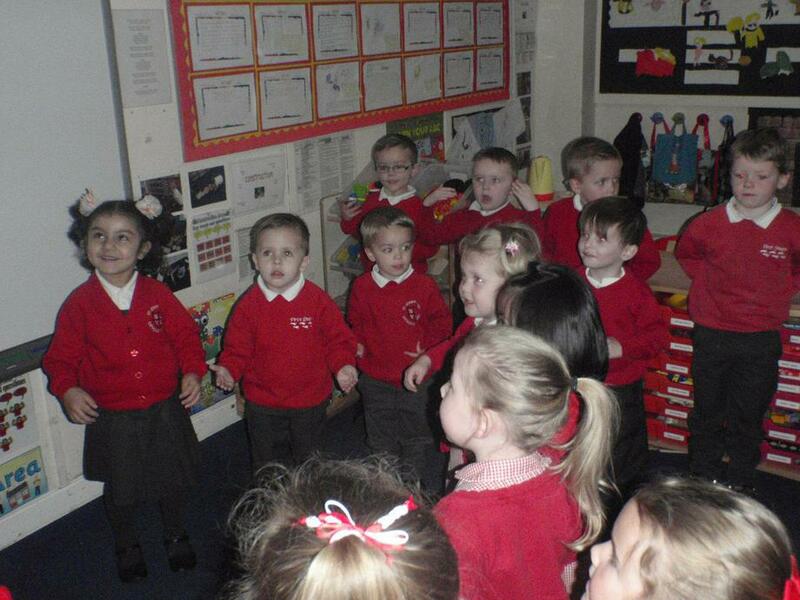 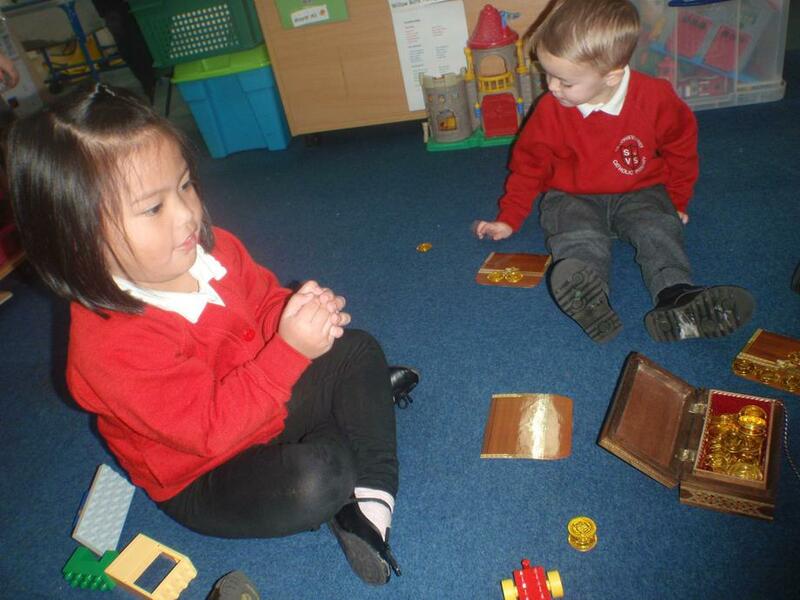 We played listening games and heard lots of different sounds just like Mr Bear. 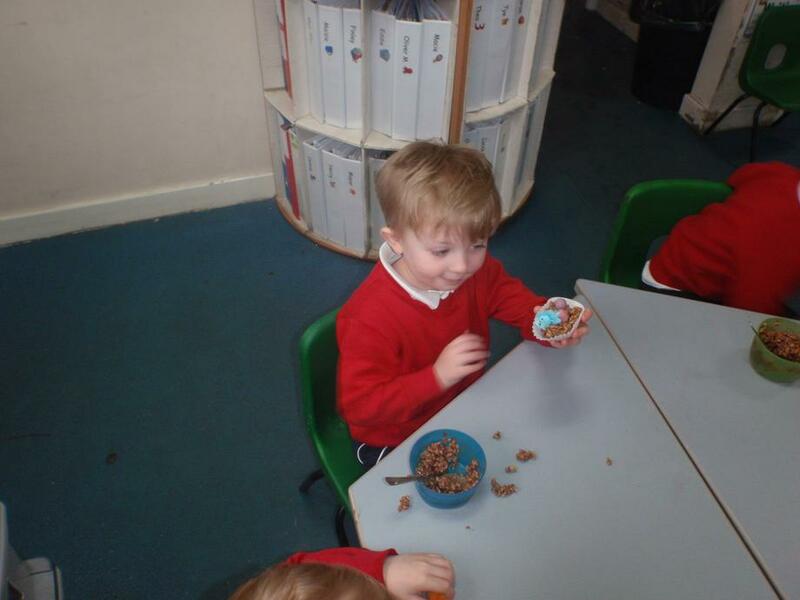 Midnight snack for Mr Bear. 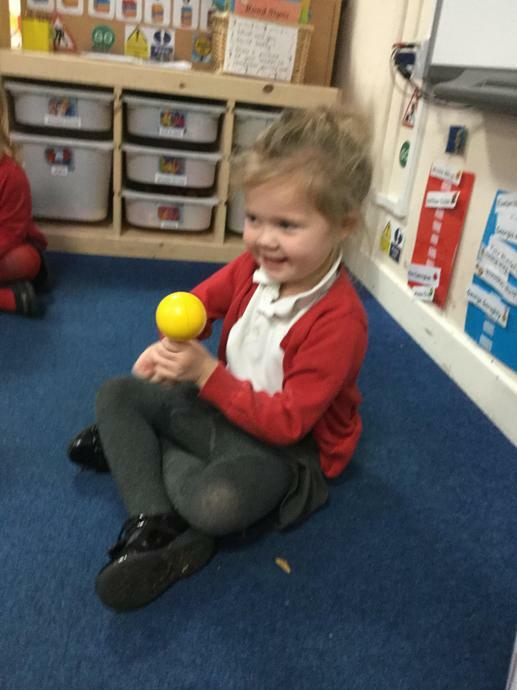 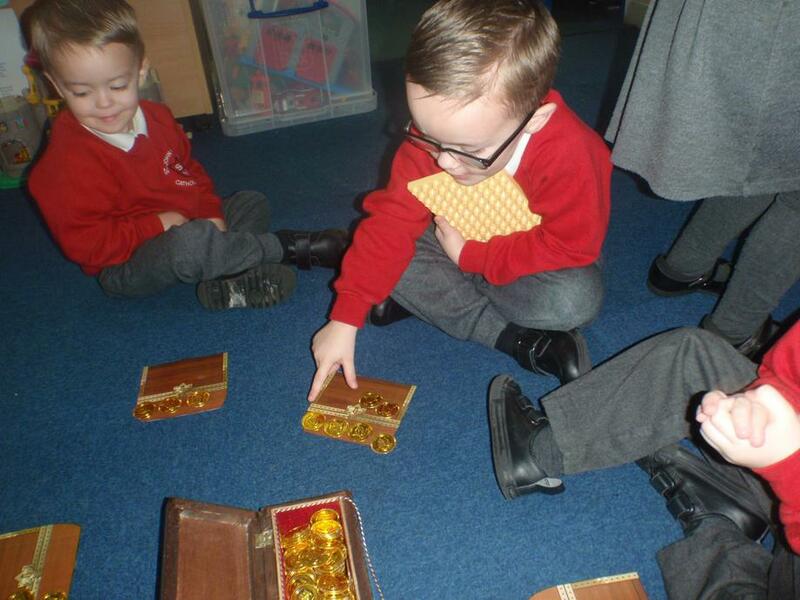 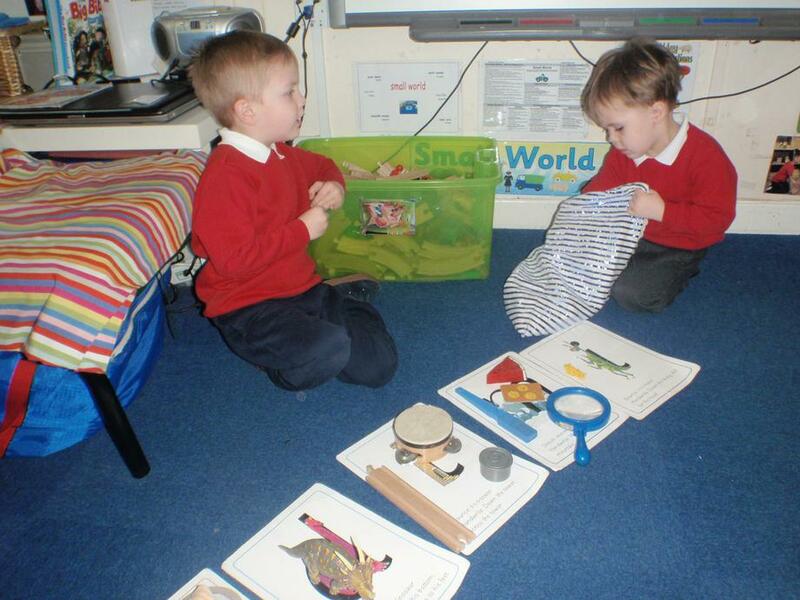 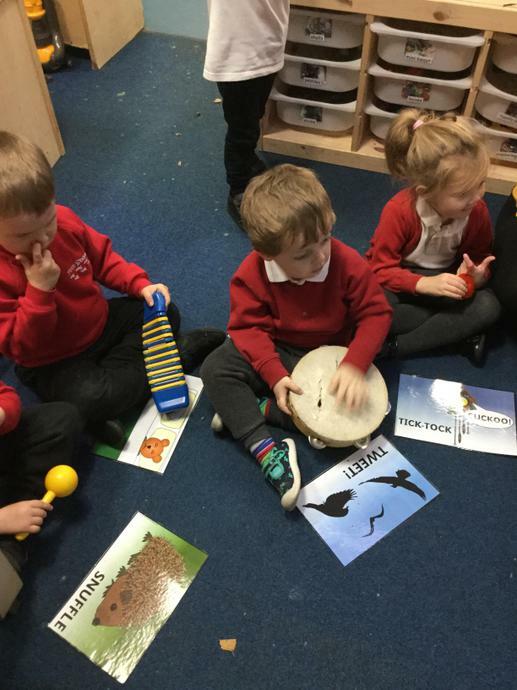 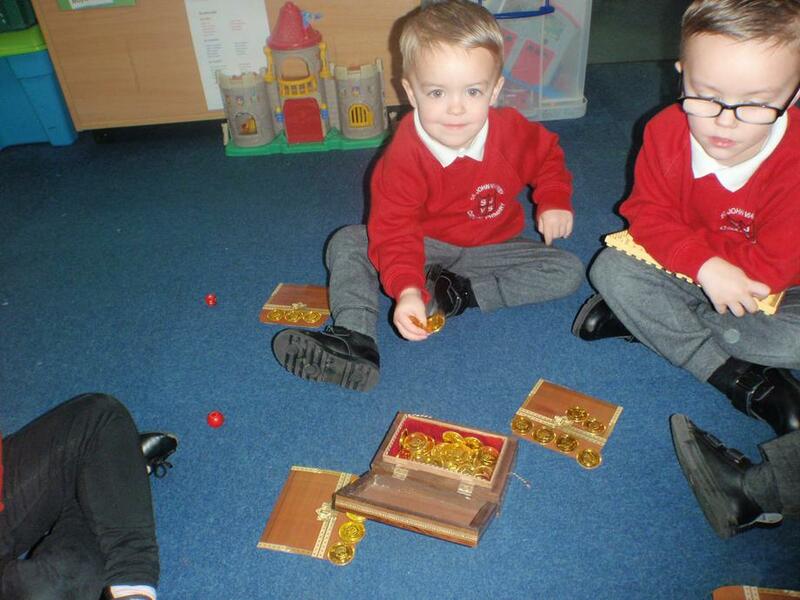 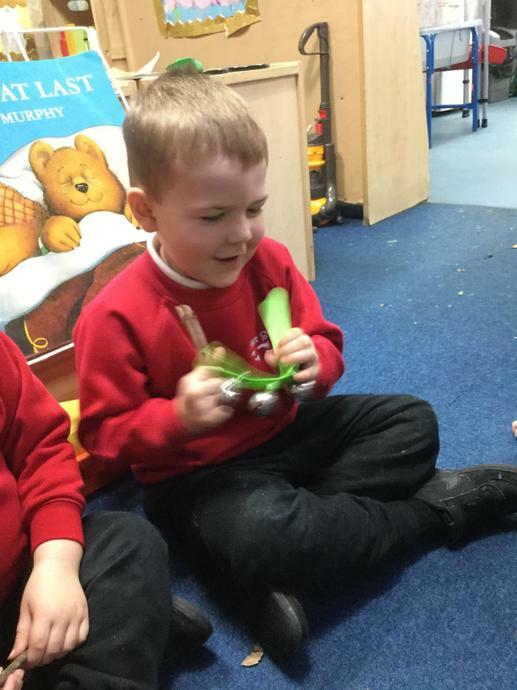 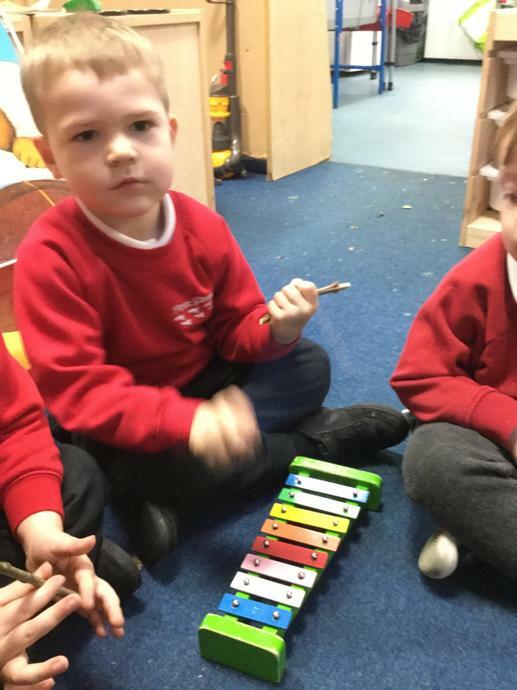 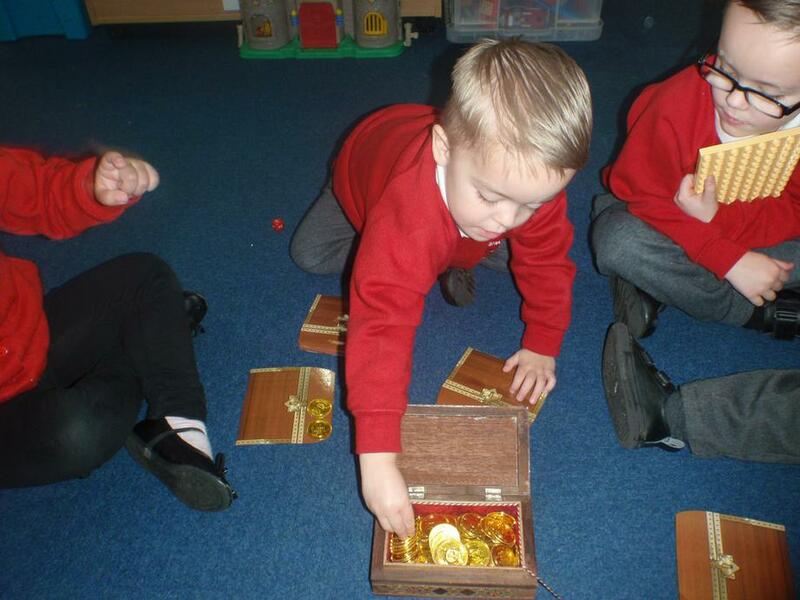 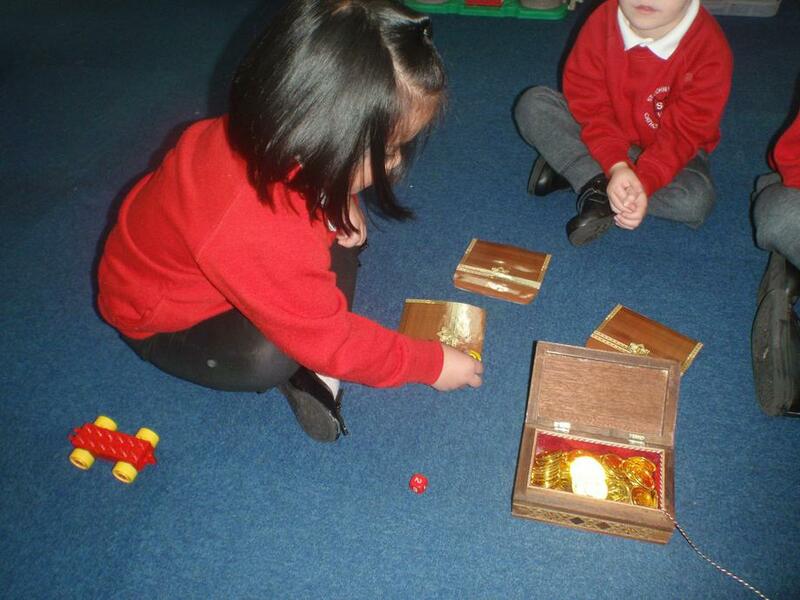 We used musical instruments to make sounds from the story. 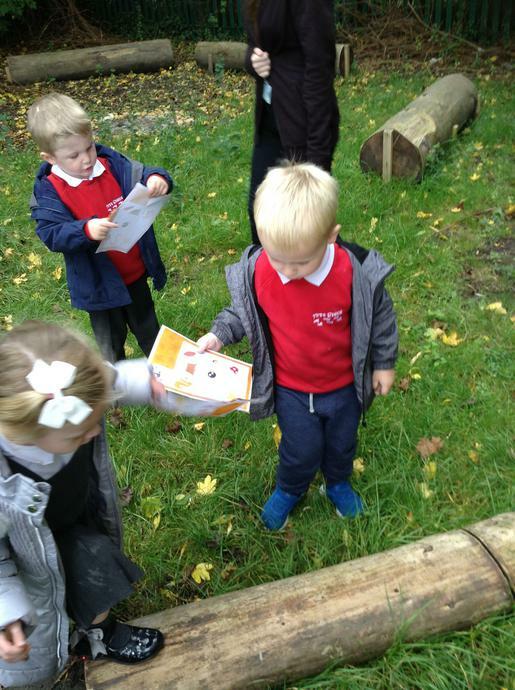 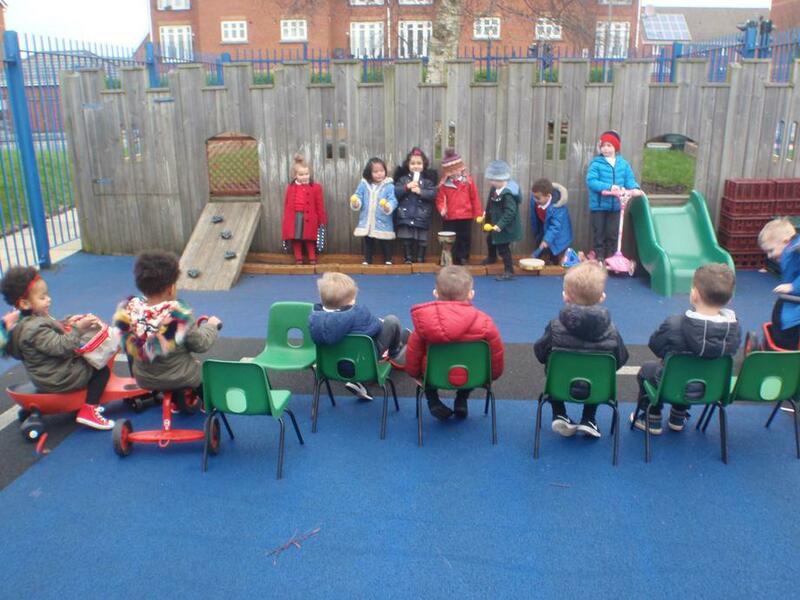 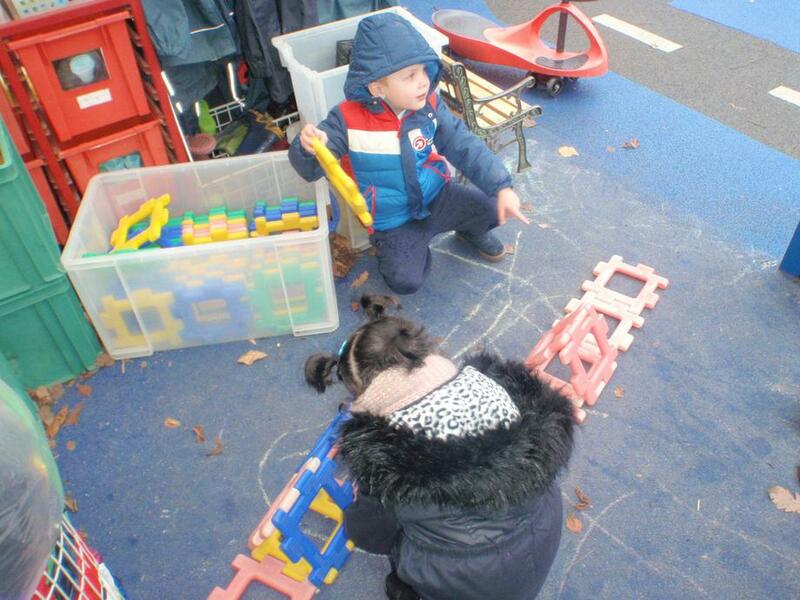 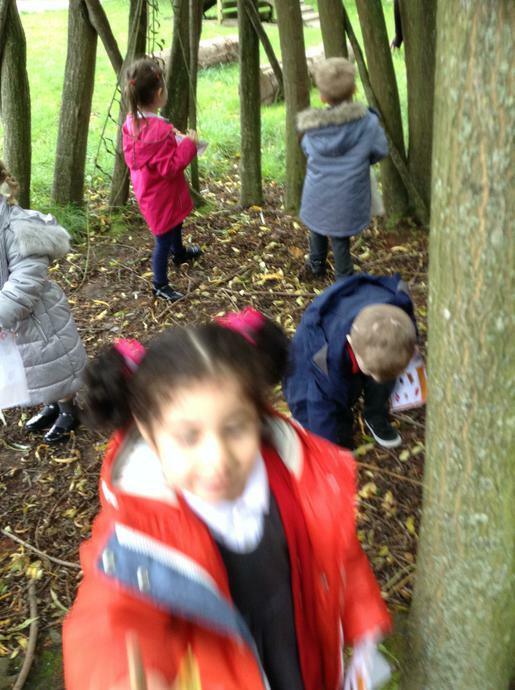 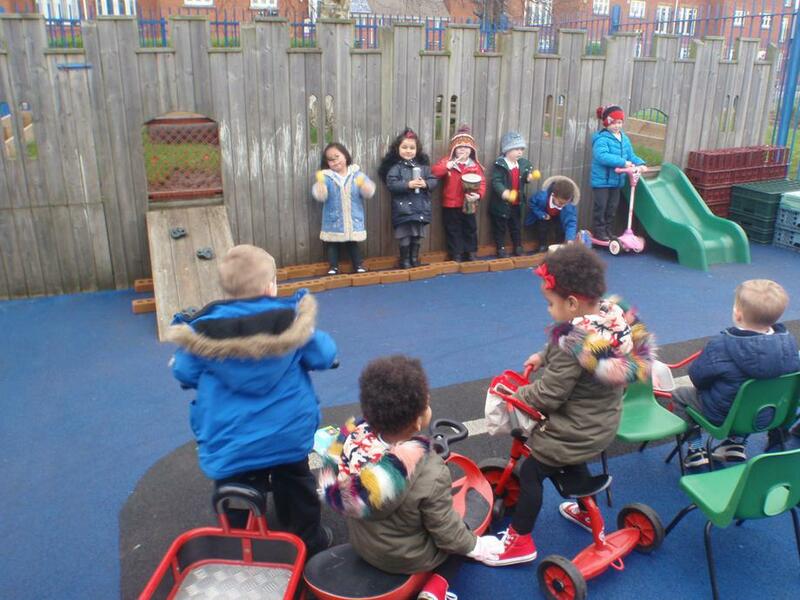 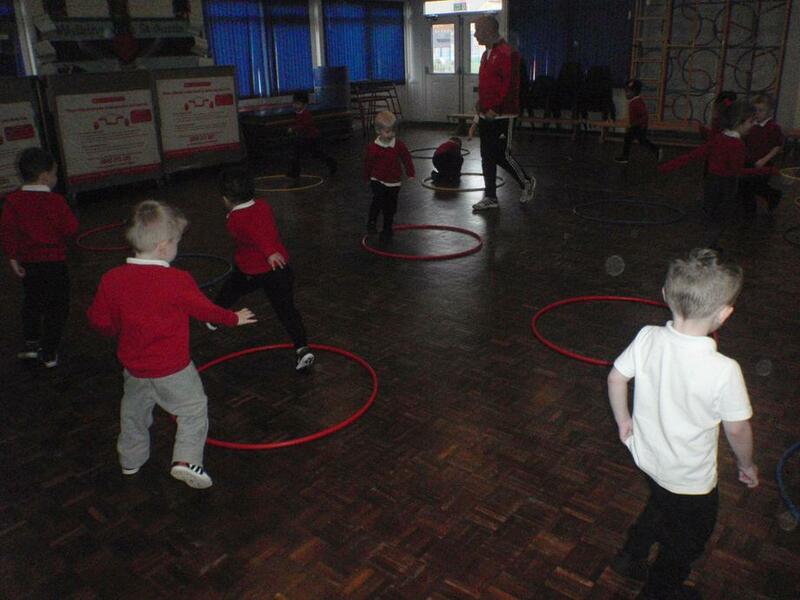 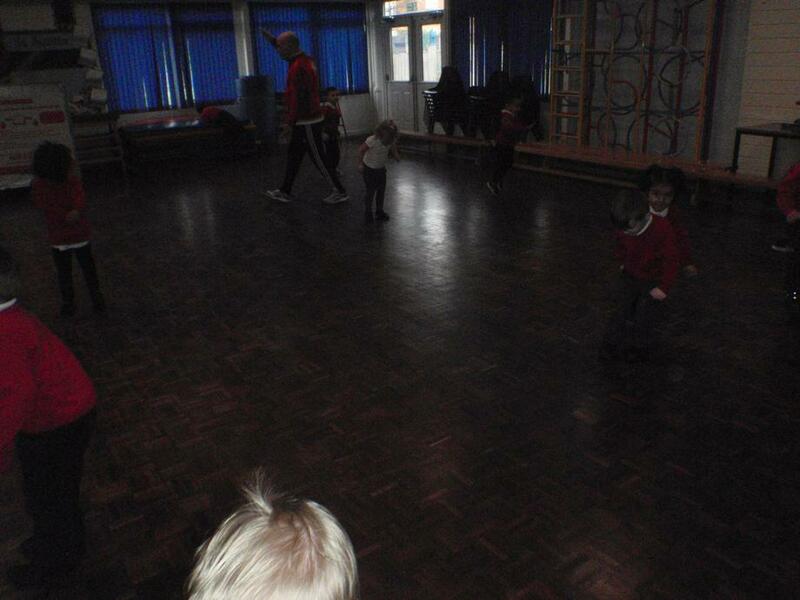 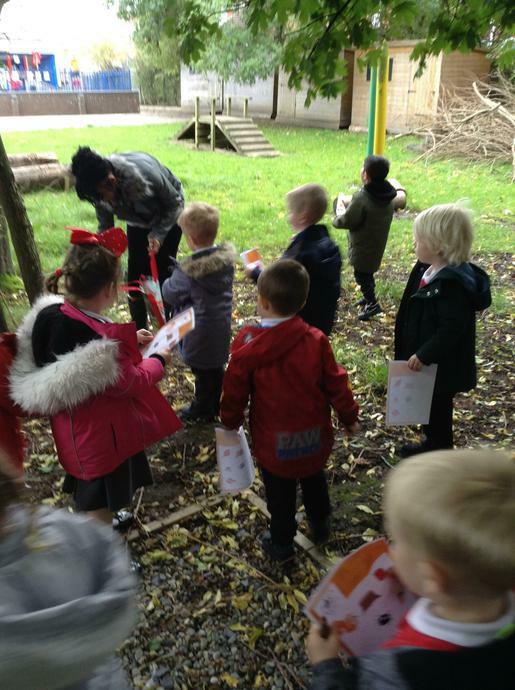 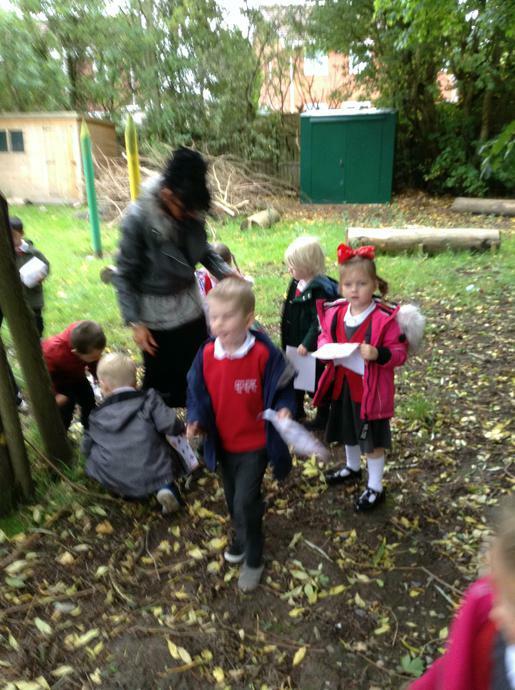 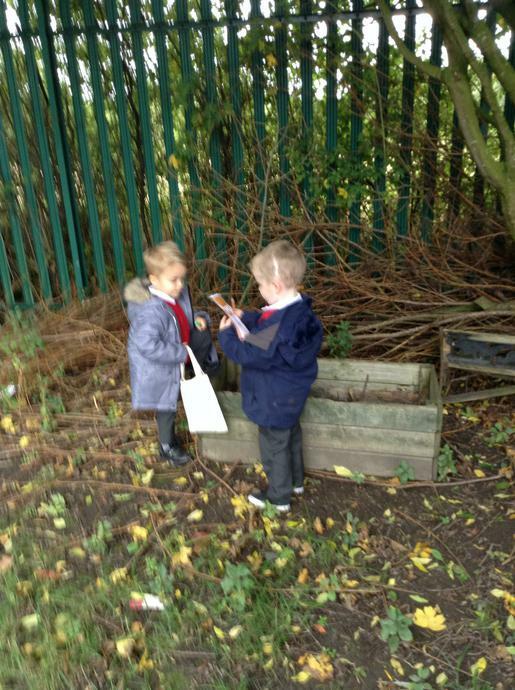 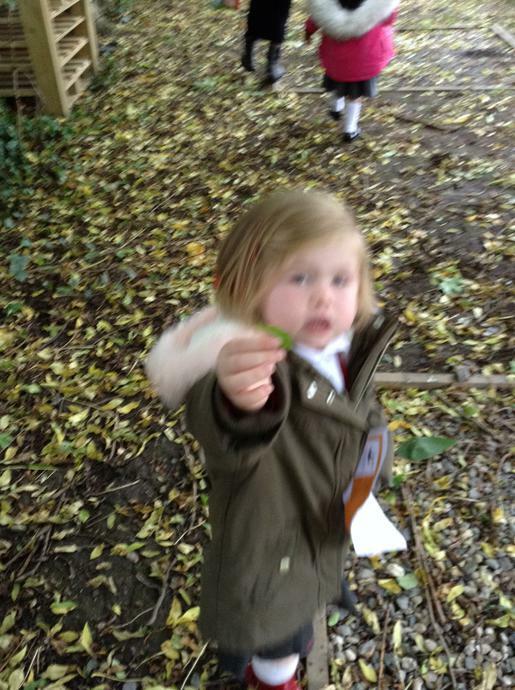 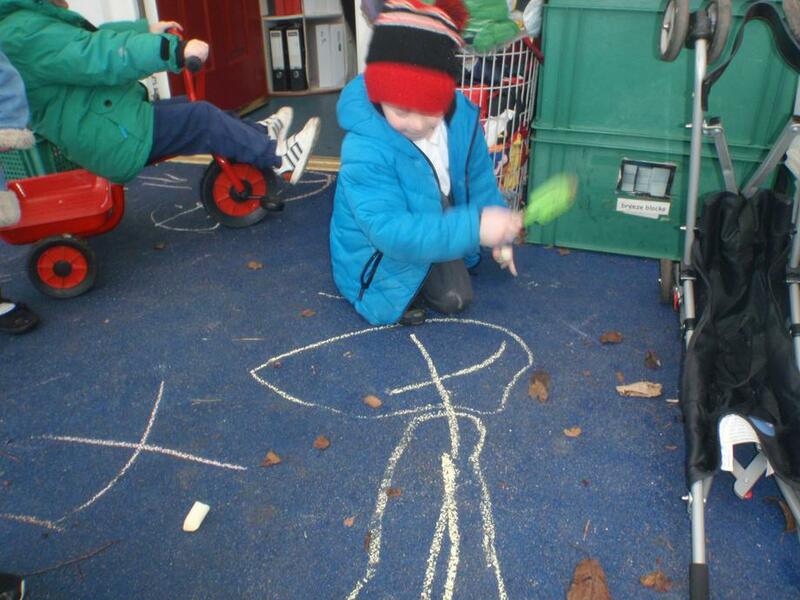 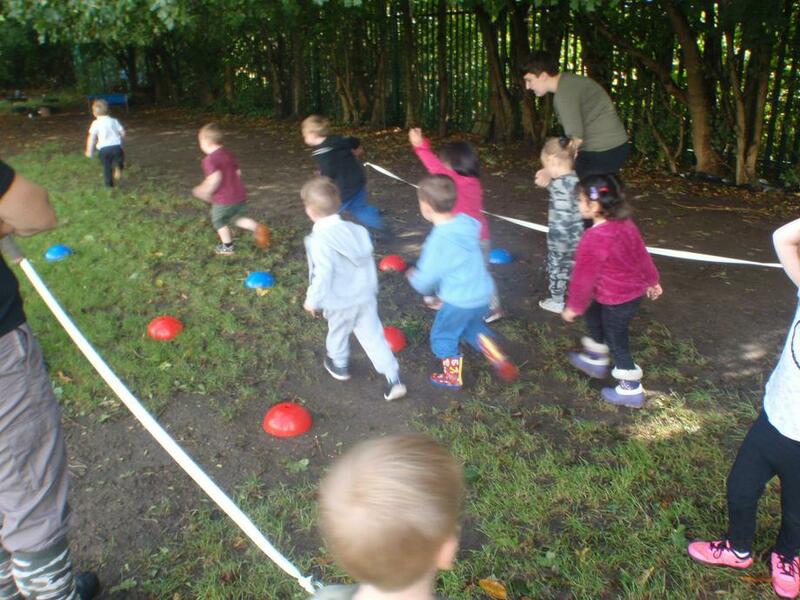 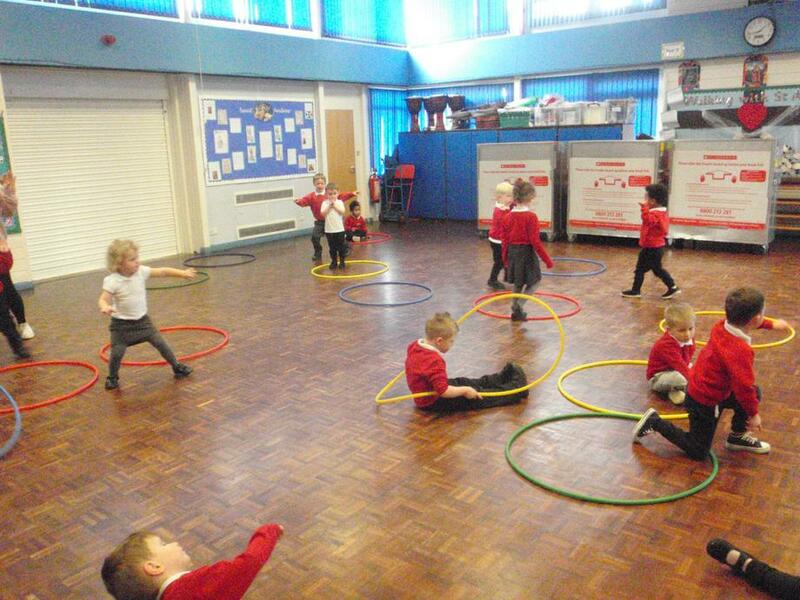 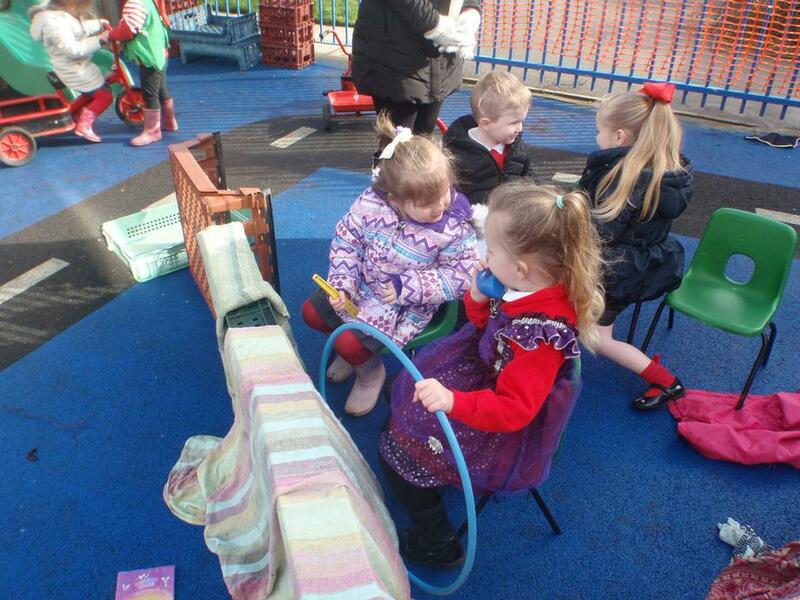 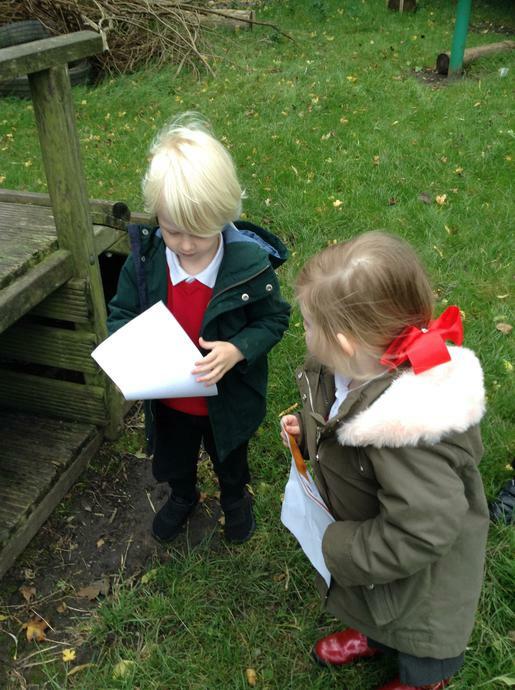 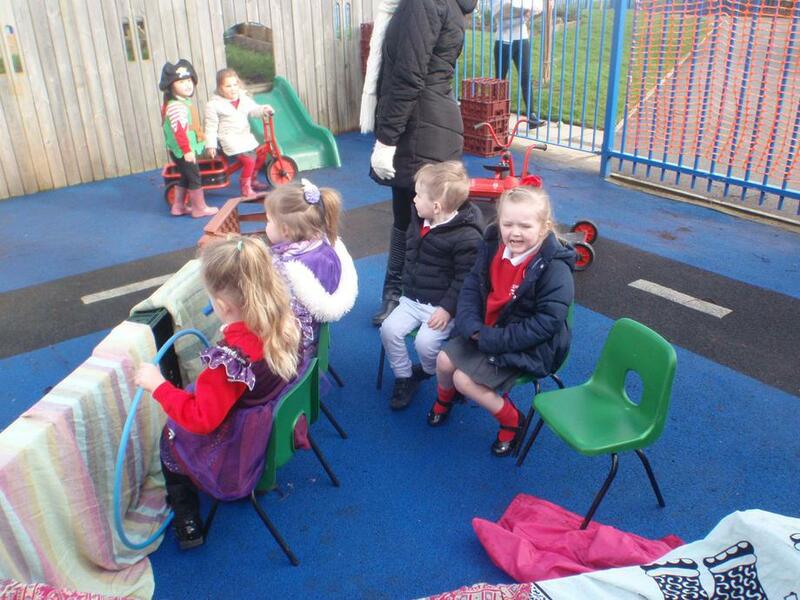 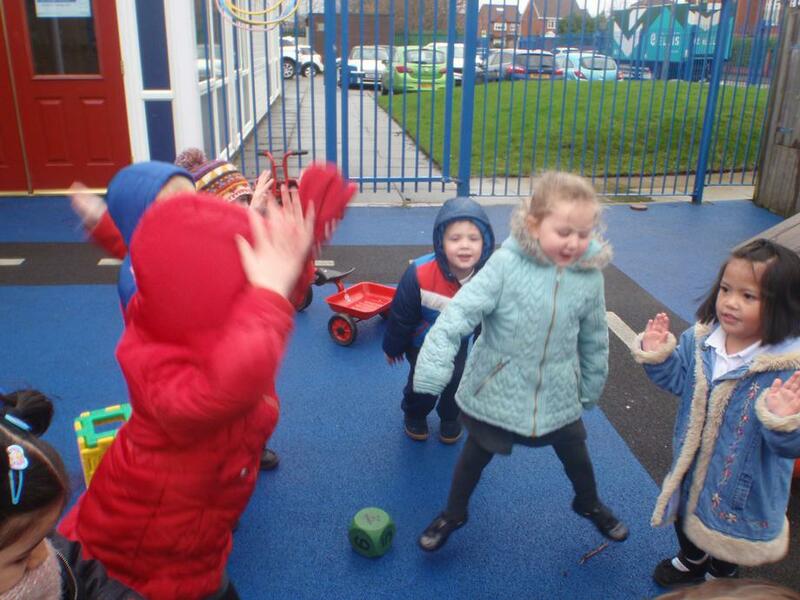 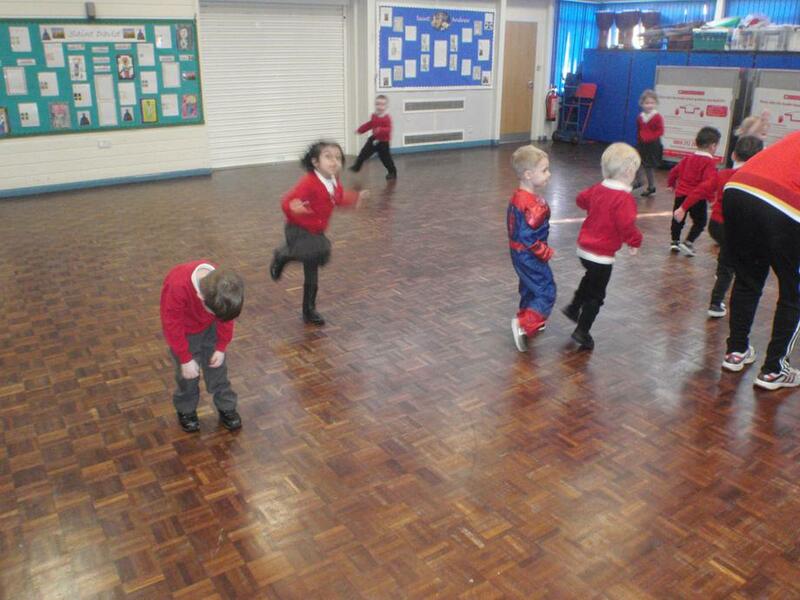 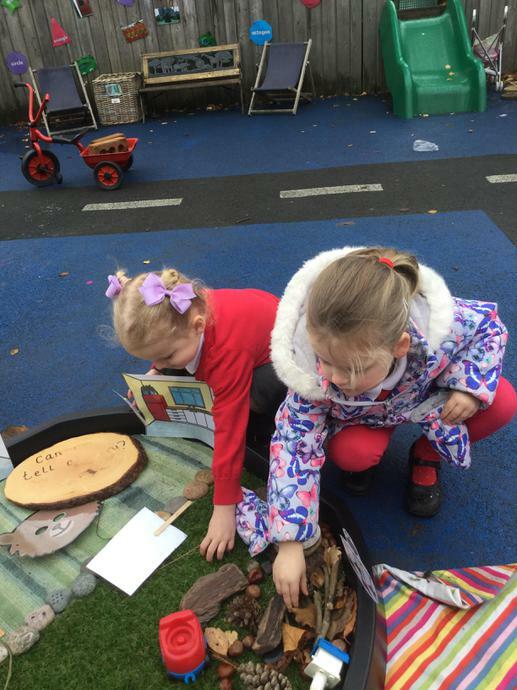 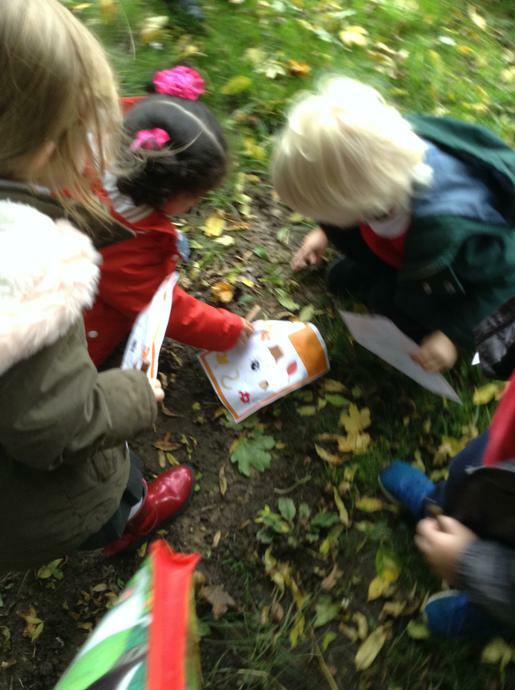 During outdoor play we played 'What time is it Mr Bear?' 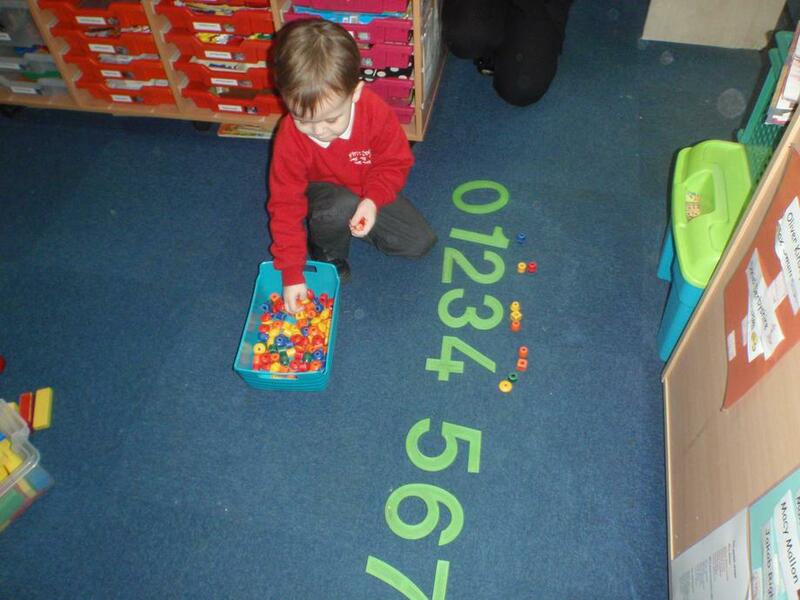 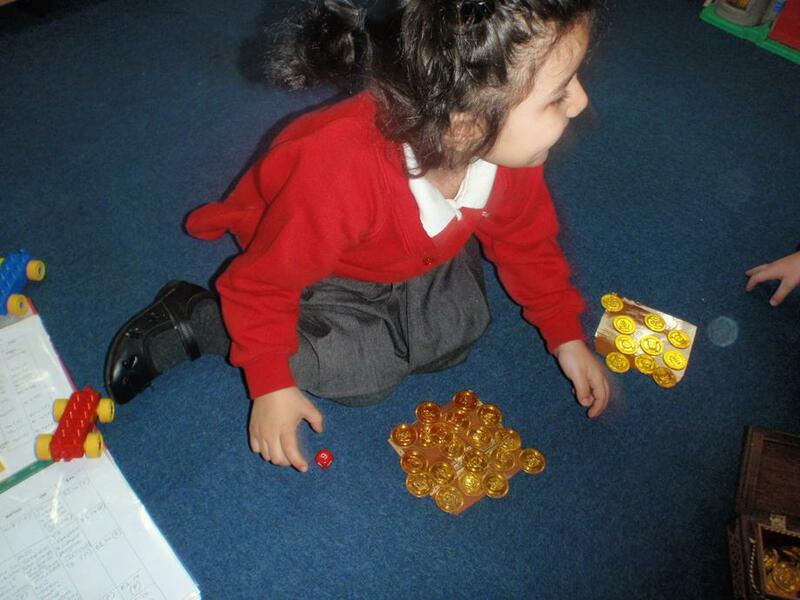 to help us with our counting. 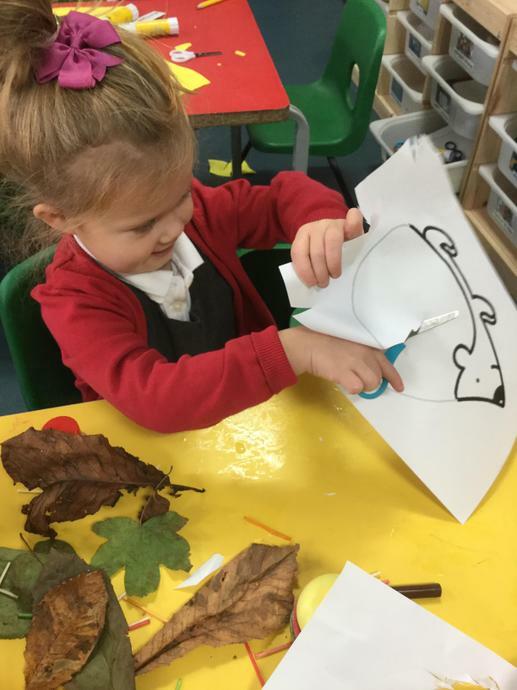 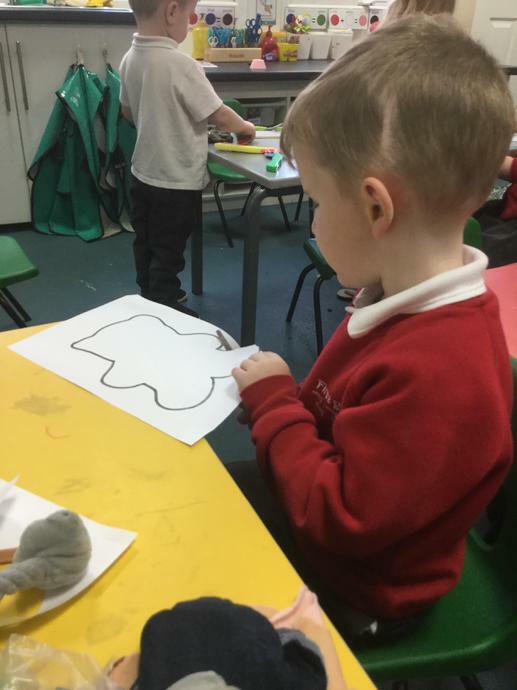 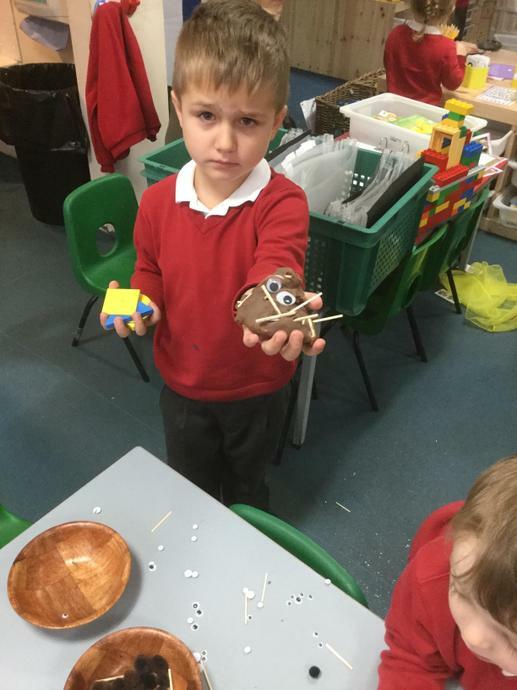 We made bear faces using different shapes. 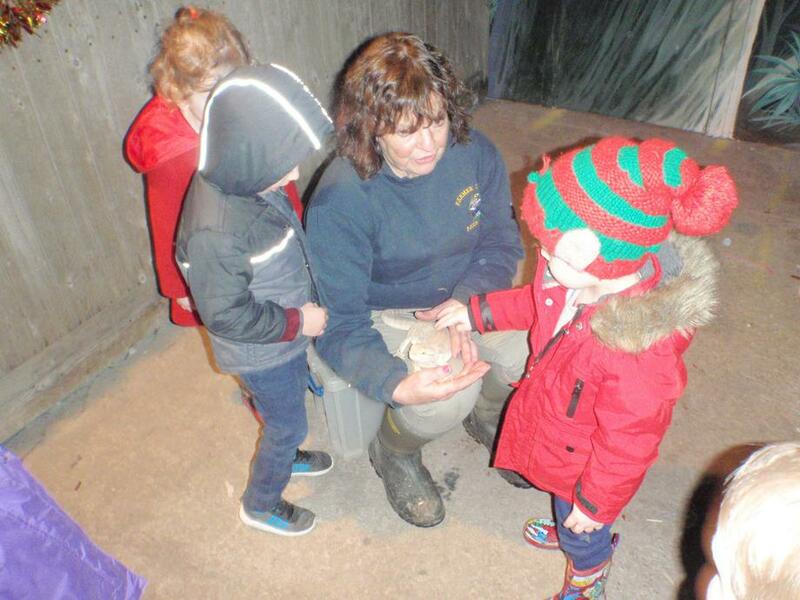 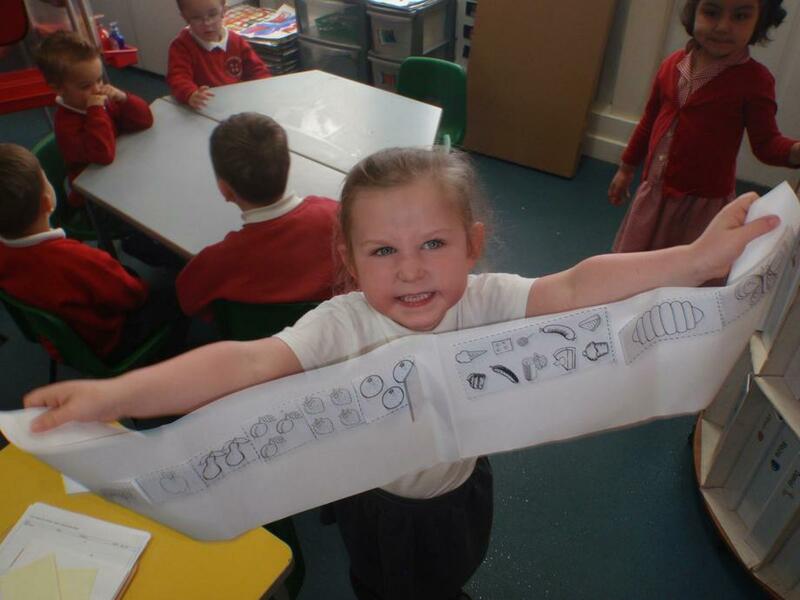 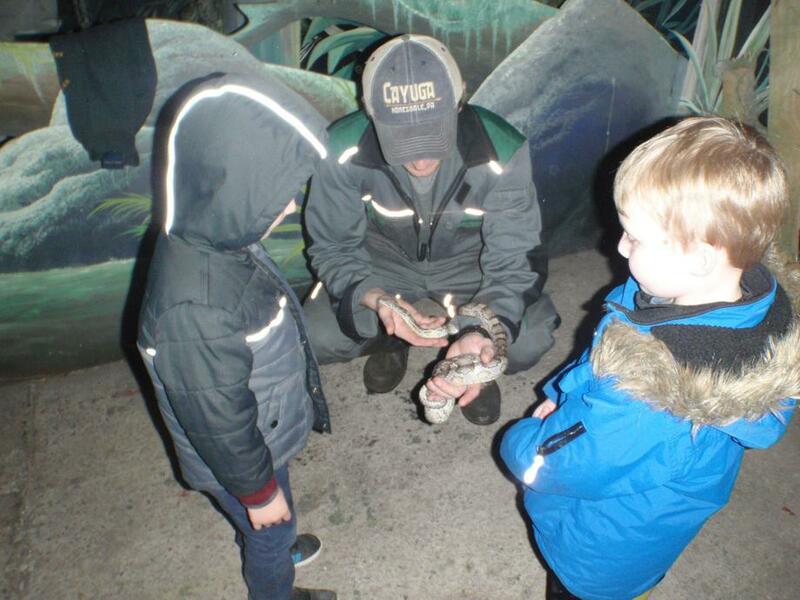 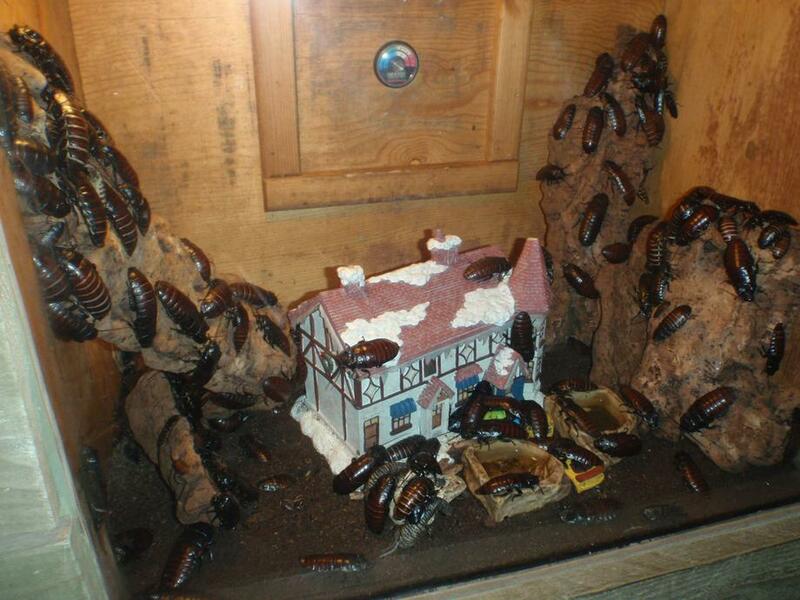 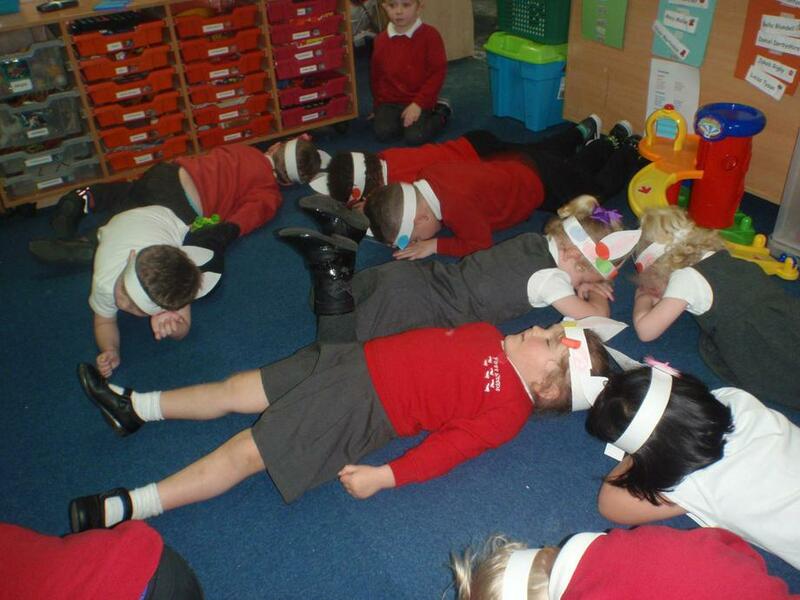 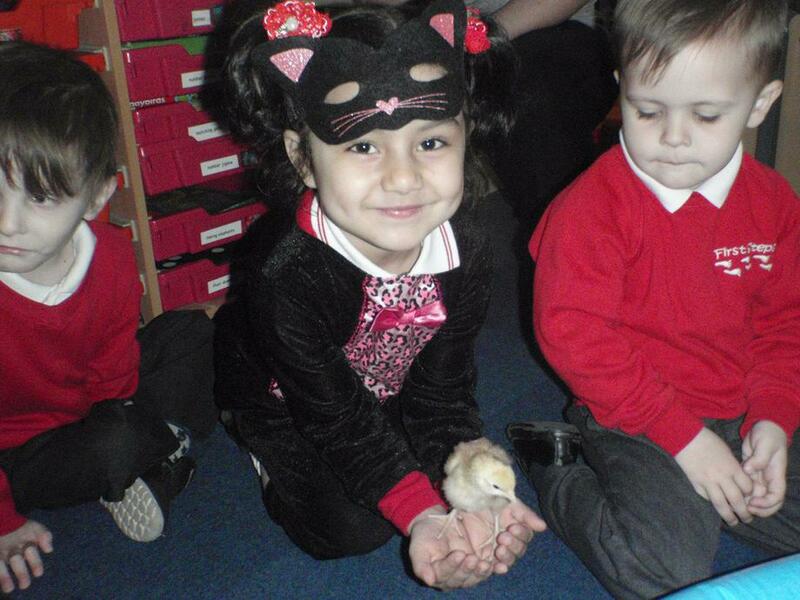 We enjoyed learning about nocturnal animals. 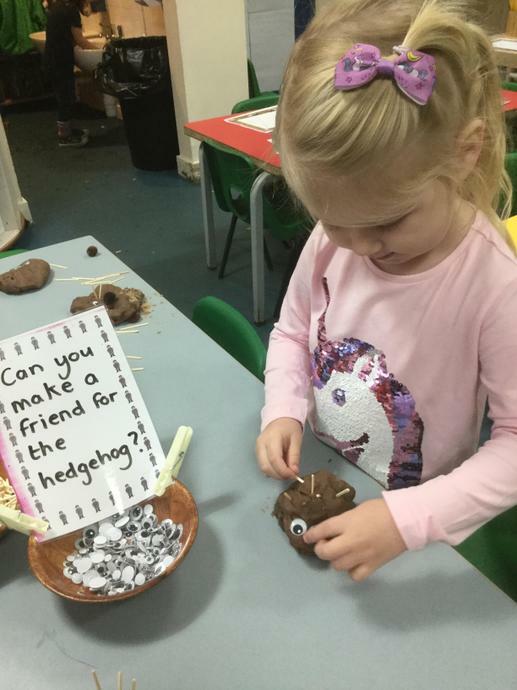 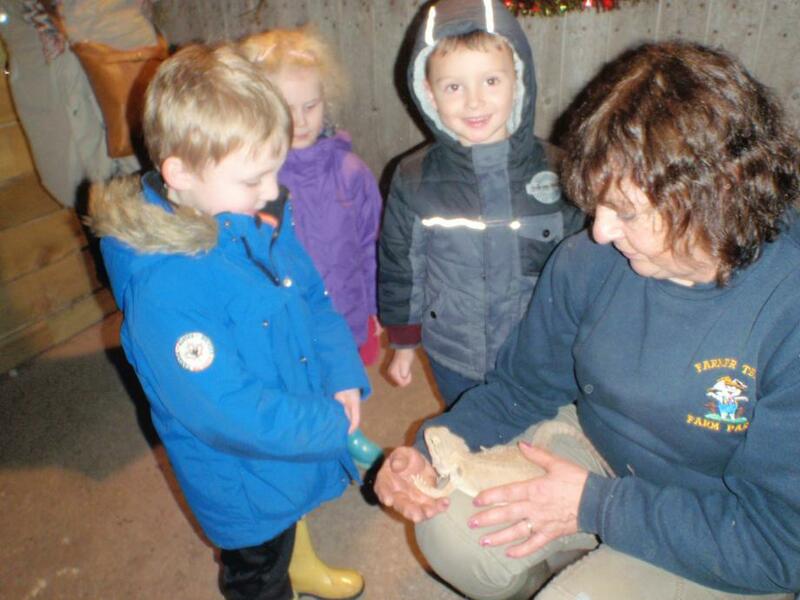 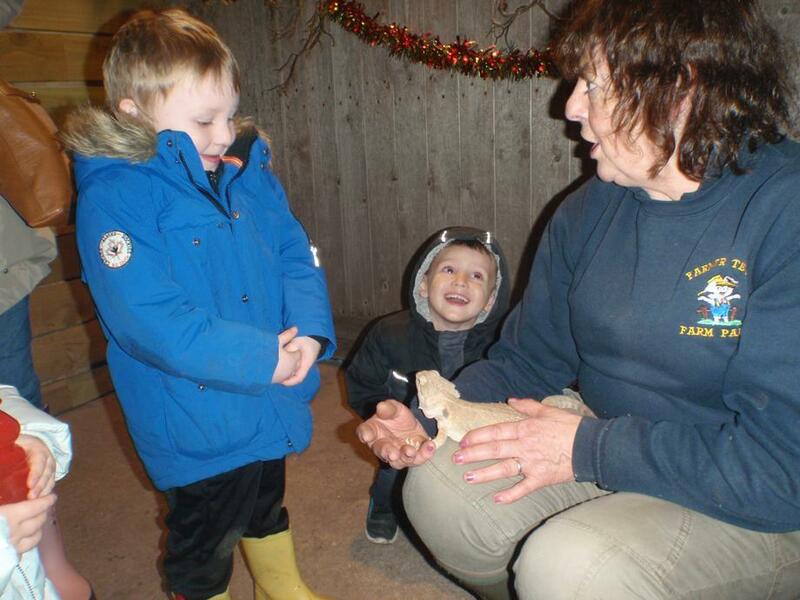 One of our favourites was the hedgehog. 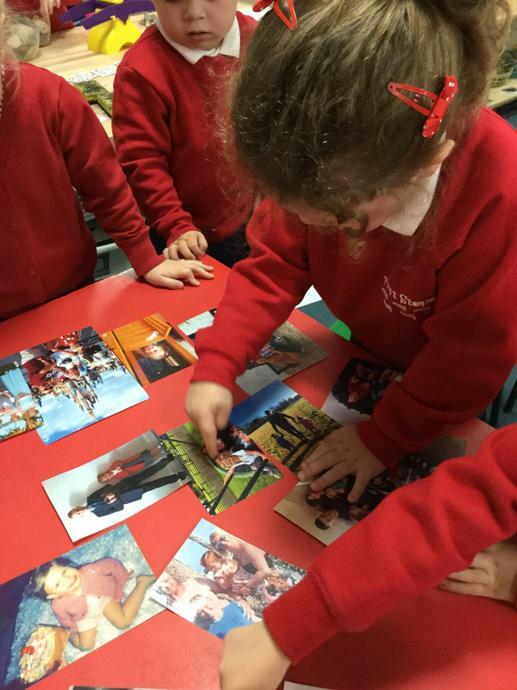 We started the new school year learning about ourselves and each other. 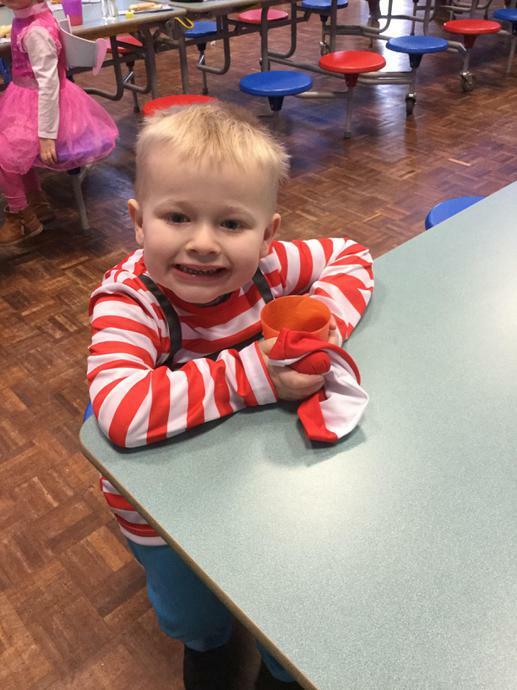 Book week 2018. 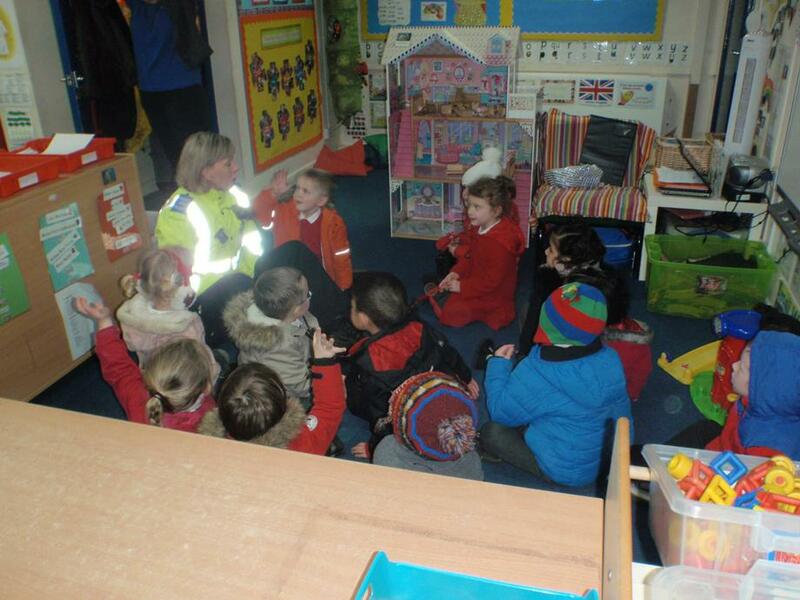 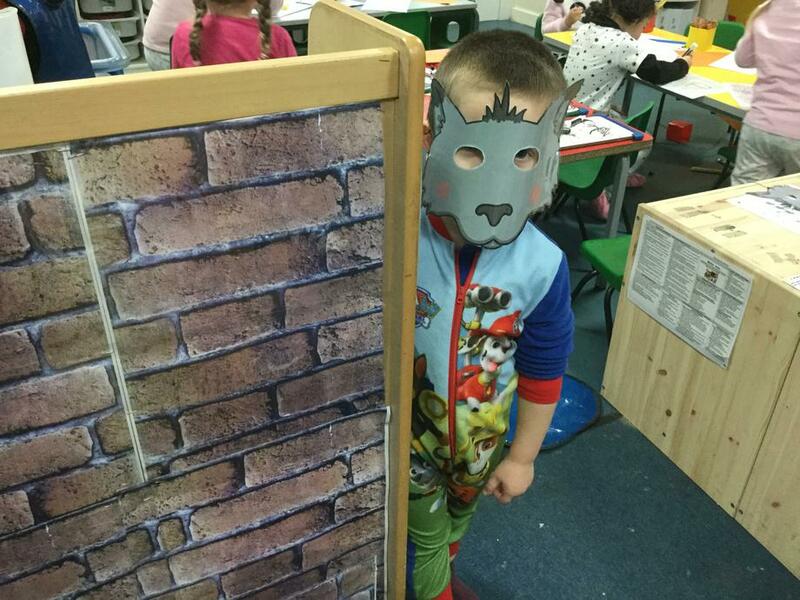 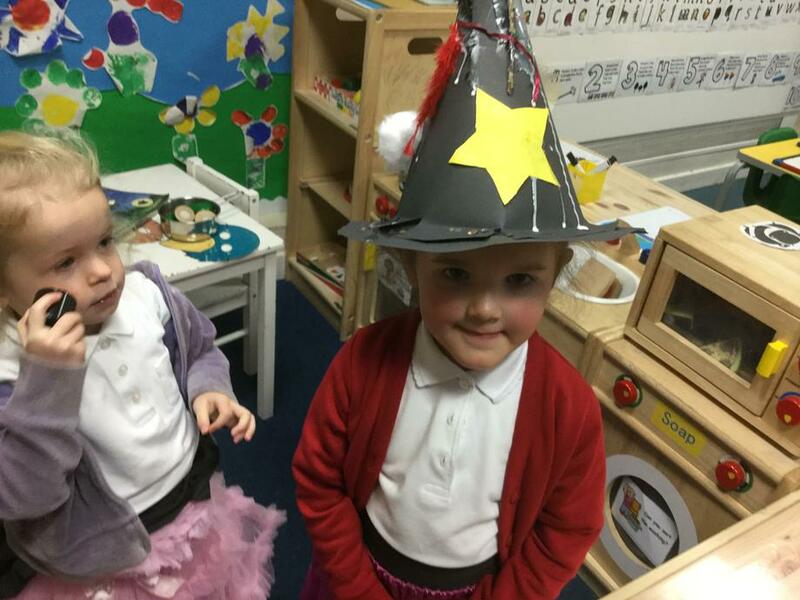 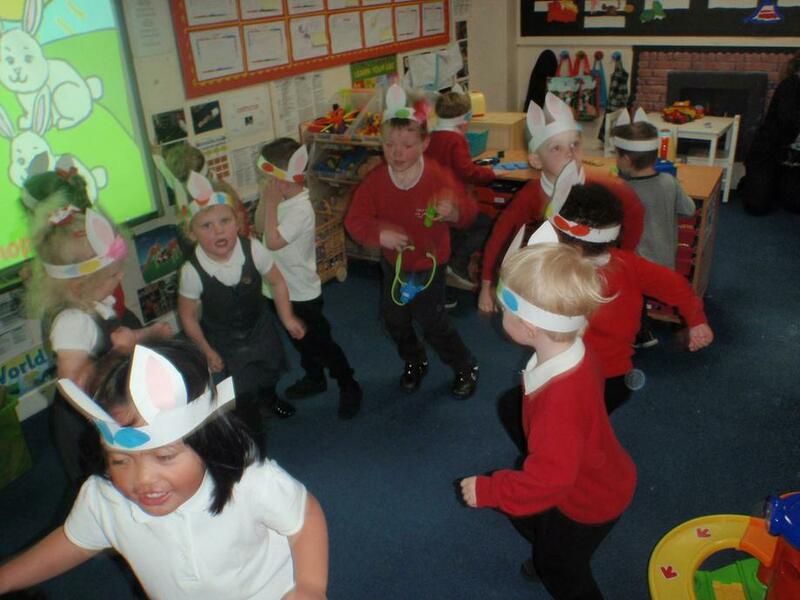 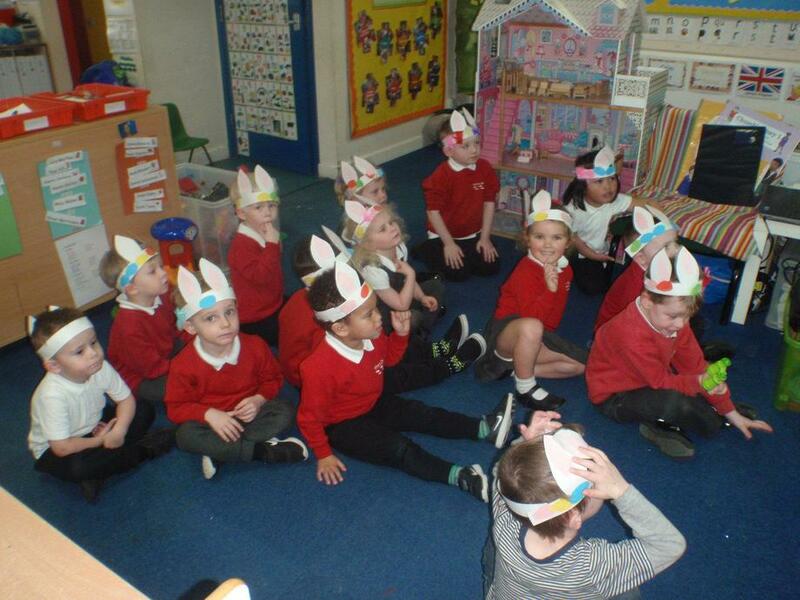 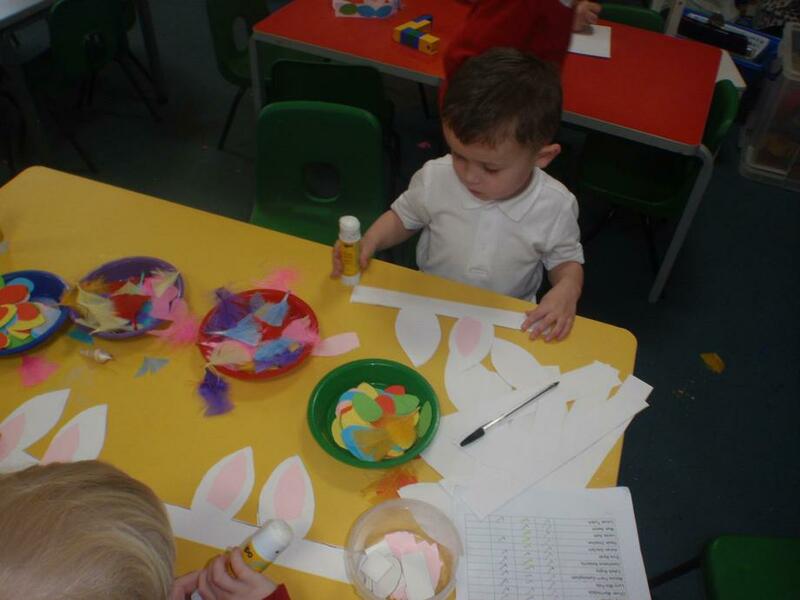 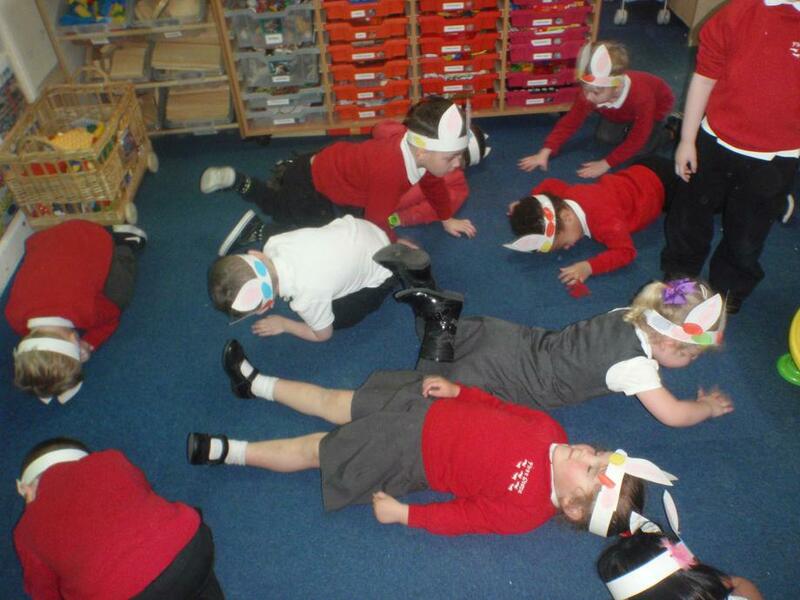 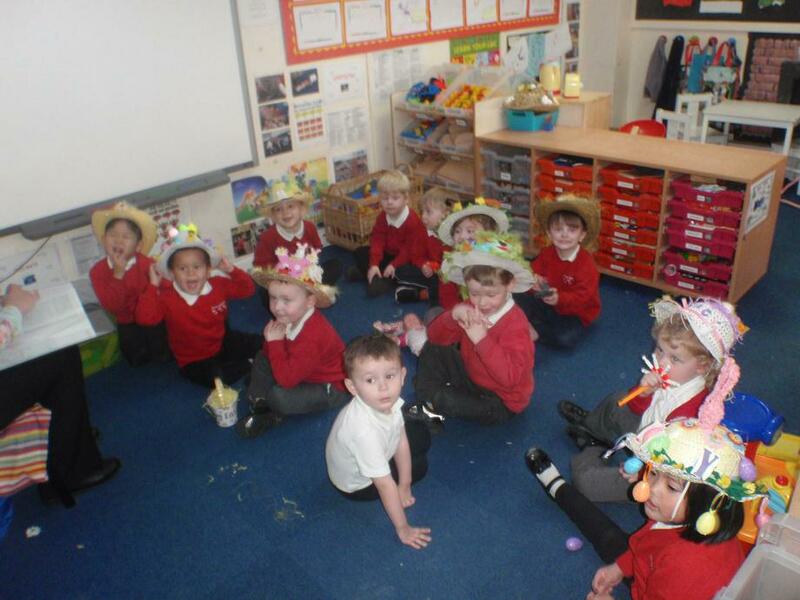 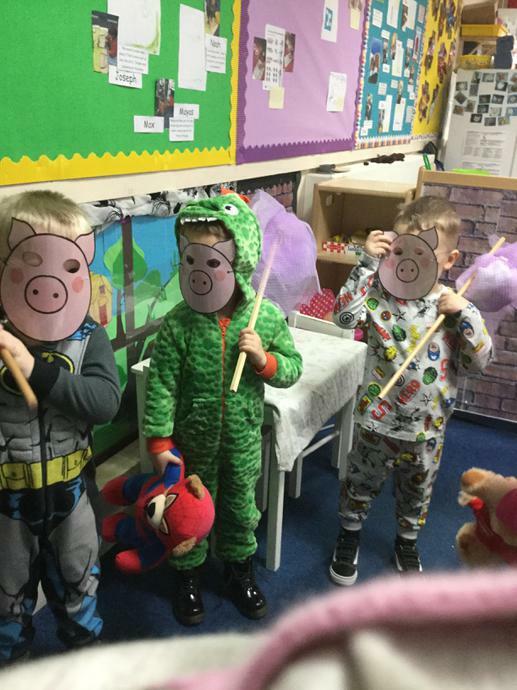 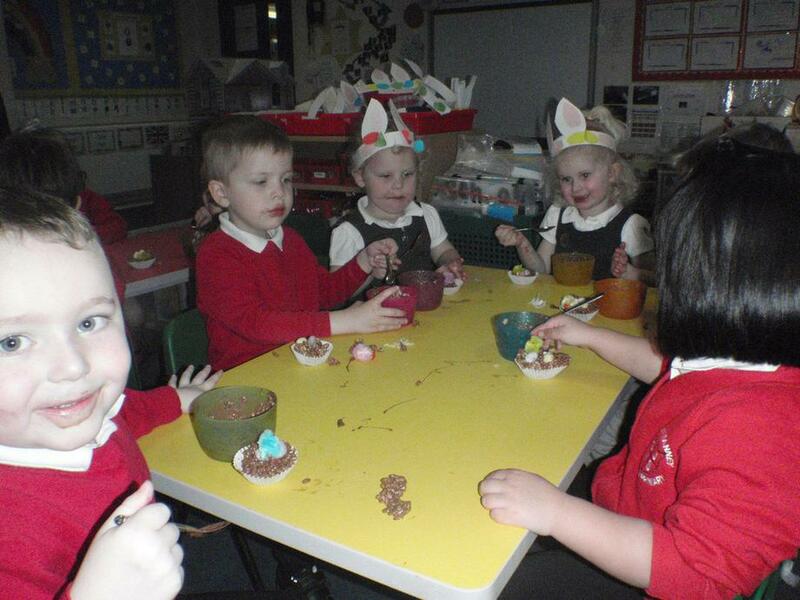 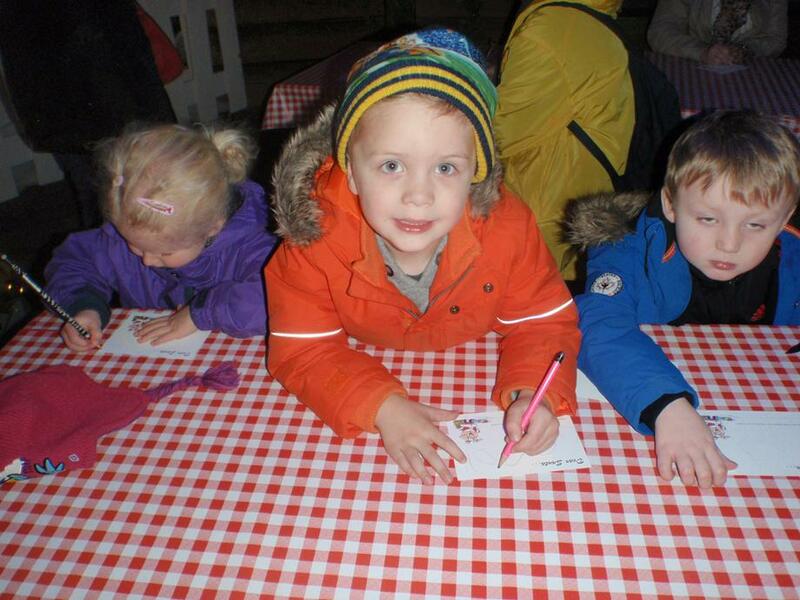 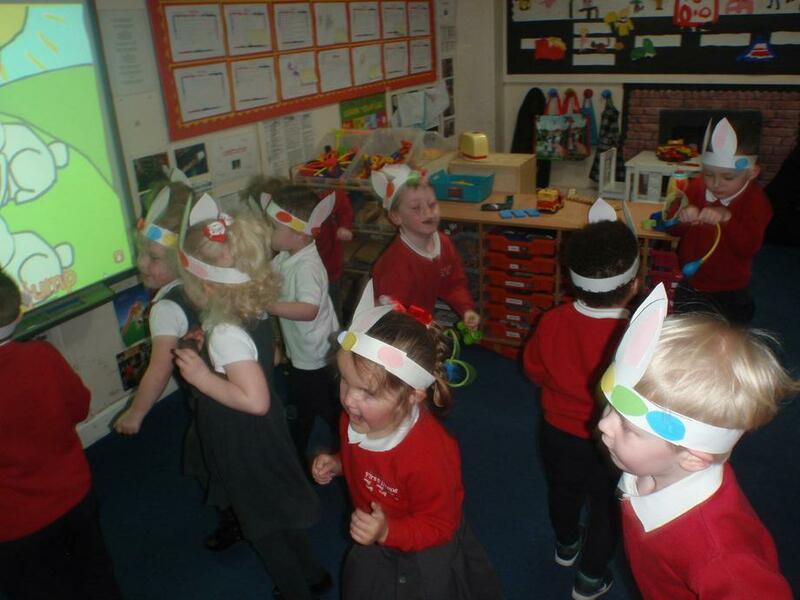 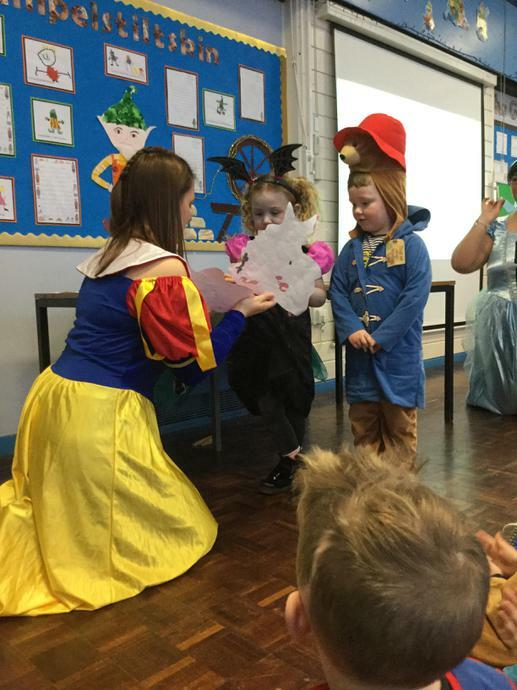 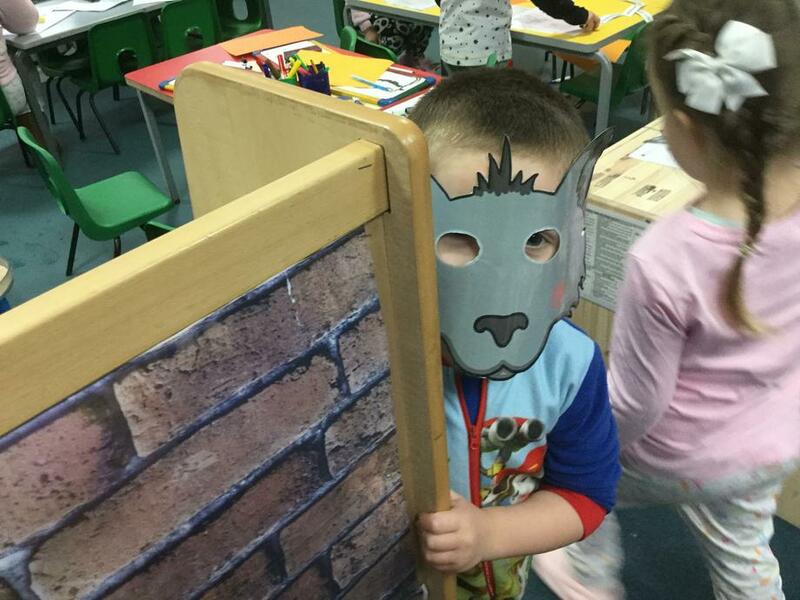 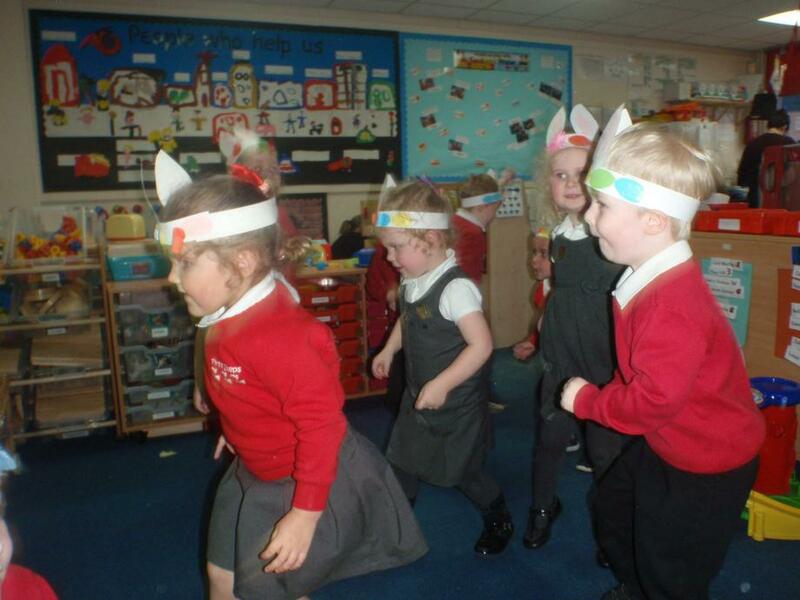 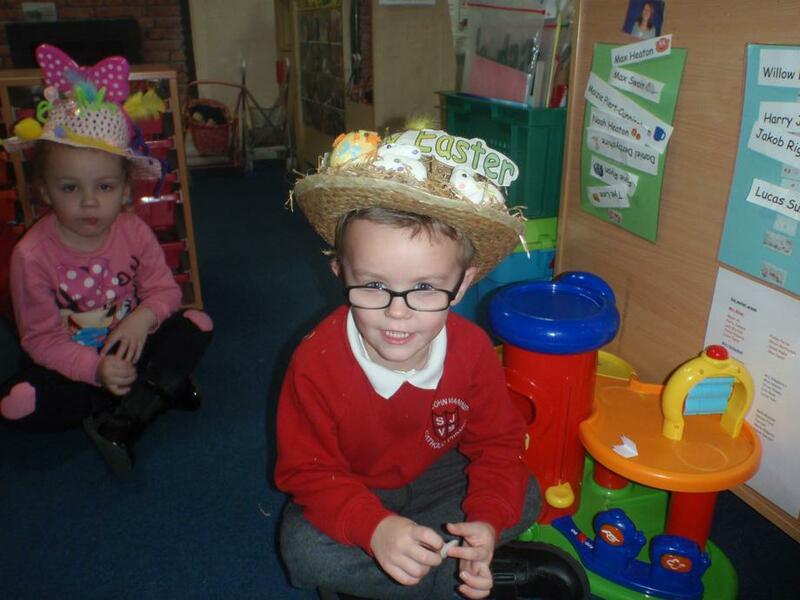 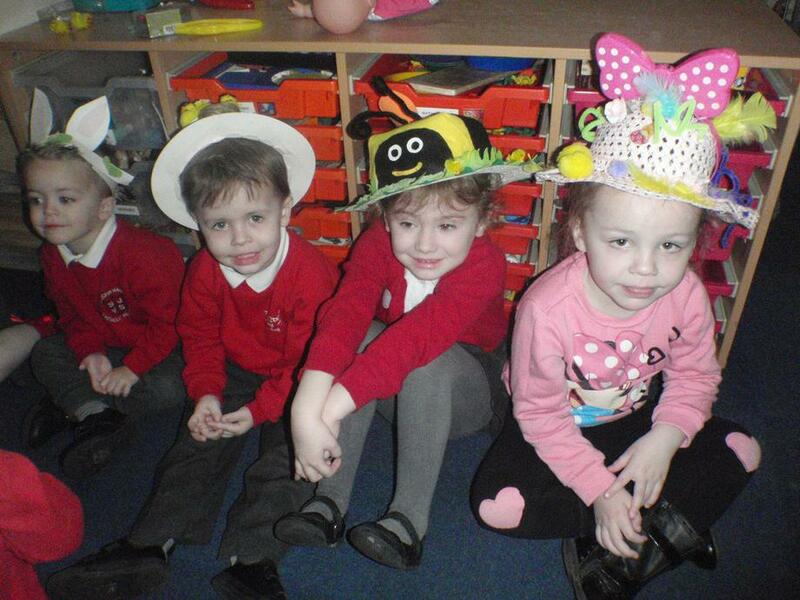 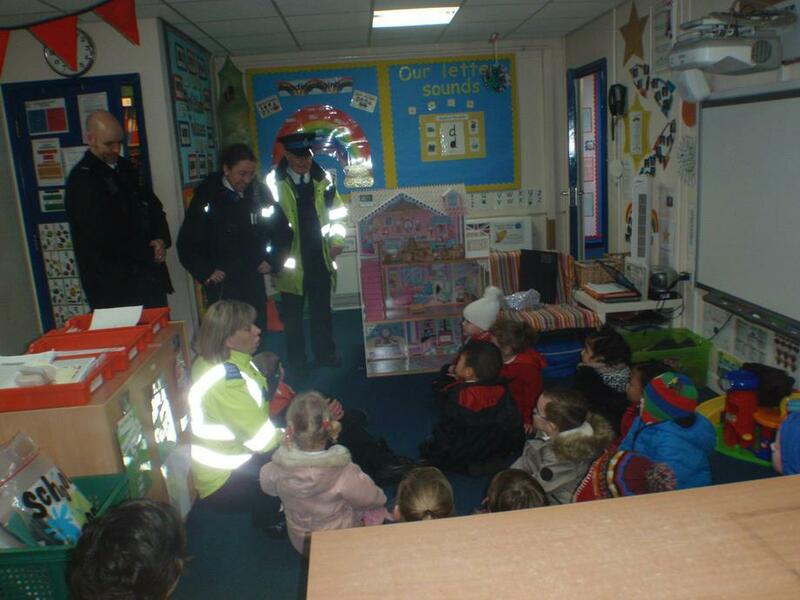 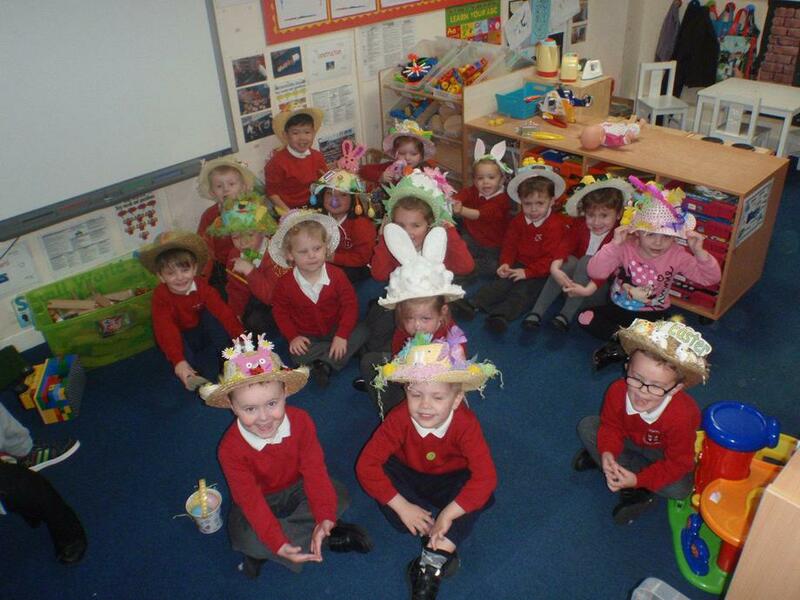 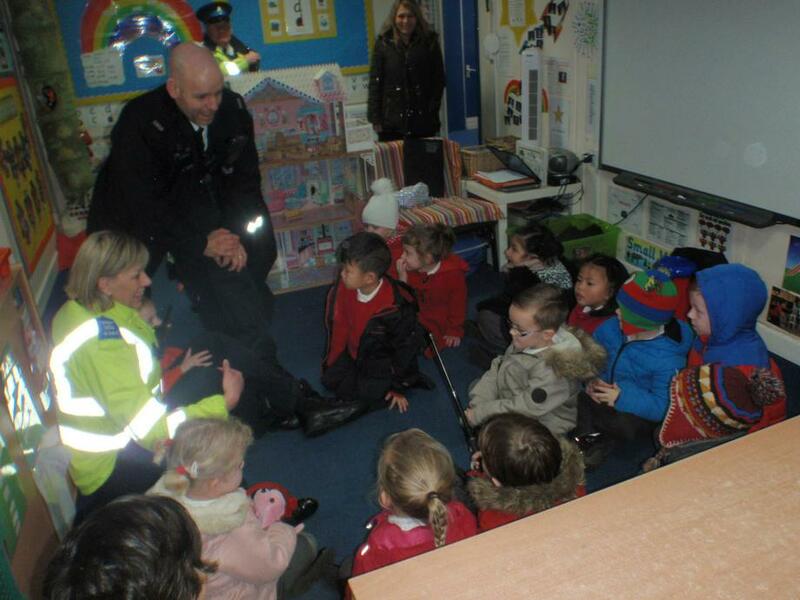 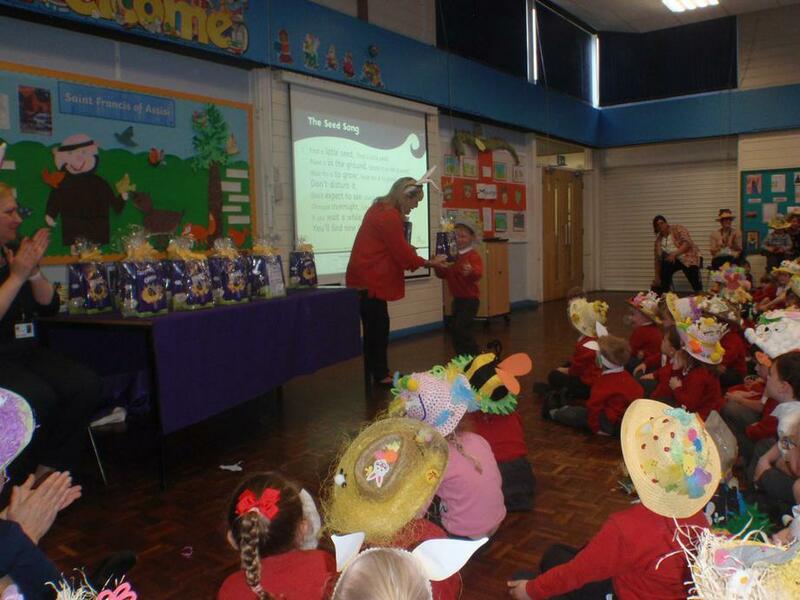 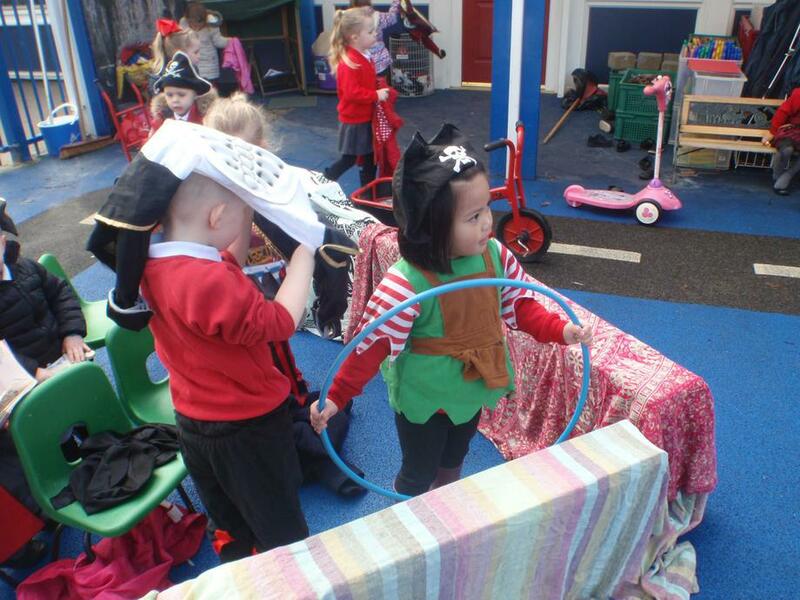 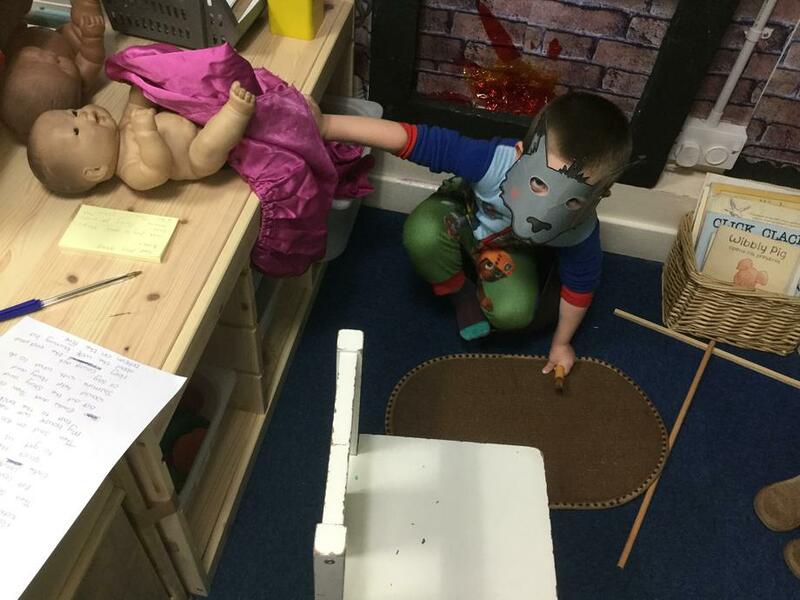 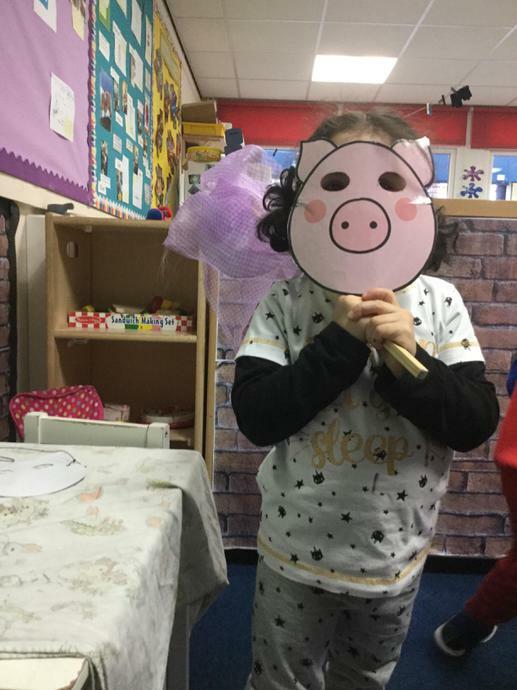 We have celebrated World Book Day with lots of activities based around the story of the 3 little pigs. 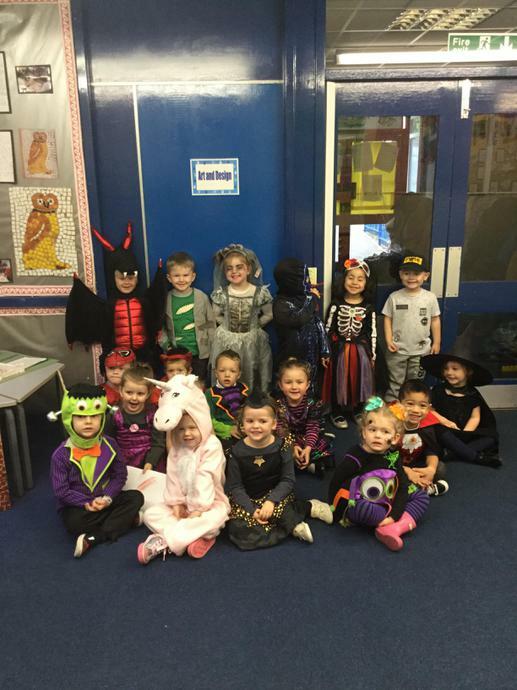 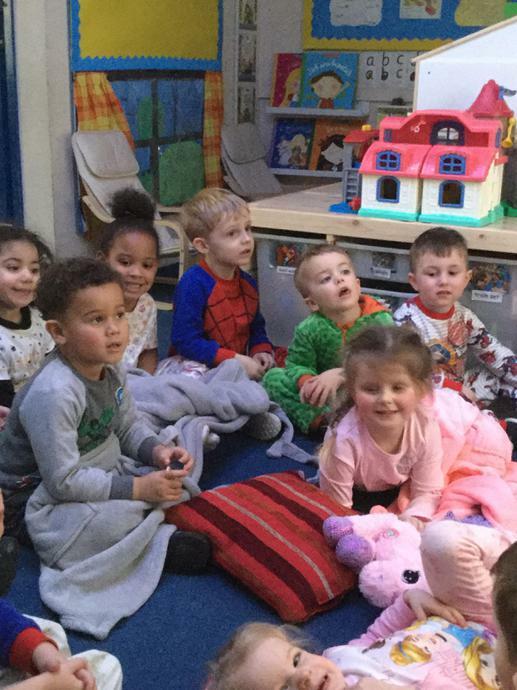 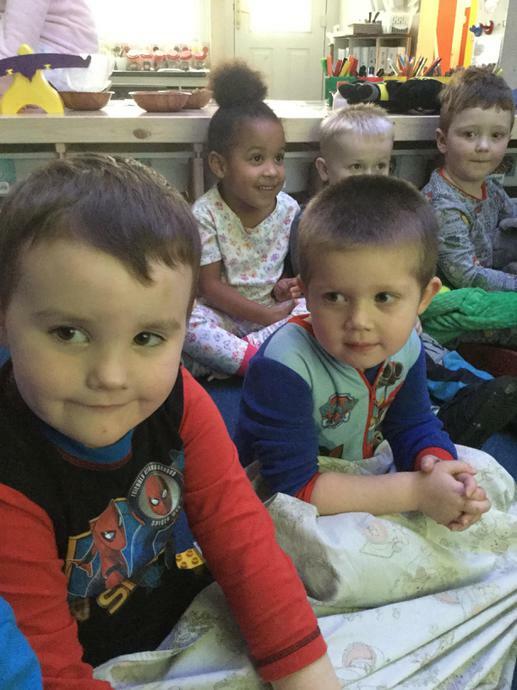 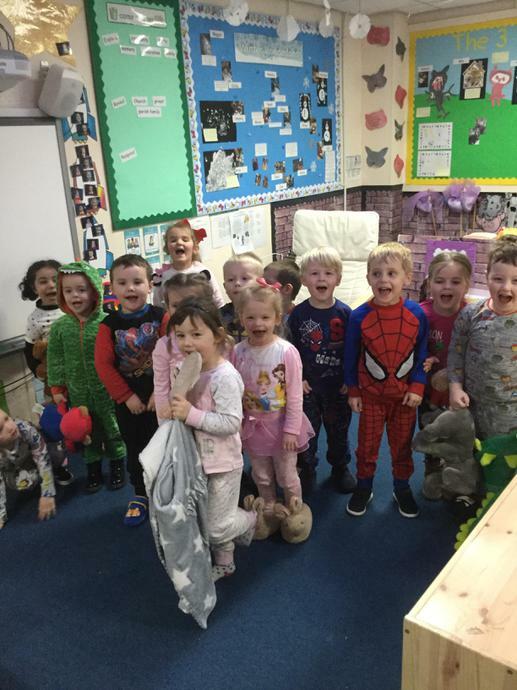 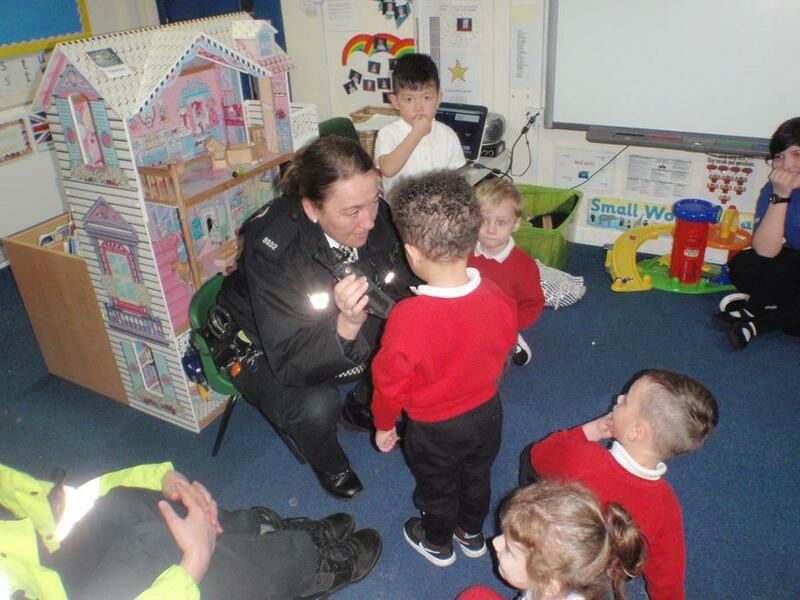 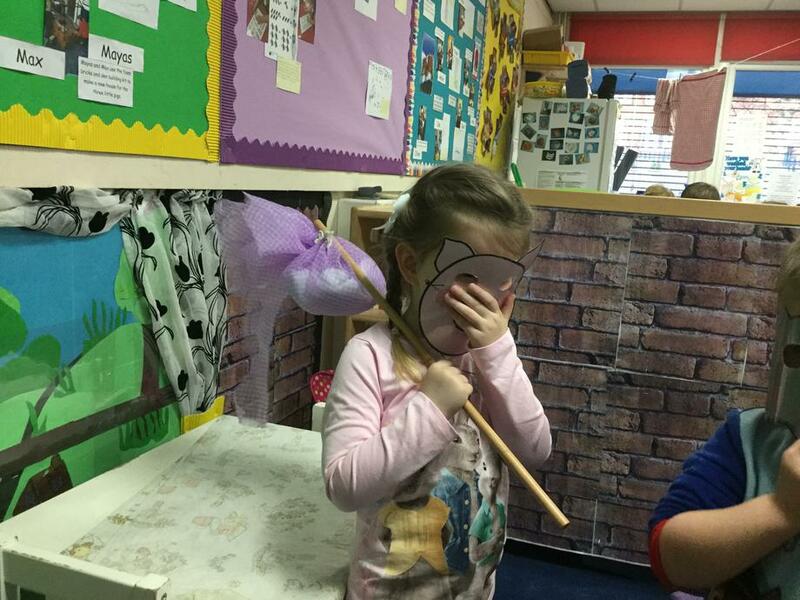 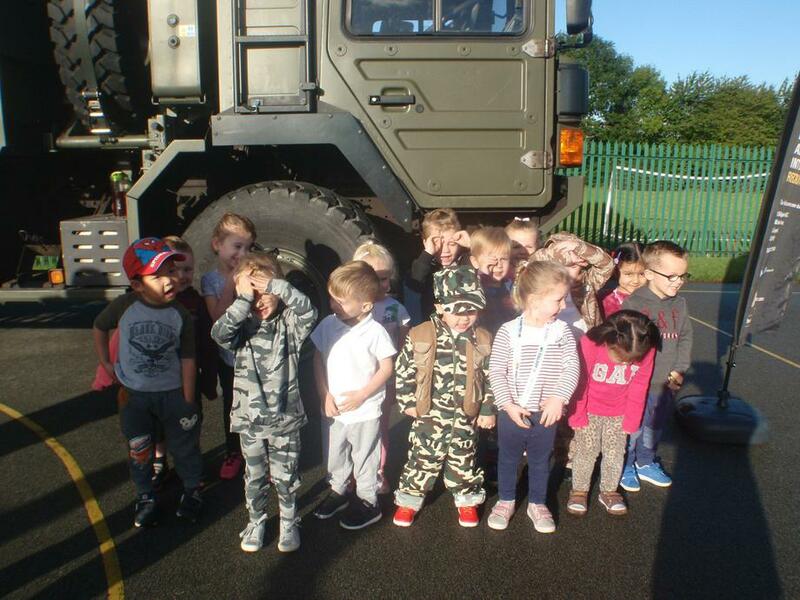 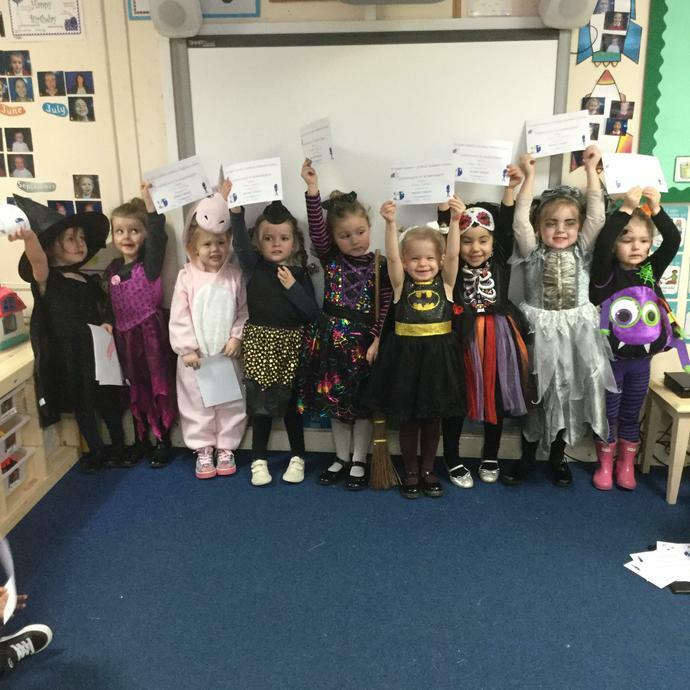 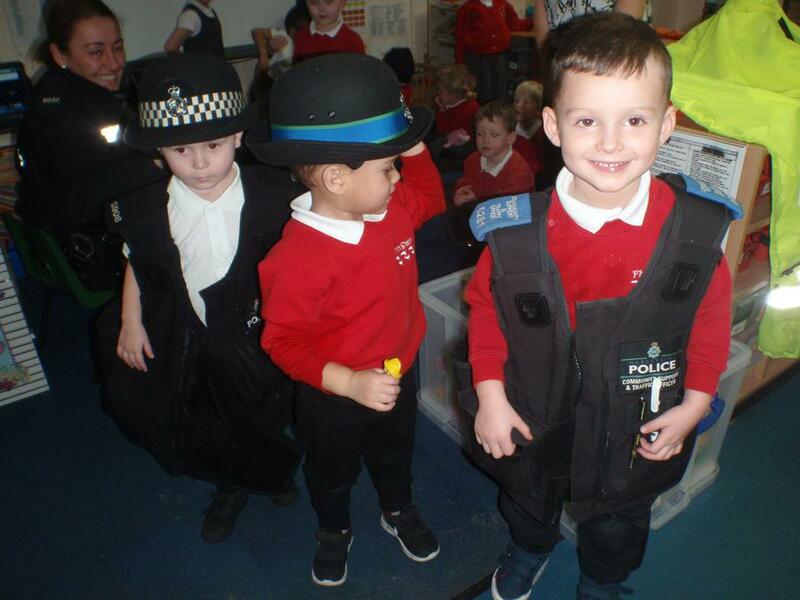 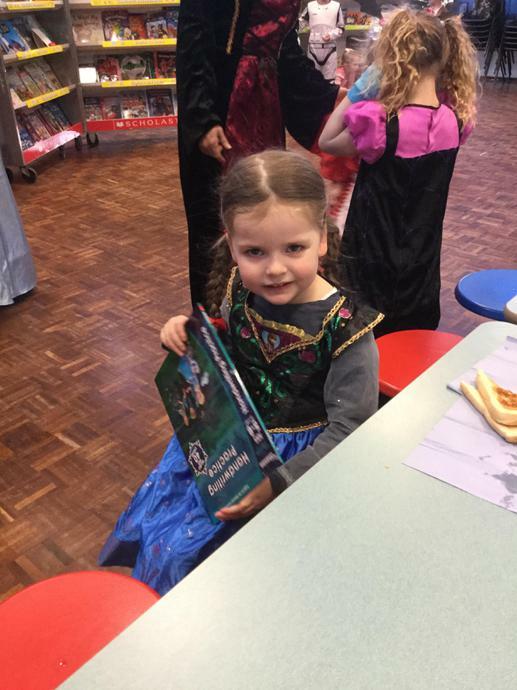 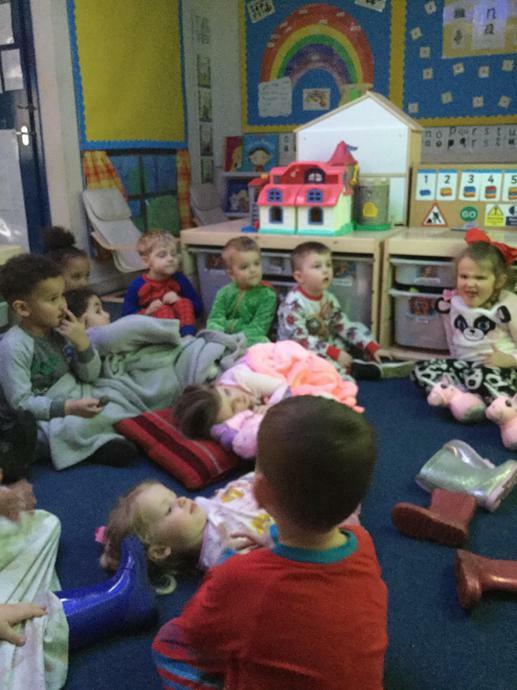 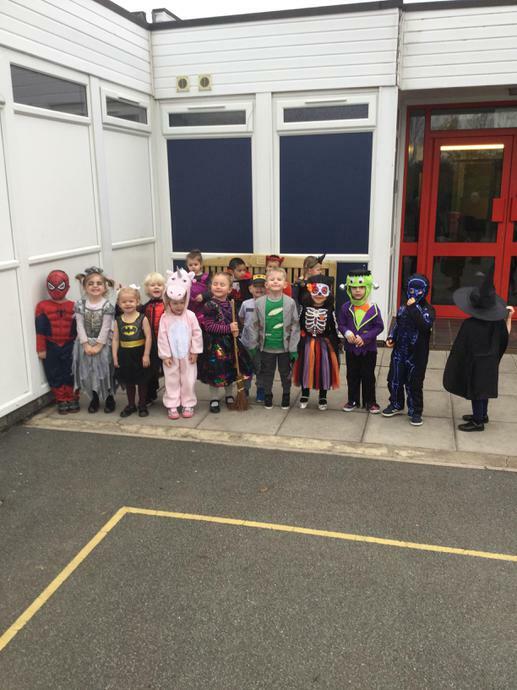 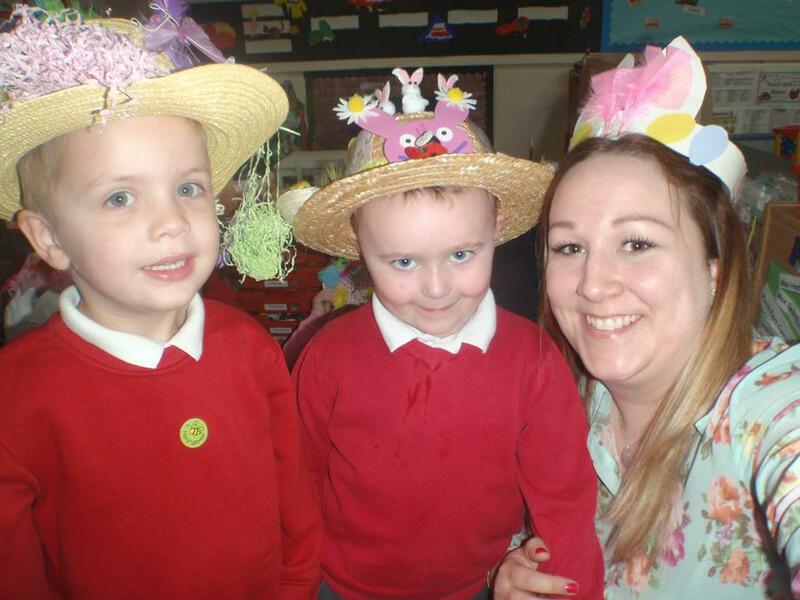 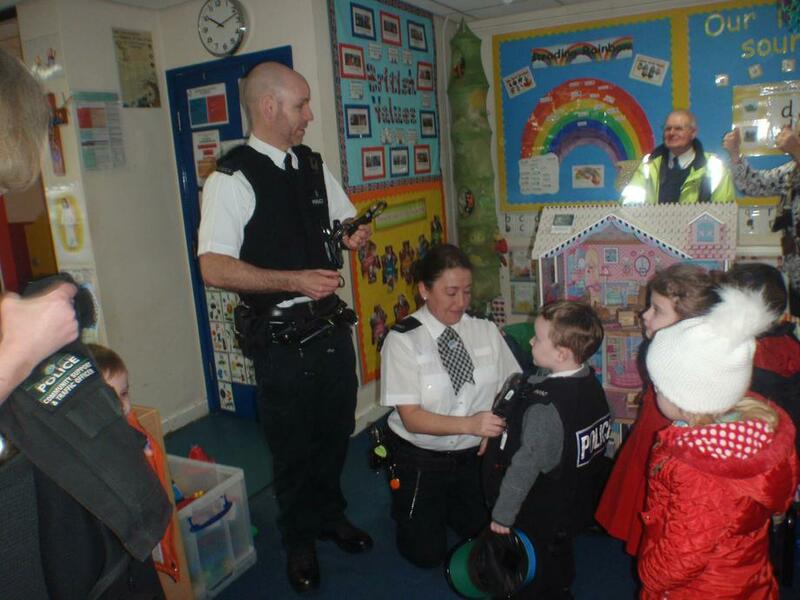 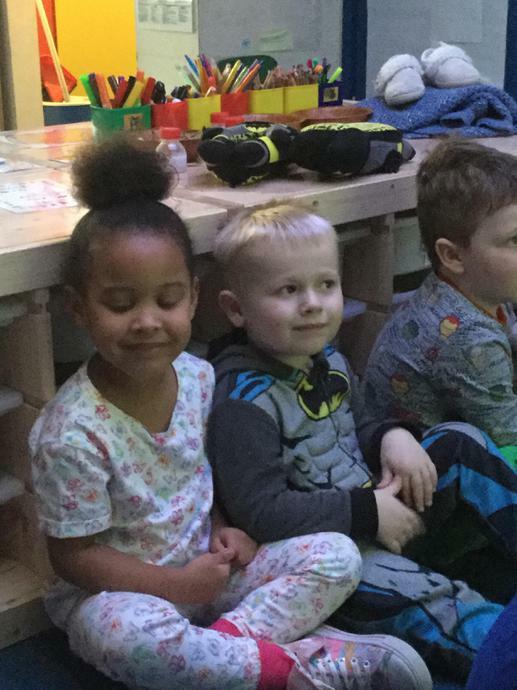 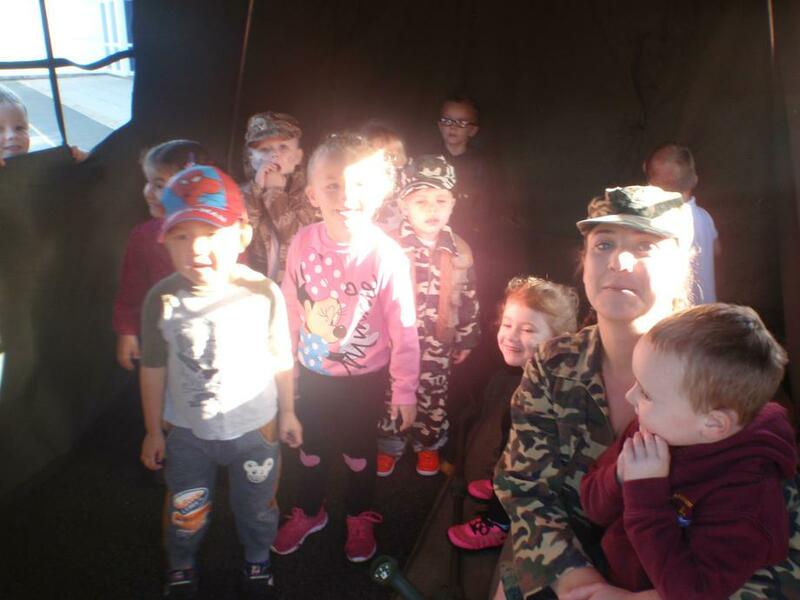 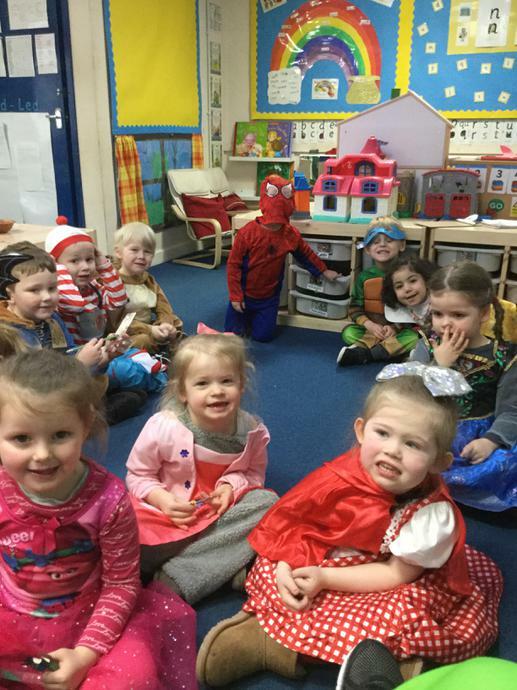 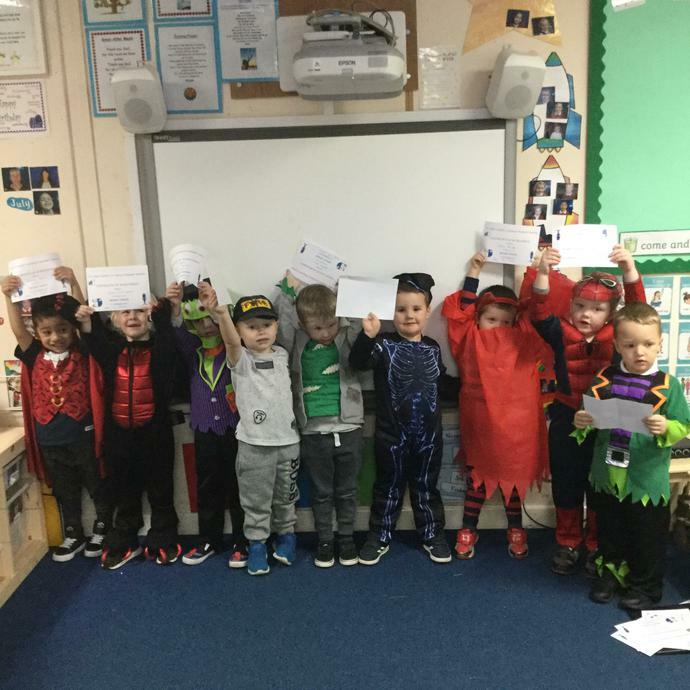 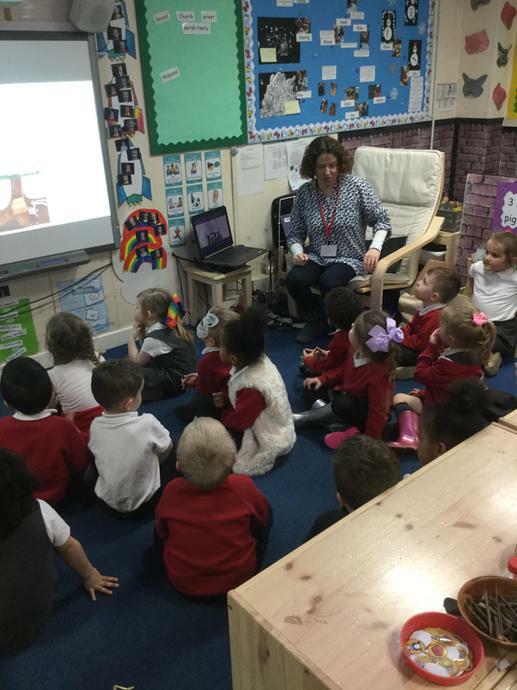 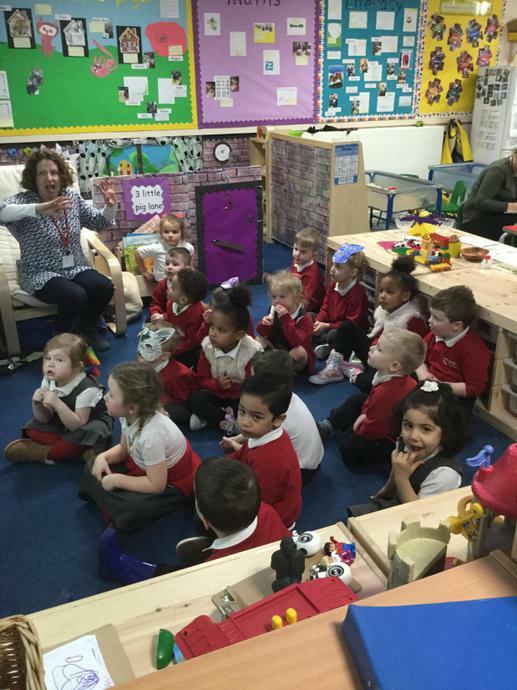 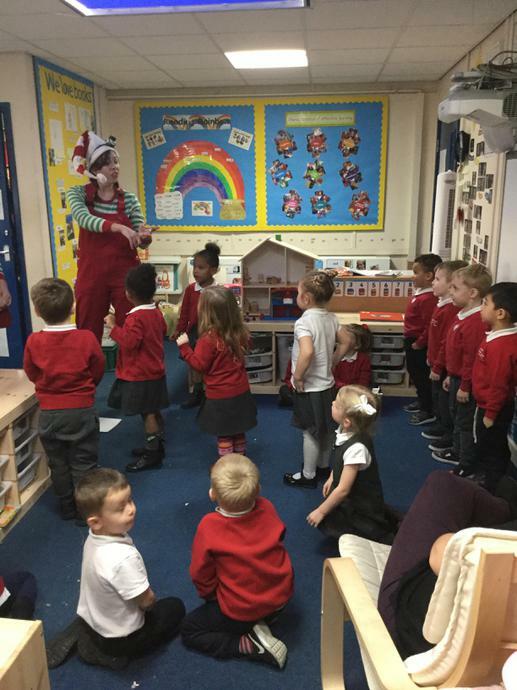 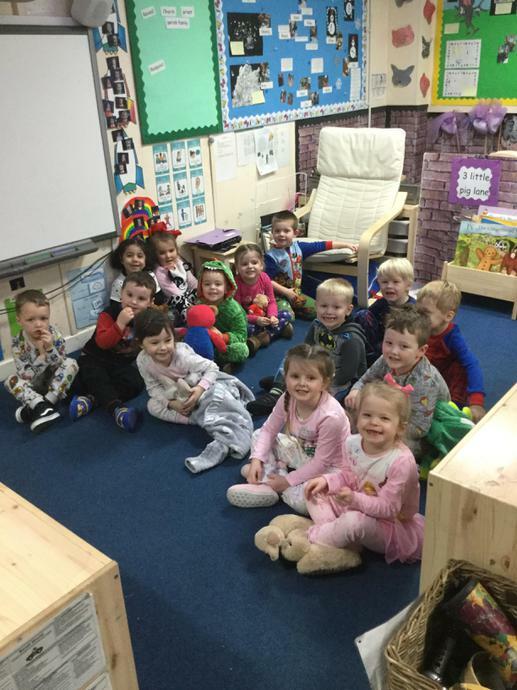 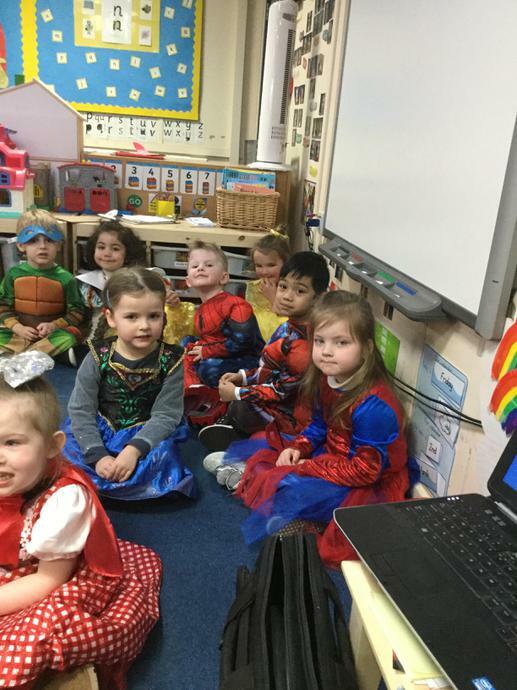 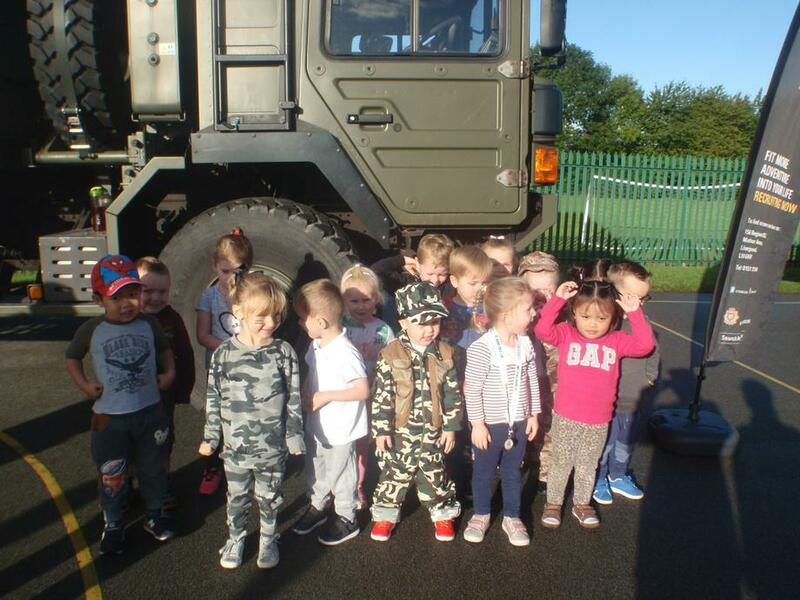 In addition to this the children in first steps had a pyjama day, a dress up day and a great visit by the author Rachel Lyon. 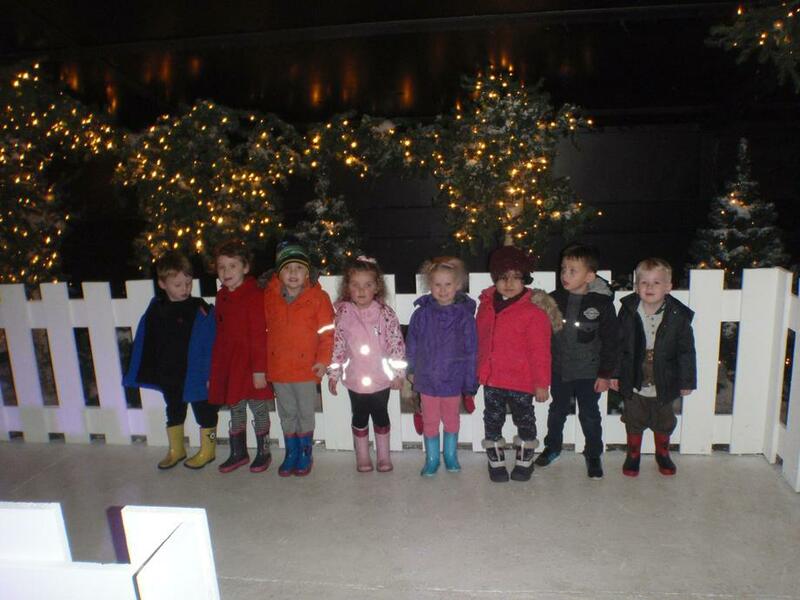 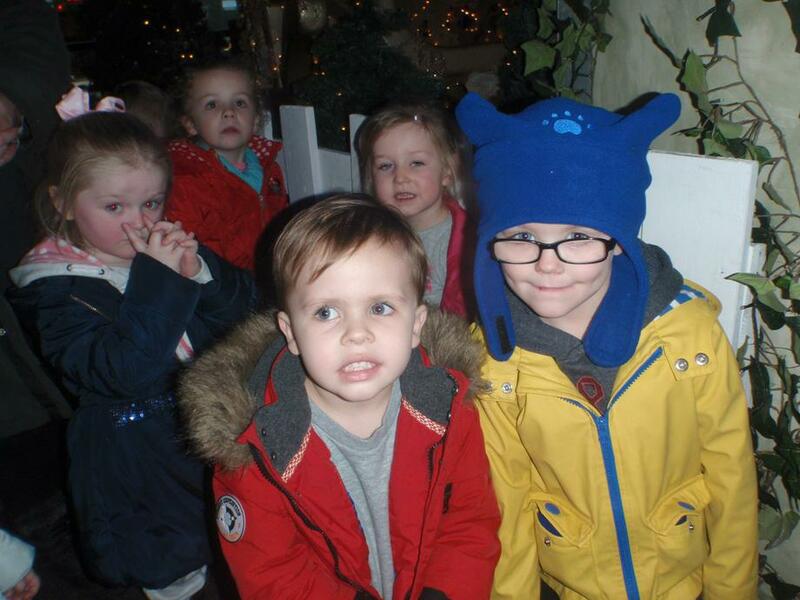 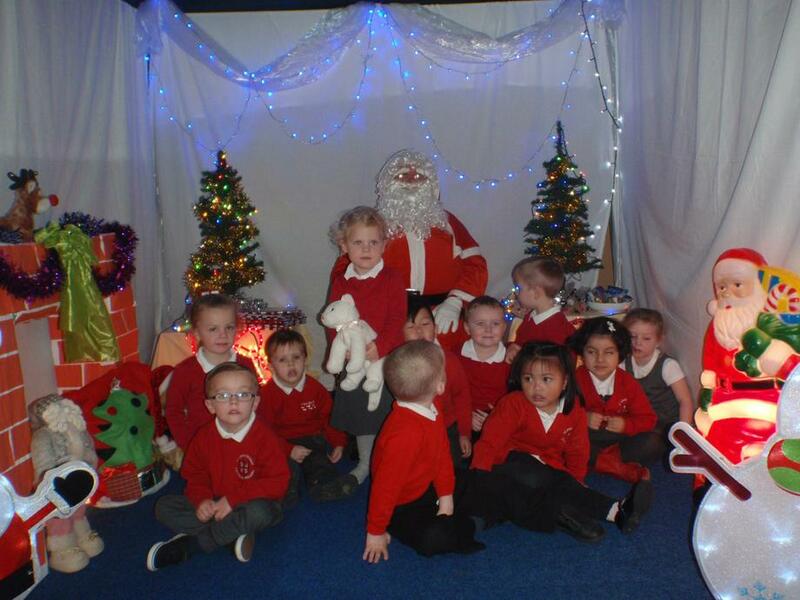 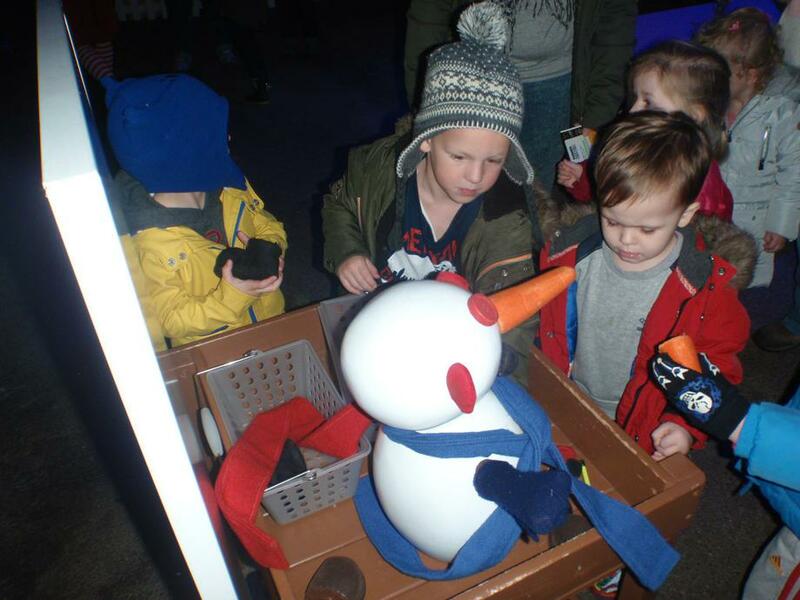 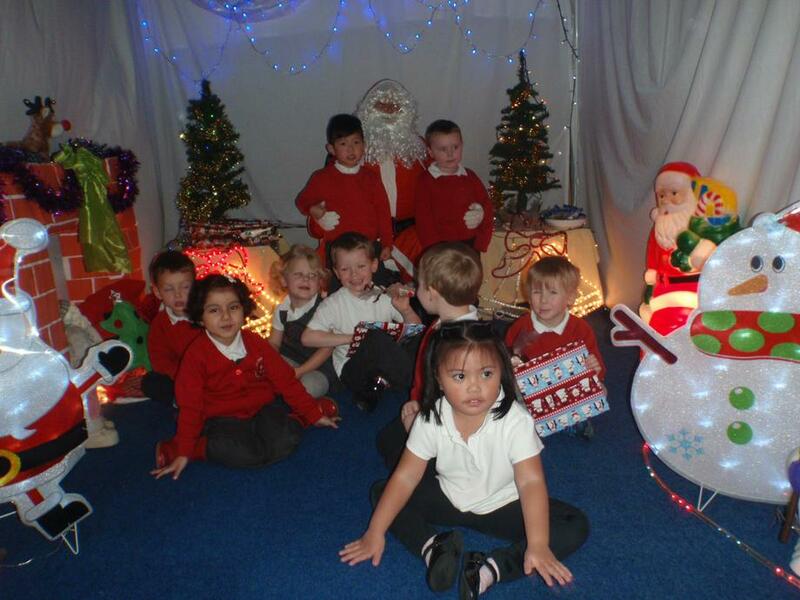 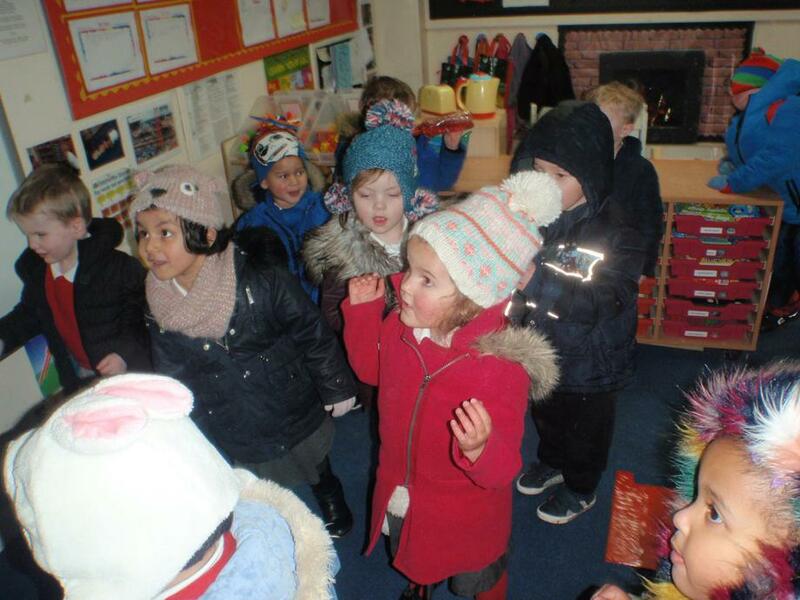 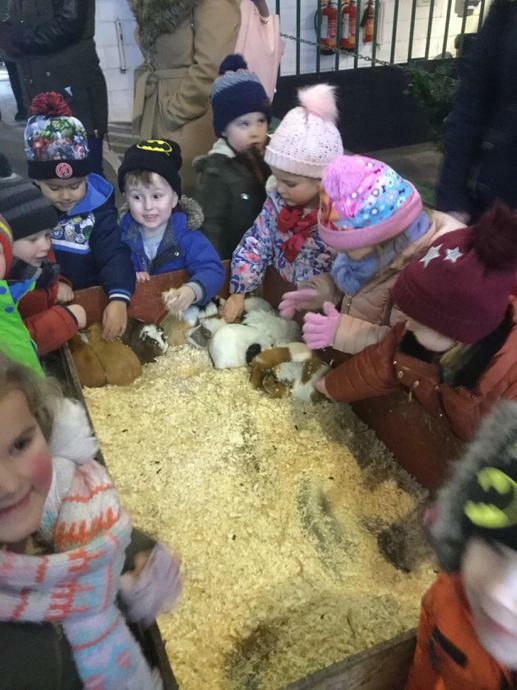 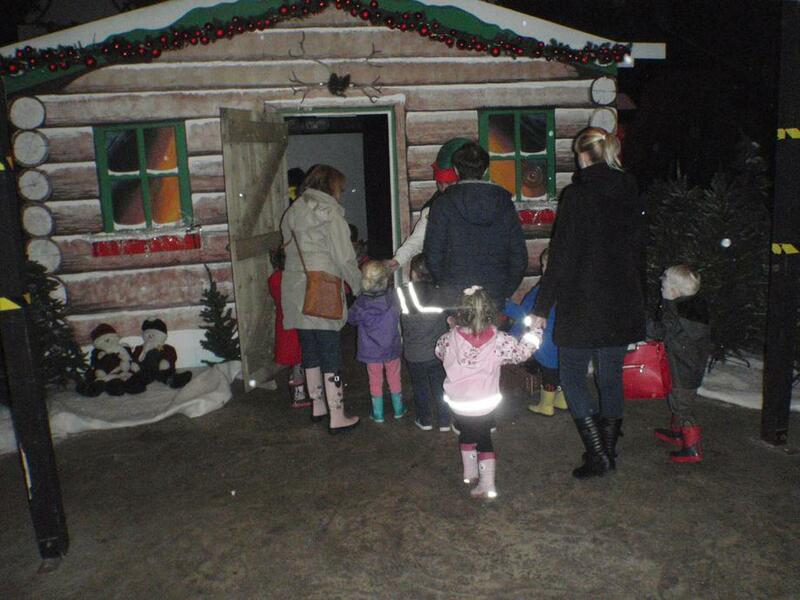 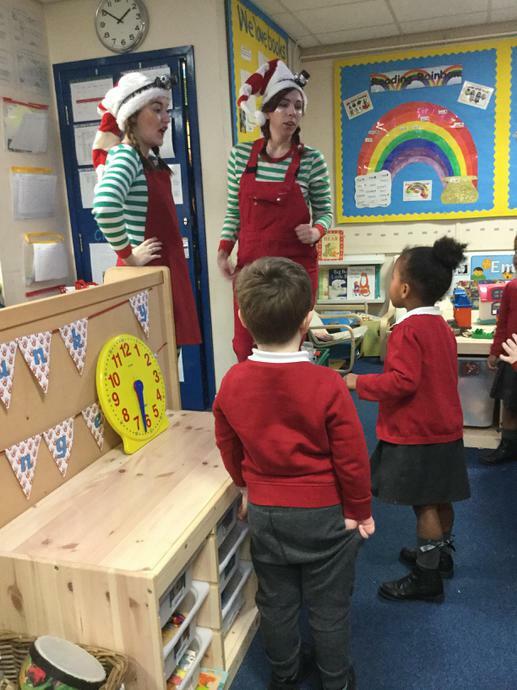 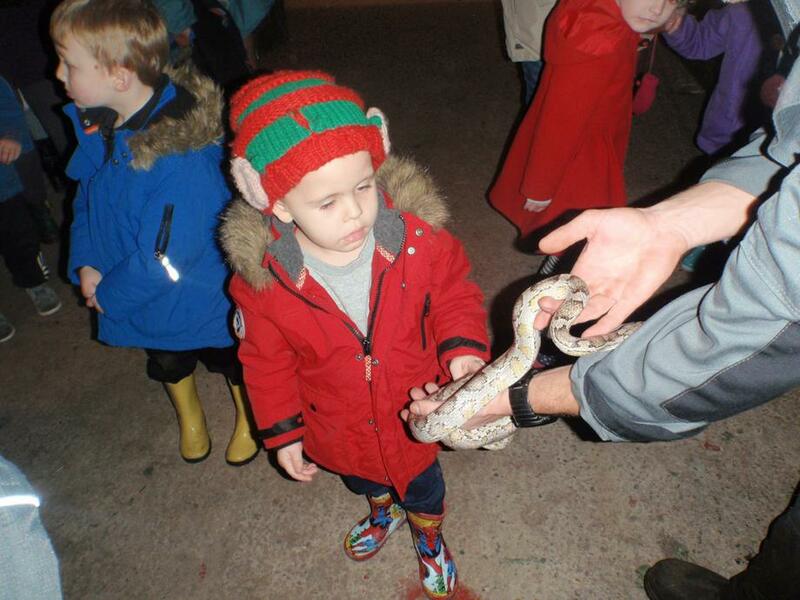 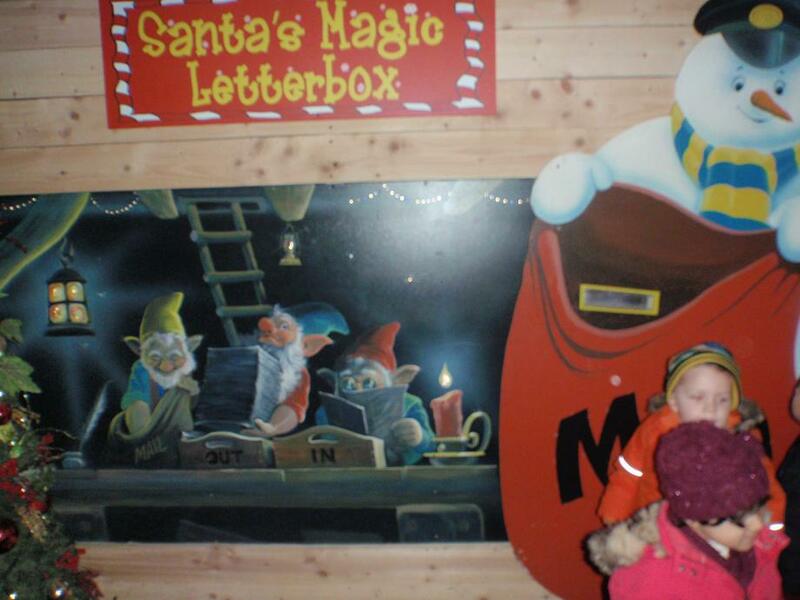 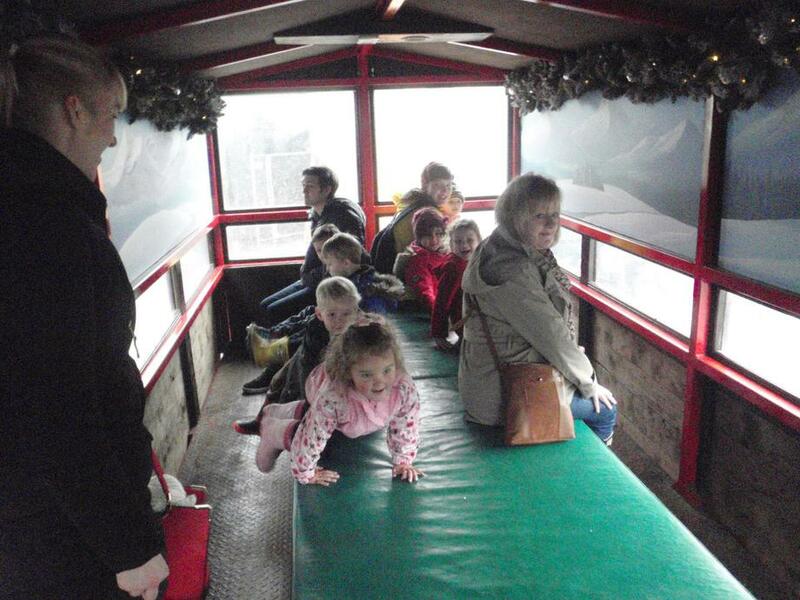 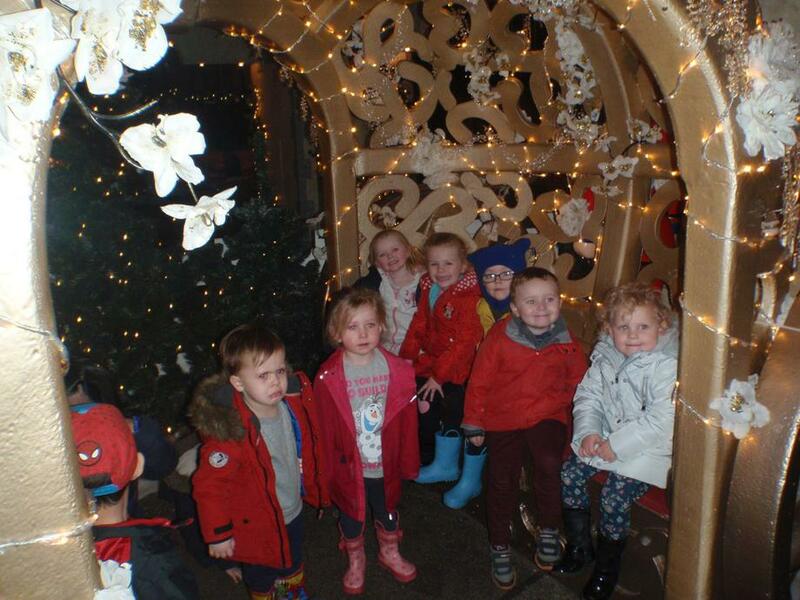 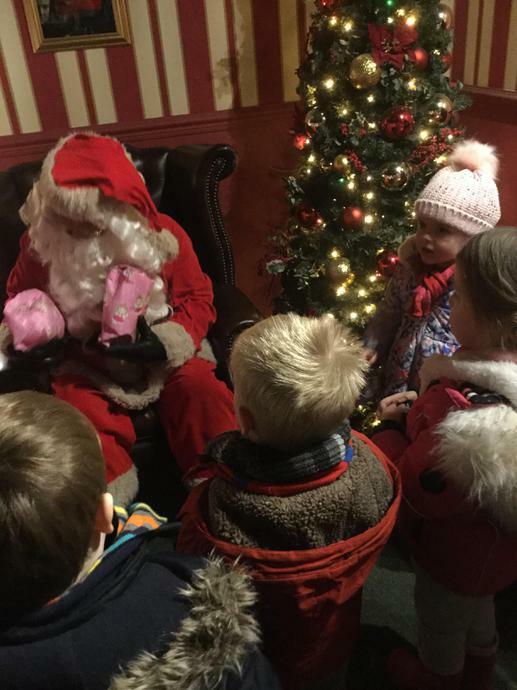 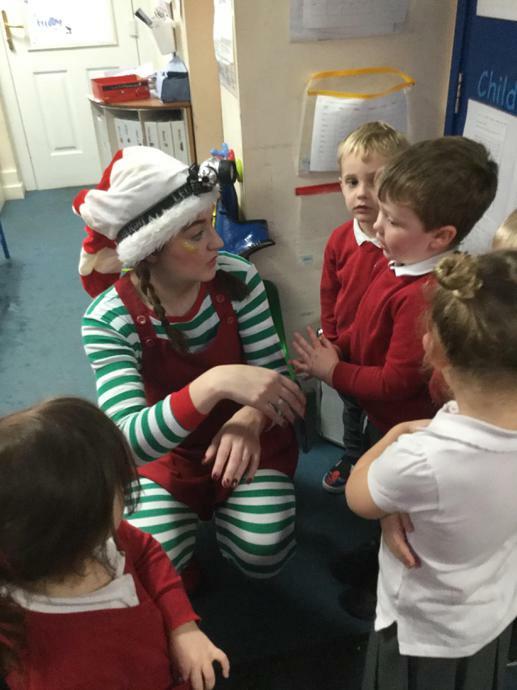 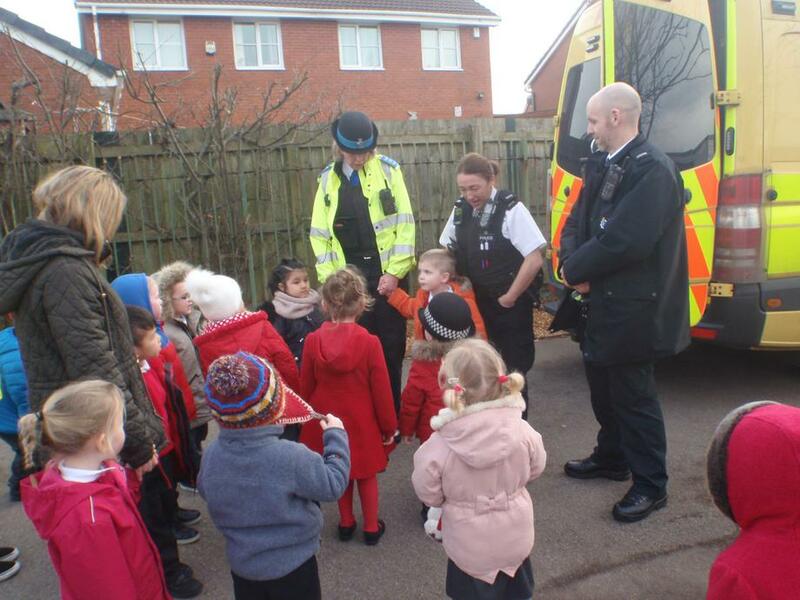 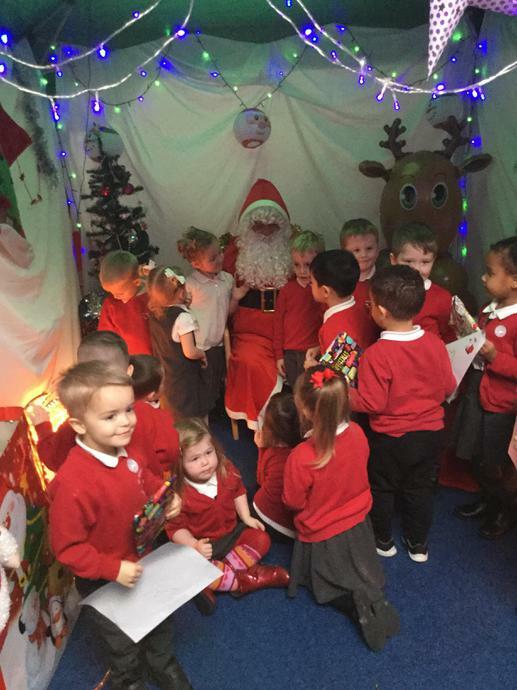 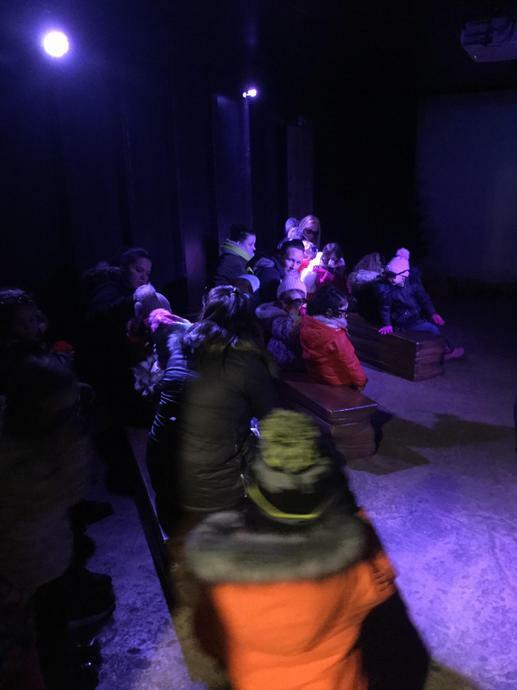 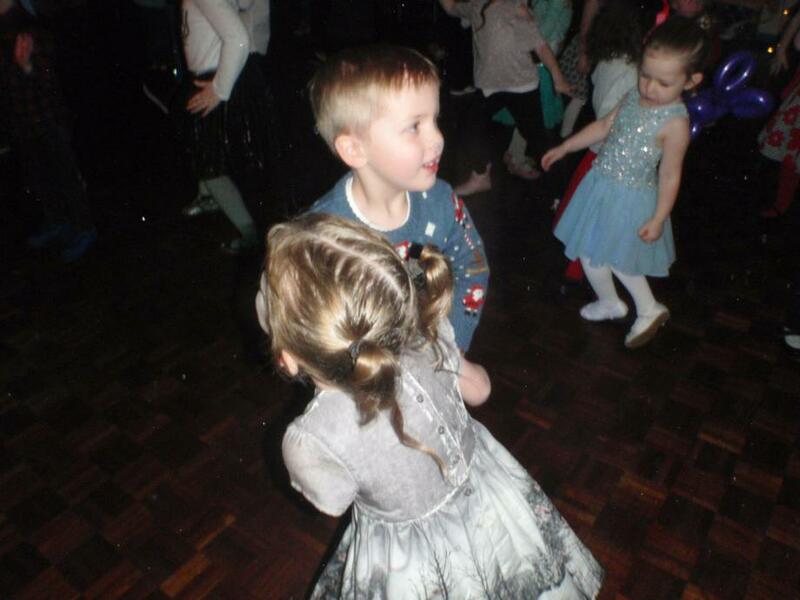 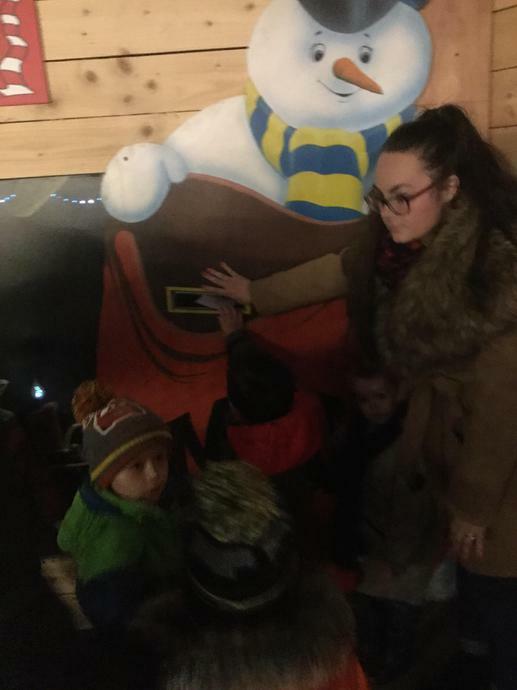 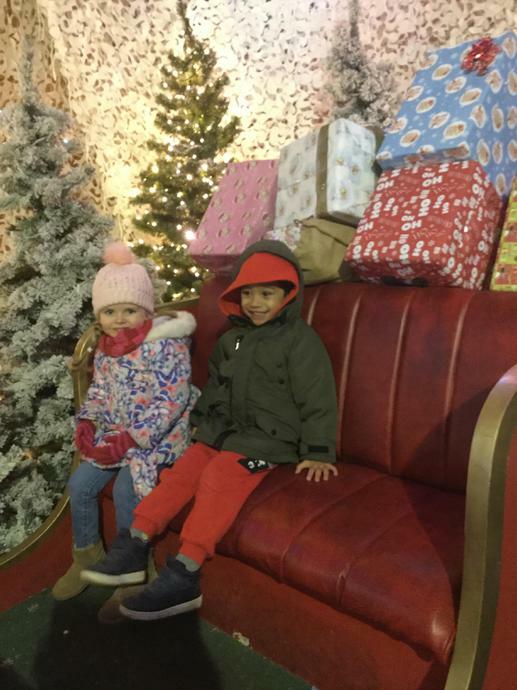 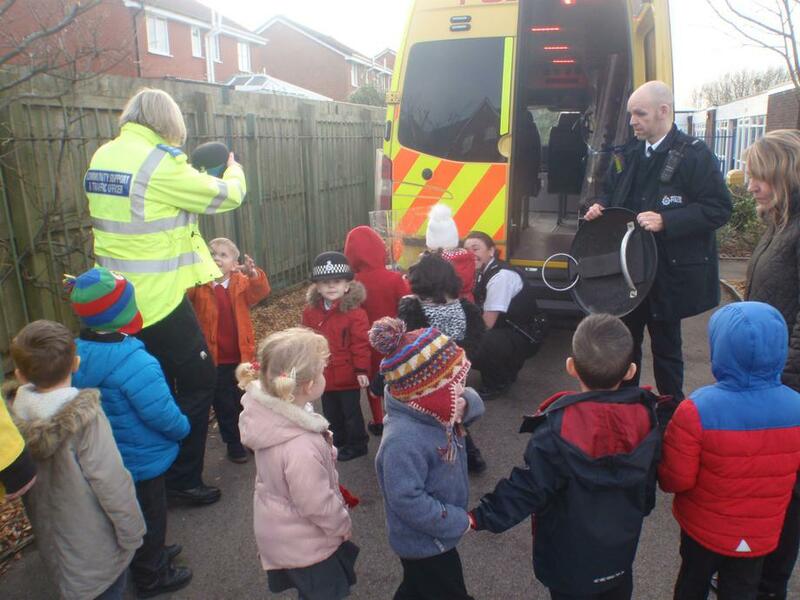 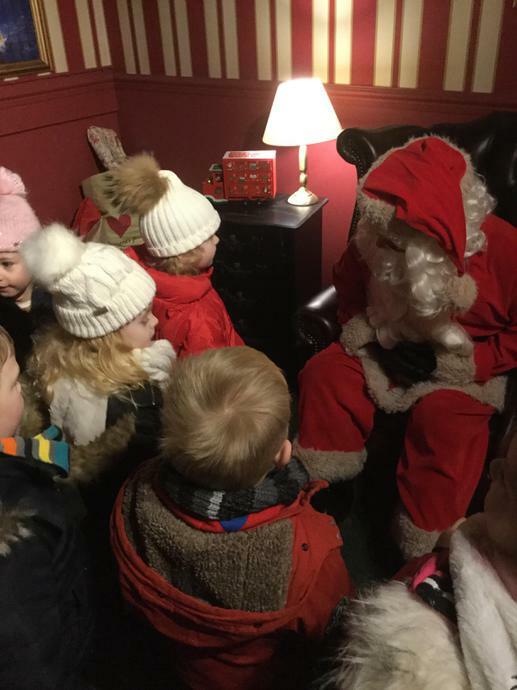 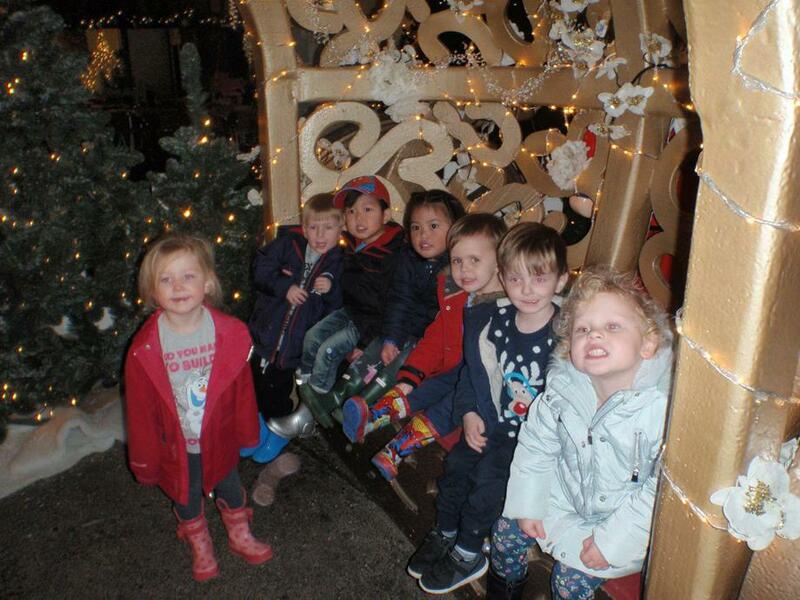 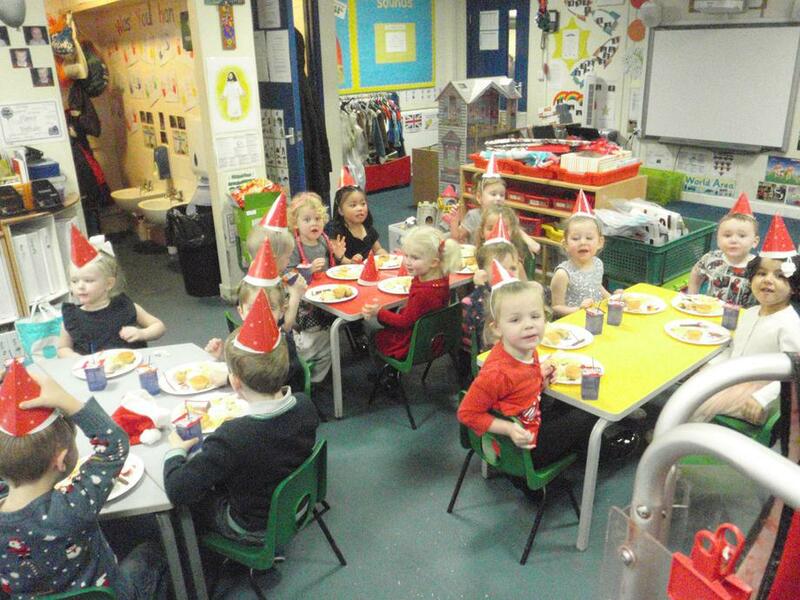 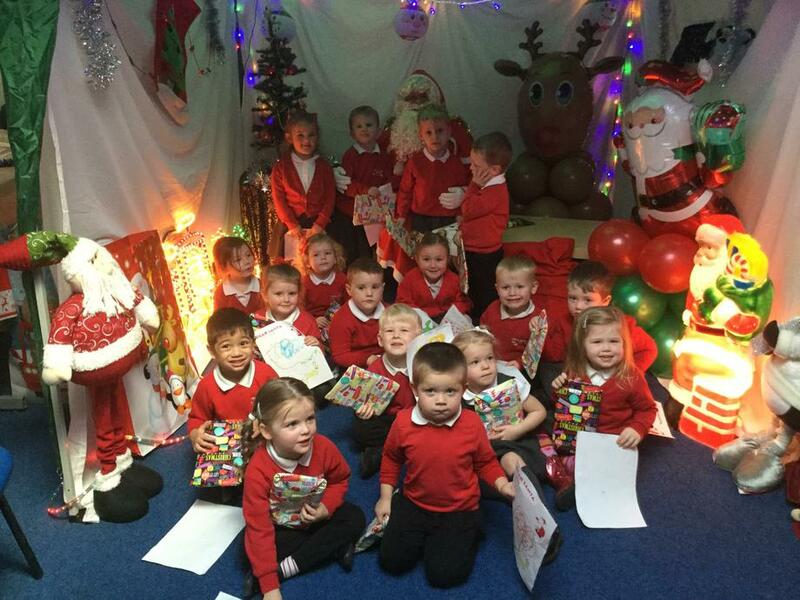 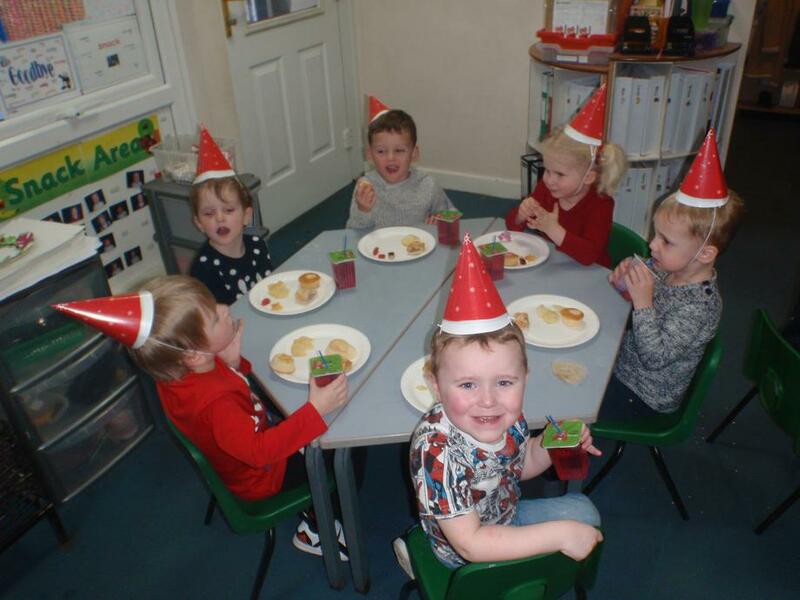 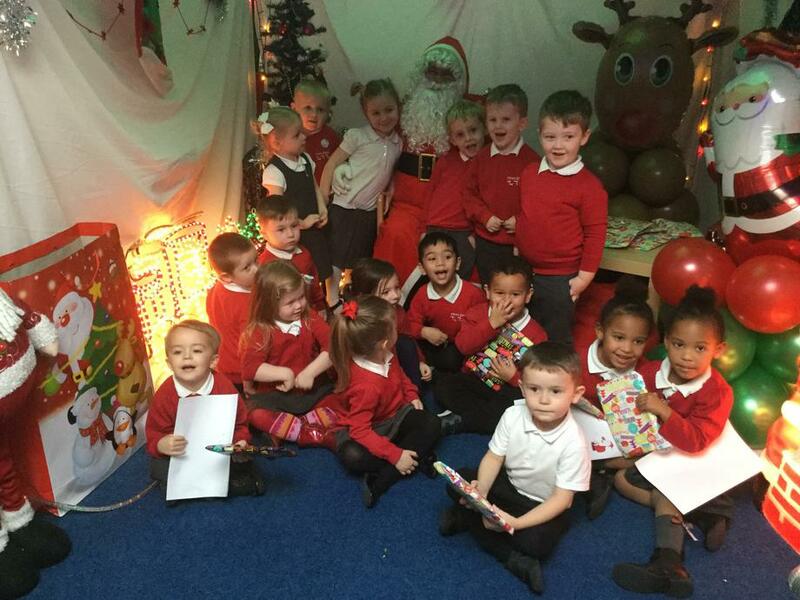 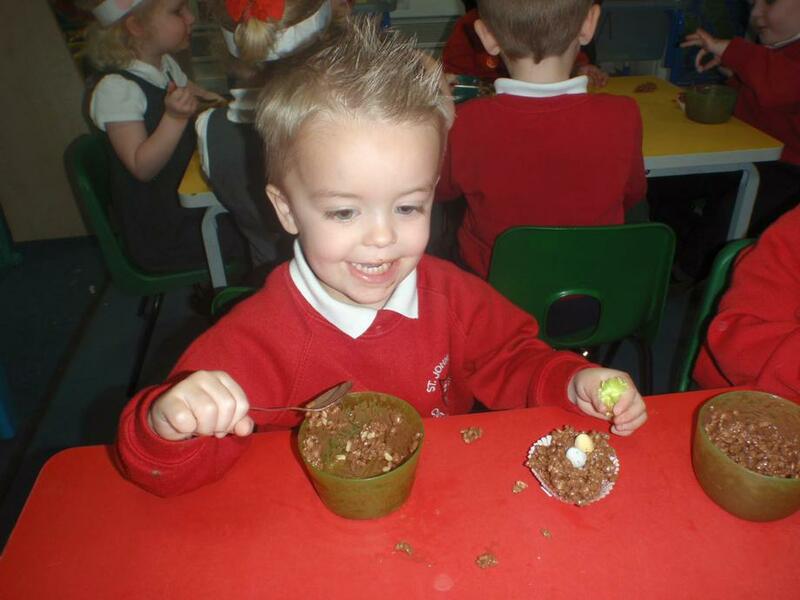 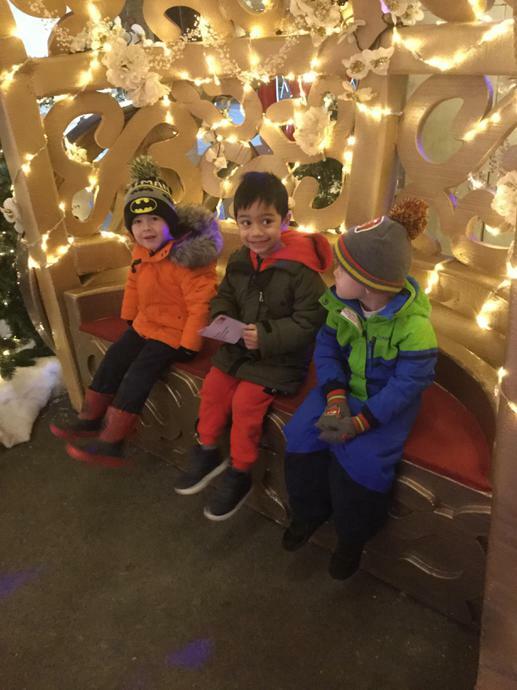 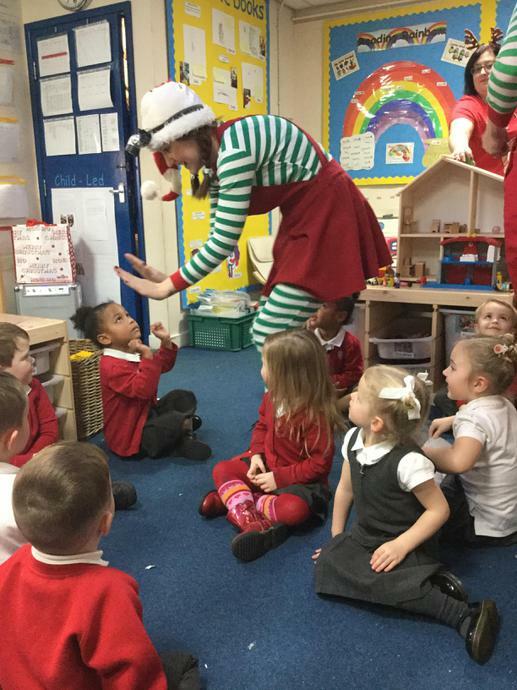 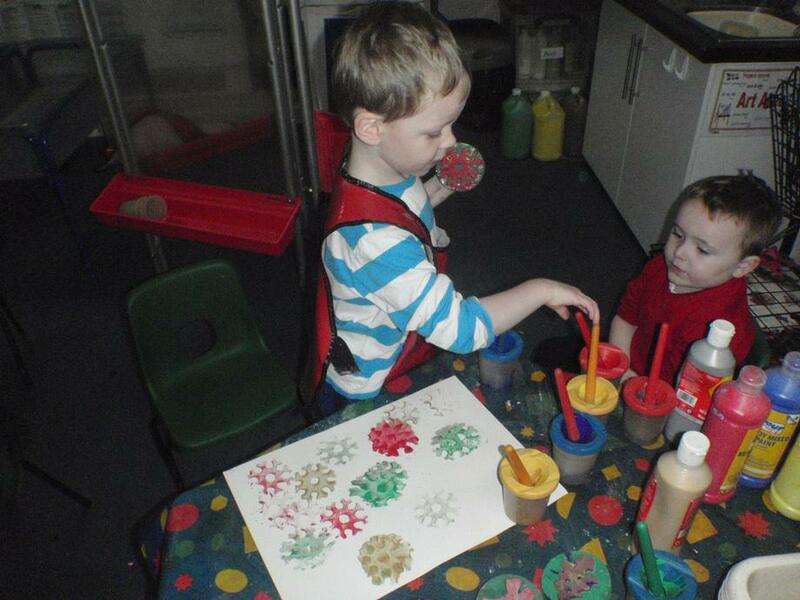 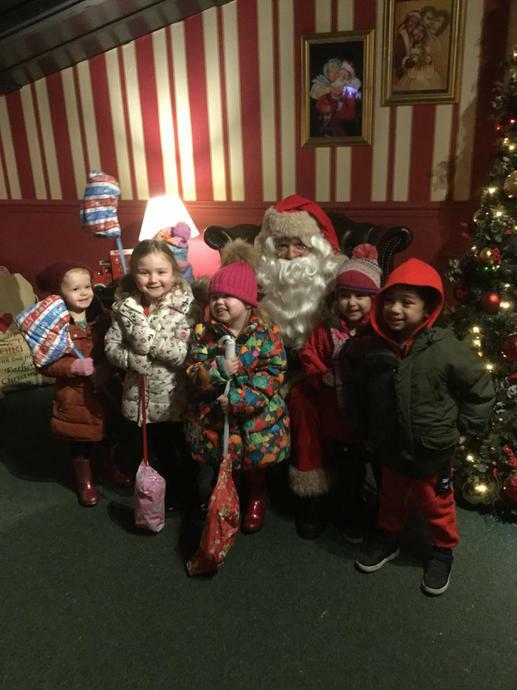 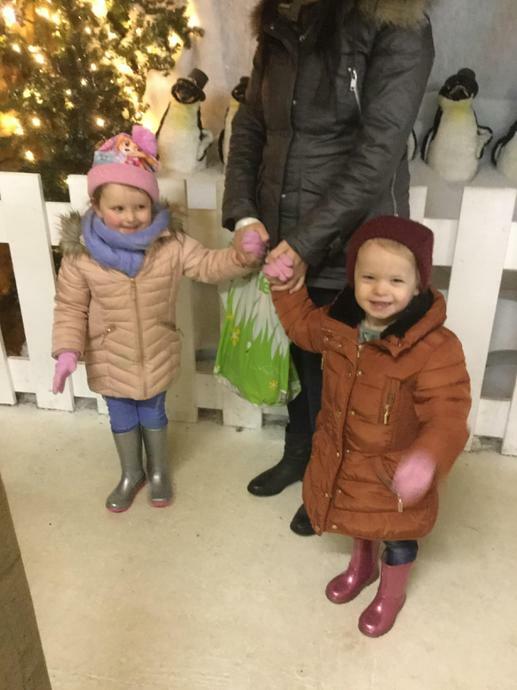 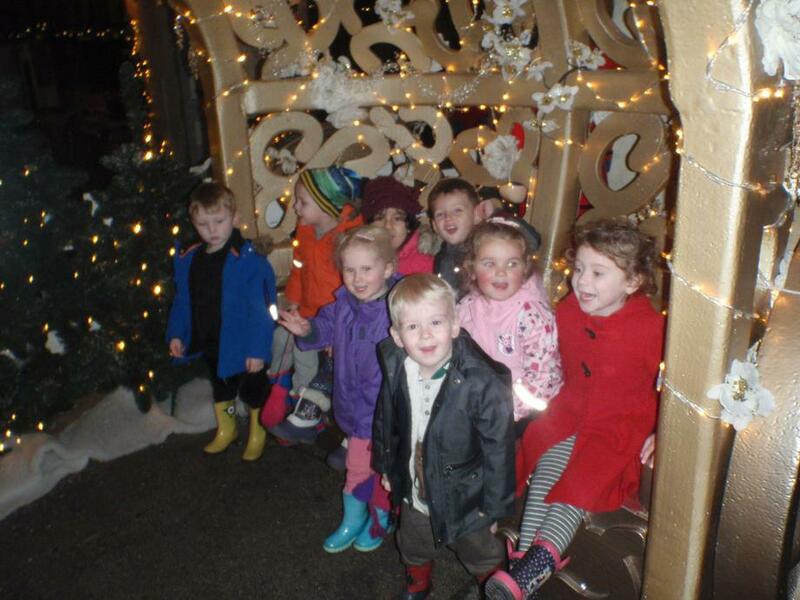 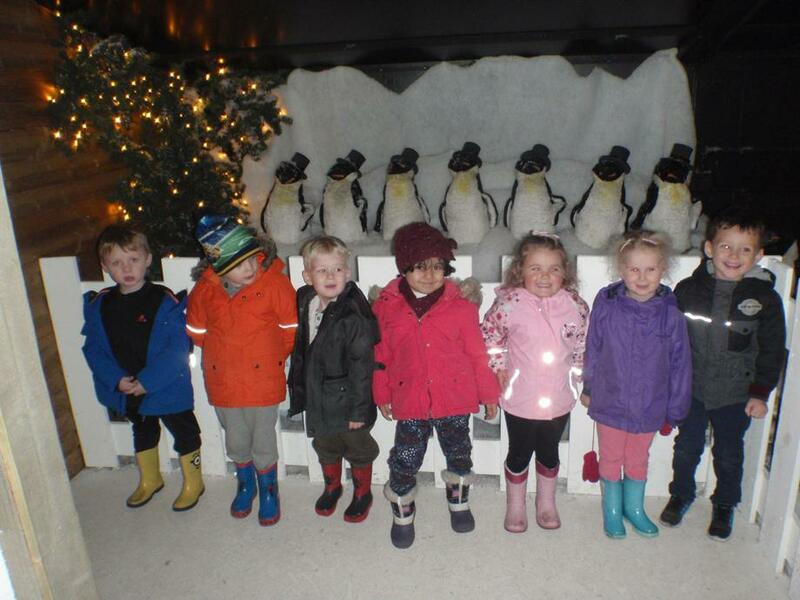 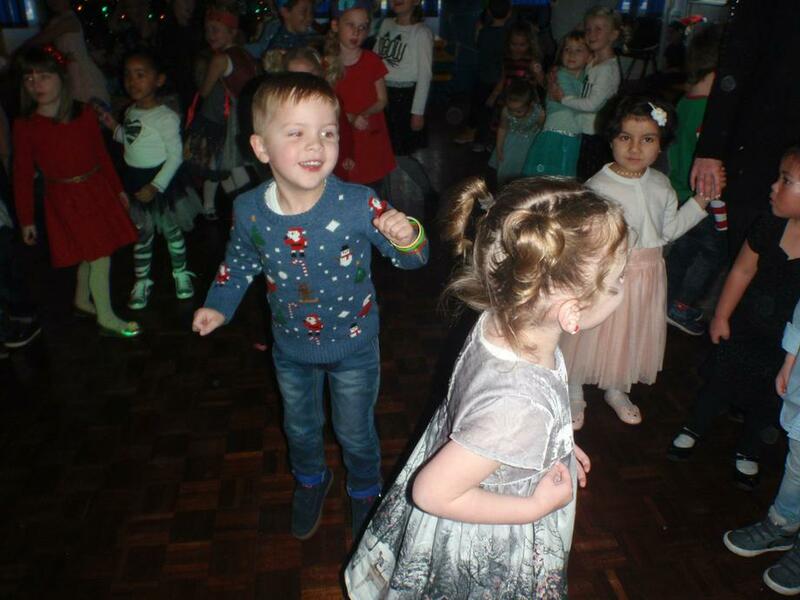 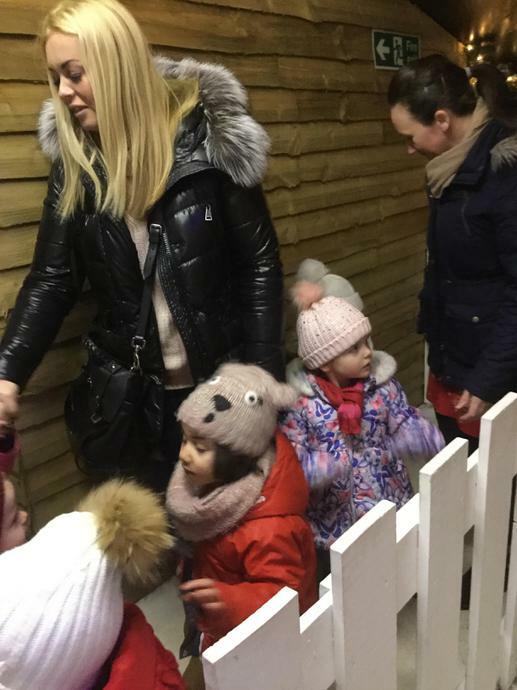 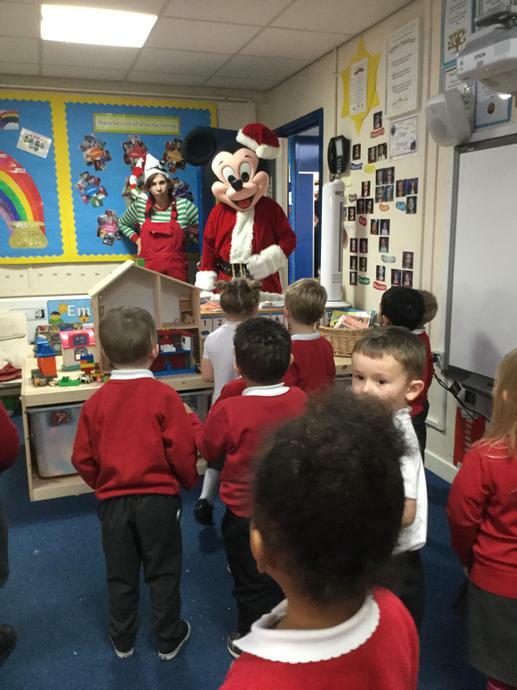 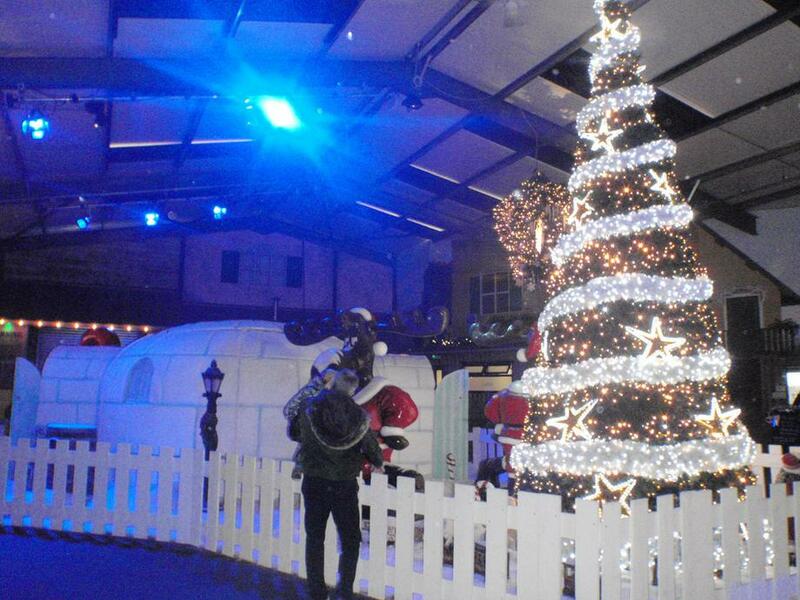 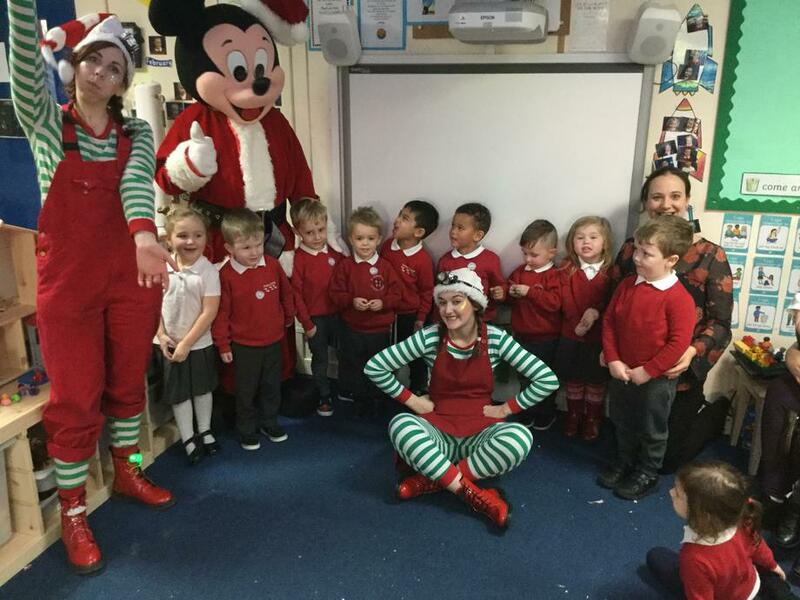 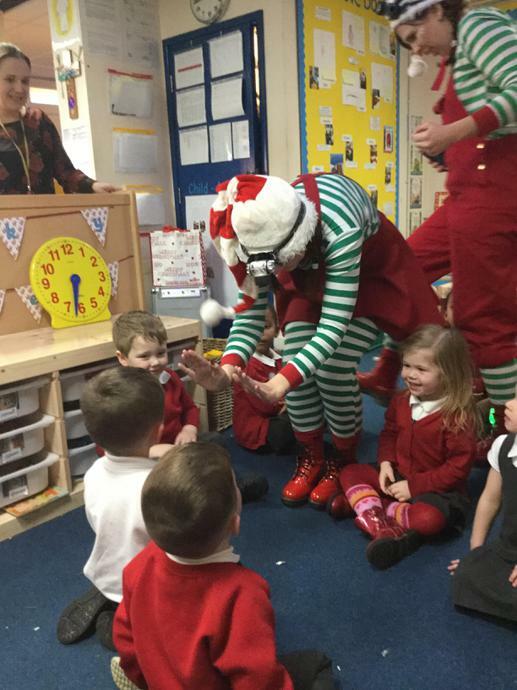 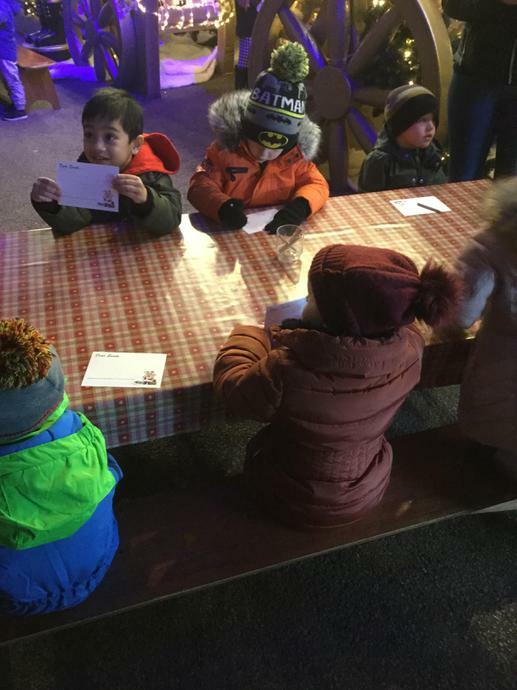 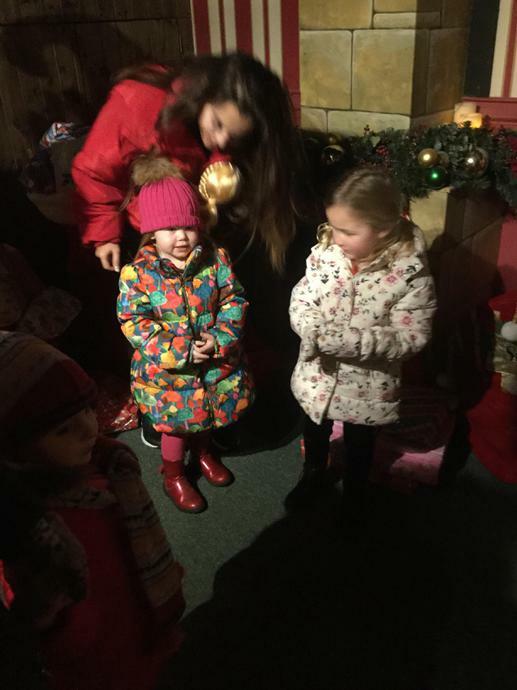 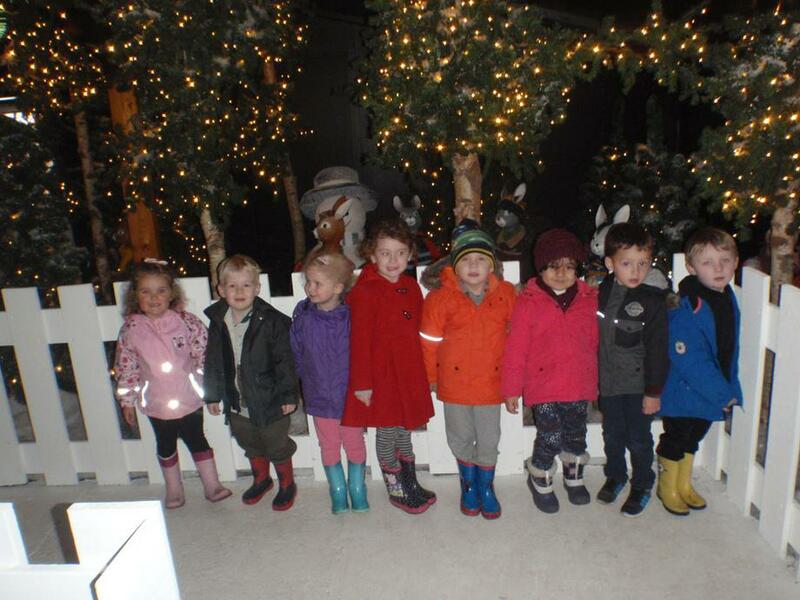 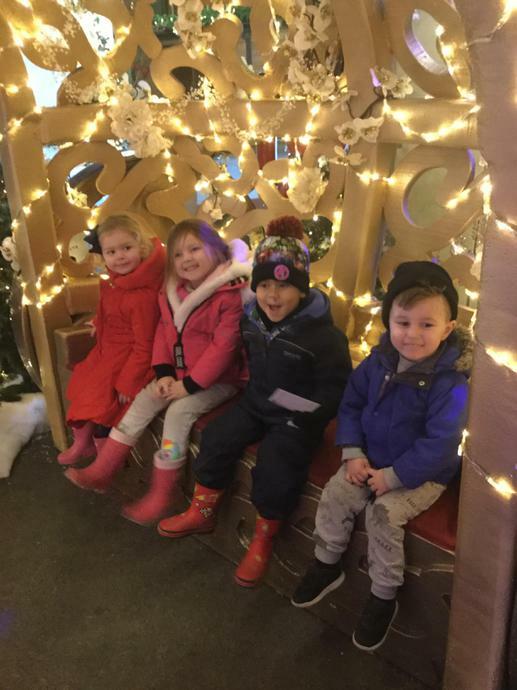 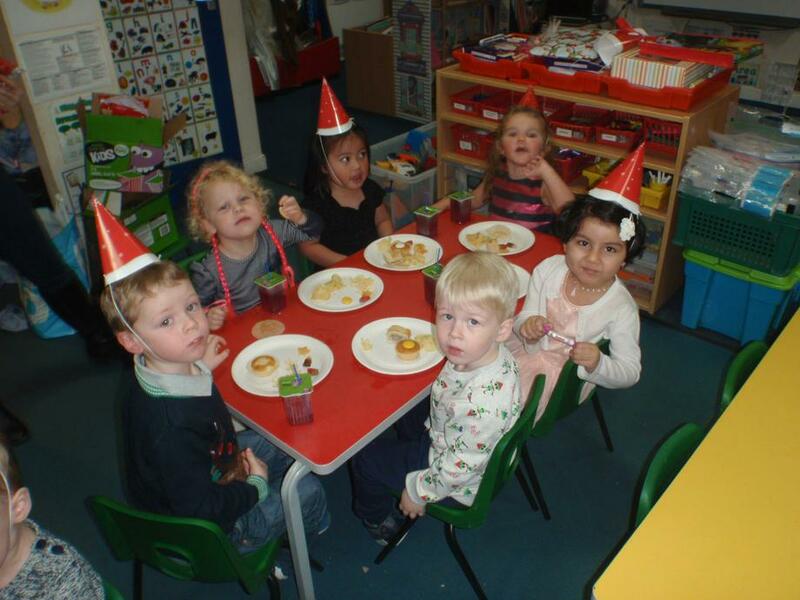 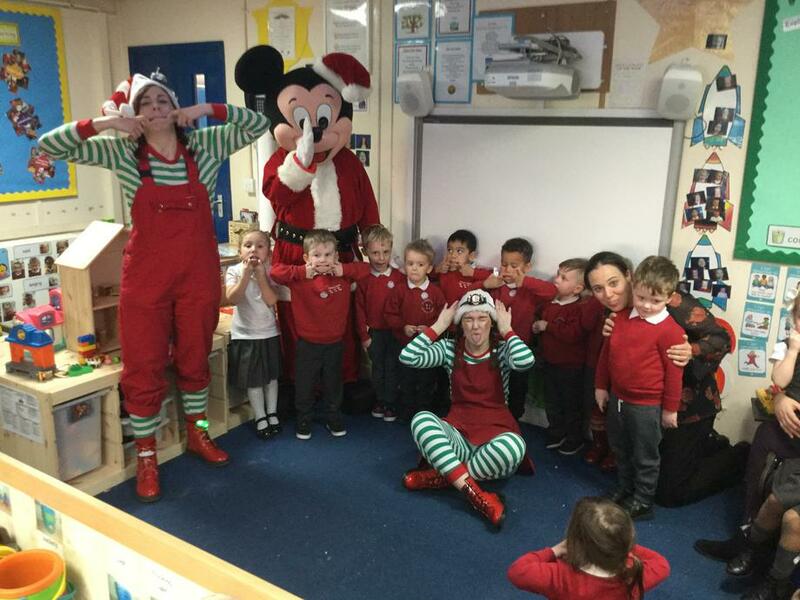 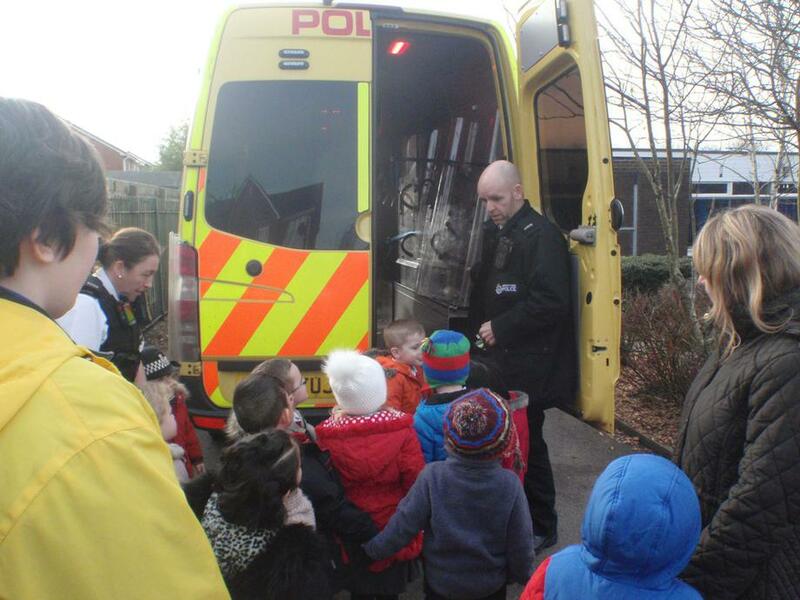 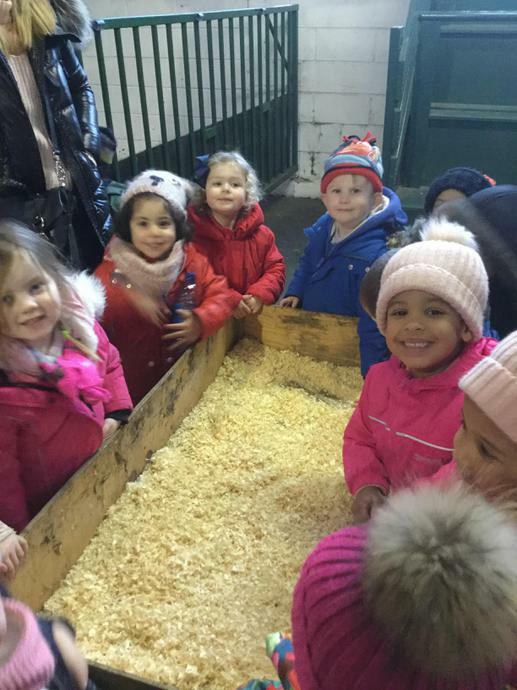 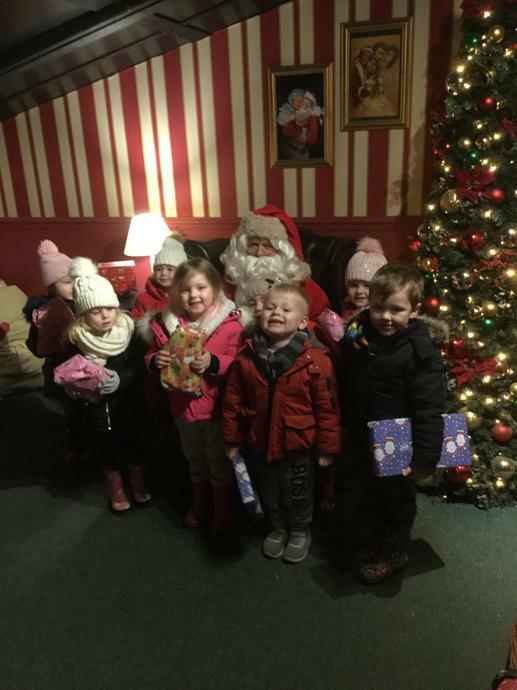 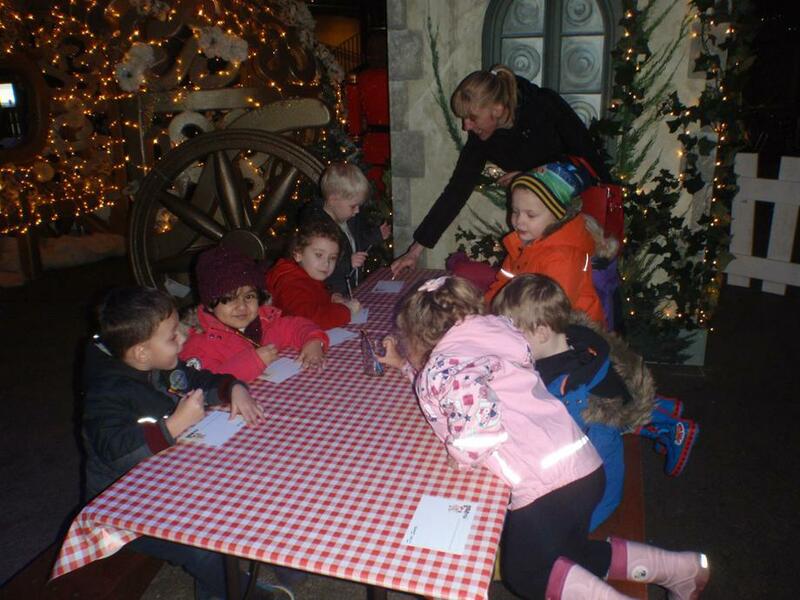 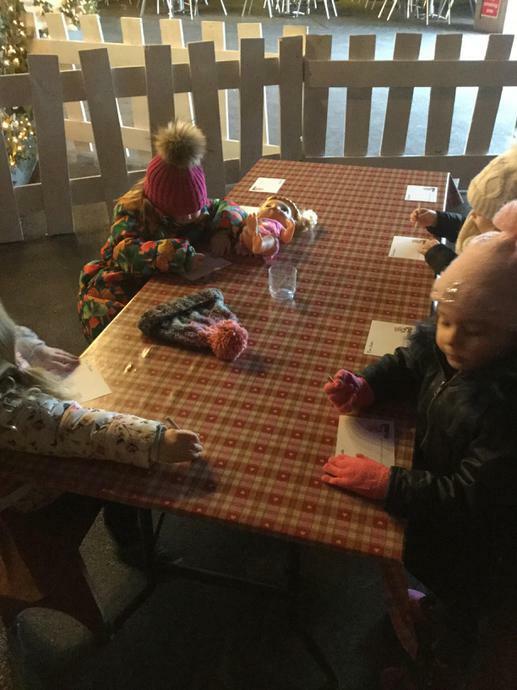 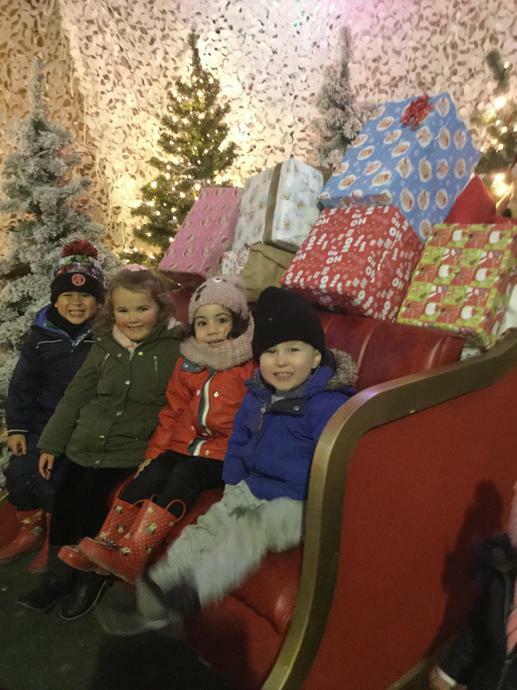 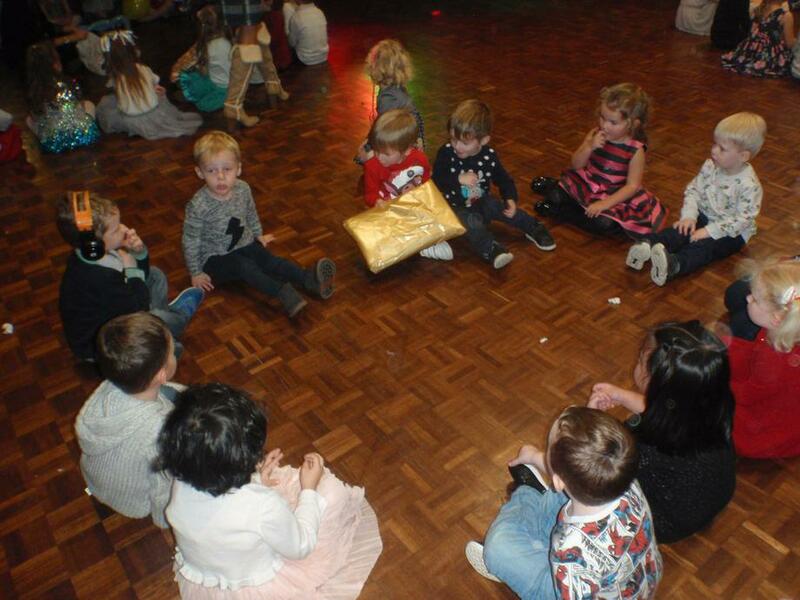 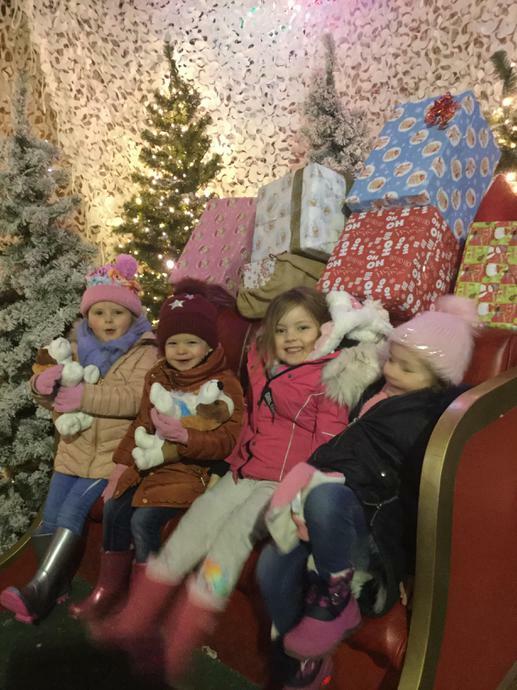 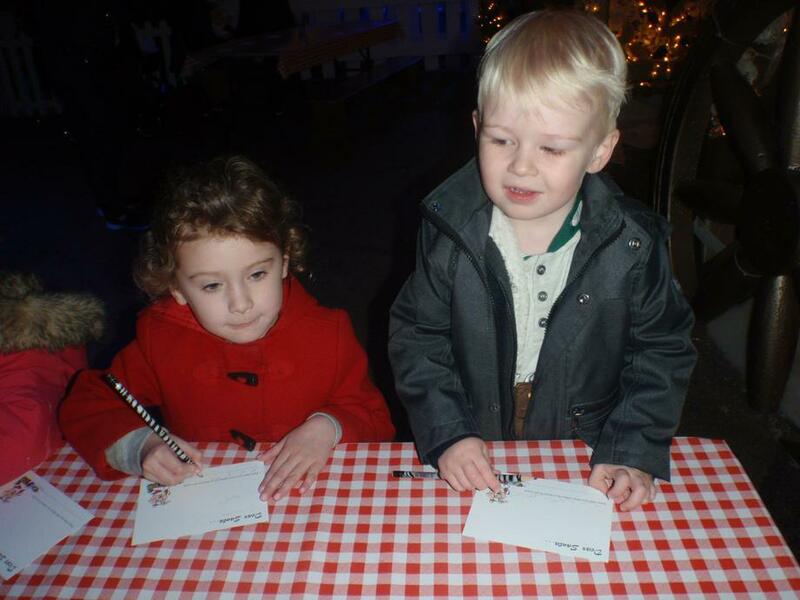 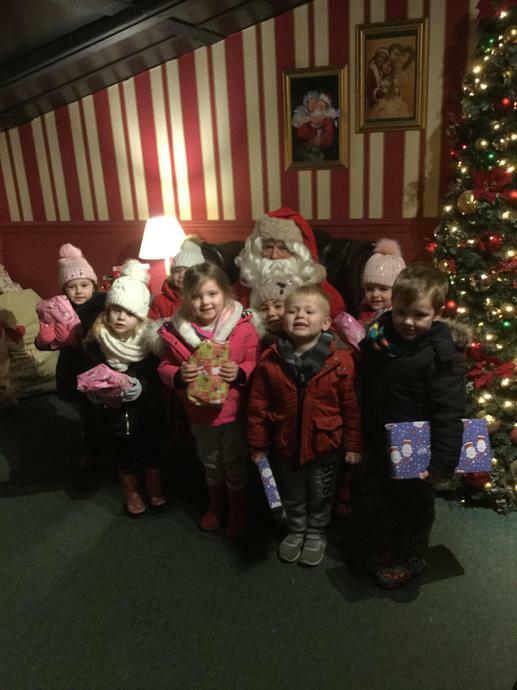 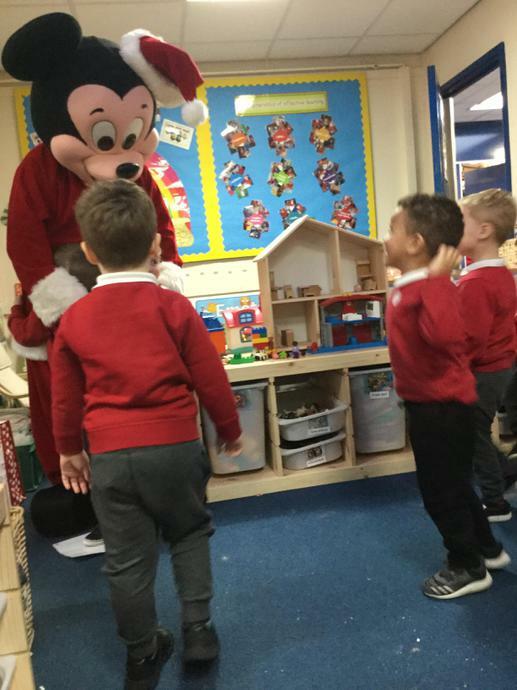 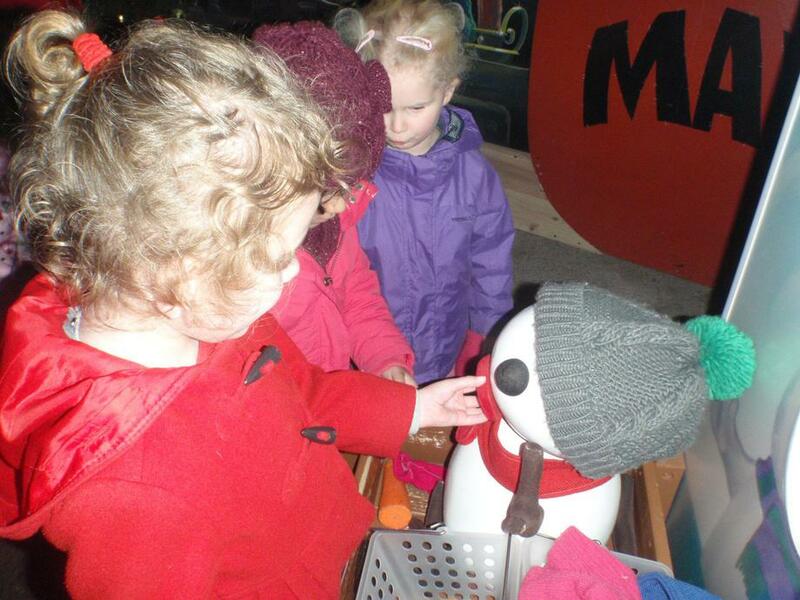 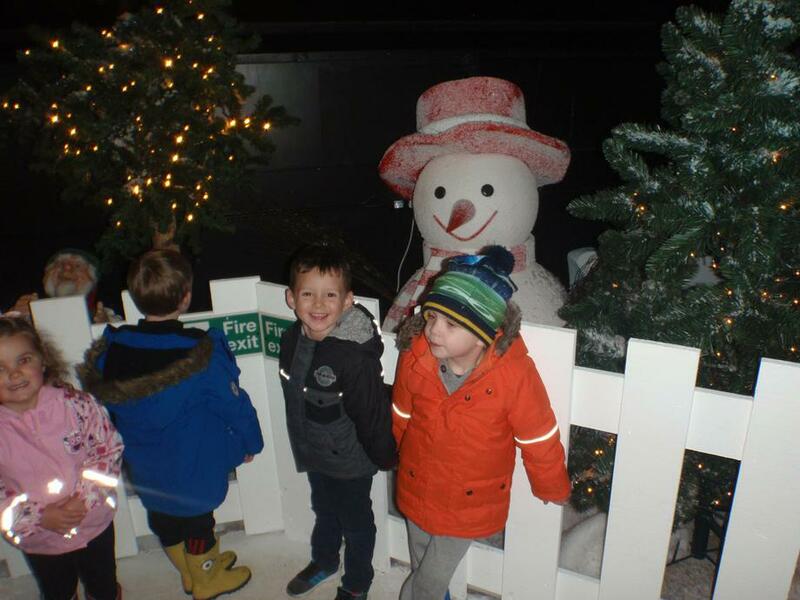 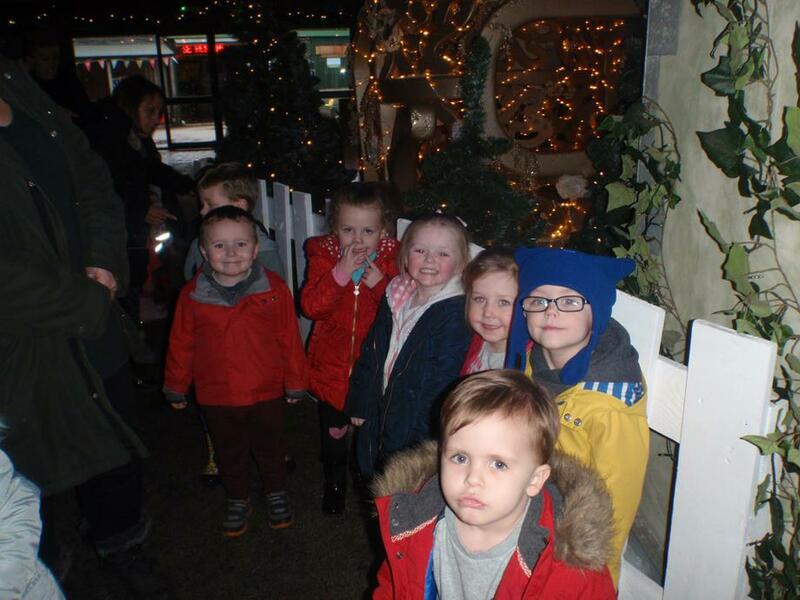 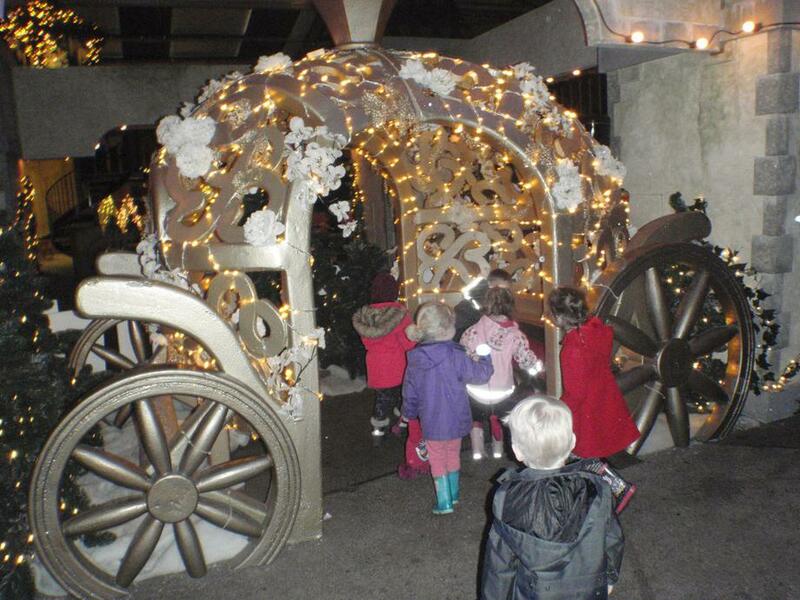 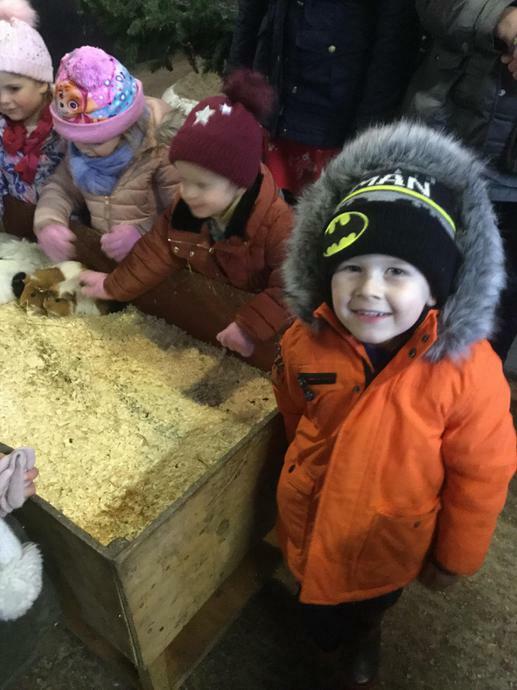 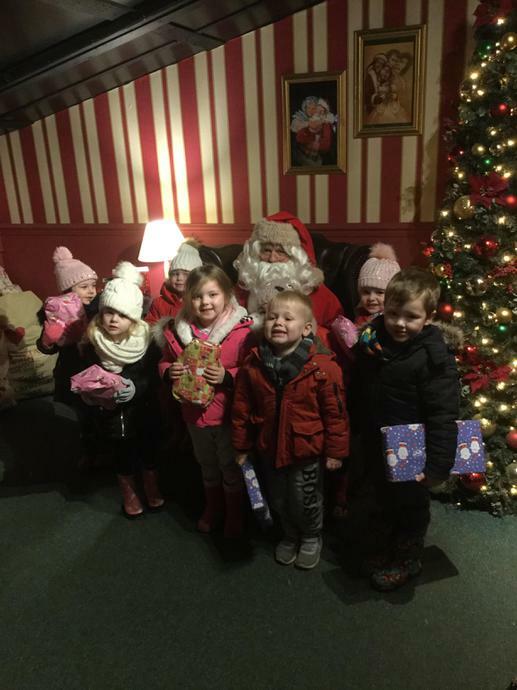 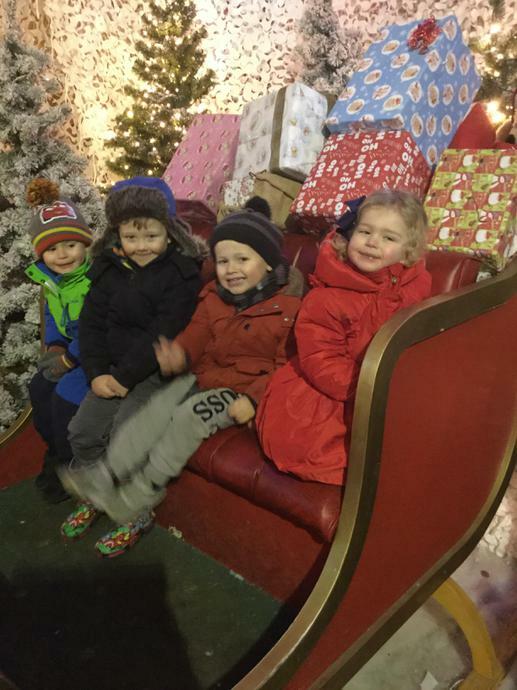 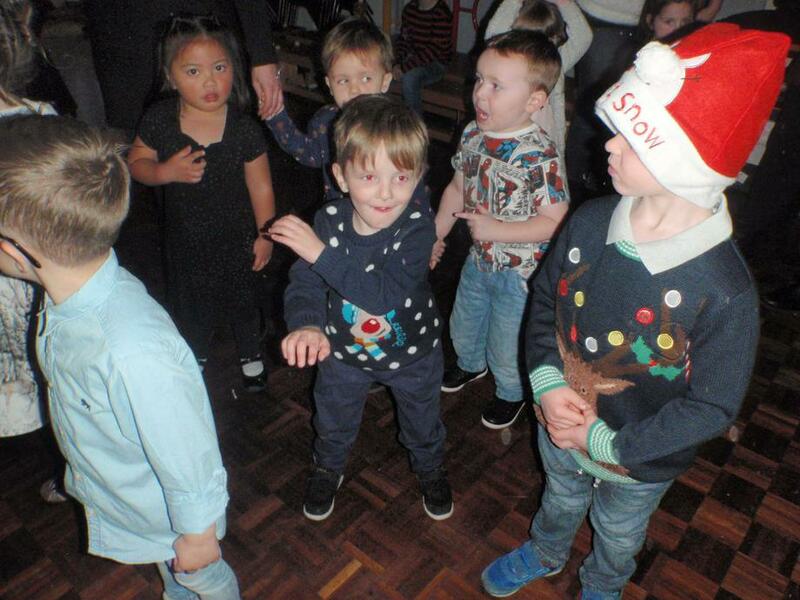 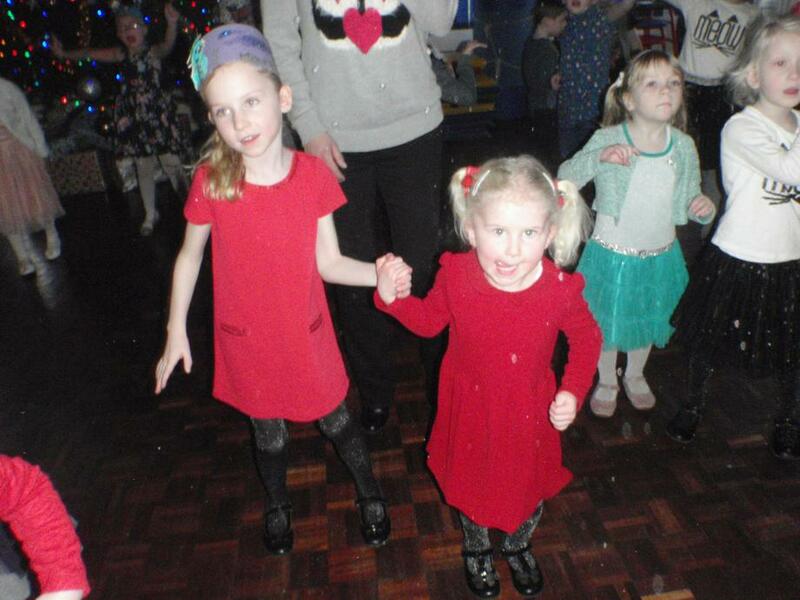 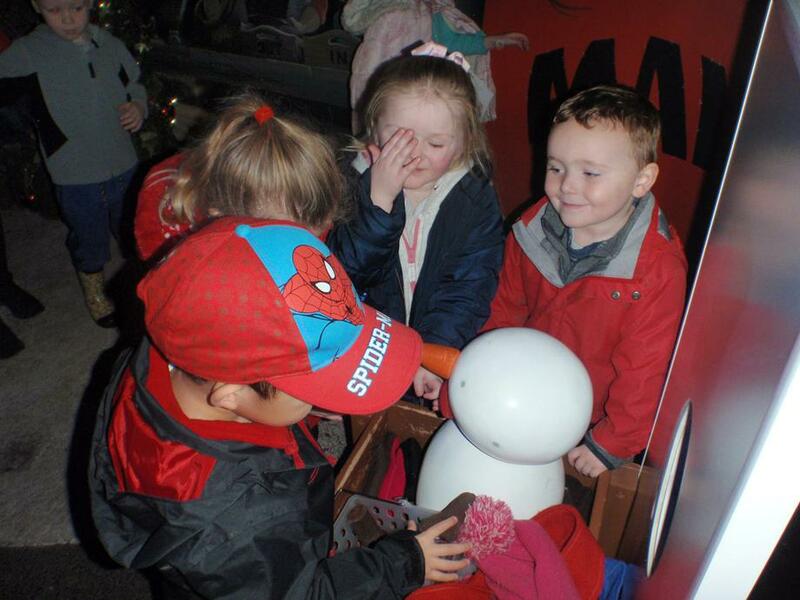 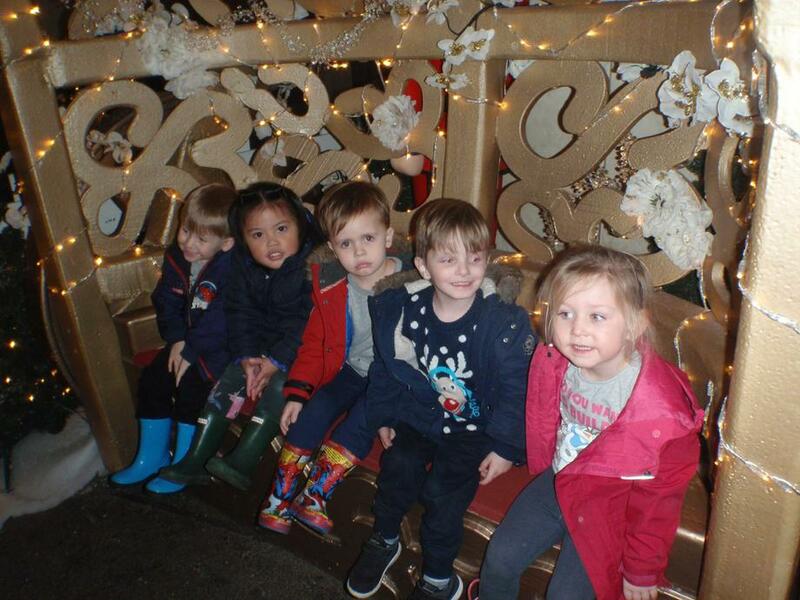 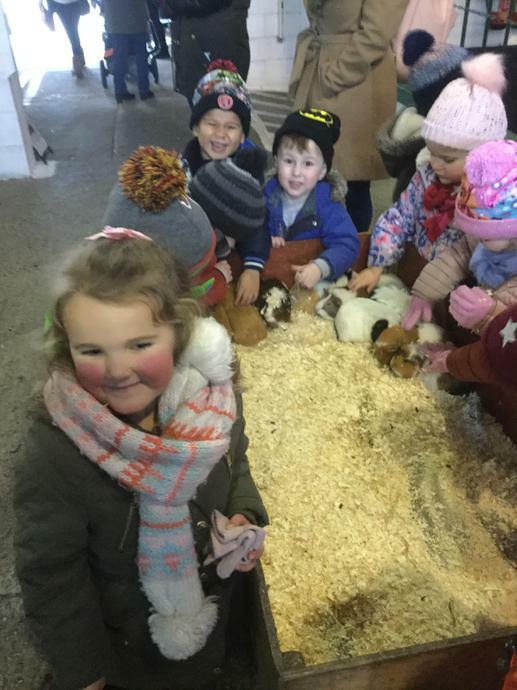 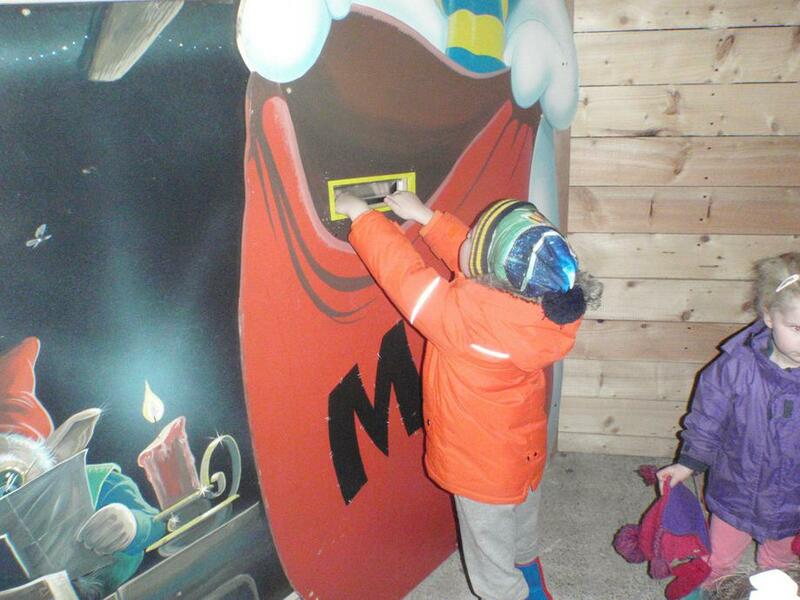 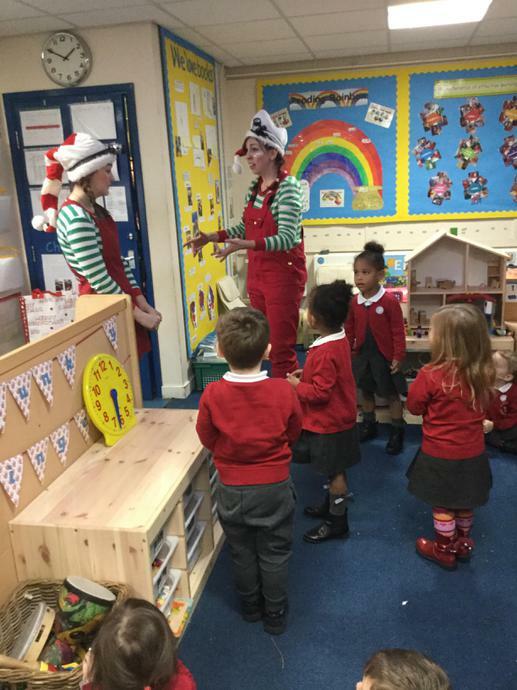 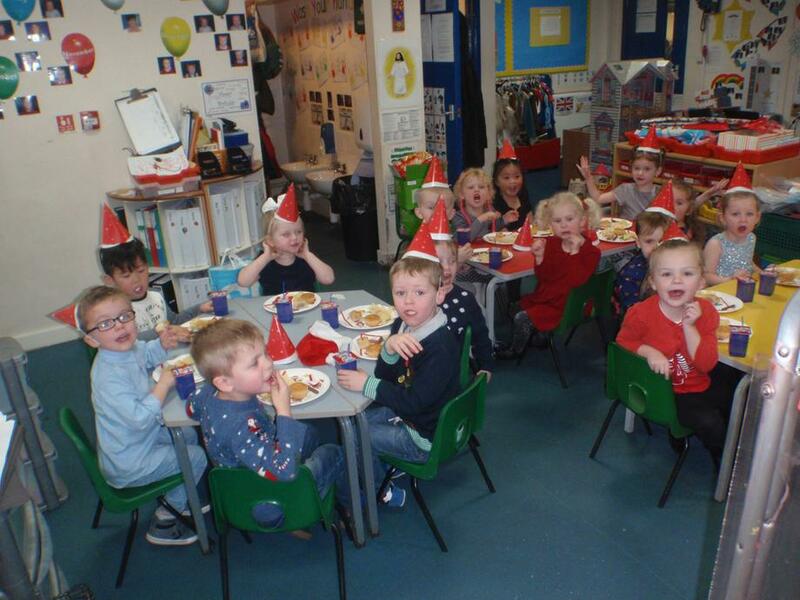 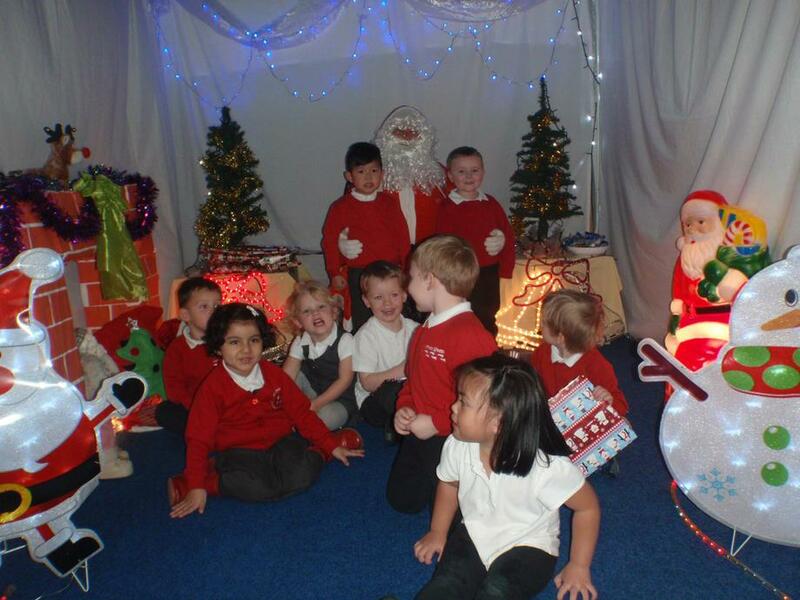 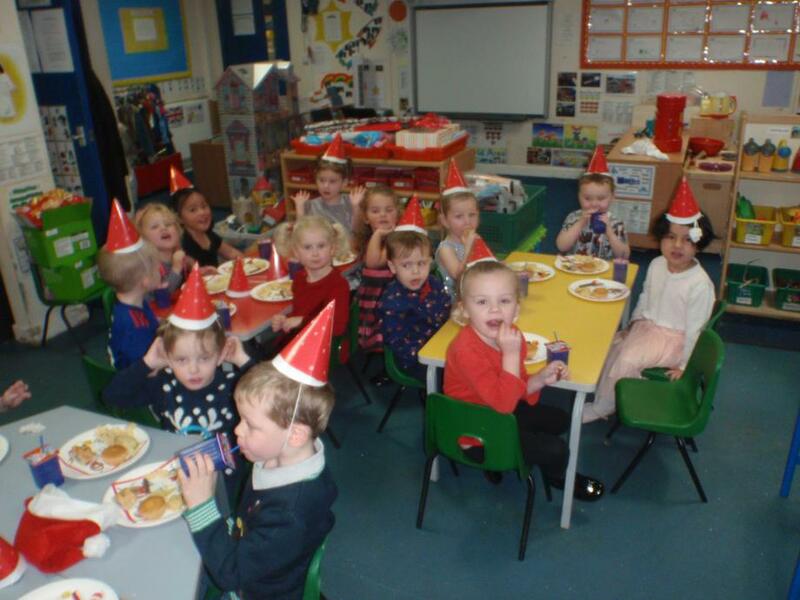 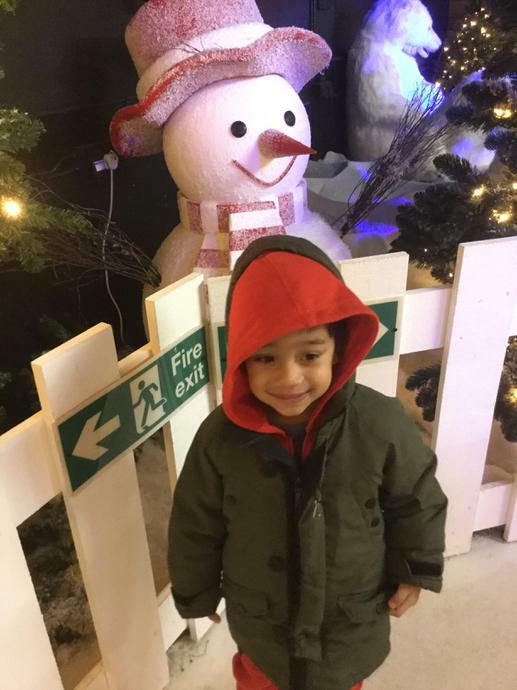 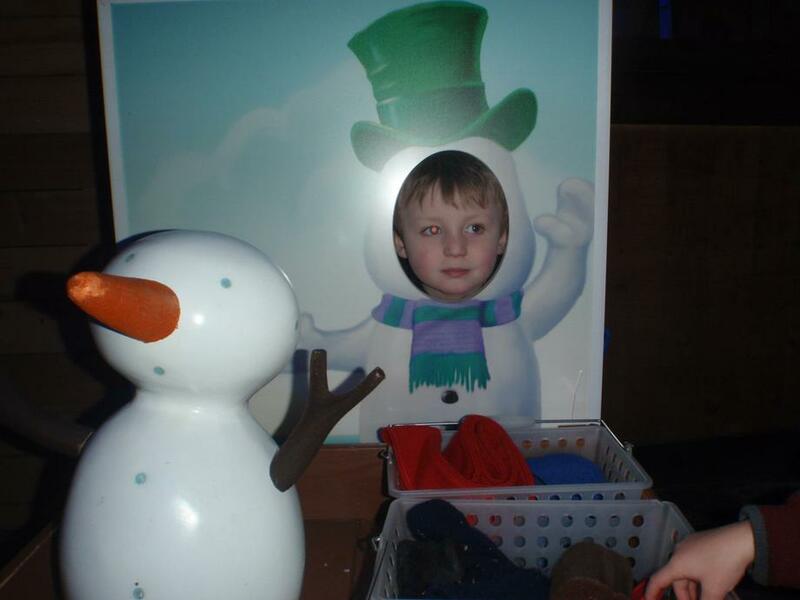 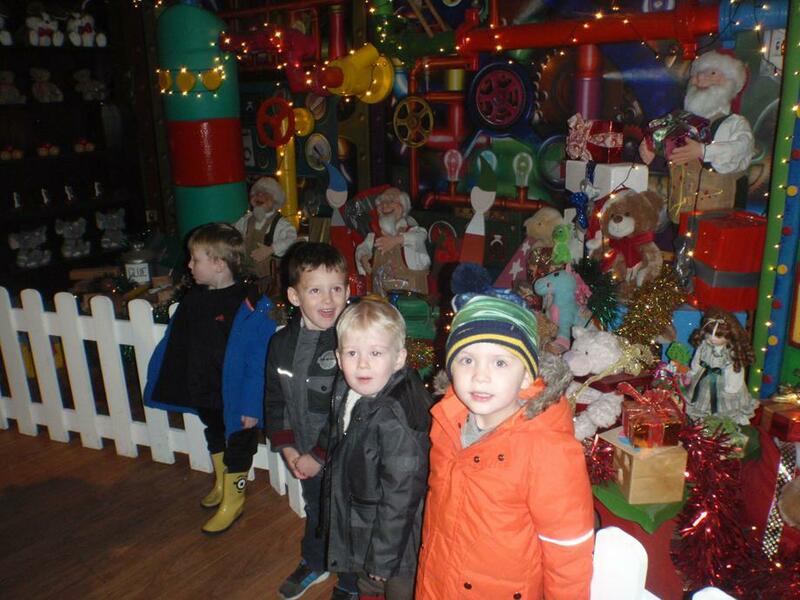 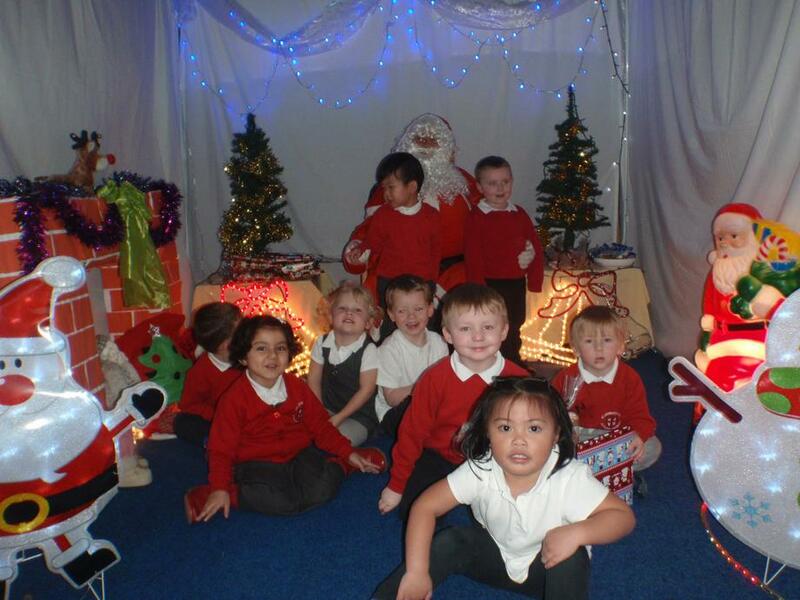 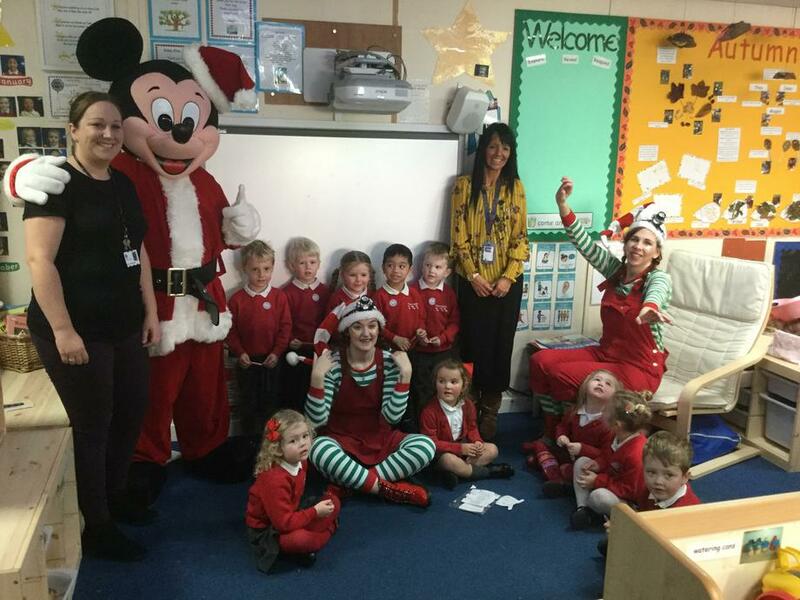 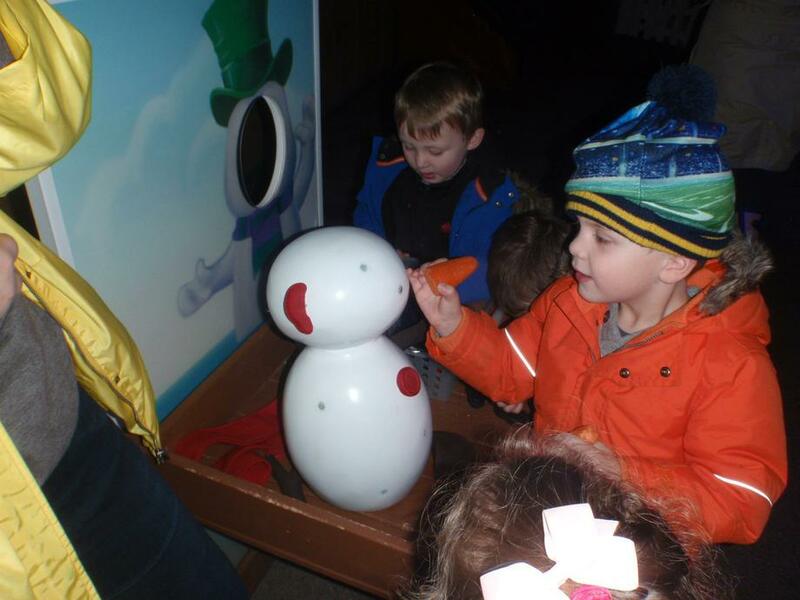 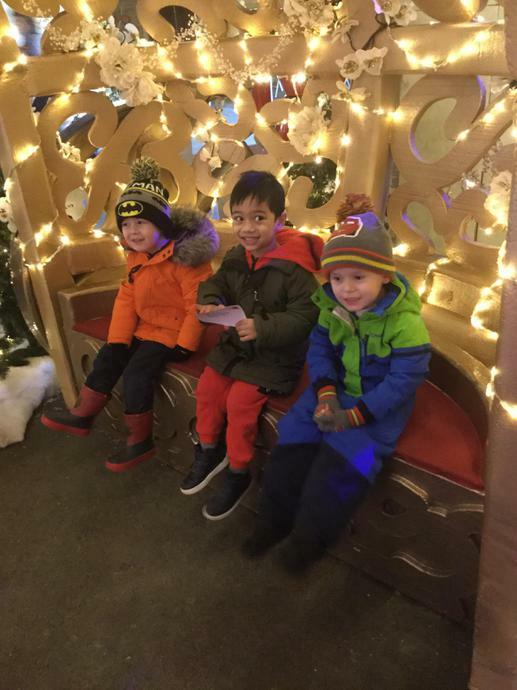 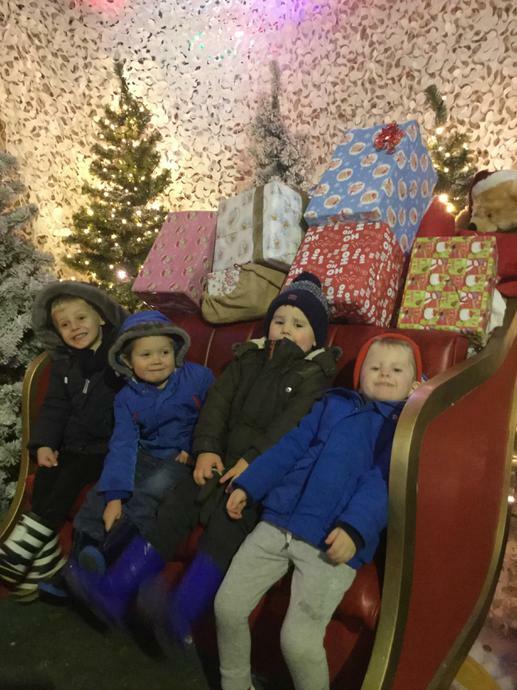 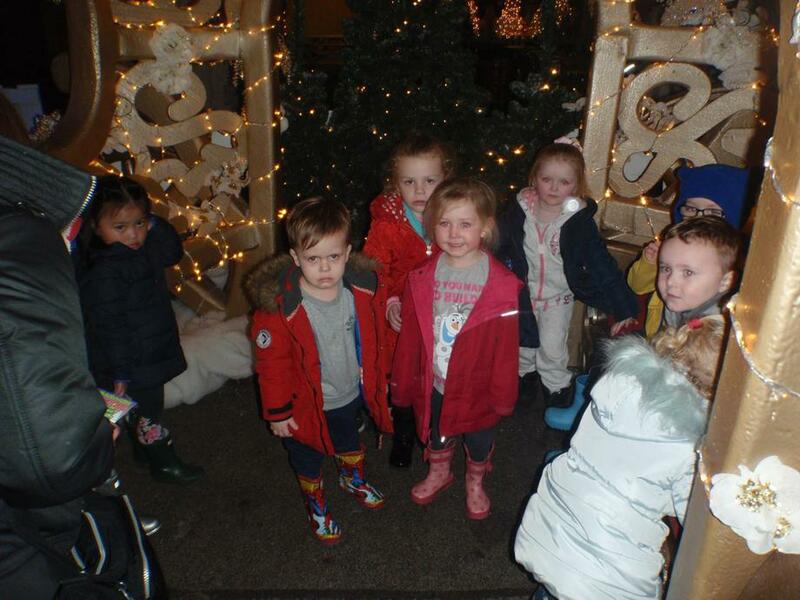 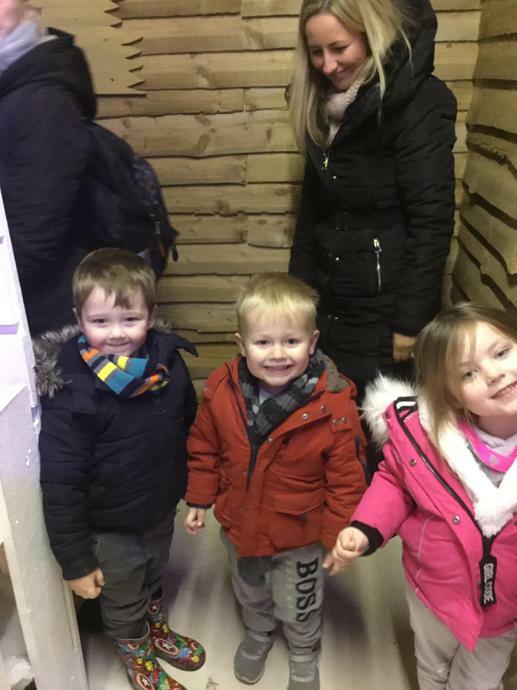 The children had a lovely time celebrating Christmas. 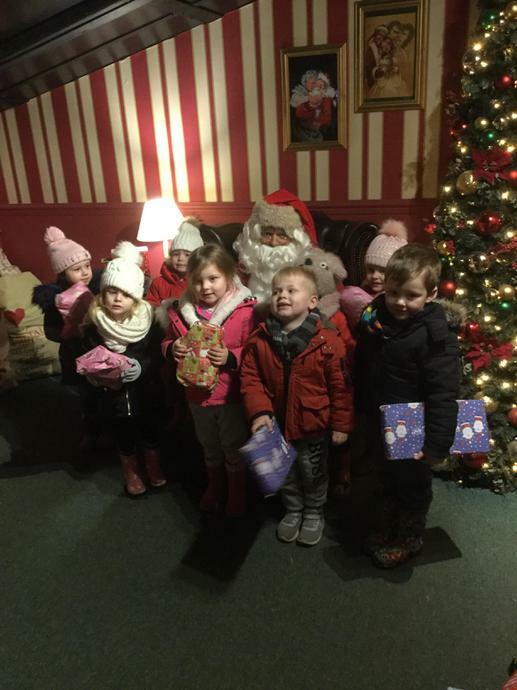 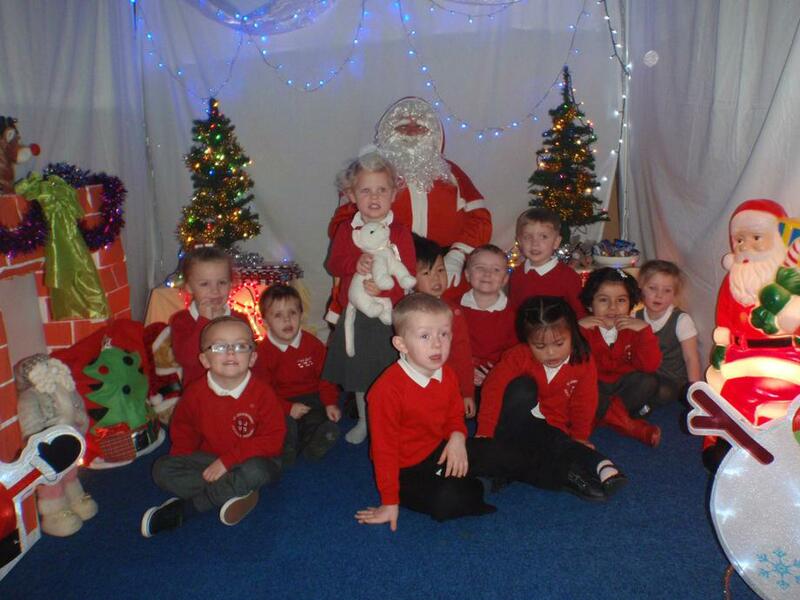 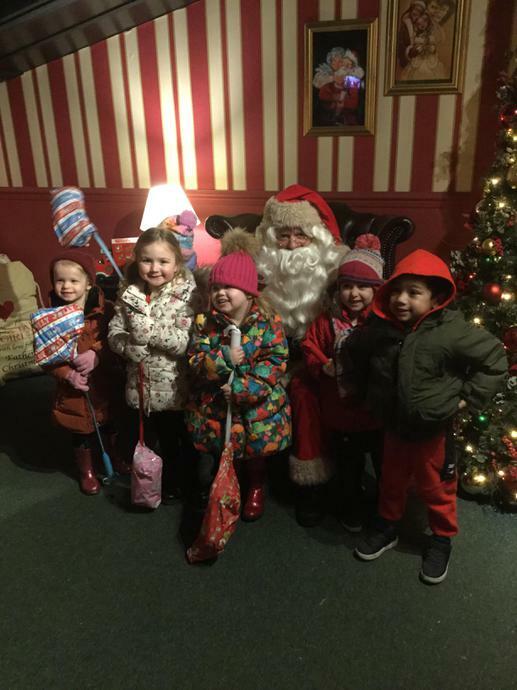 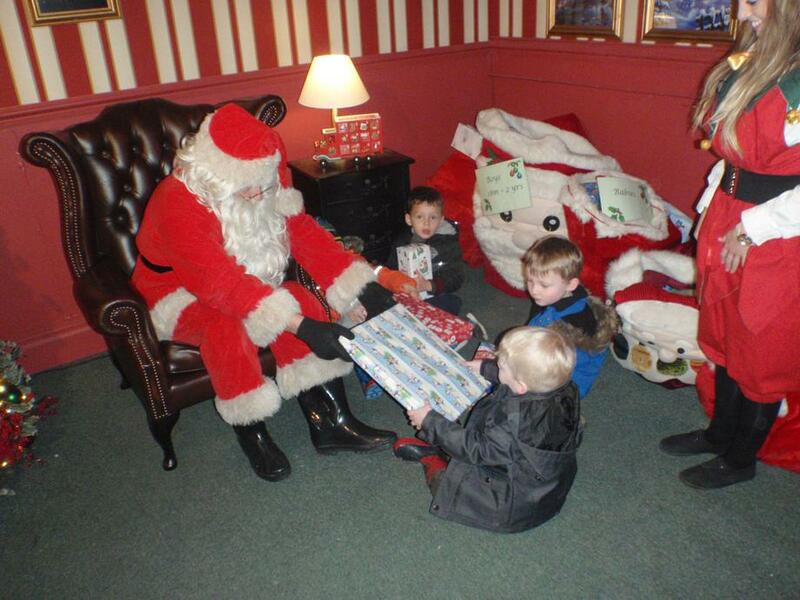 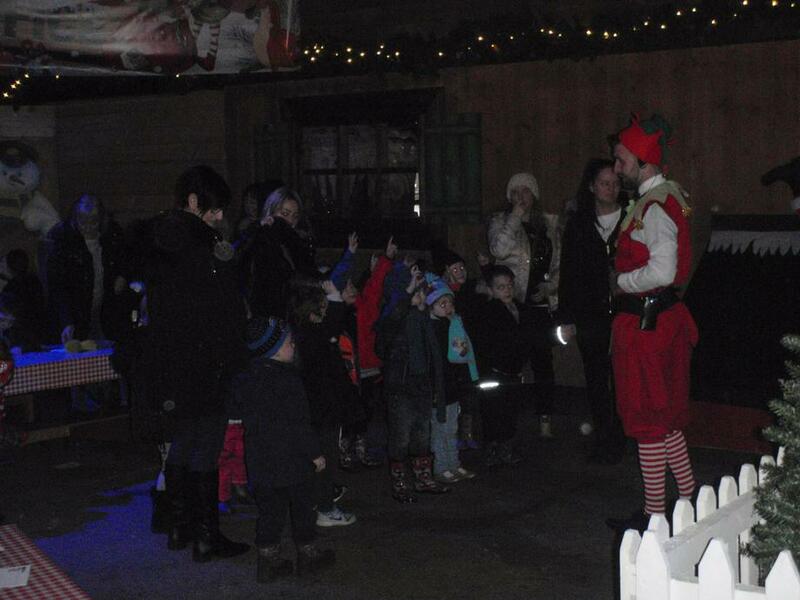 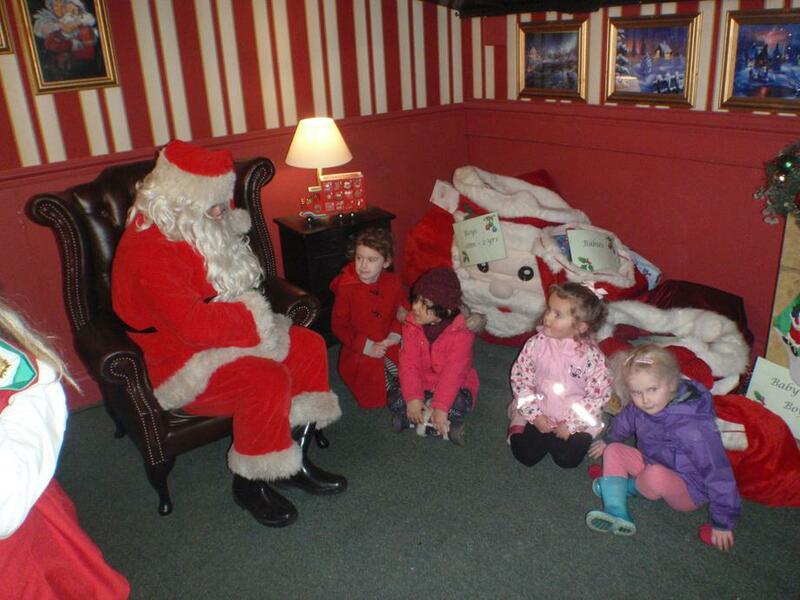 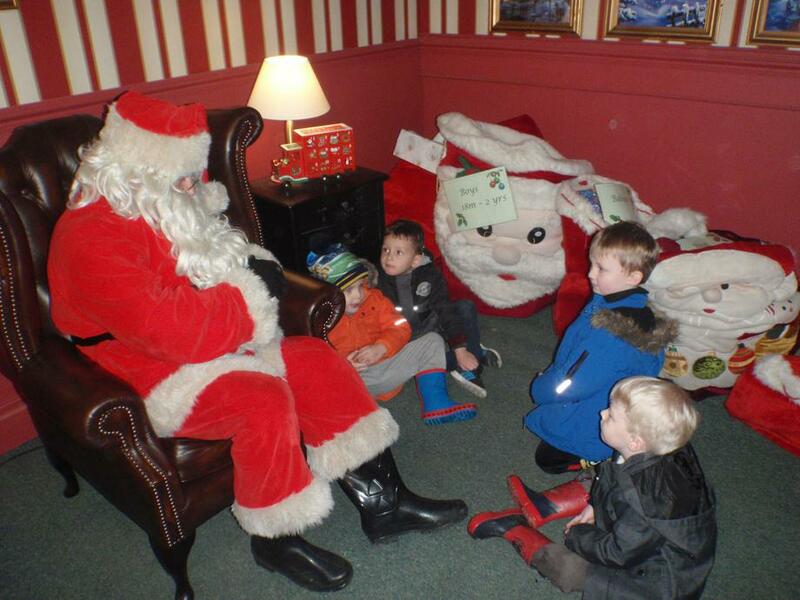 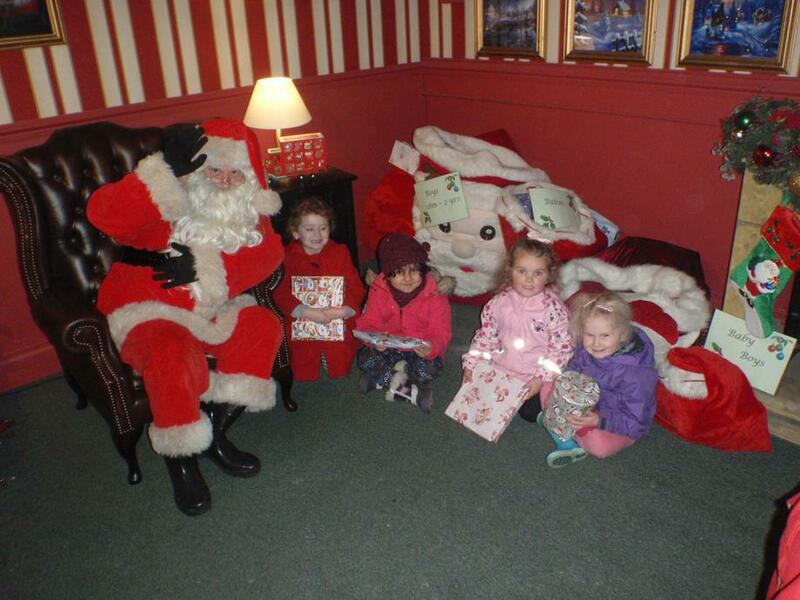 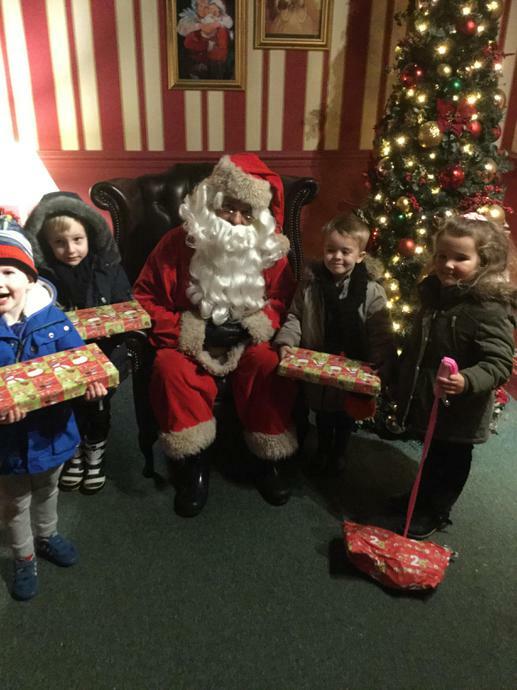 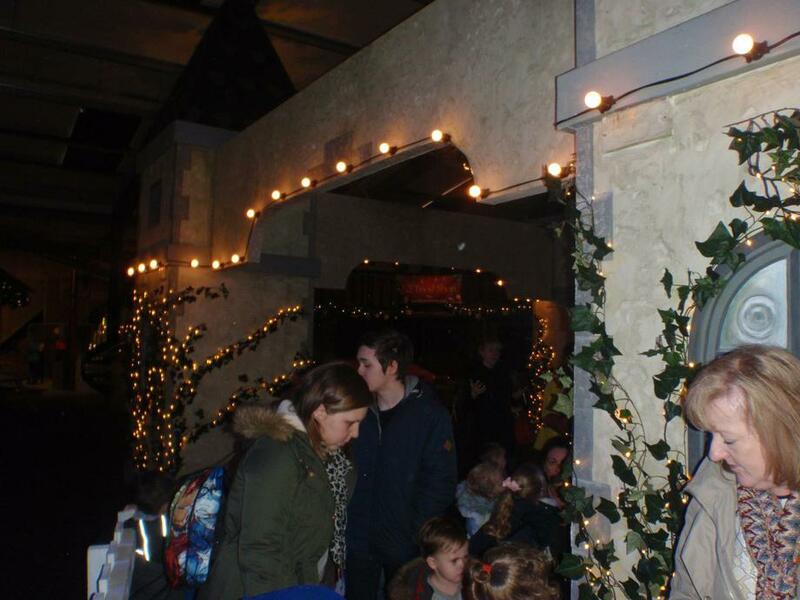 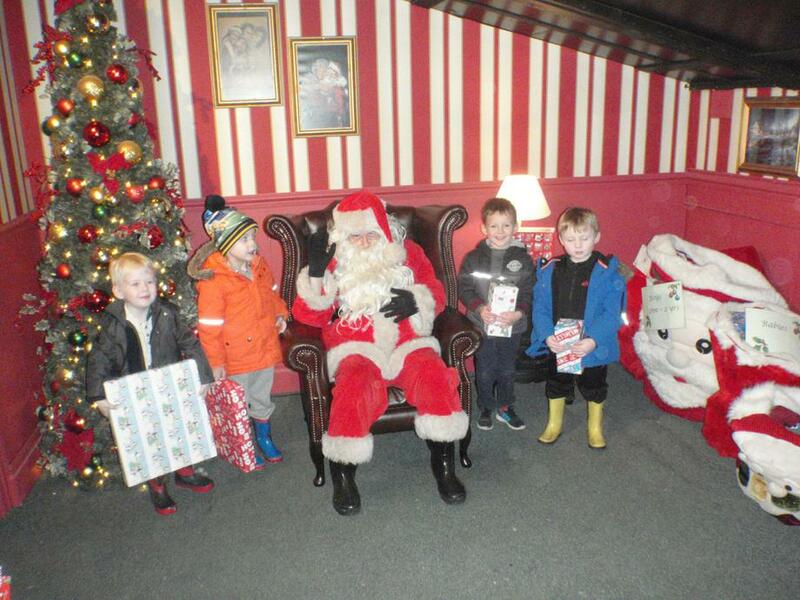 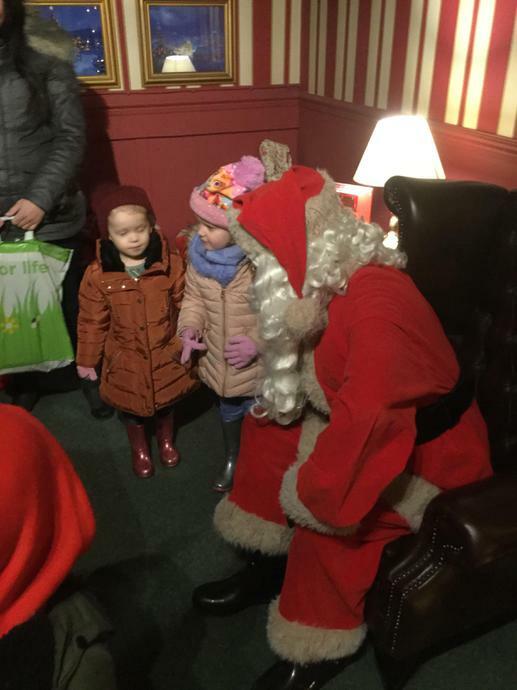 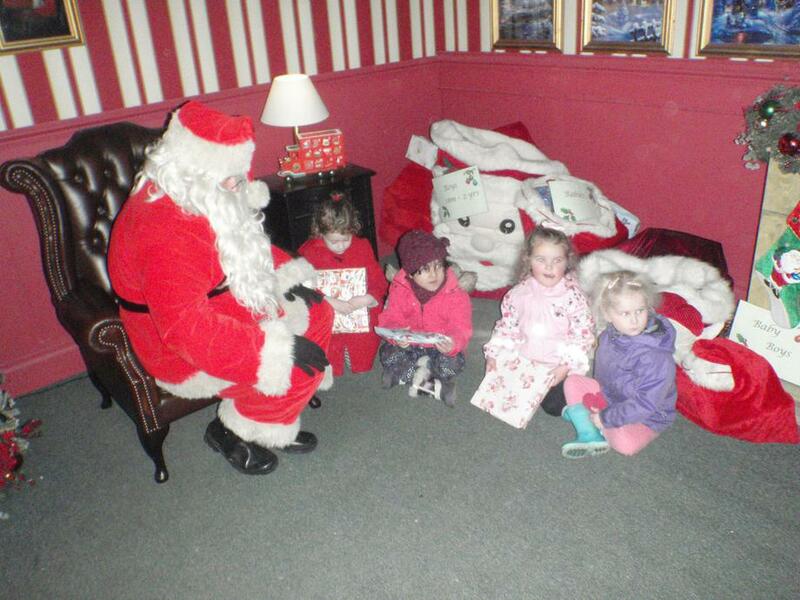 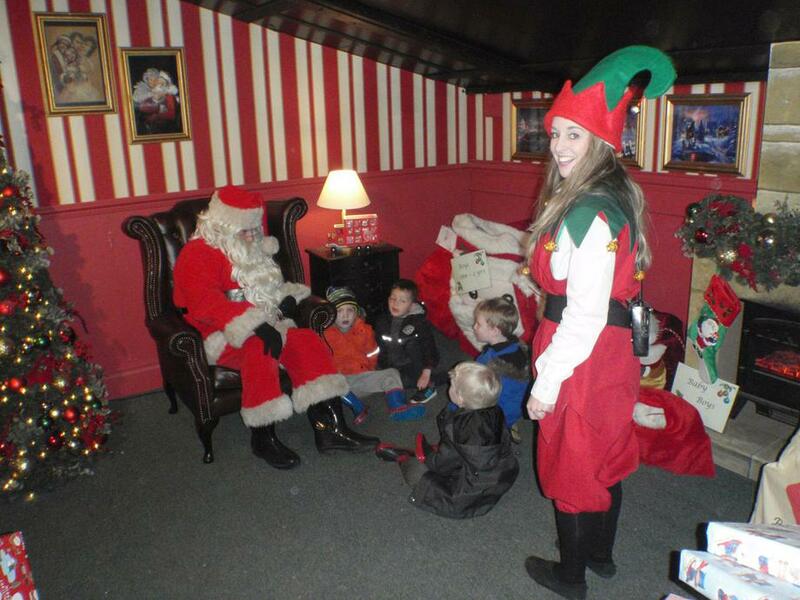 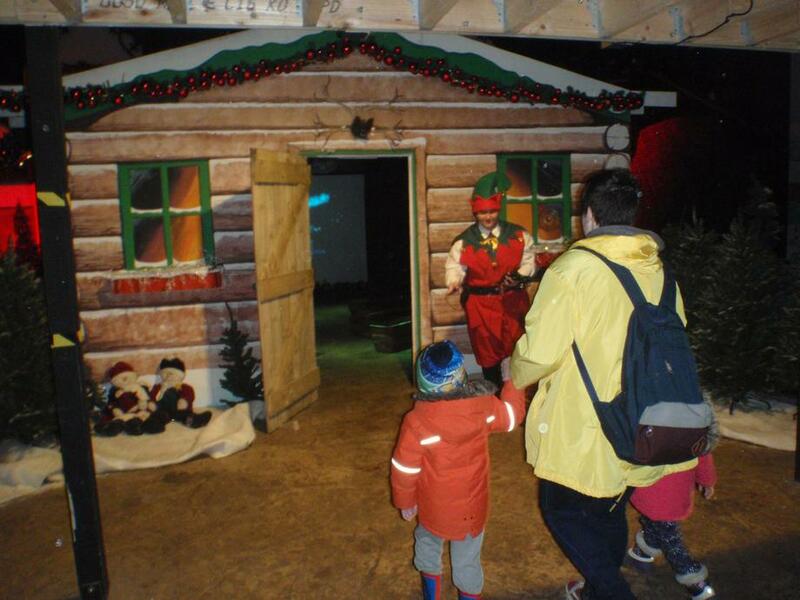 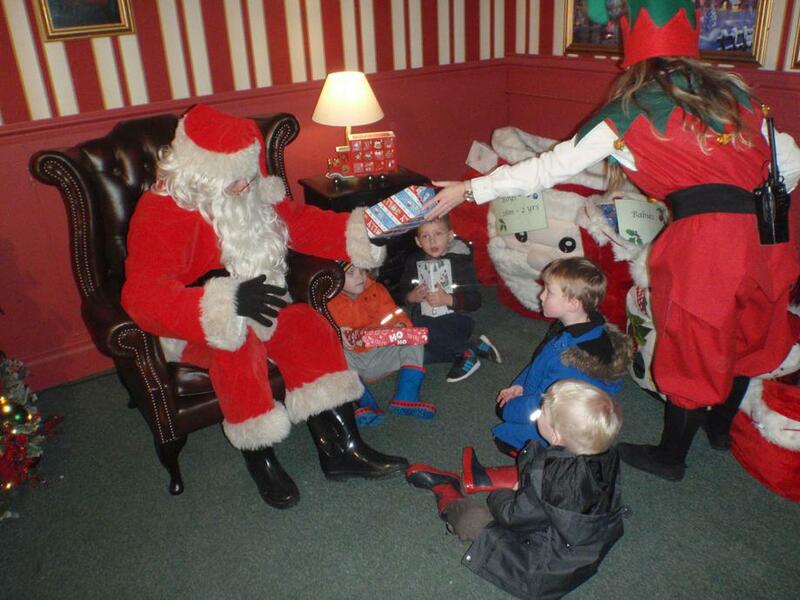 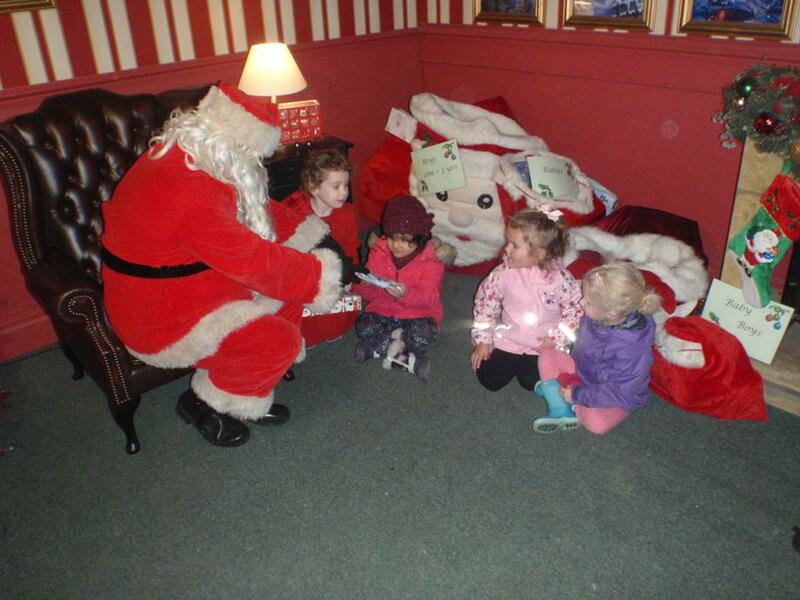 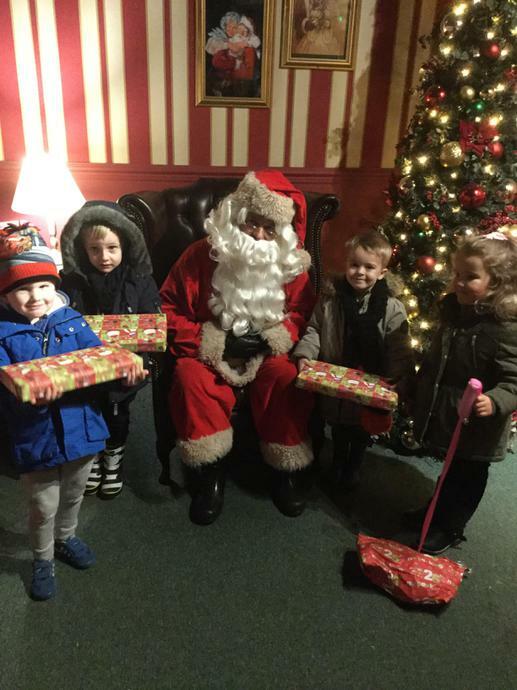 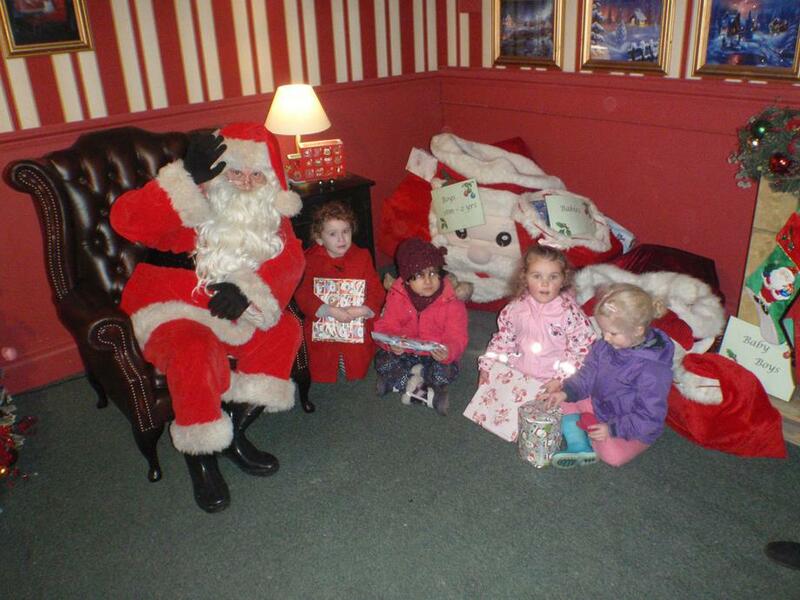 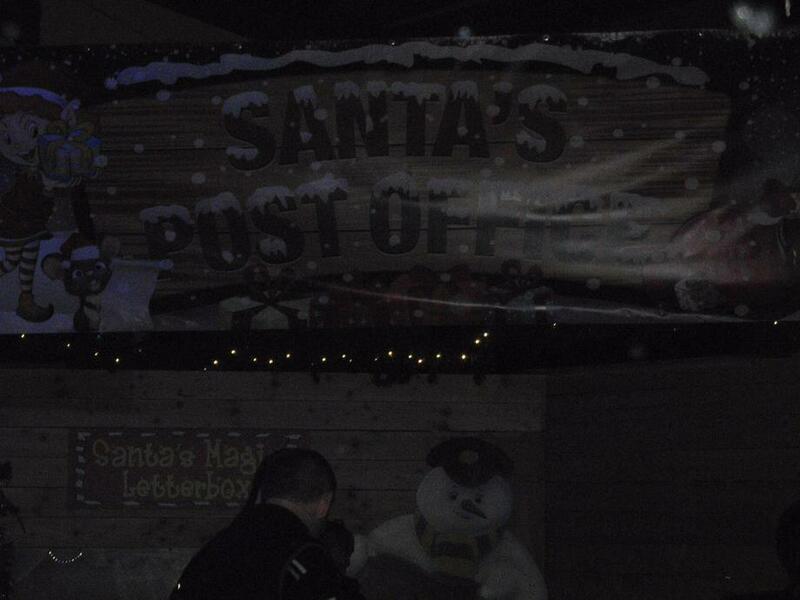 Enjoying a visit from Father Christmas and his elves, a Christmas party with disco and a fantastic trip to Farmer Teds. 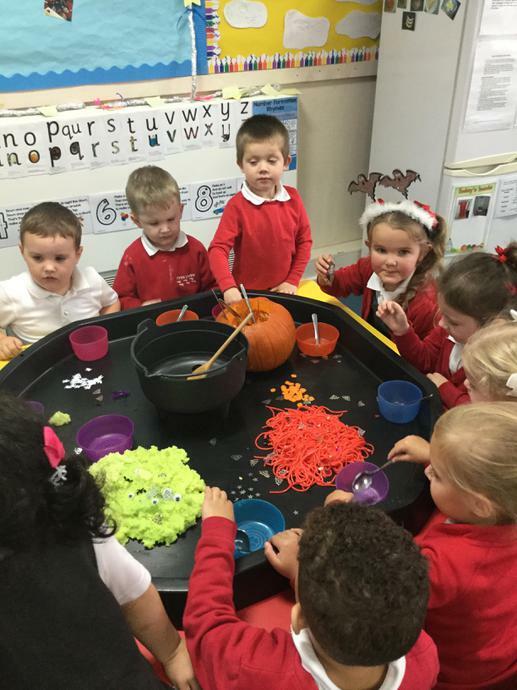 Room on a Broom was a popular story in First Steps around halloween. 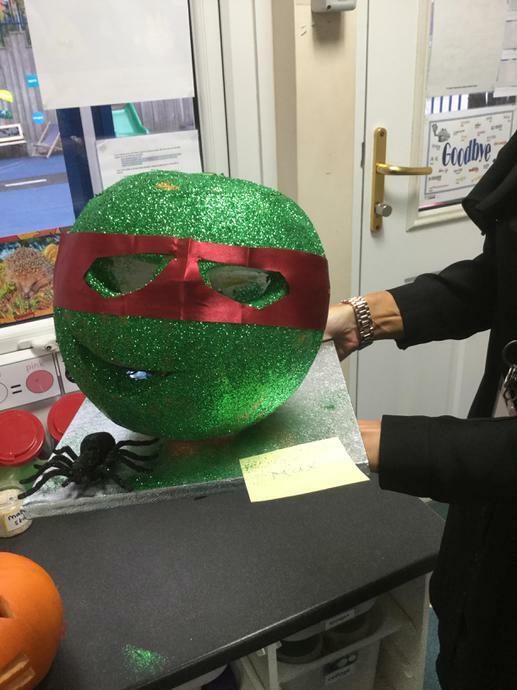 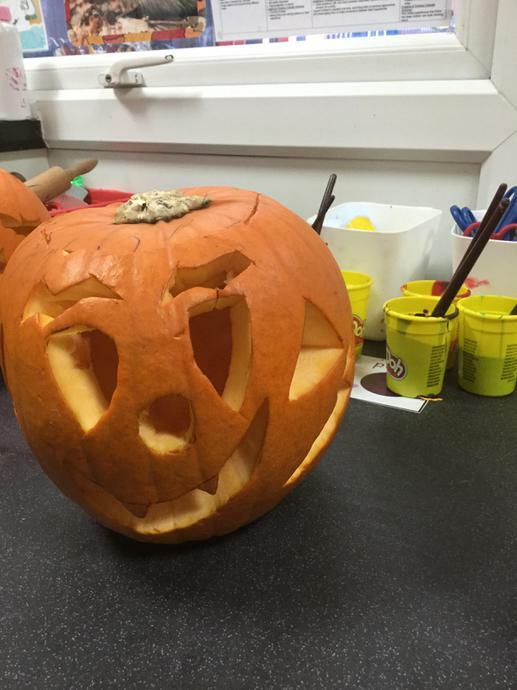 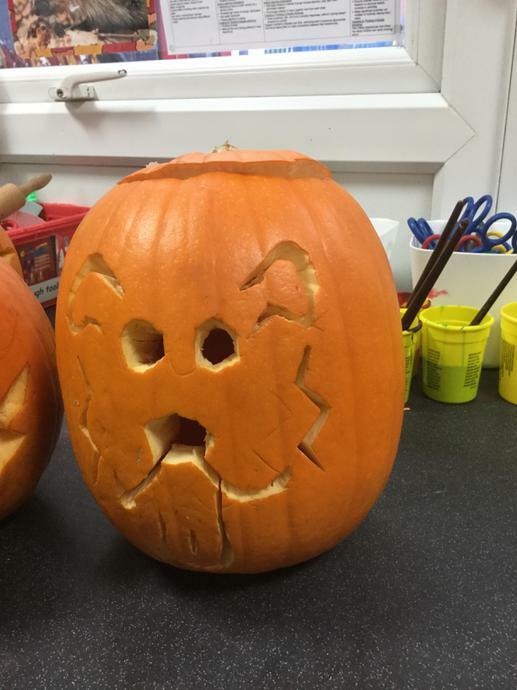 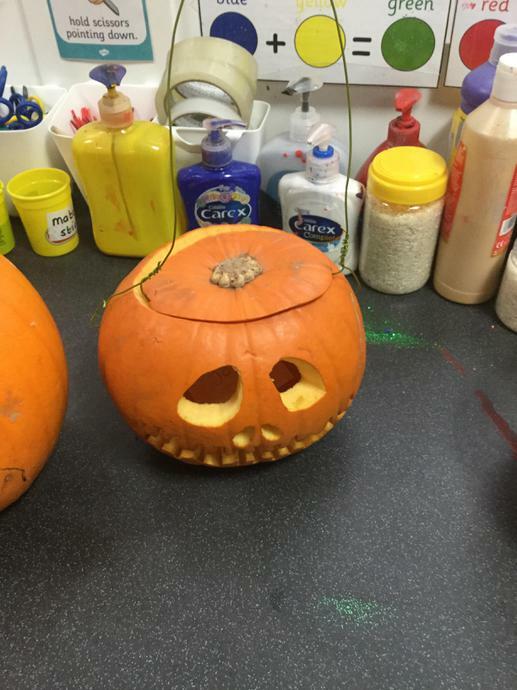 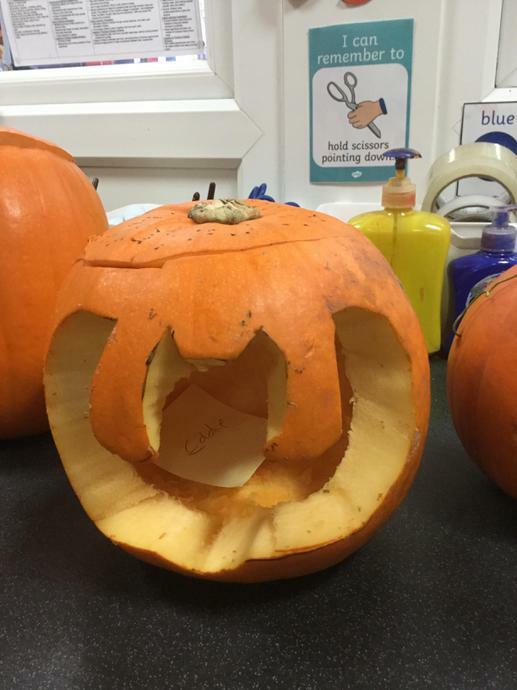 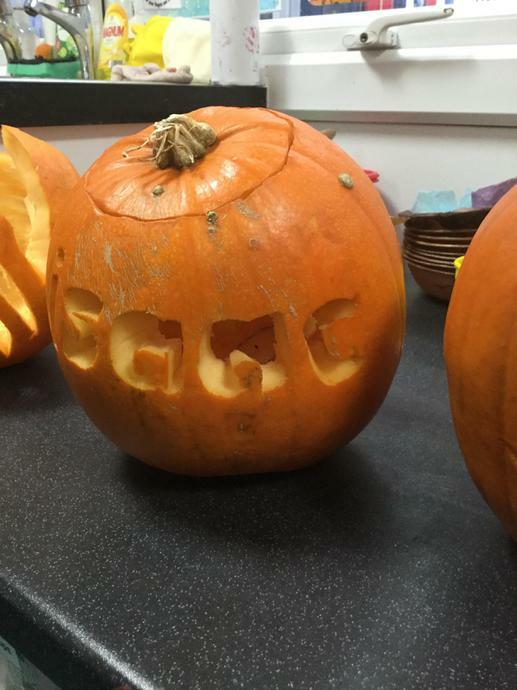 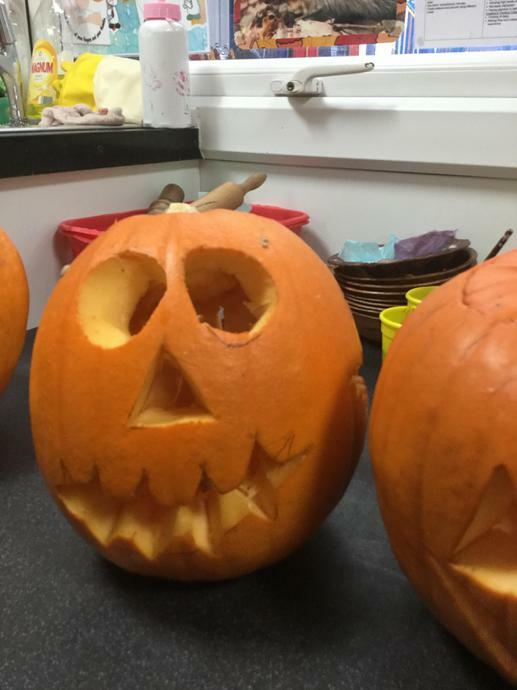 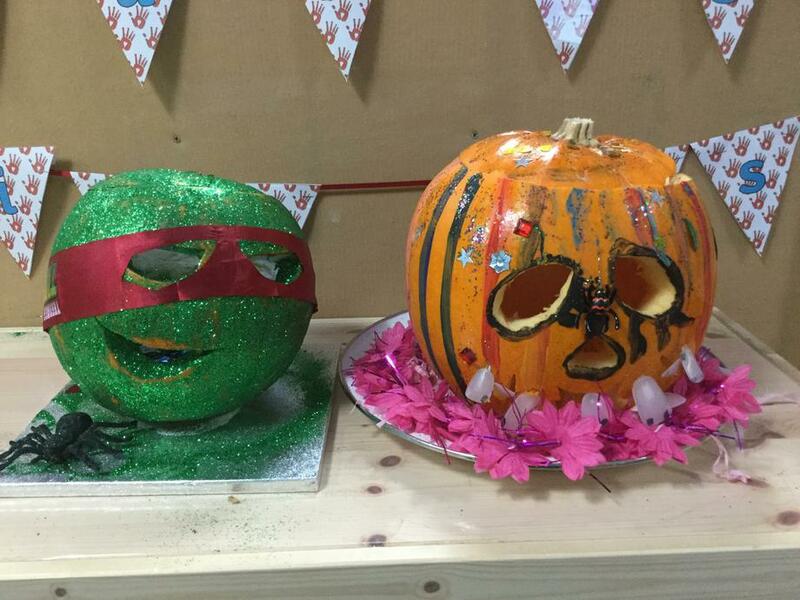 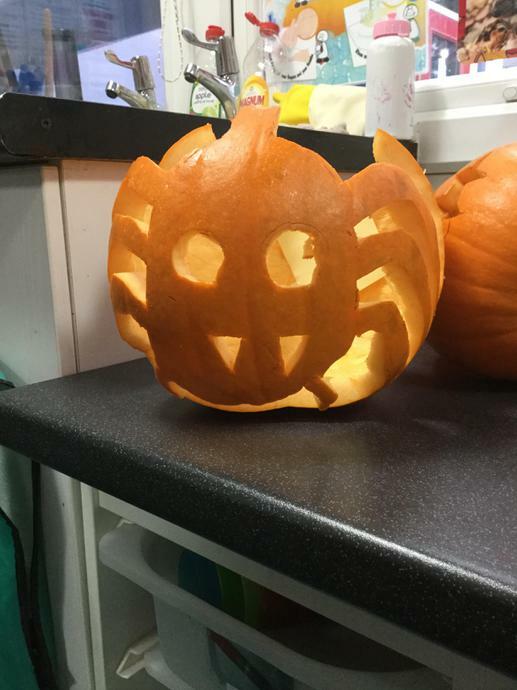 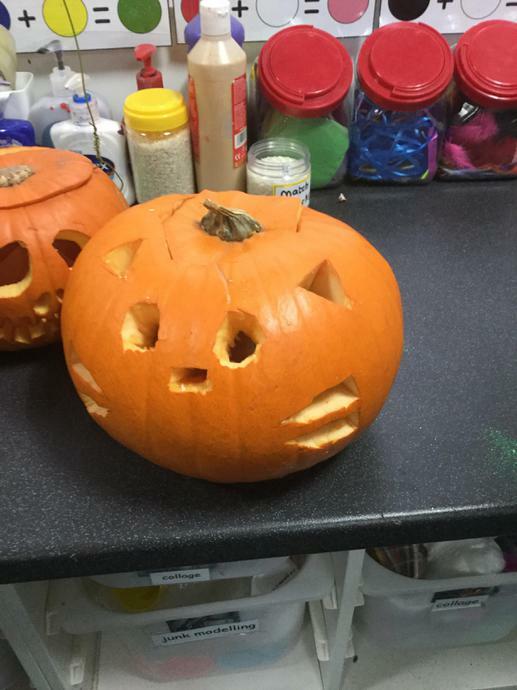 We also took part in a spooky sponsored walk and a pumpkin competition. 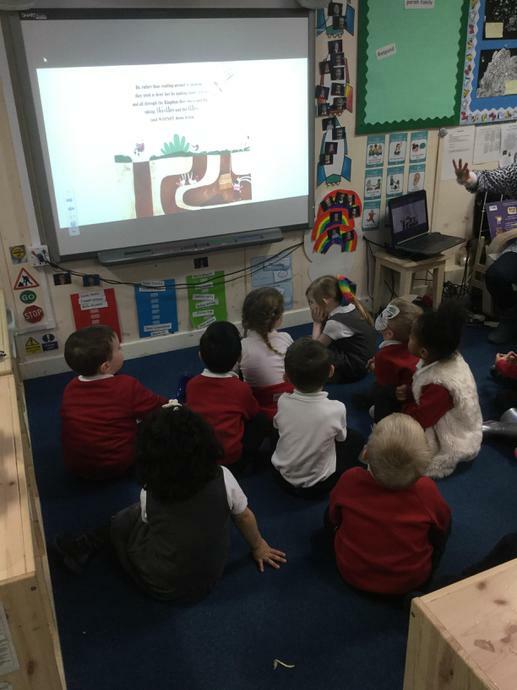 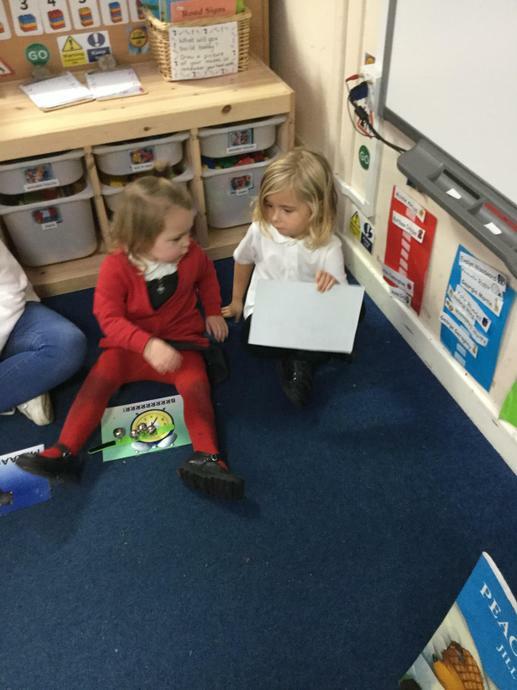 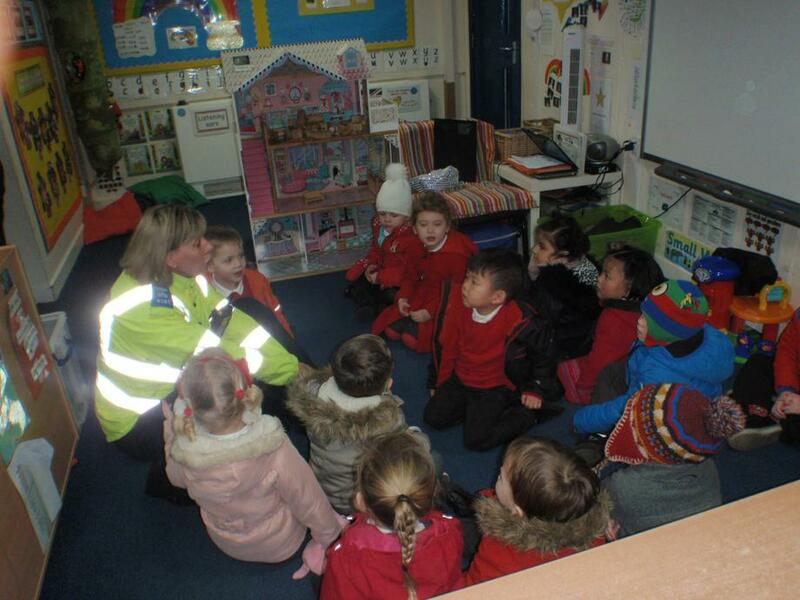 The children enjoyed listening to the story Peace at Last so we planned a topic around the book to follow the childrens interest. 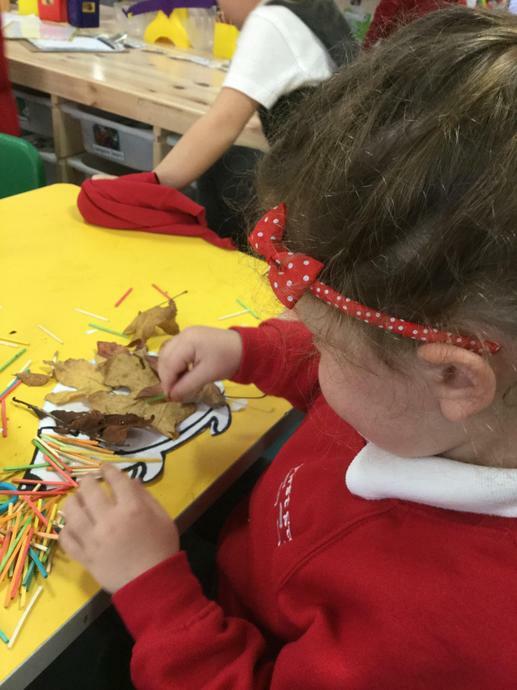 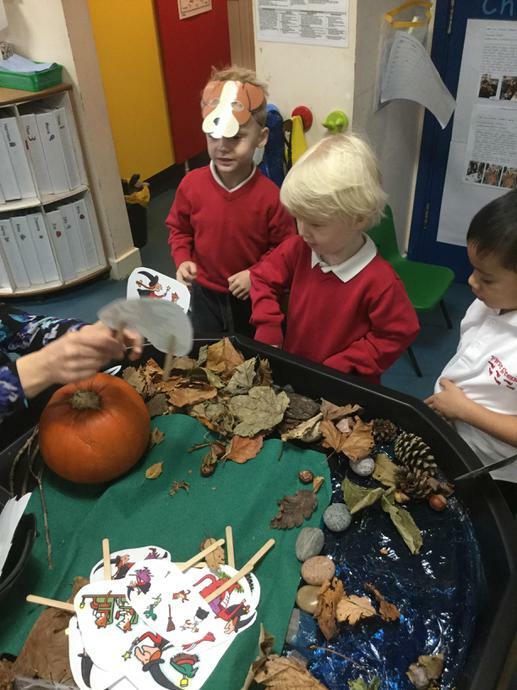 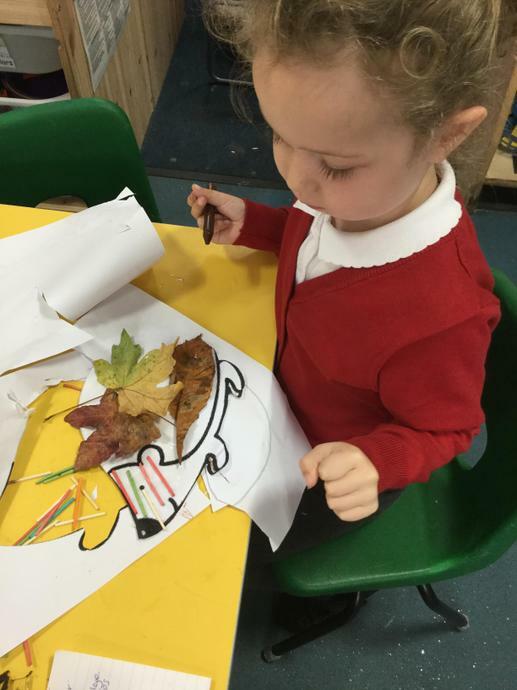 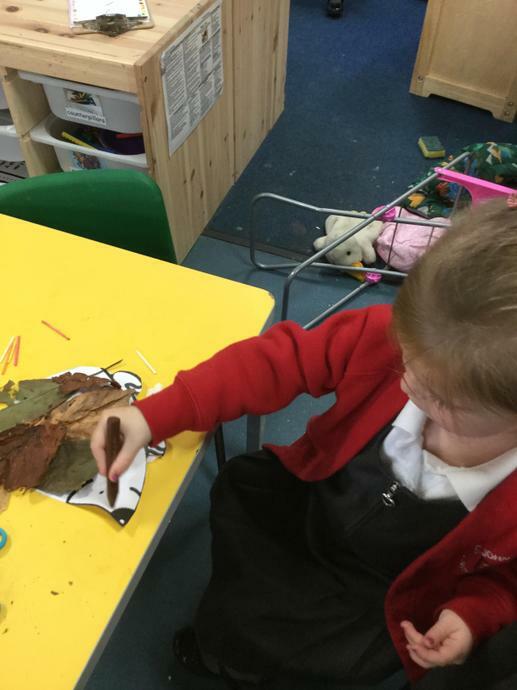 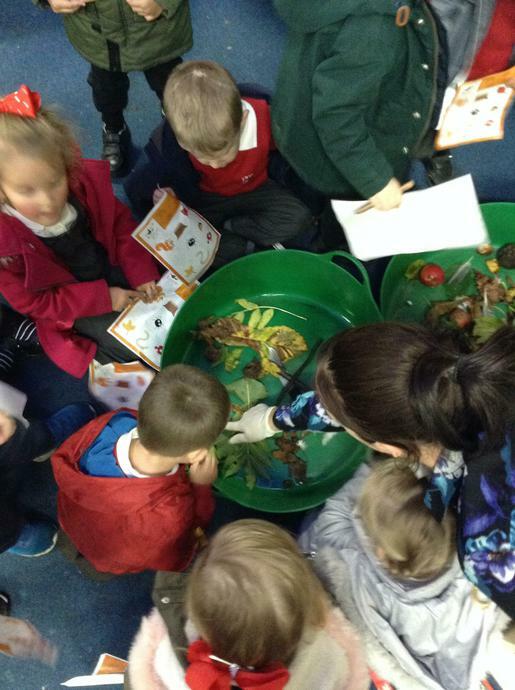 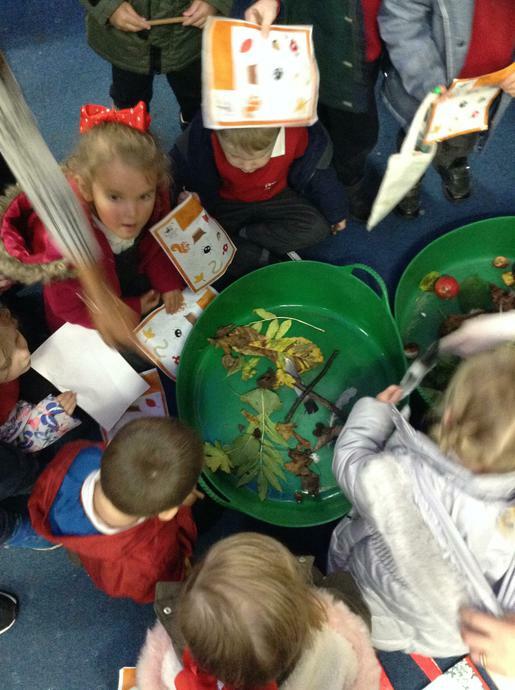 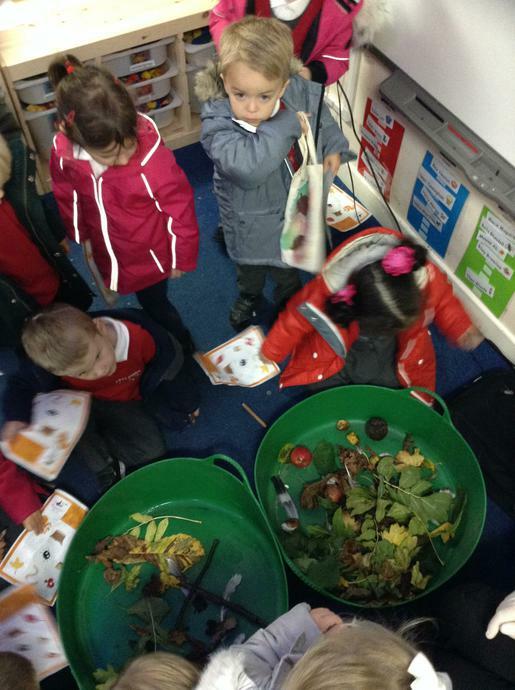 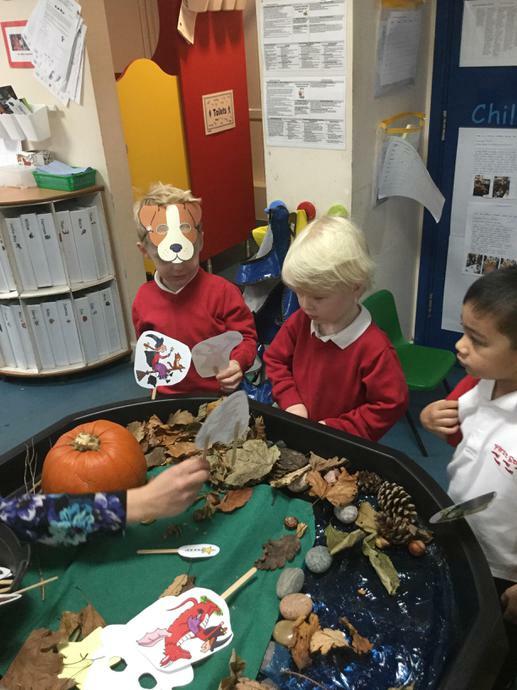 As the season changes we have been learning all about Autumn. 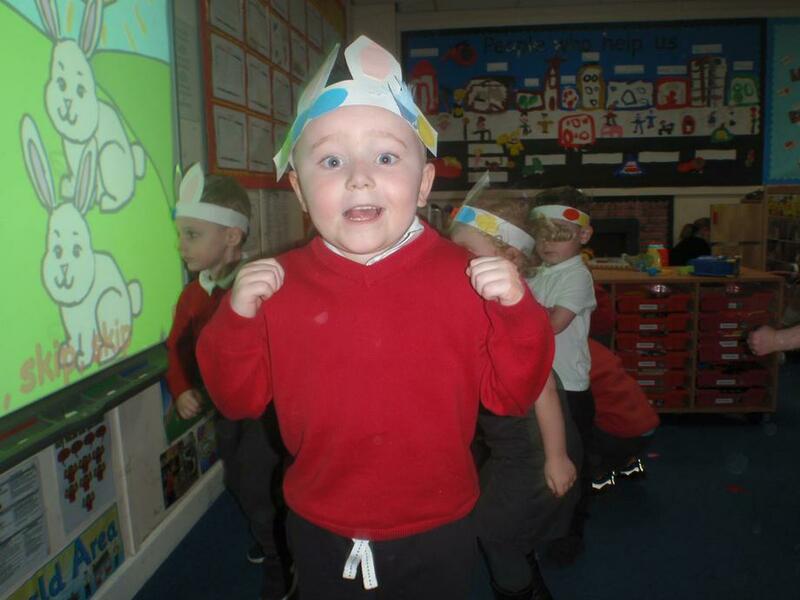 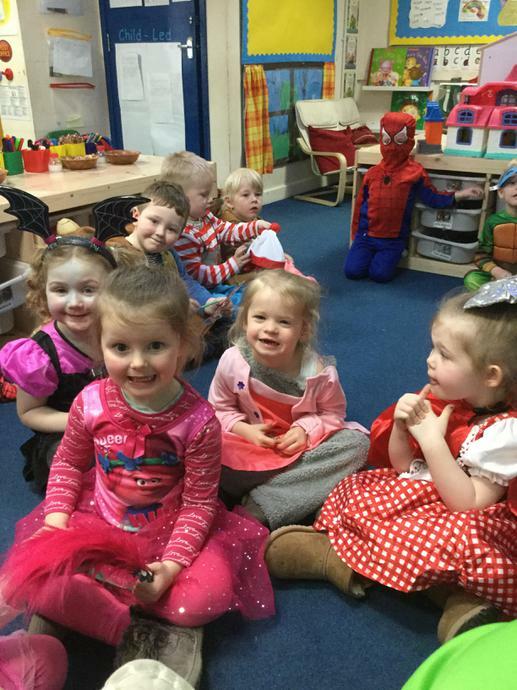 Click on the link below to view the fun we had in First Steps during book week March 2017.